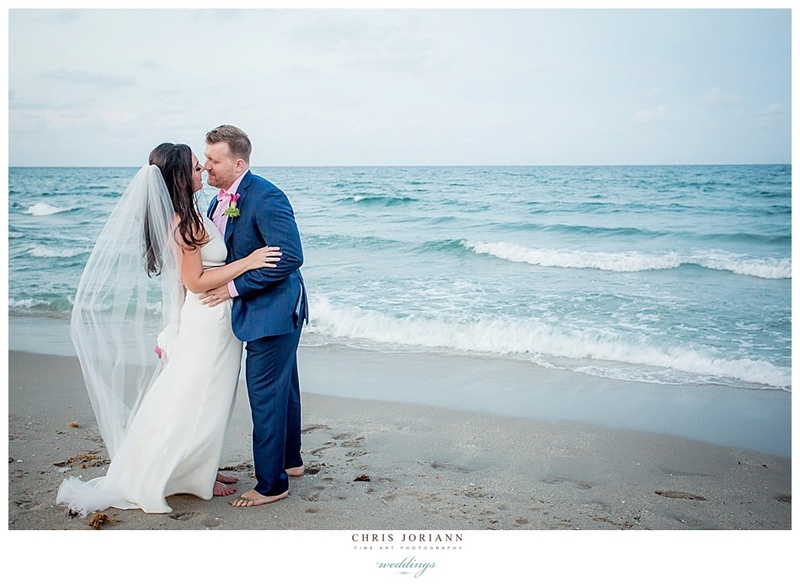 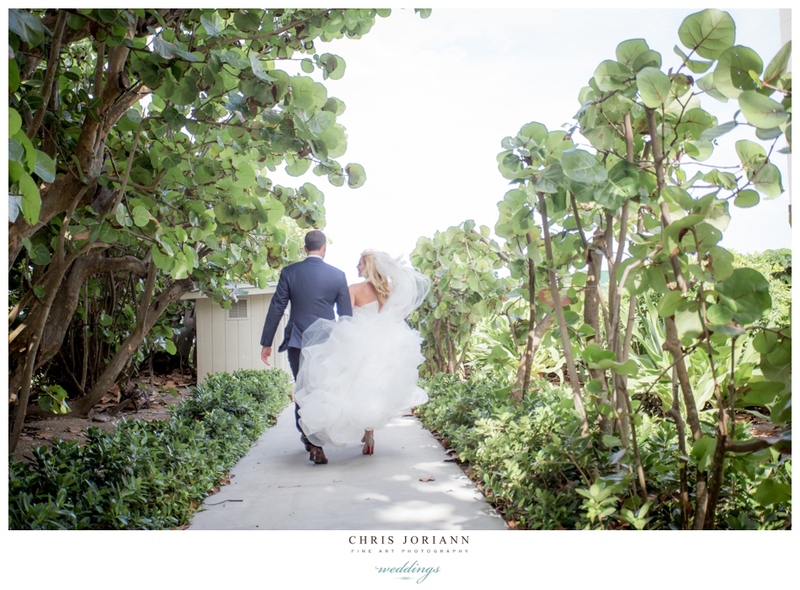 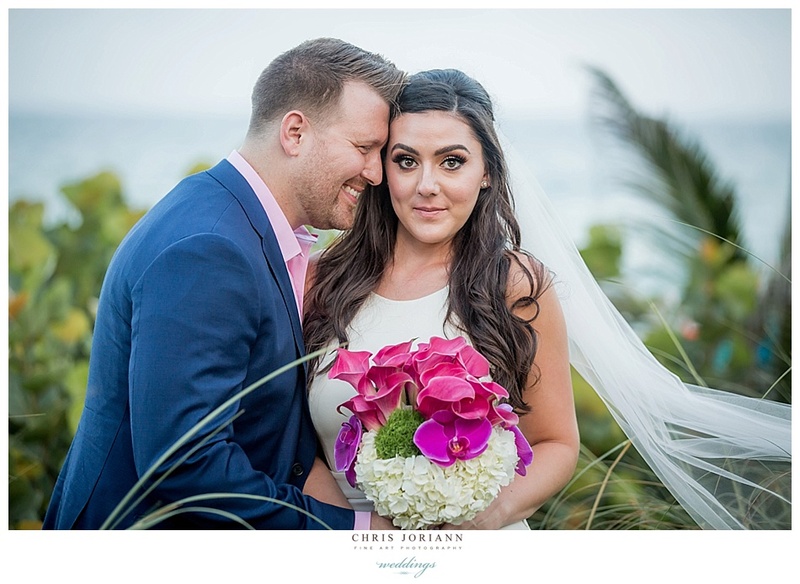 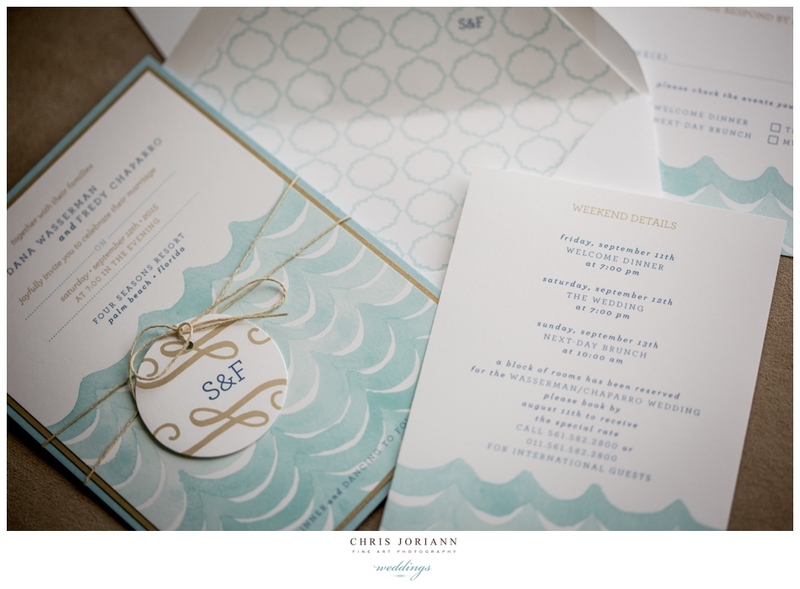 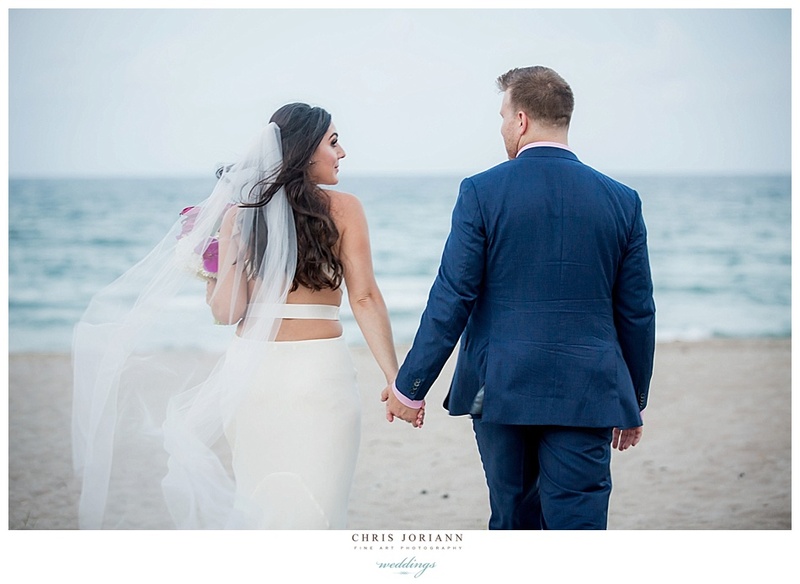 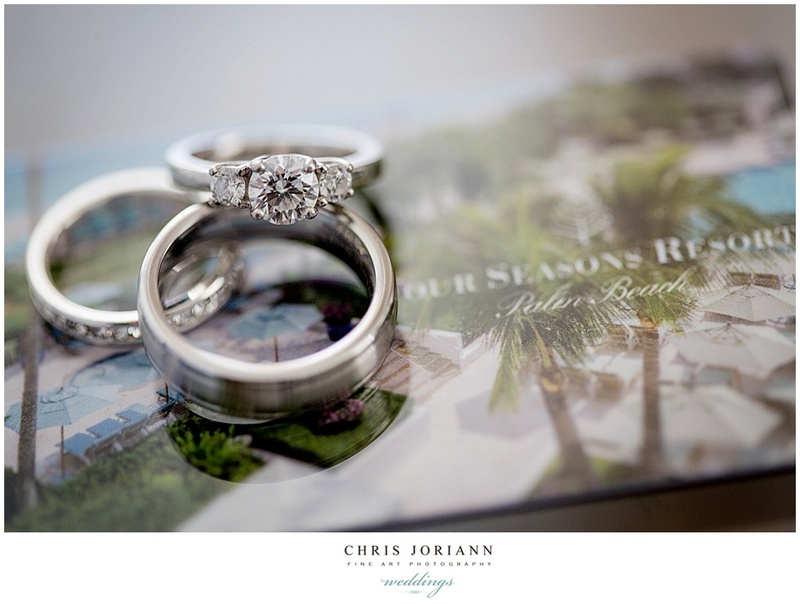 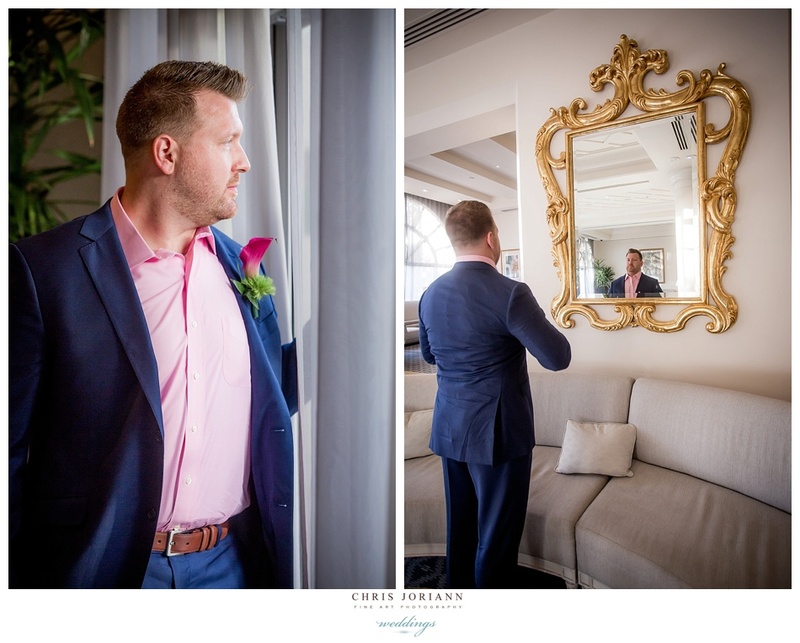 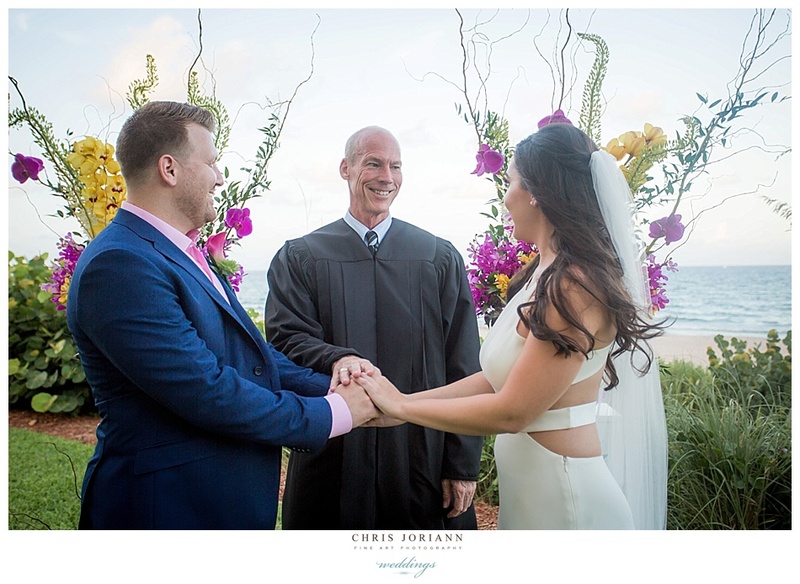 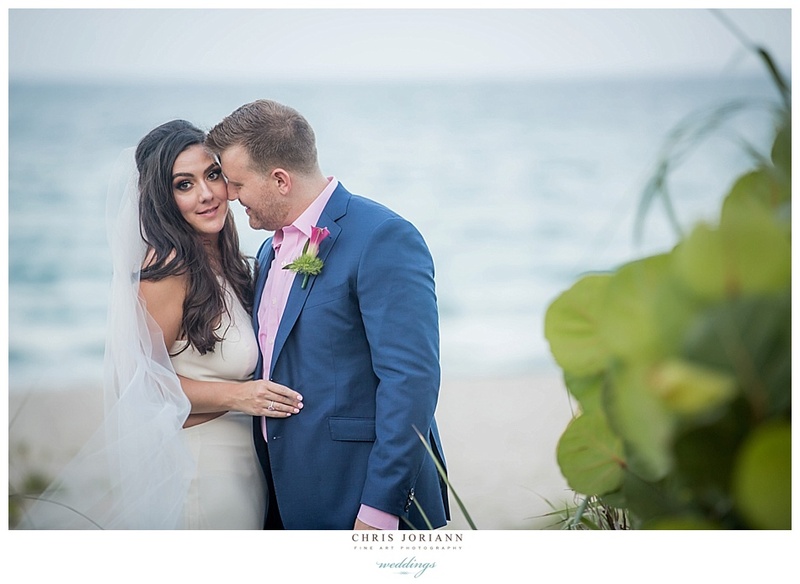 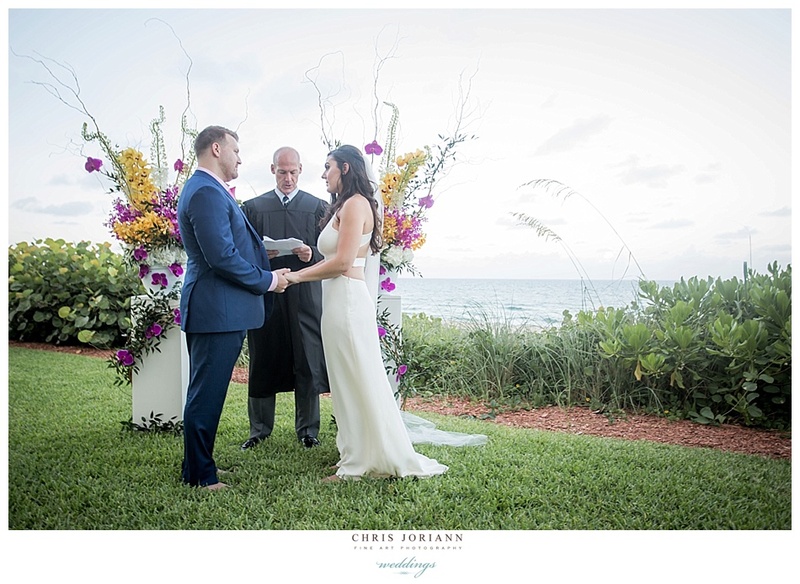 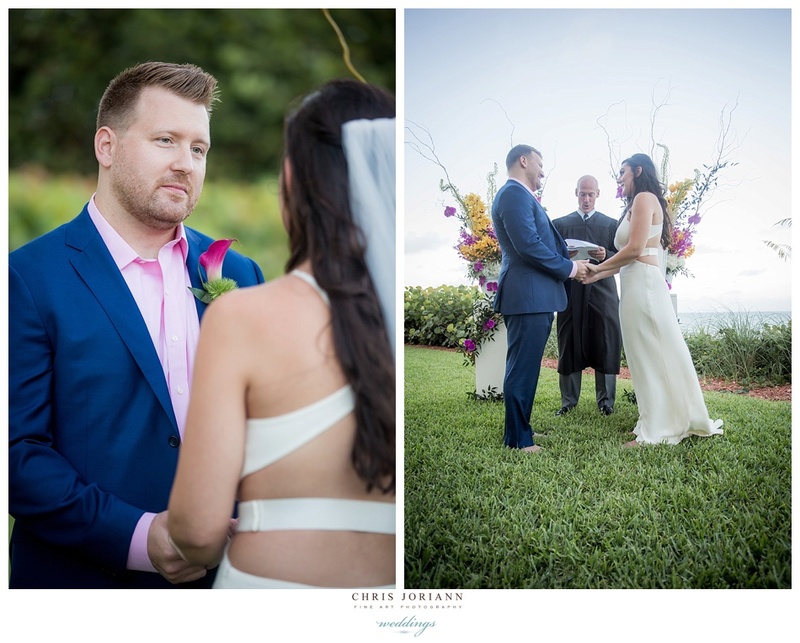 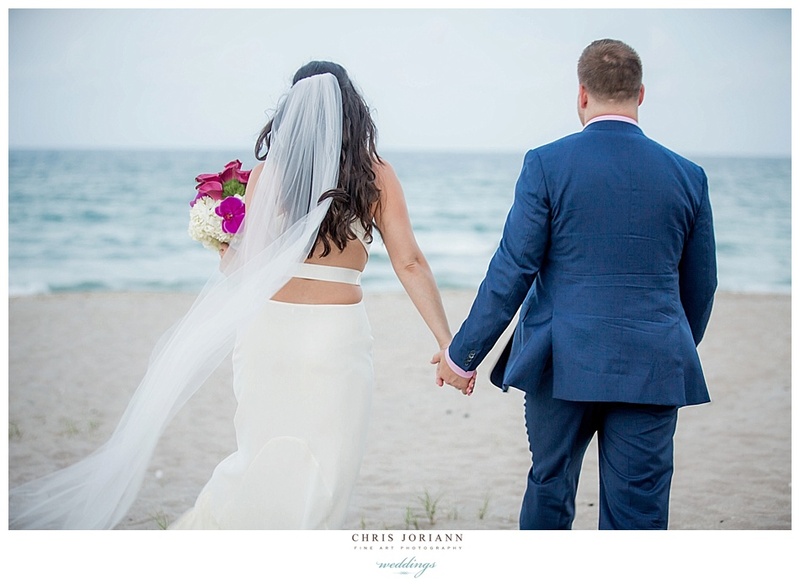 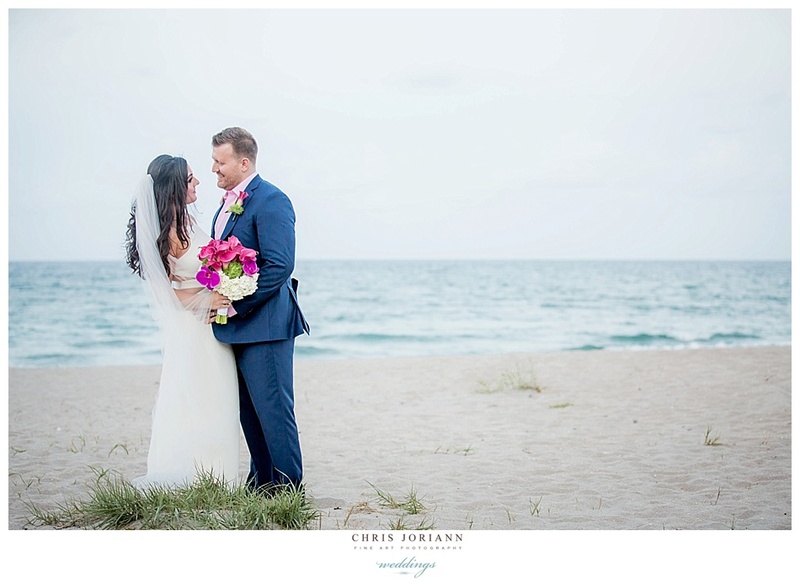 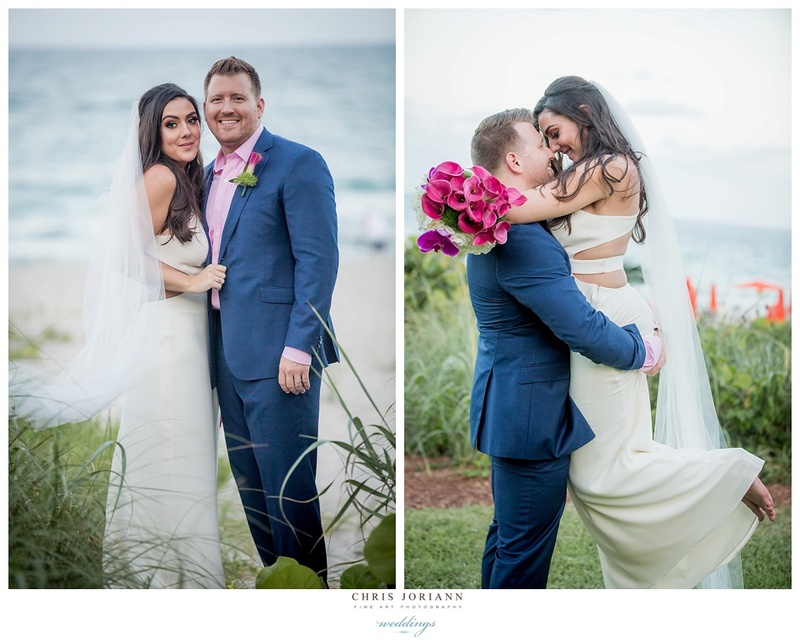 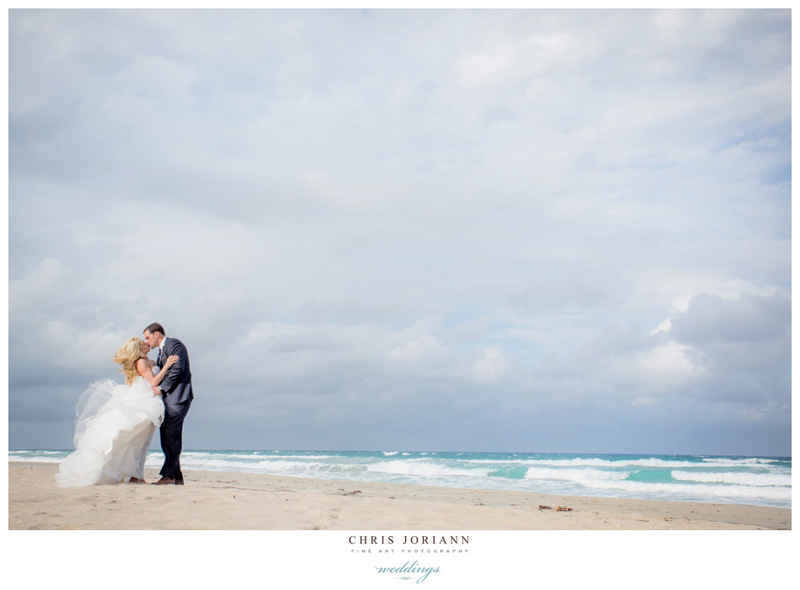 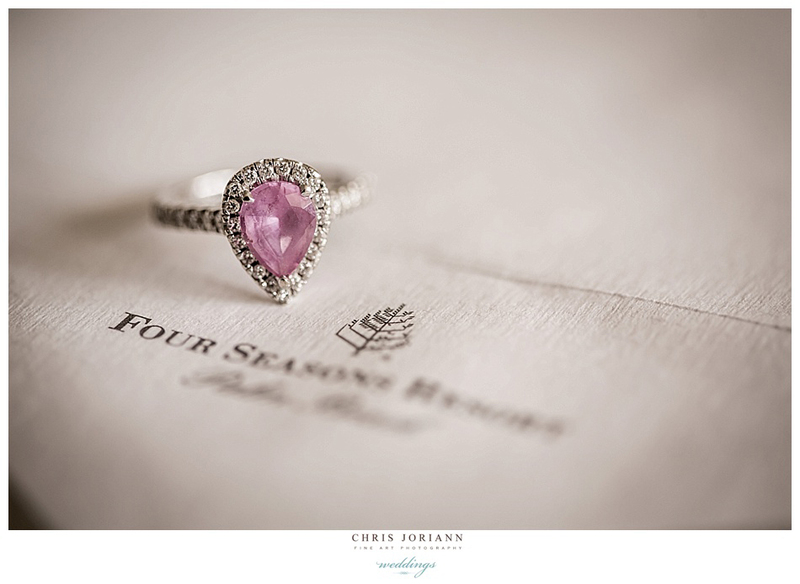 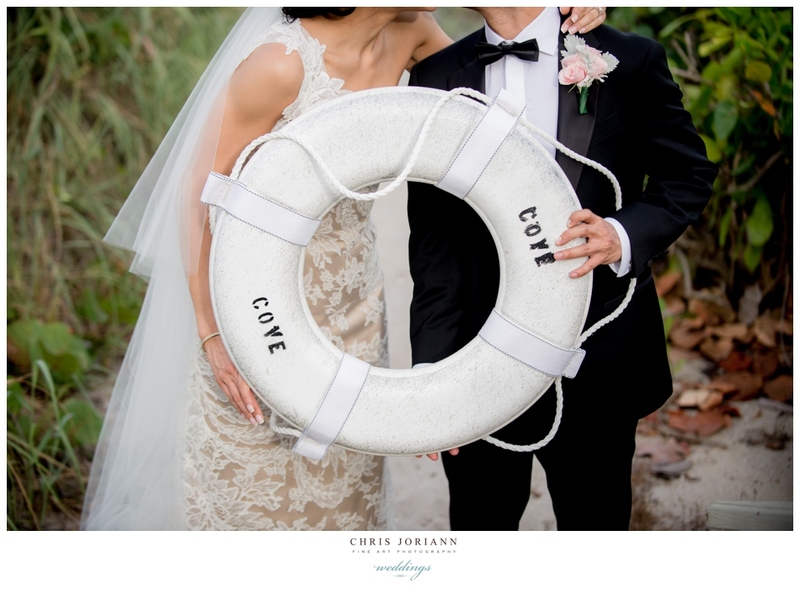 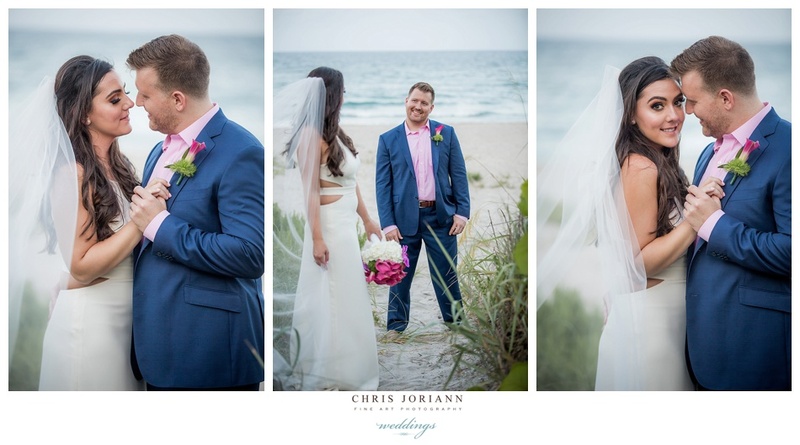 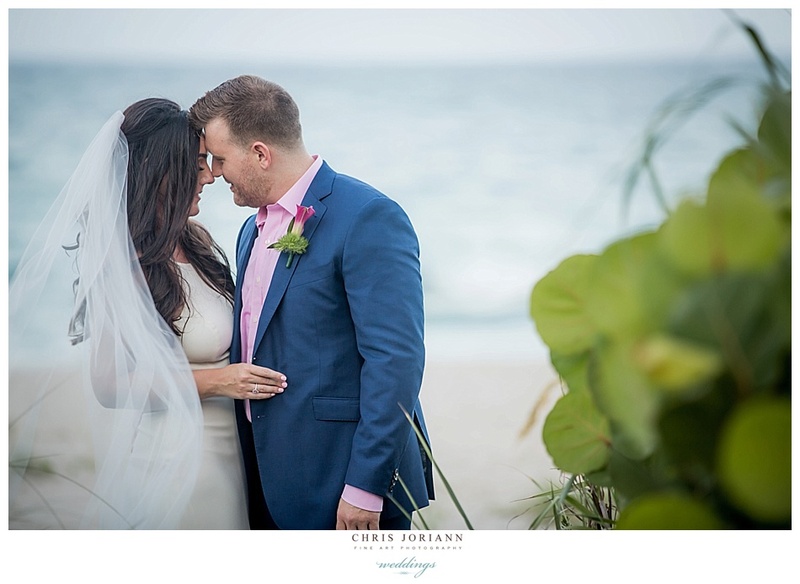 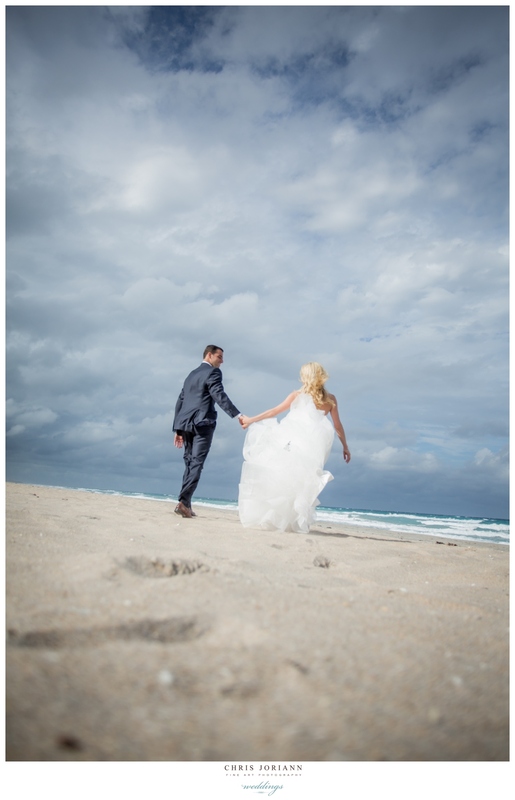 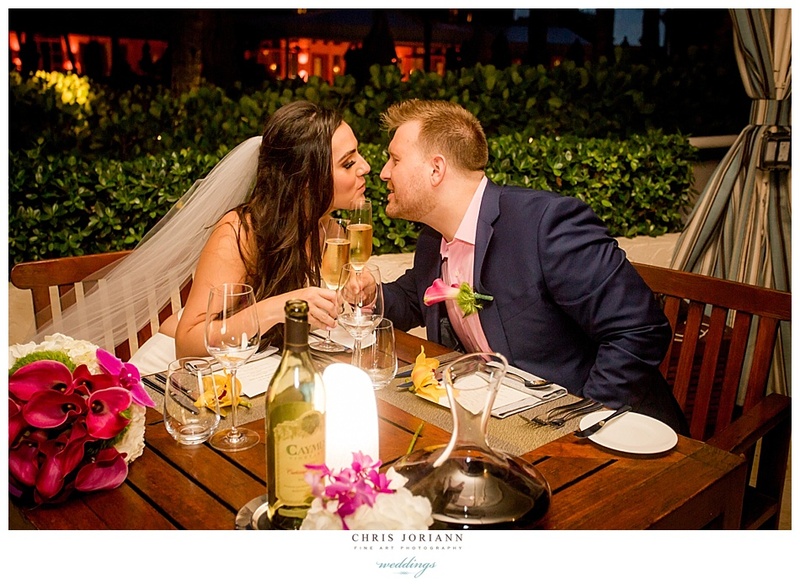 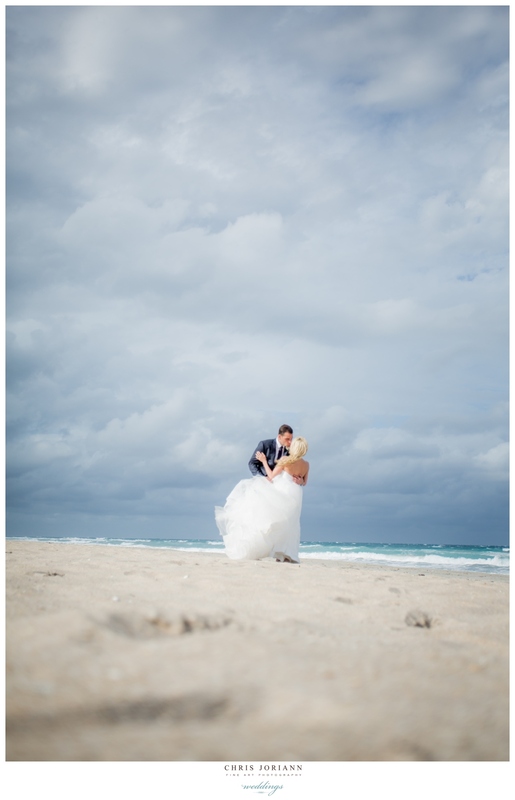 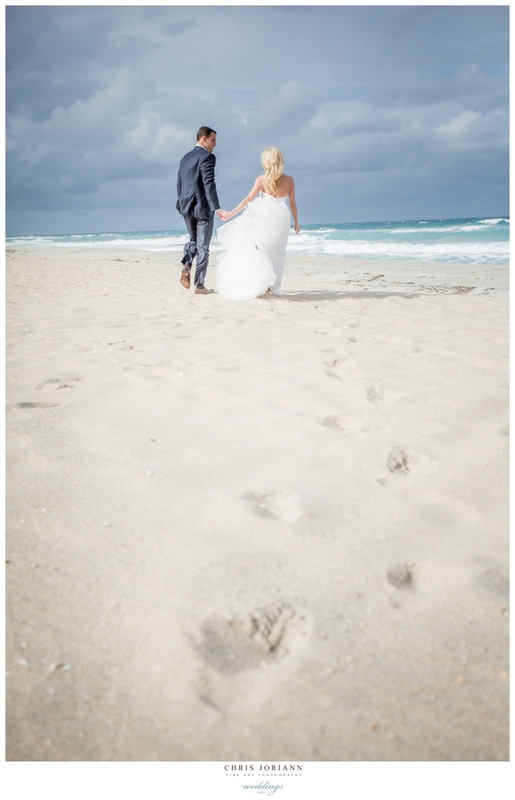 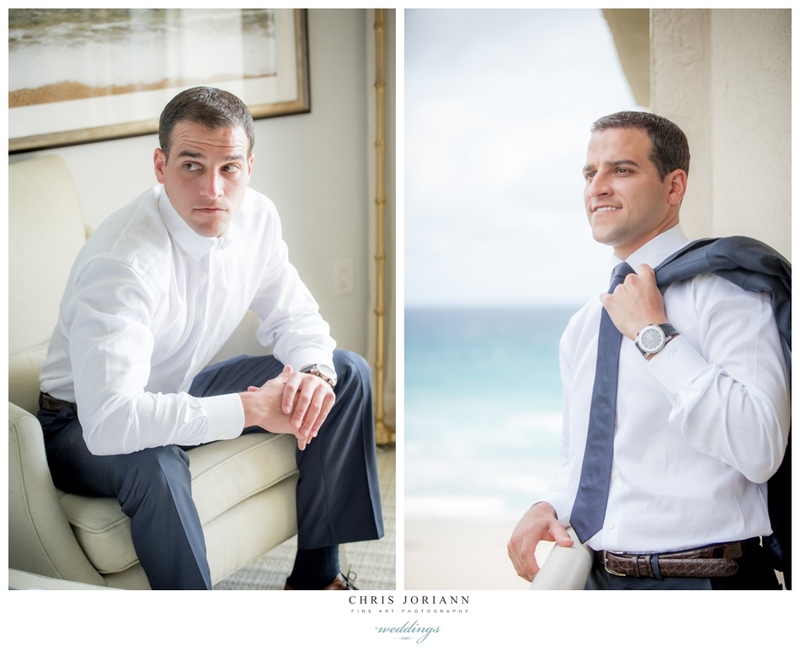 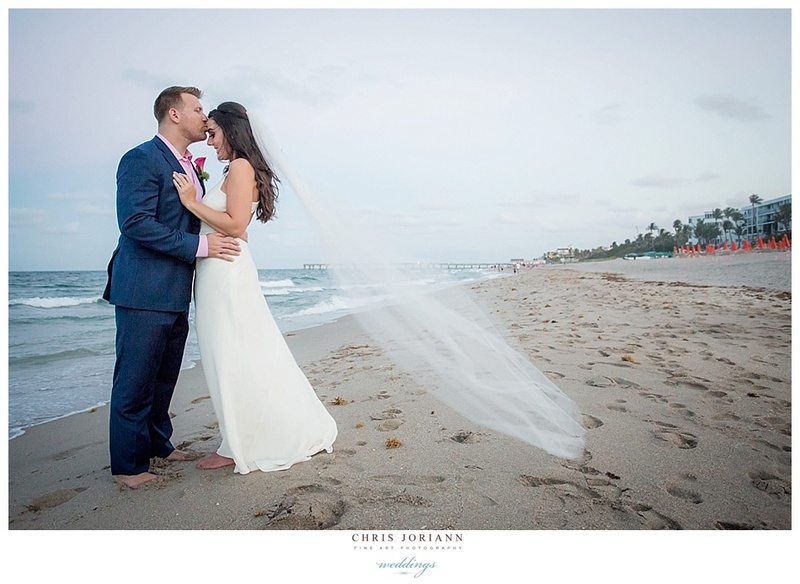 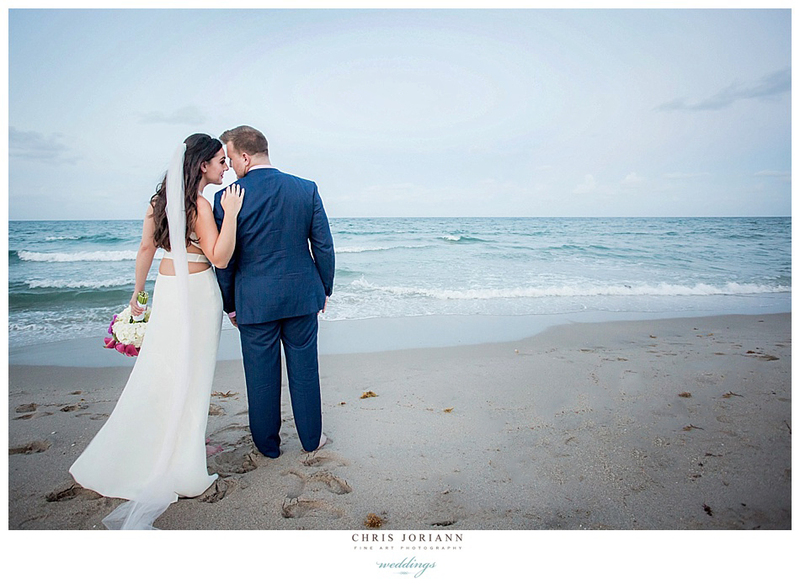 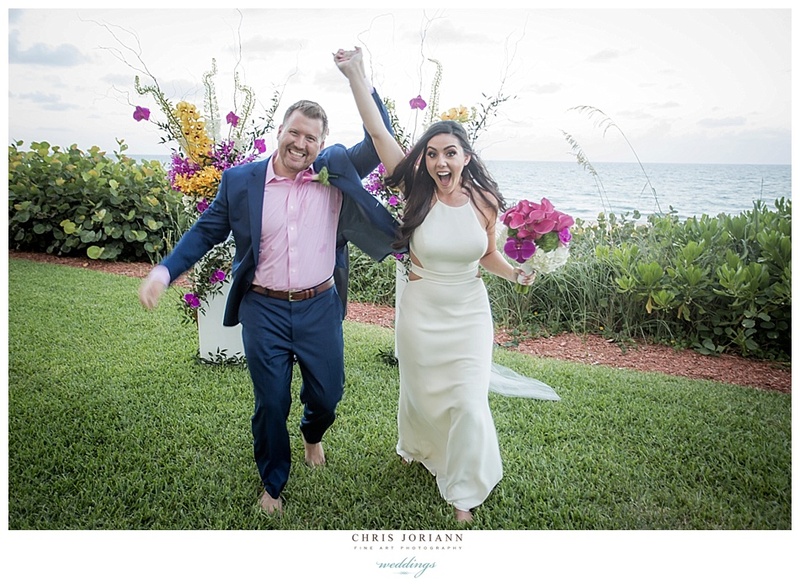 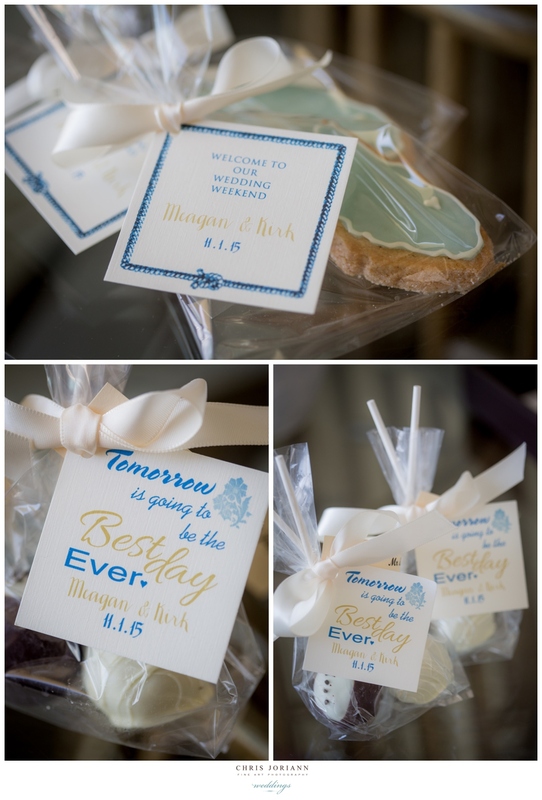 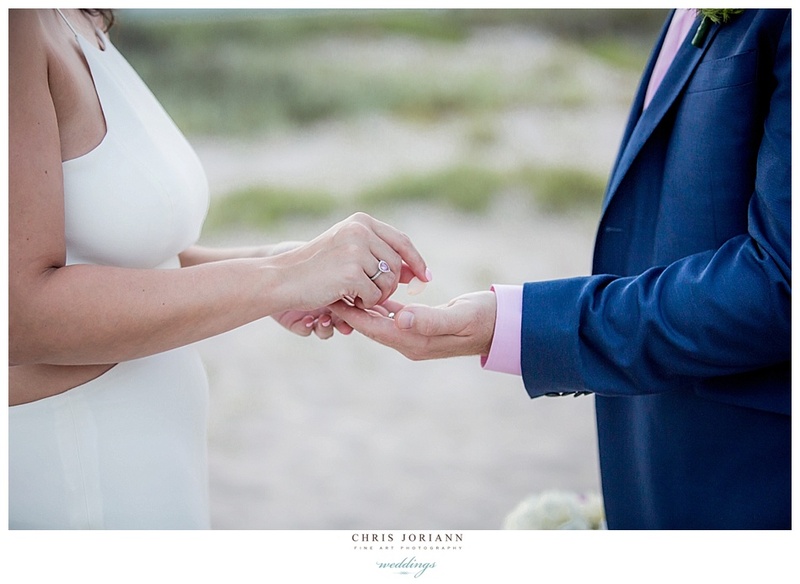 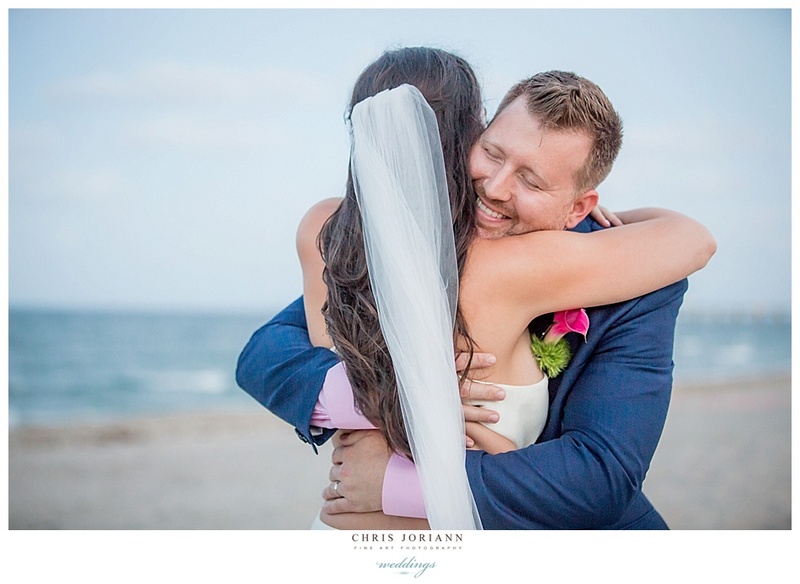 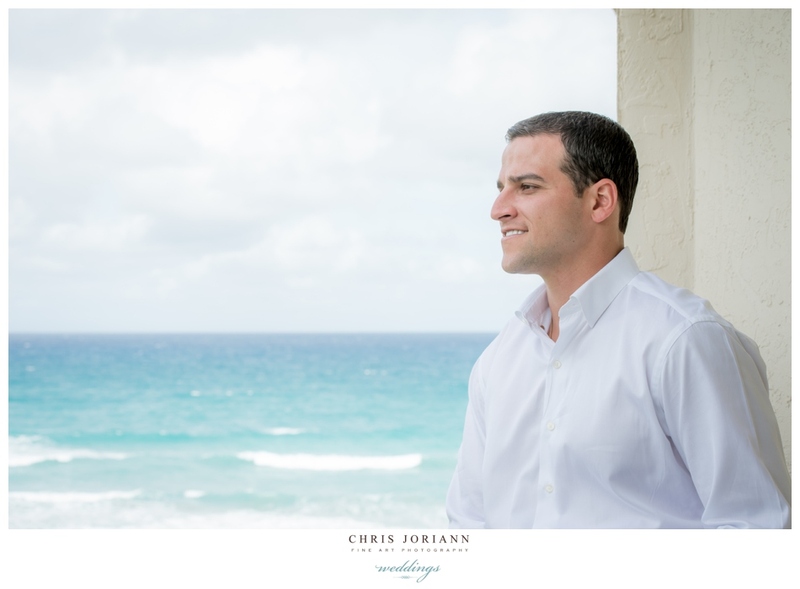 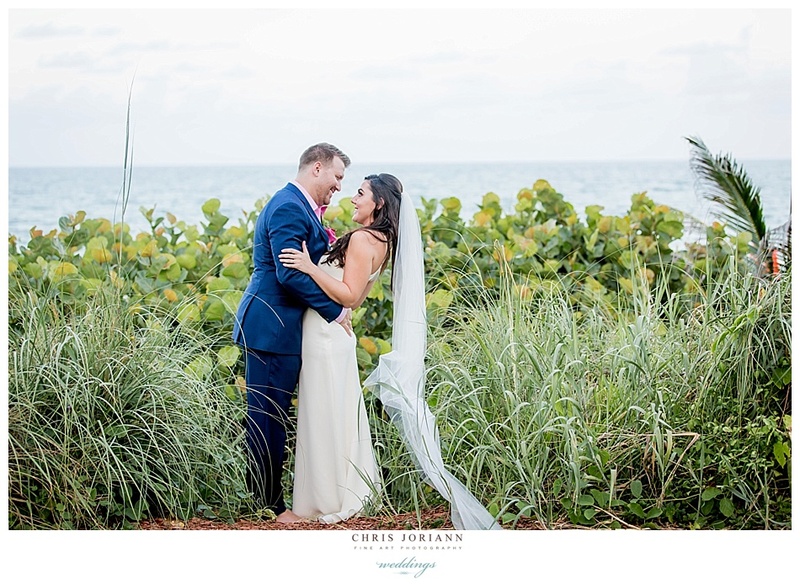 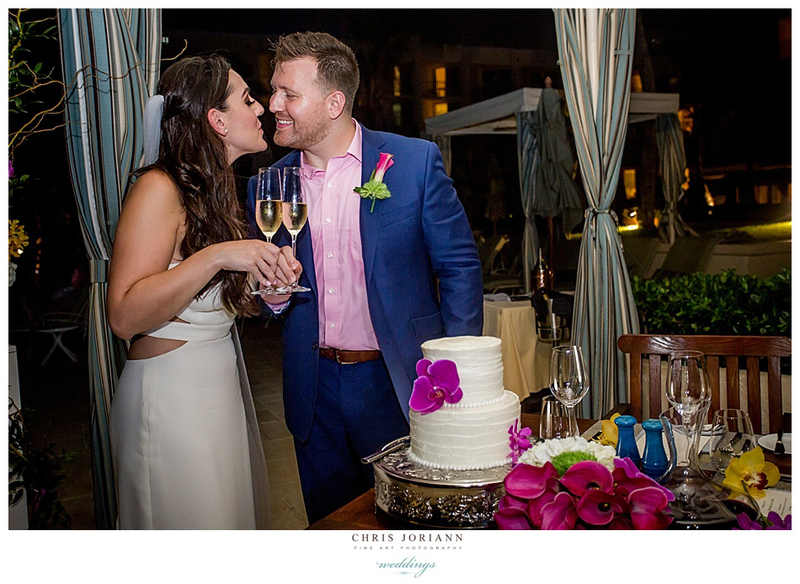 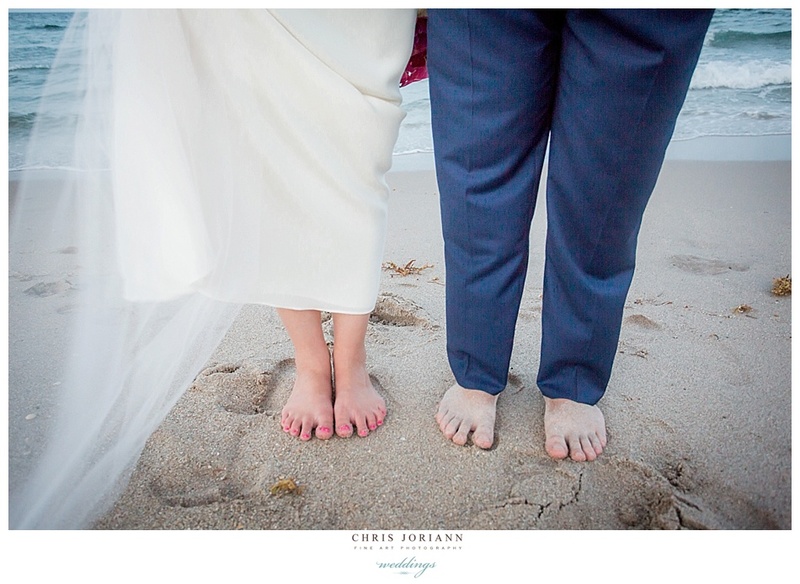 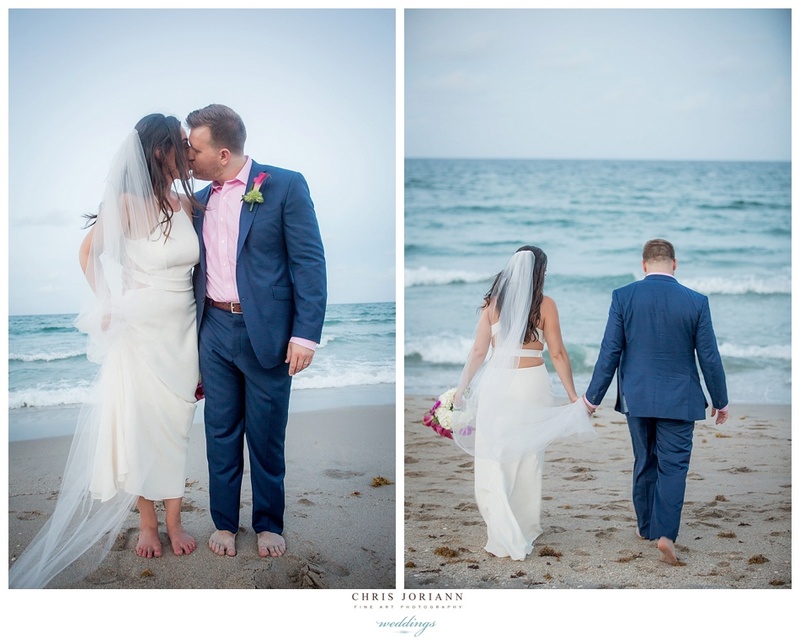 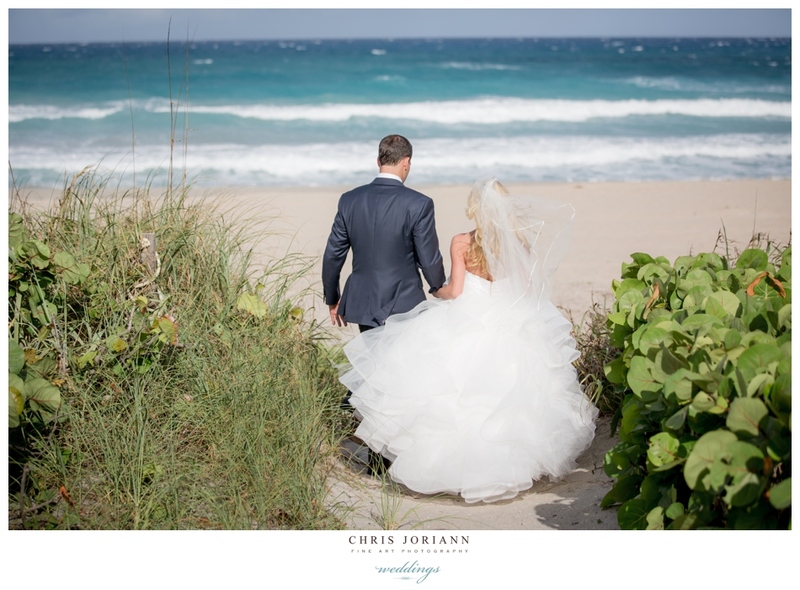 Simone + Justin’s intimate beachfront wedding was held at the Four Seasons Resort in Palm Beach and coordinated by Nicole Lewis for The Four Seasons. 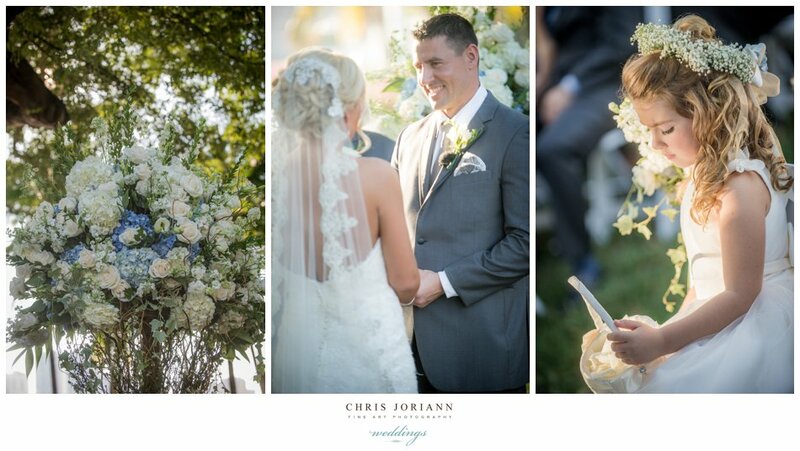 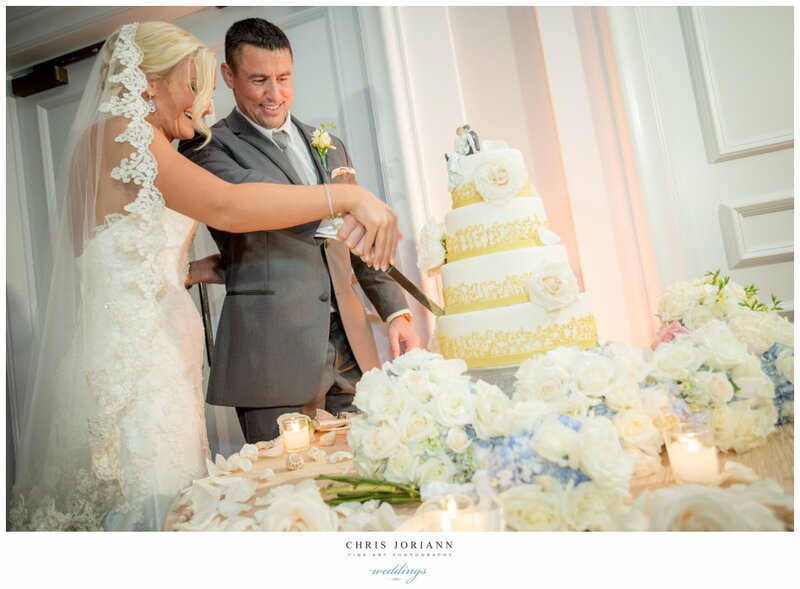 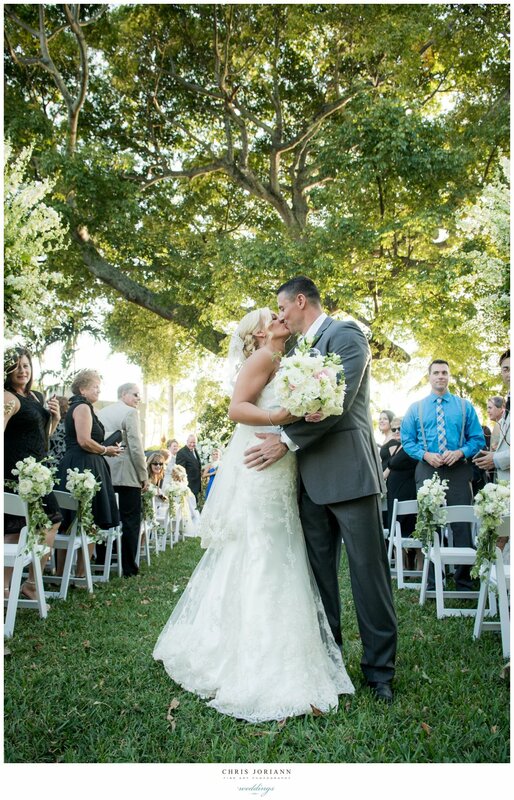 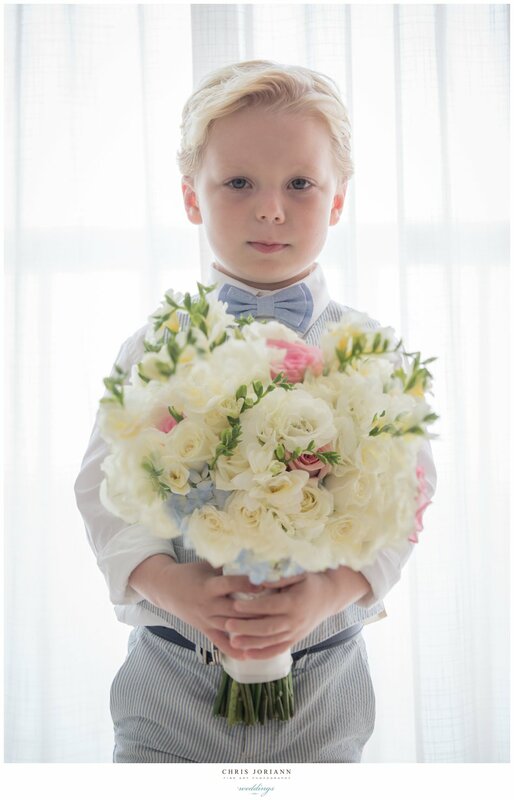 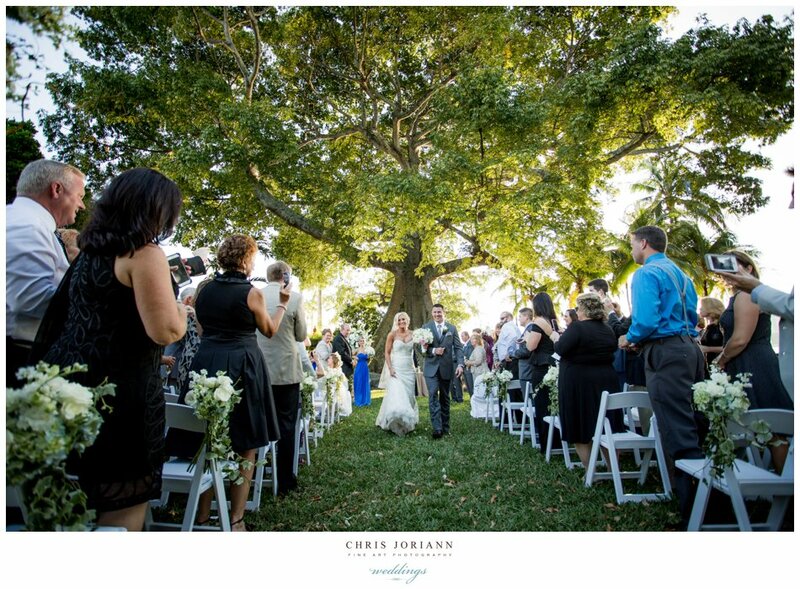 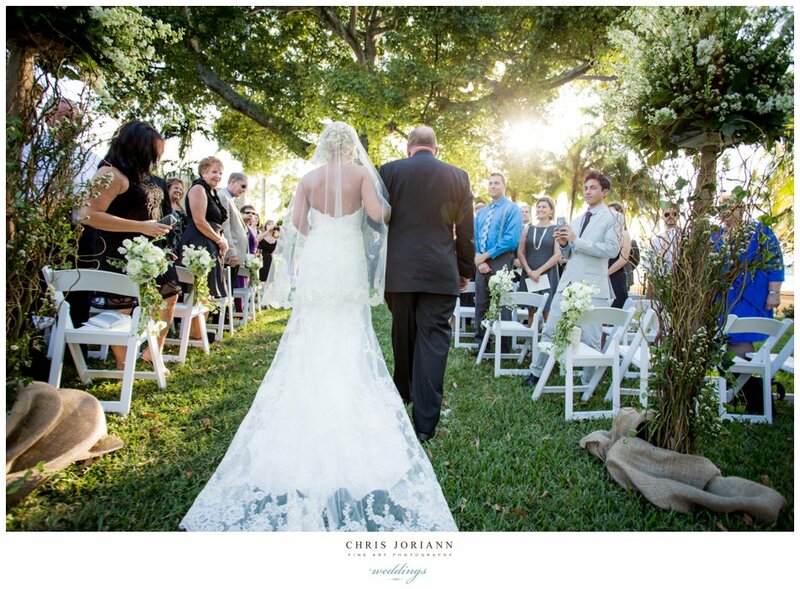 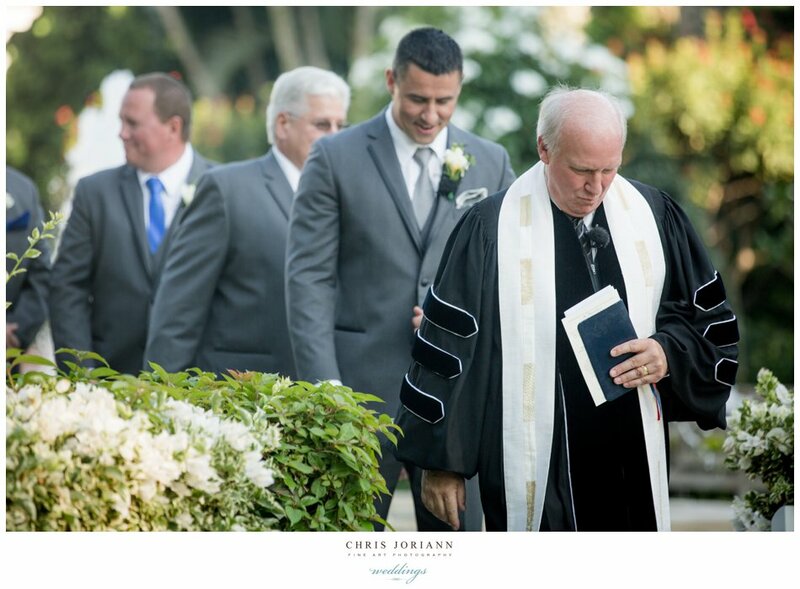 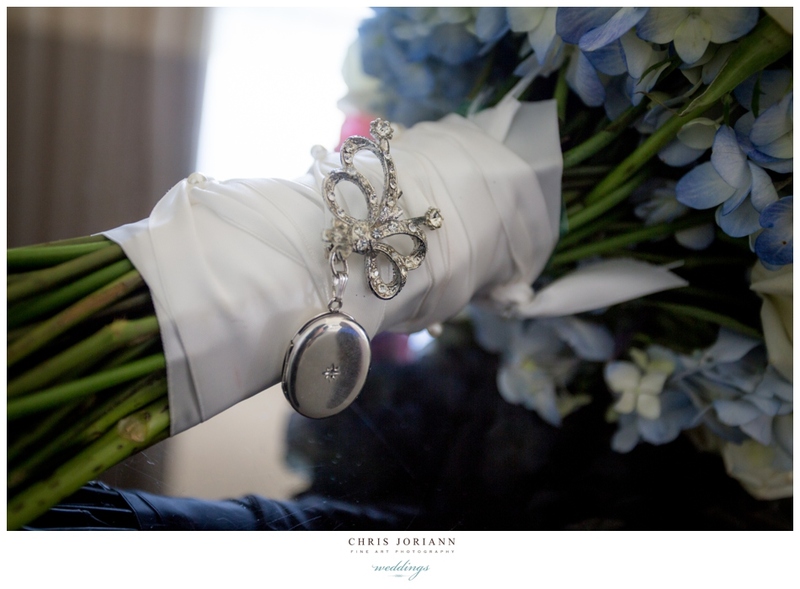 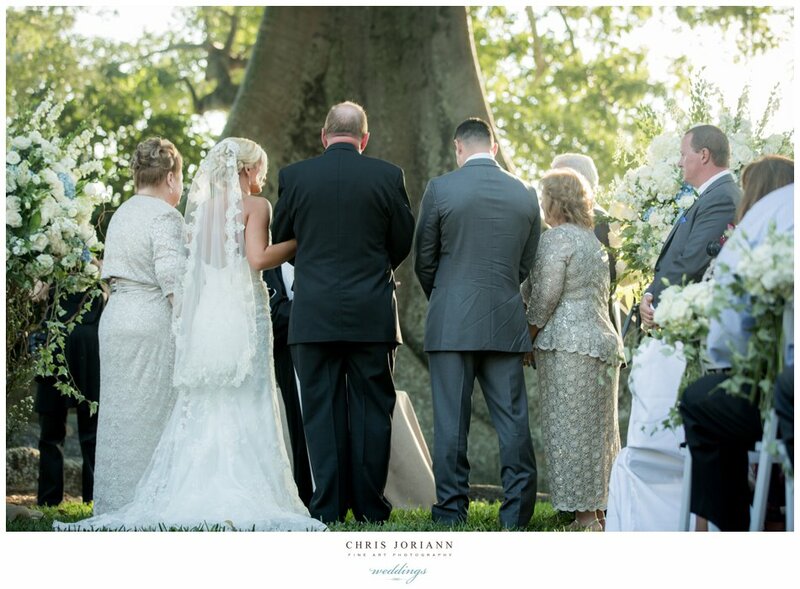 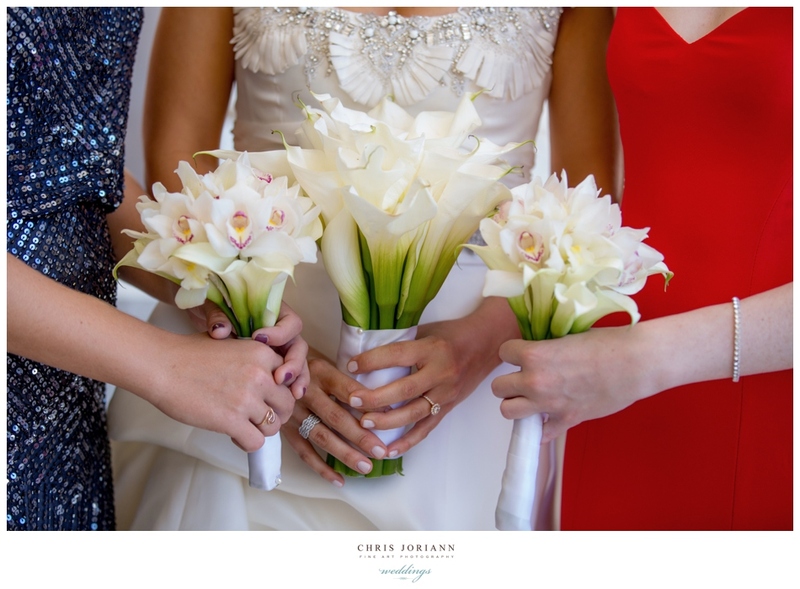 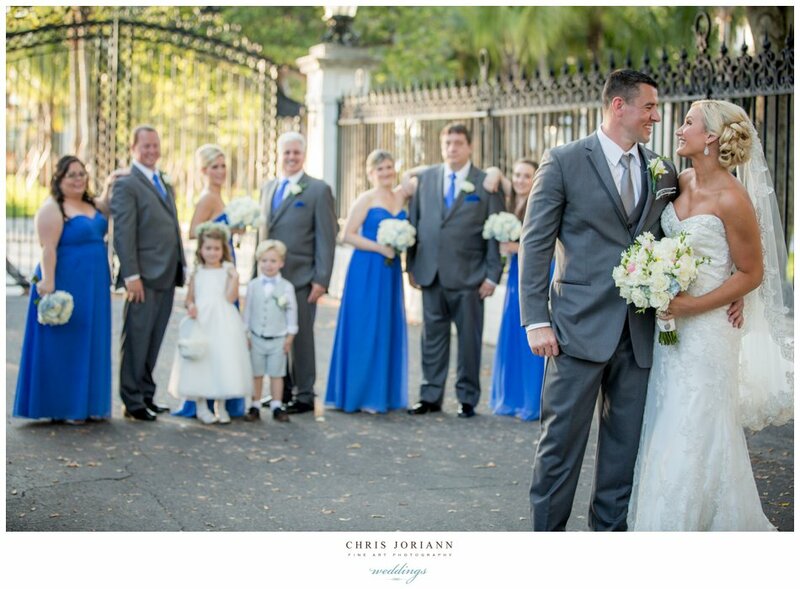 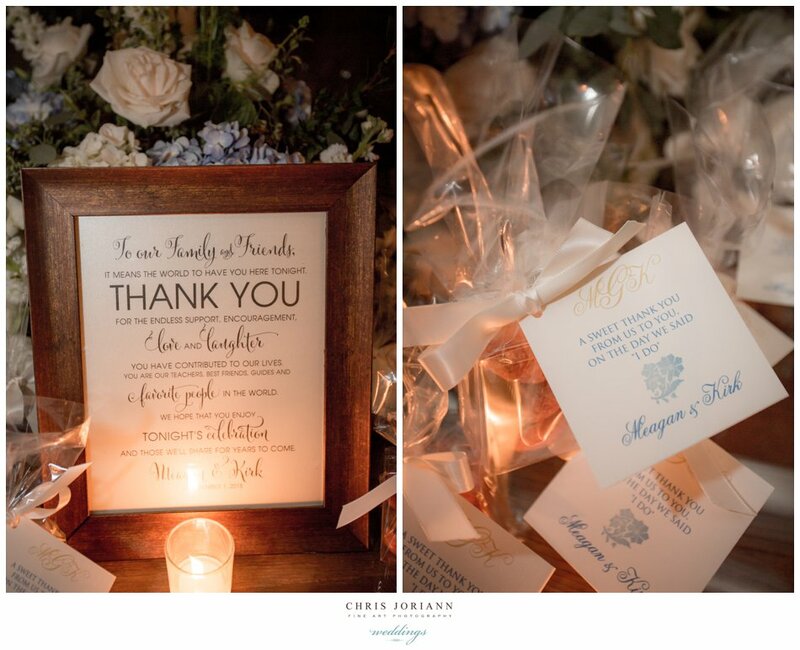 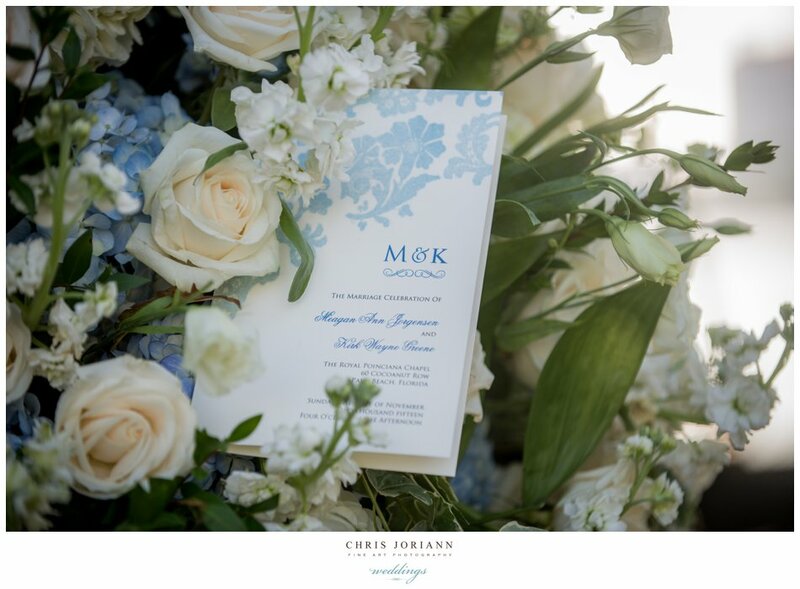 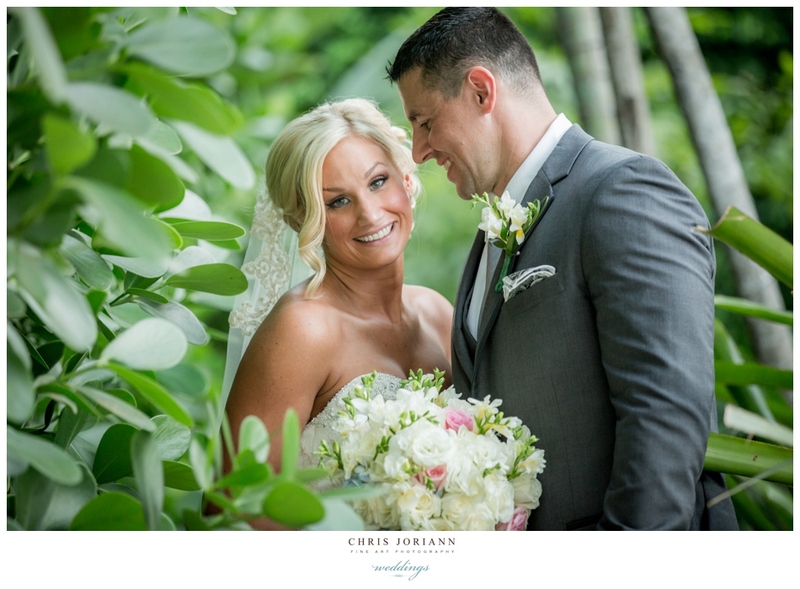 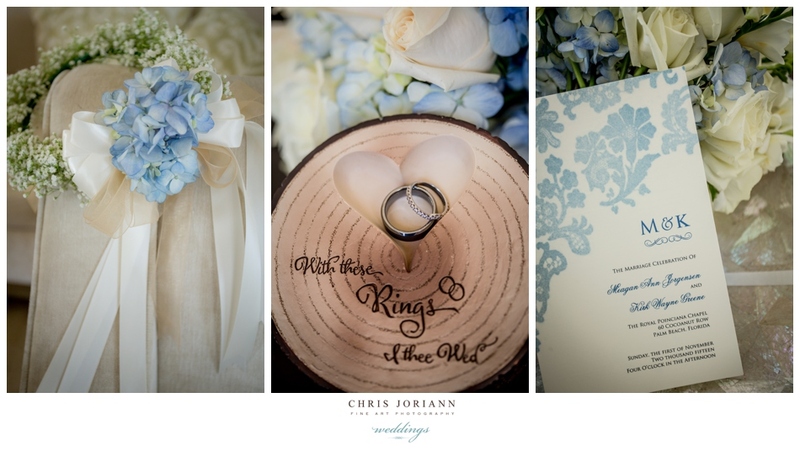 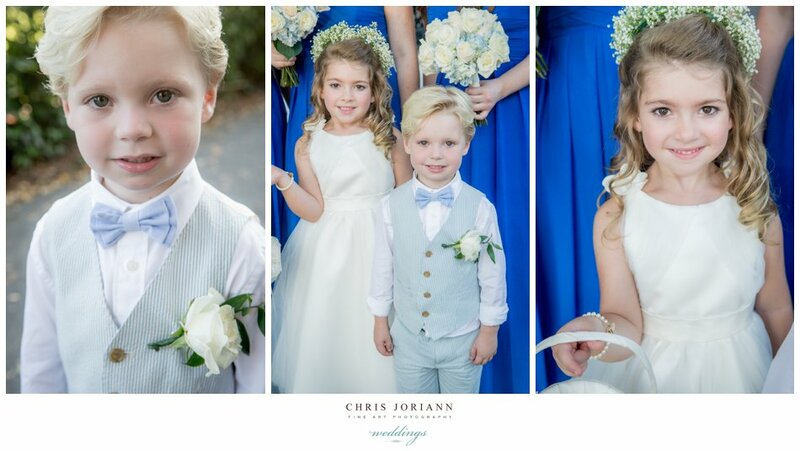 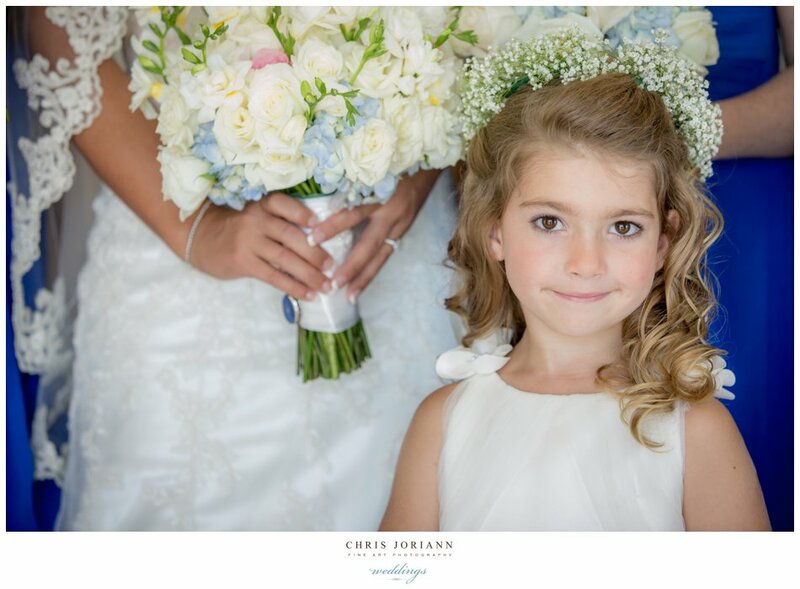 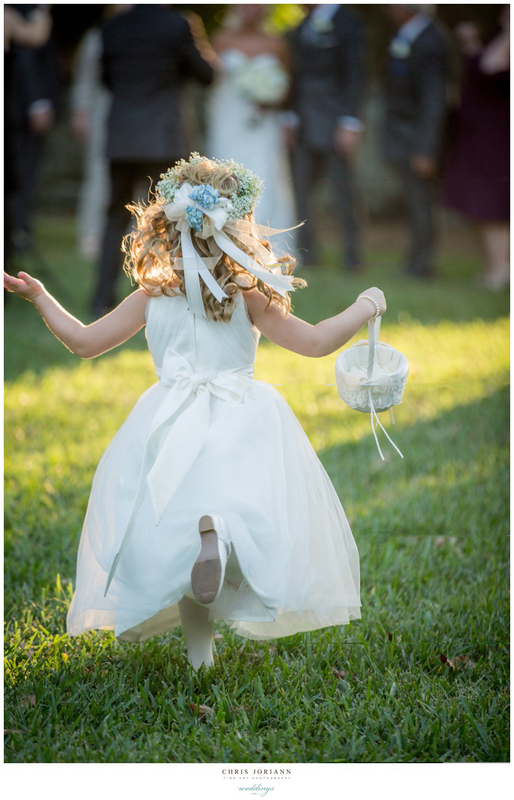 The couple exchanged their vows, surrounded by florals created by Camden Gardens. 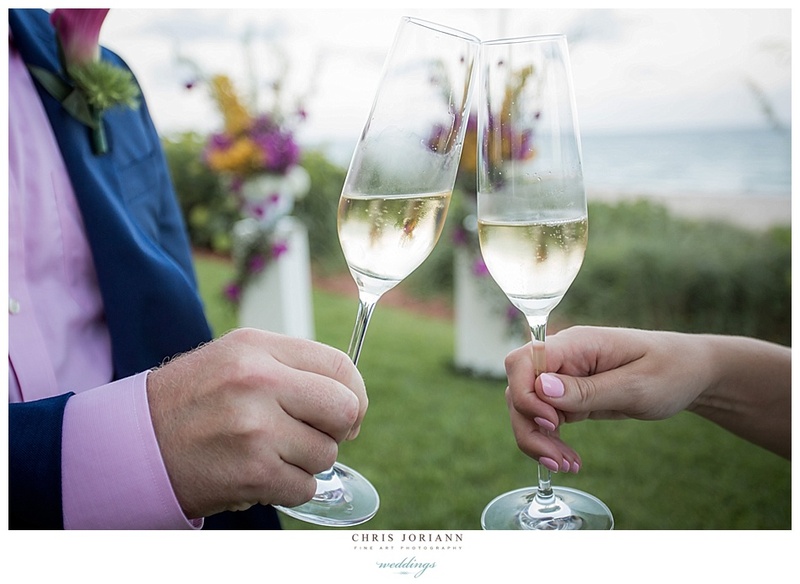 Following, they shared a champagne toast, took a sunset stroll on the beach, and returned to a candle lit dinner for two in a private cabana, beneath the moonlit sky. 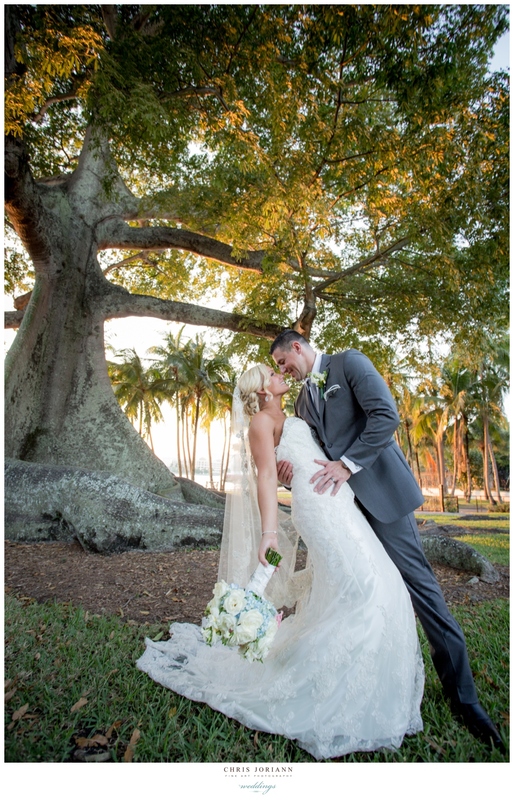 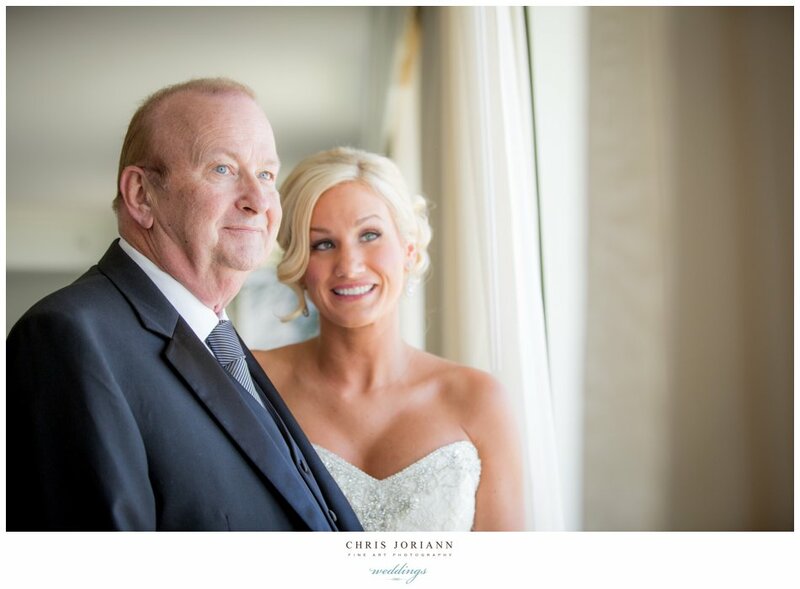 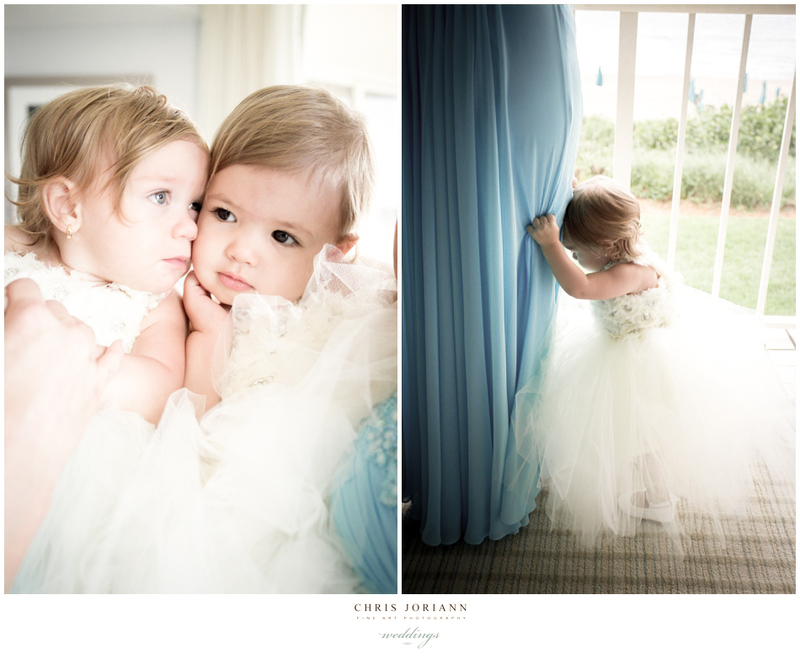 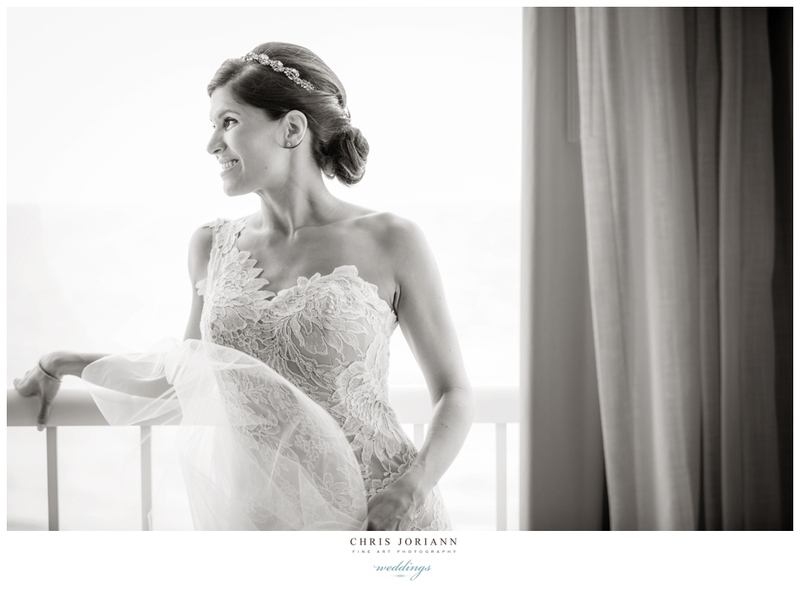 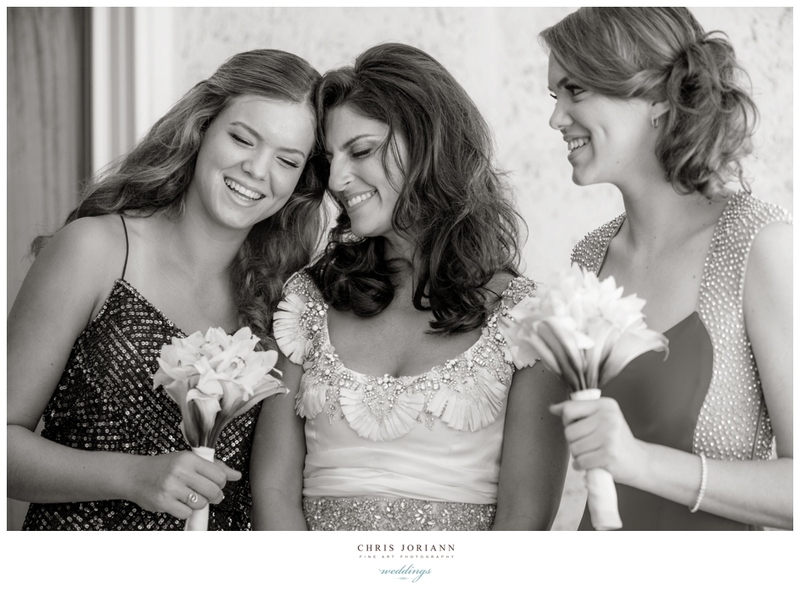 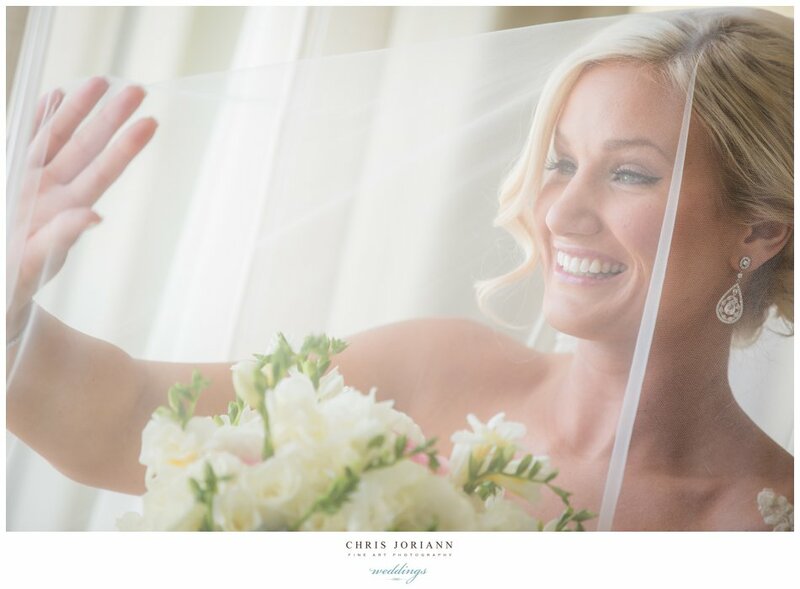 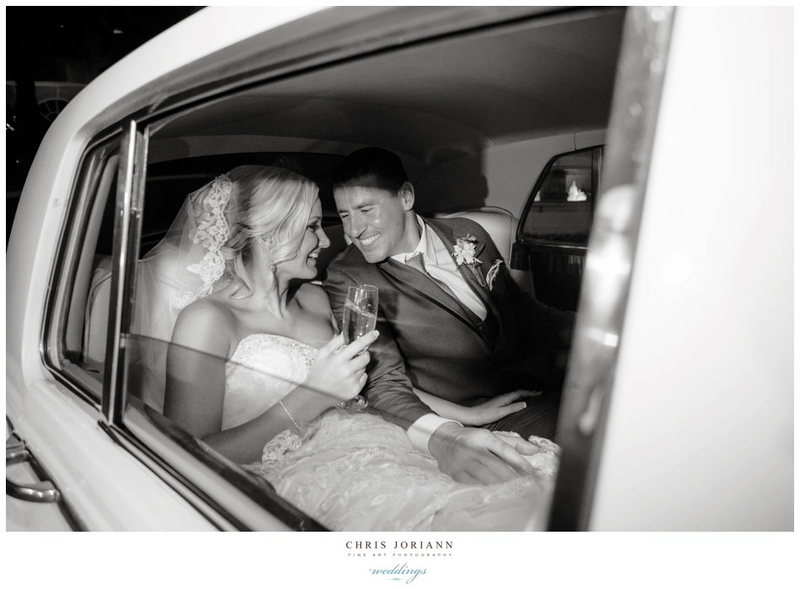 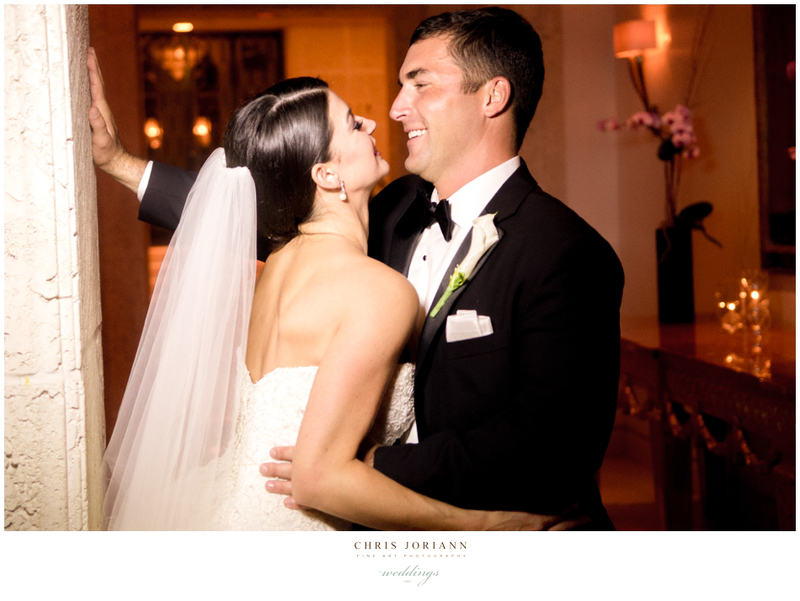 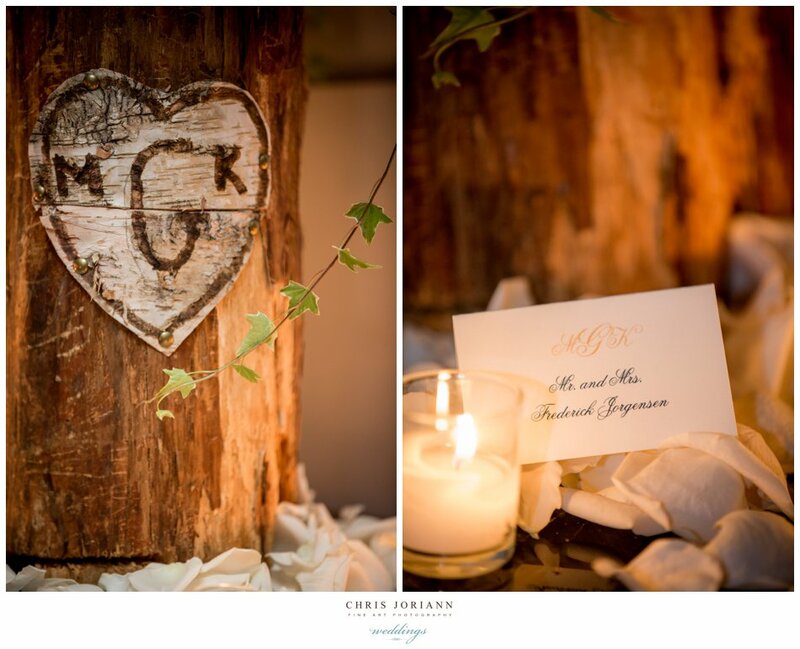 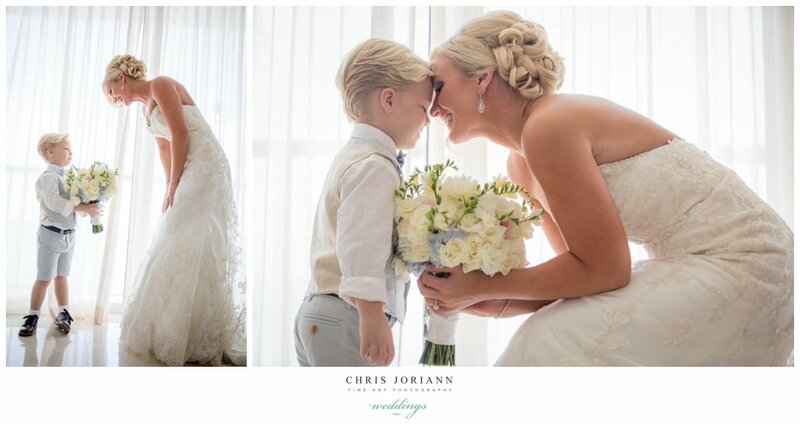 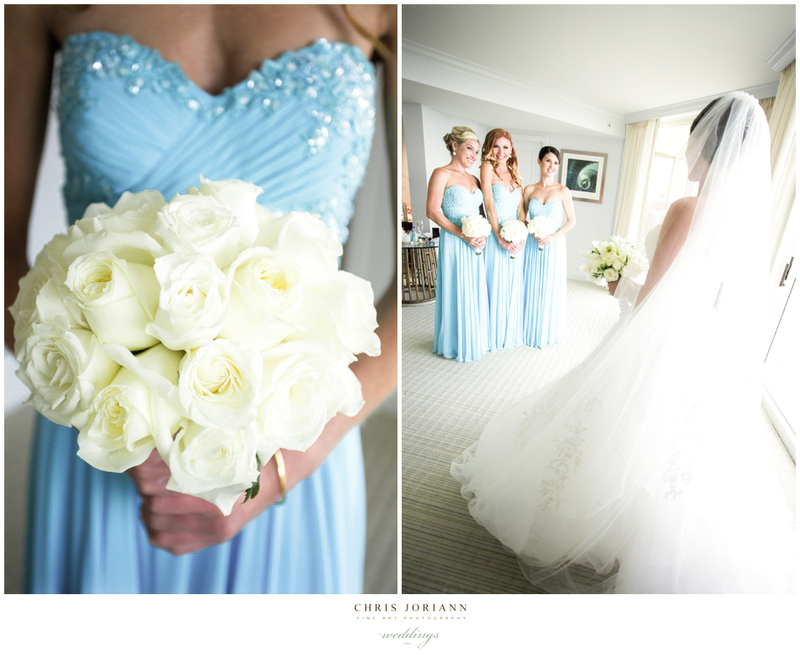 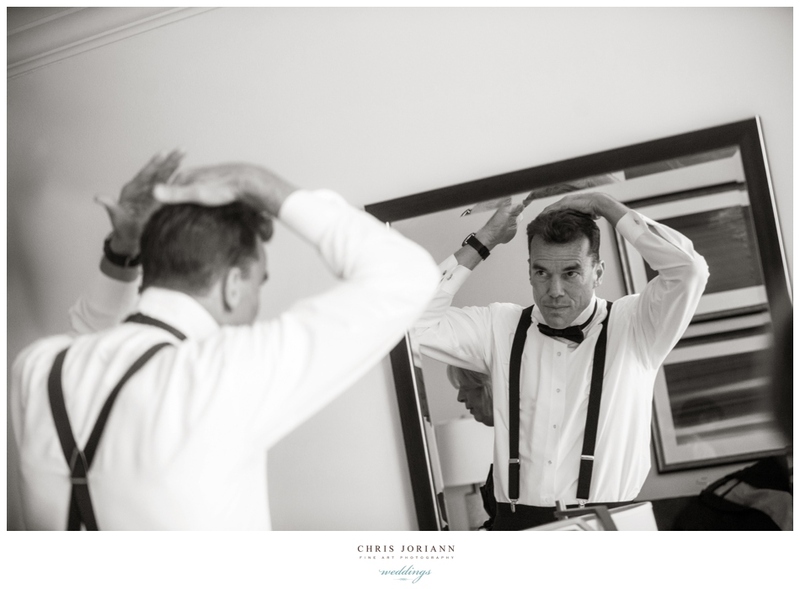 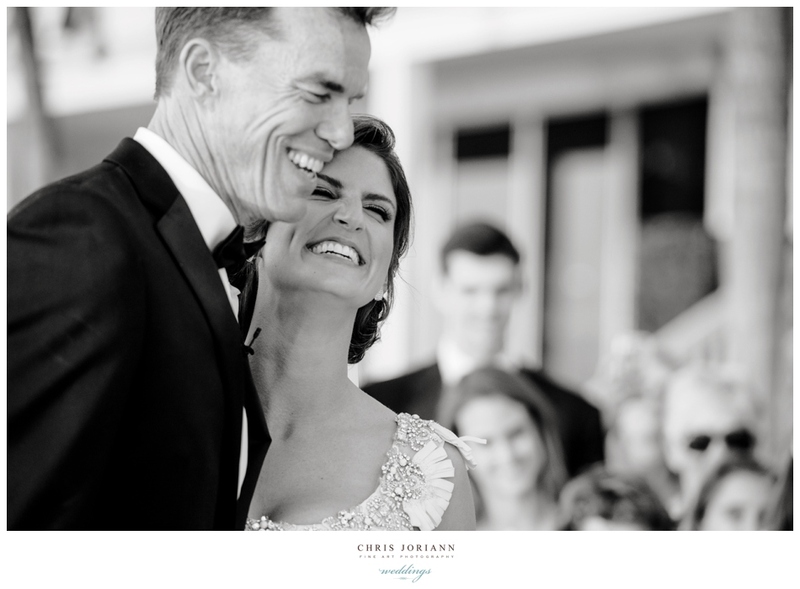 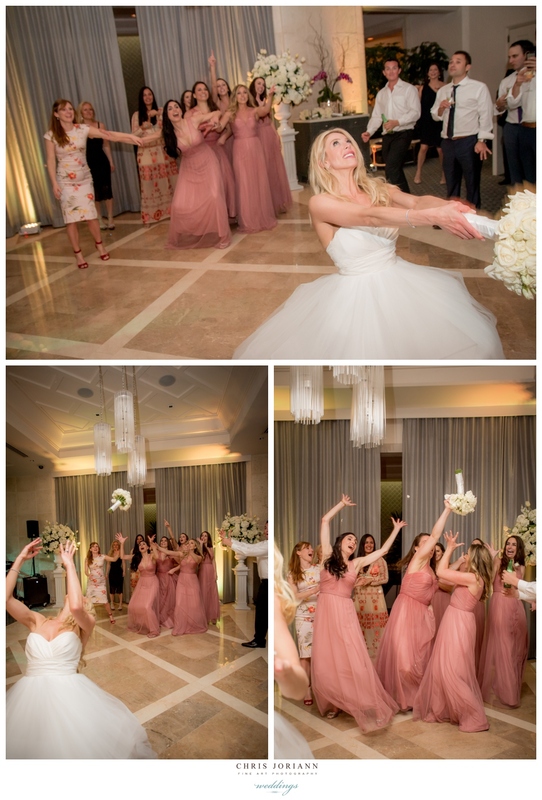 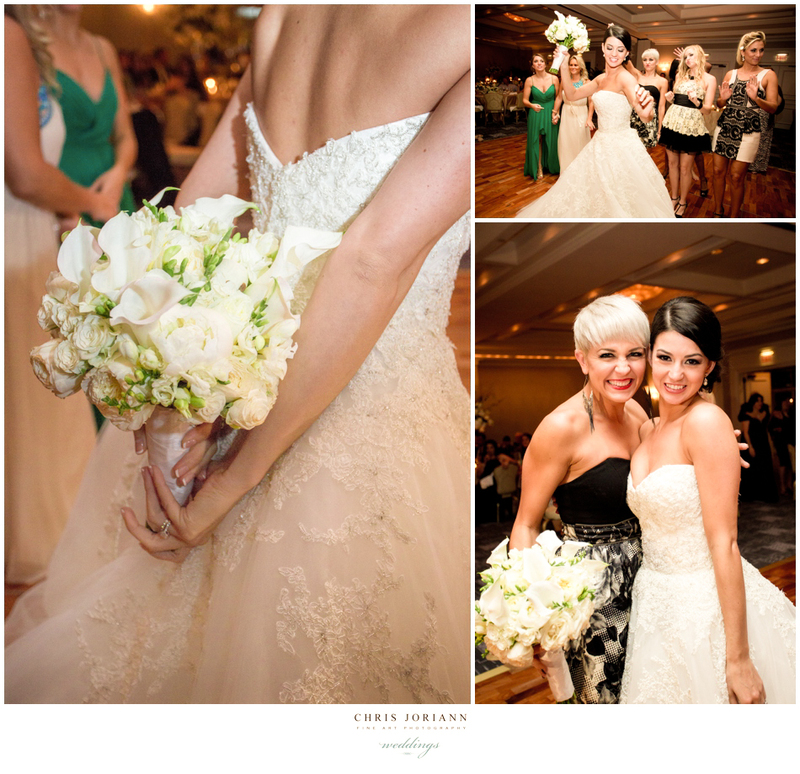 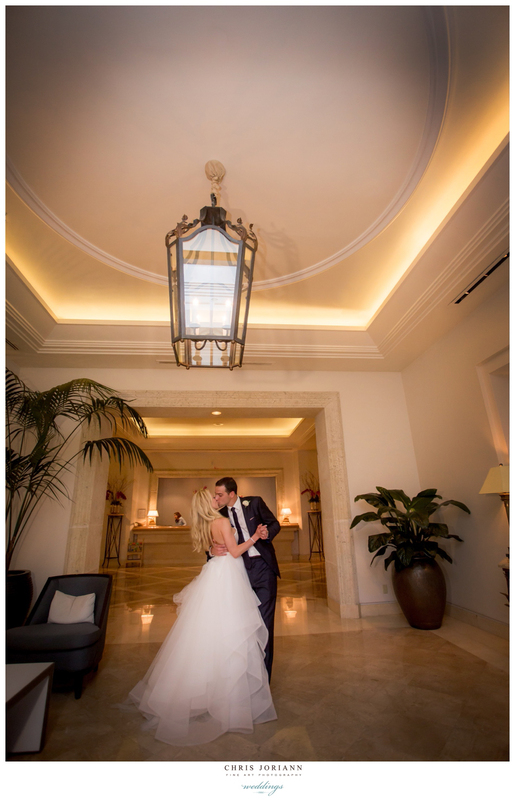 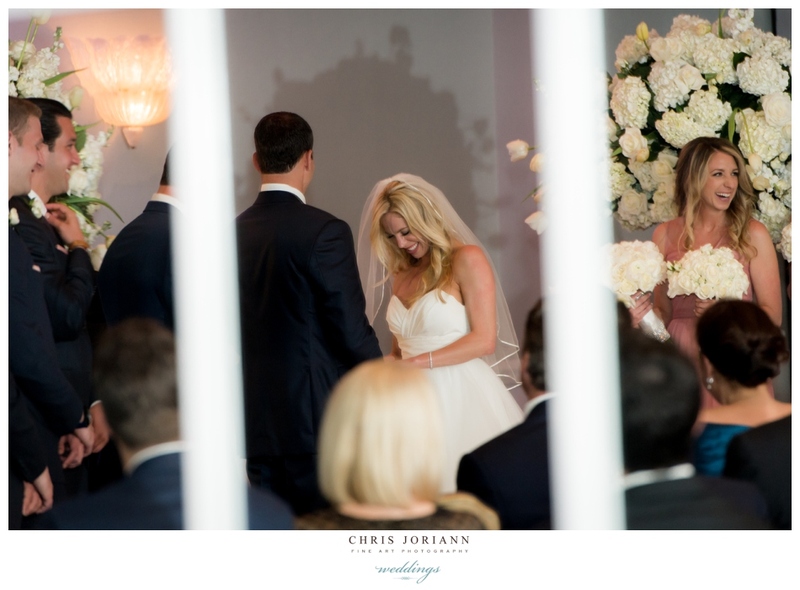 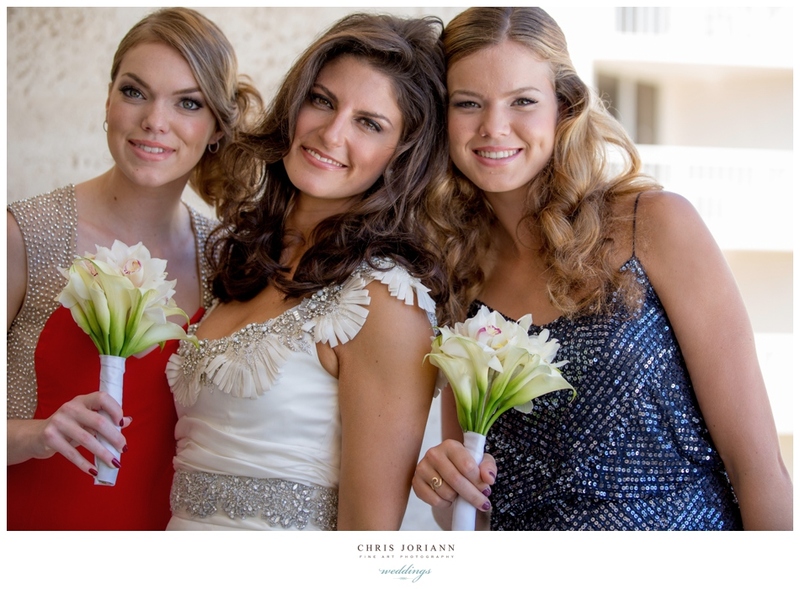 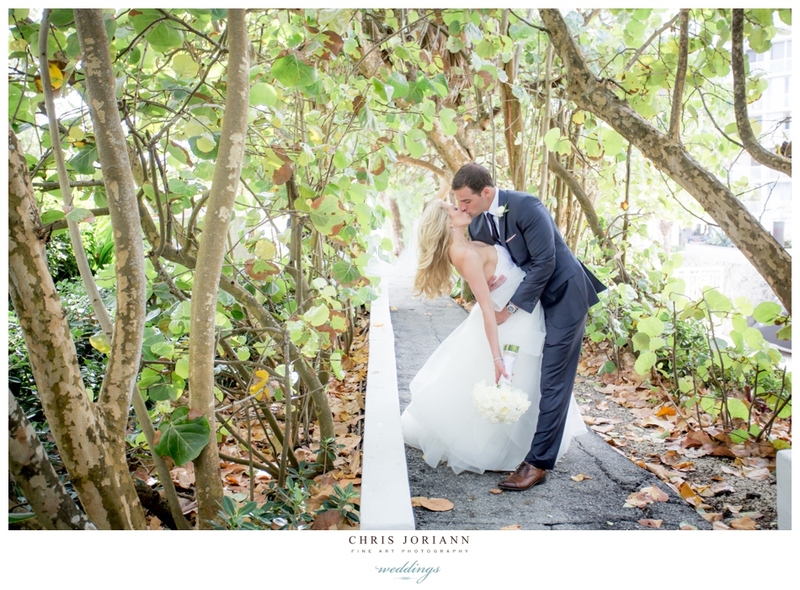 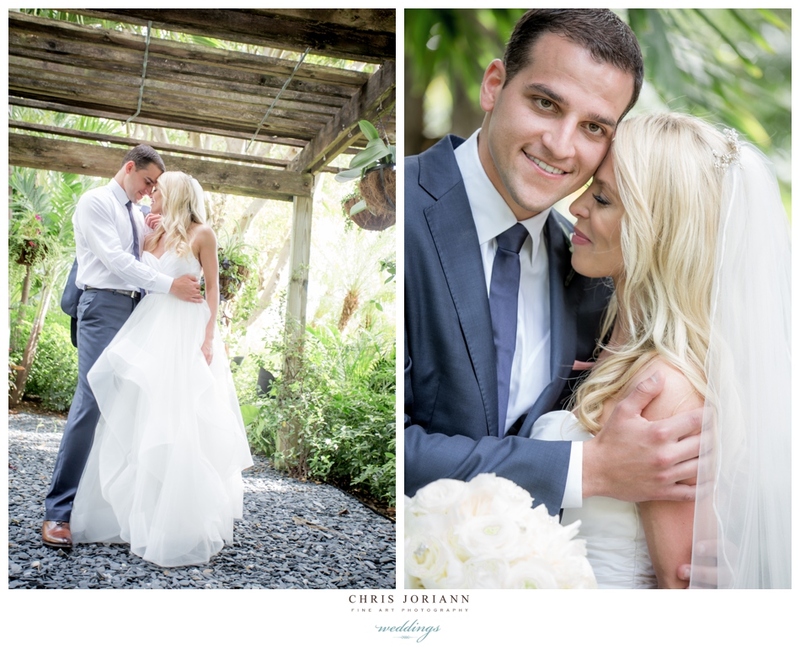 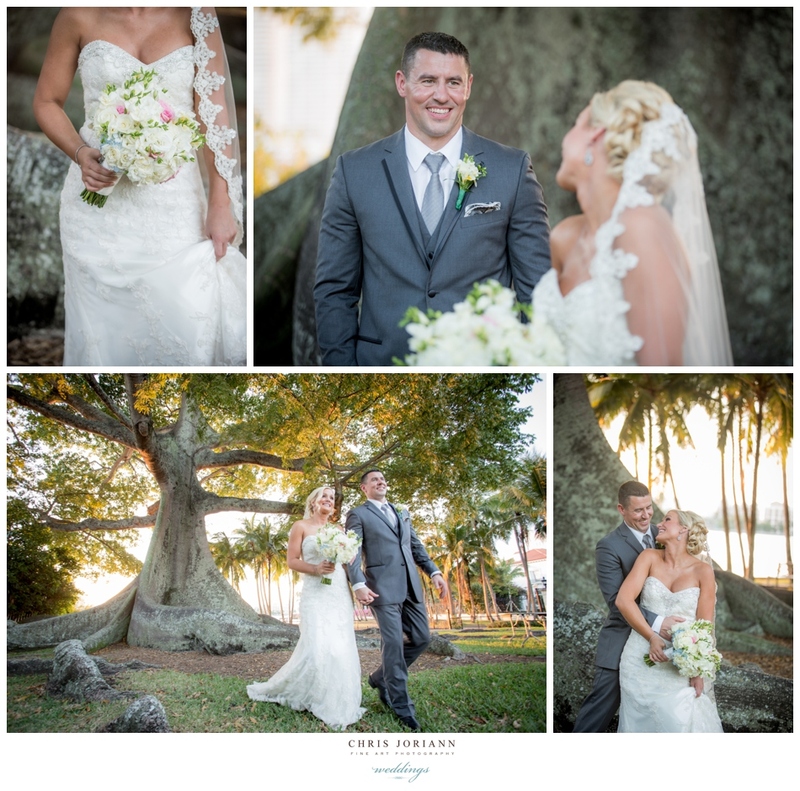 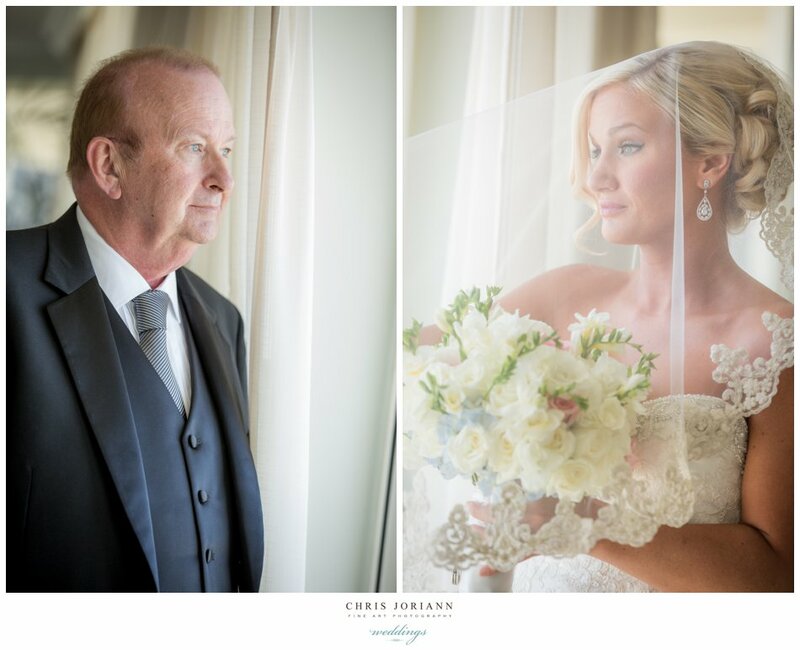 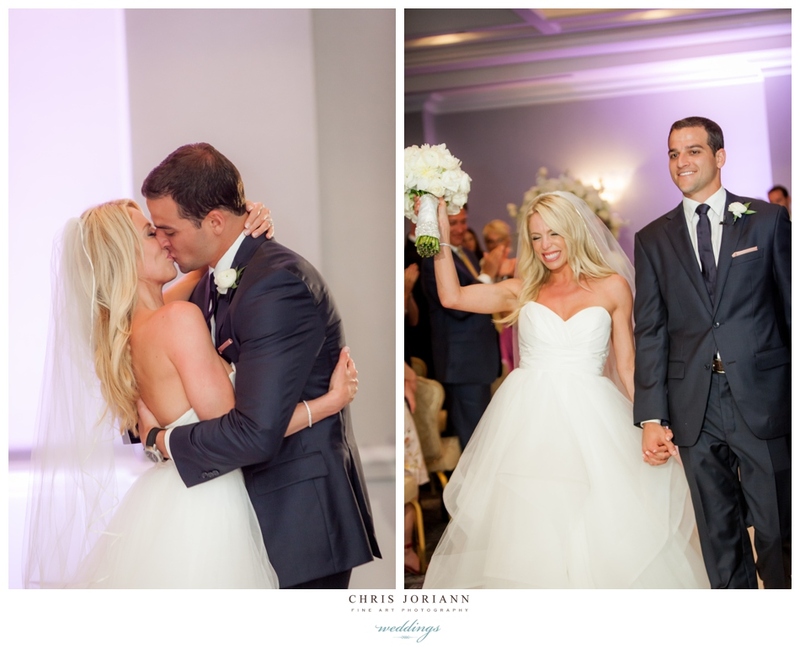 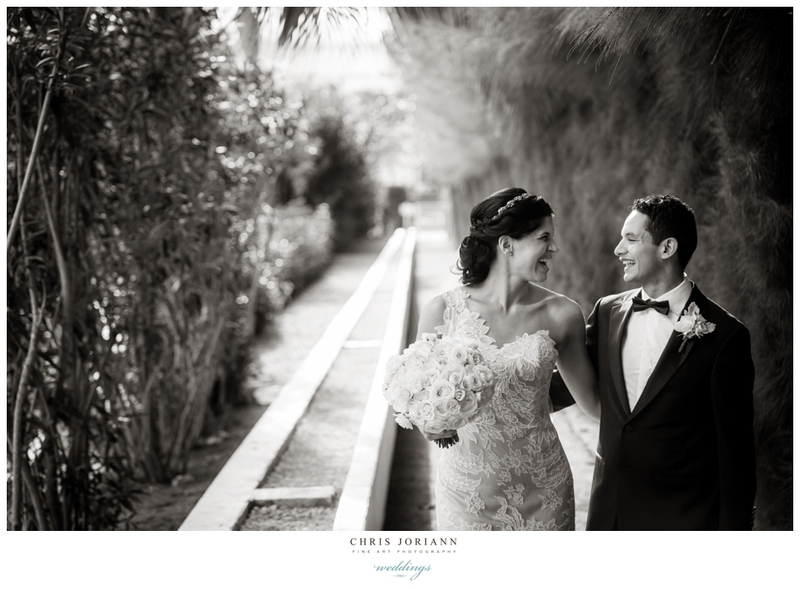 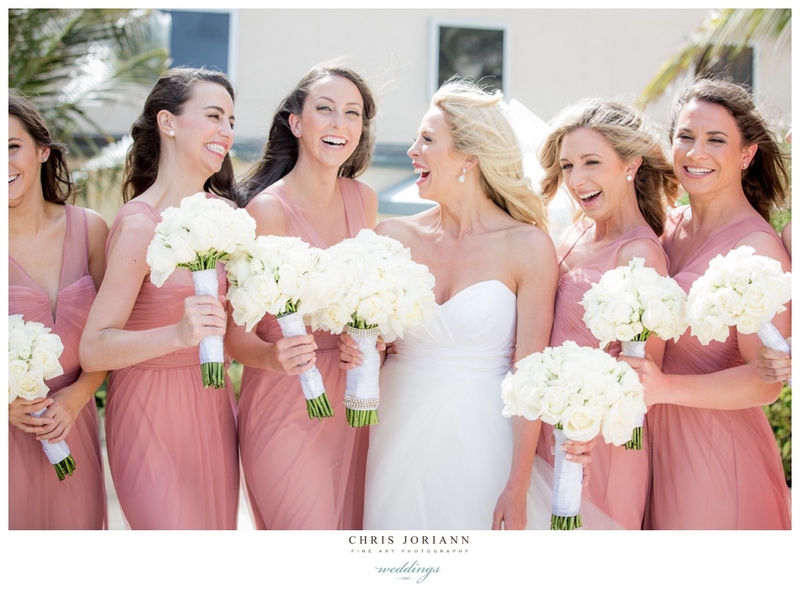 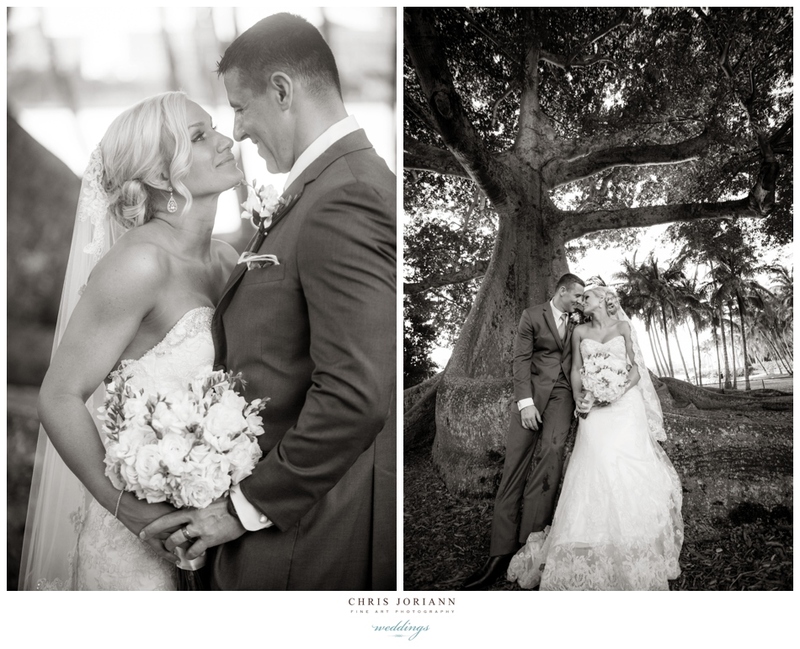 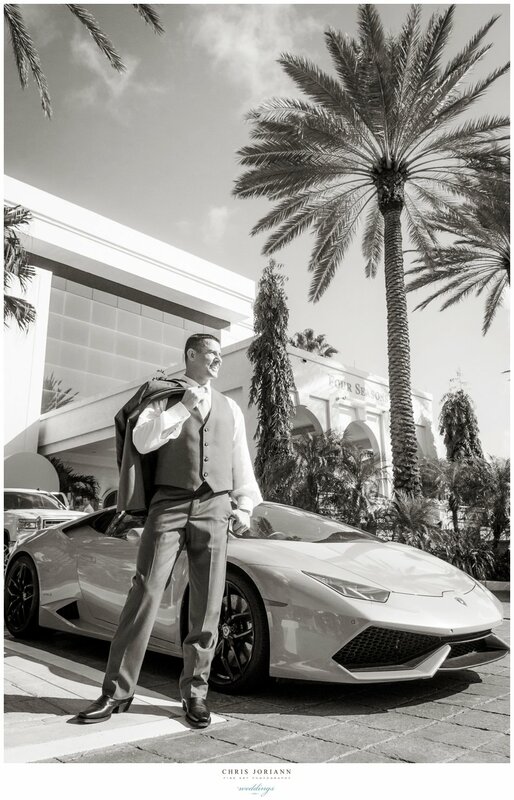 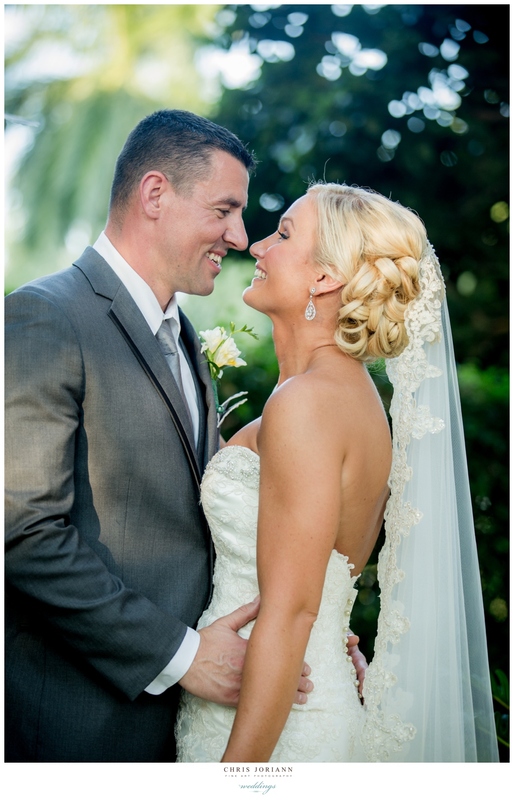 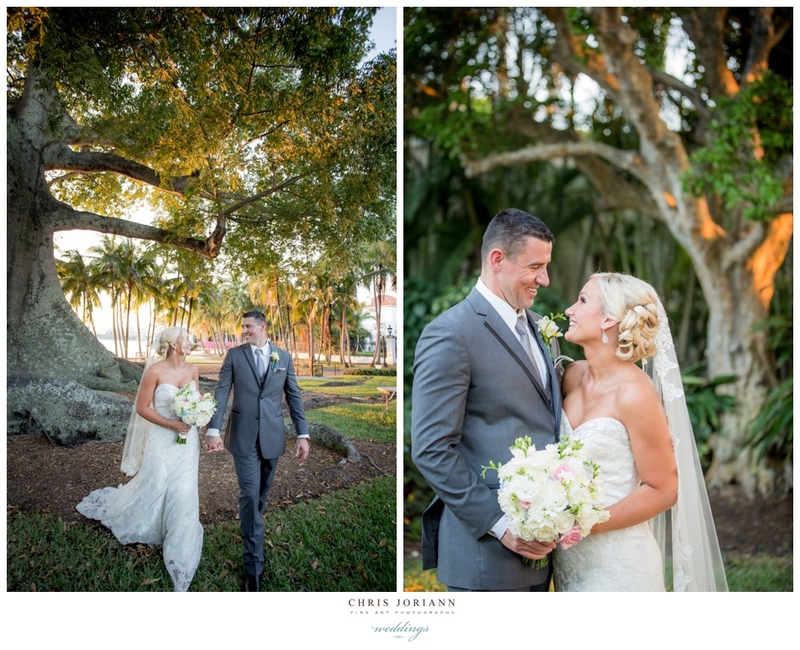 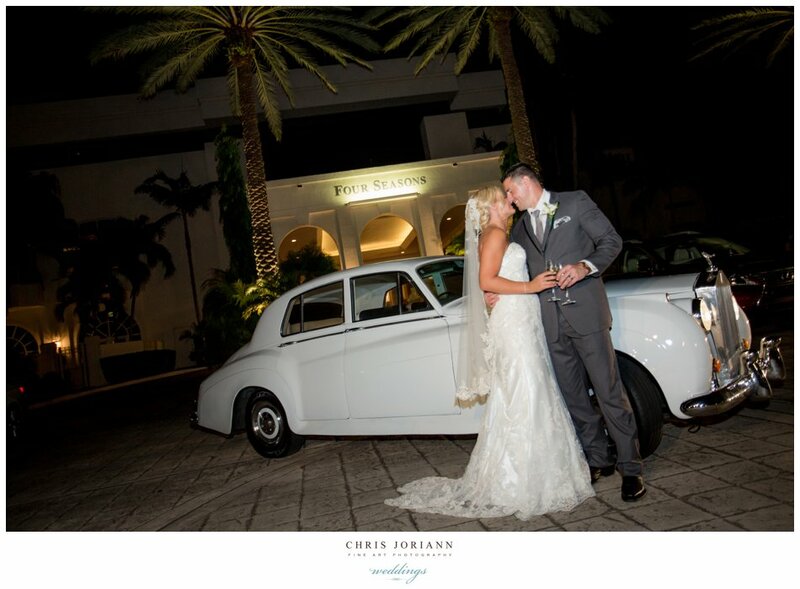 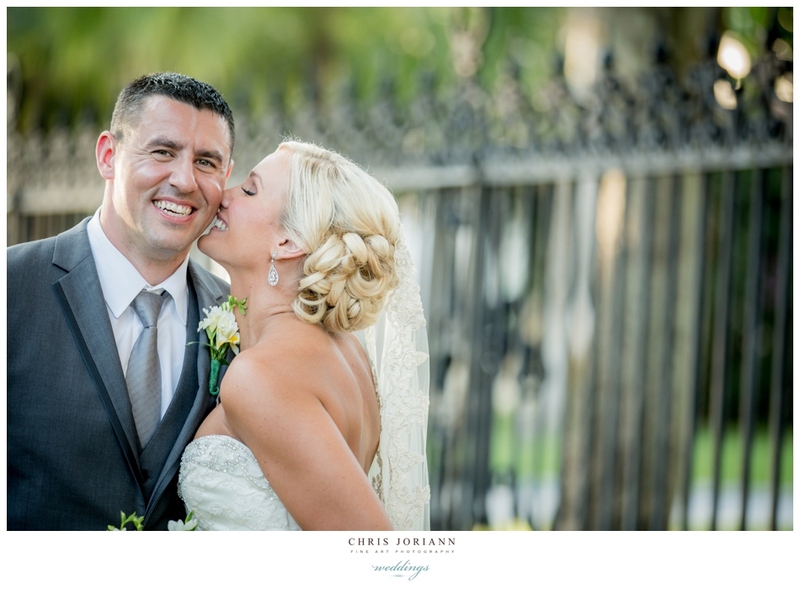 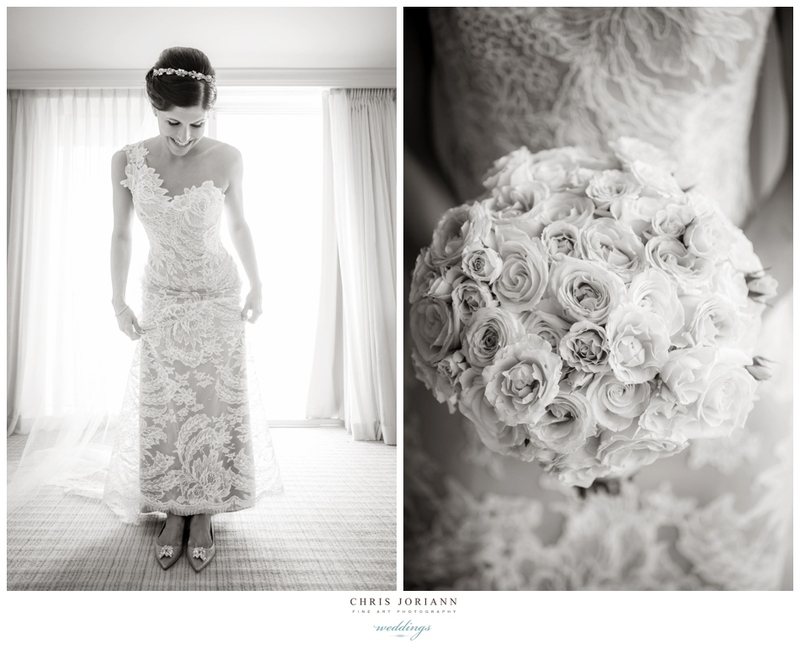 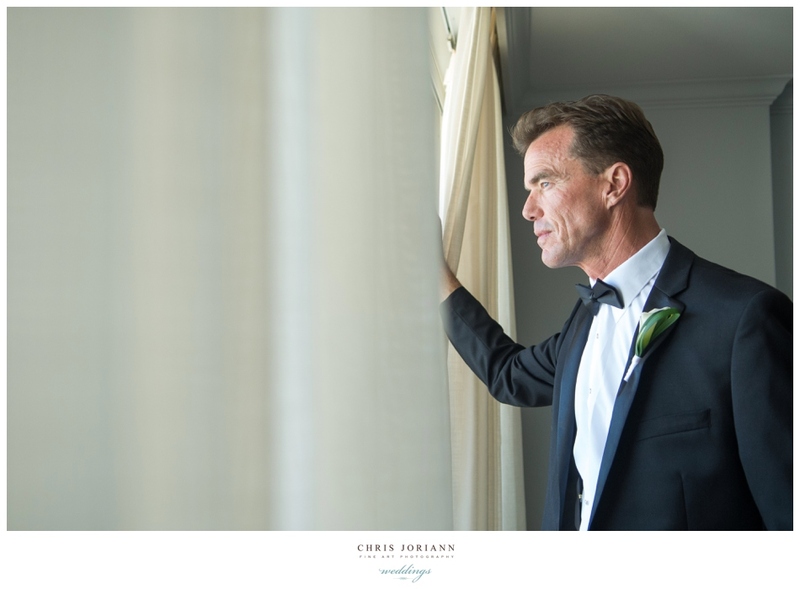 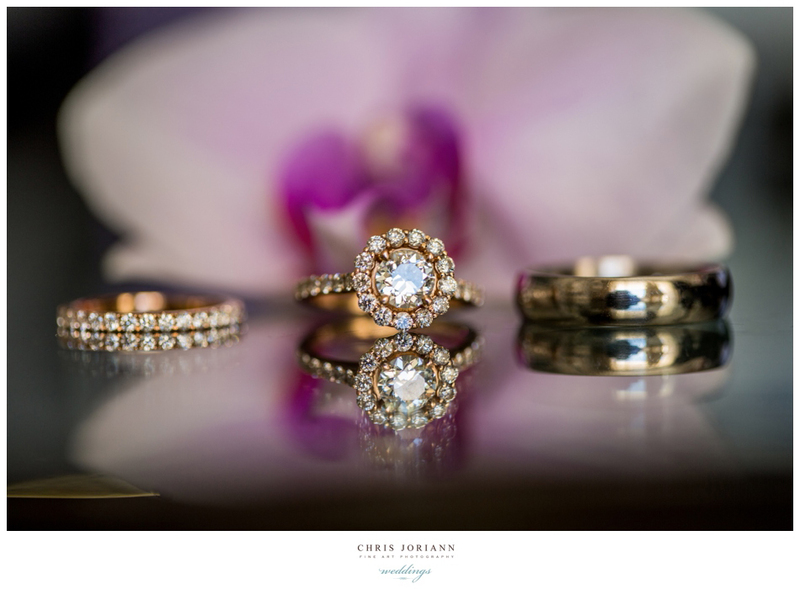 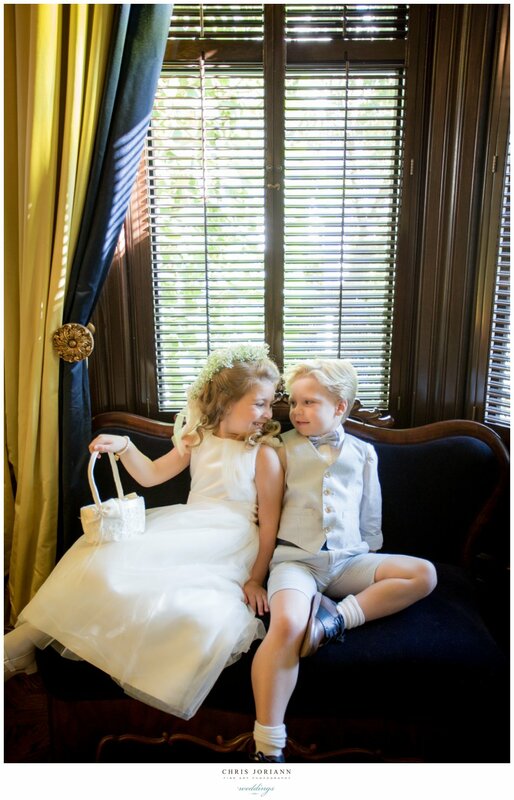 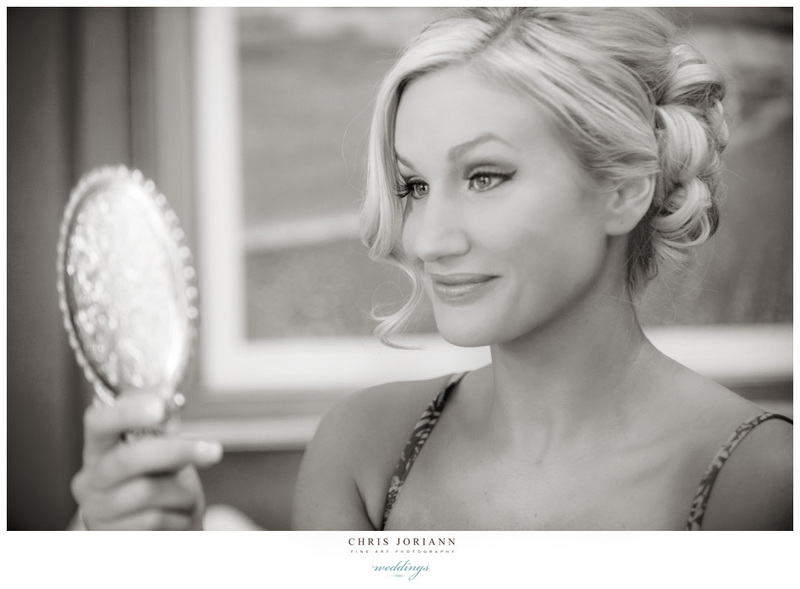 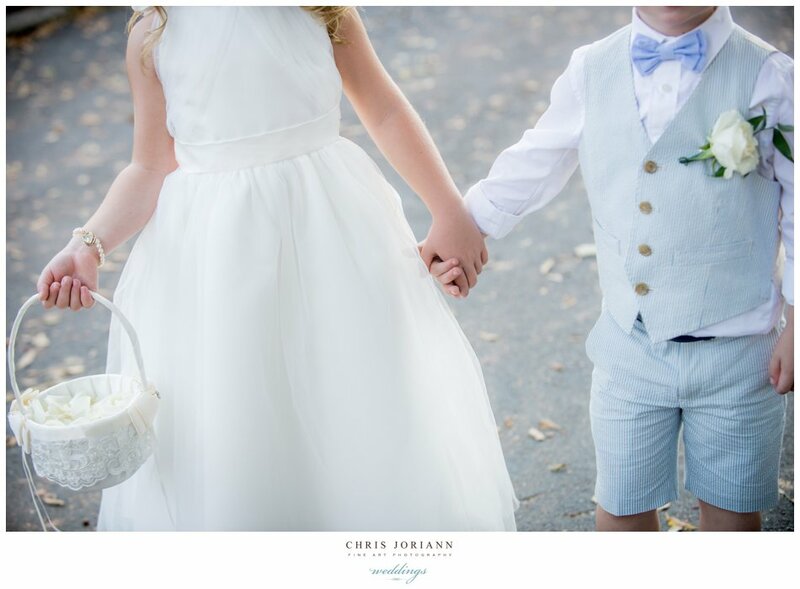 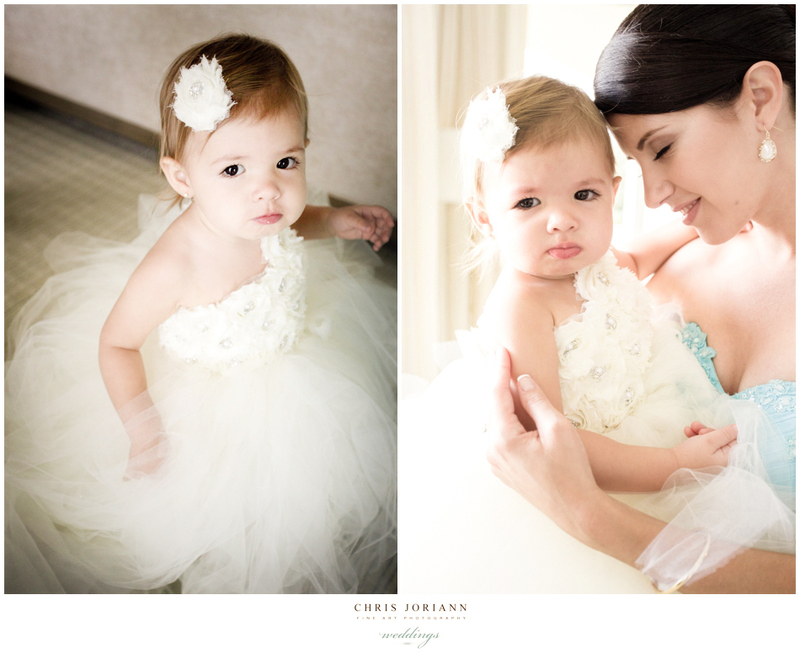 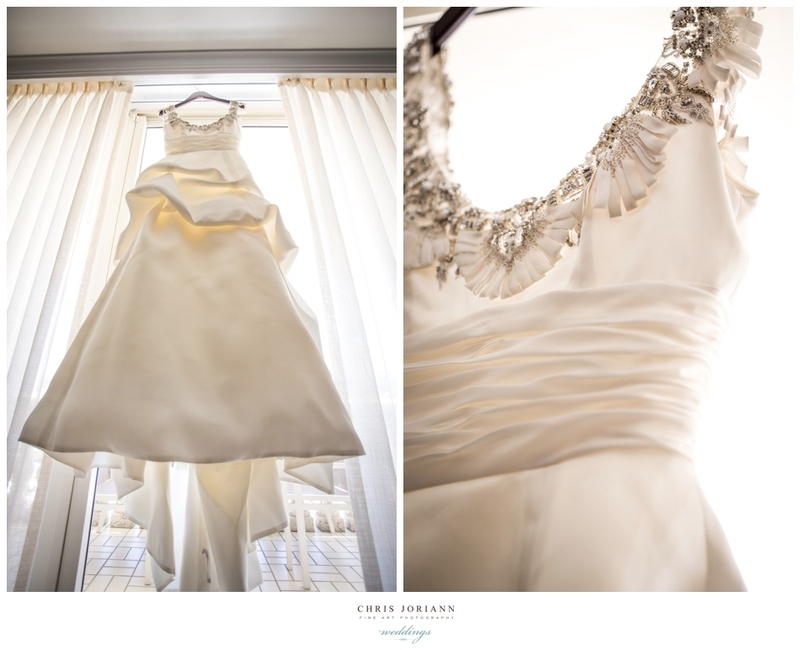 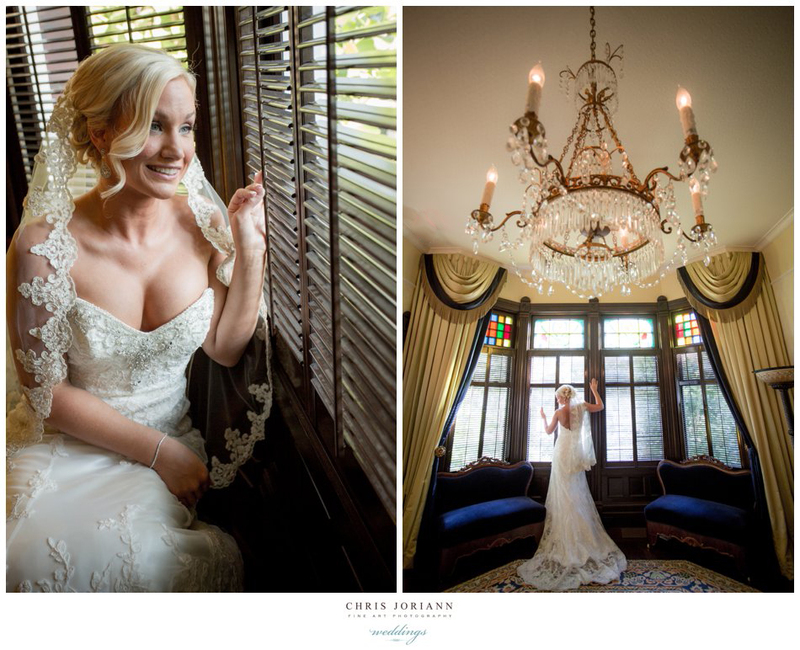 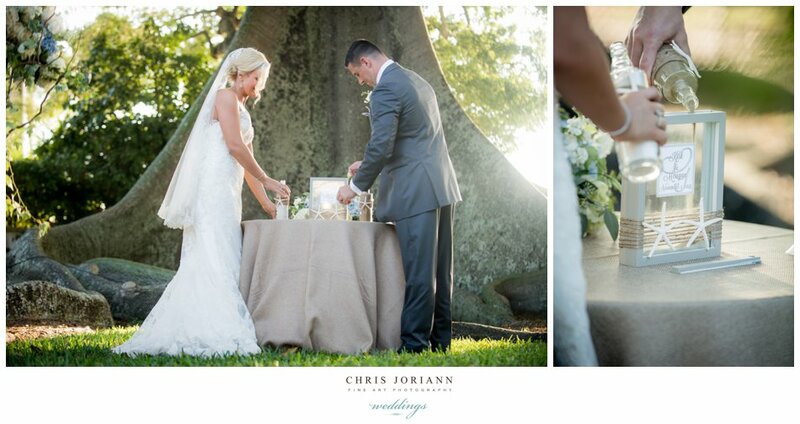 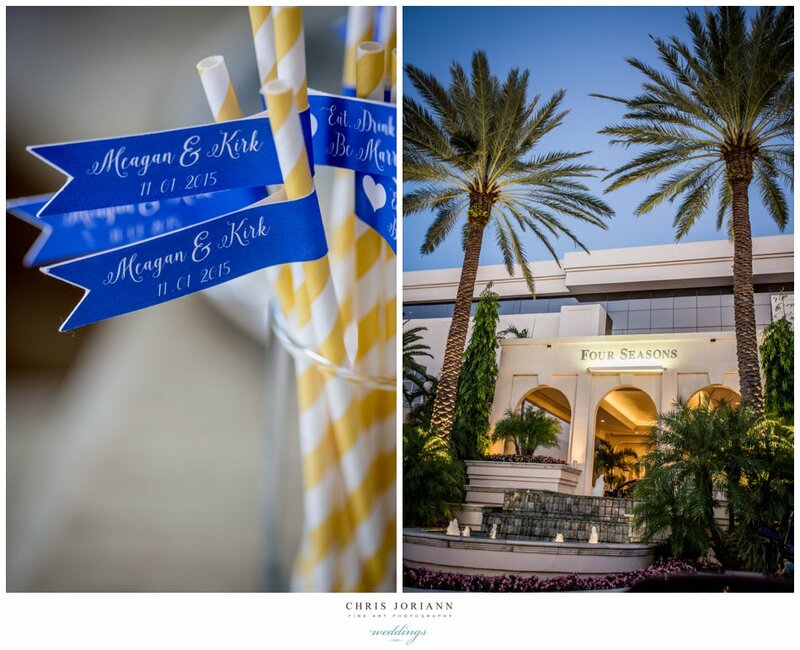 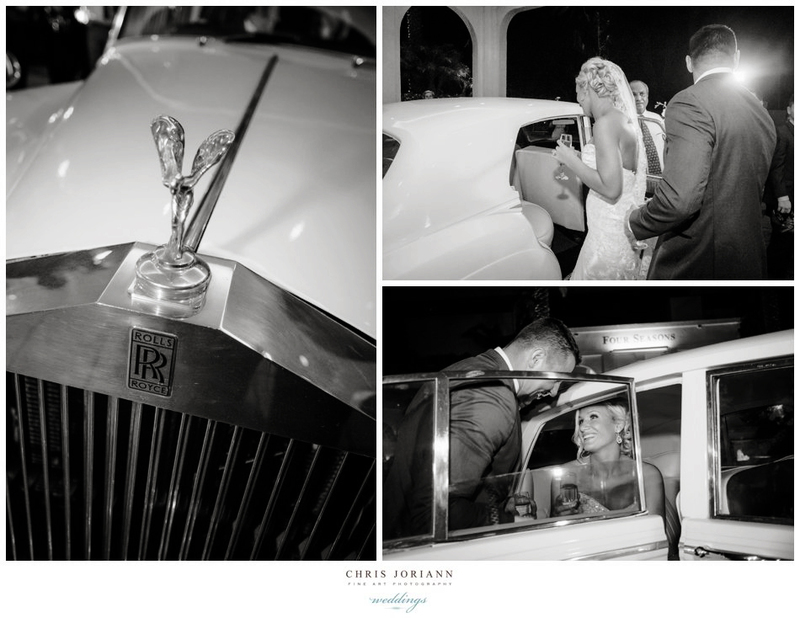 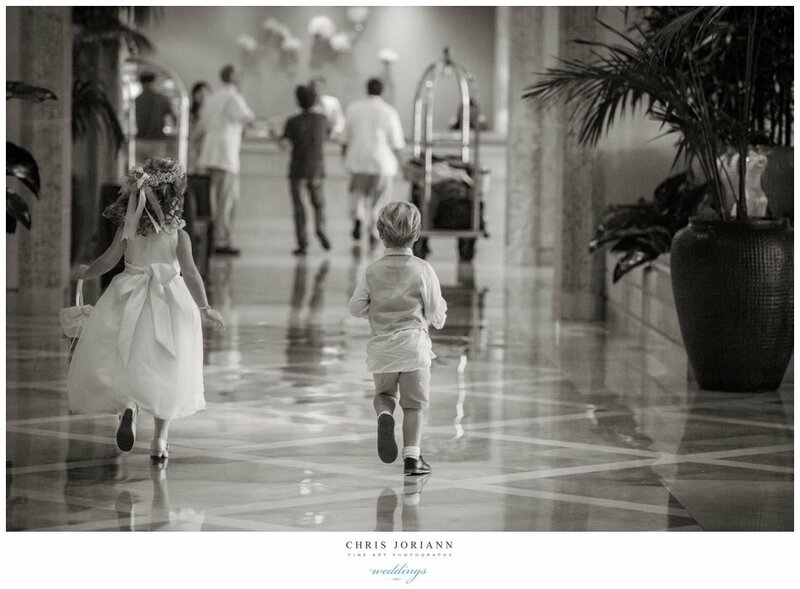 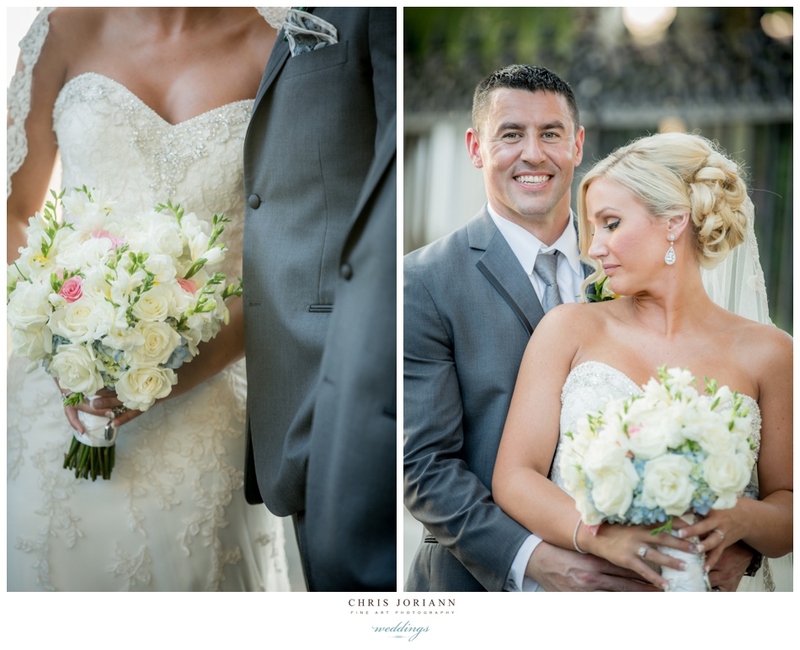 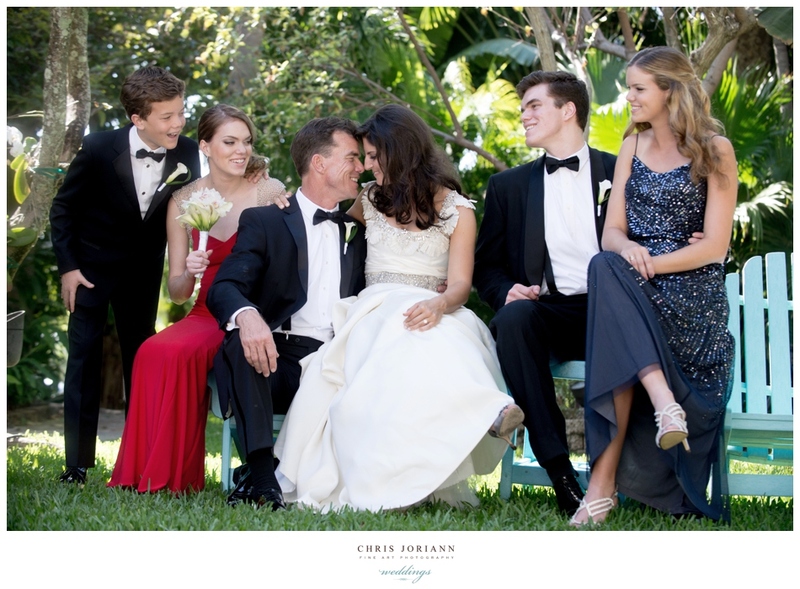 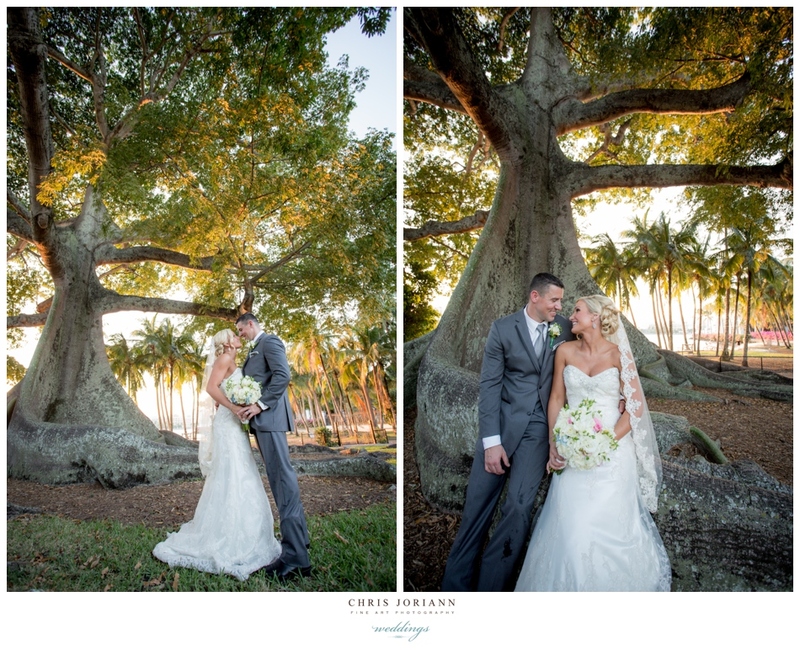 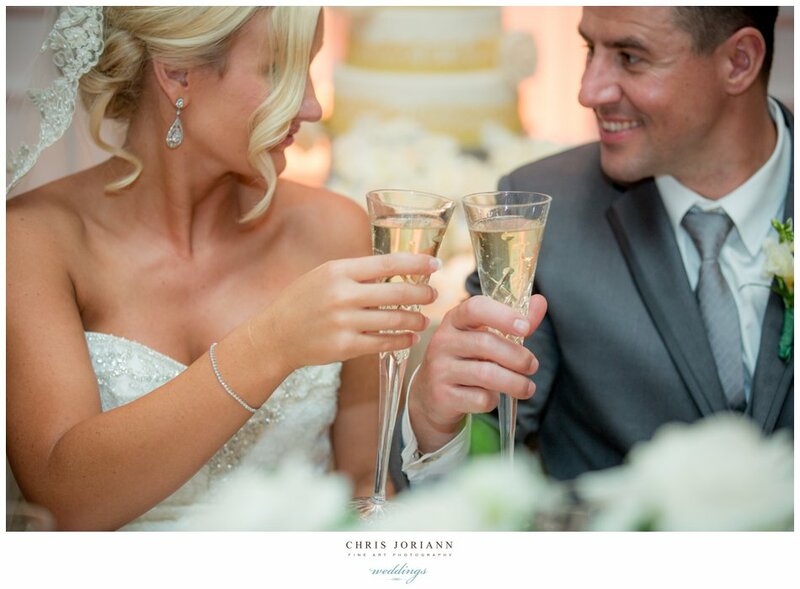 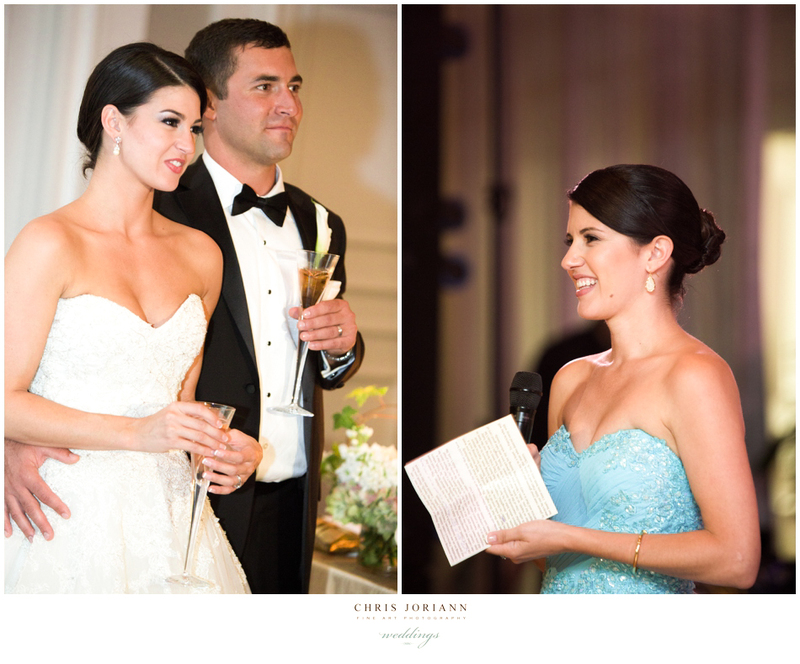 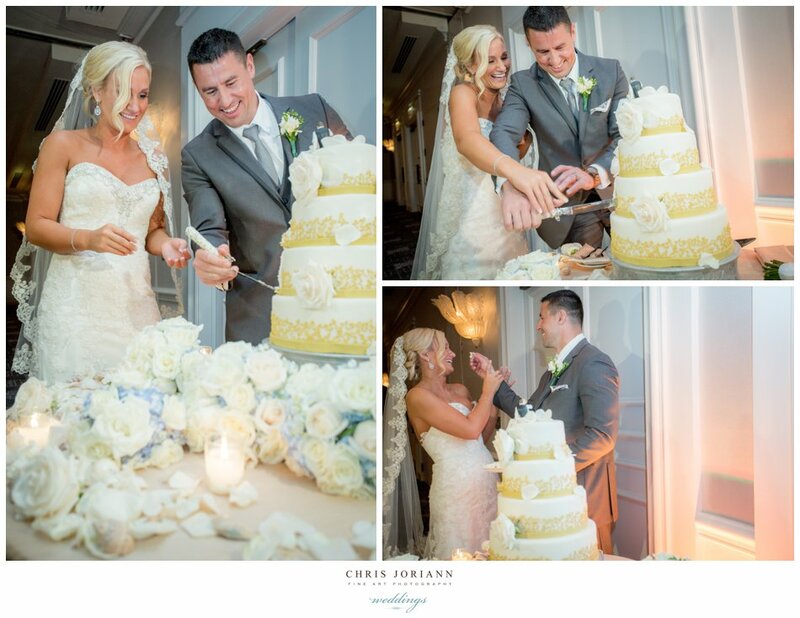 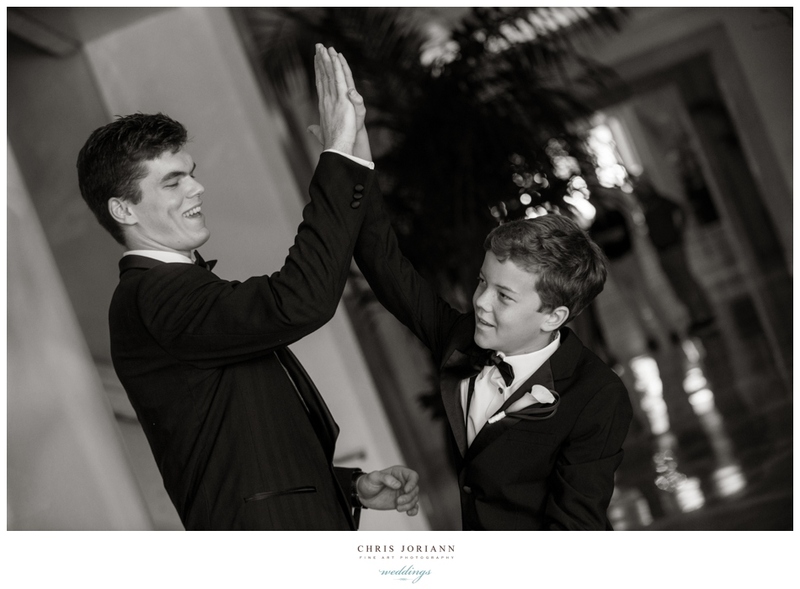 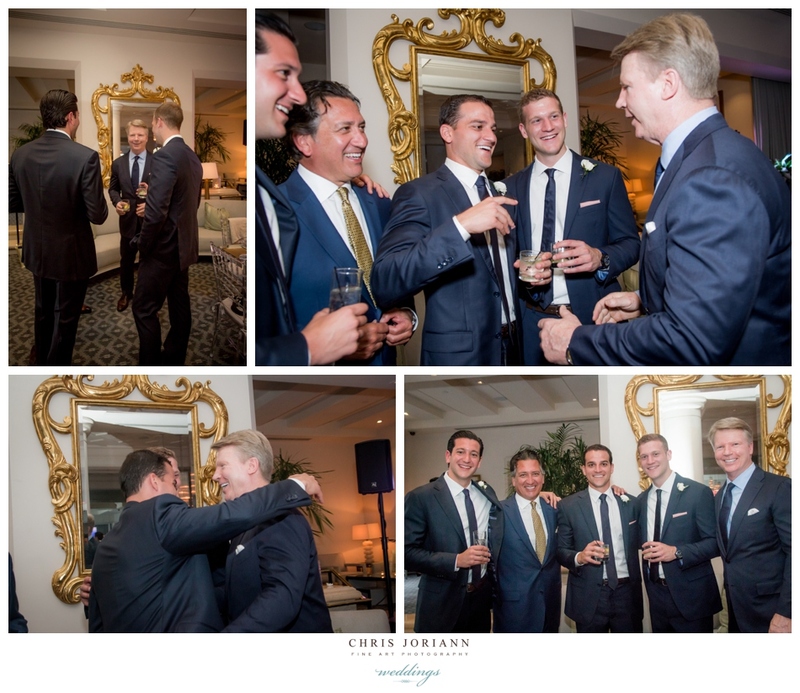 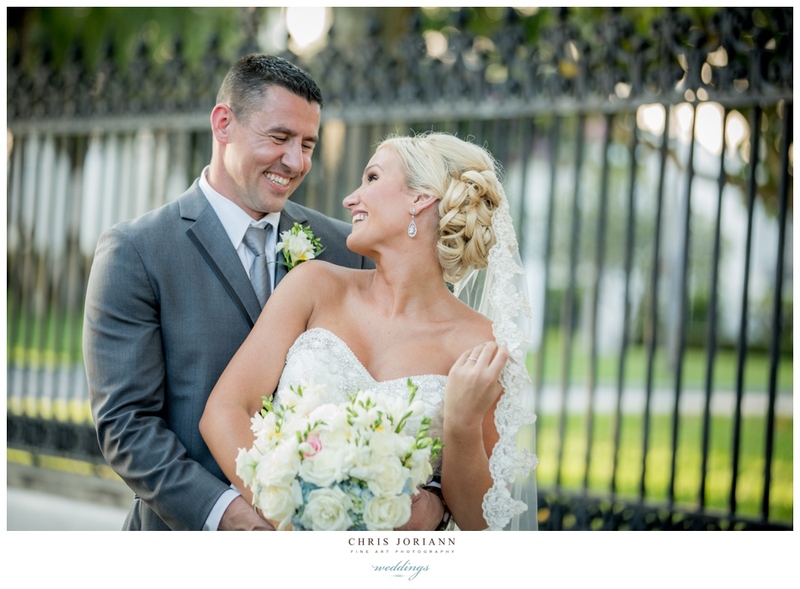 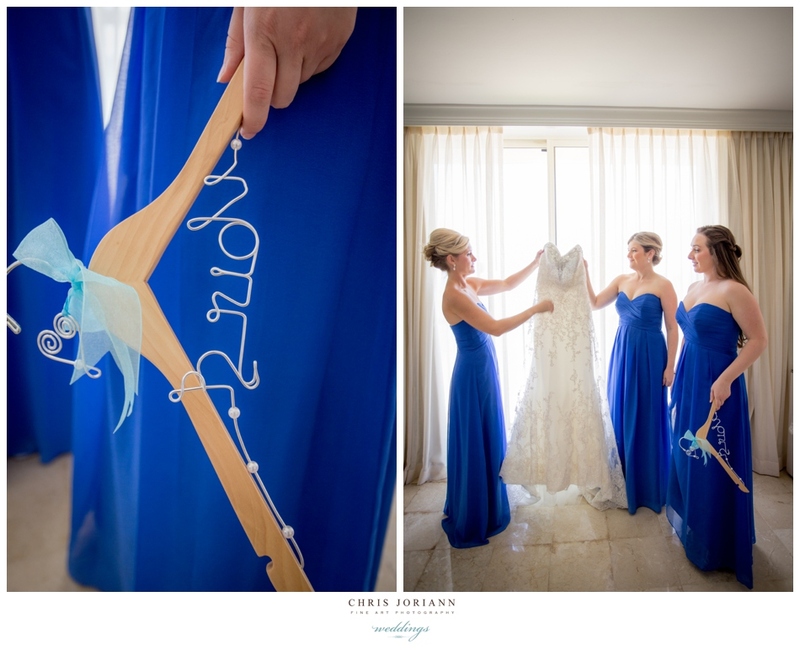 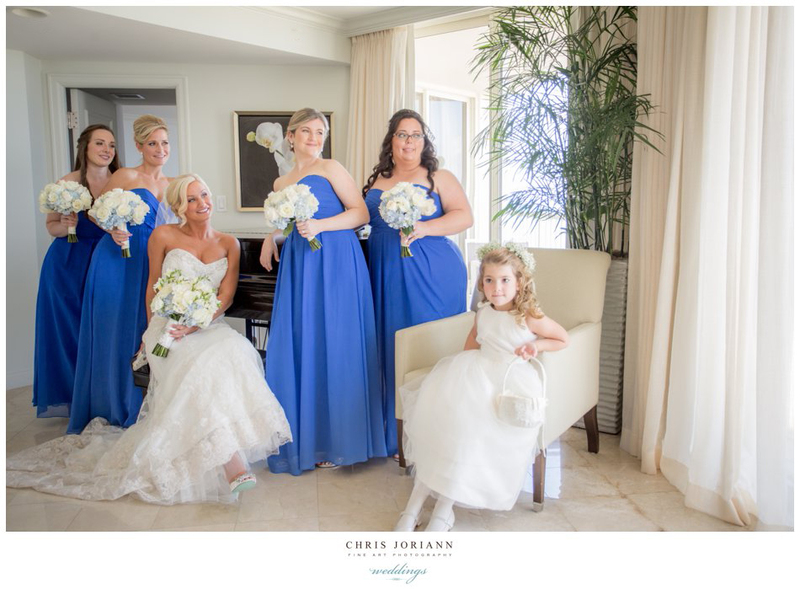 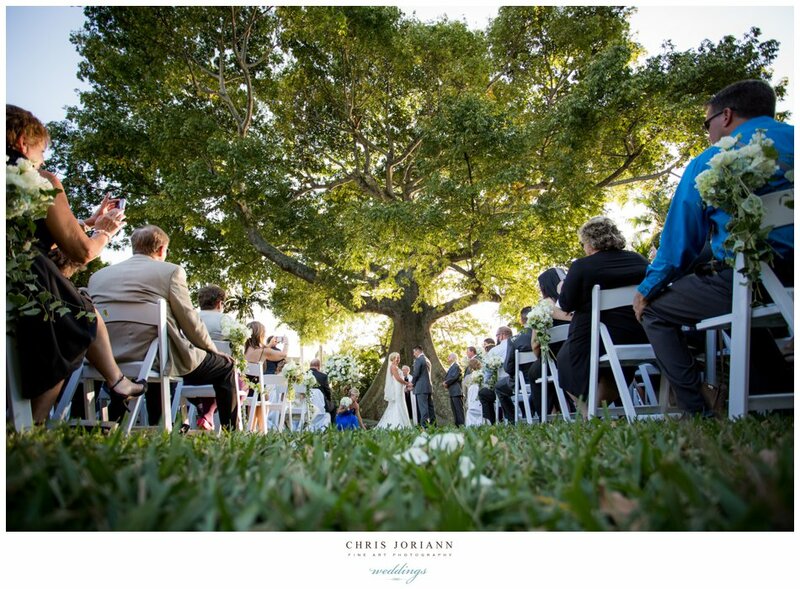 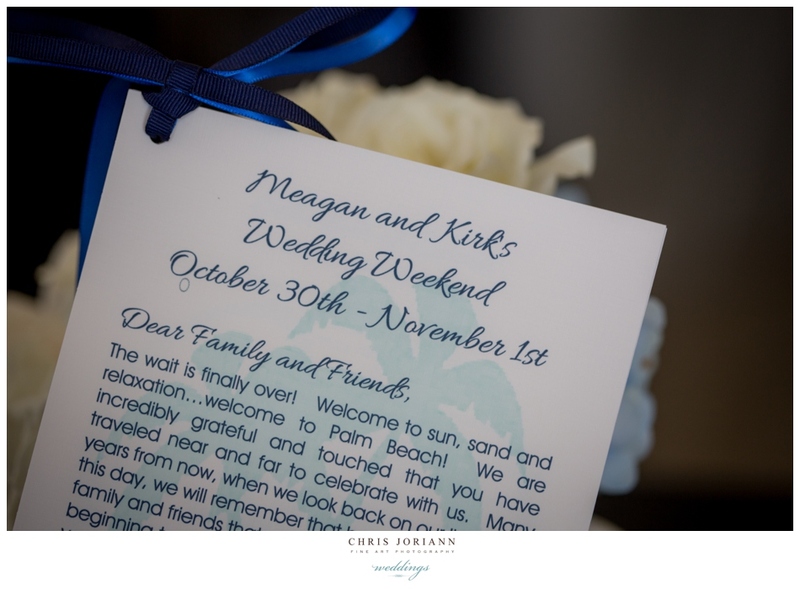 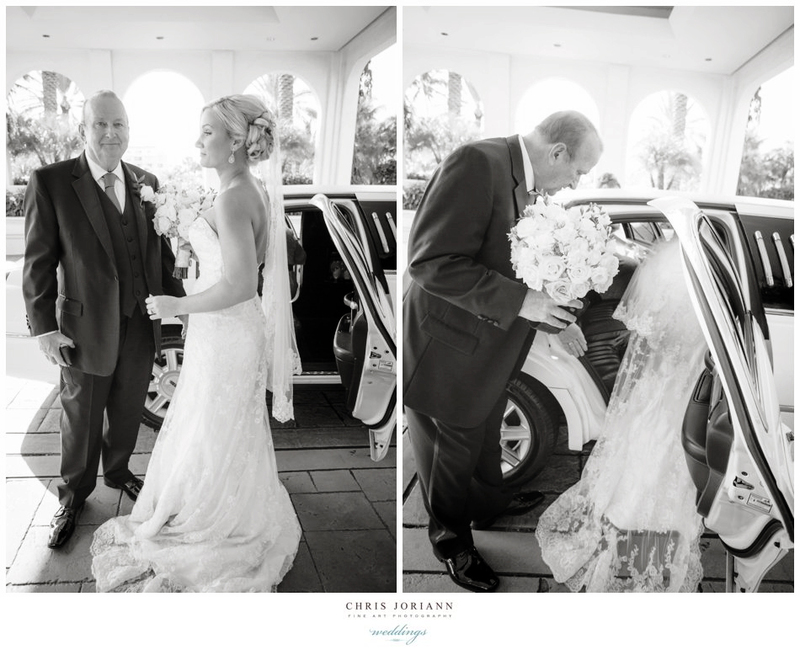 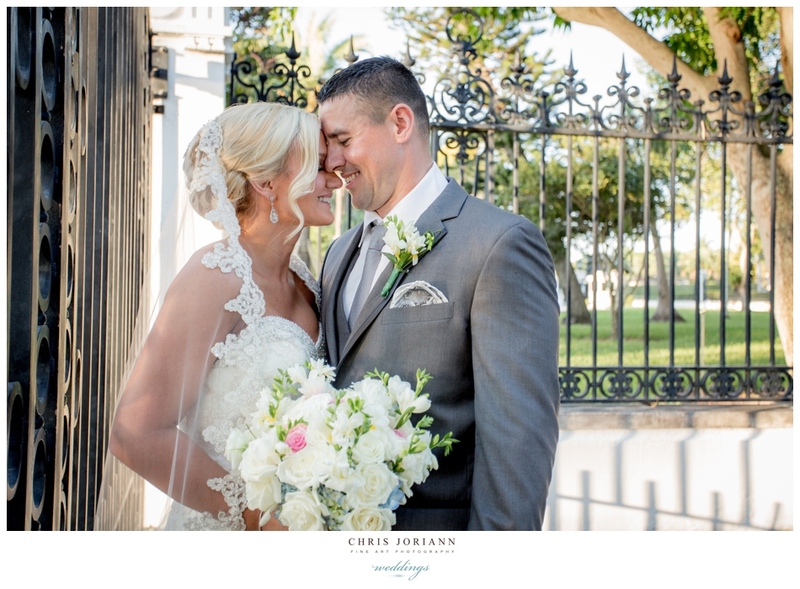 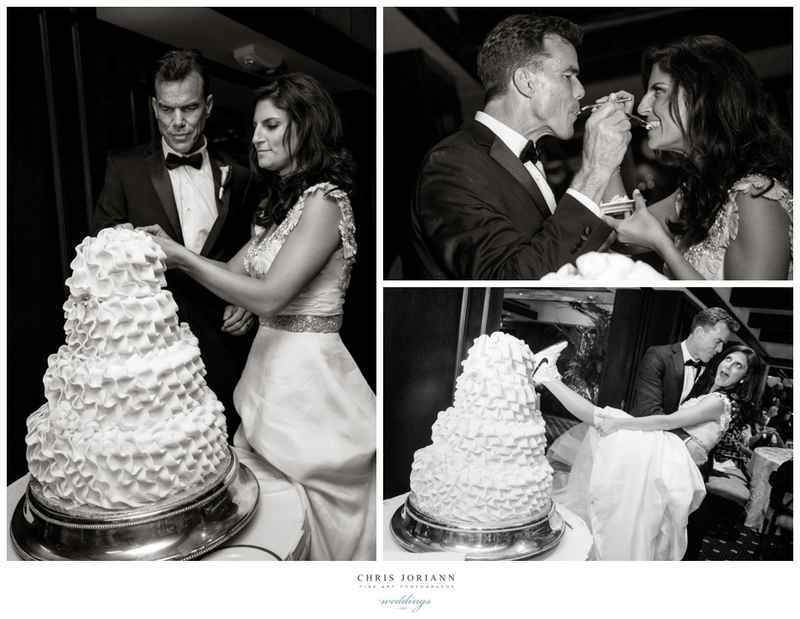 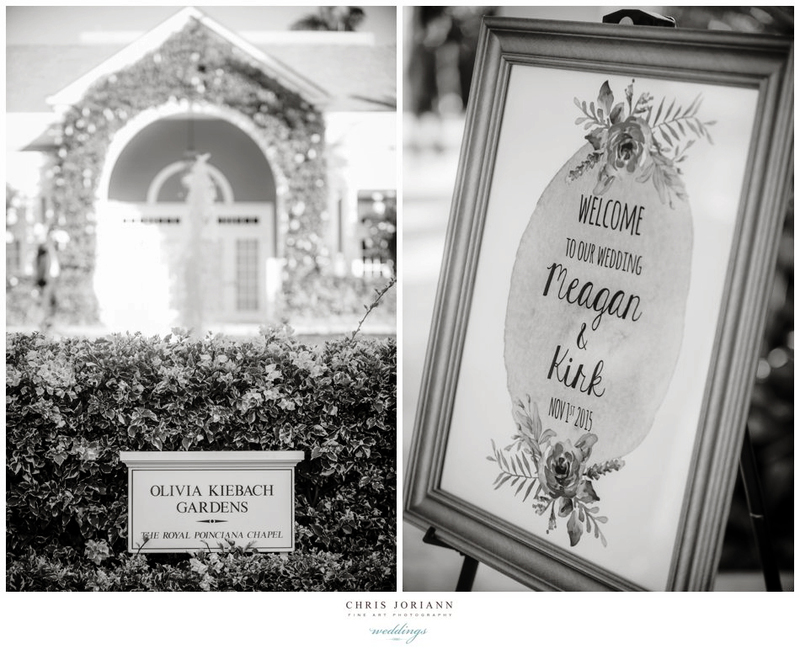 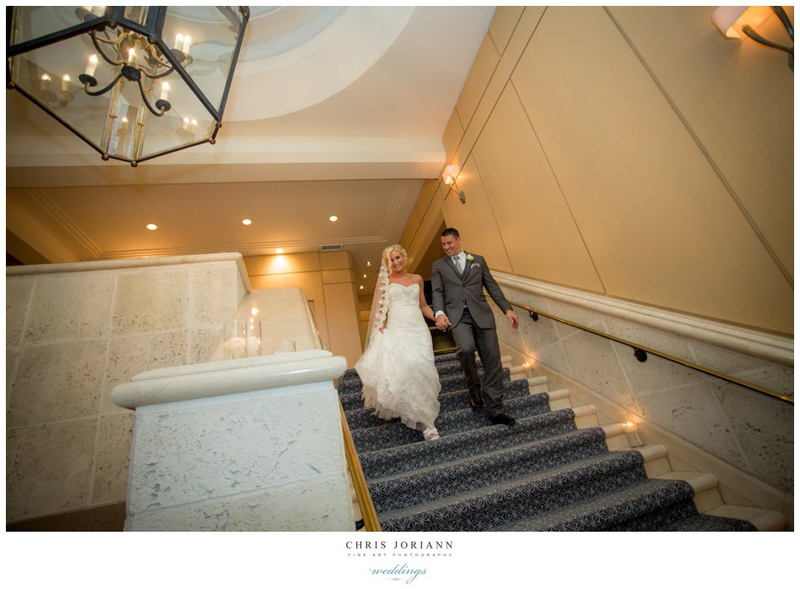 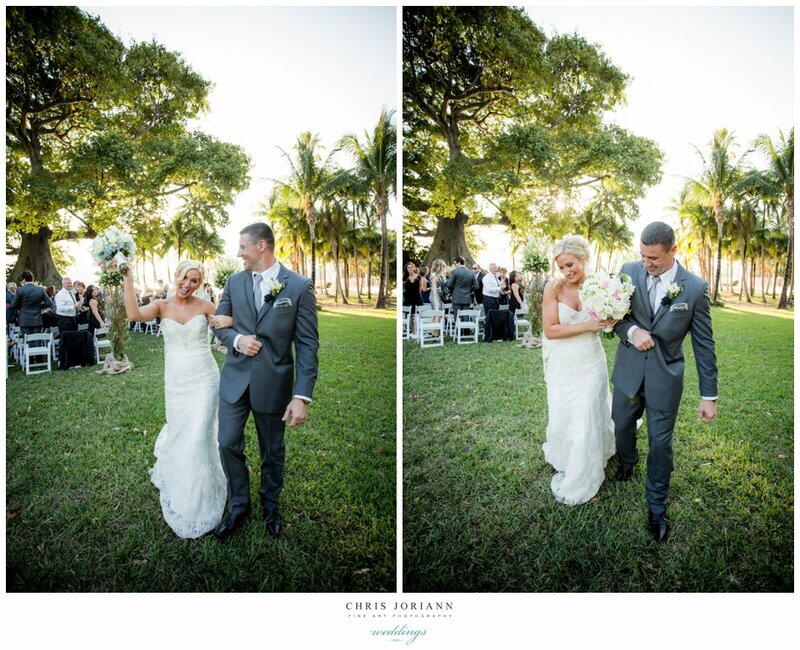 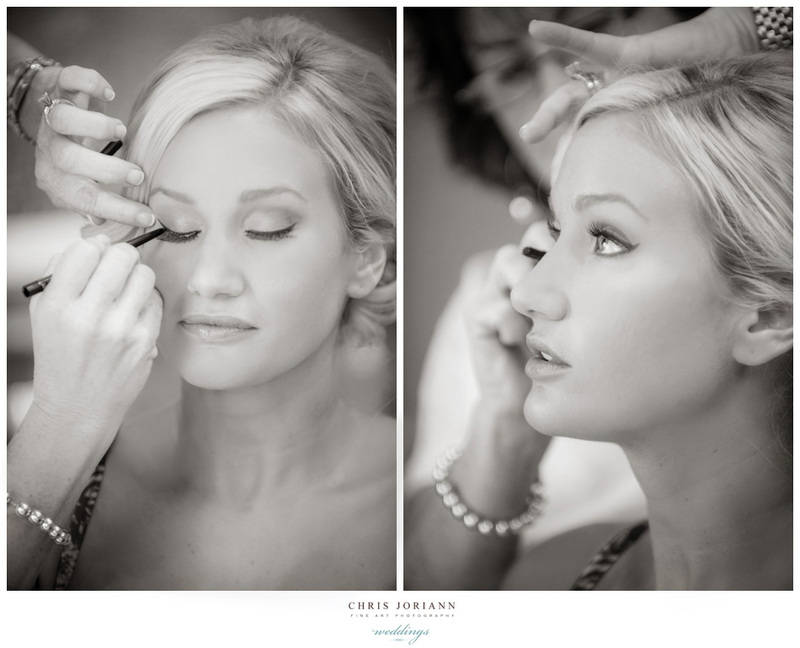 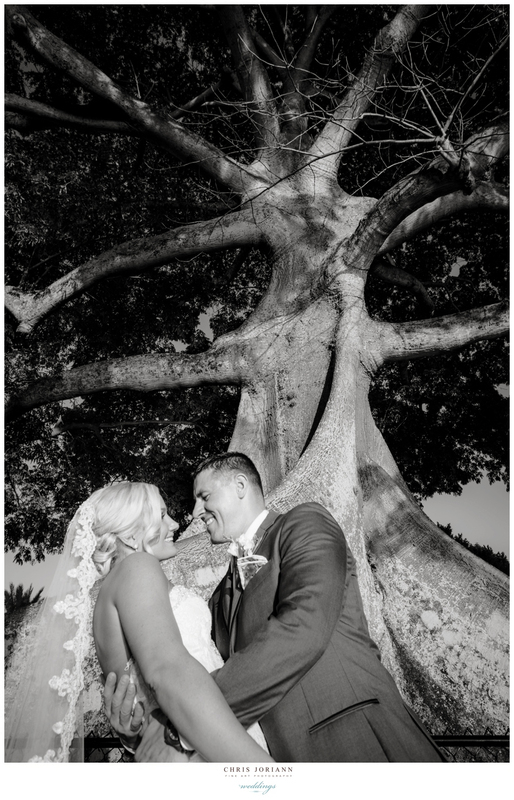 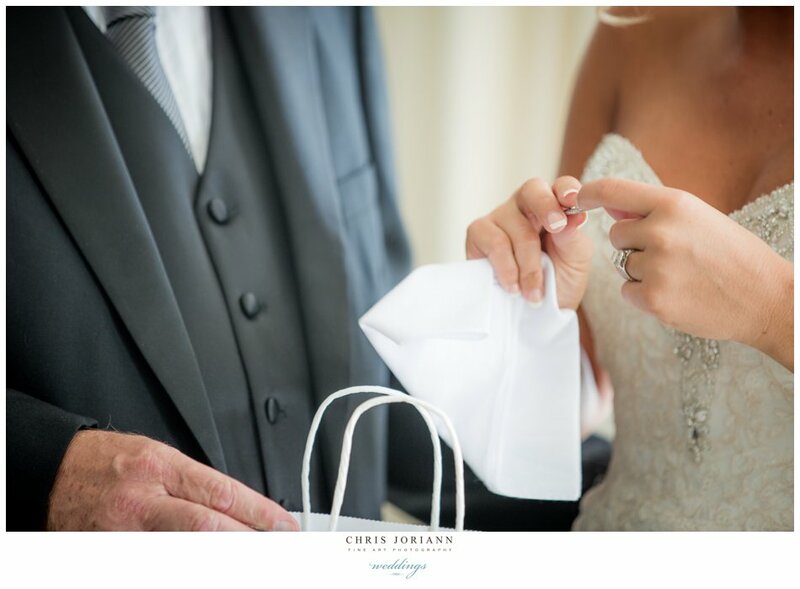 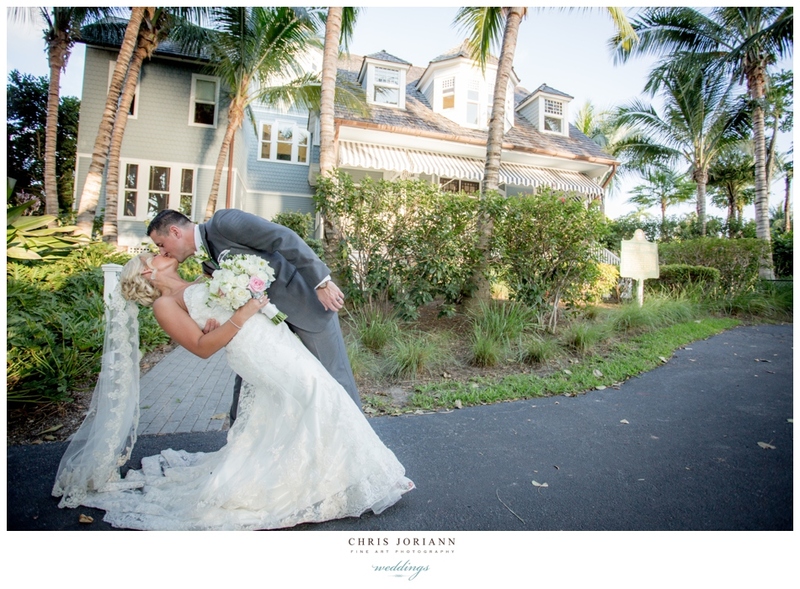 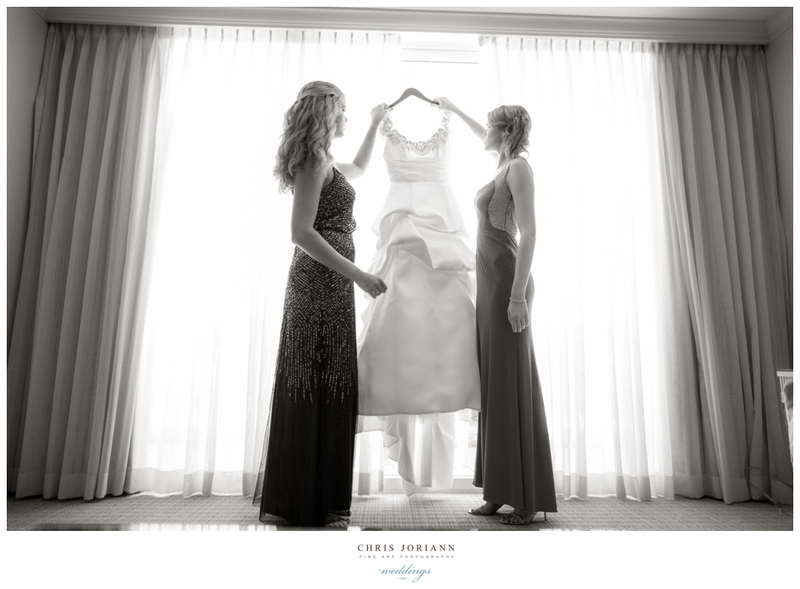 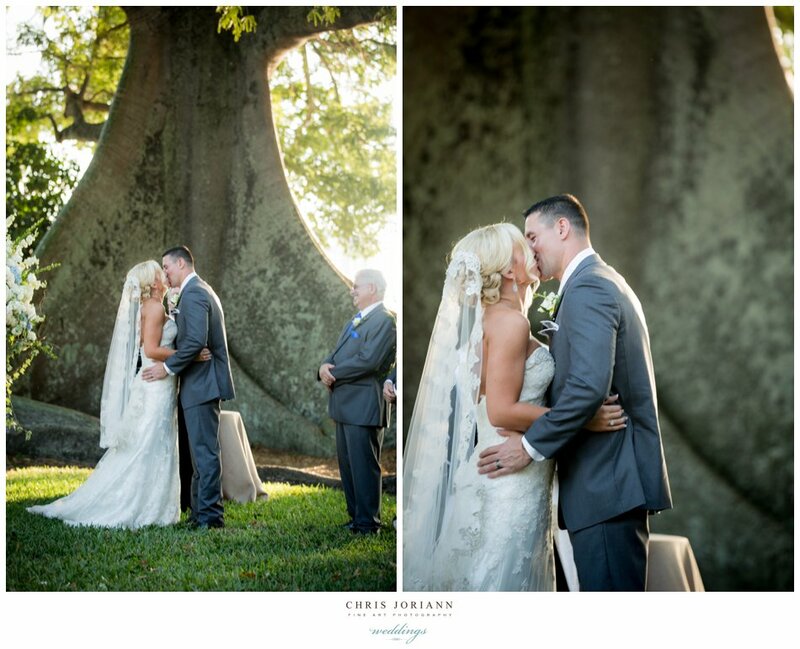 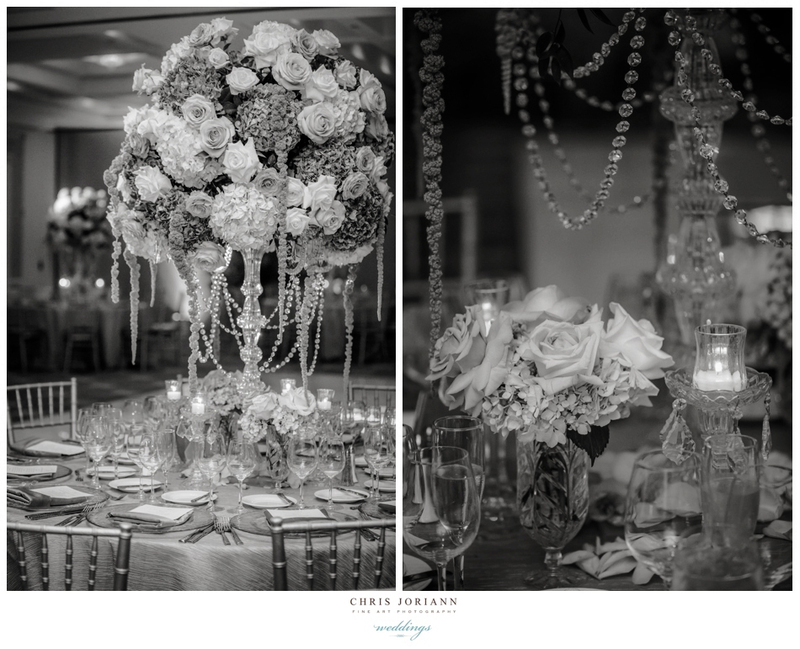 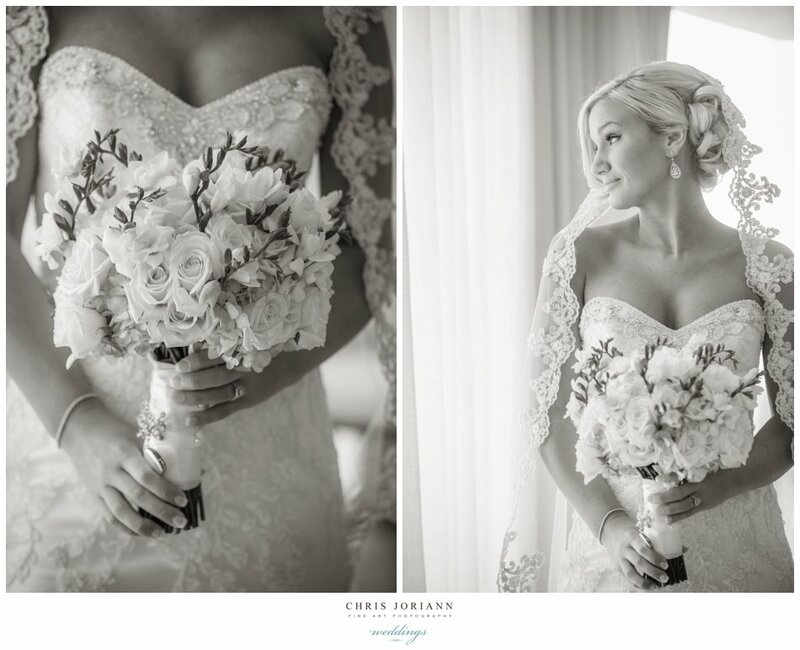 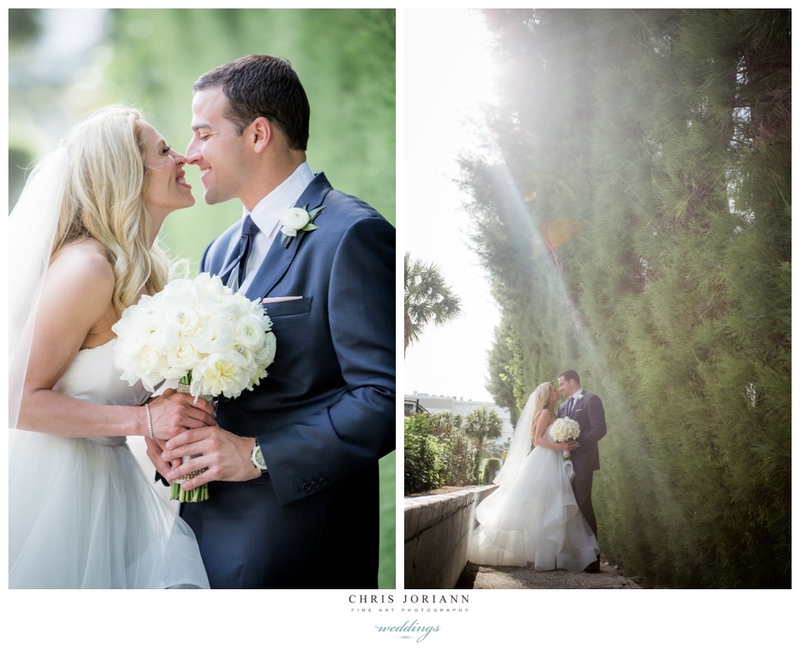 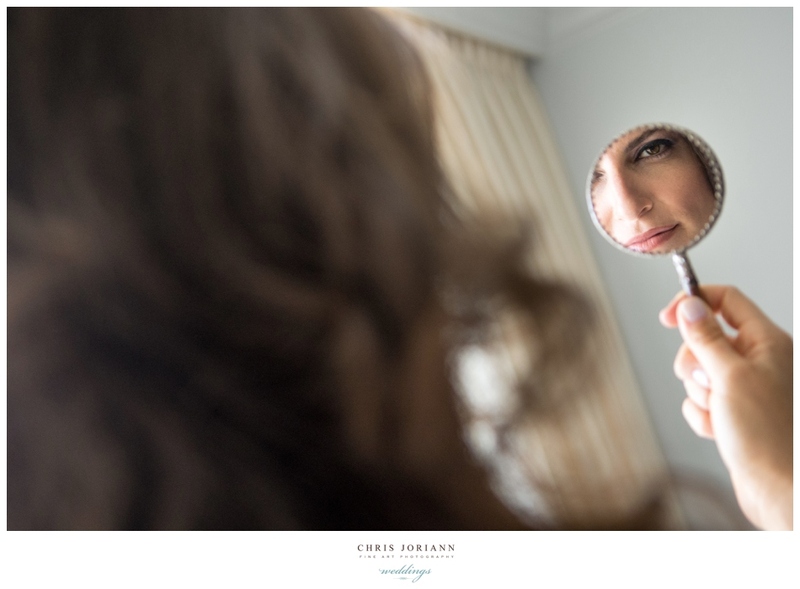 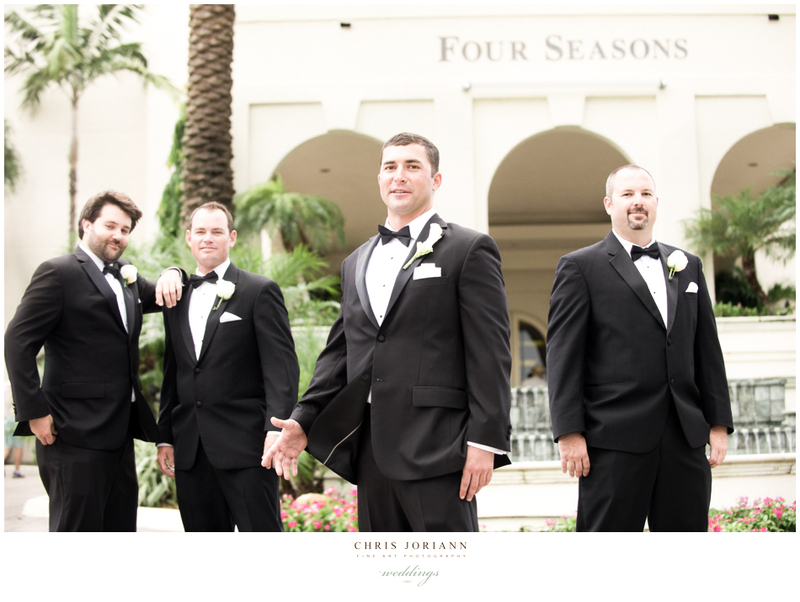 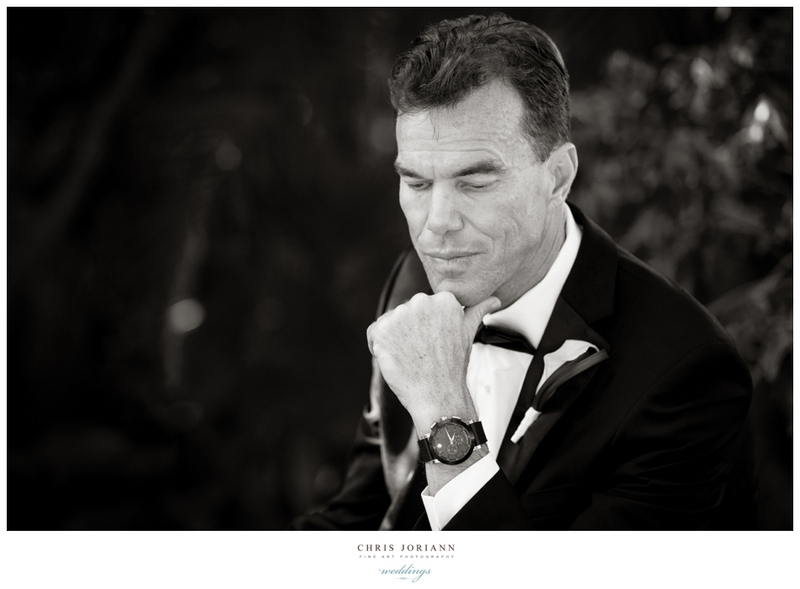 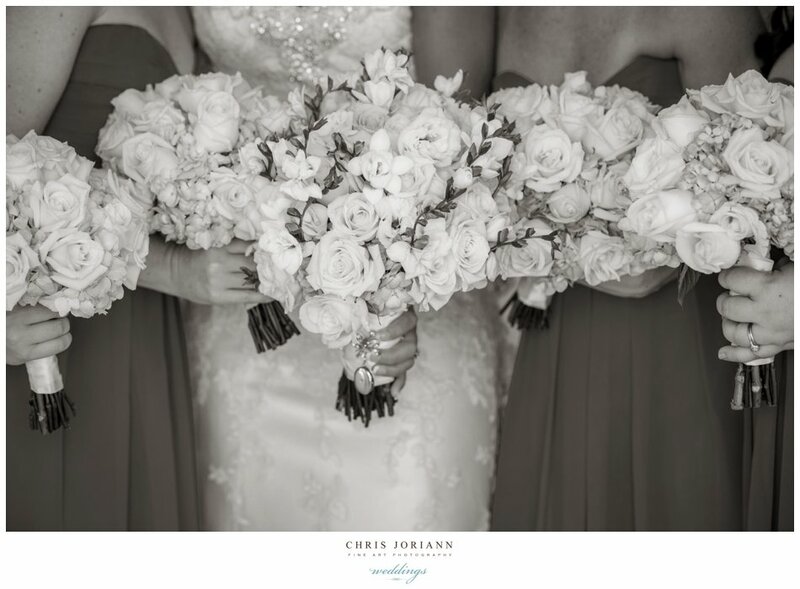 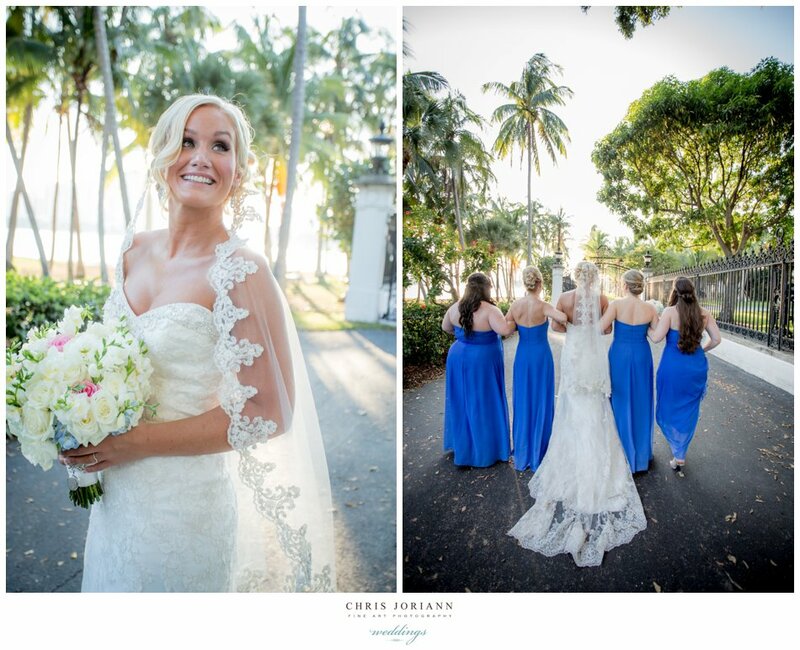 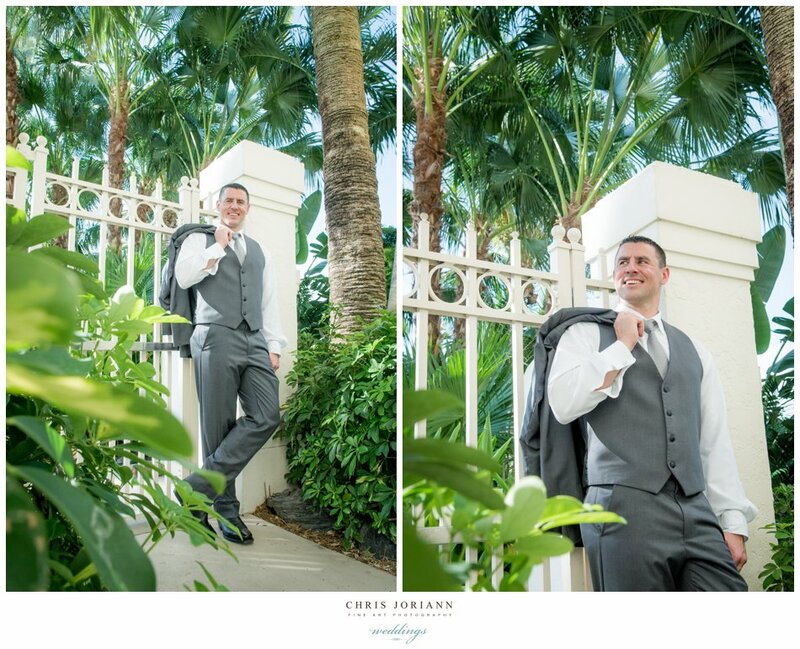 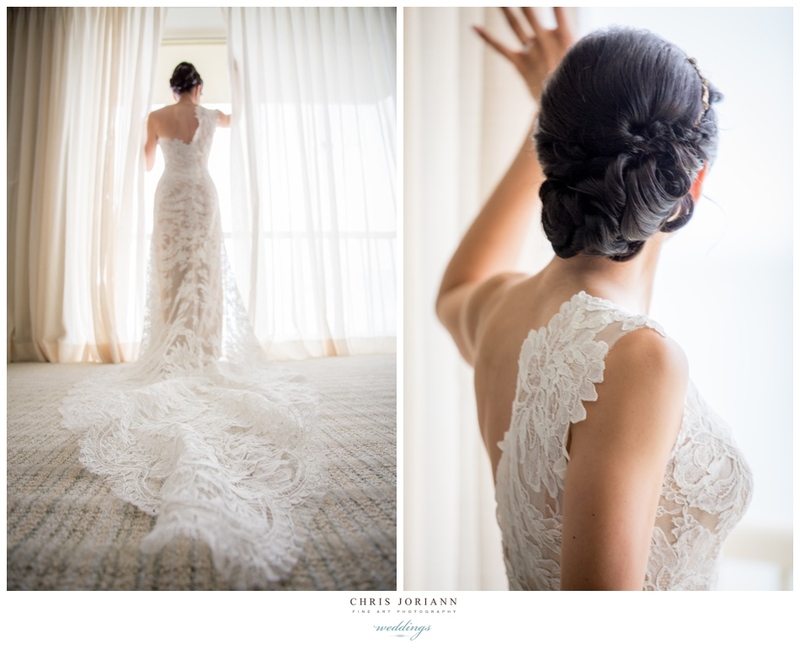 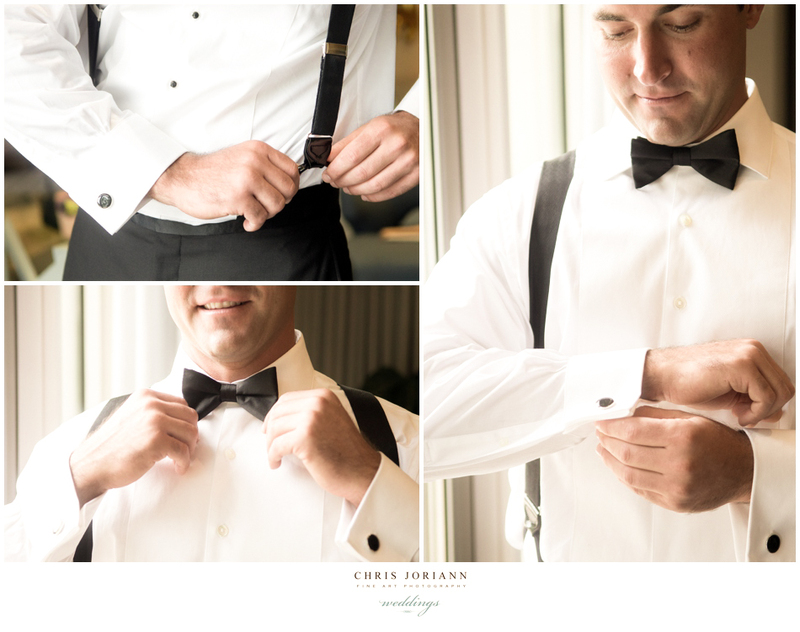 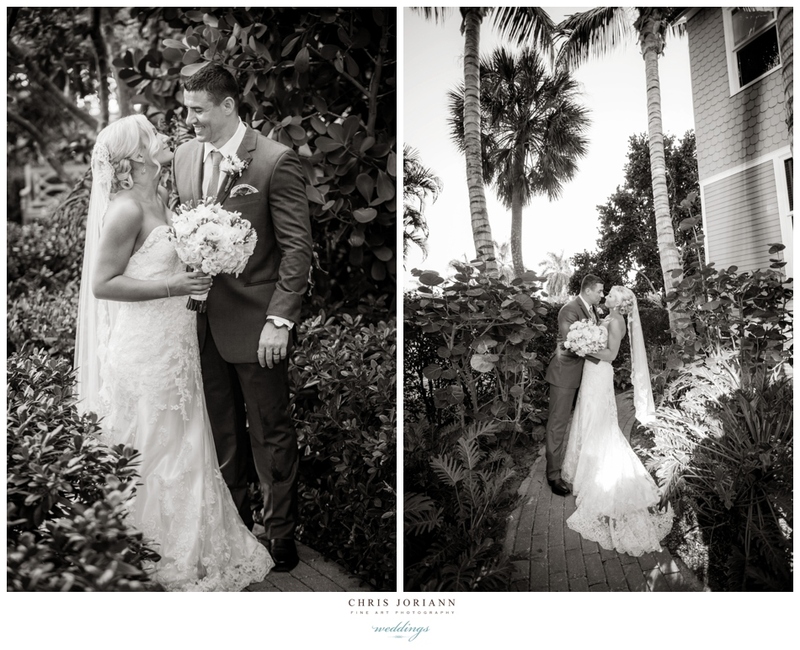 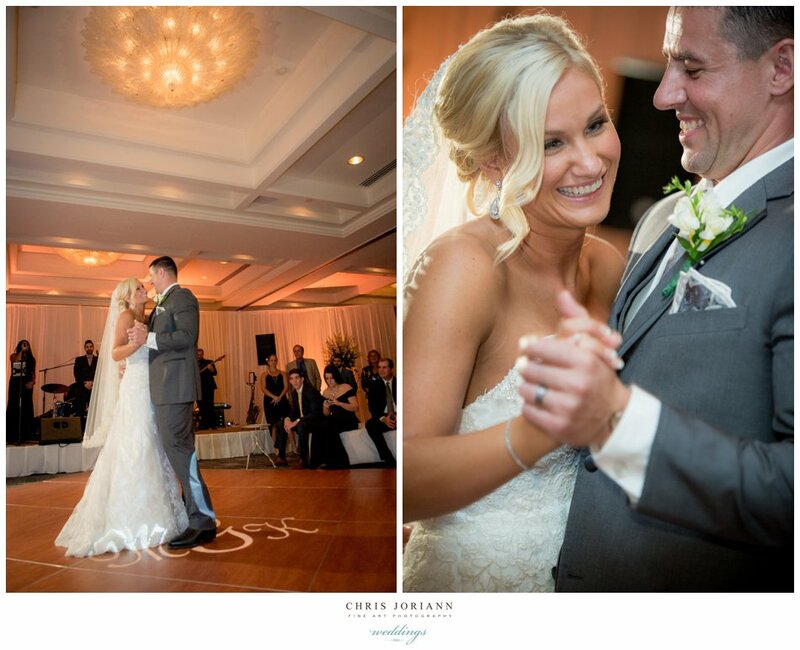 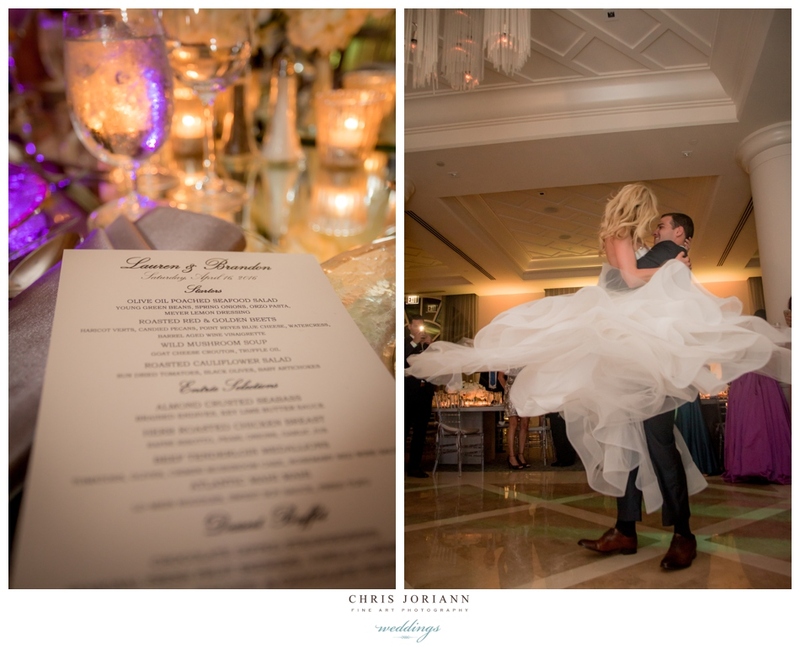 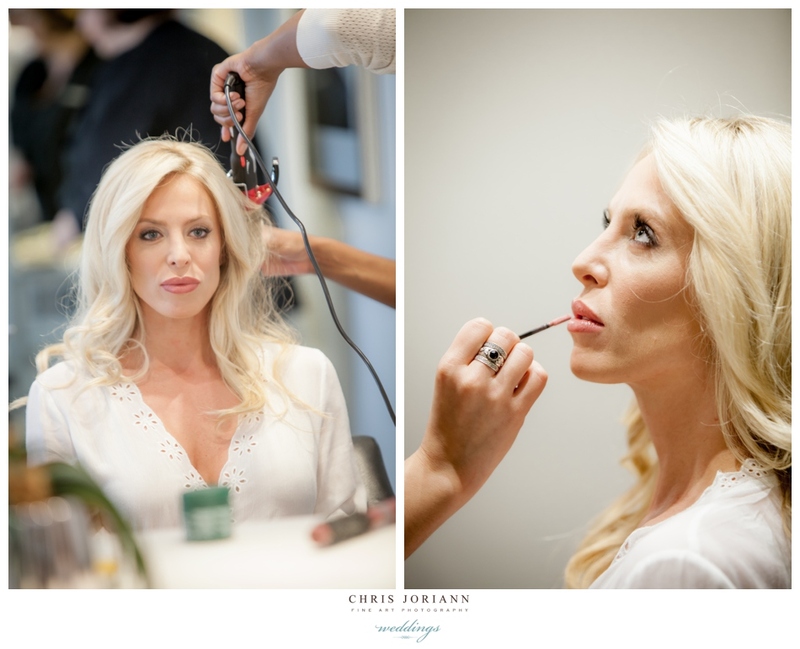 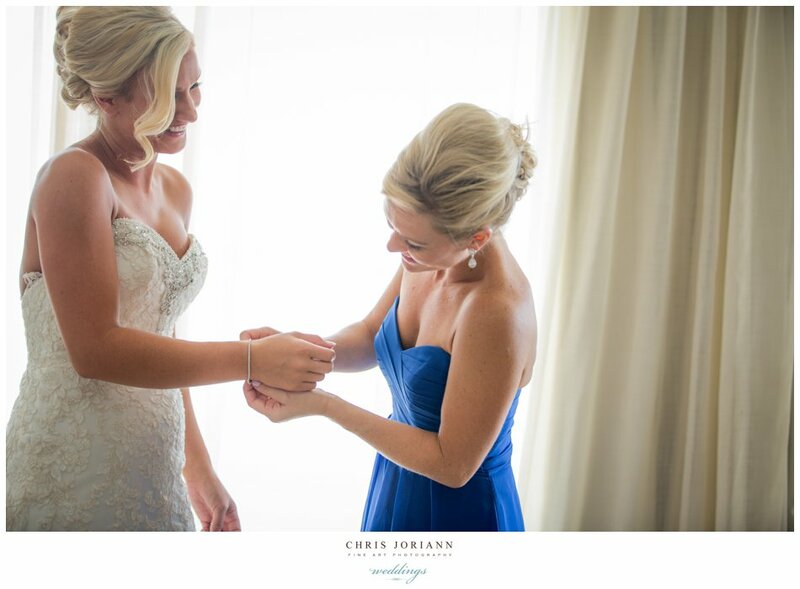 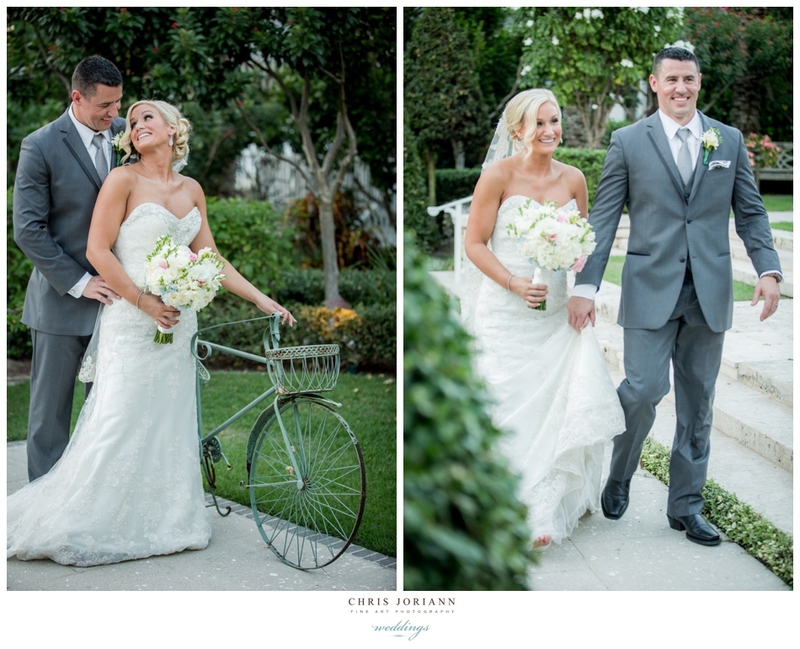 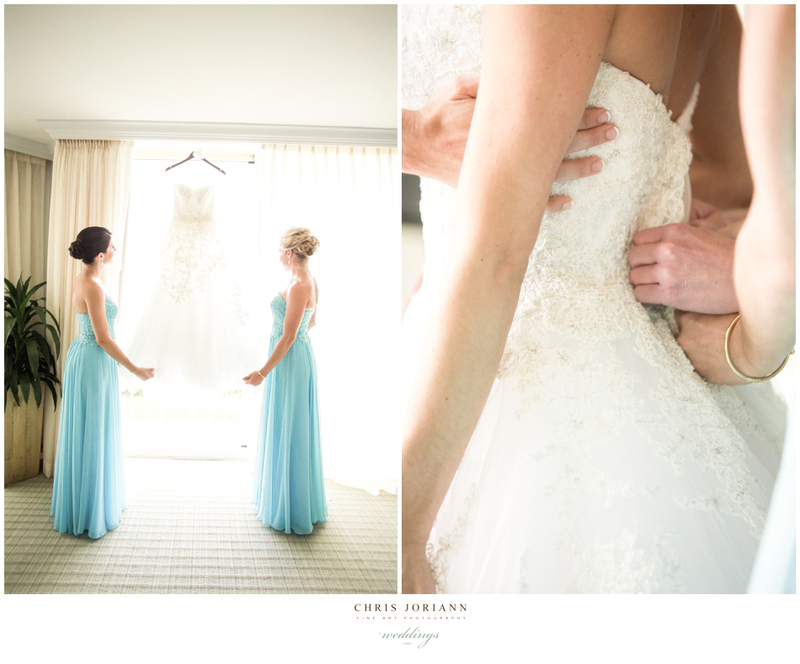 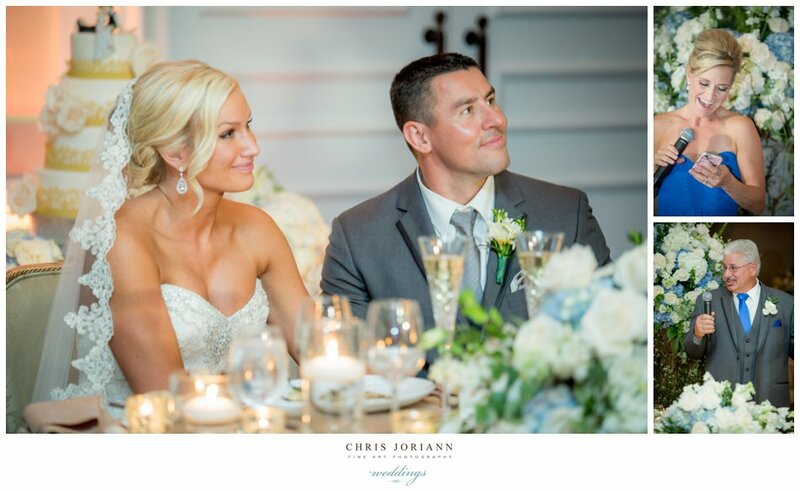 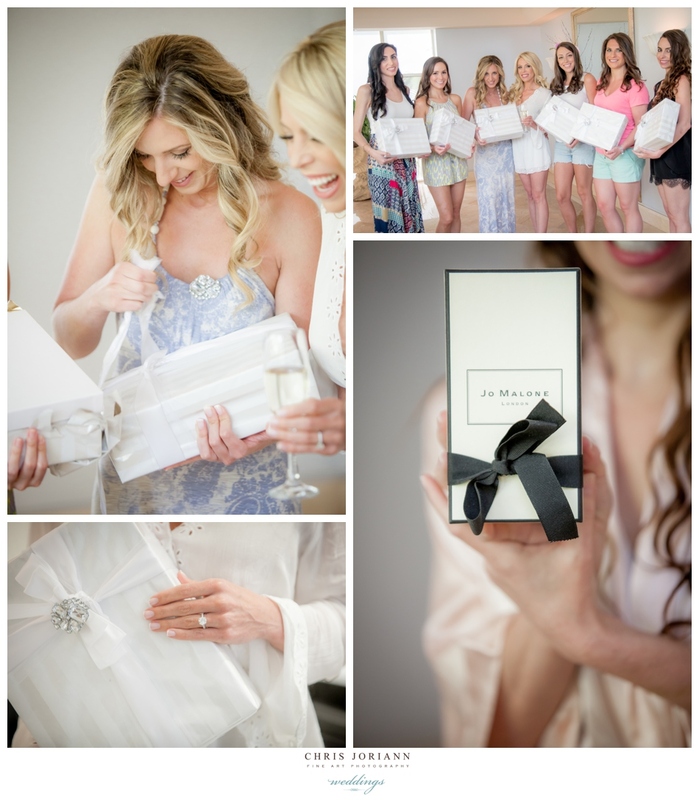 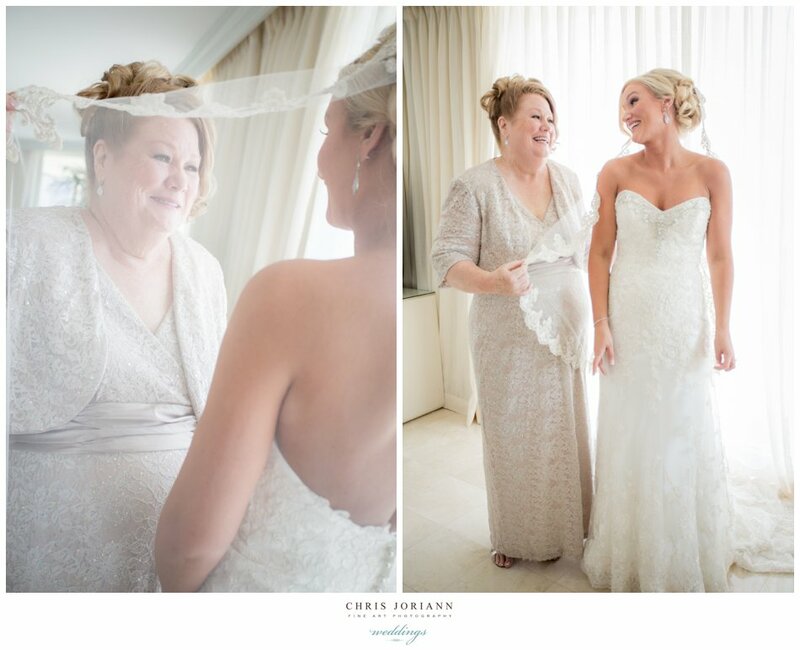 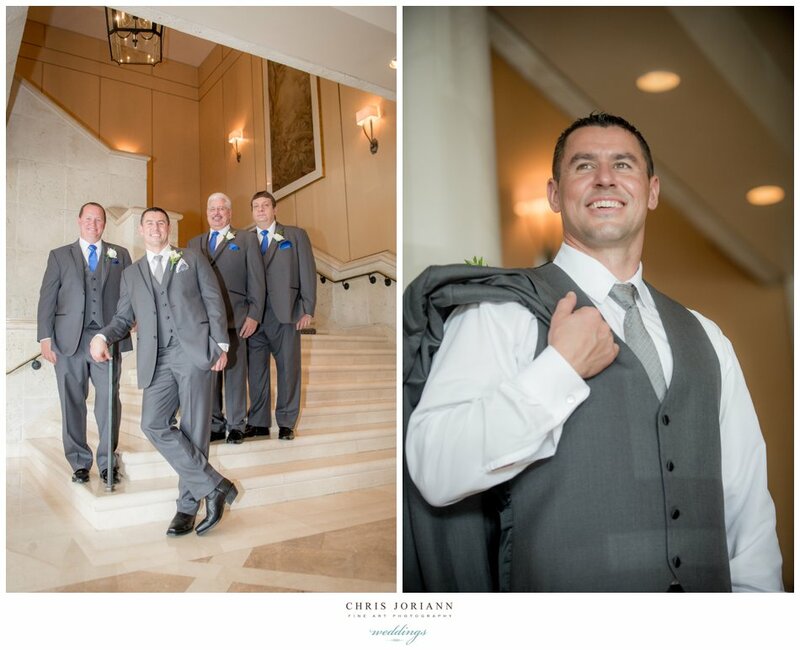 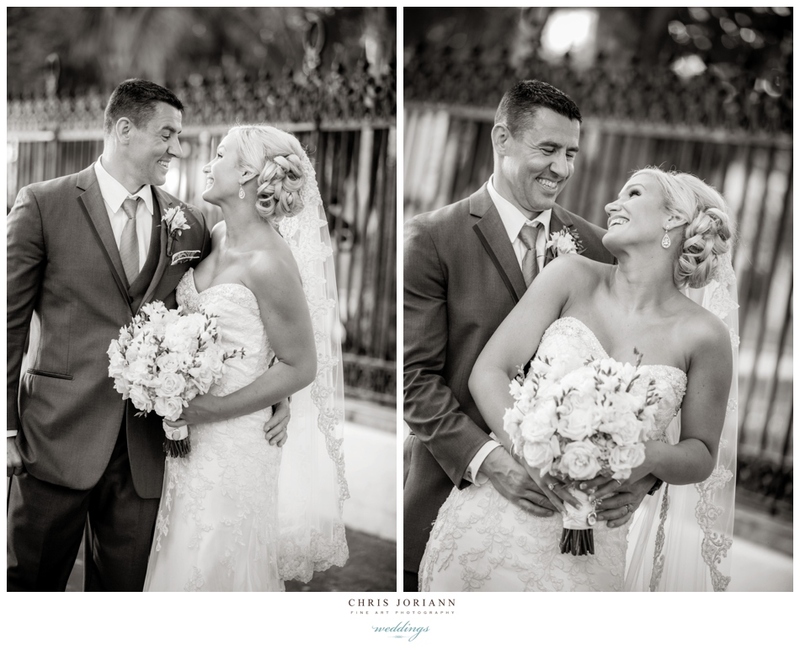 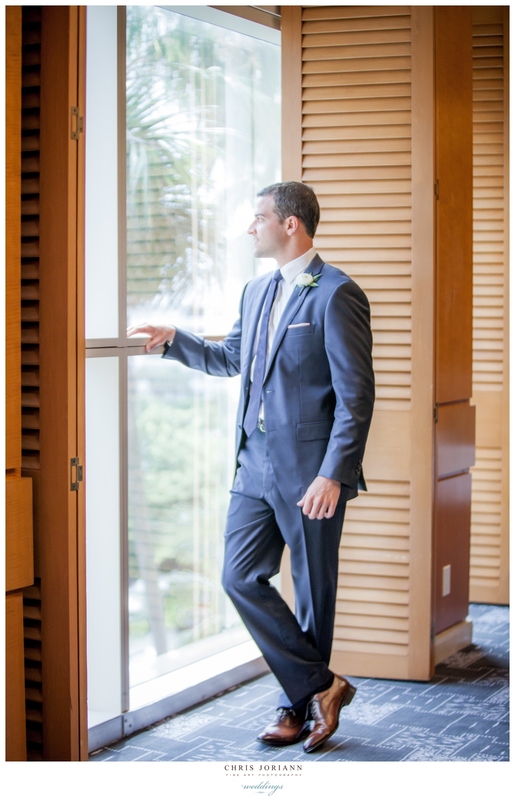 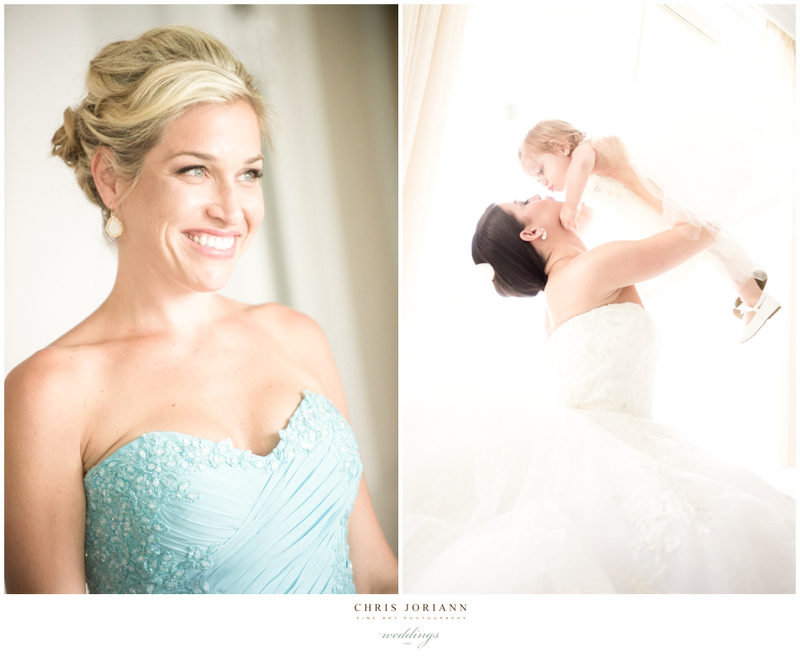 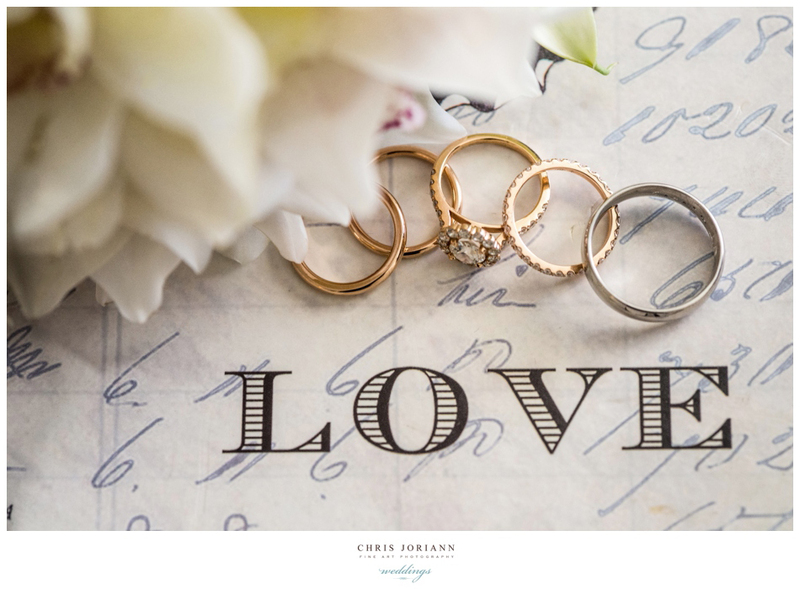 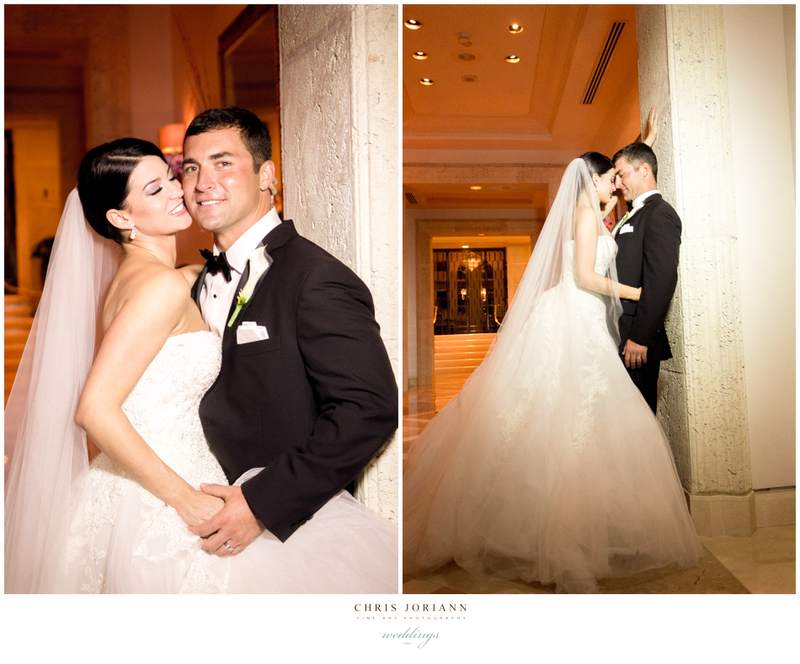 Lauren + Brandon’s elegant wedding took place at the Four Seasons Palm Beach. 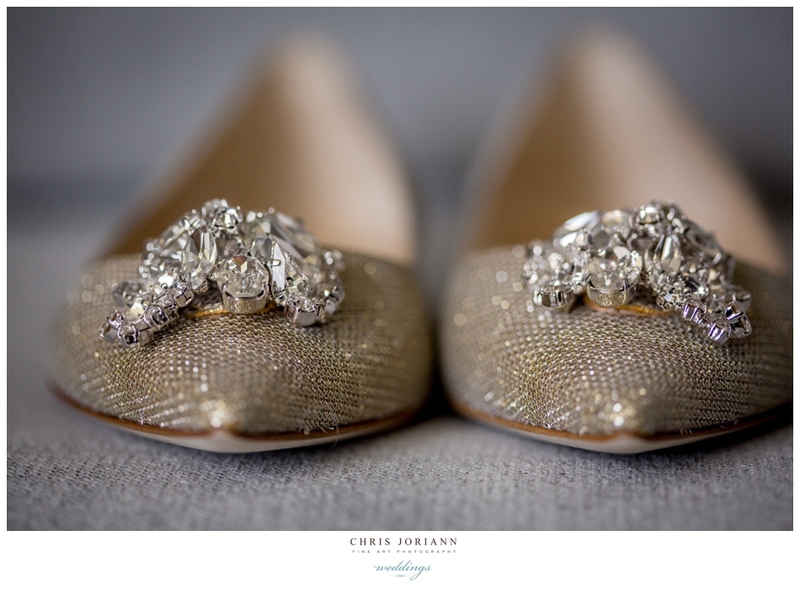 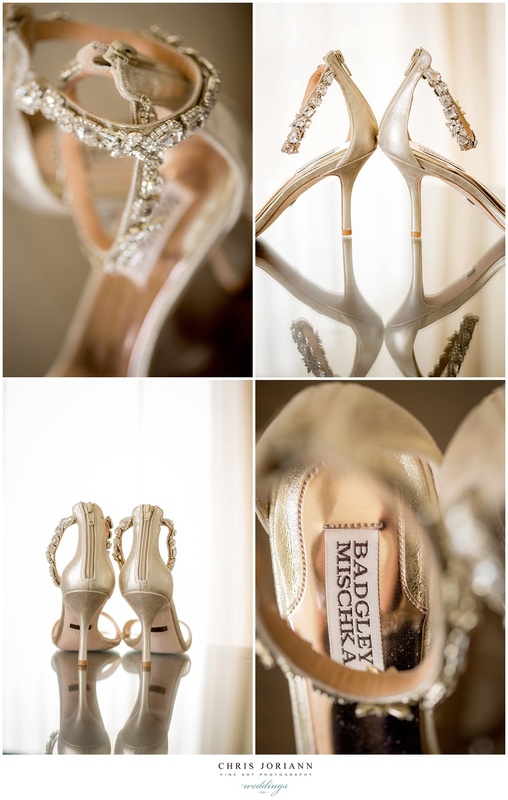 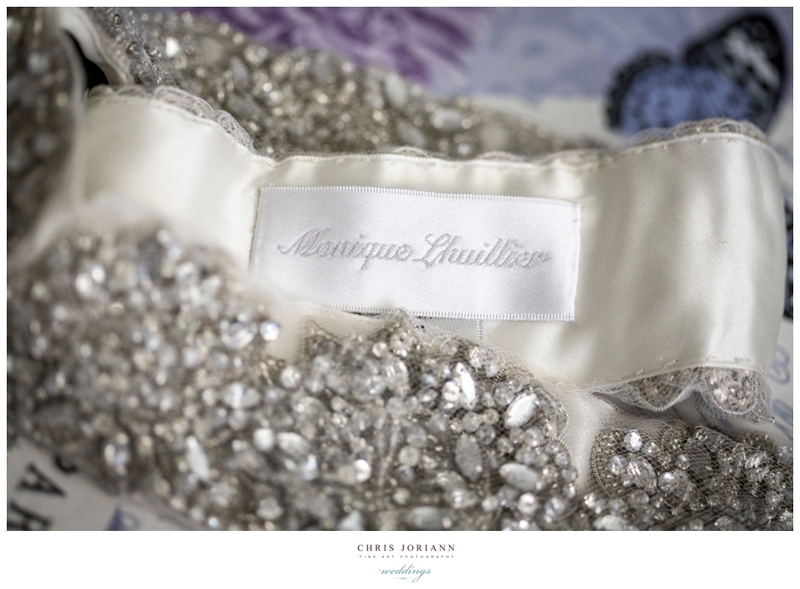 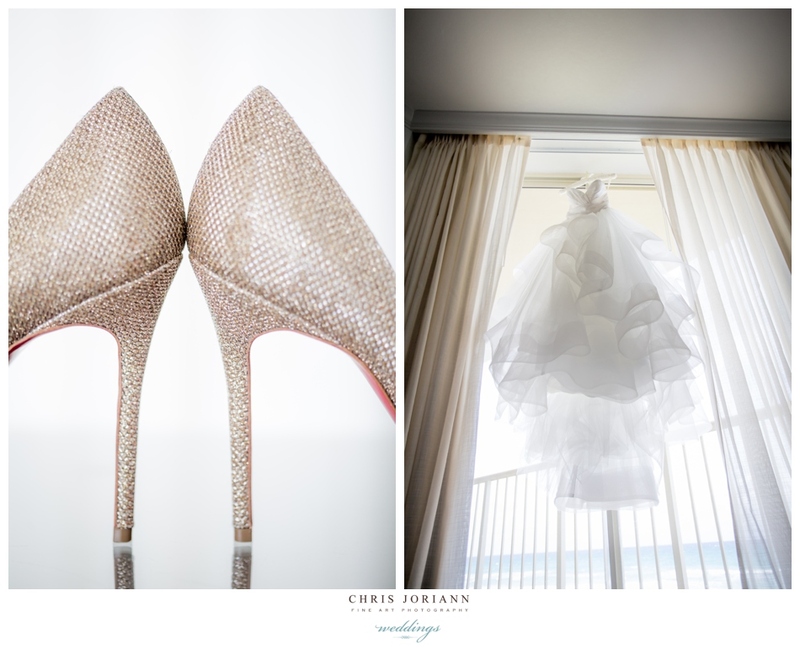 Wearing a couture gown by Hayley Paige, combined with a to-die-for Judith Leiber clutch and a pair of fabulous Louboutin’s, this gorgeous bride was a vision. 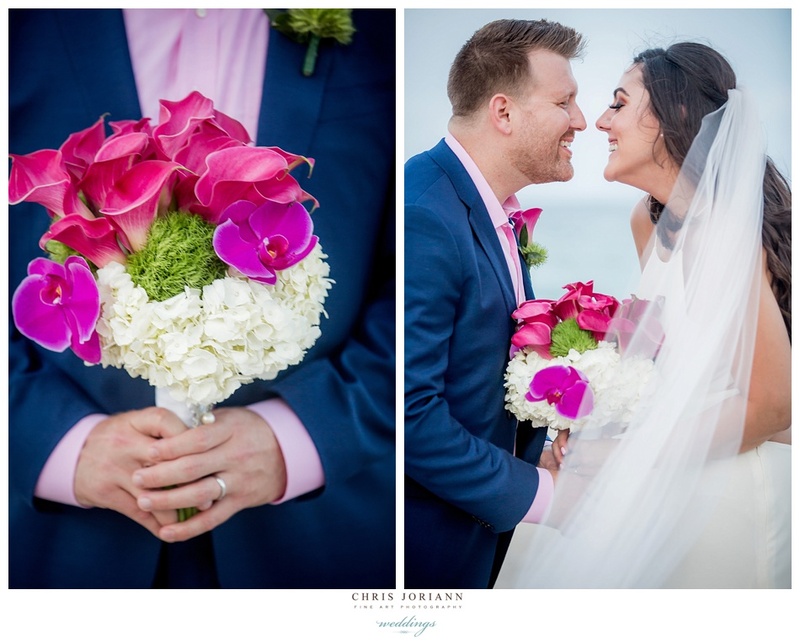 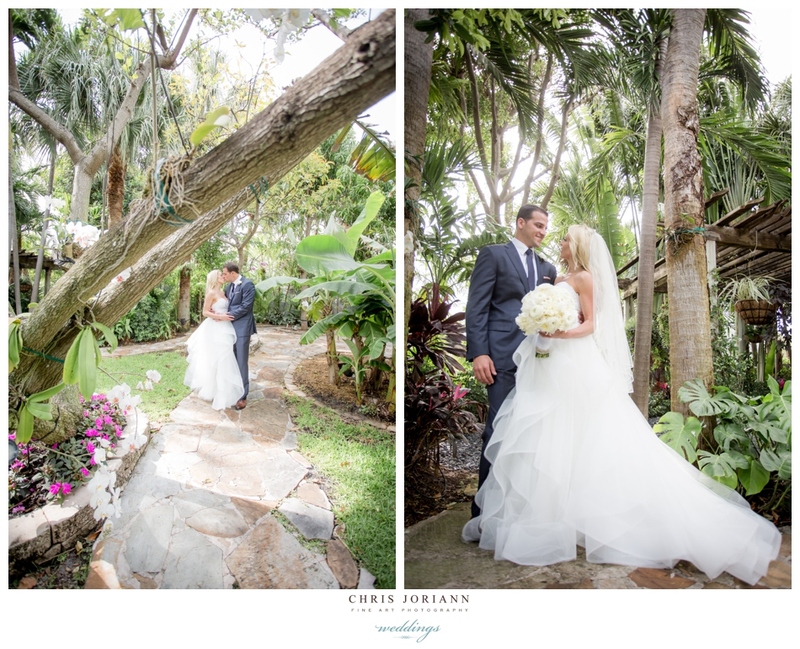 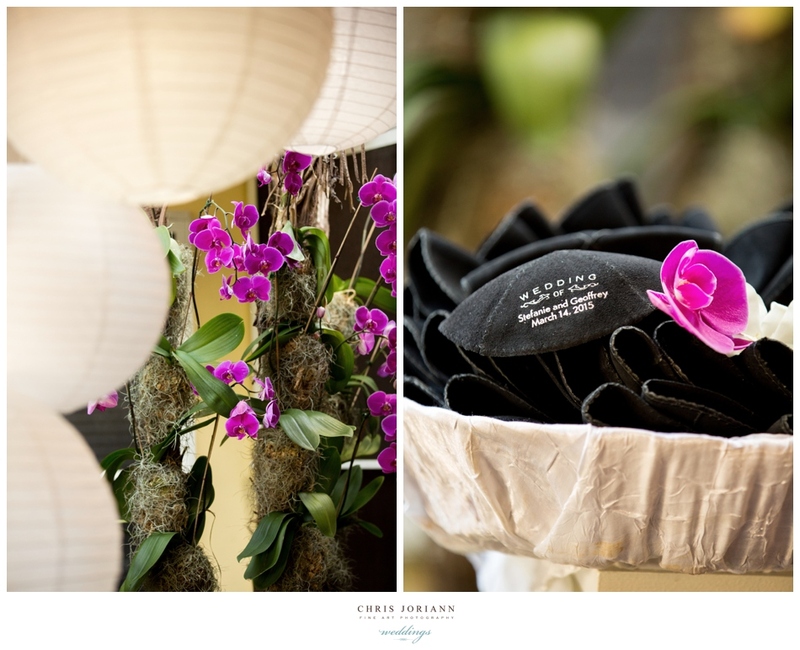 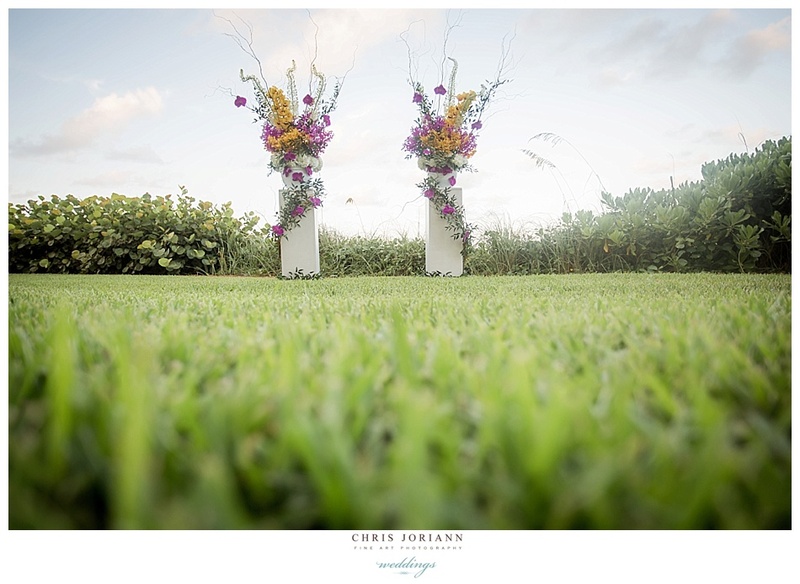 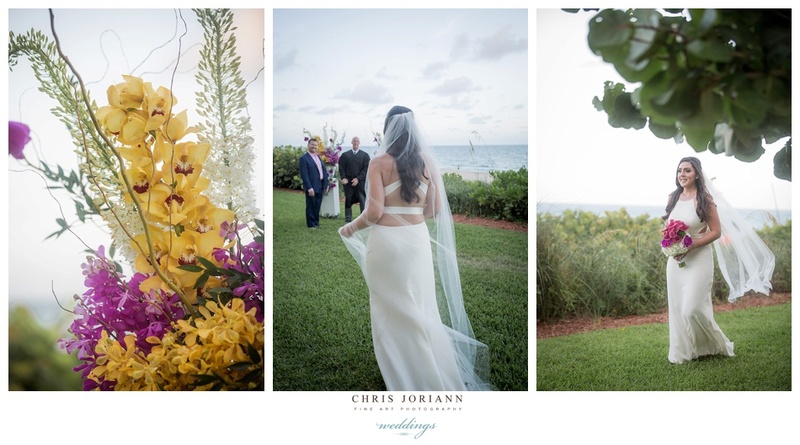 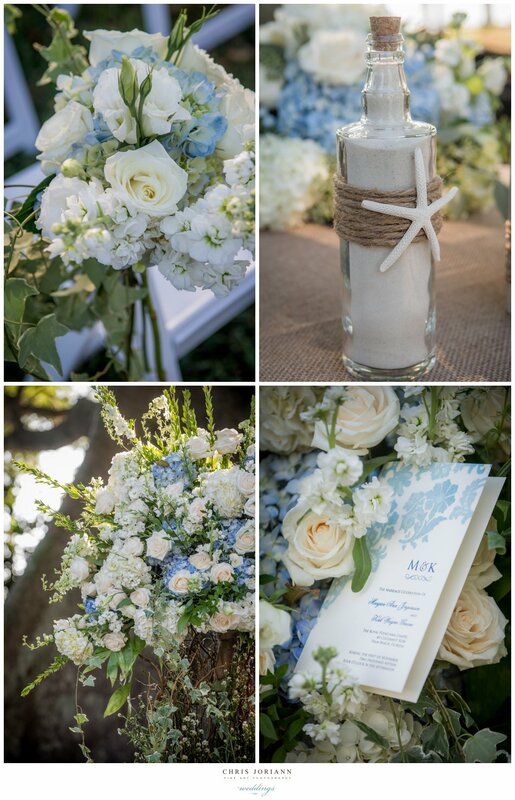 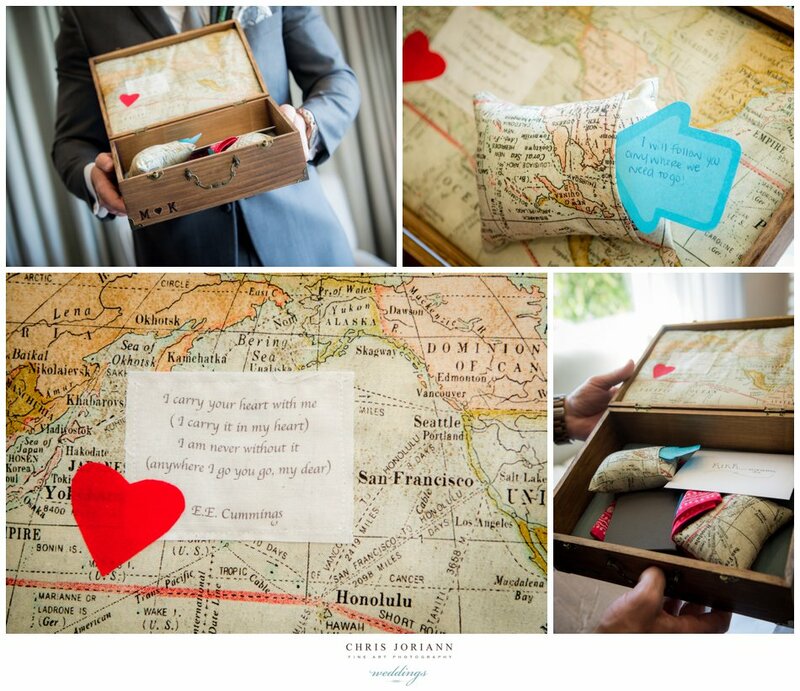 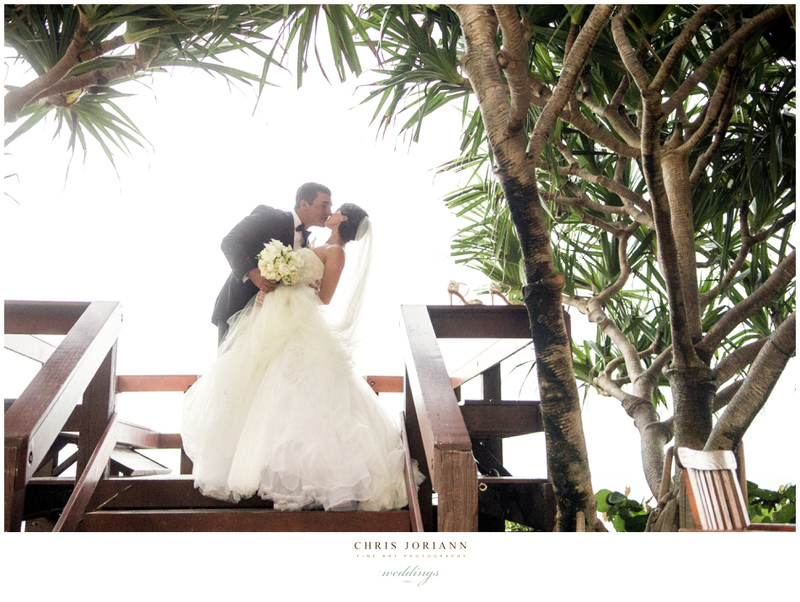 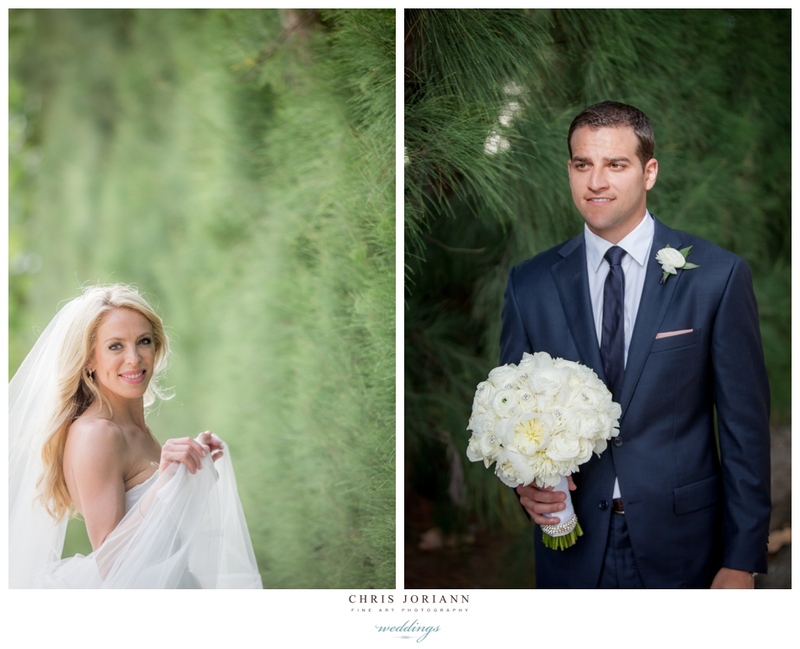 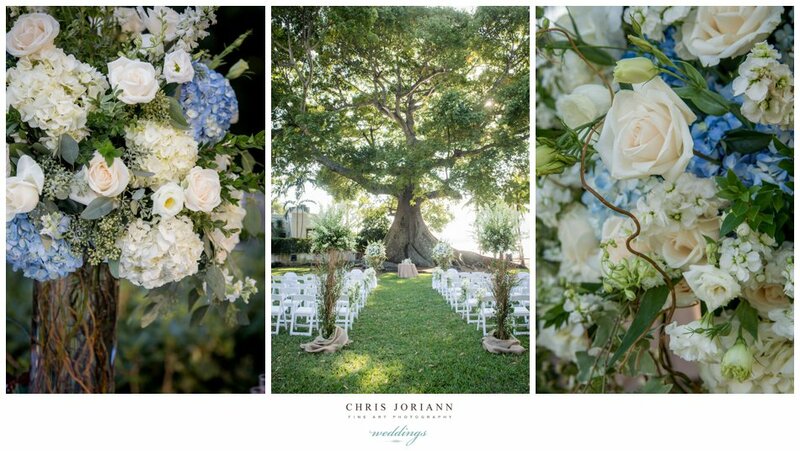 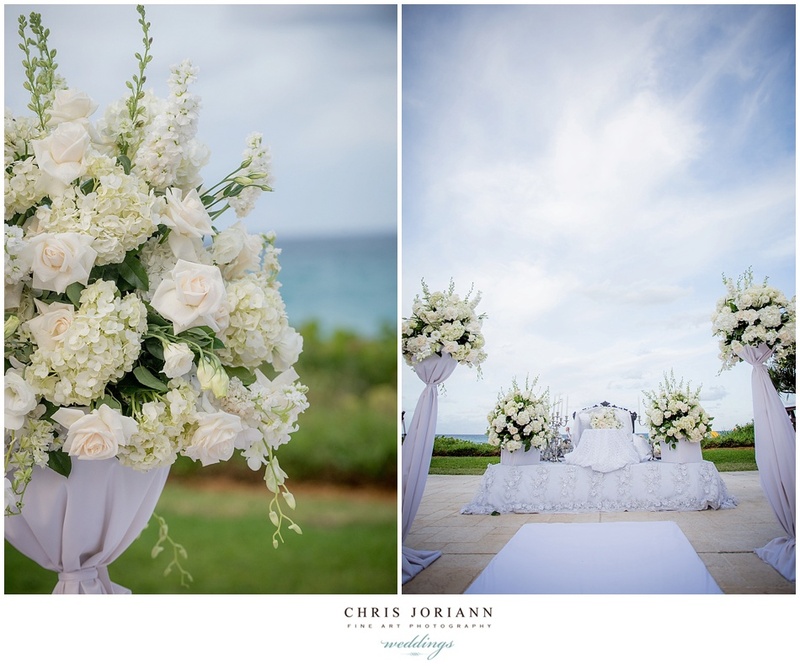 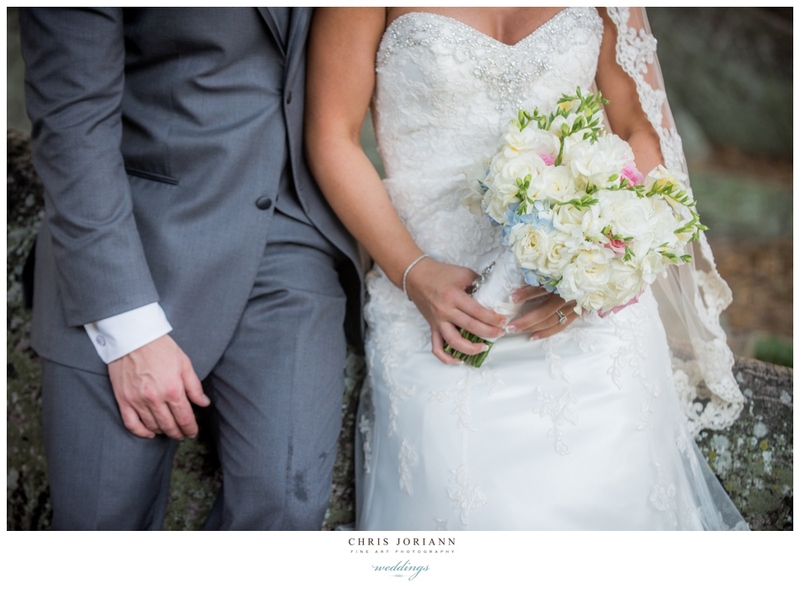 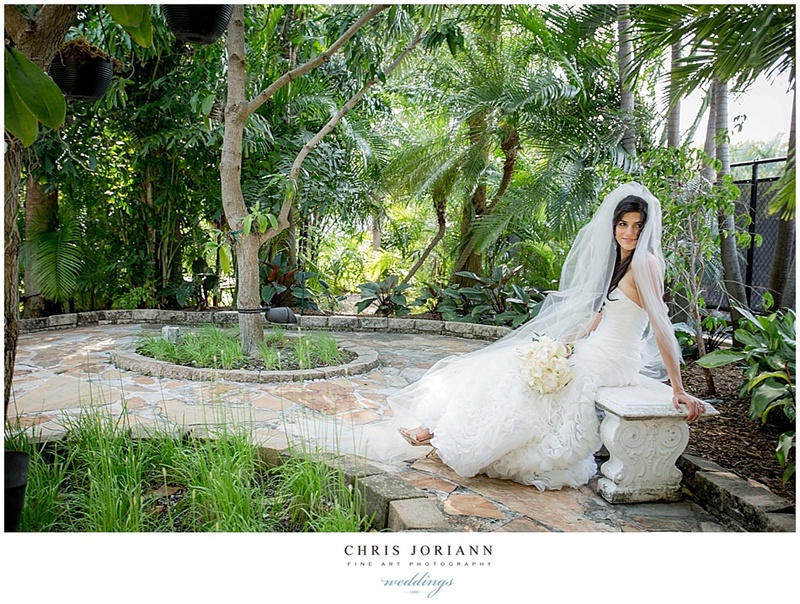 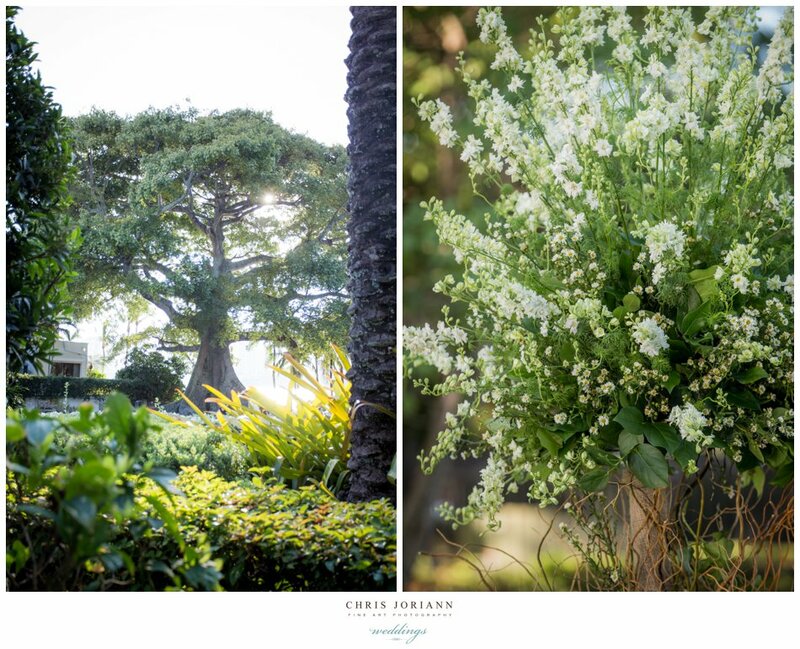 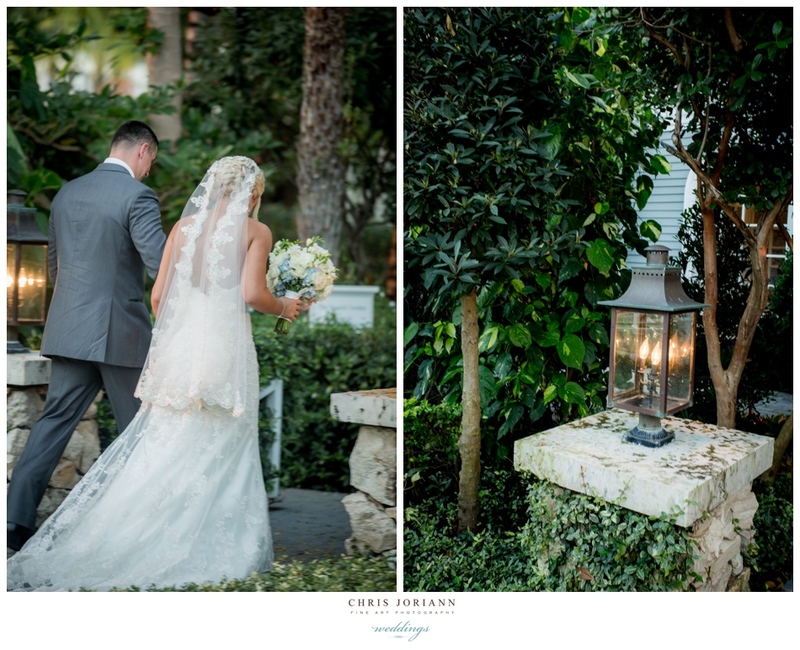 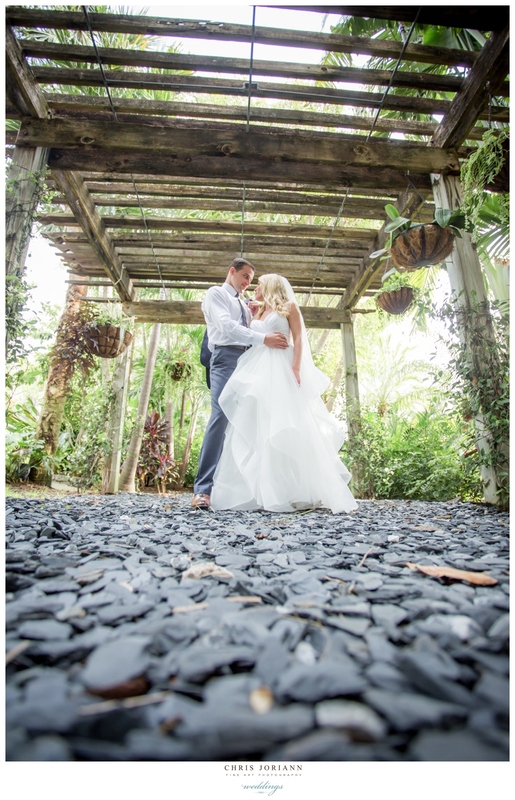 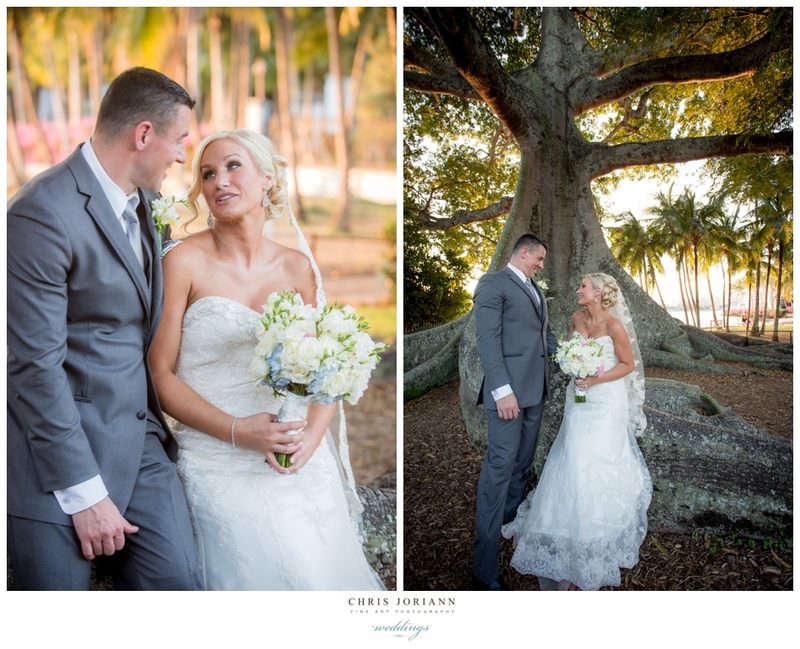 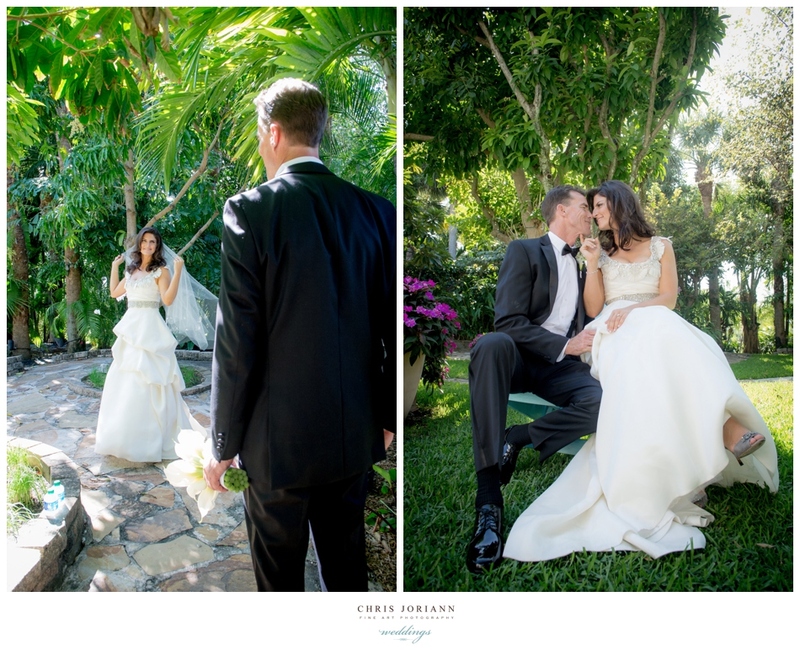 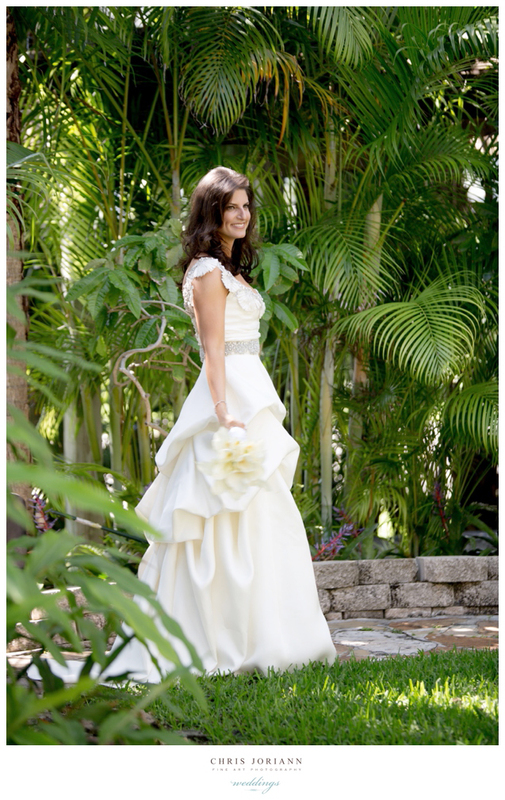 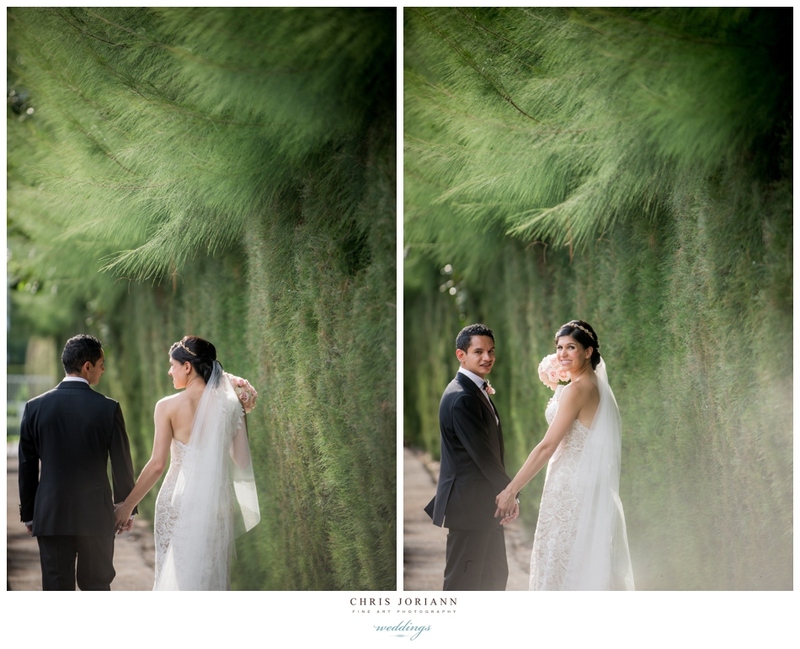 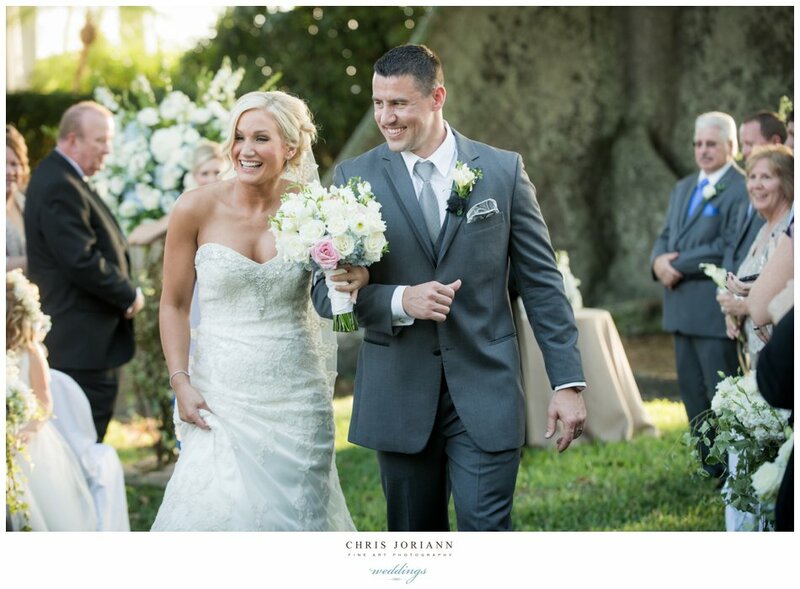 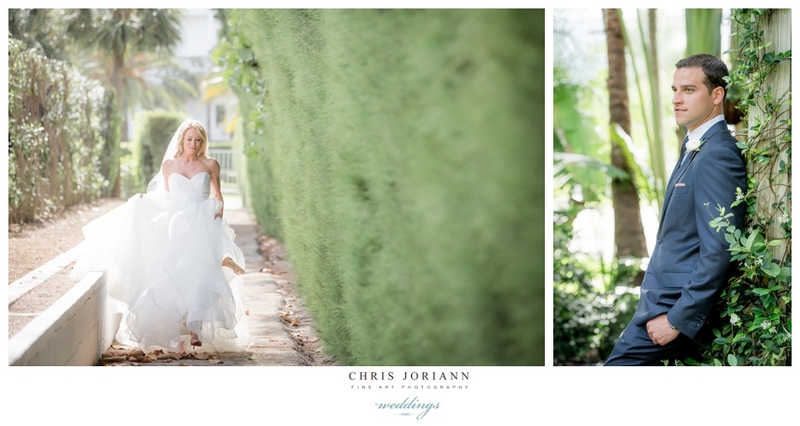 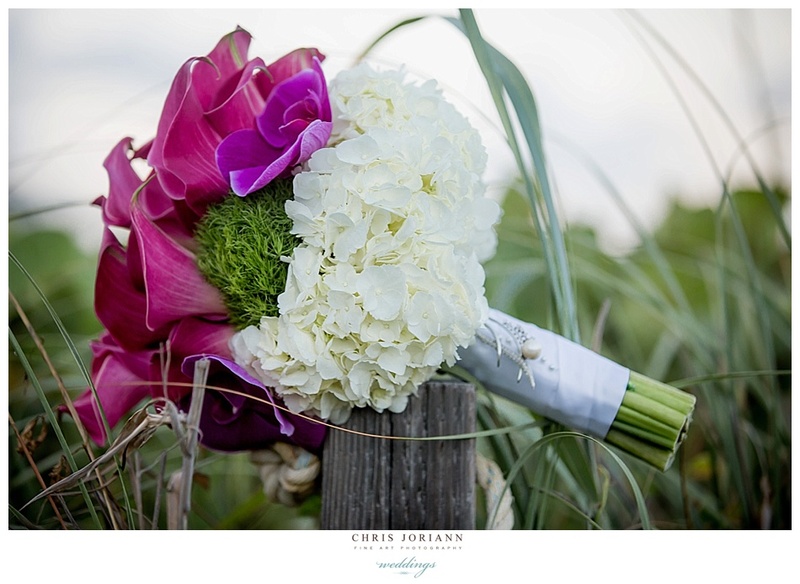 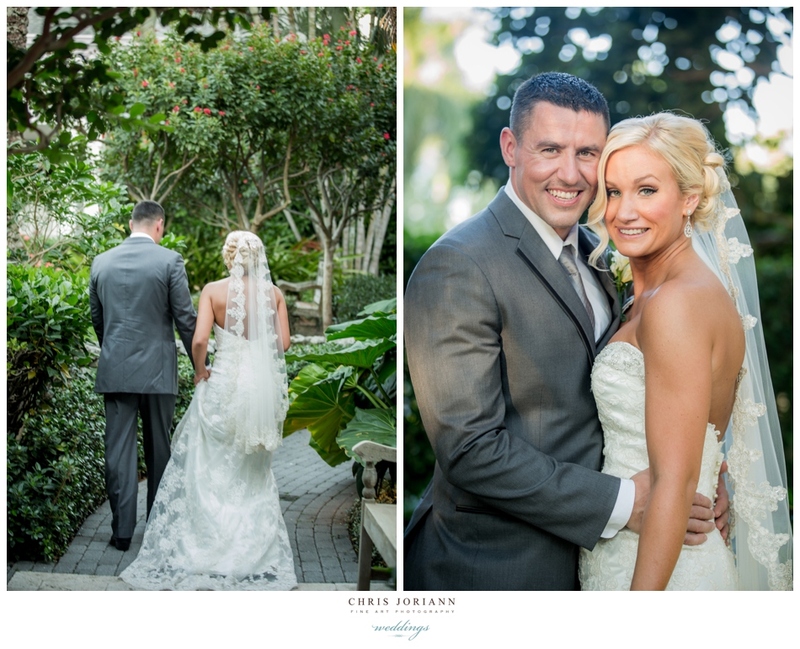 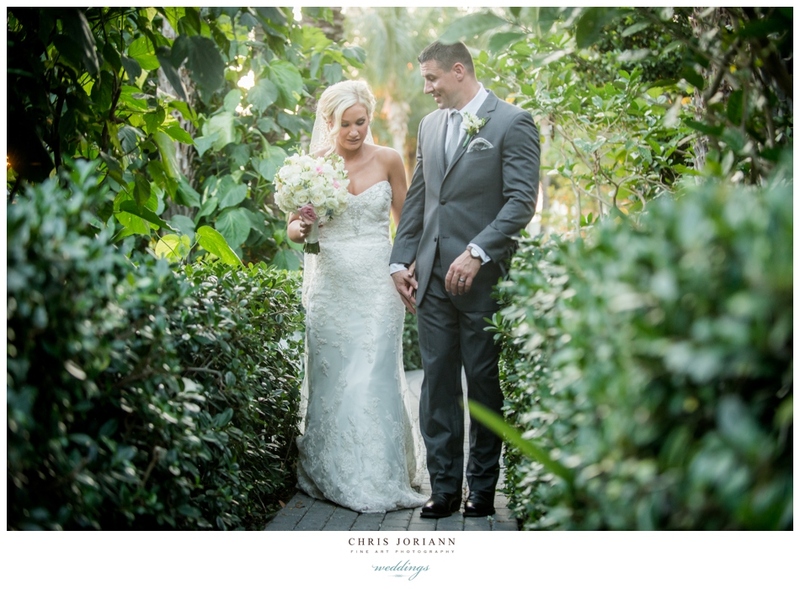 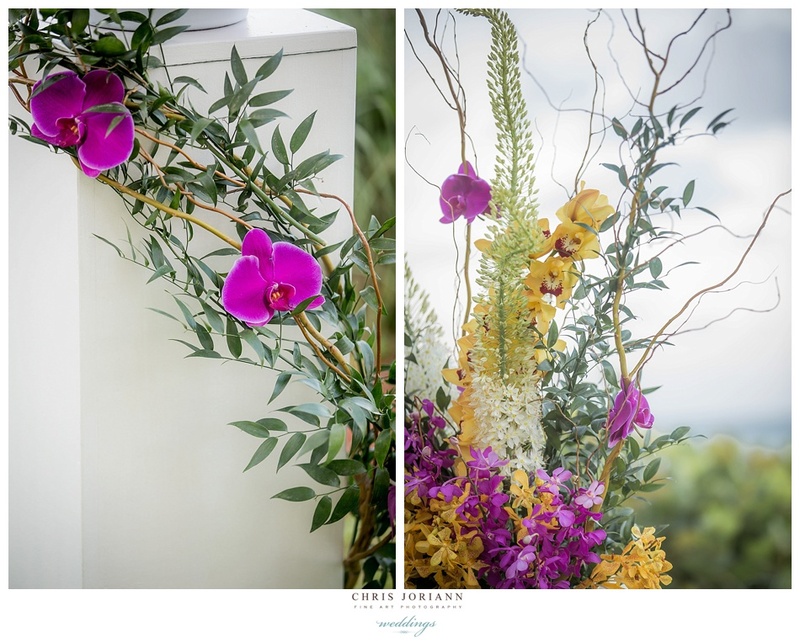 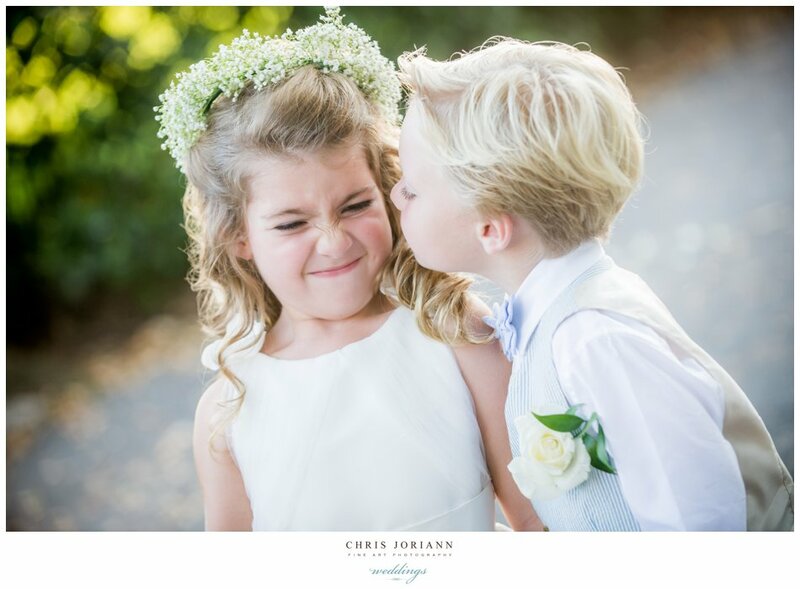 The couple exchanged their first look in the resort’s Orchid Garden, then head to the beach for some by the sea fun. 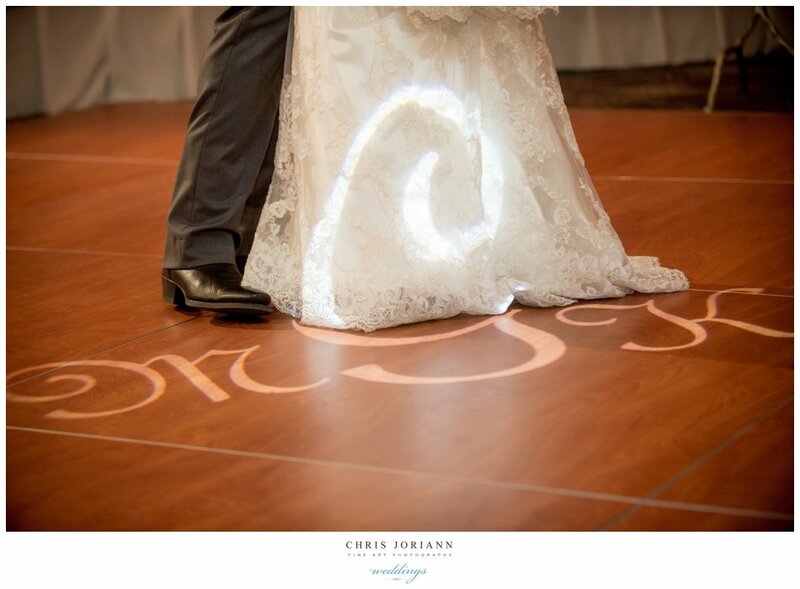 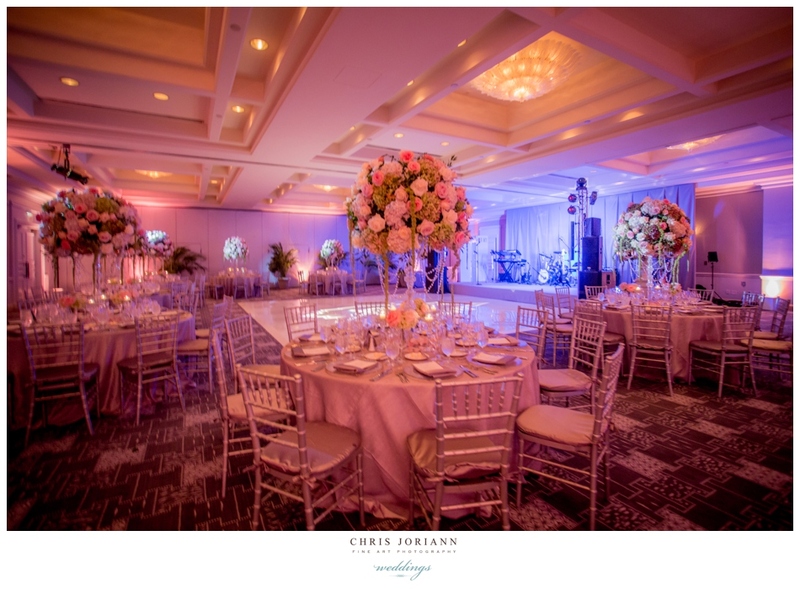 Ceremony and an intimate reception later followed, in the Living Room, with décor by Xquisite Events. 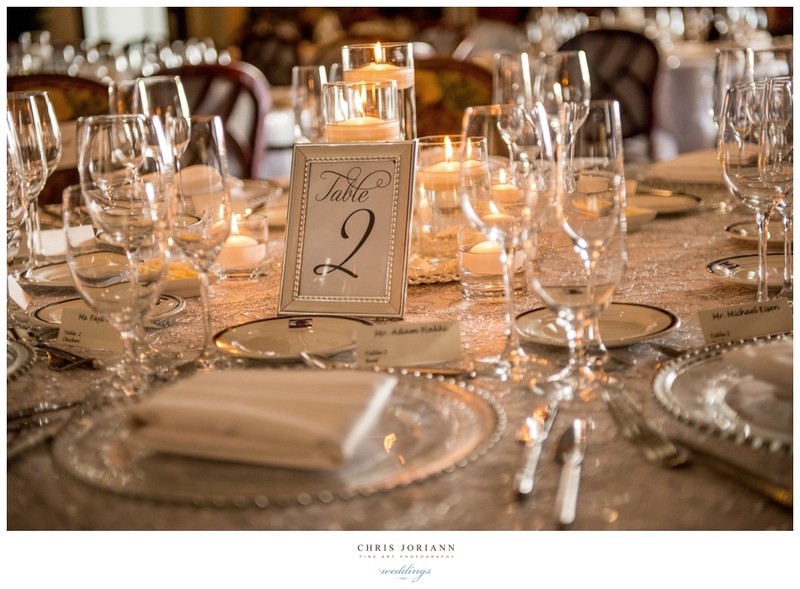 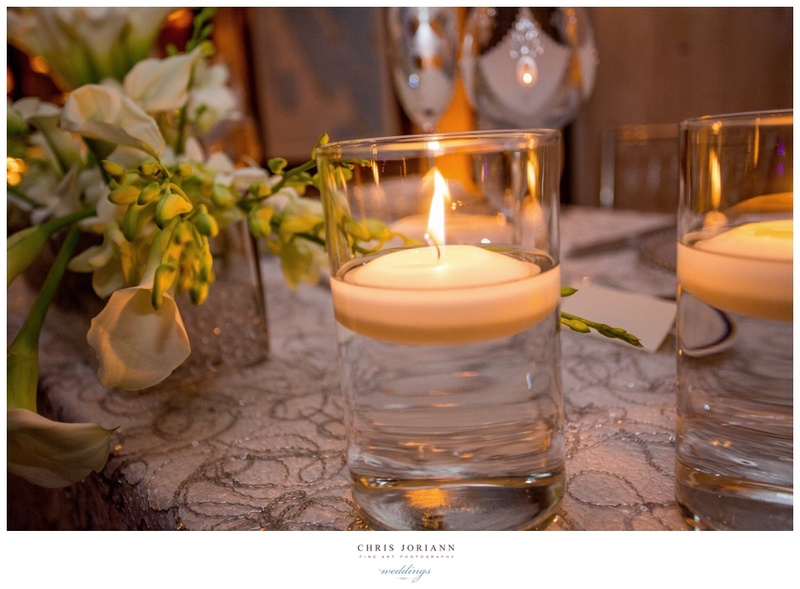 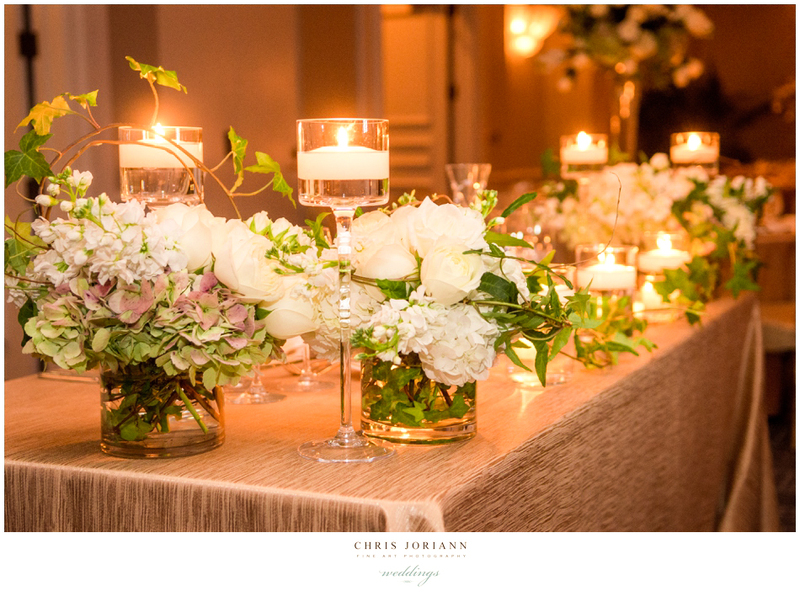 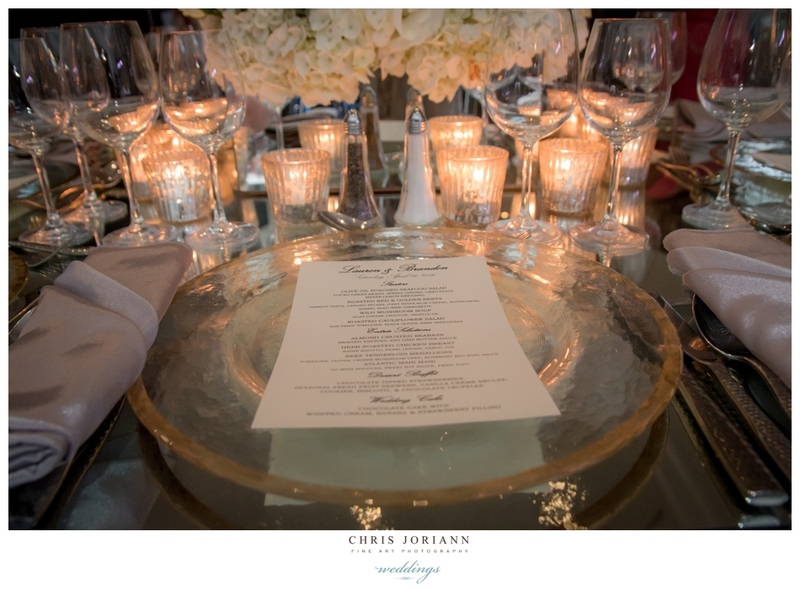 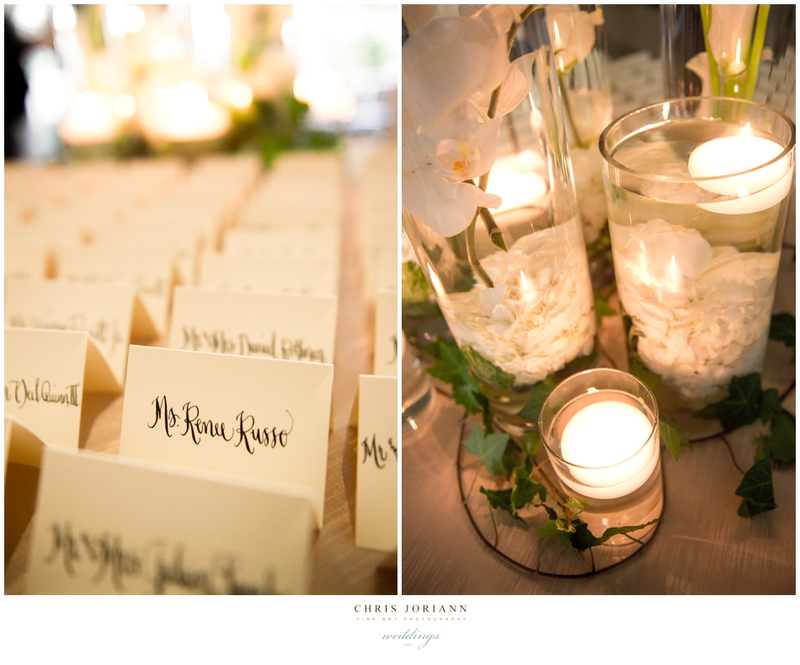 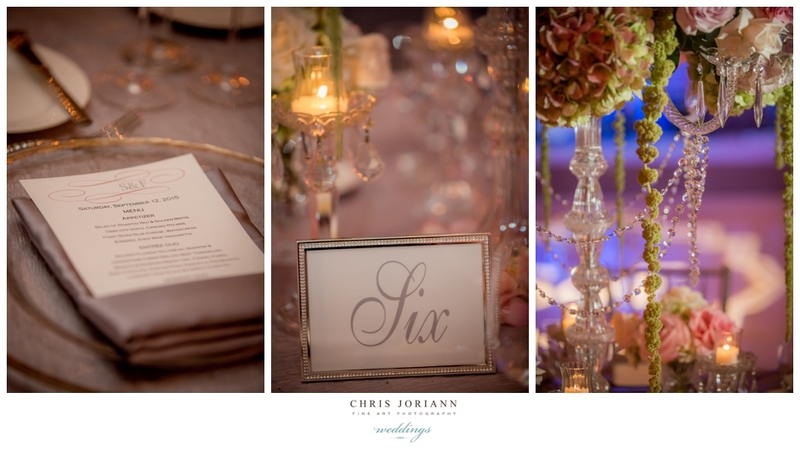 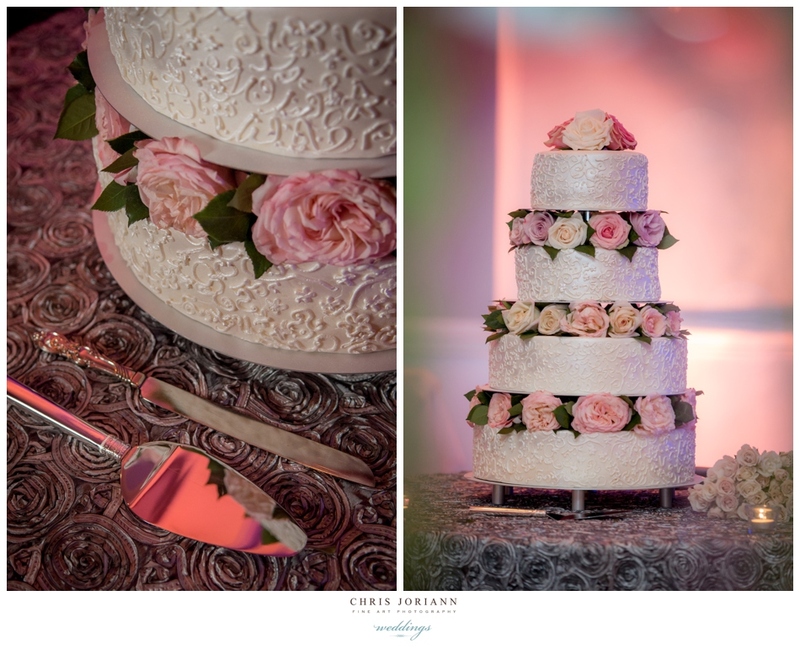 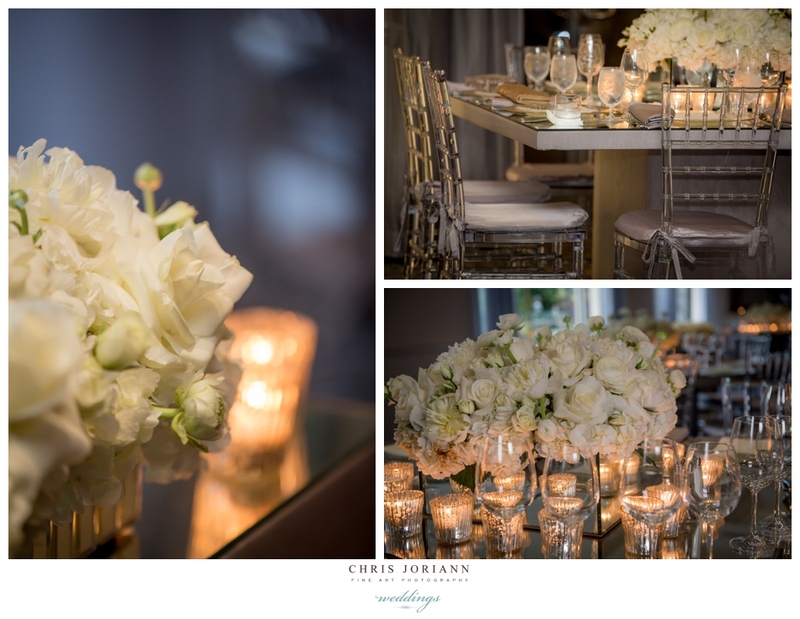 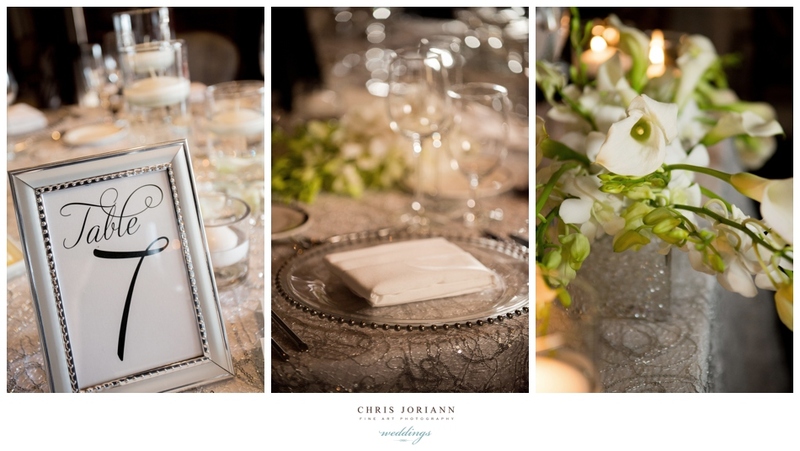 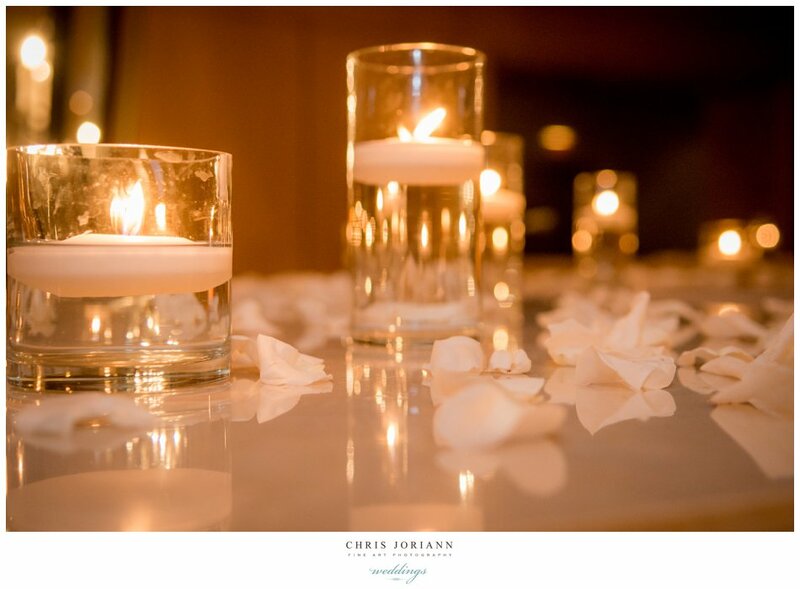 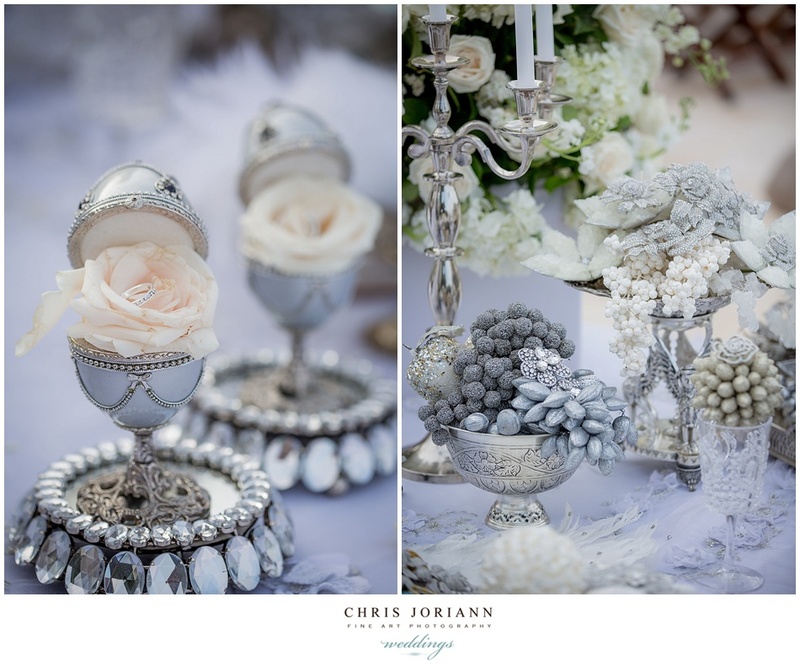 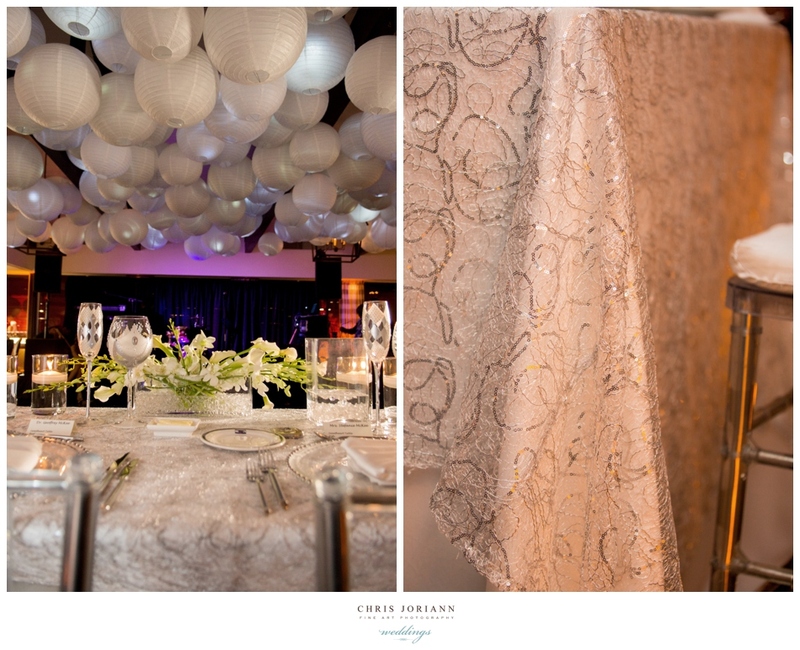 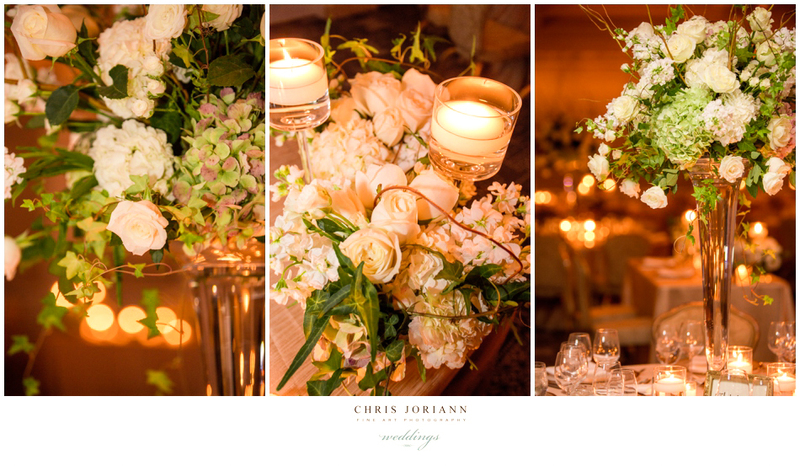 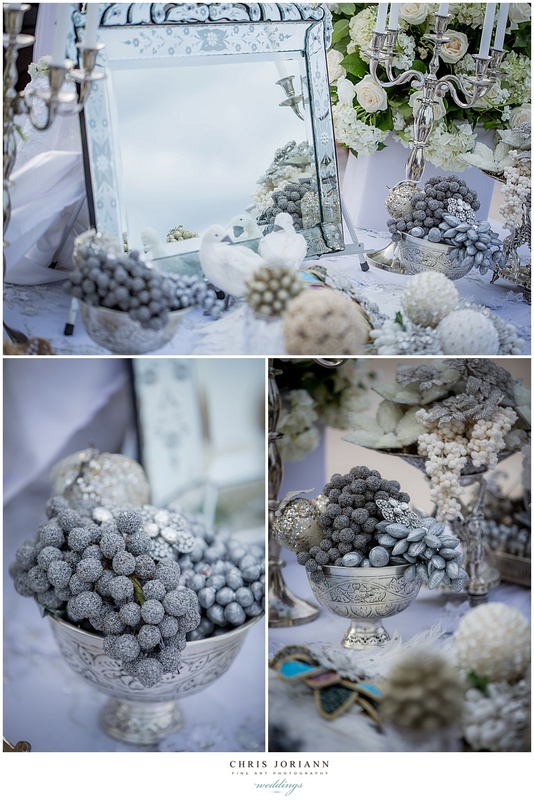 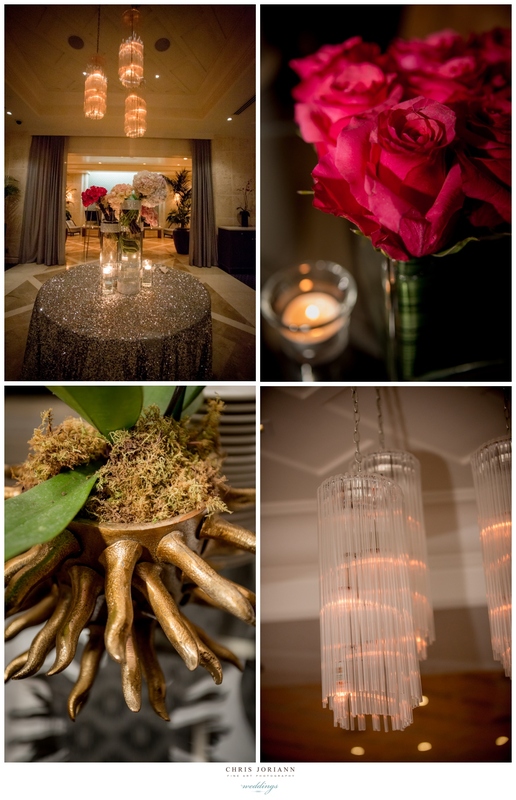 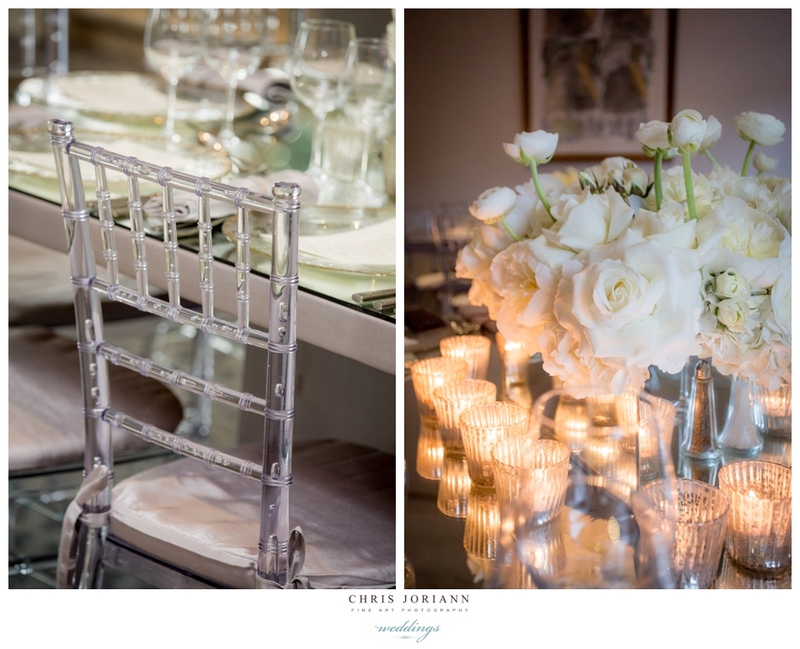 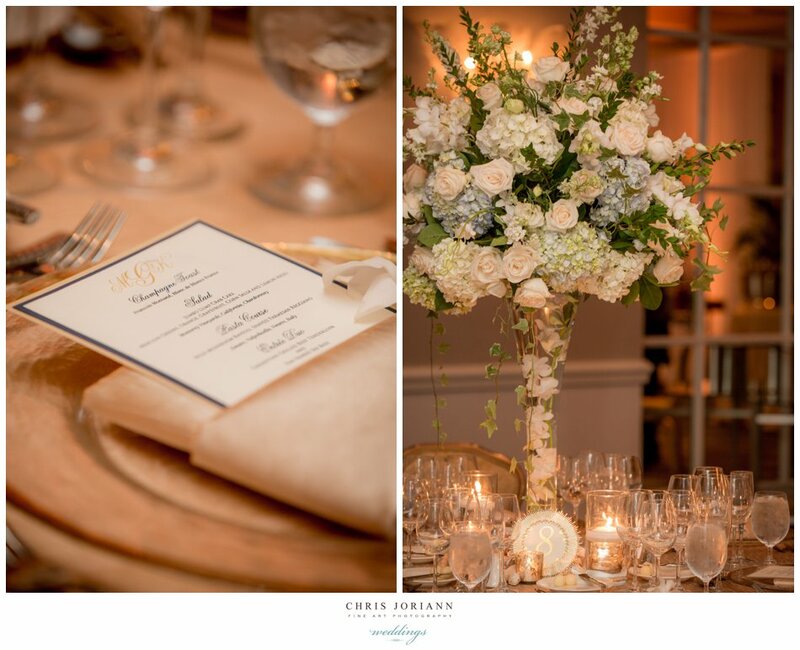 The candle lit space featured clear lucite chiavaris, grey silk linens, mirrored table tops and white centerpieces. 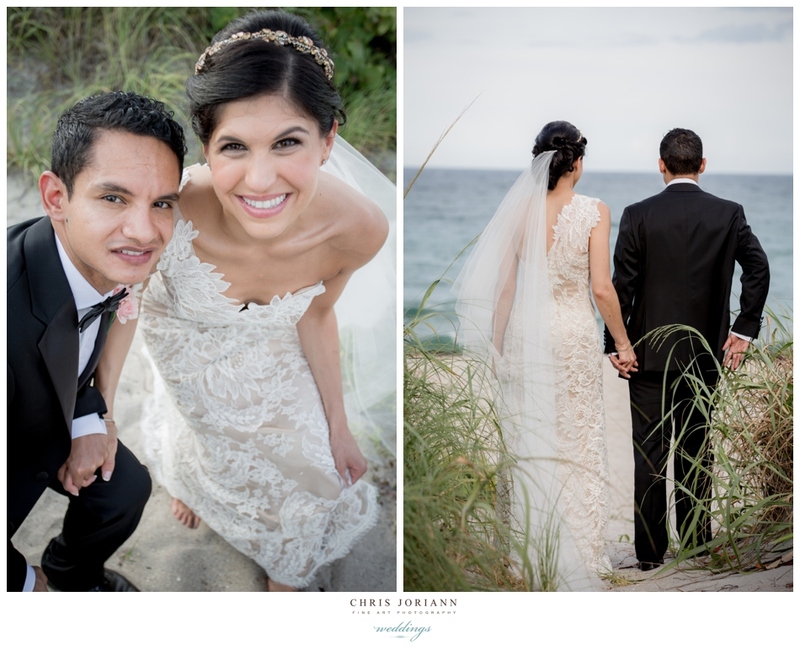 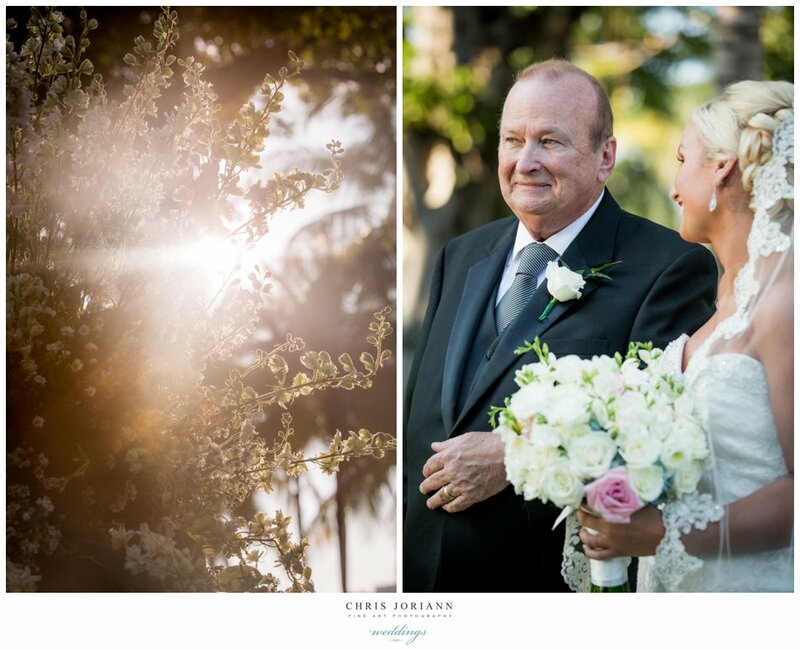 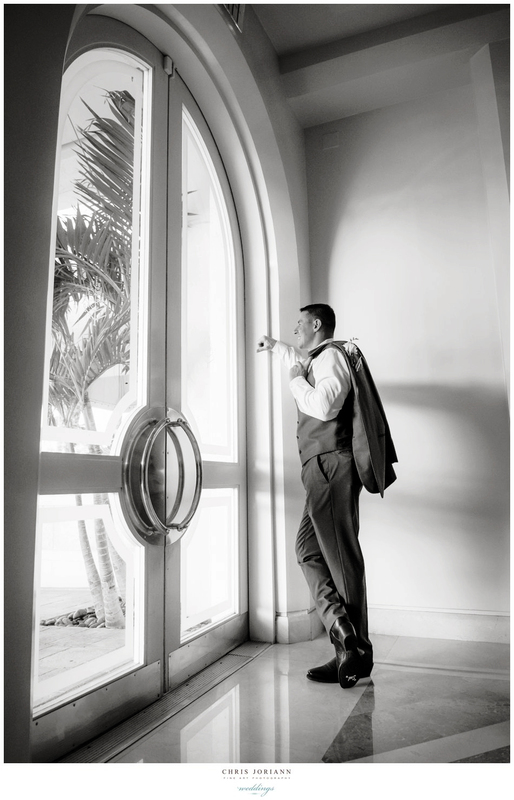 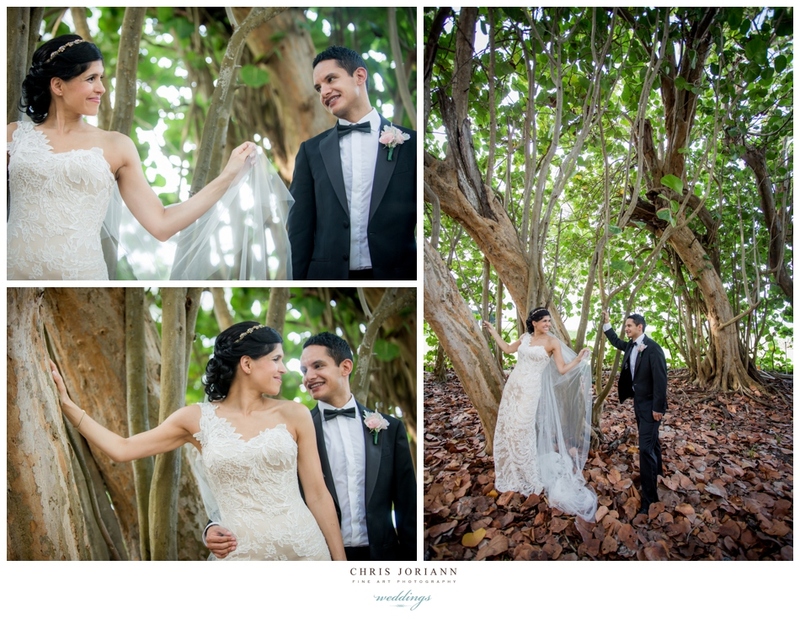 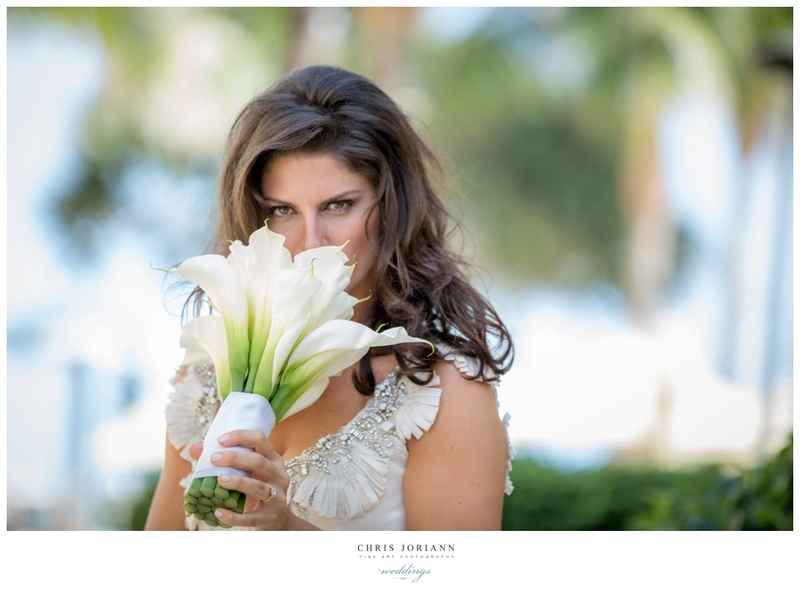 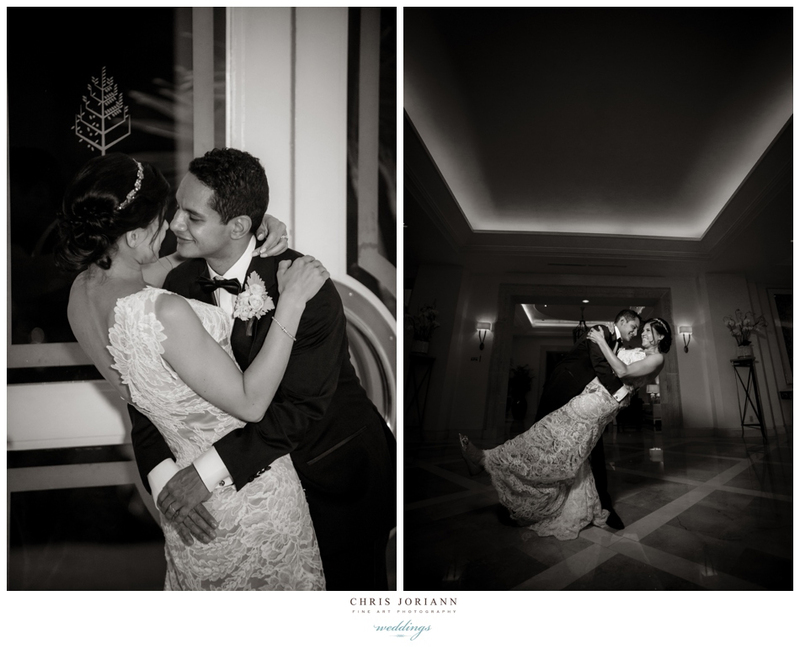 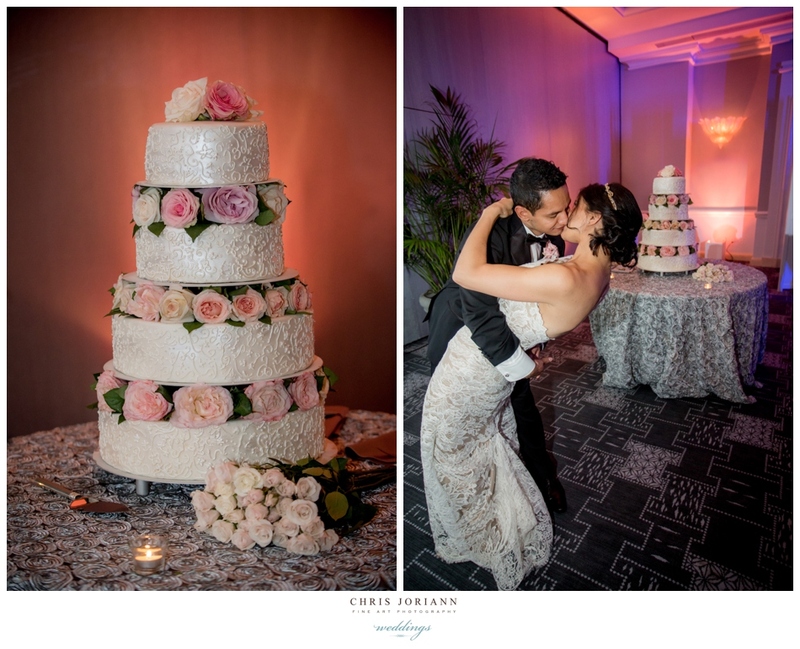 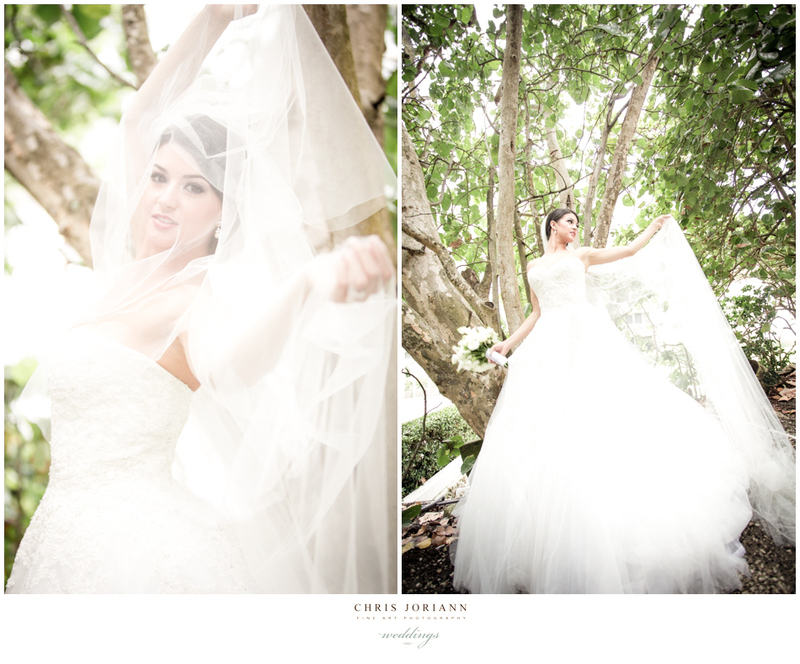 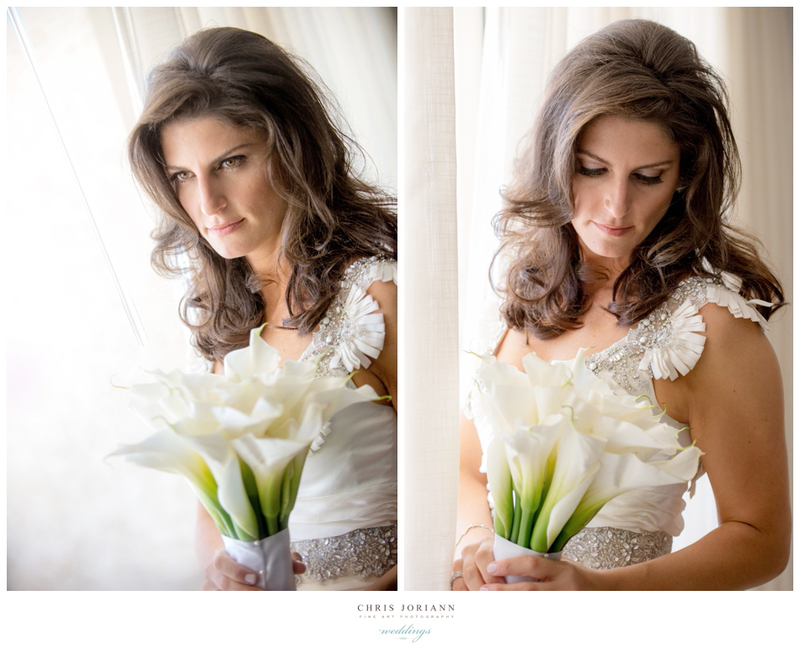 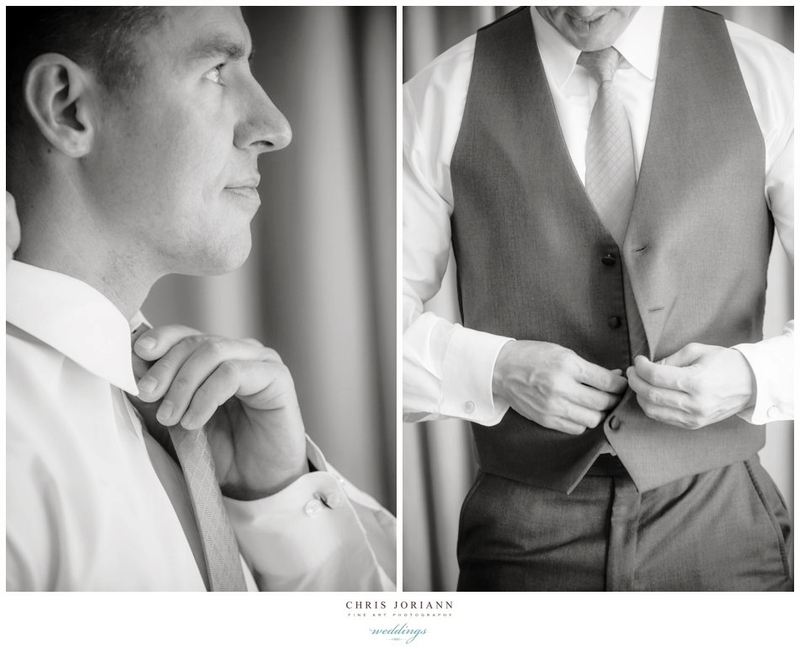 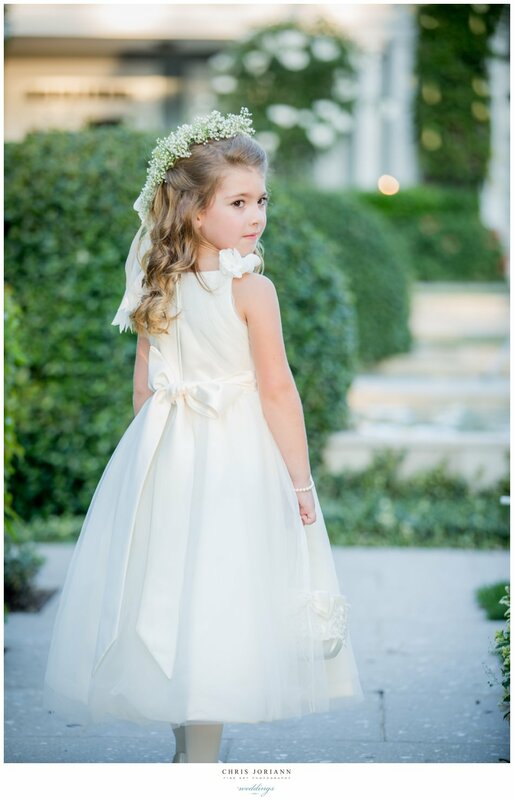 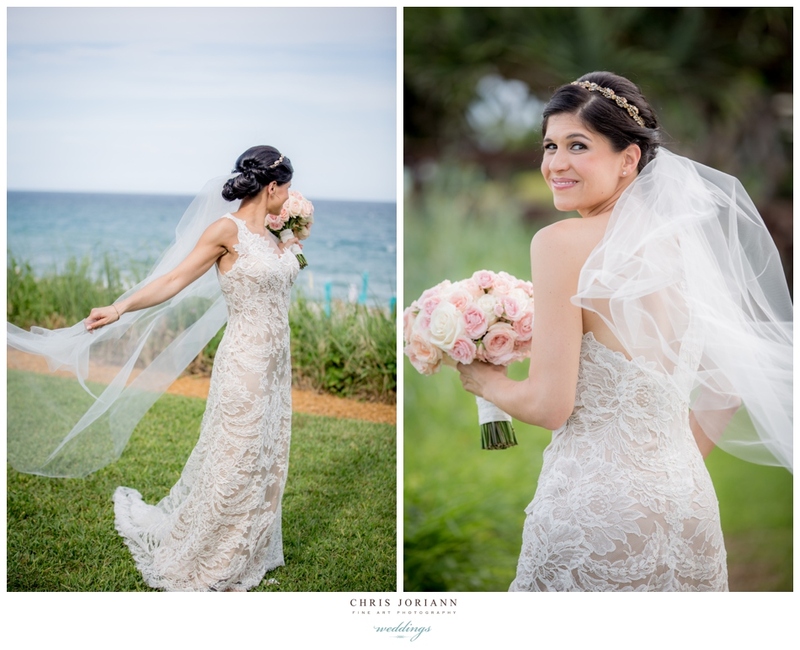 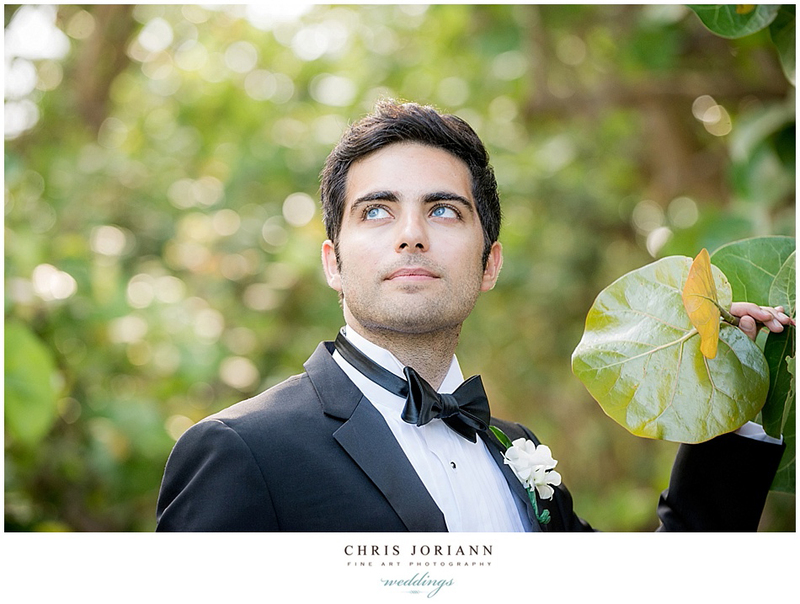 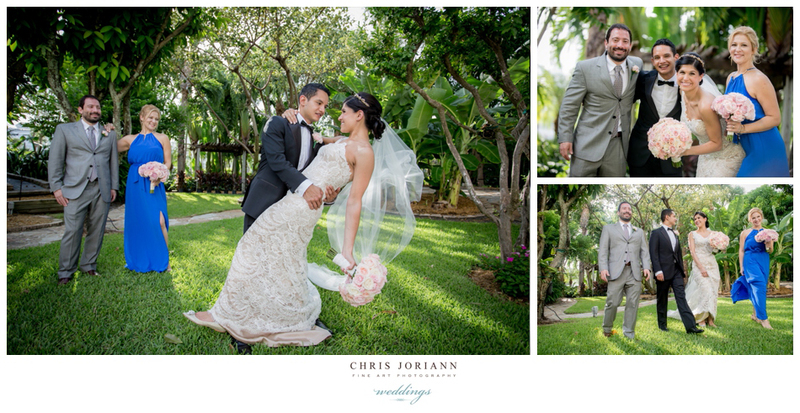 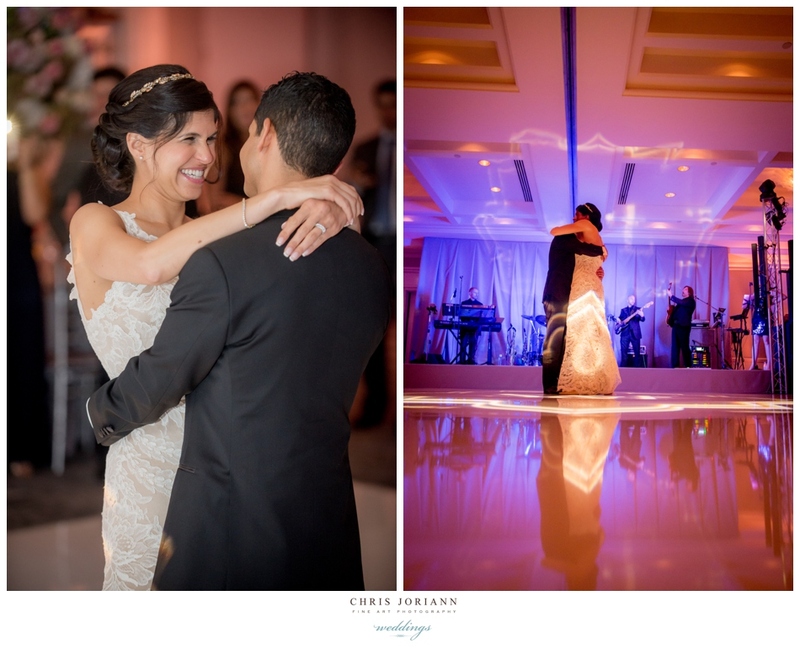 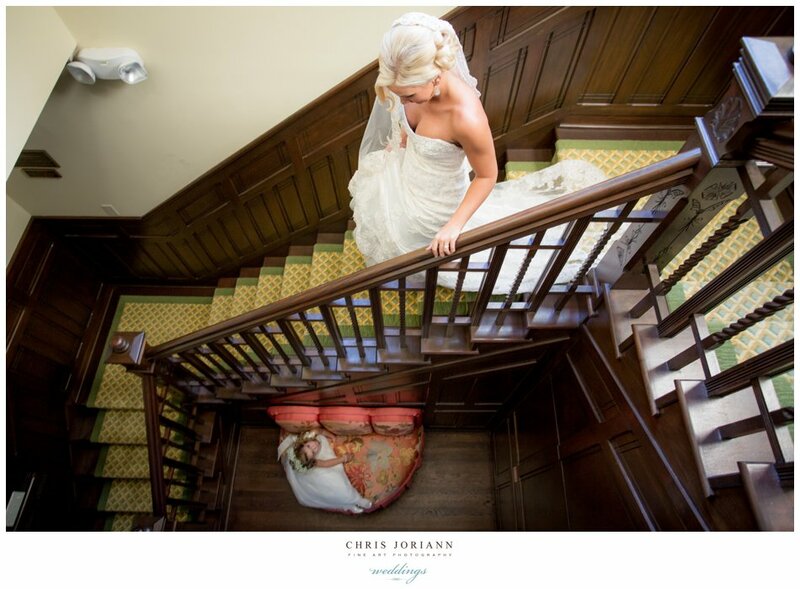 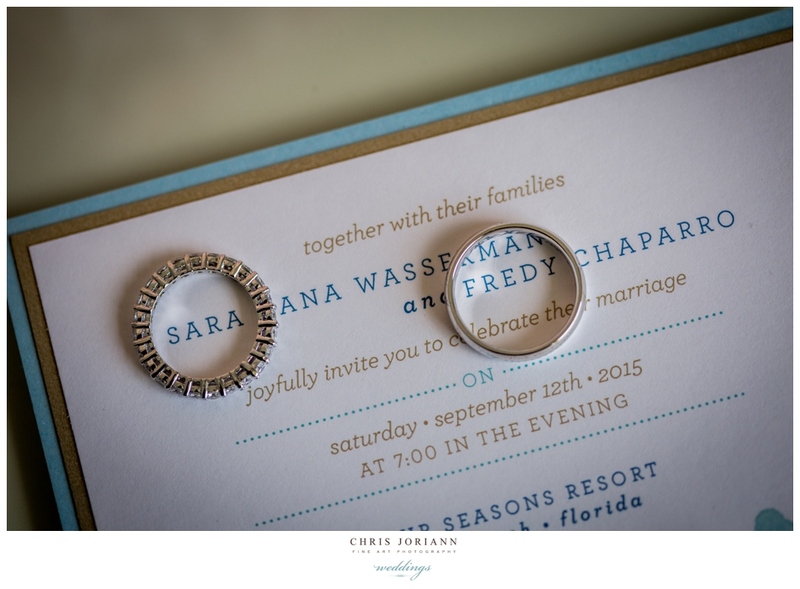 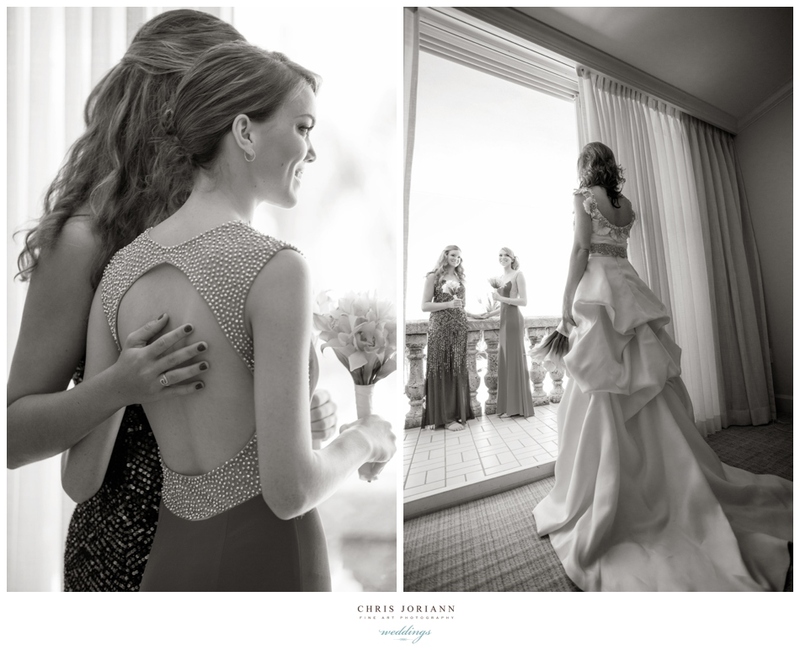 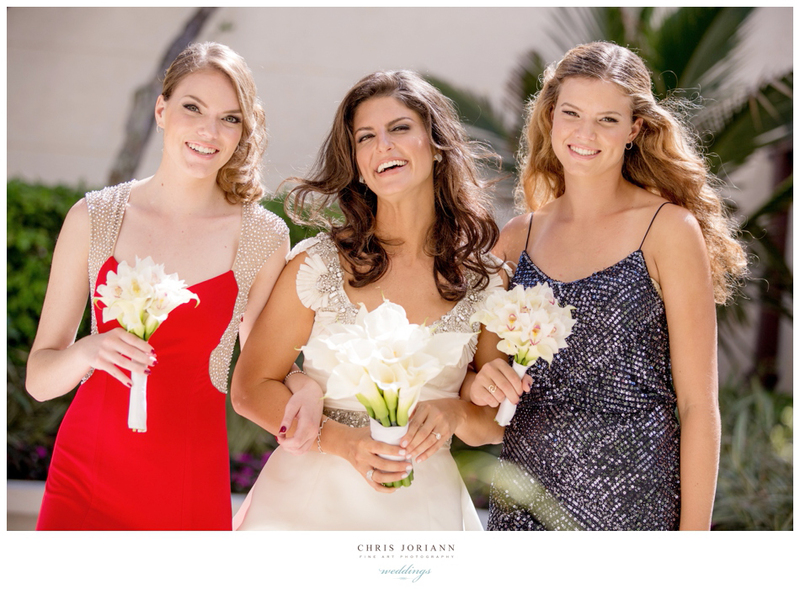 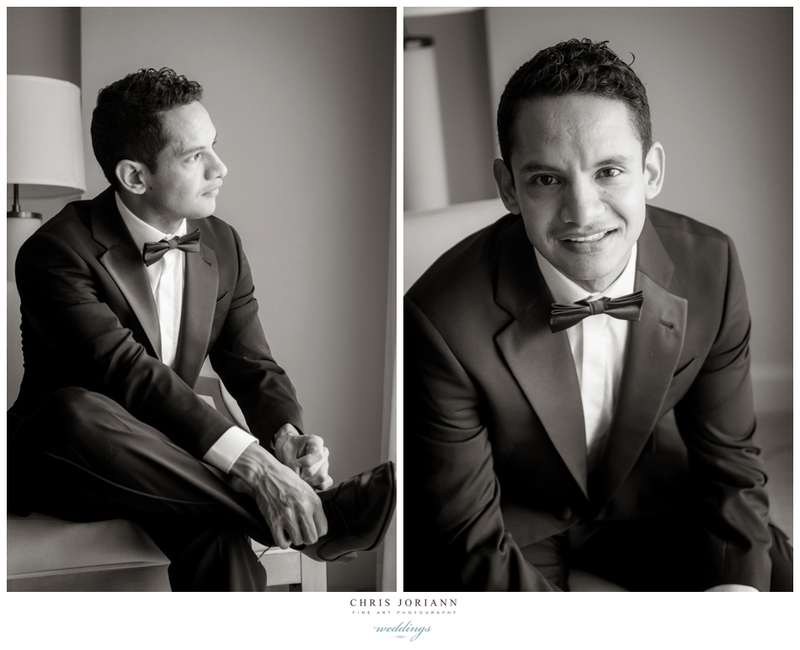 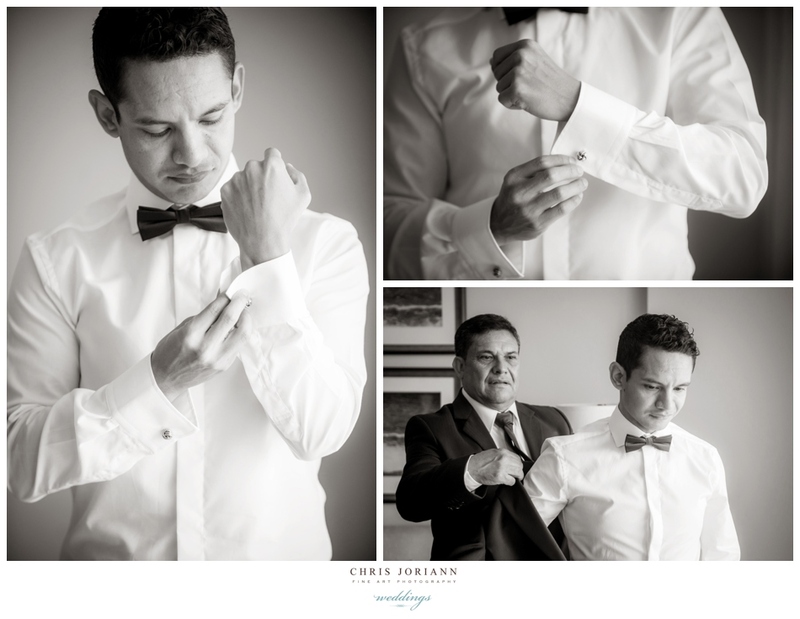 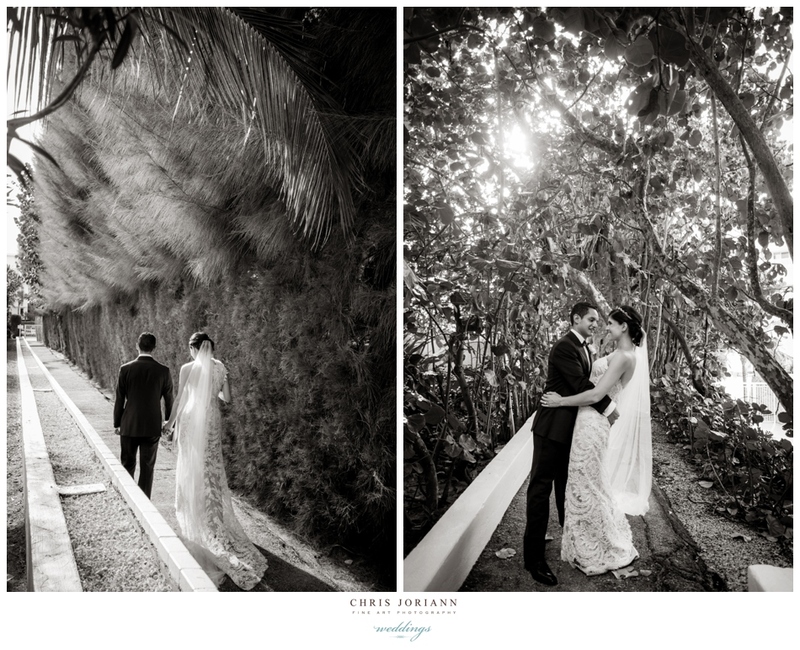 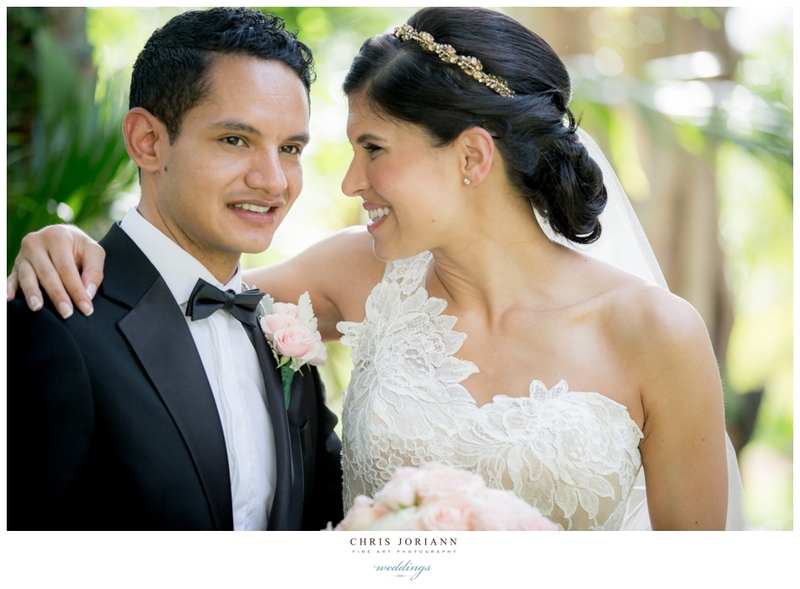 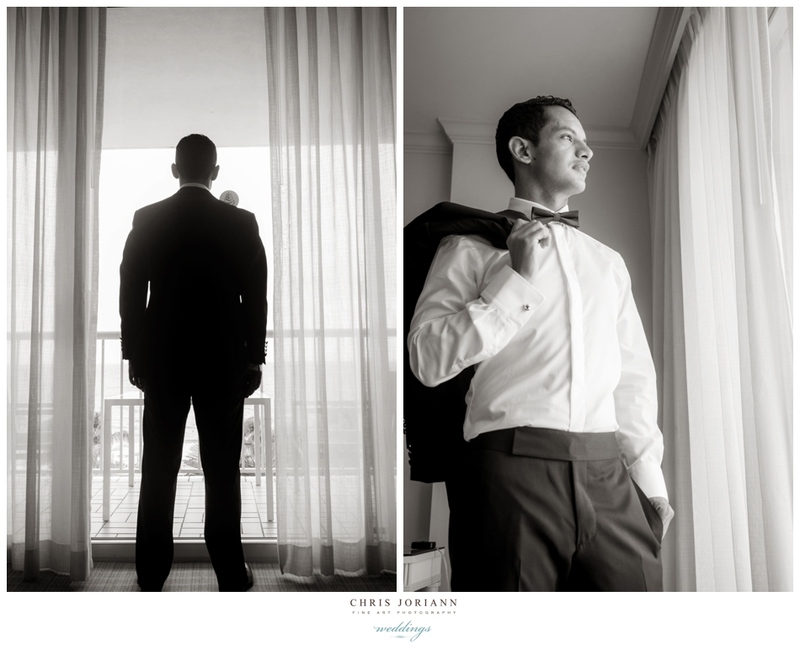 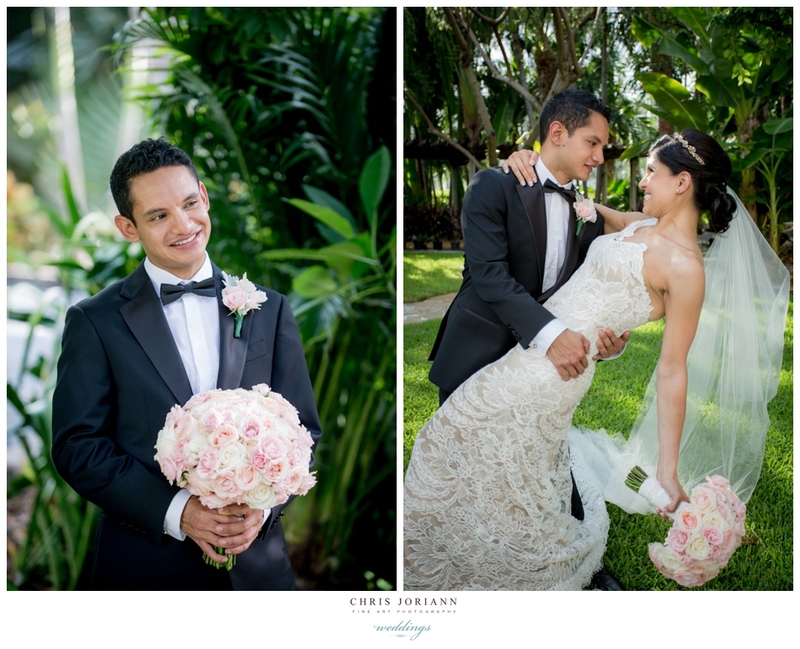 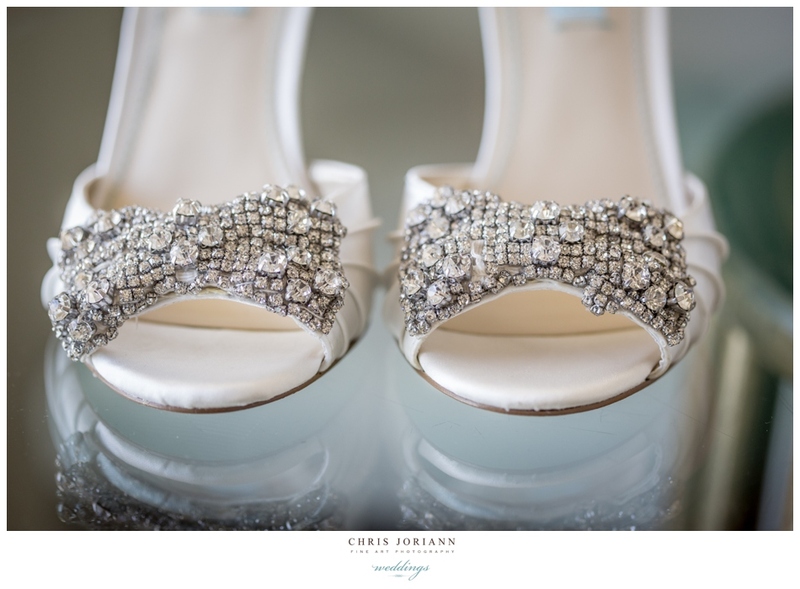 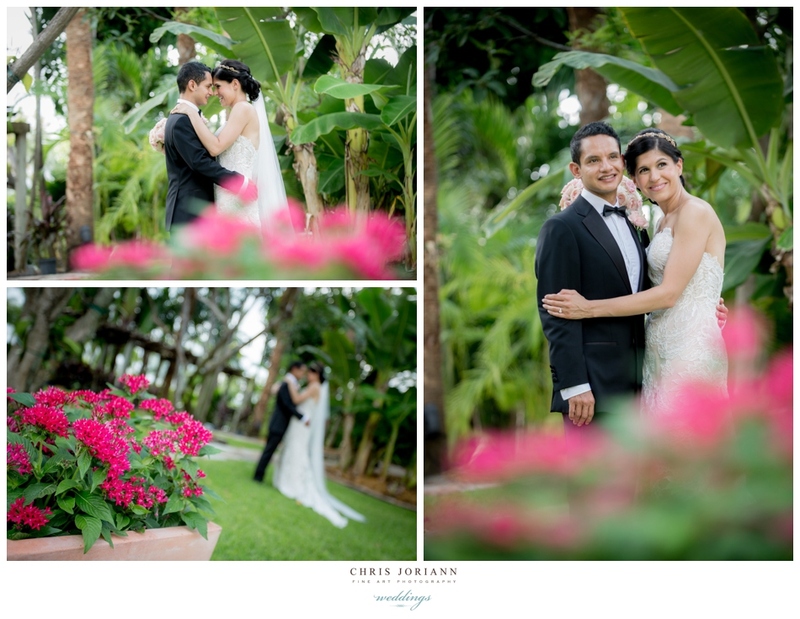 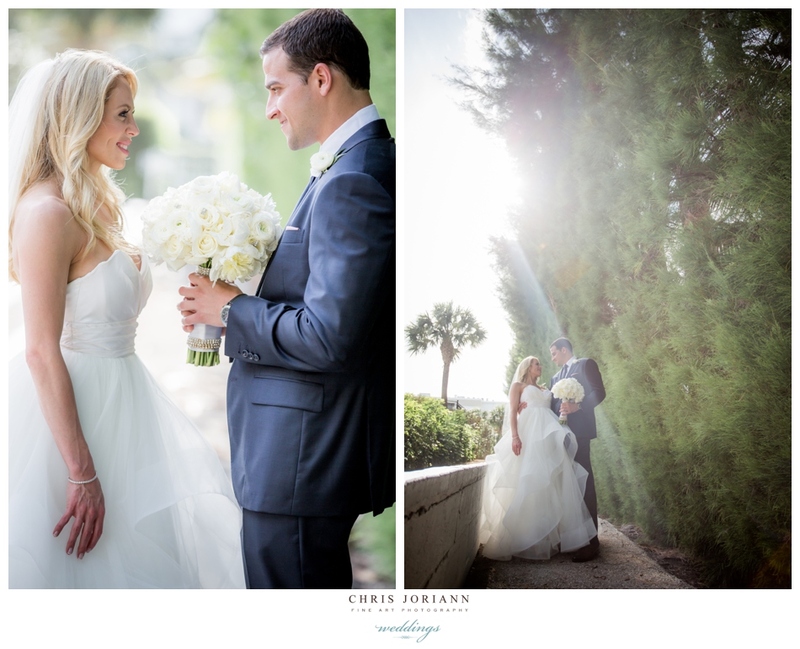 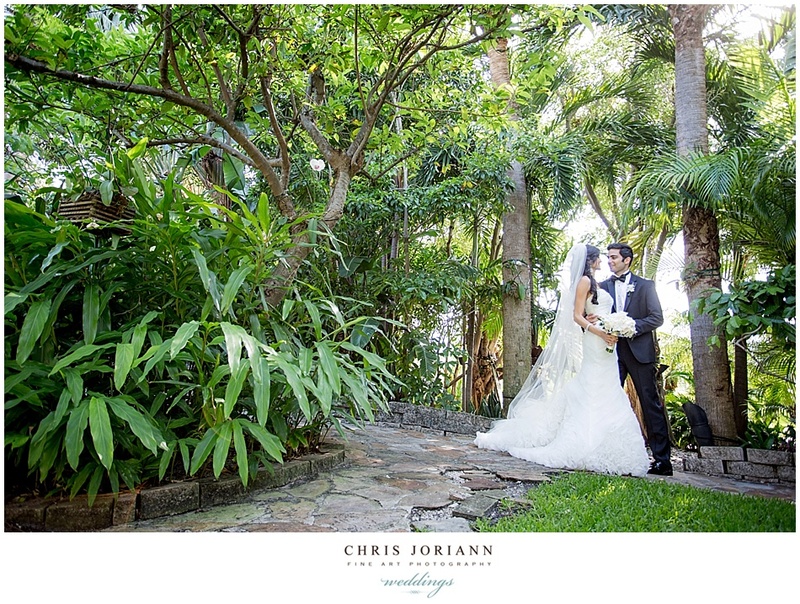 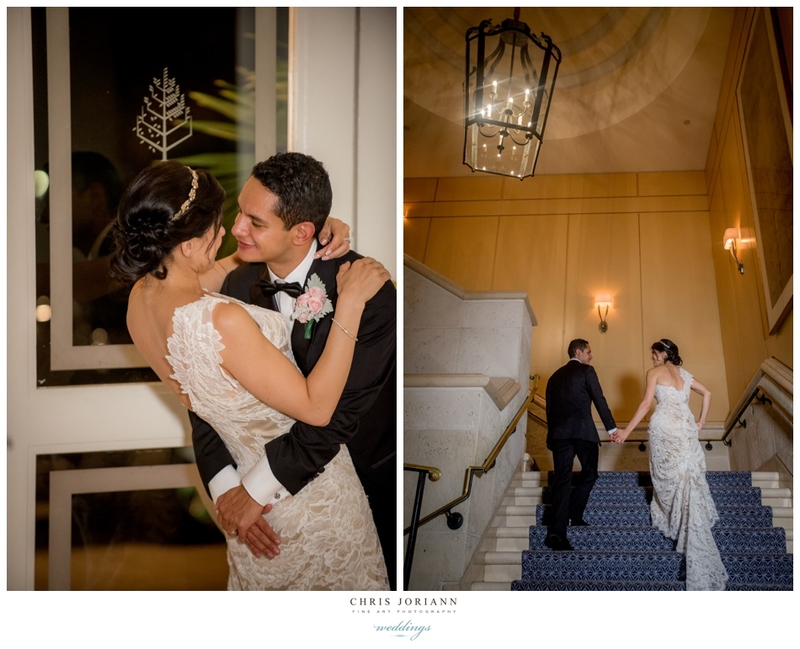 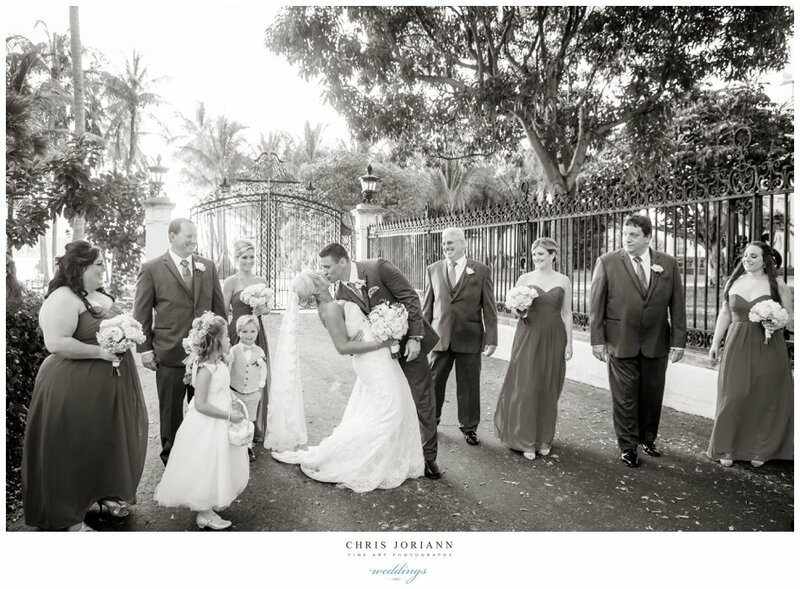 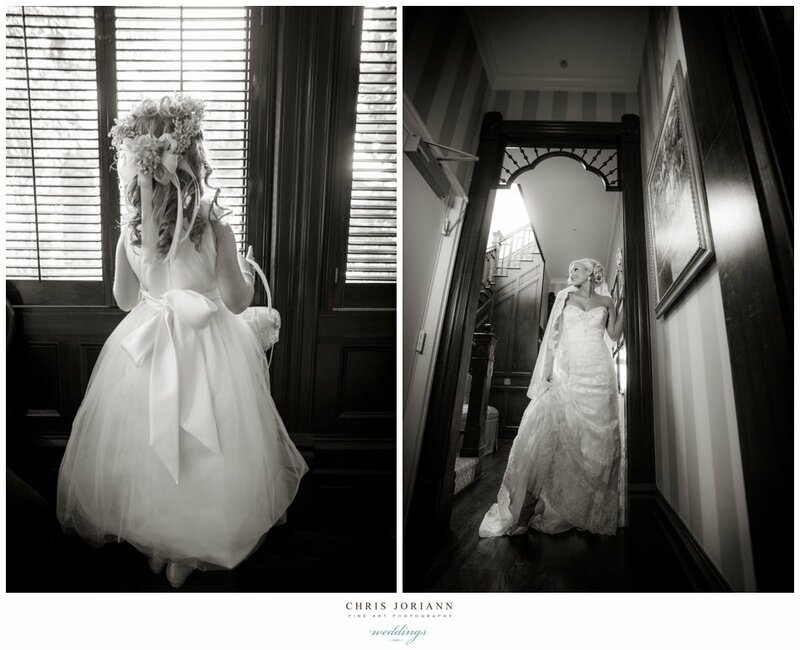 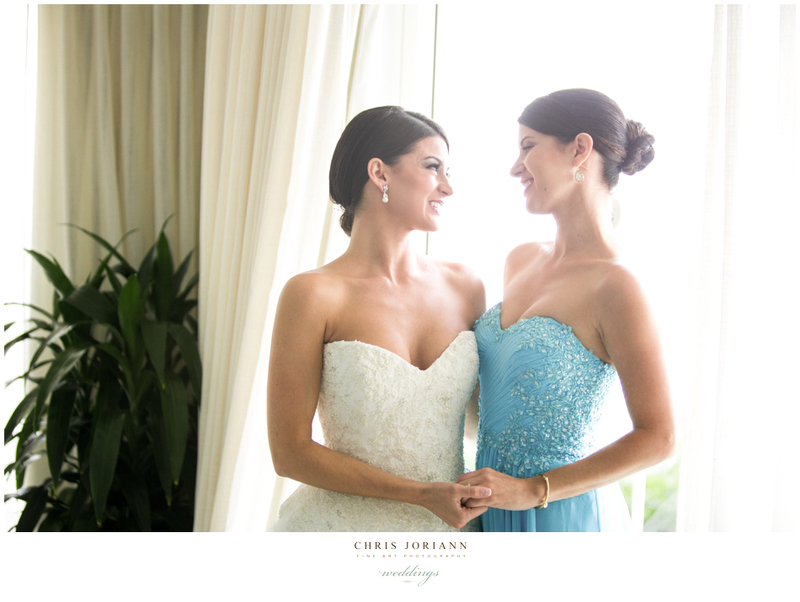 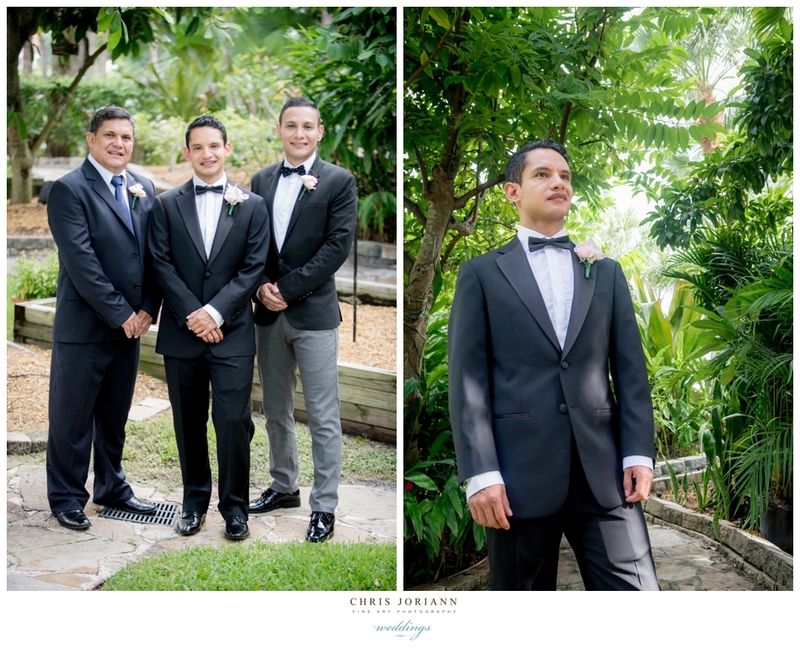 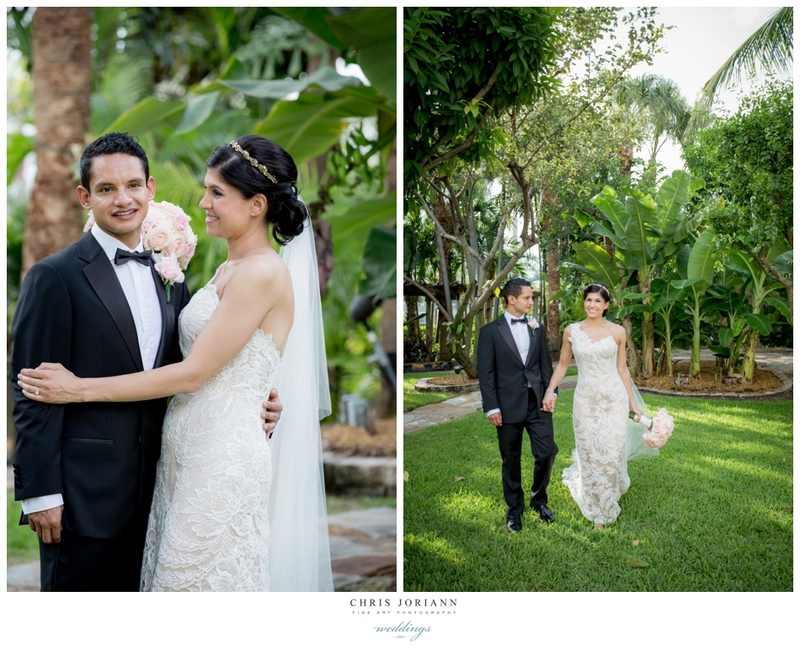 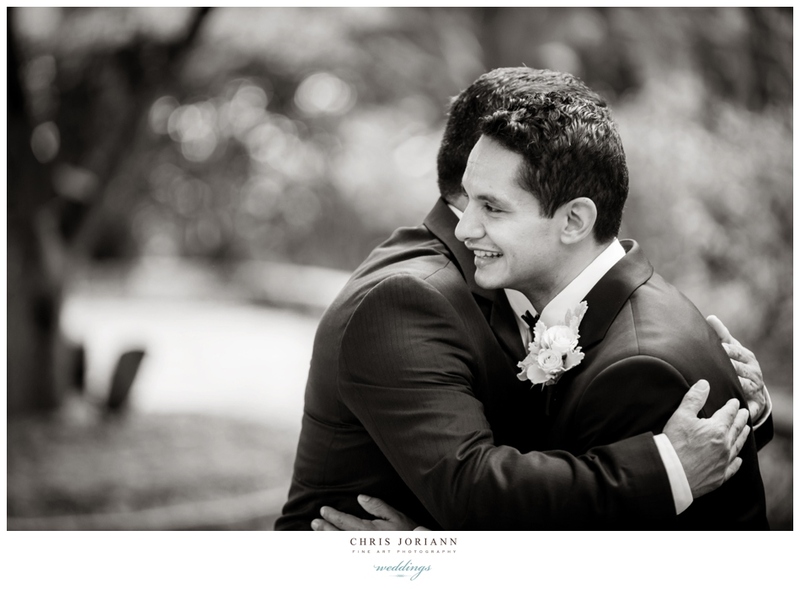 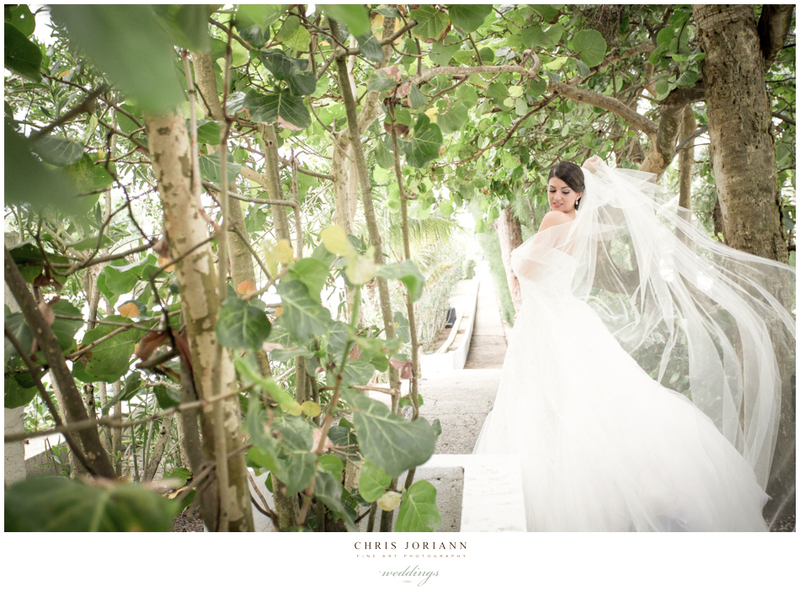 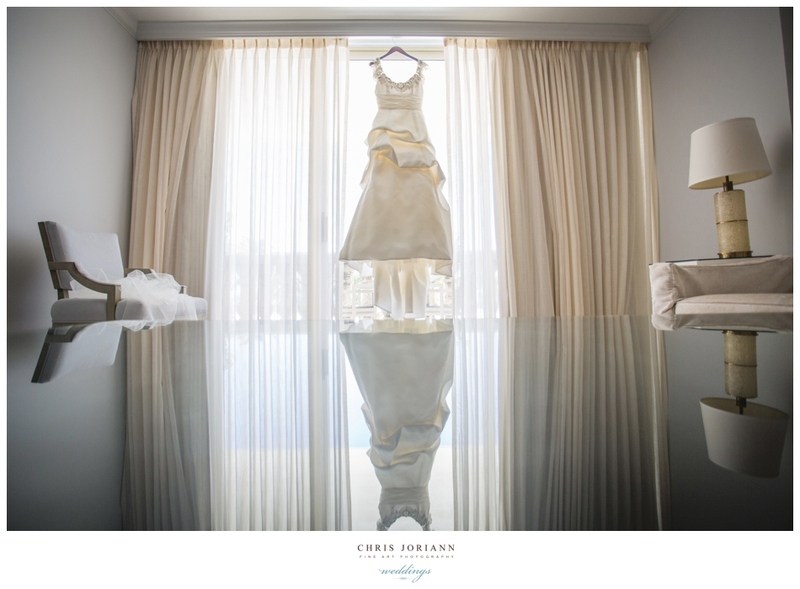 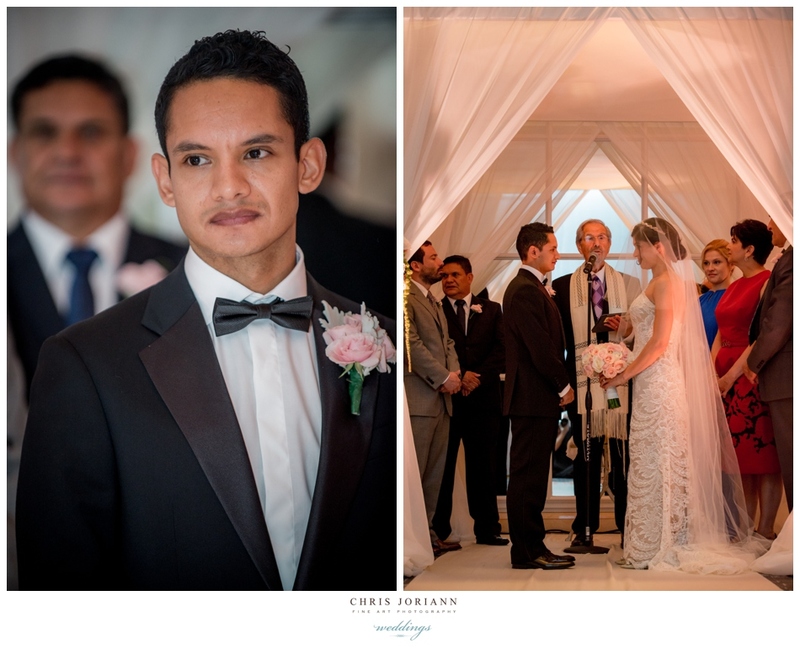 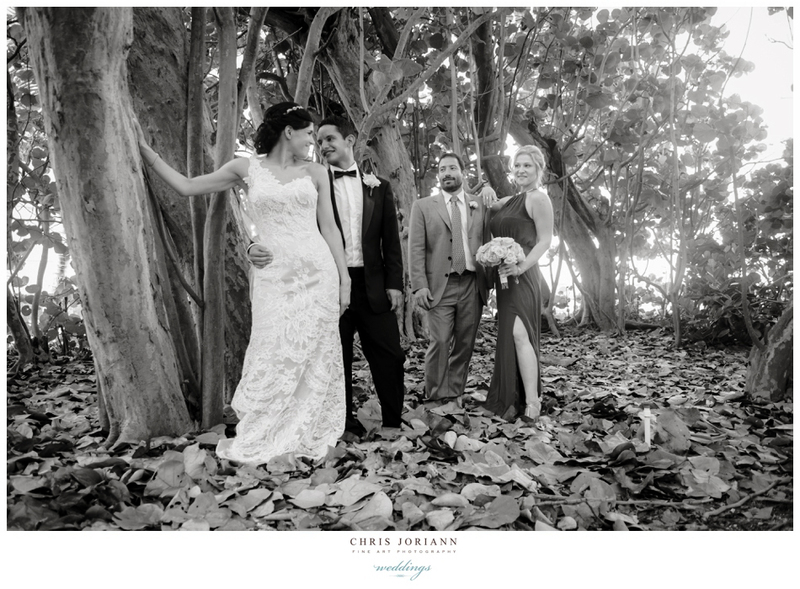 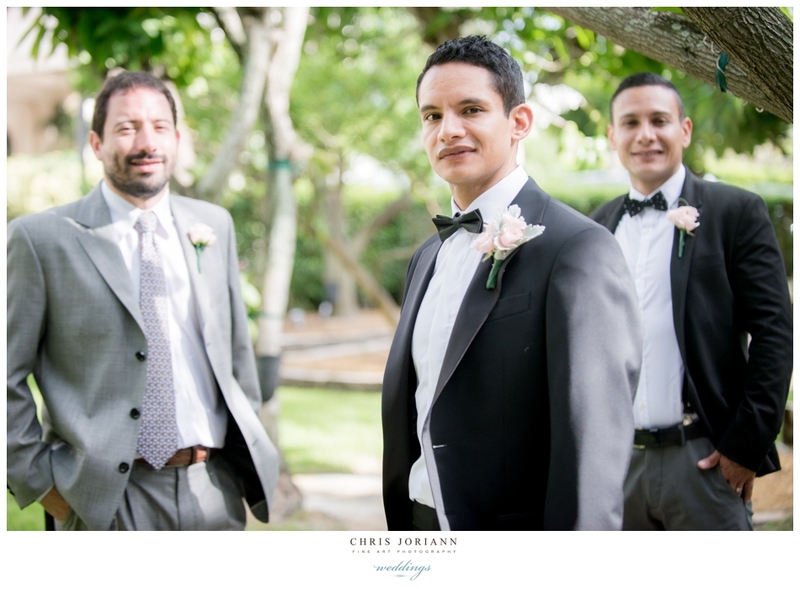 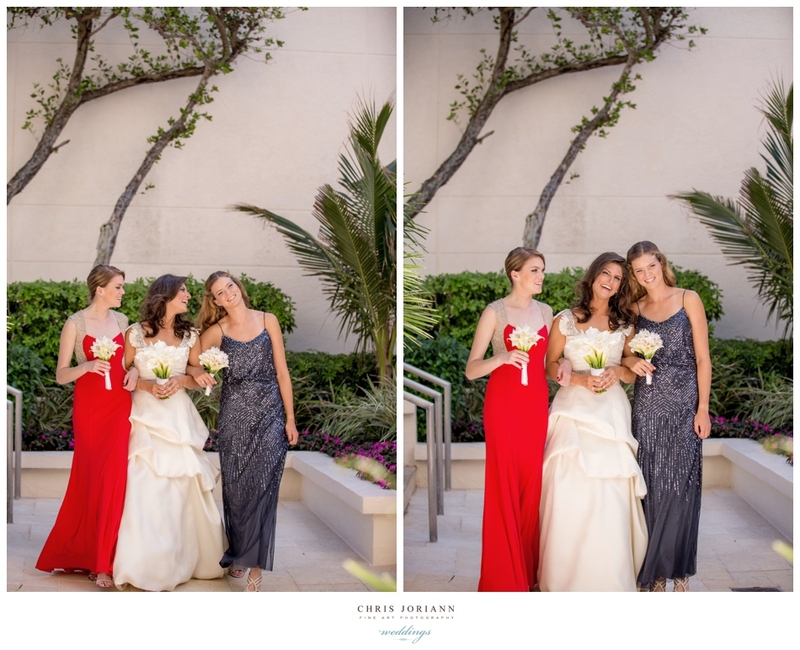 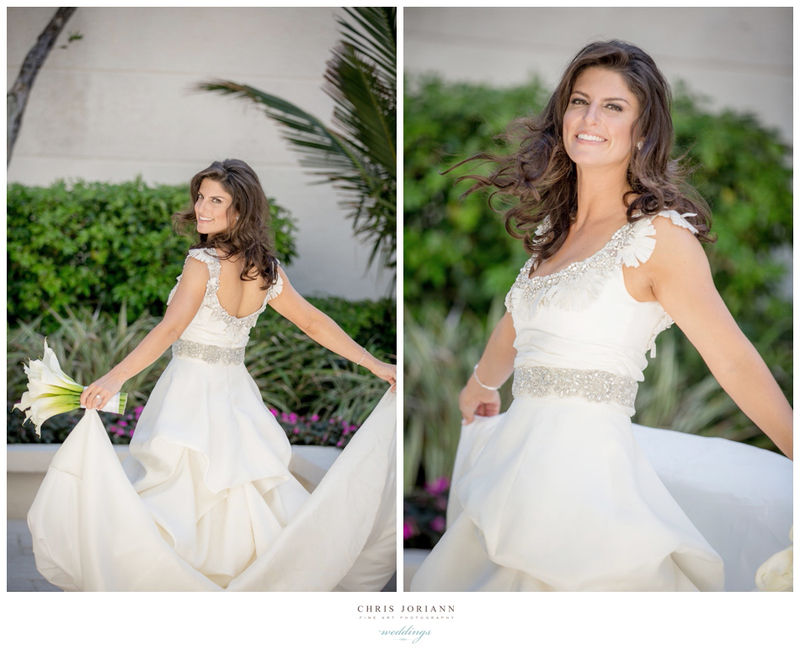 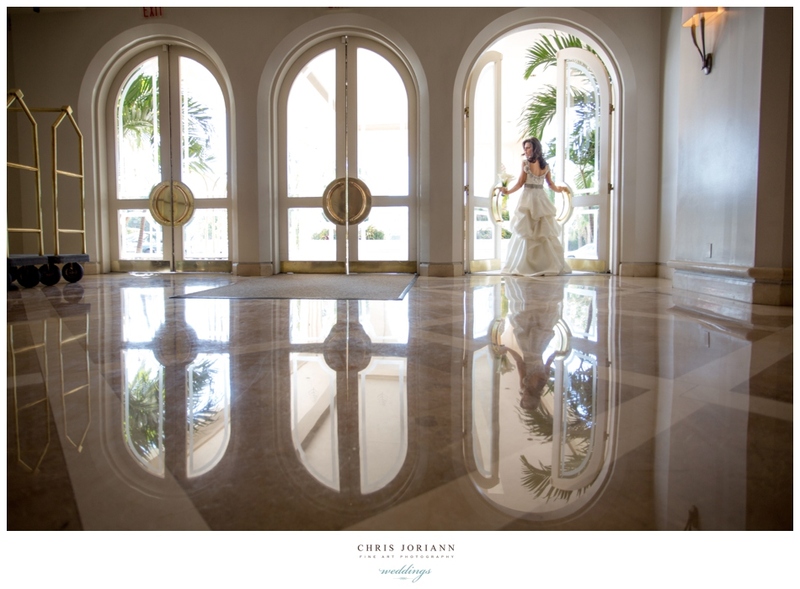 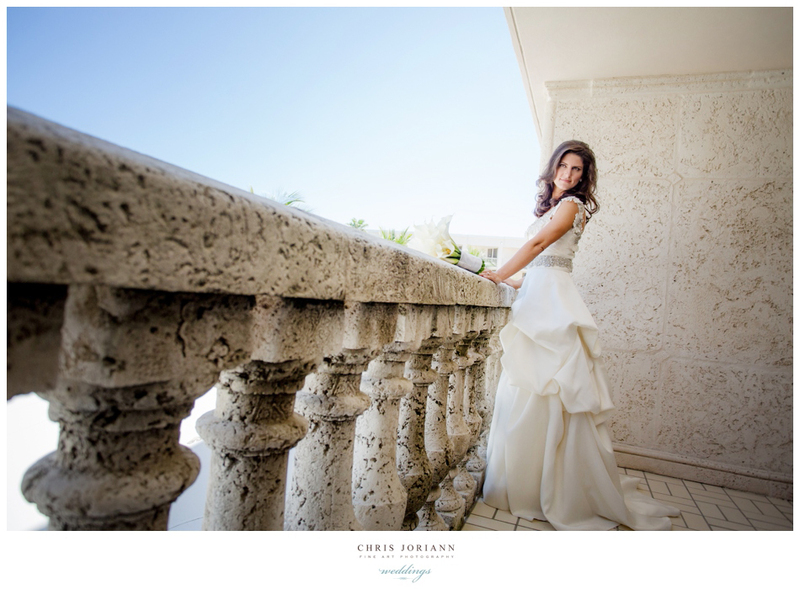 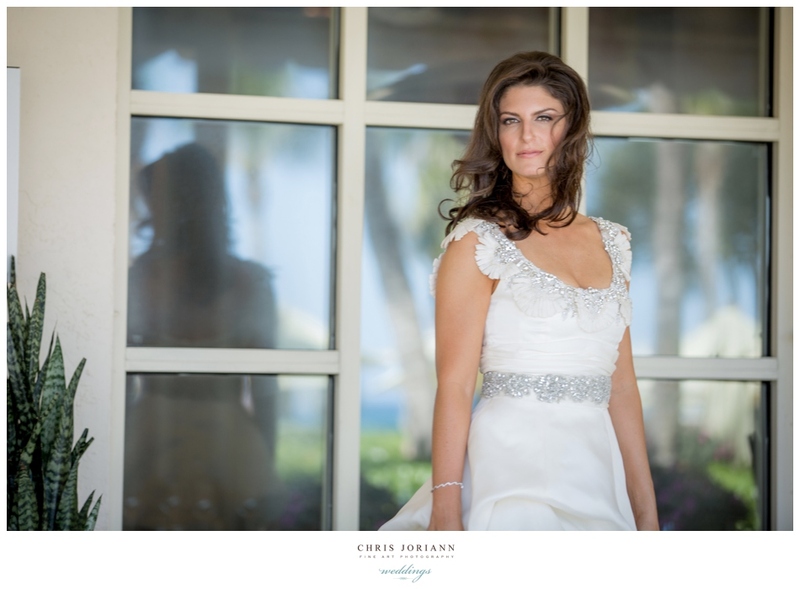 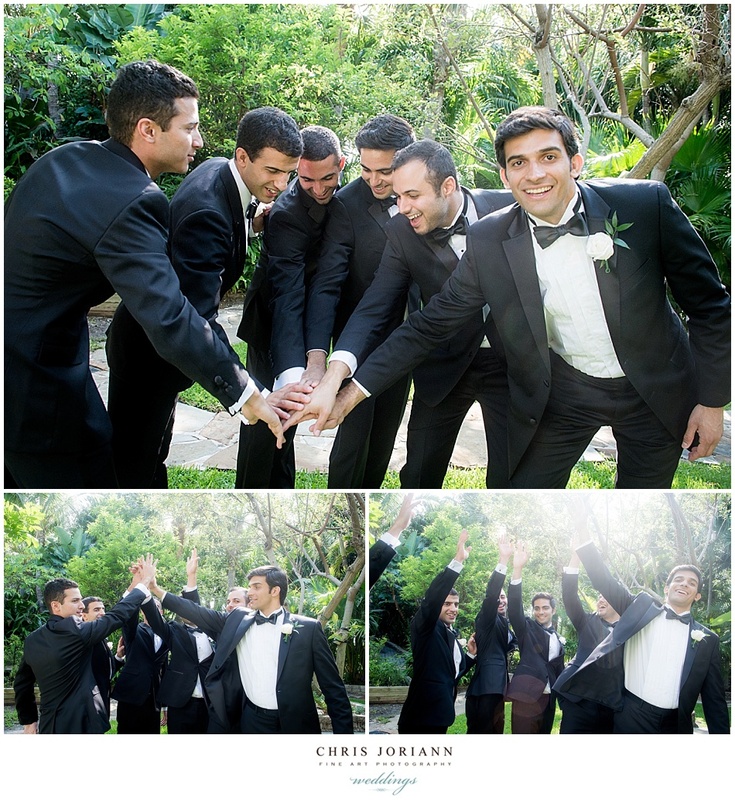 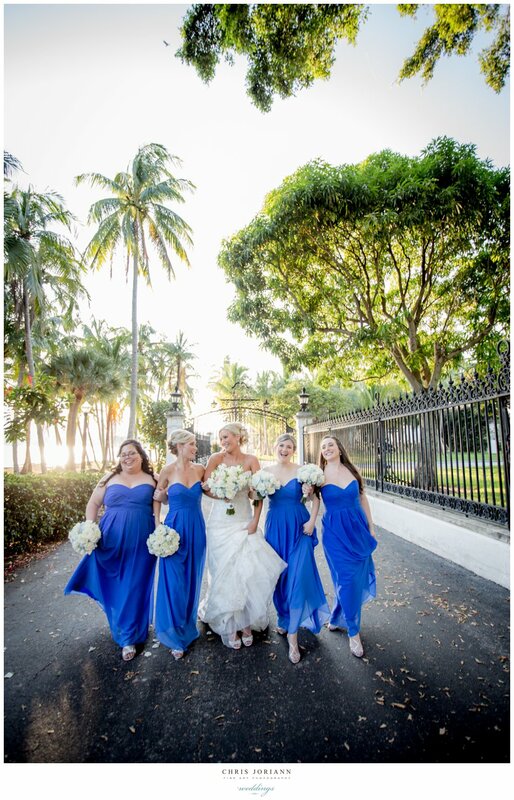 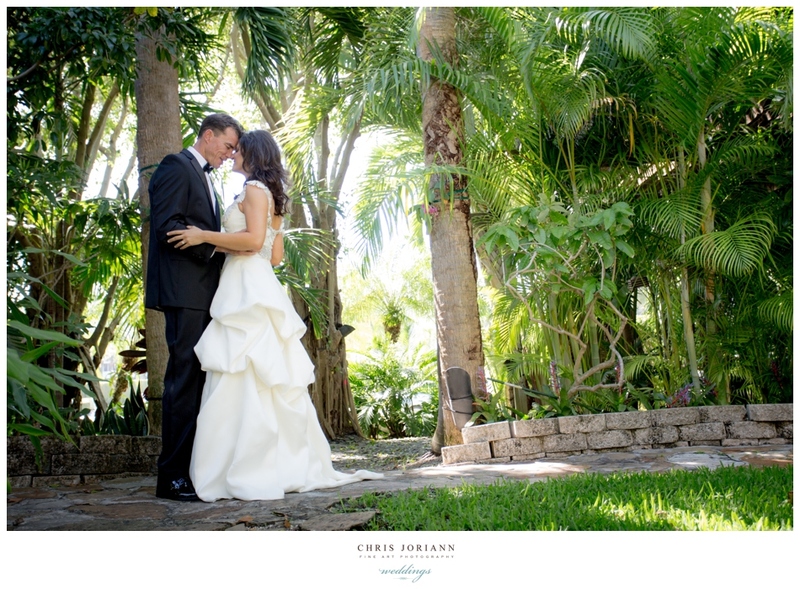 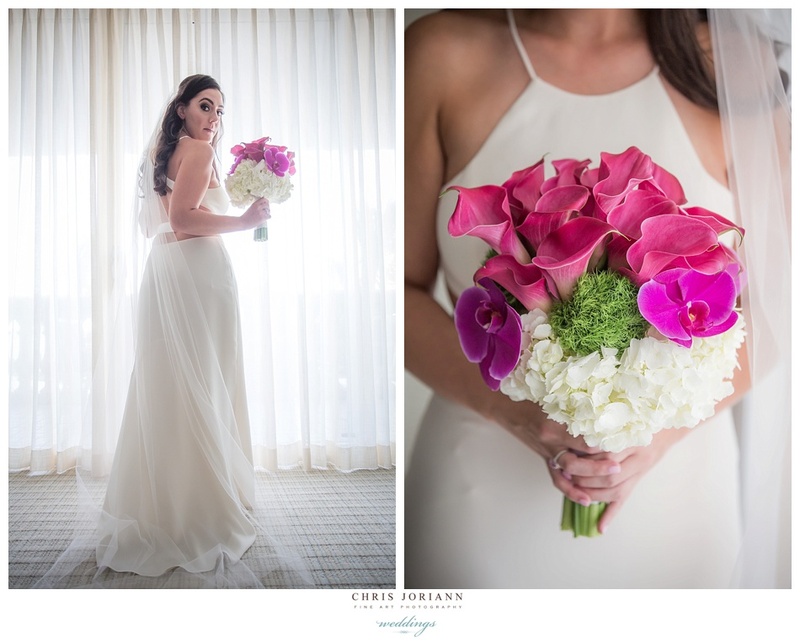 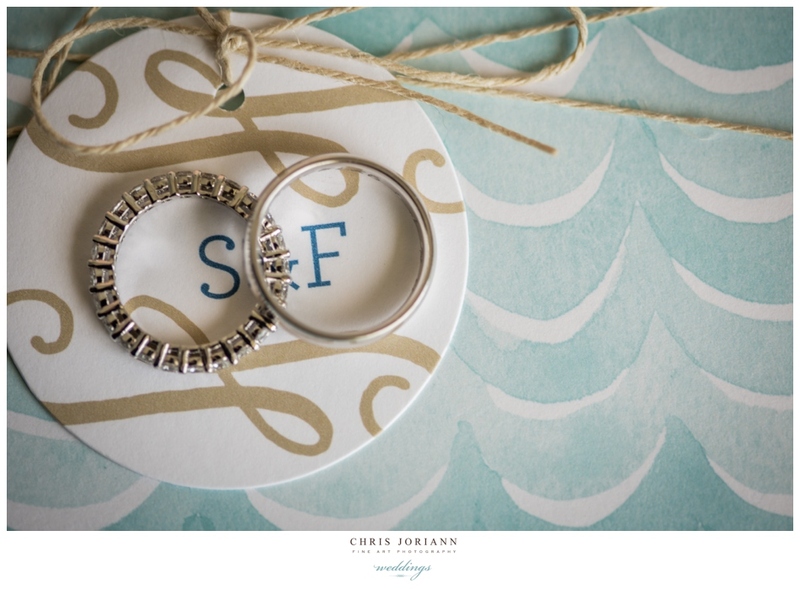 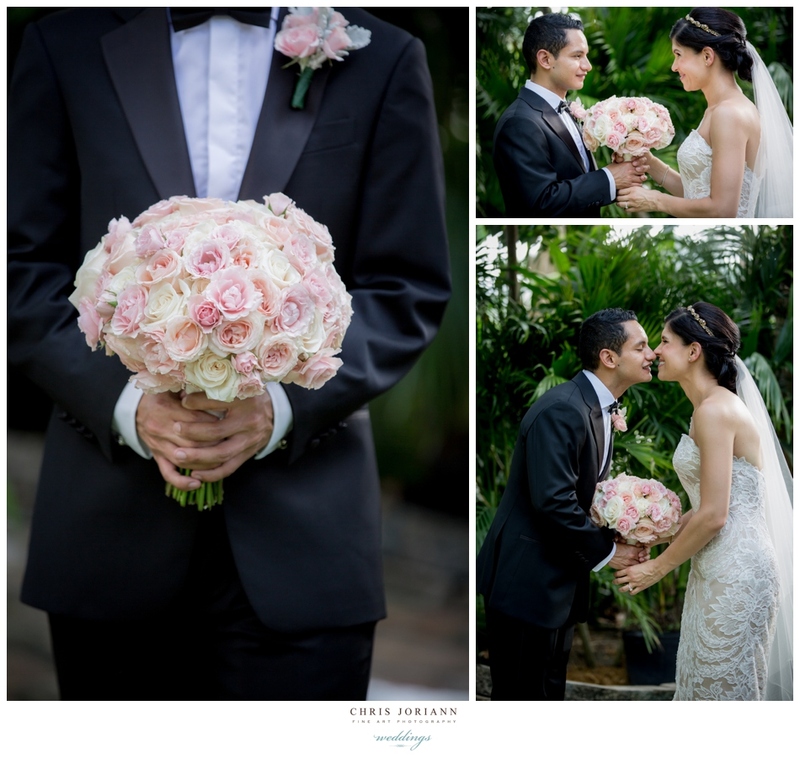 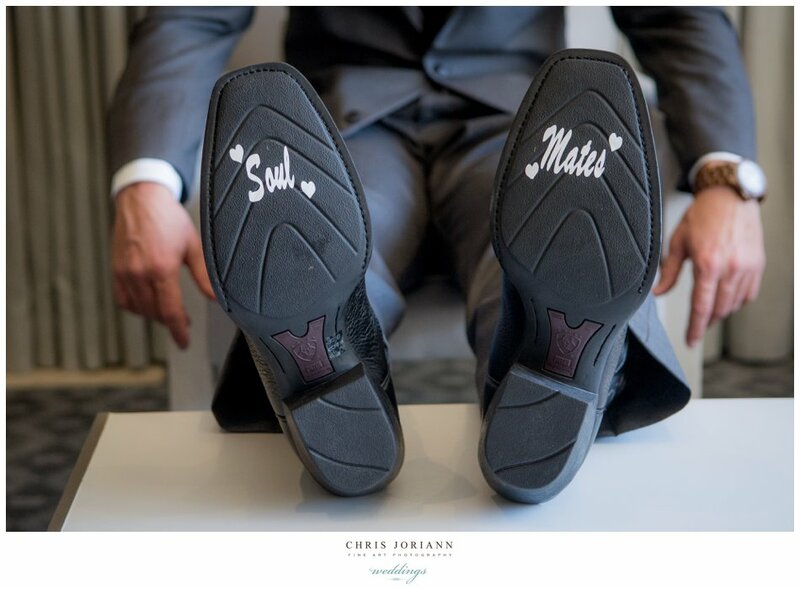 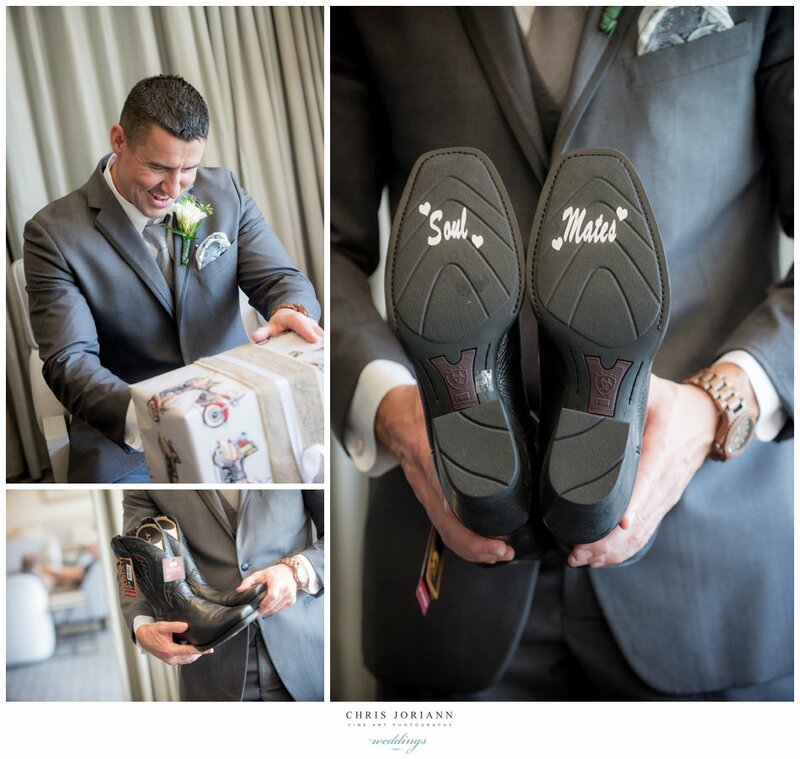 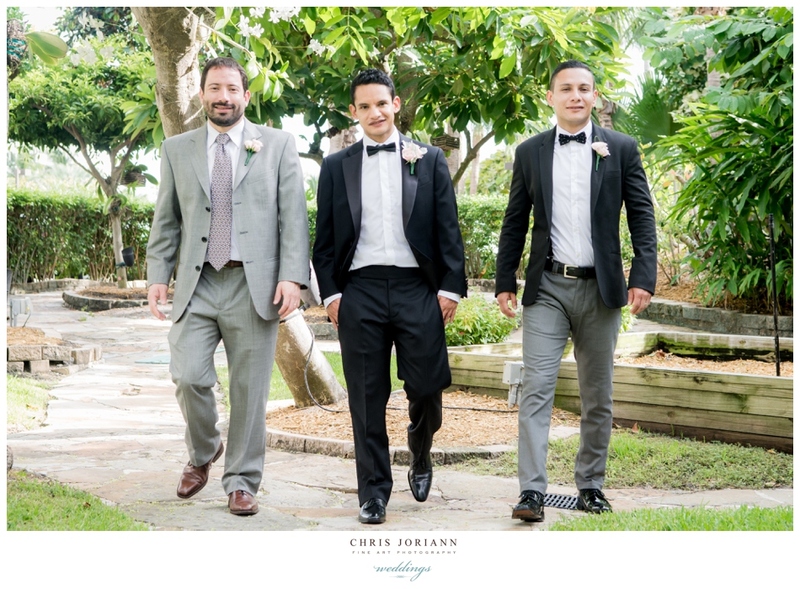 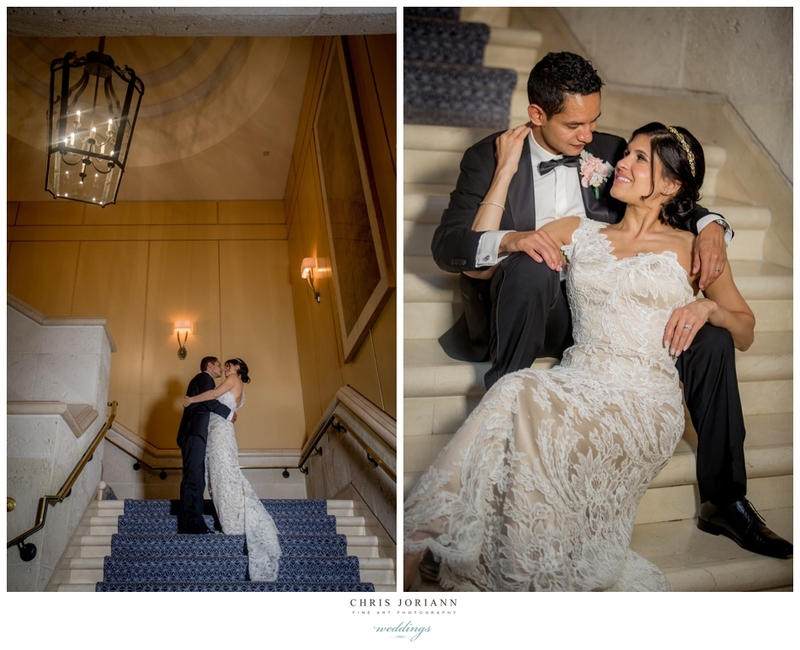 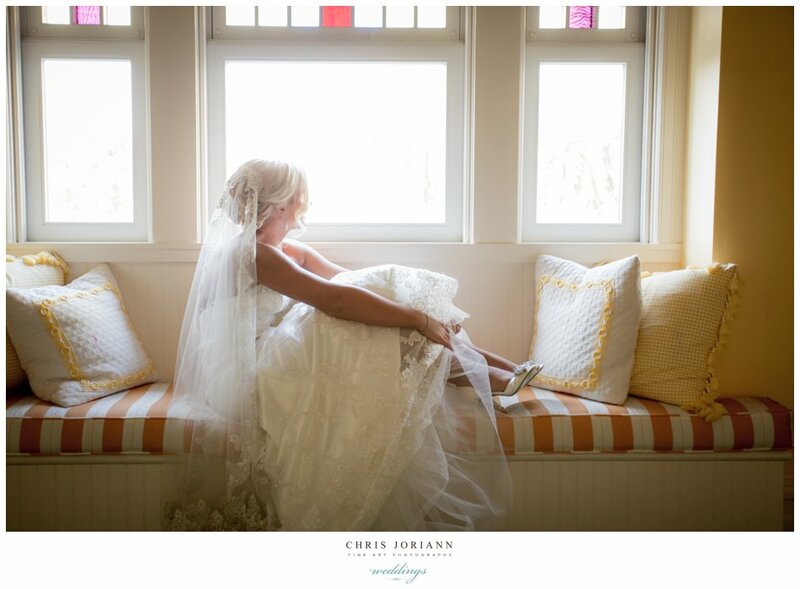 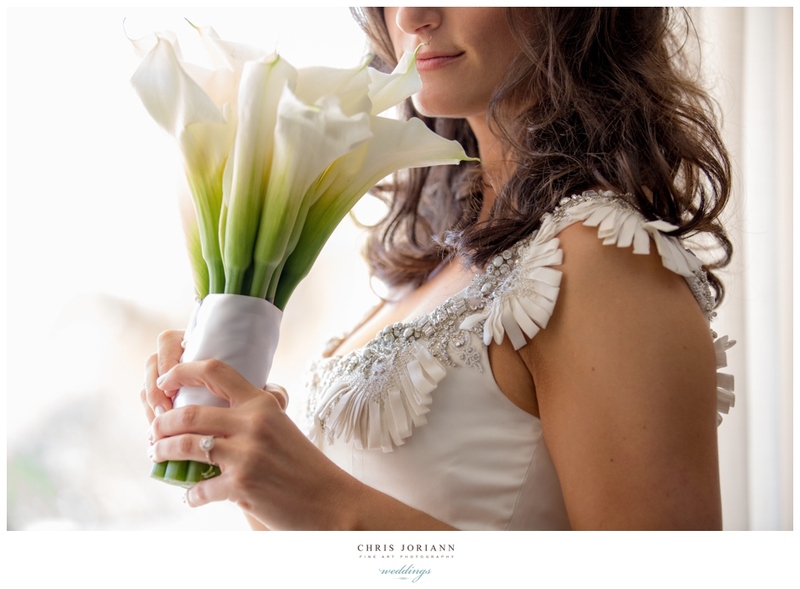 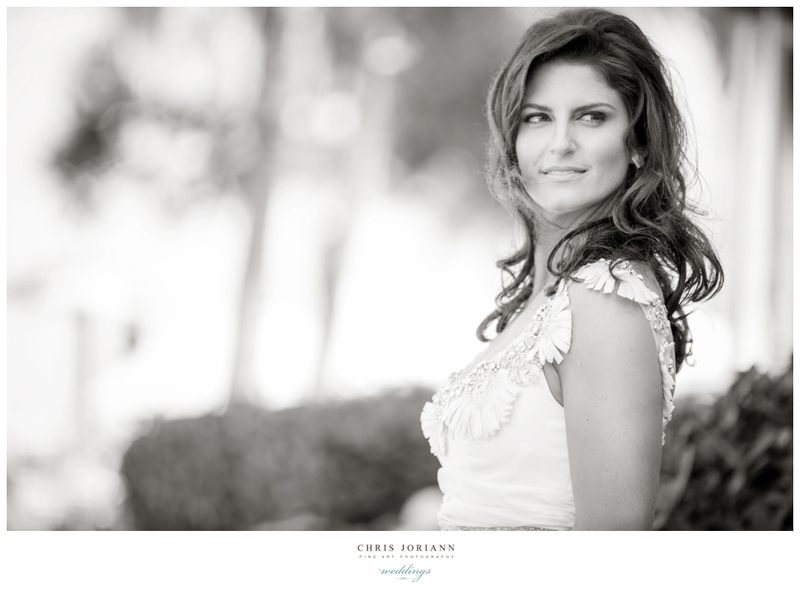 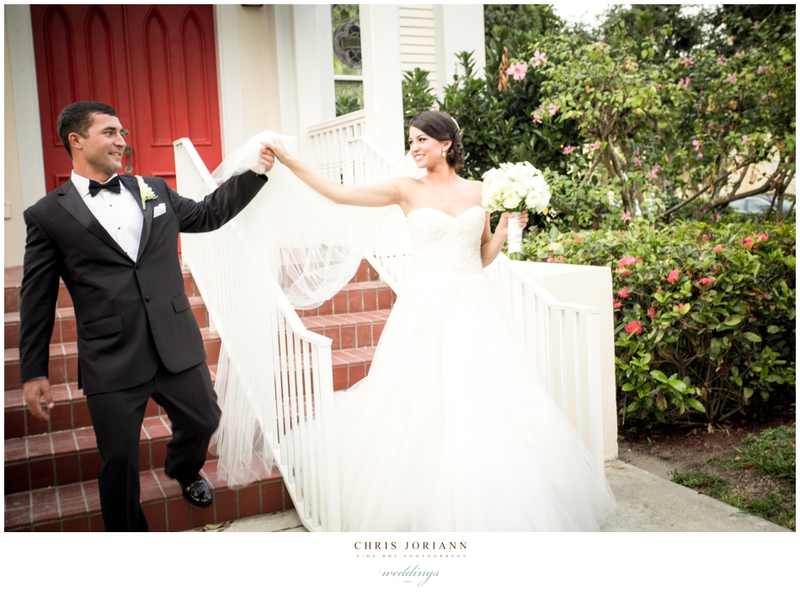 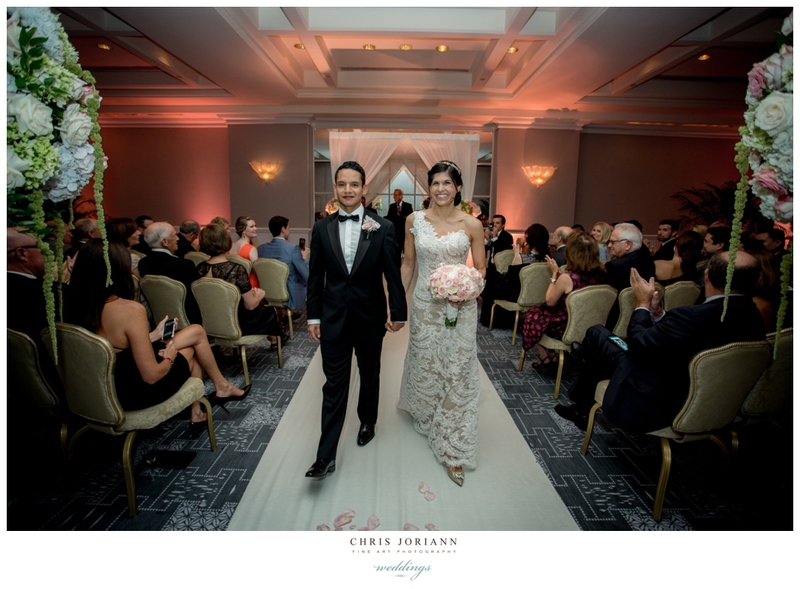 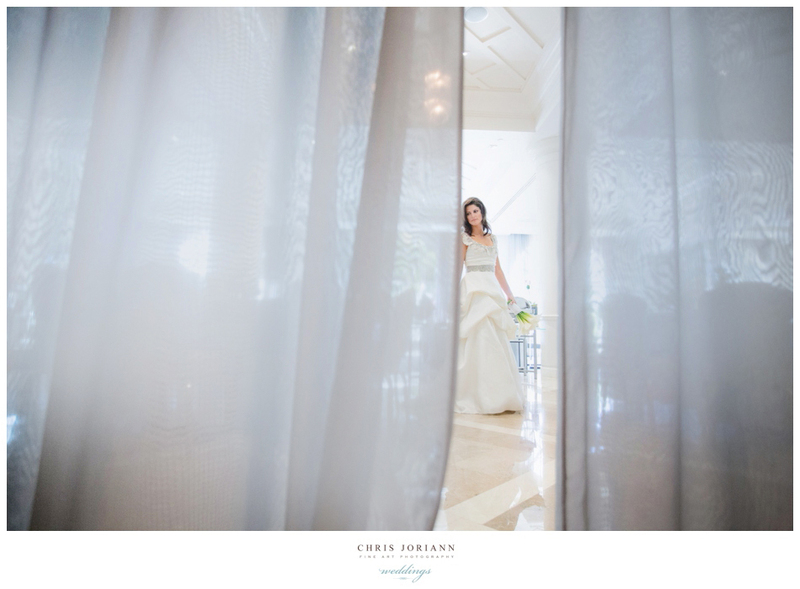 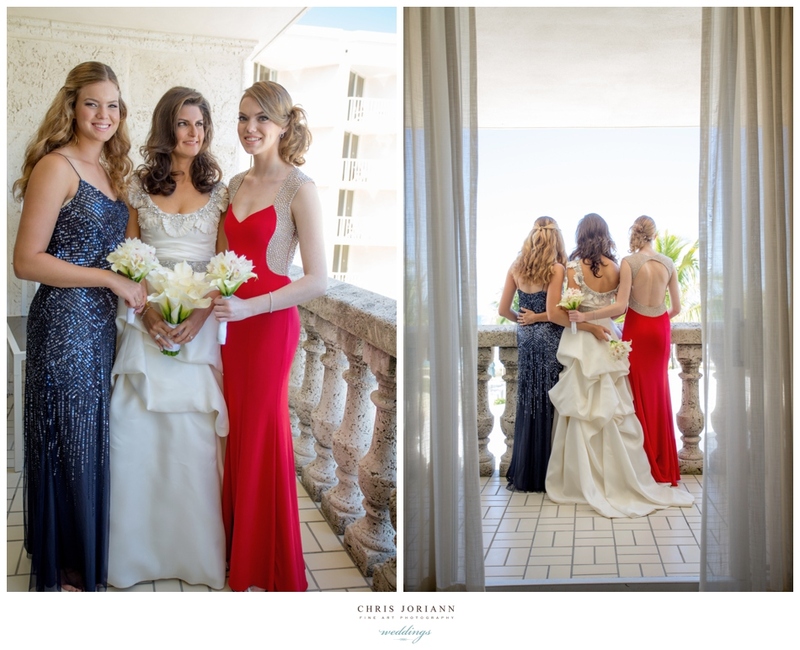 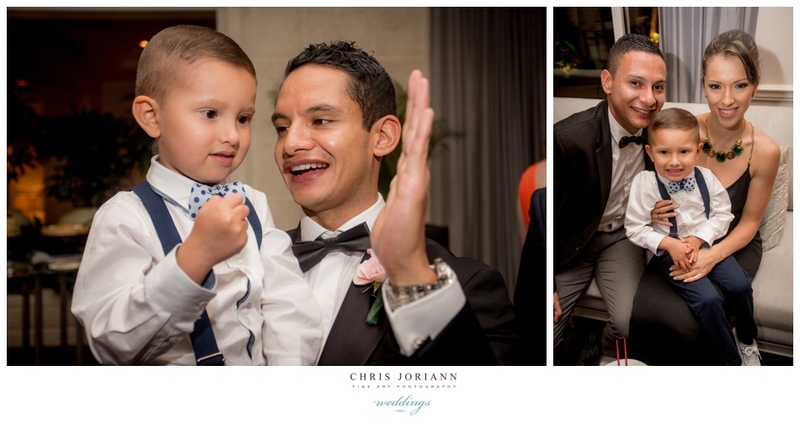 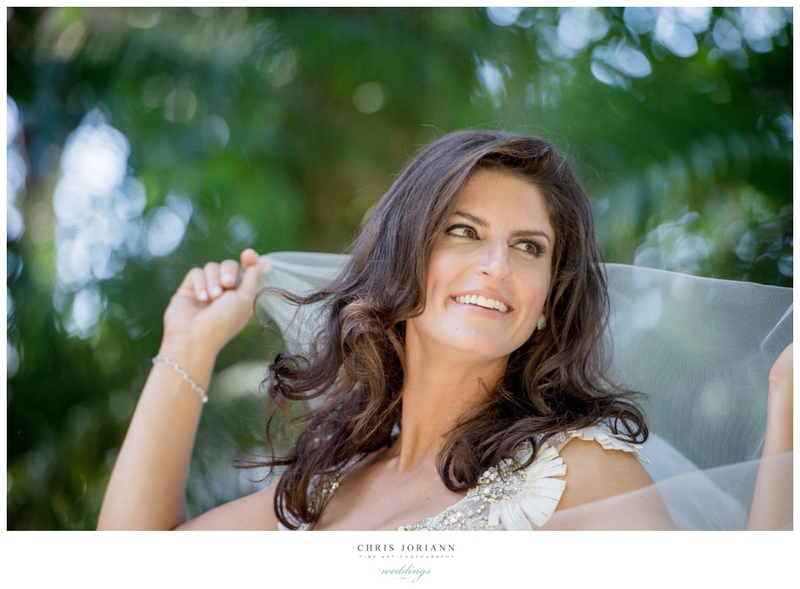 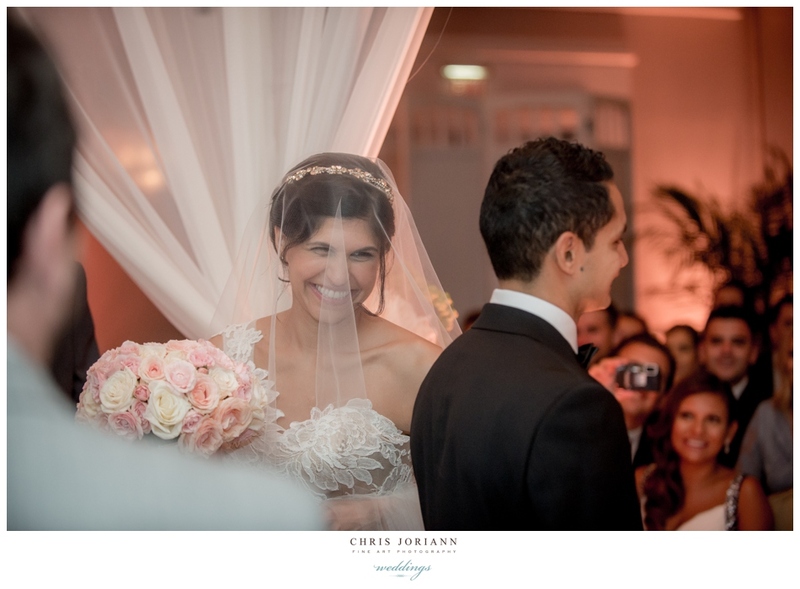 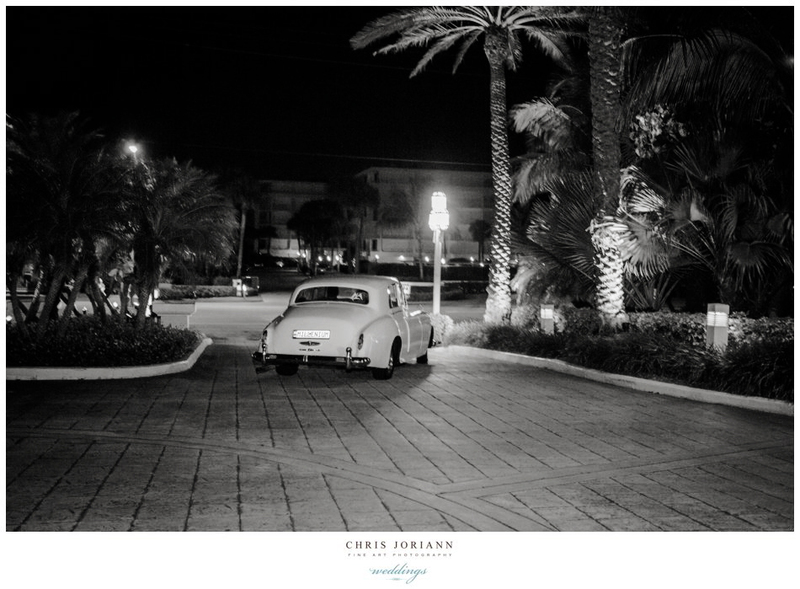 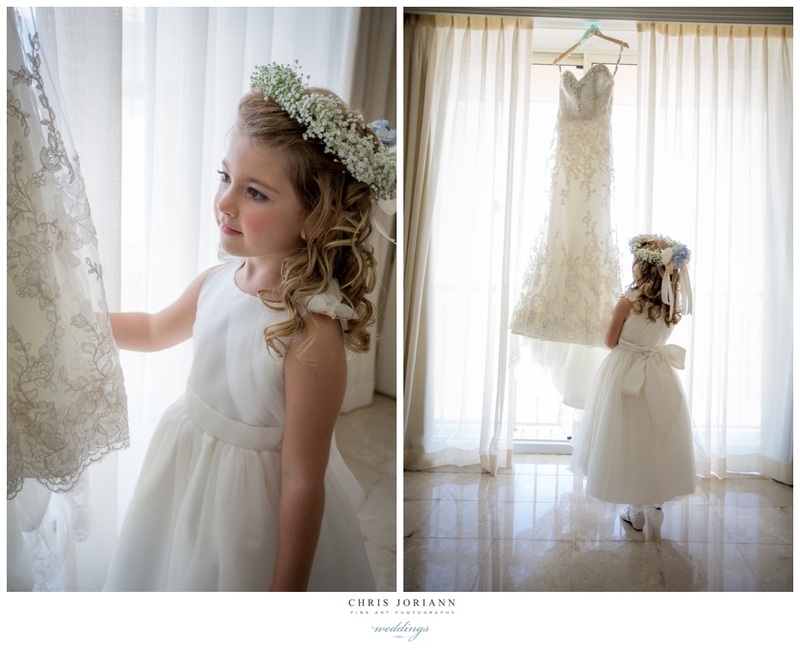 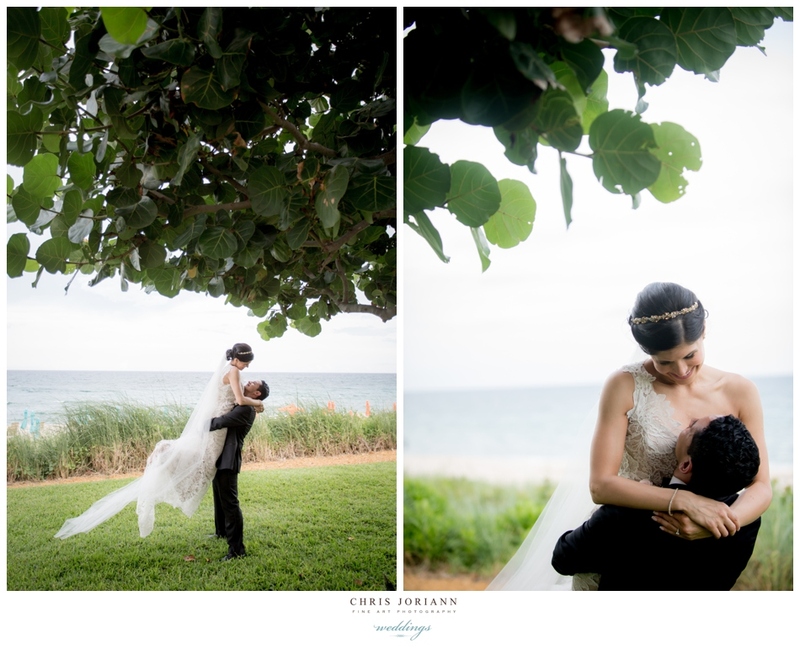 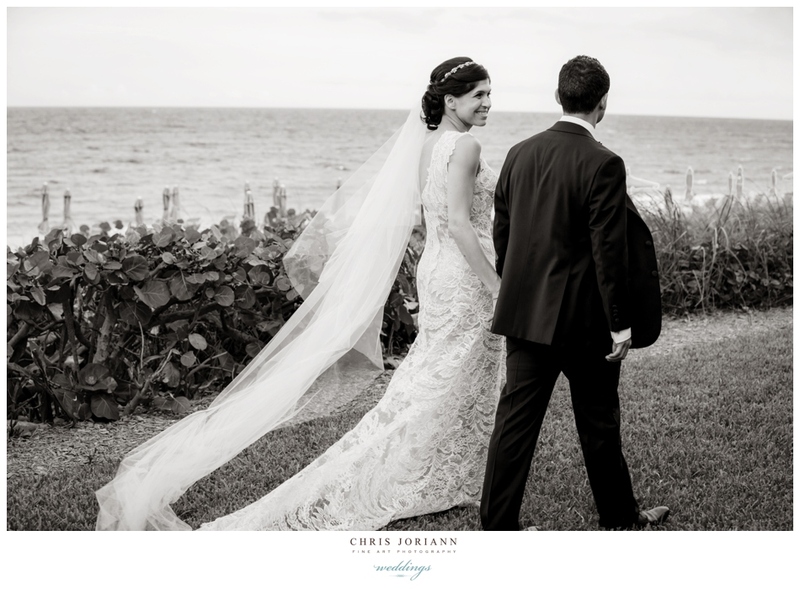 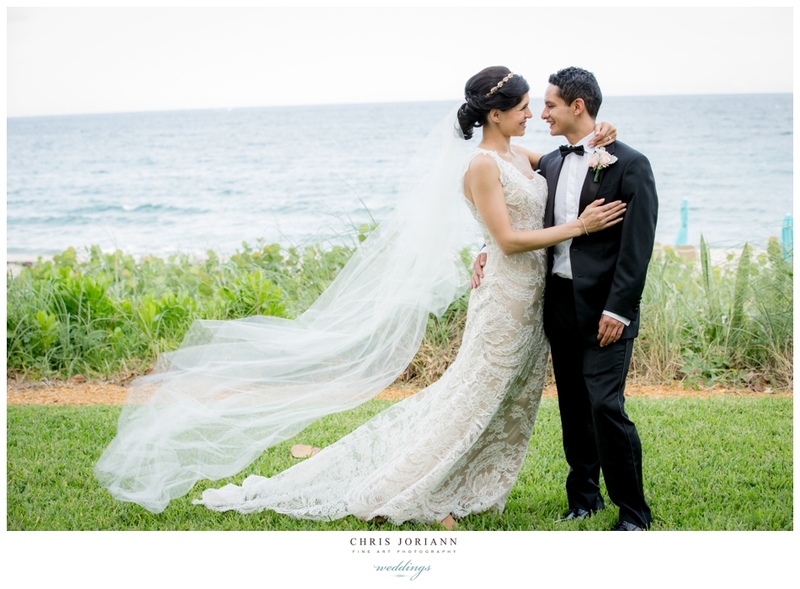 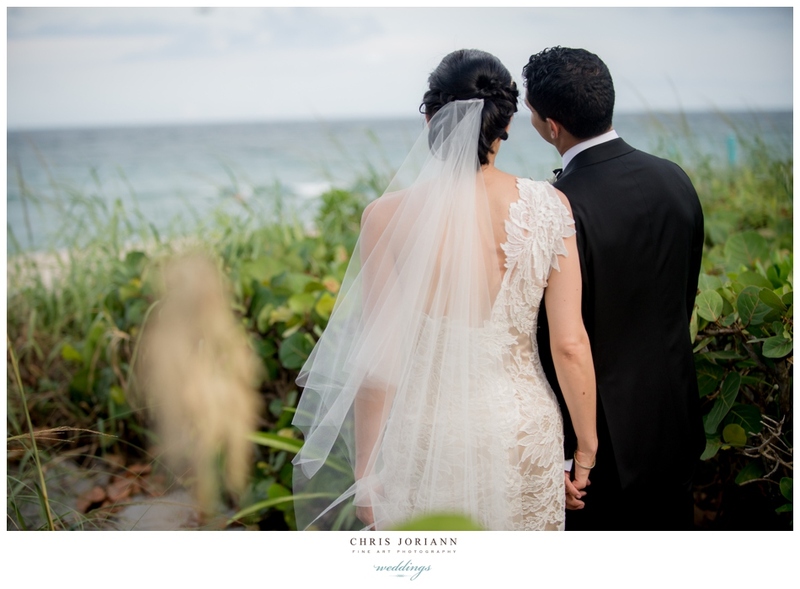 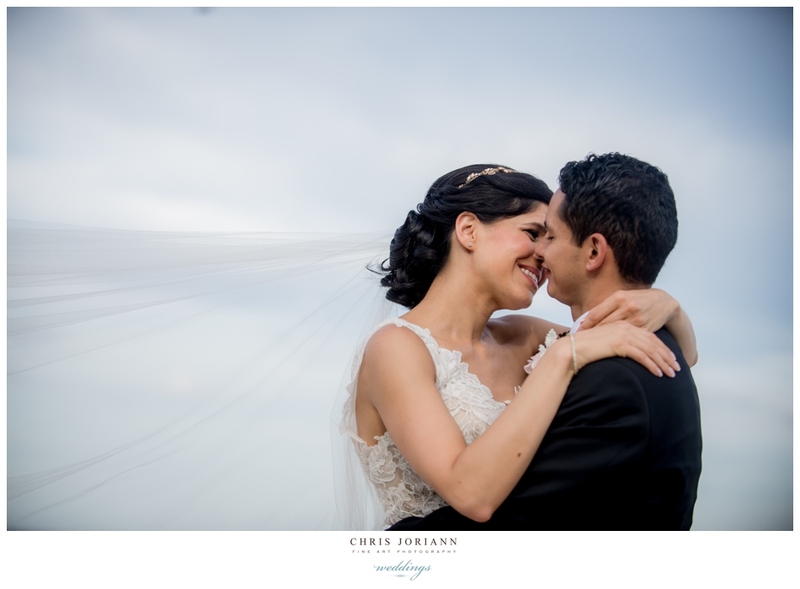 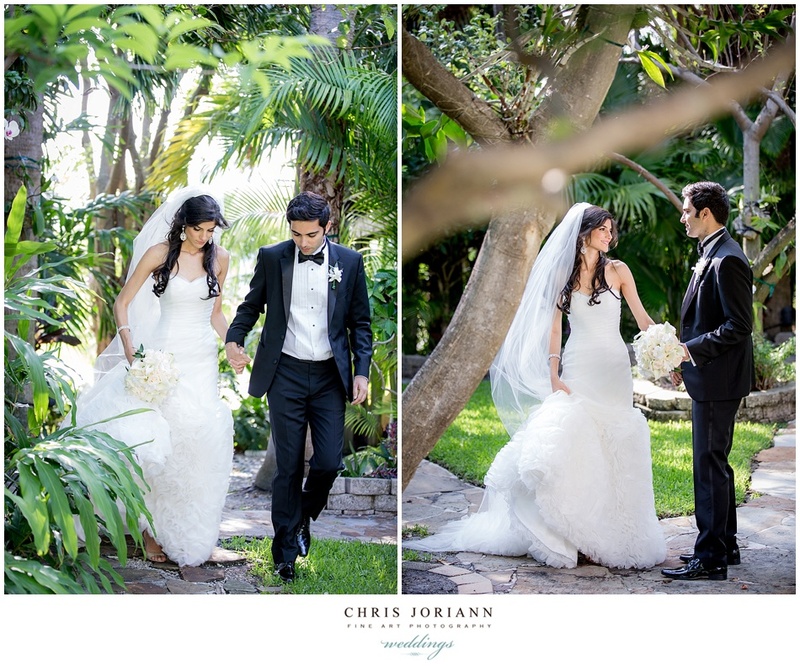 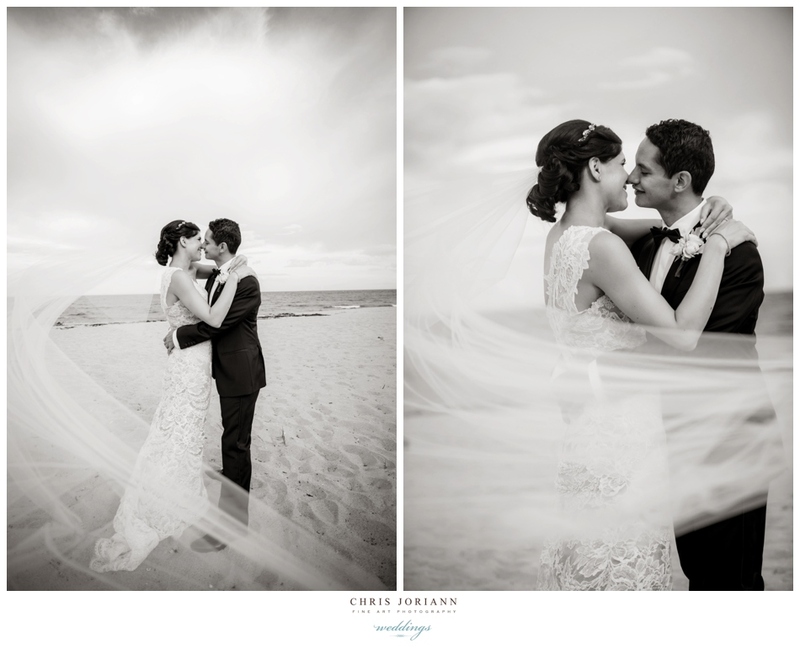 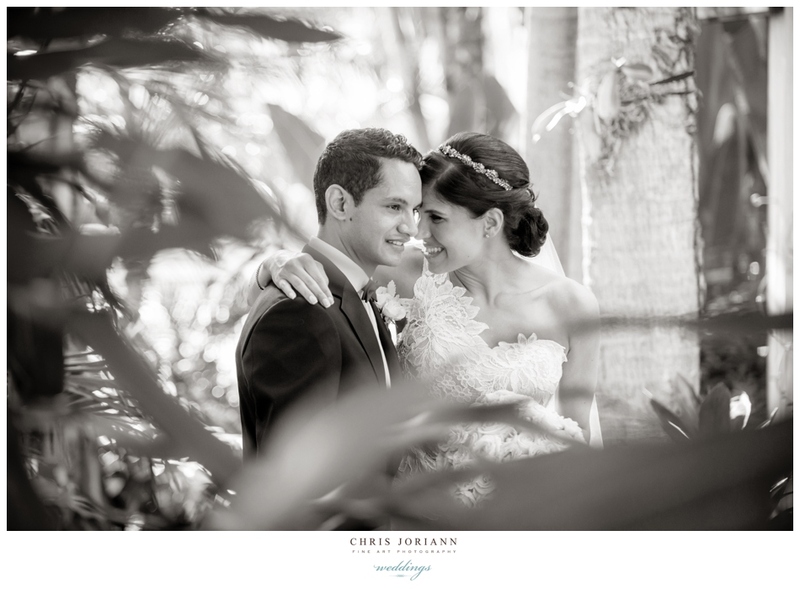 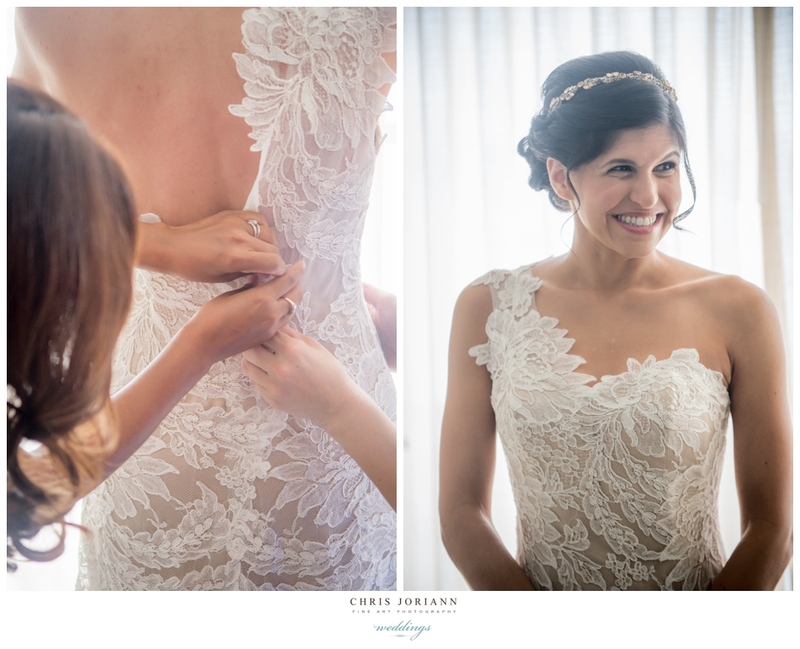 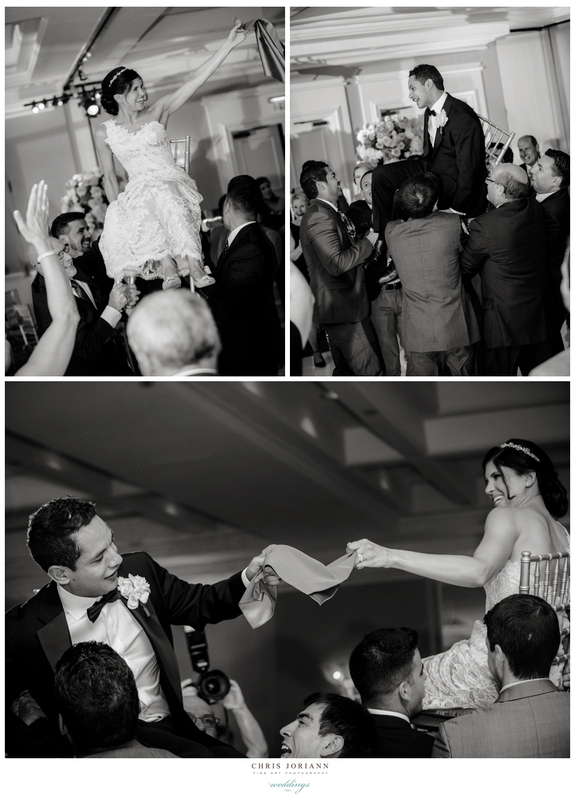 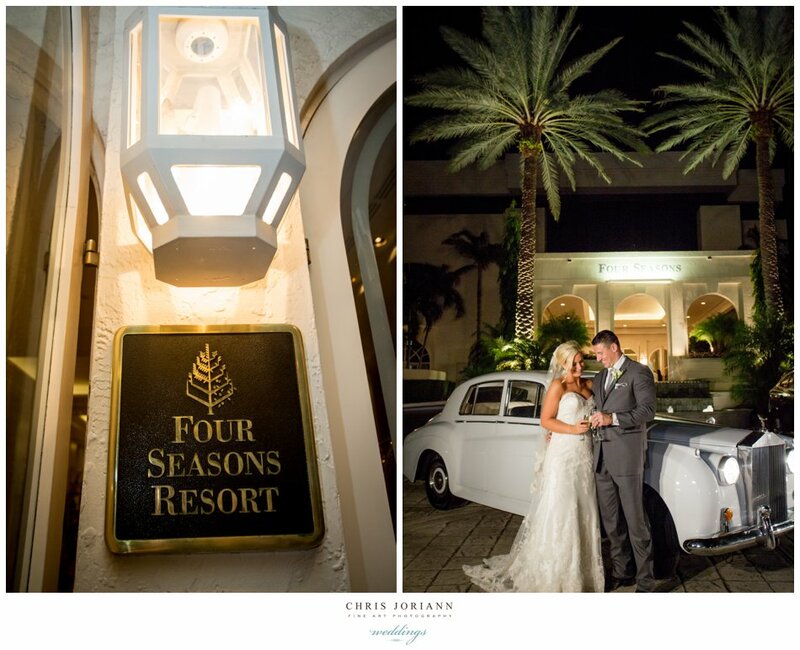 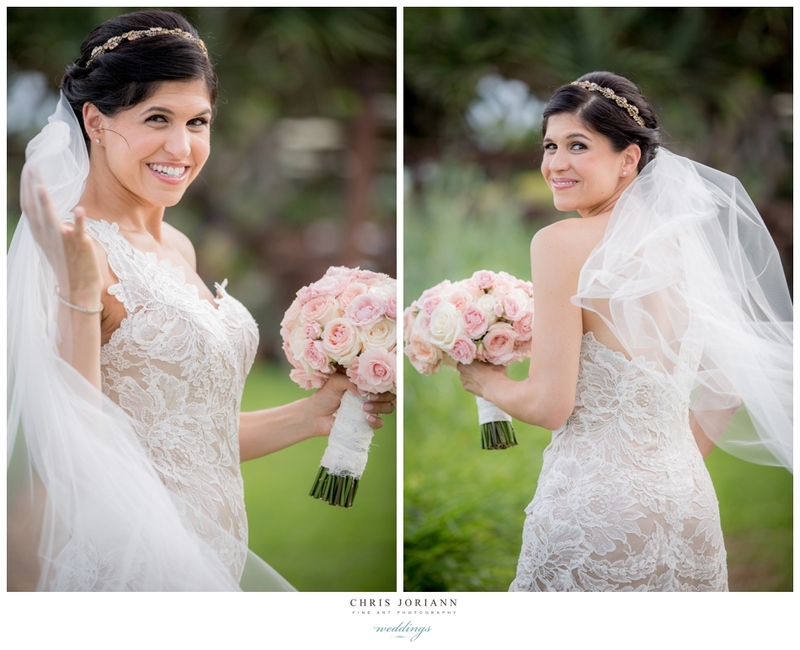 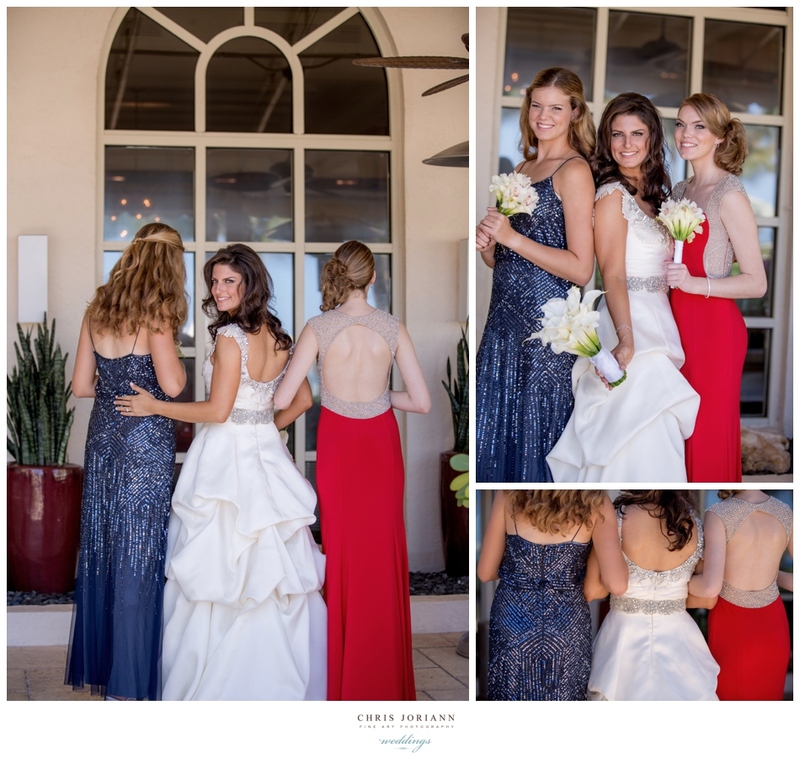 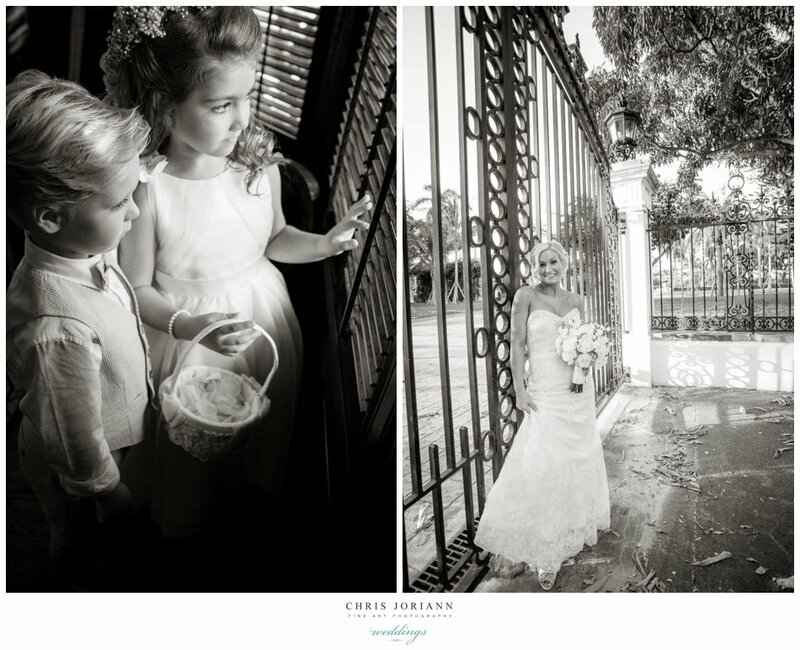 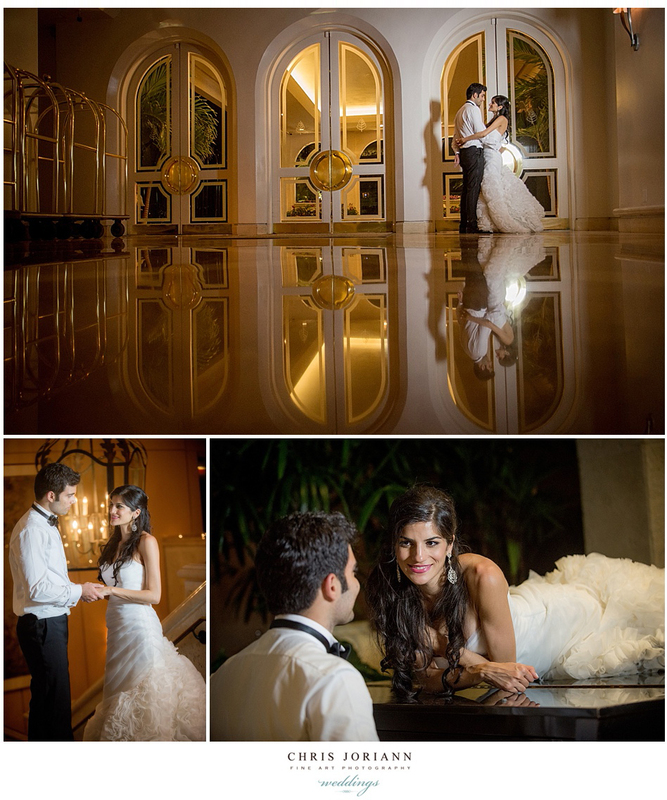 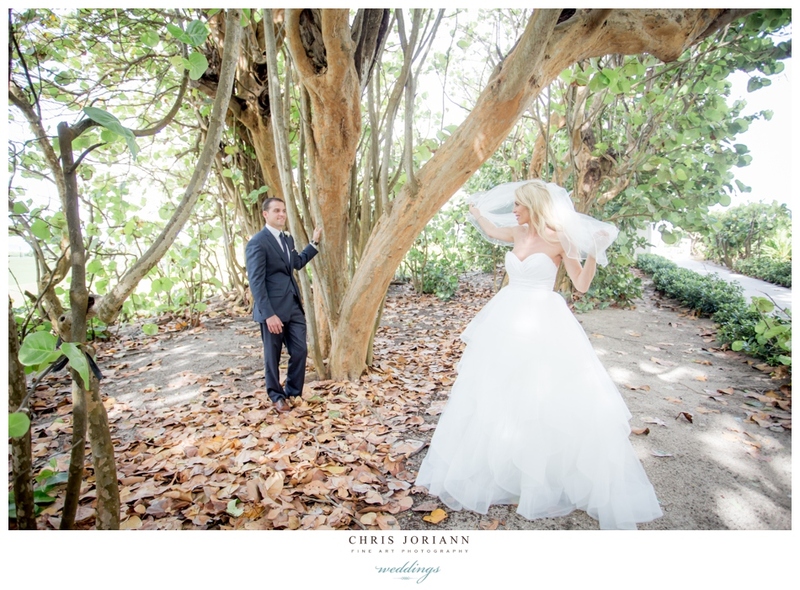 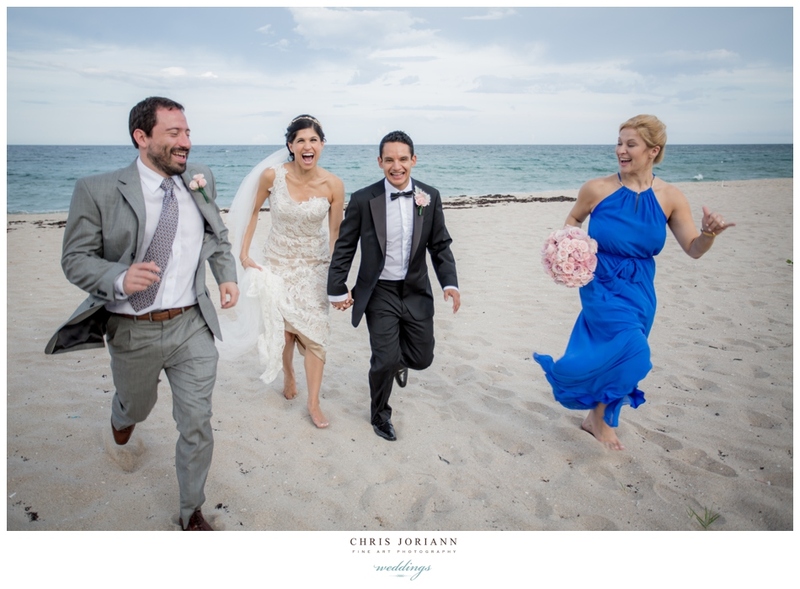 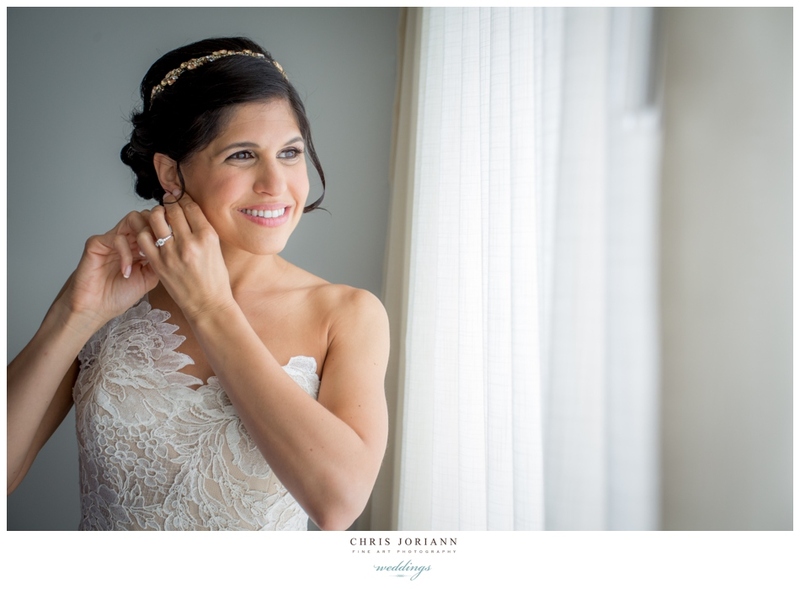 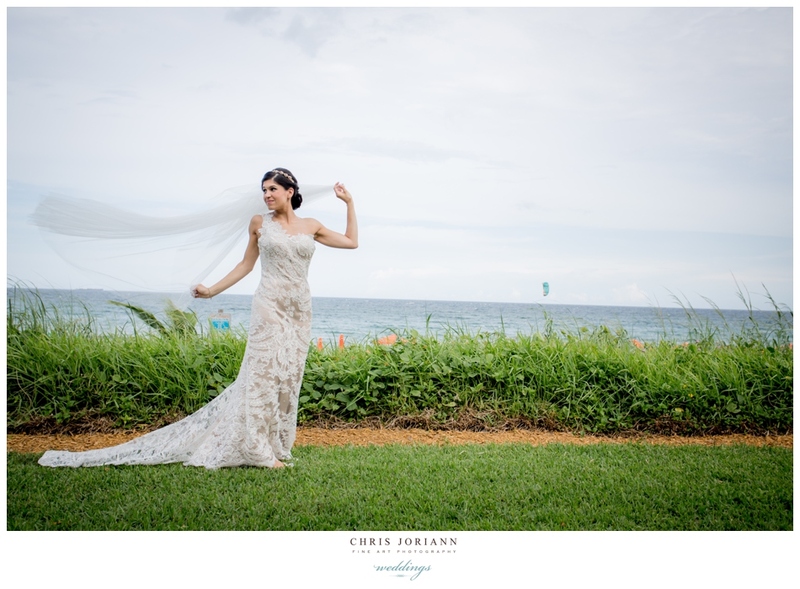 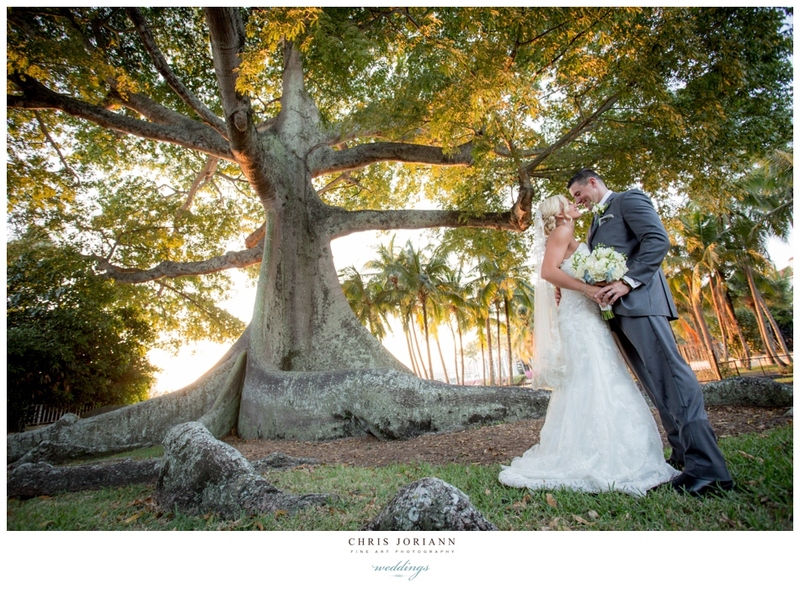 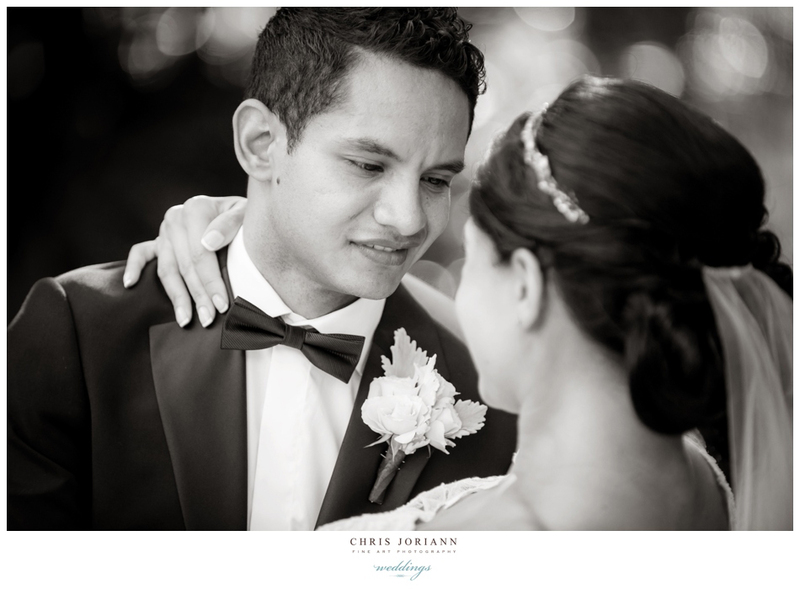 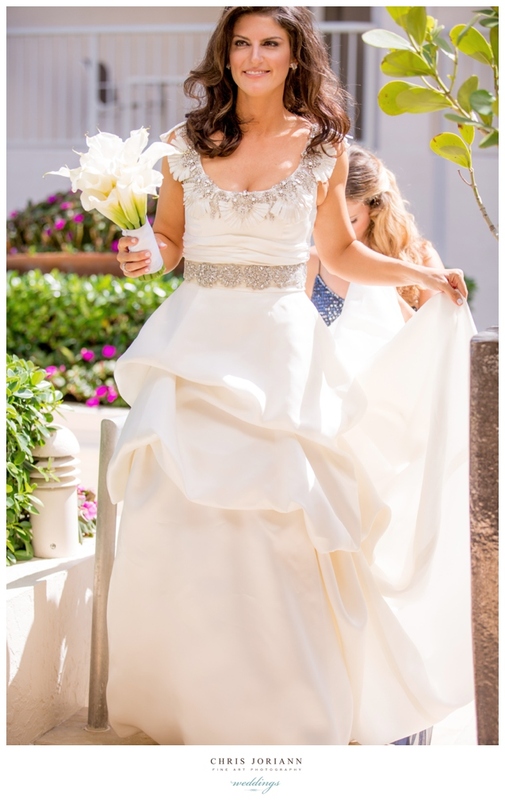 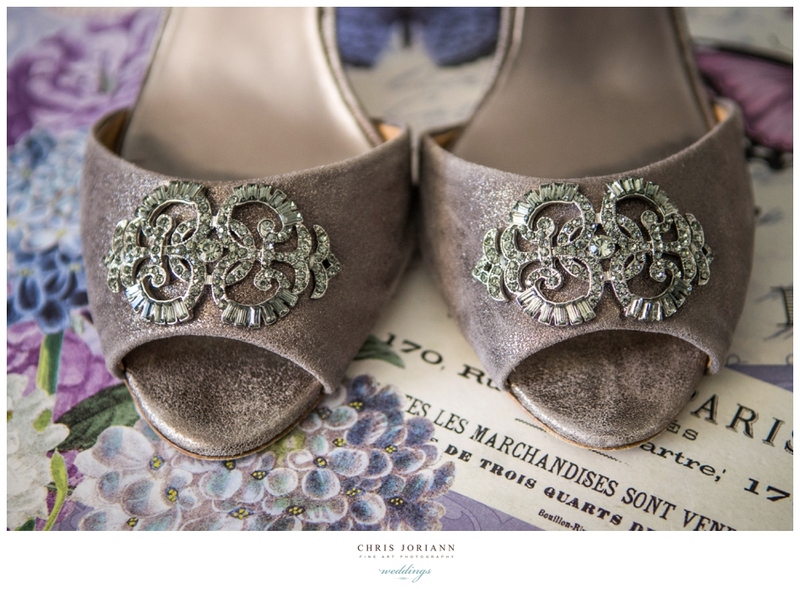 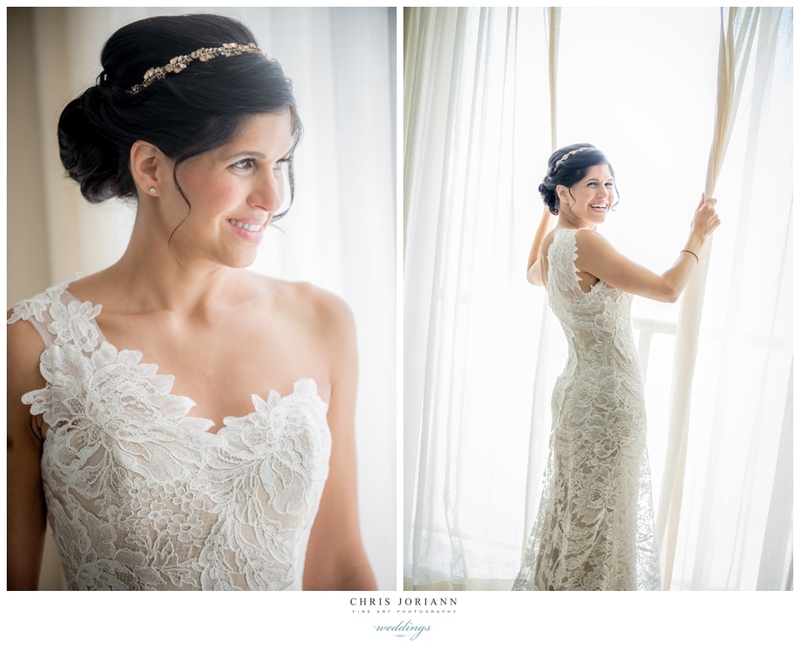 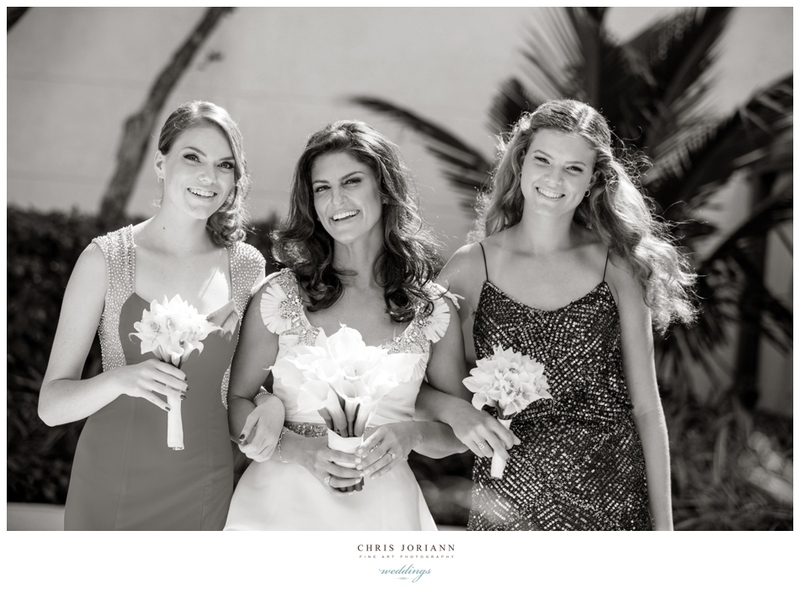 Sara + Fredy’s elegant Palm Beach wedding took place at The Four Seasons Resort,Palm Beach. 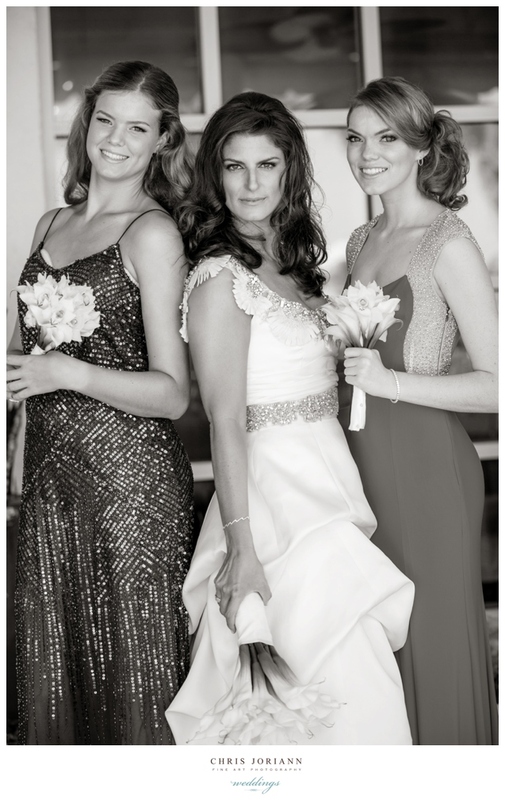 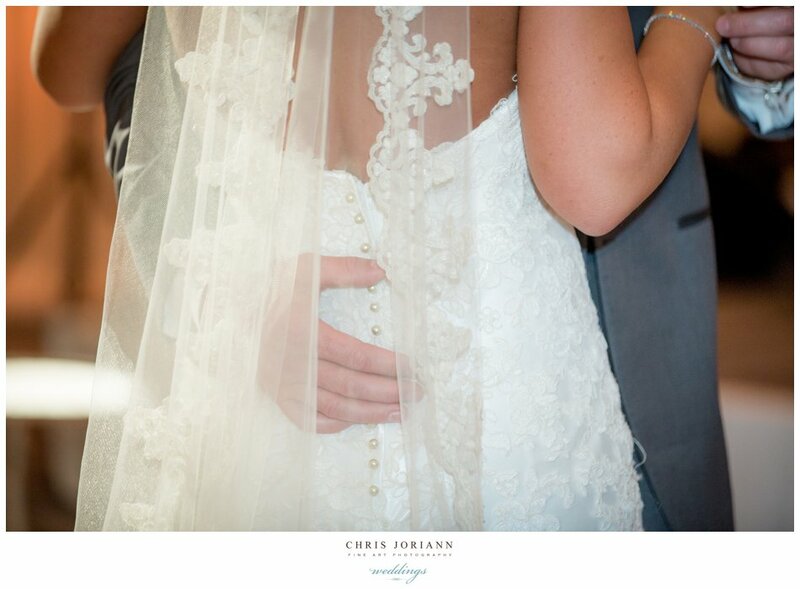 The bride wore a stunning Anna Maier for Ulla-Maija, couture gown, in ivory lace over a taupe bodice. 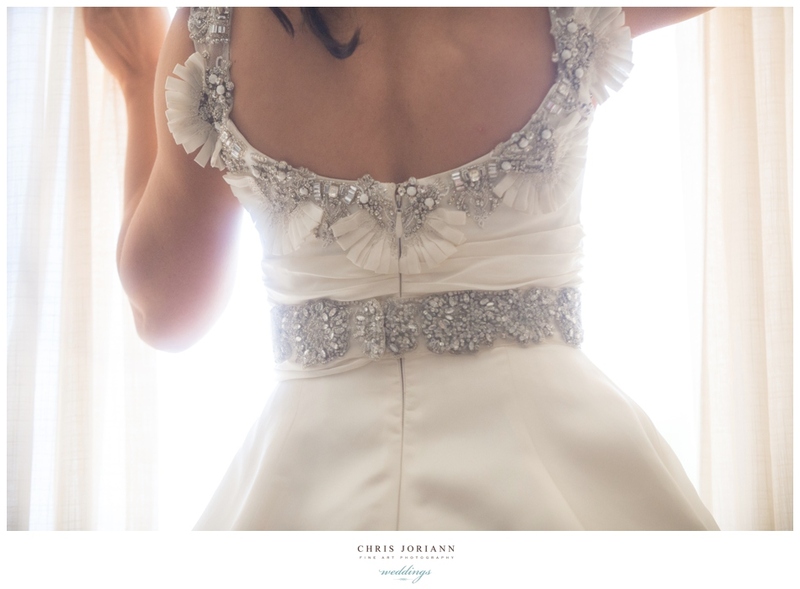 The single shoulder design featured a unique handkerchief train and a single, over the shoulder contoured strap. 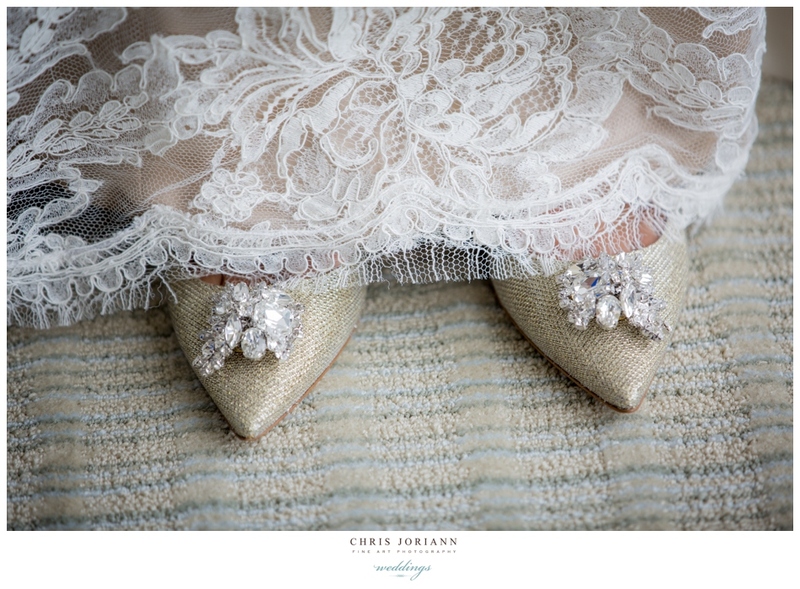 Paired w. fabulous sparkling Jimmy Choo flats, the look was flawless. 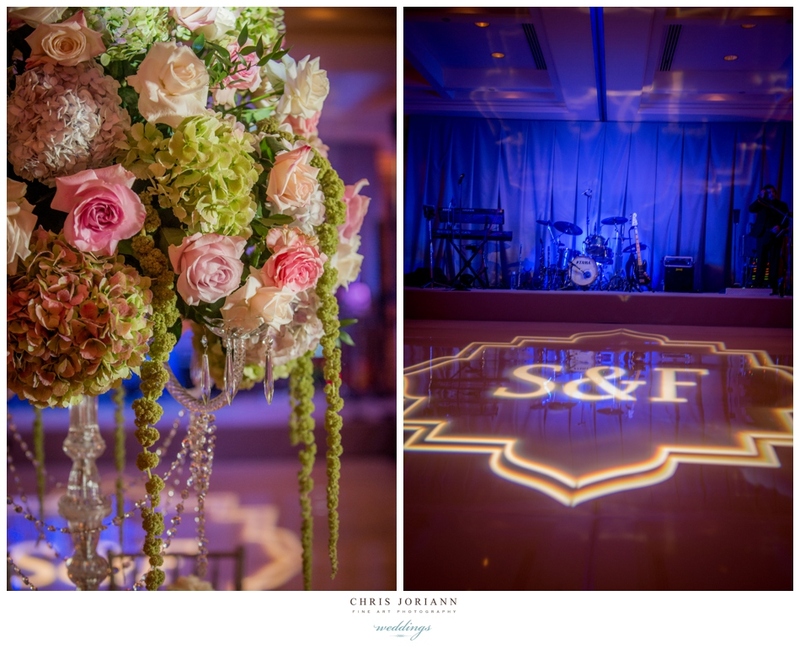 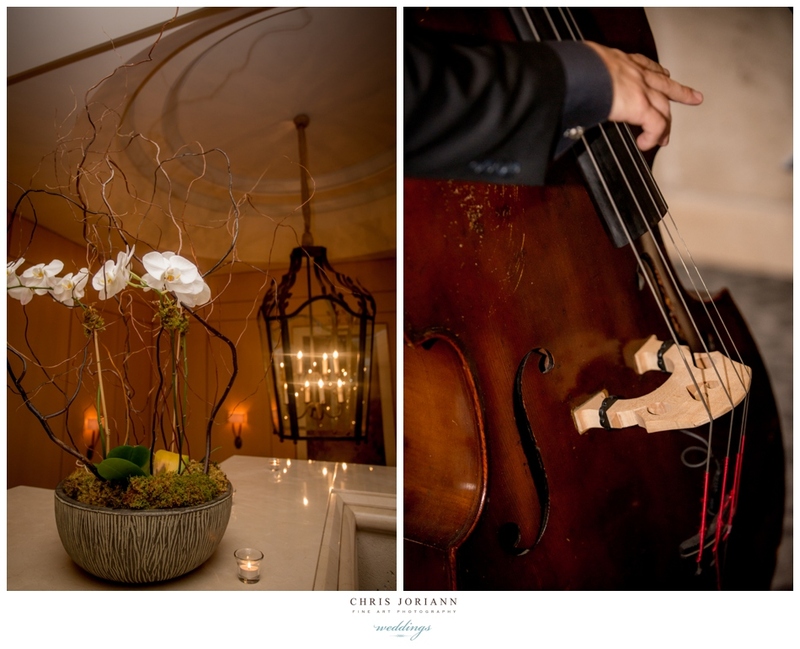 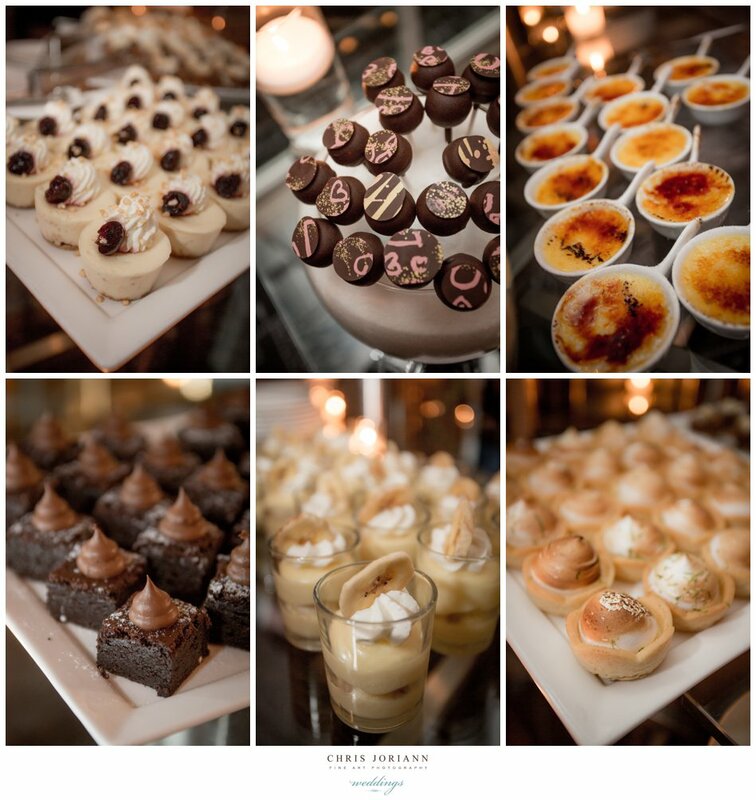 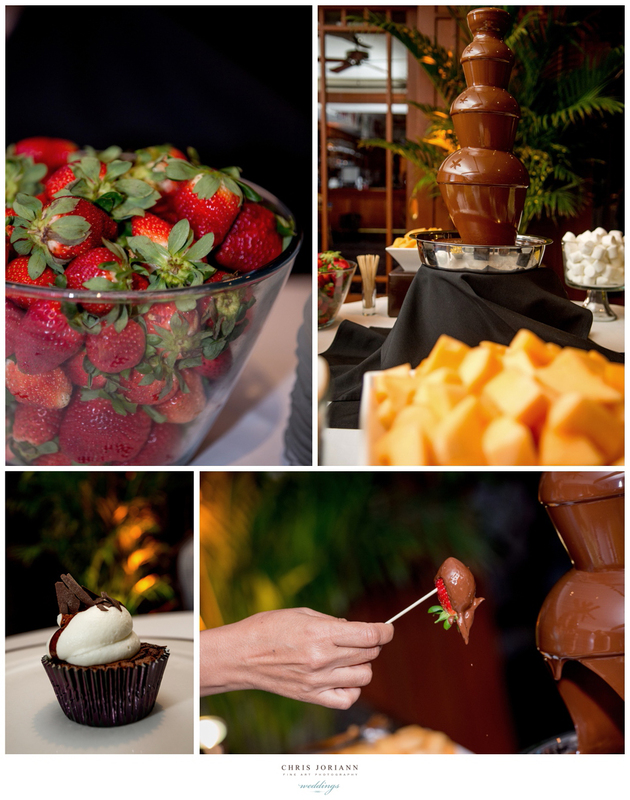 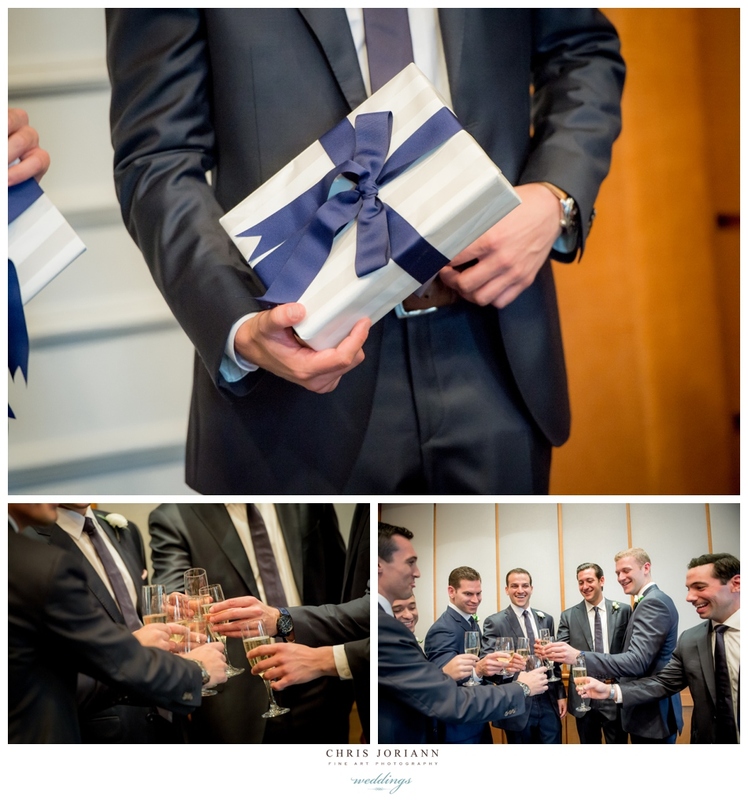 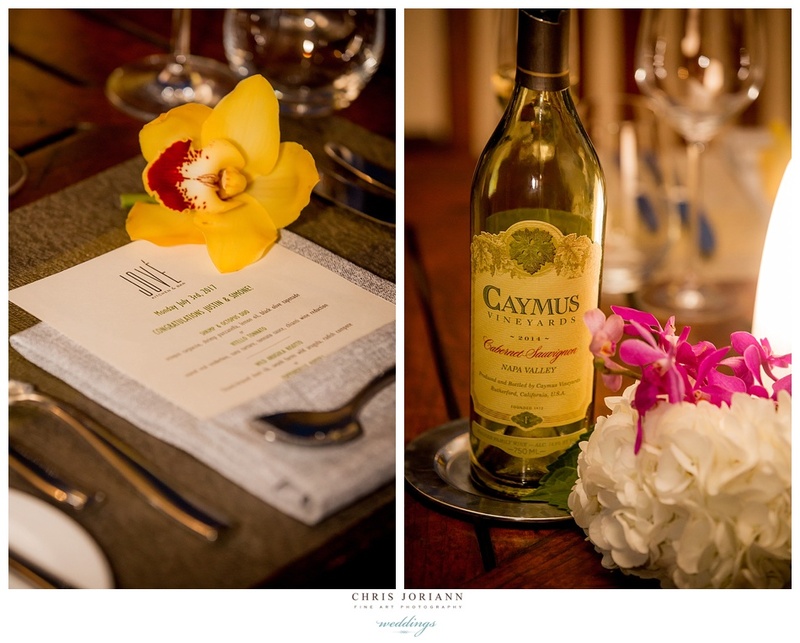 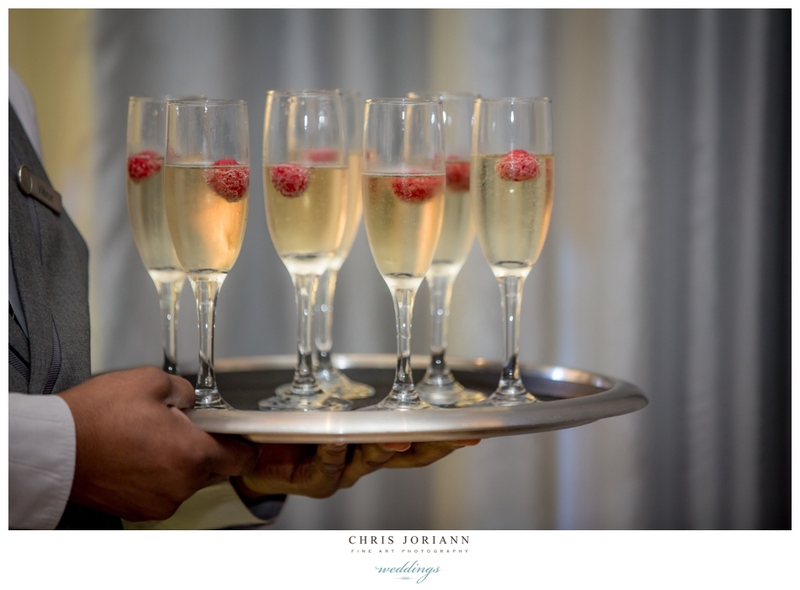 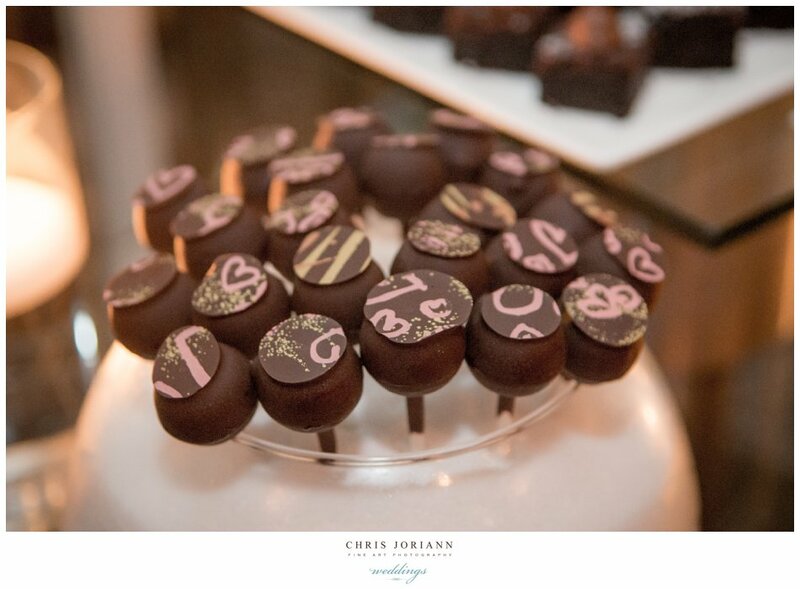 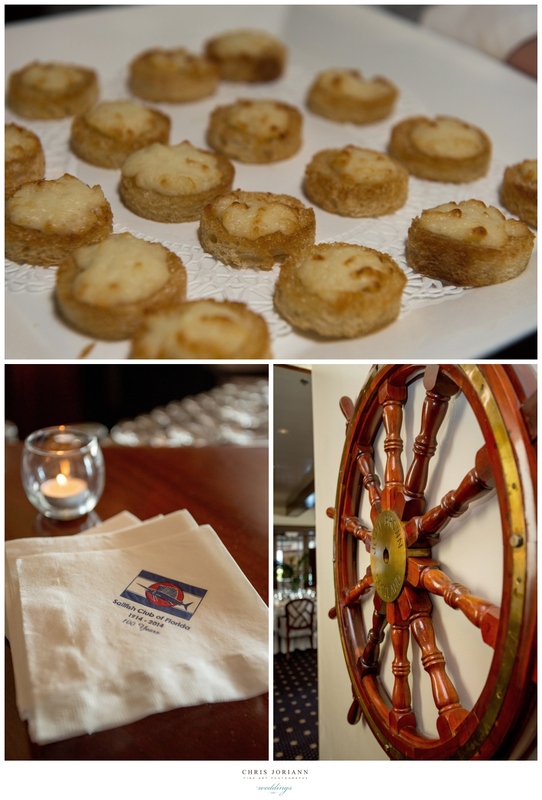 The event, was managed to perfection by Crystal Prante for the Four Seasons, and coordinated by Breeze Taylor for Dream Concierge. 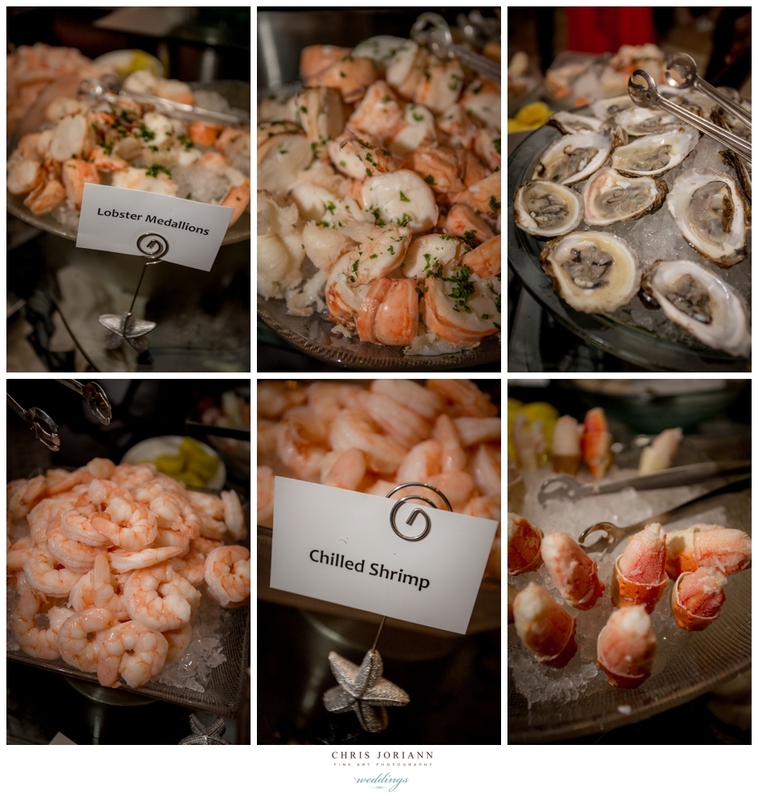 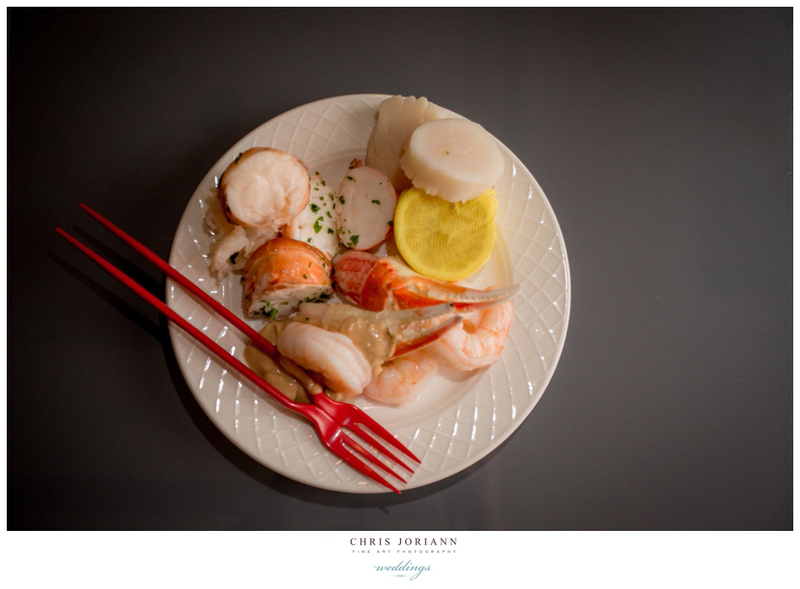 Cocktails followed in the Living Room, featuring a decadent seafood buffet with piles of lobster medallions, stone crab, and oysters. 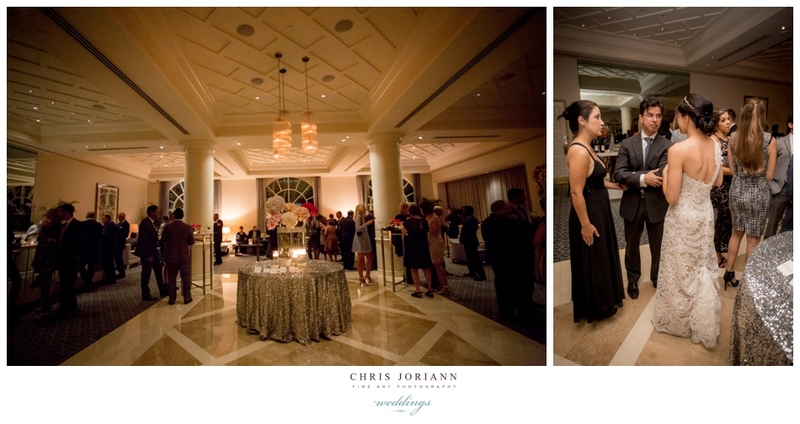 Guests dined and danced the night away in the Royal Poinciana Ballroom awash w. candlelight and romantic décor by Xquisite Events. 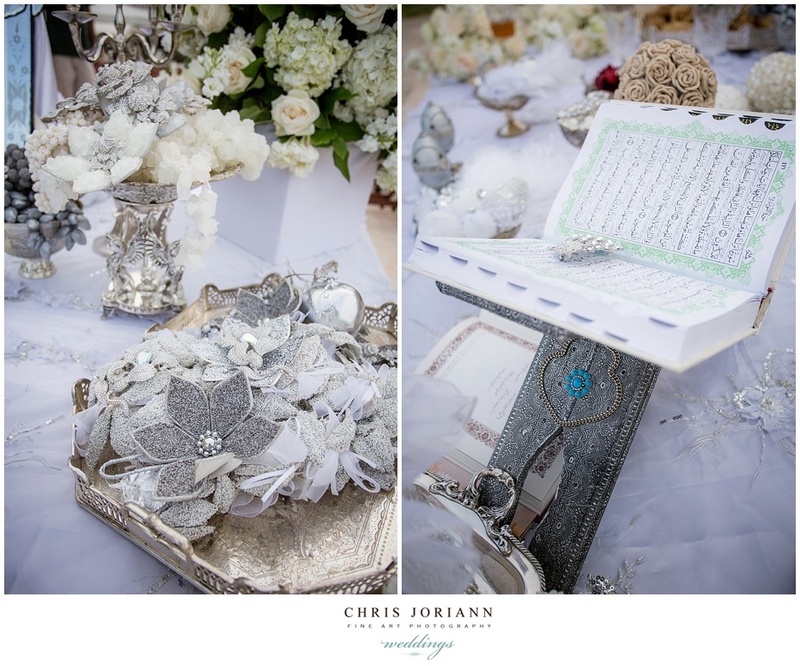 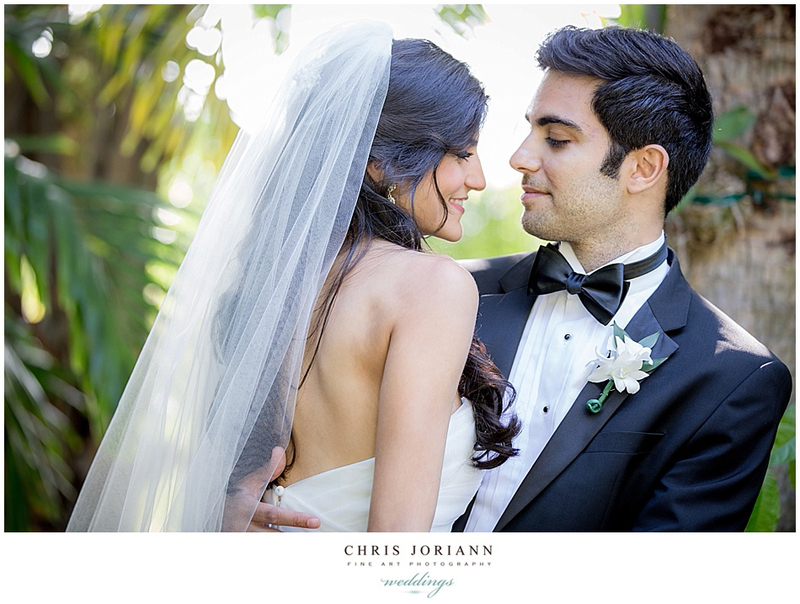 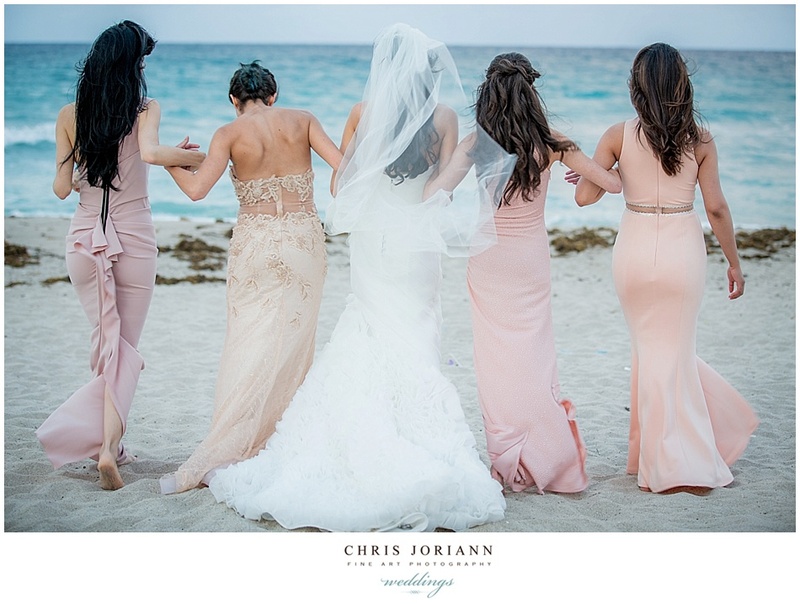 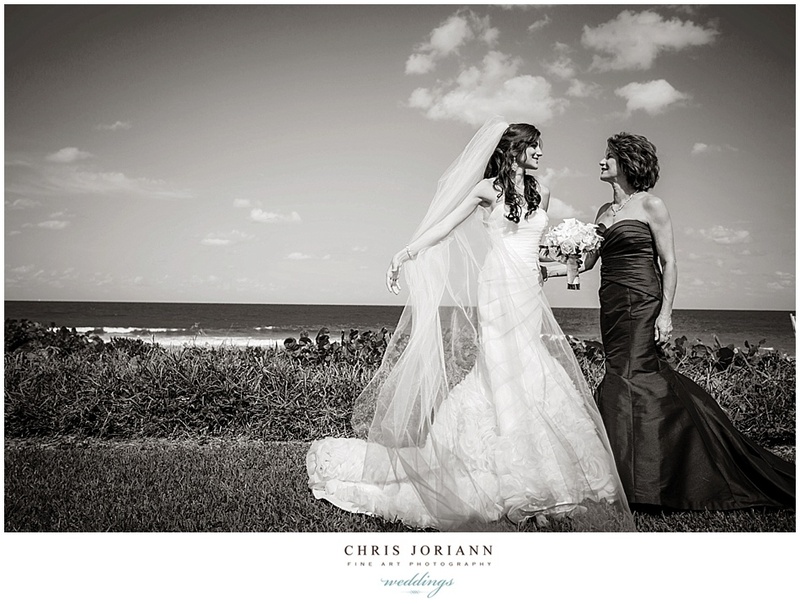 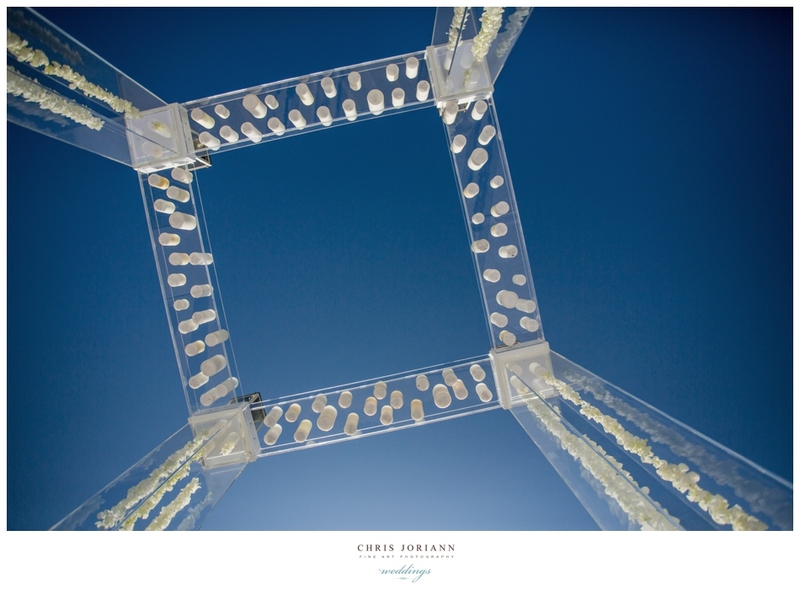 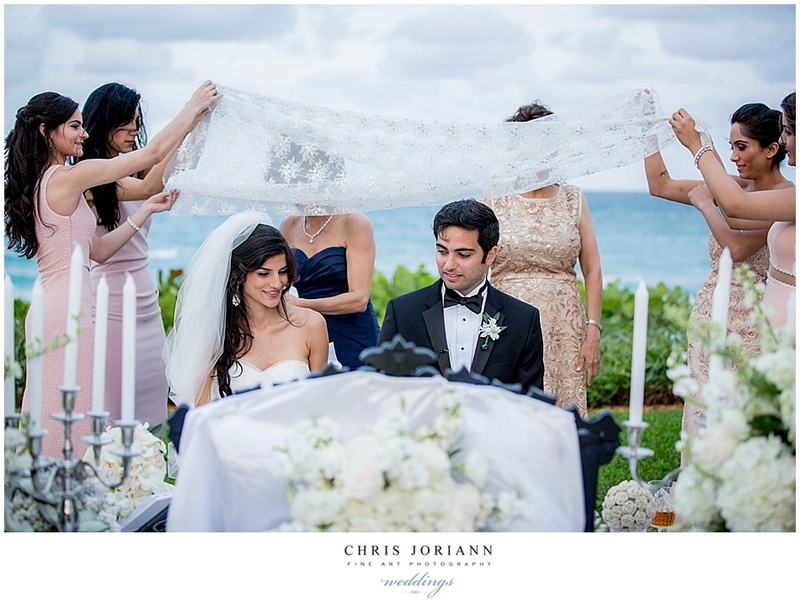 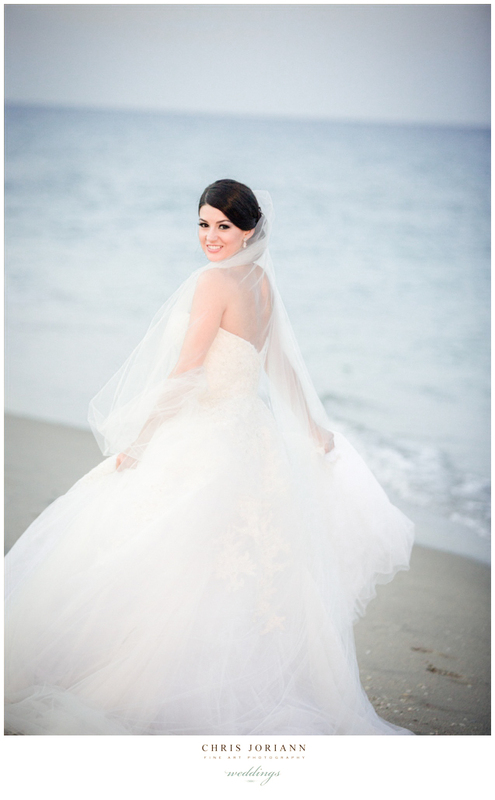 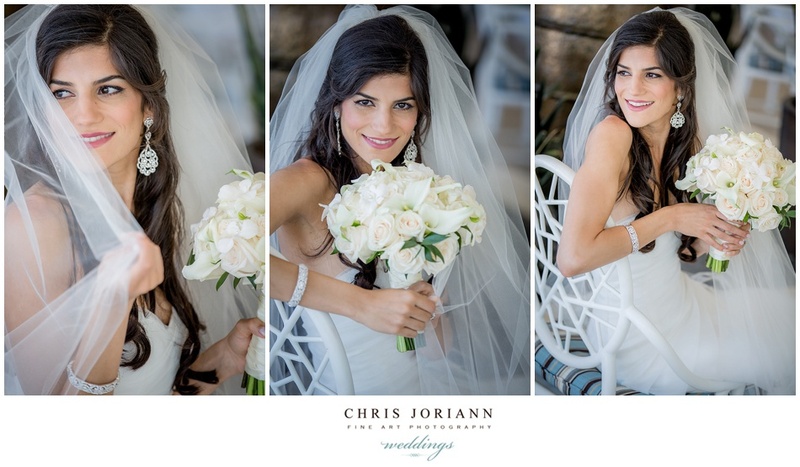 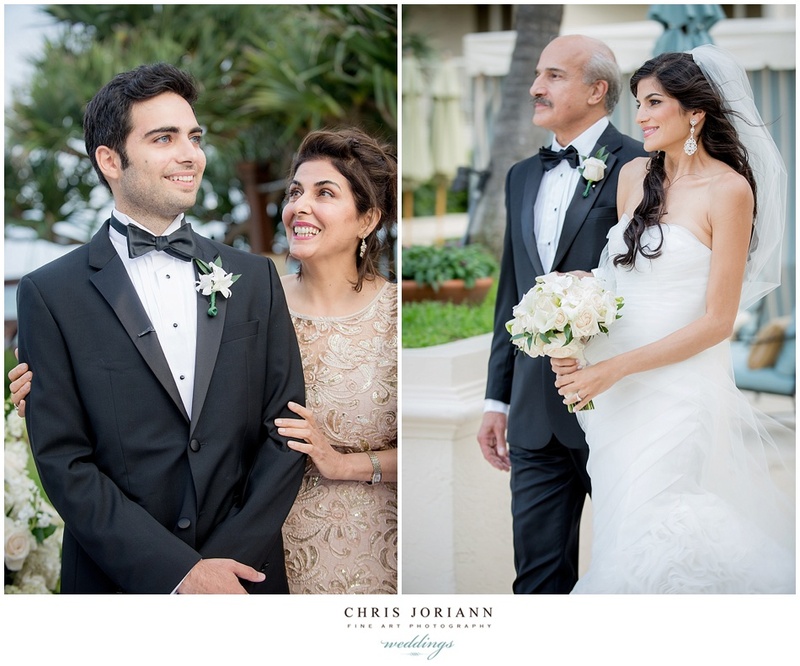 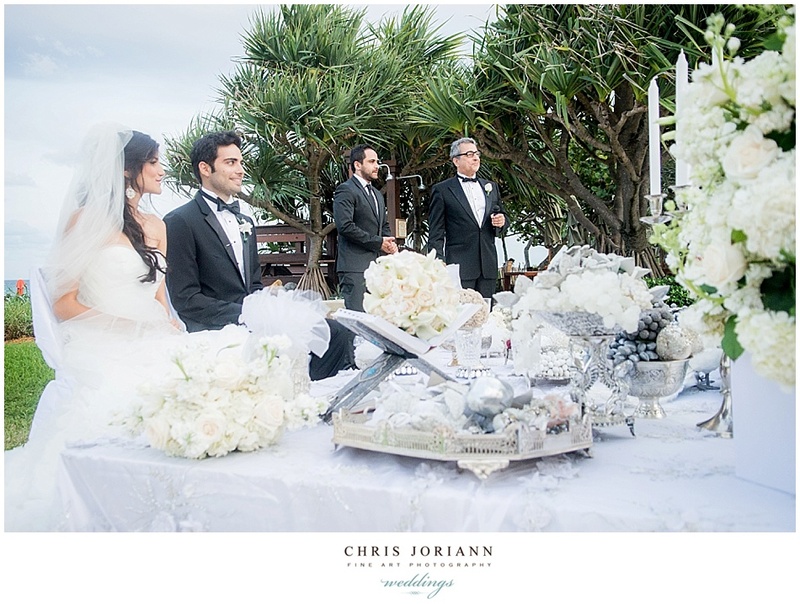 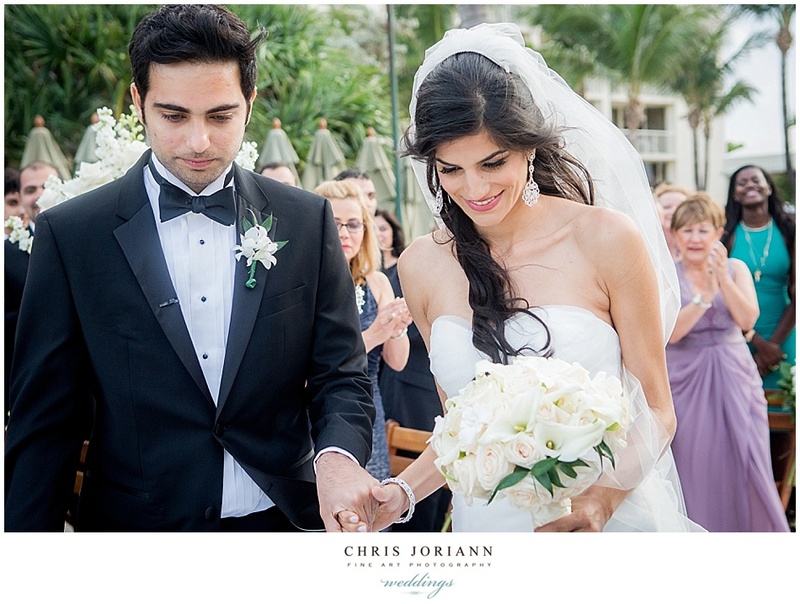 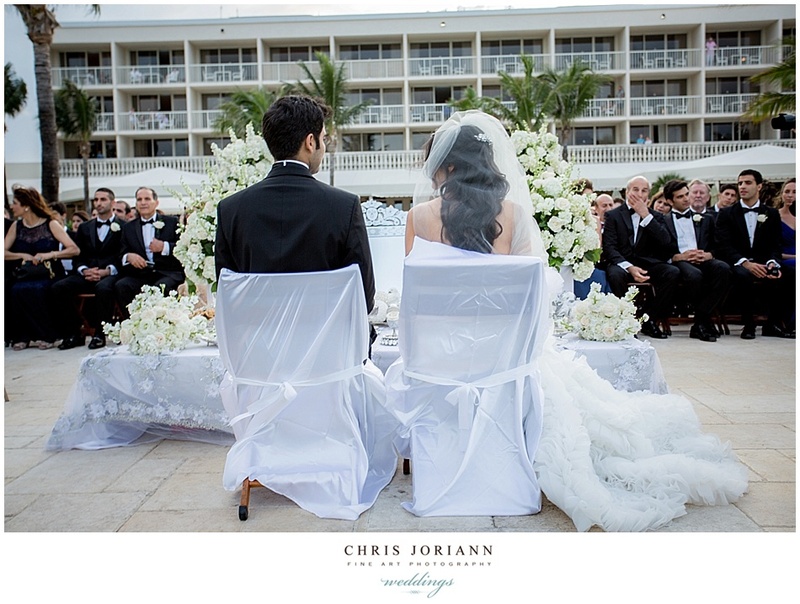 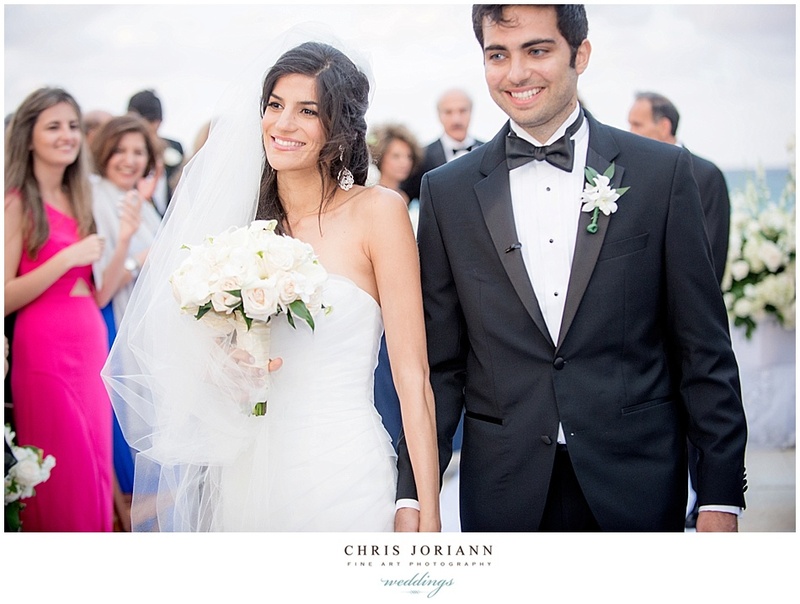 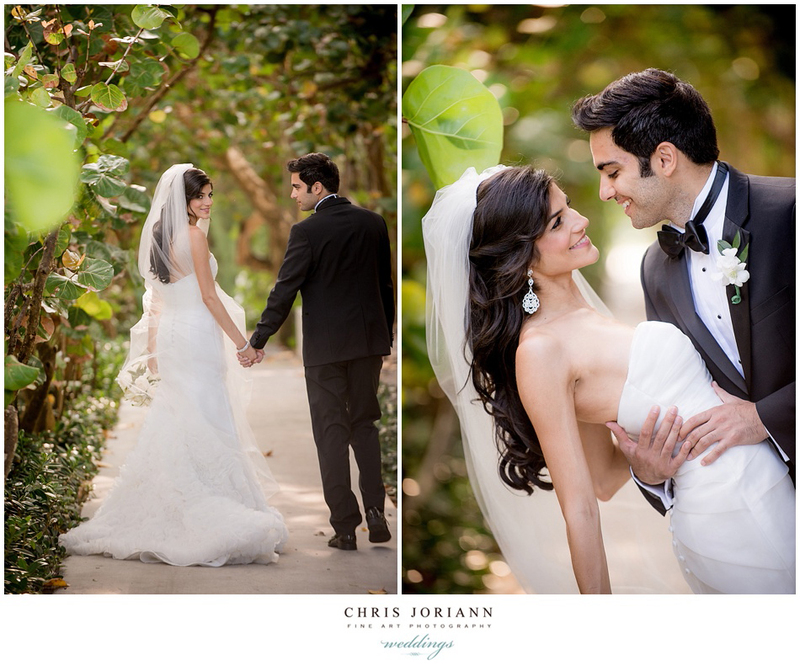 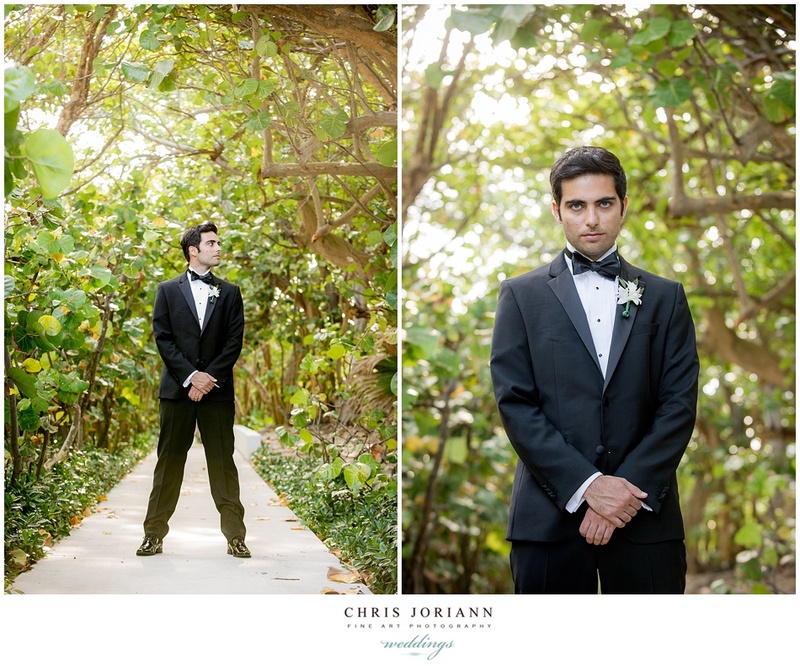 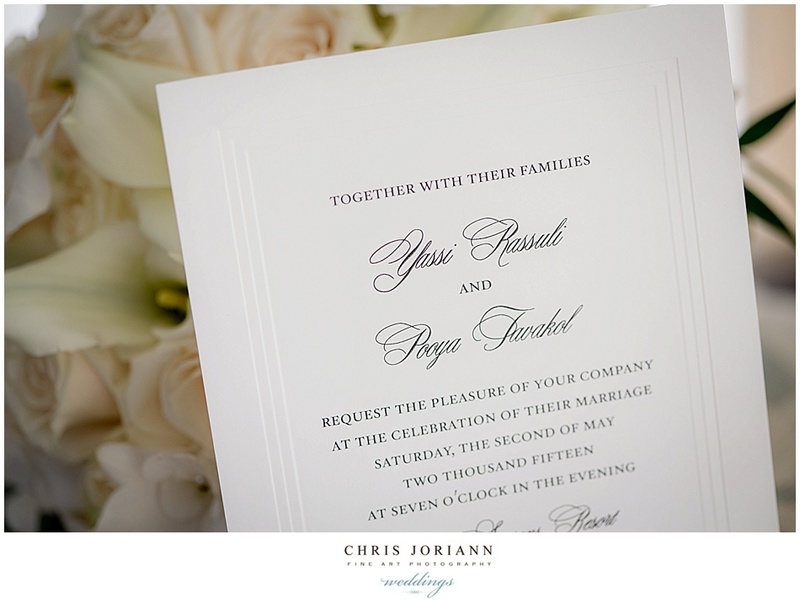 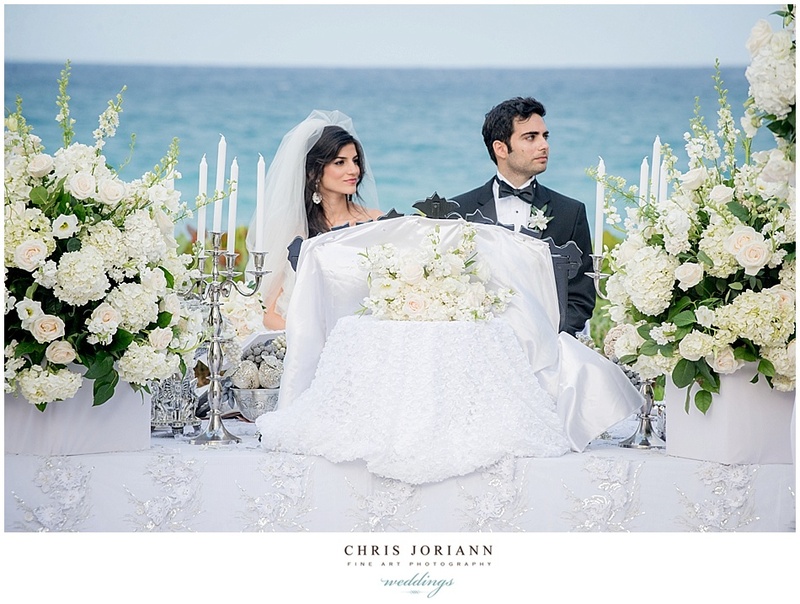 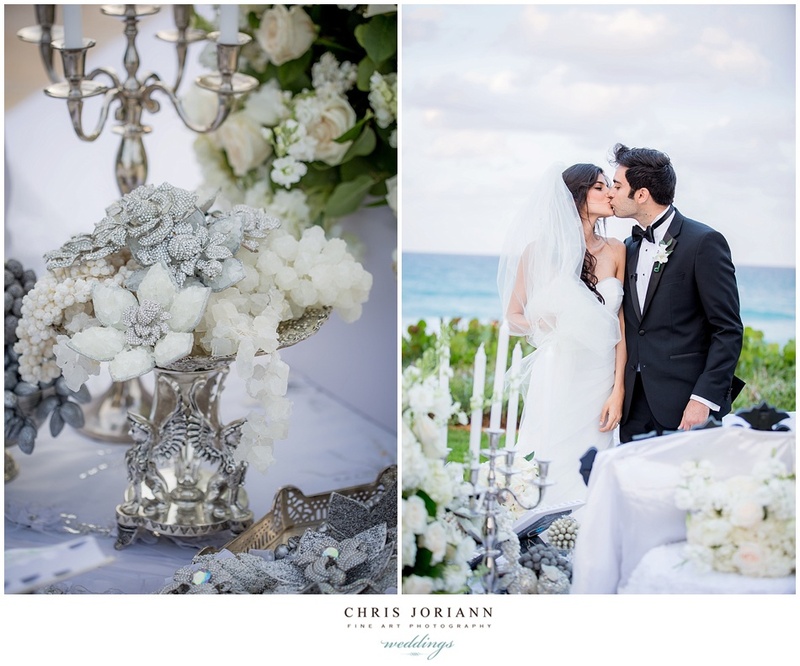 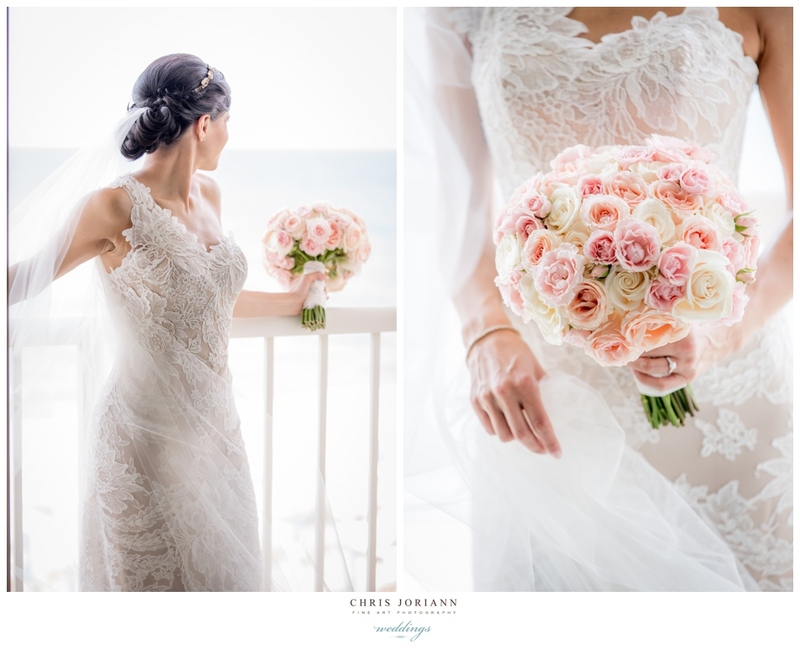 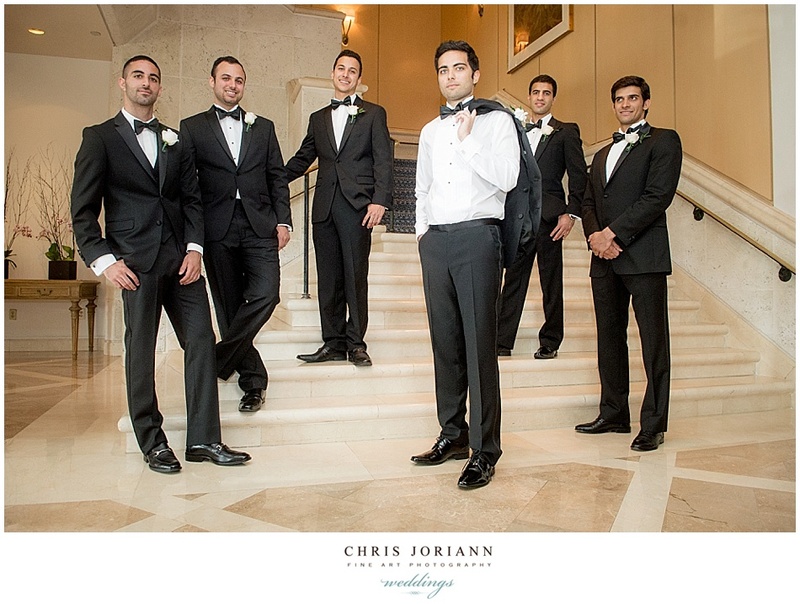 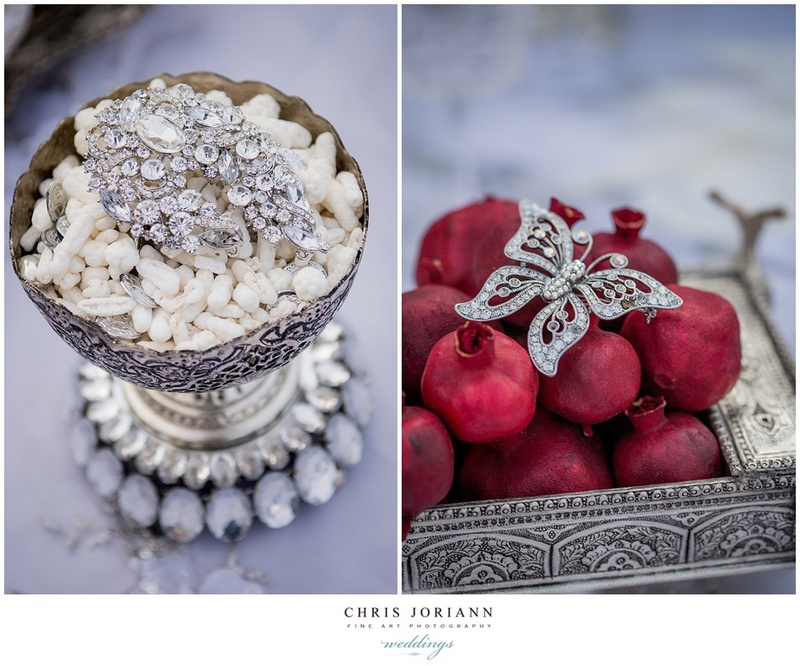 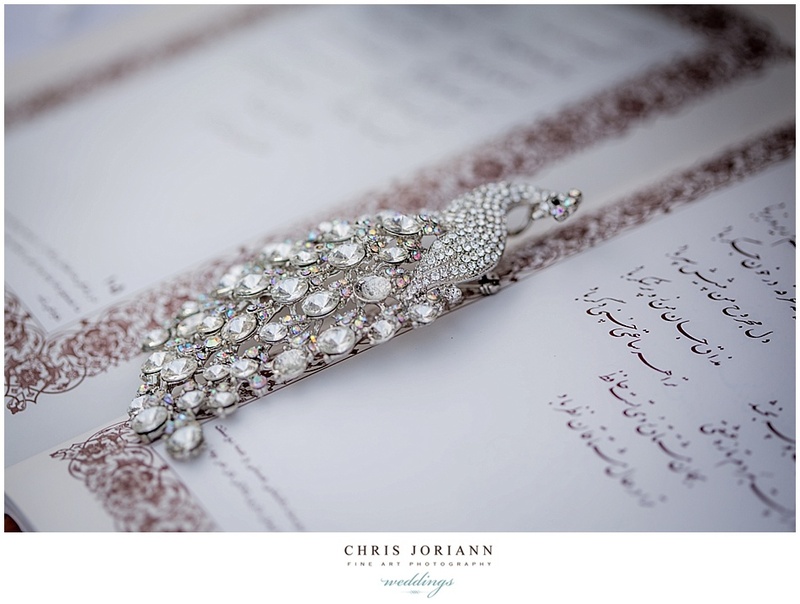 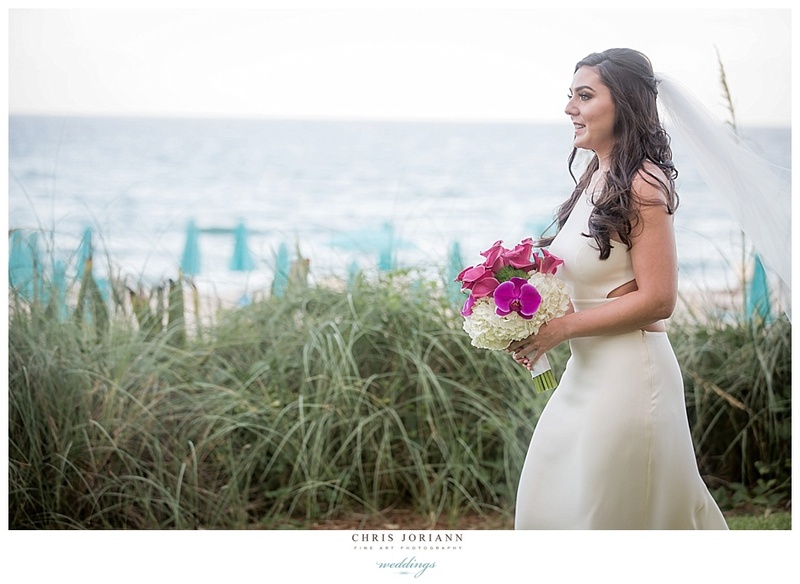 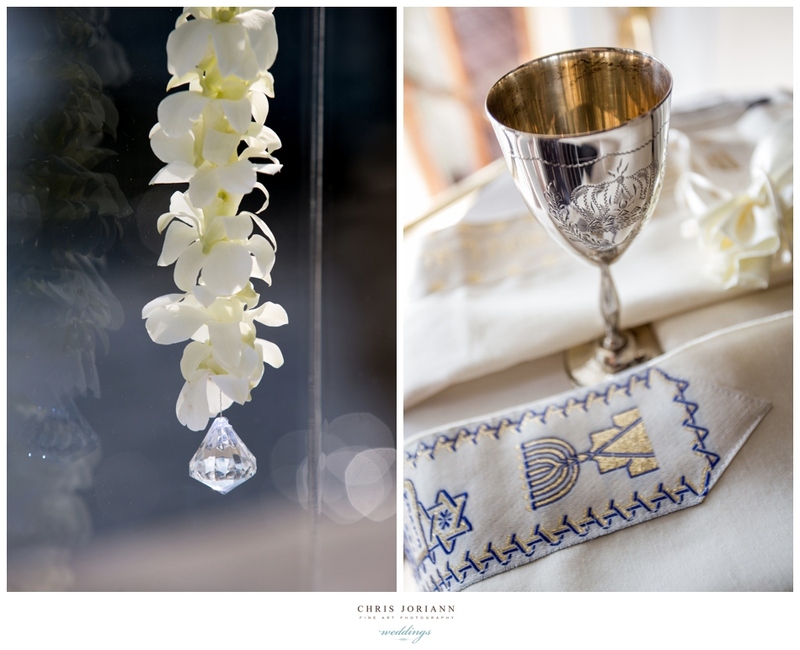 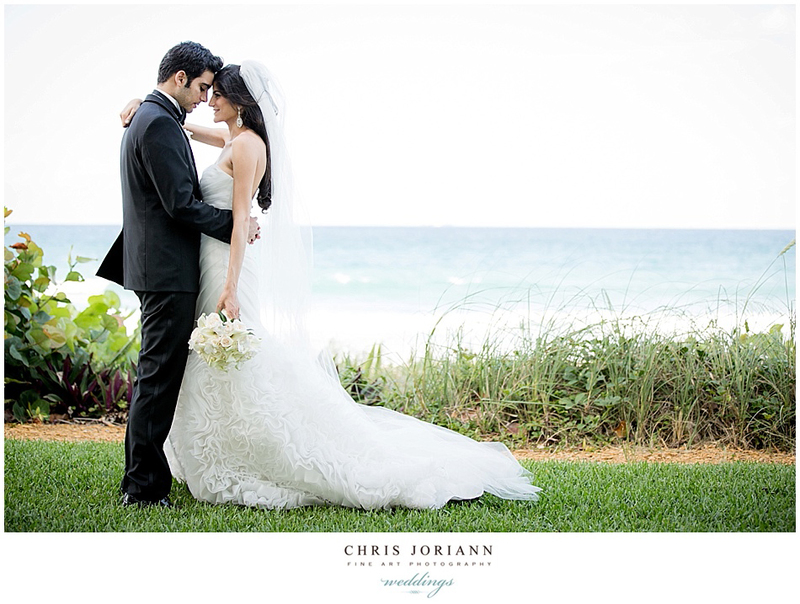 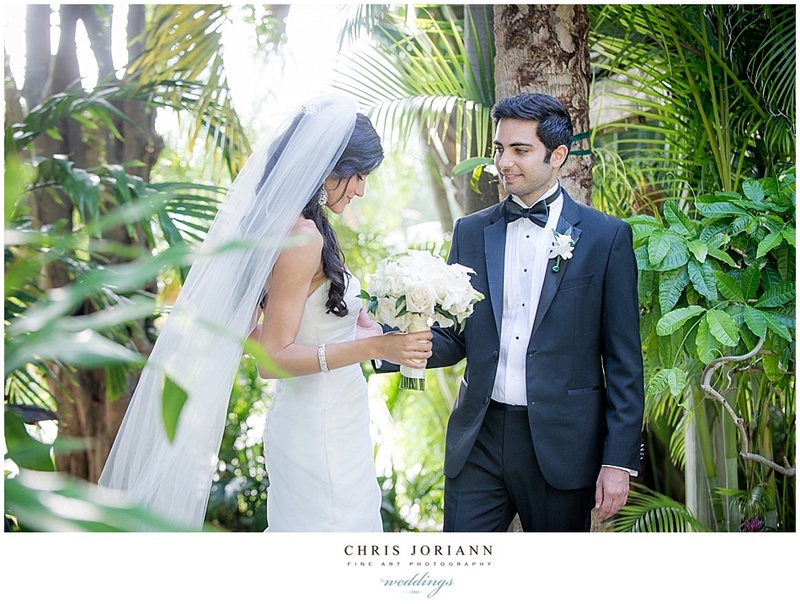 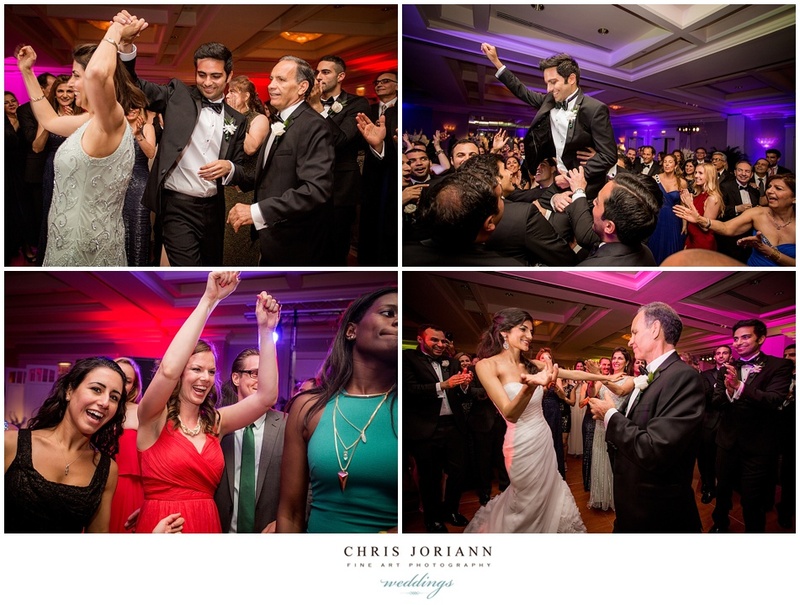 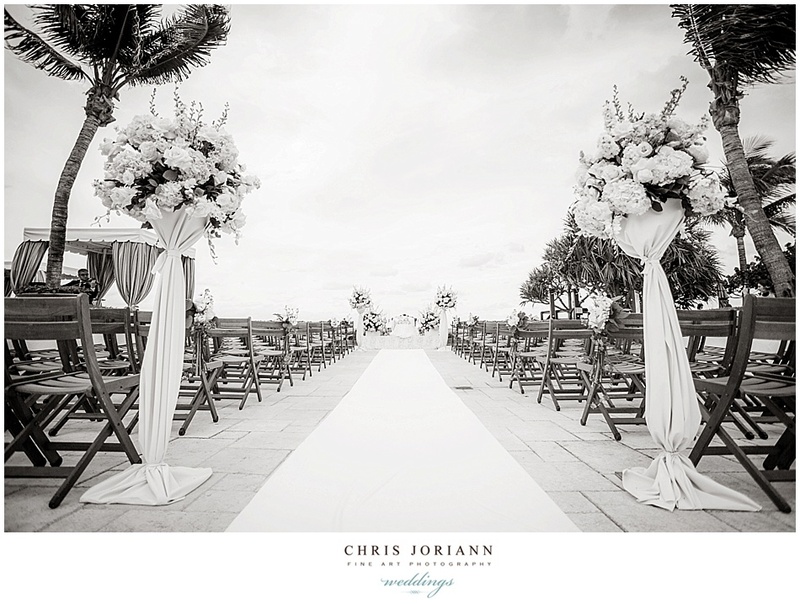 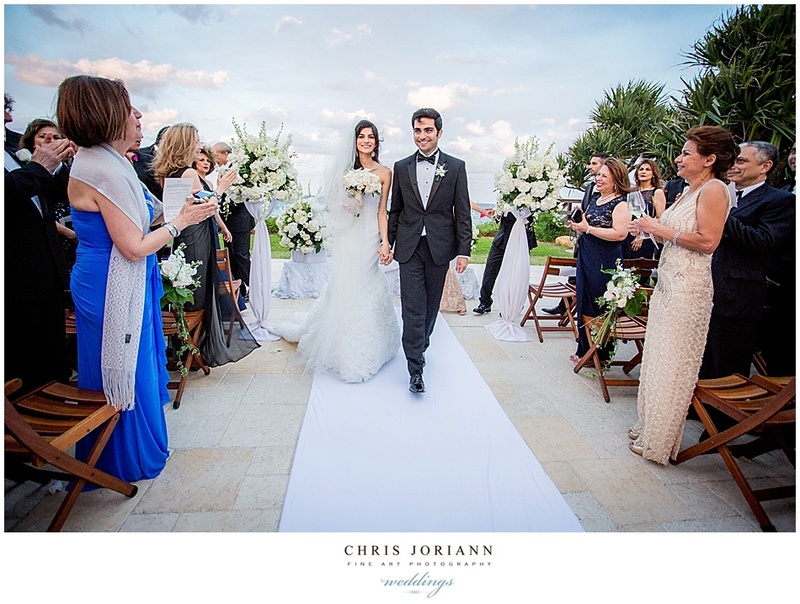 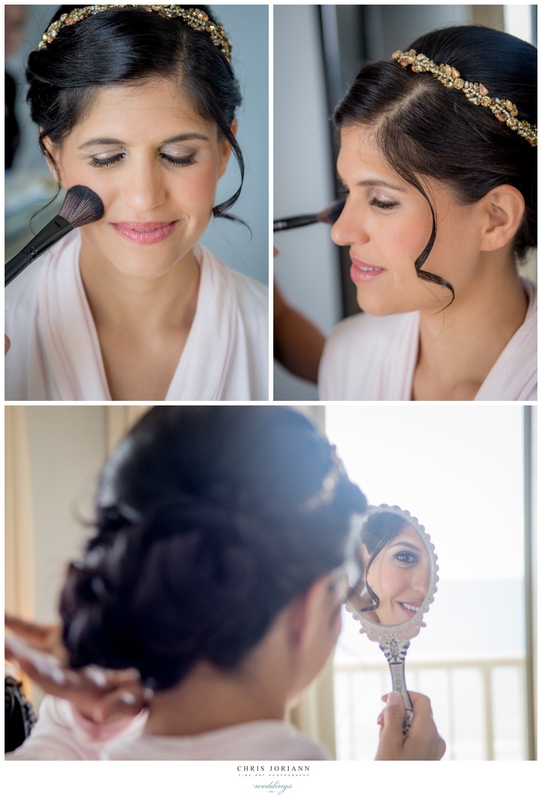 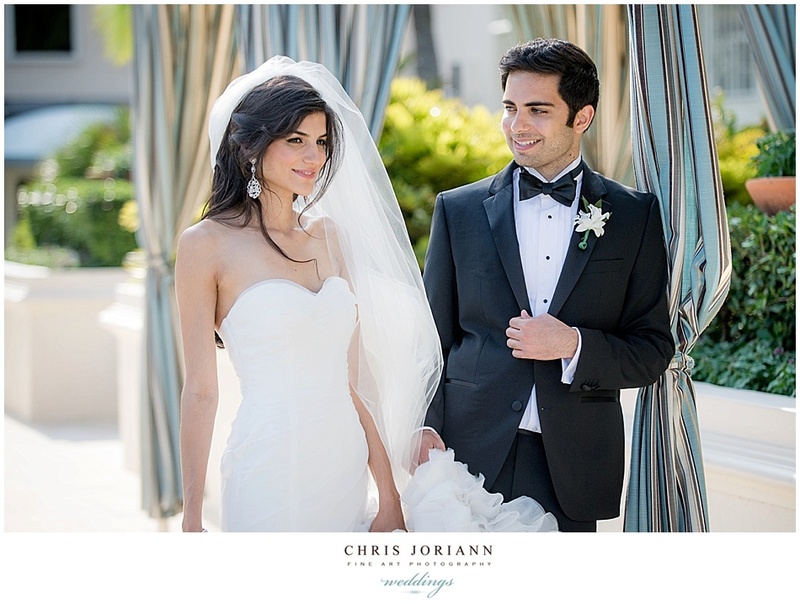 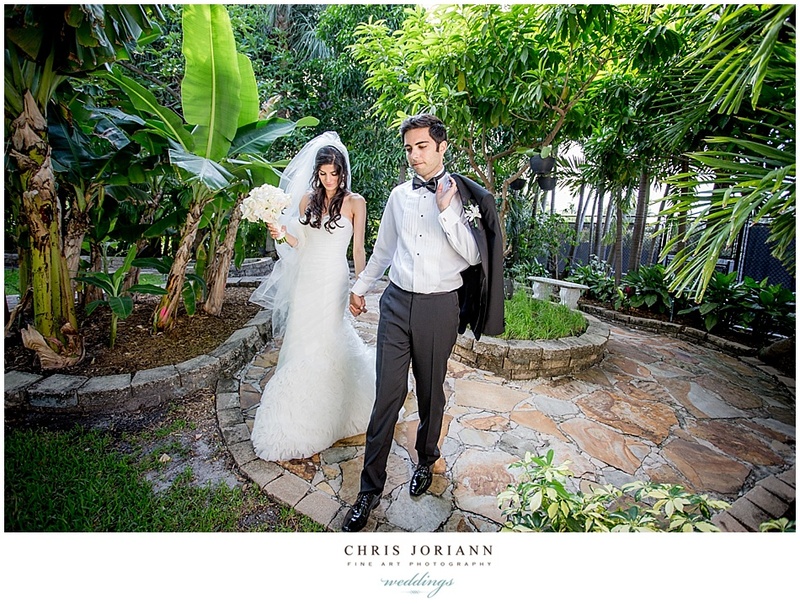 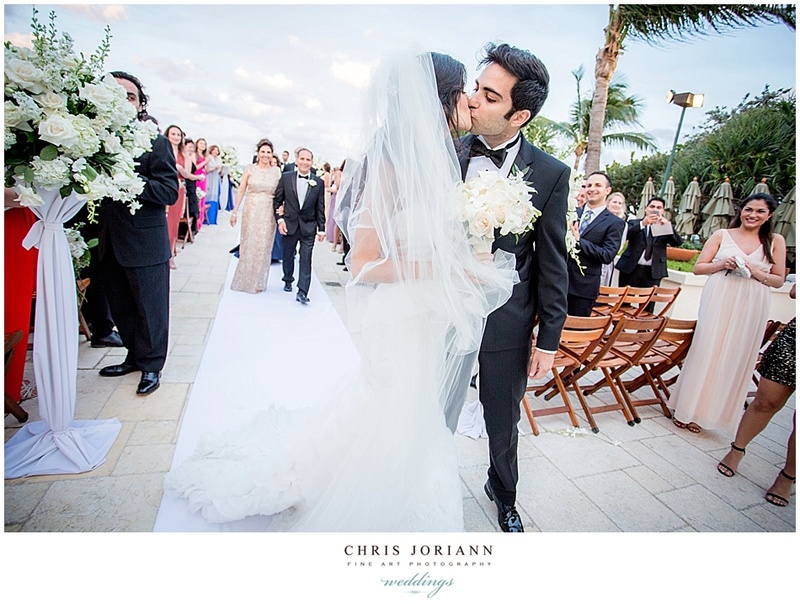 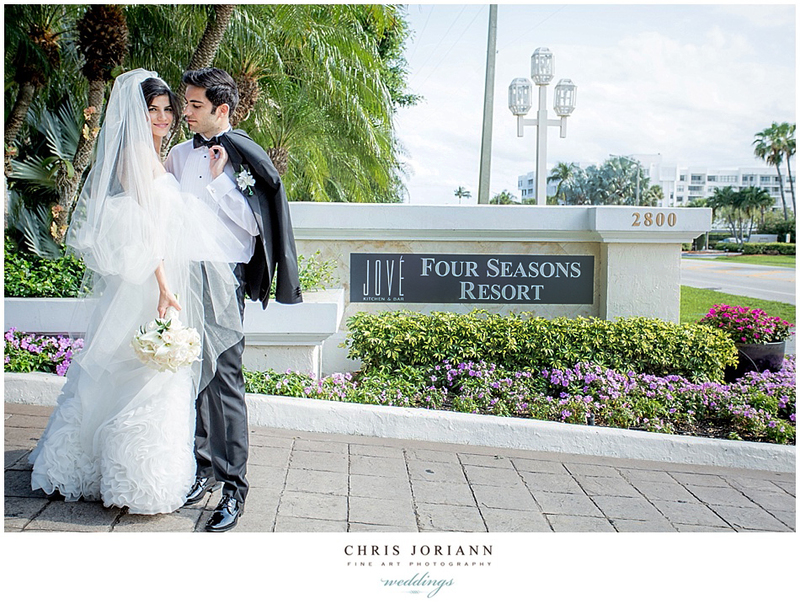 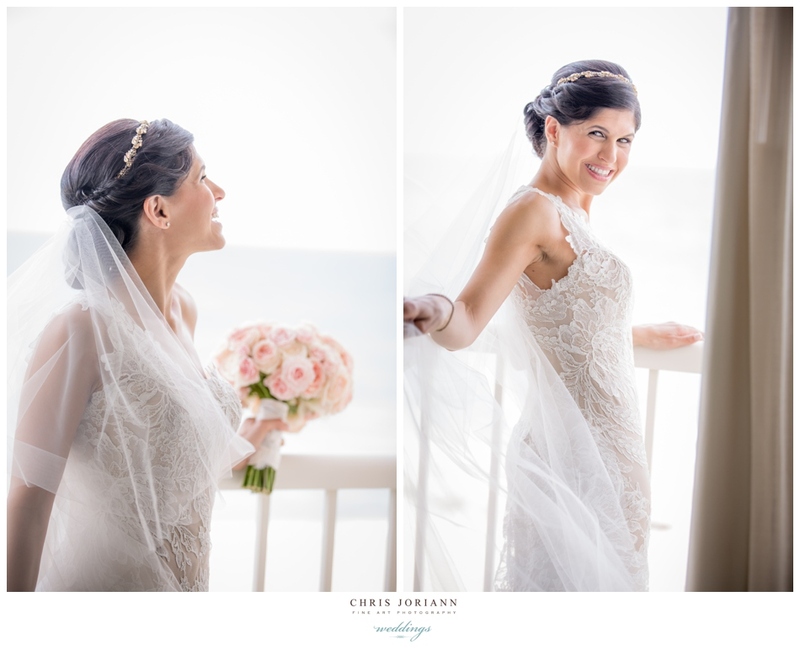 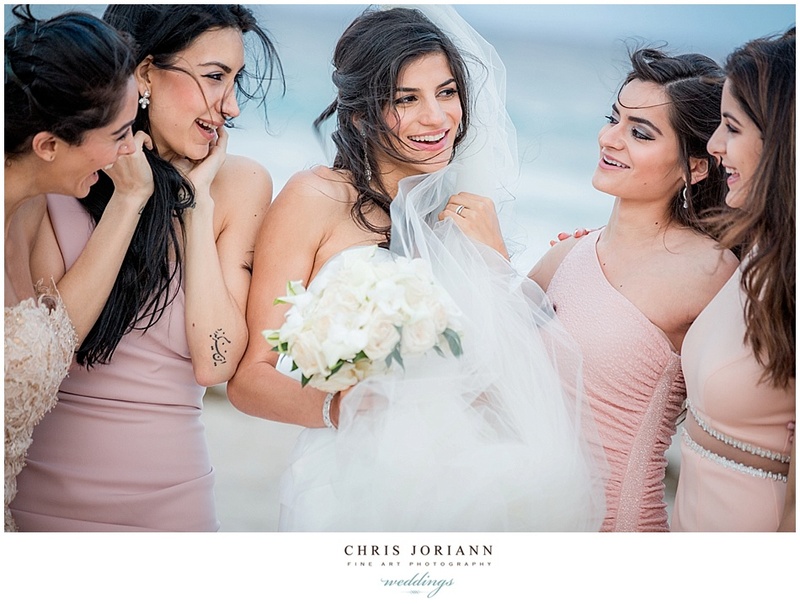 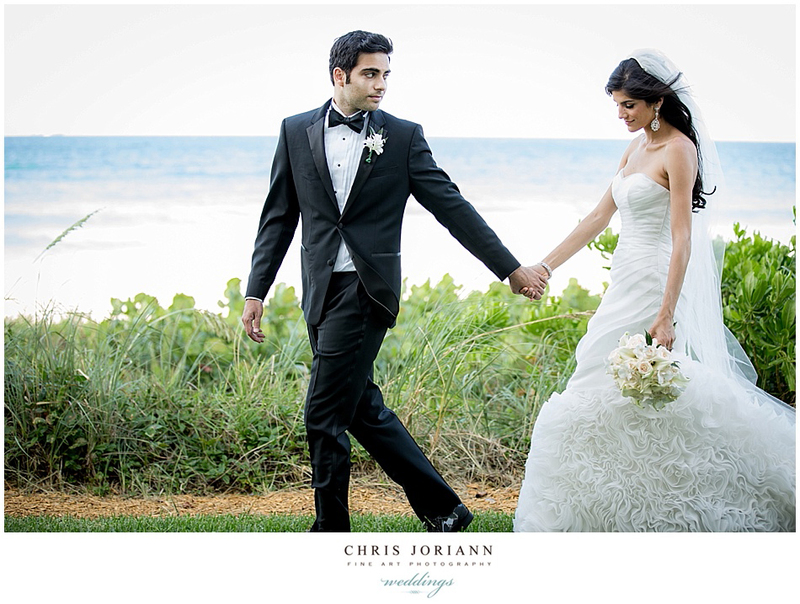 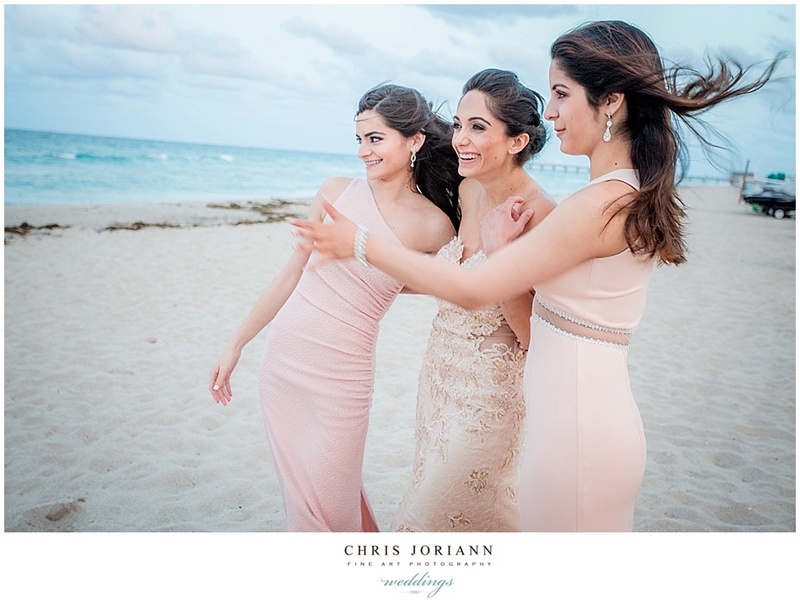 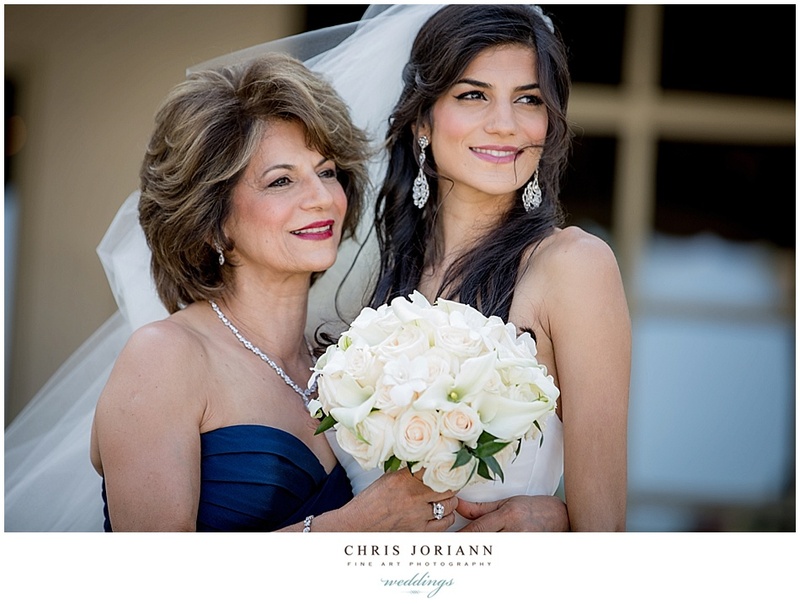 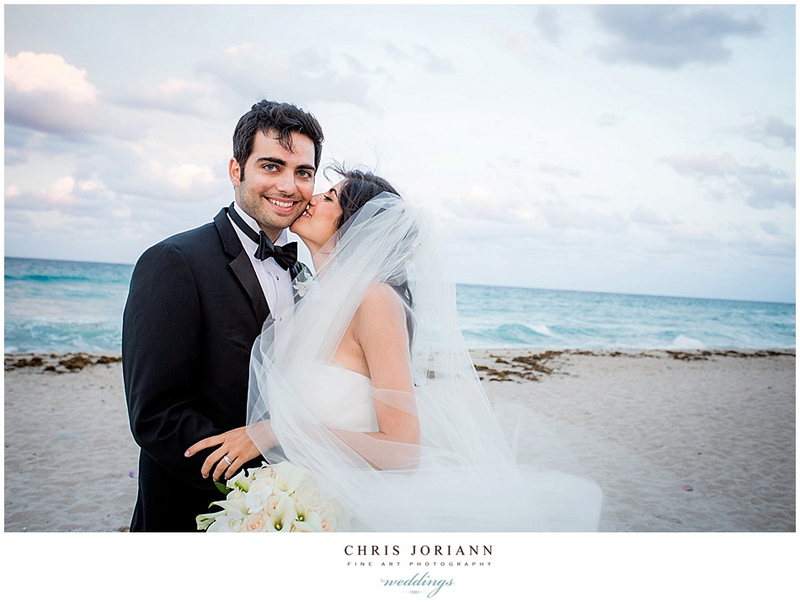 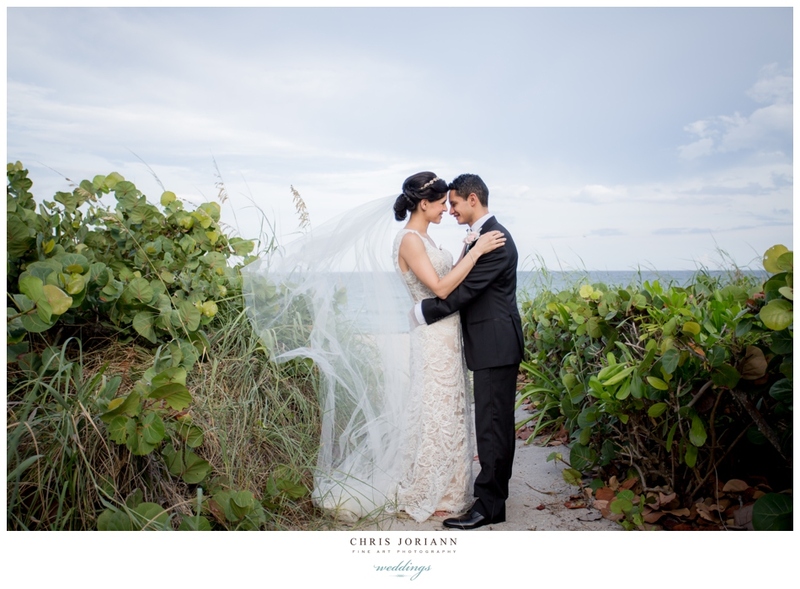 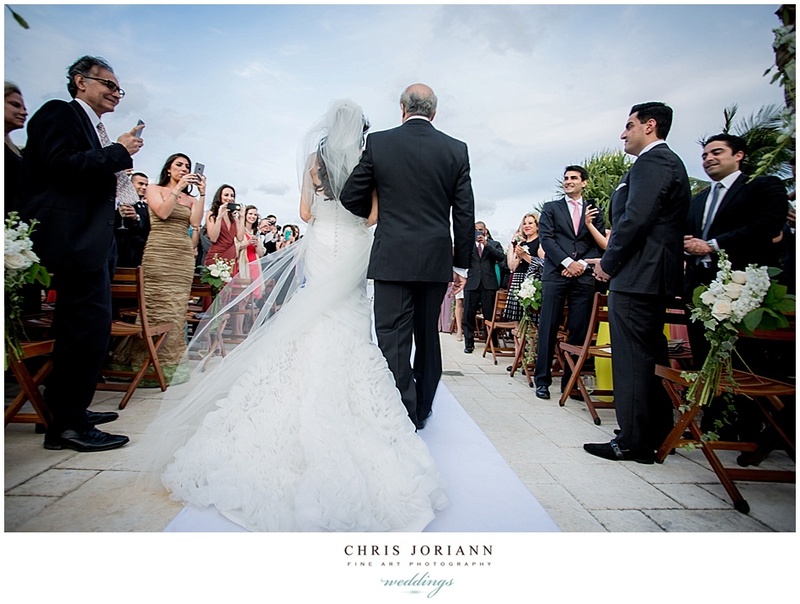 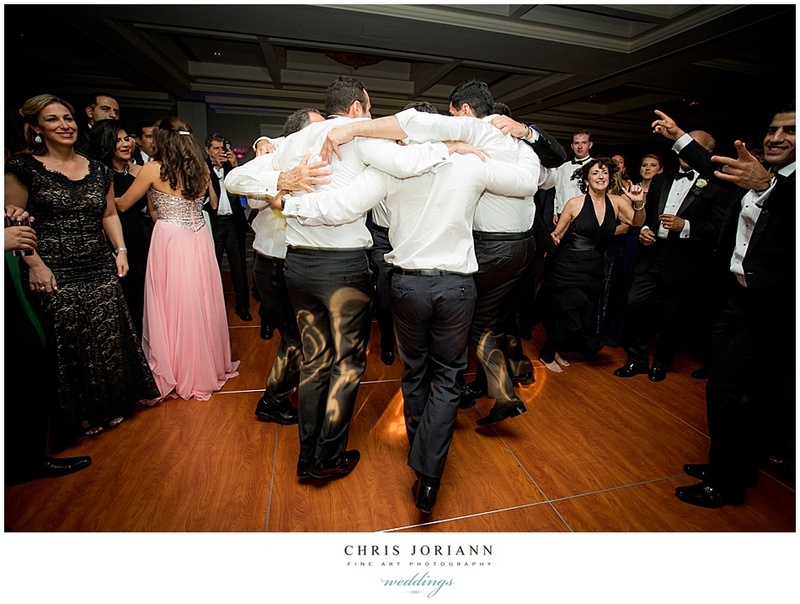 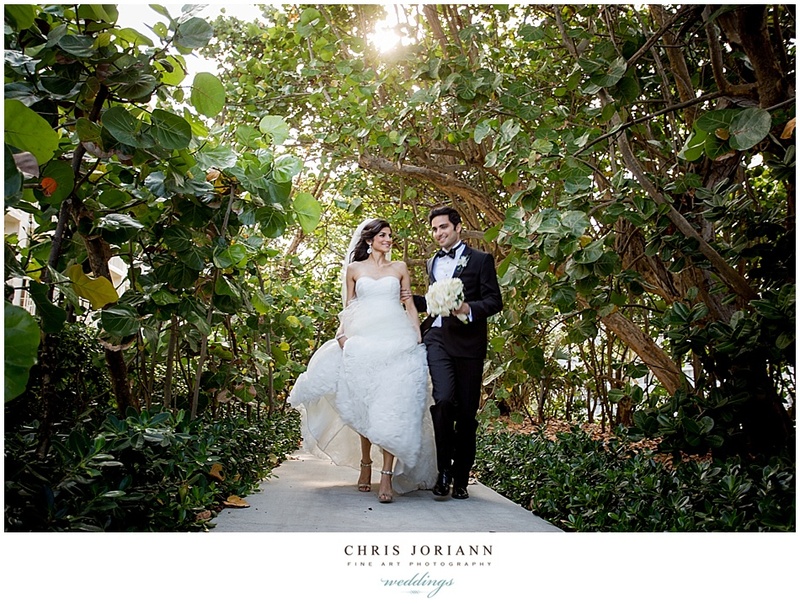 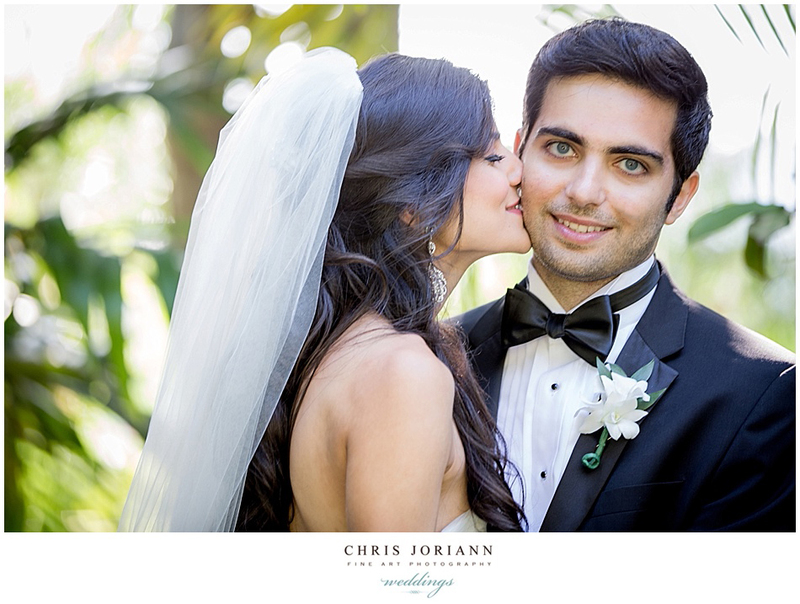 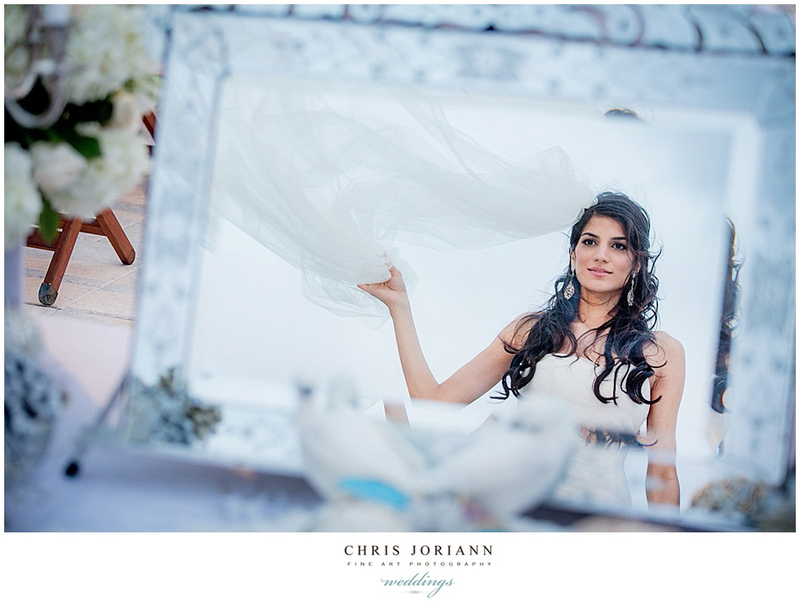 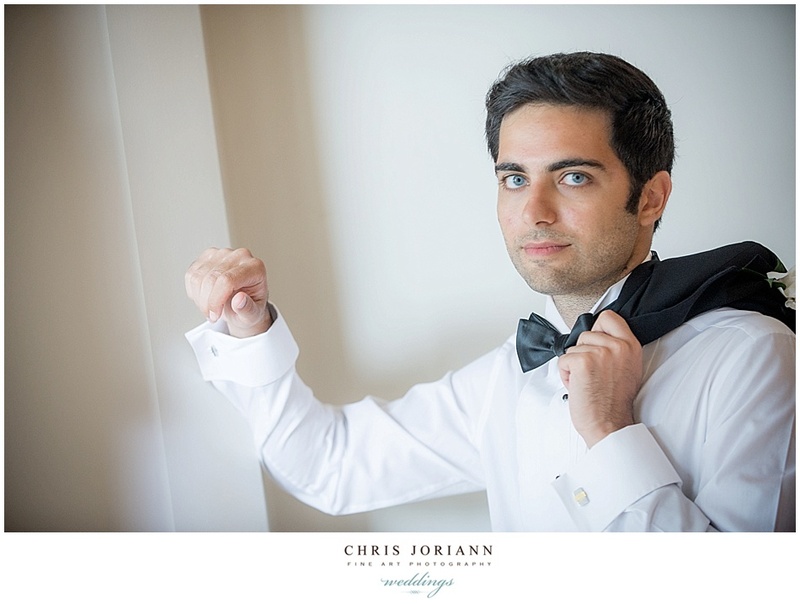 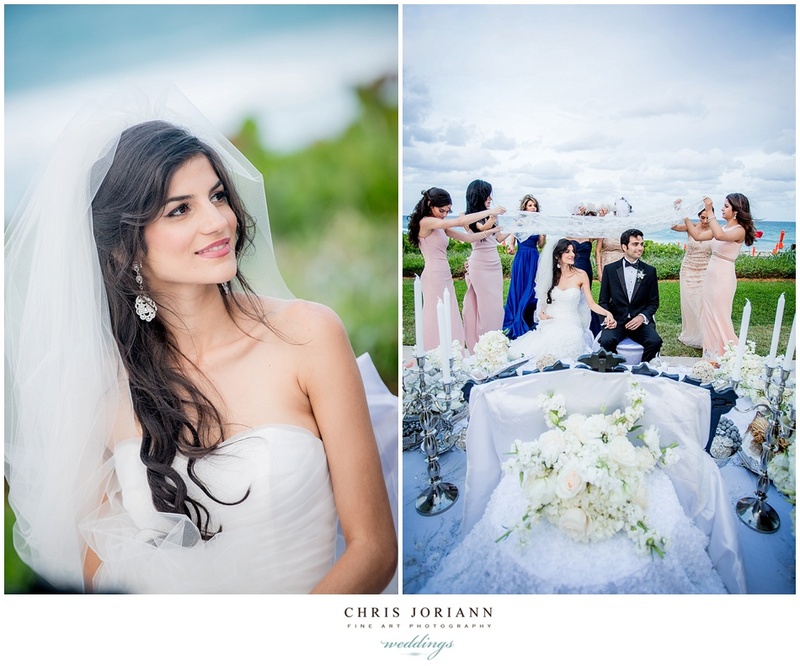 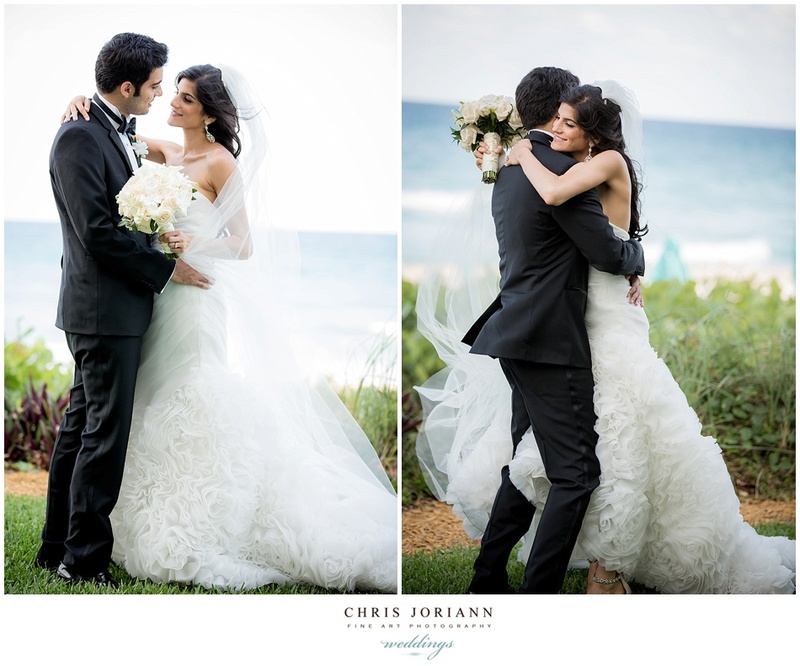 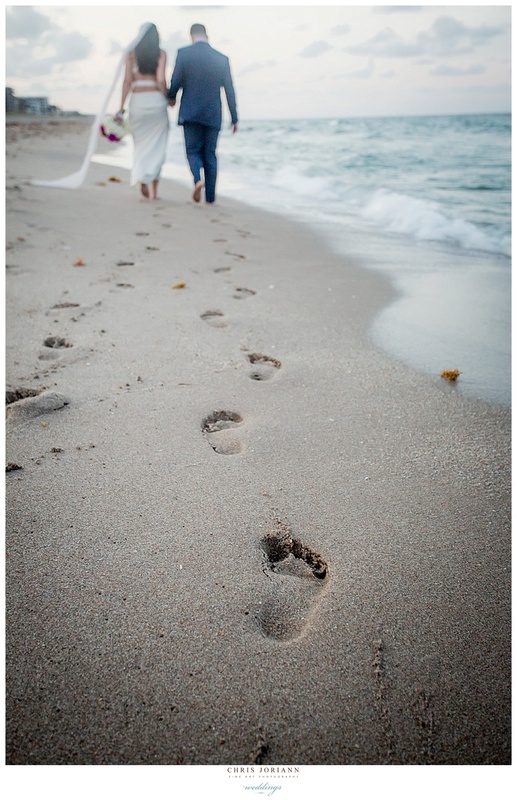 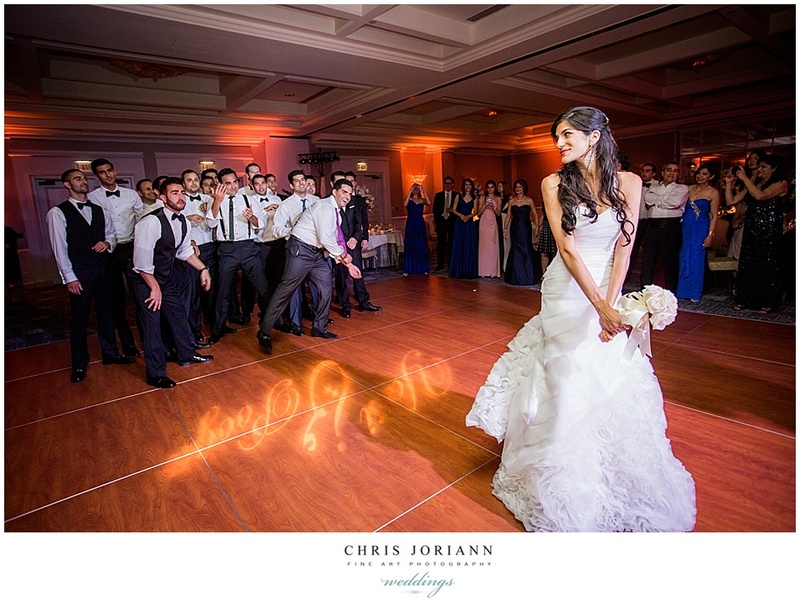 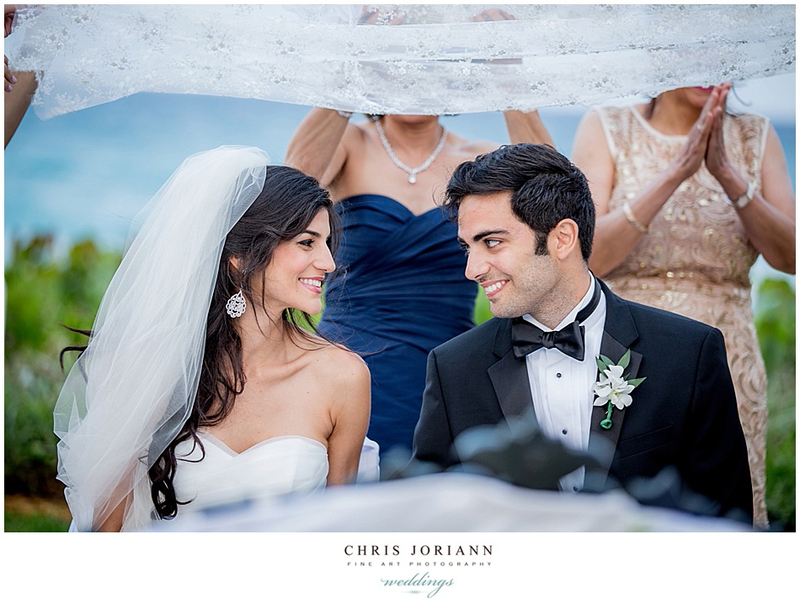 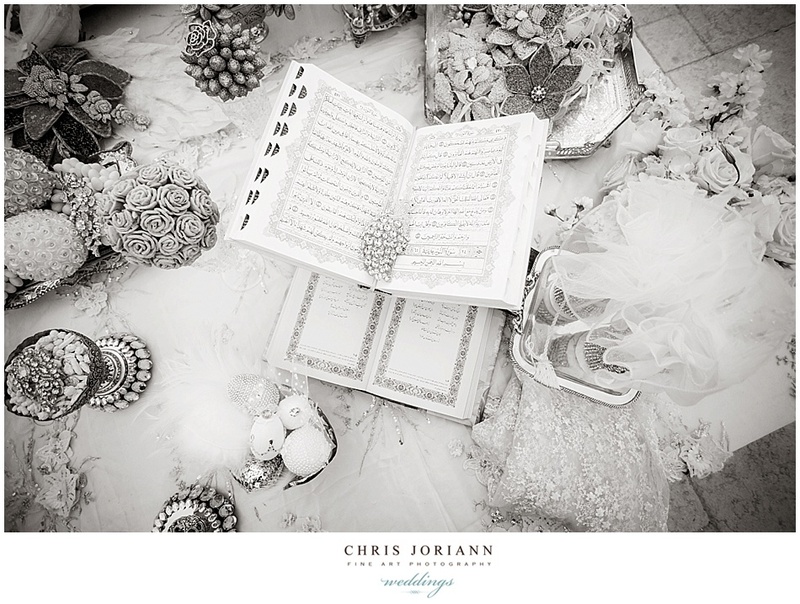 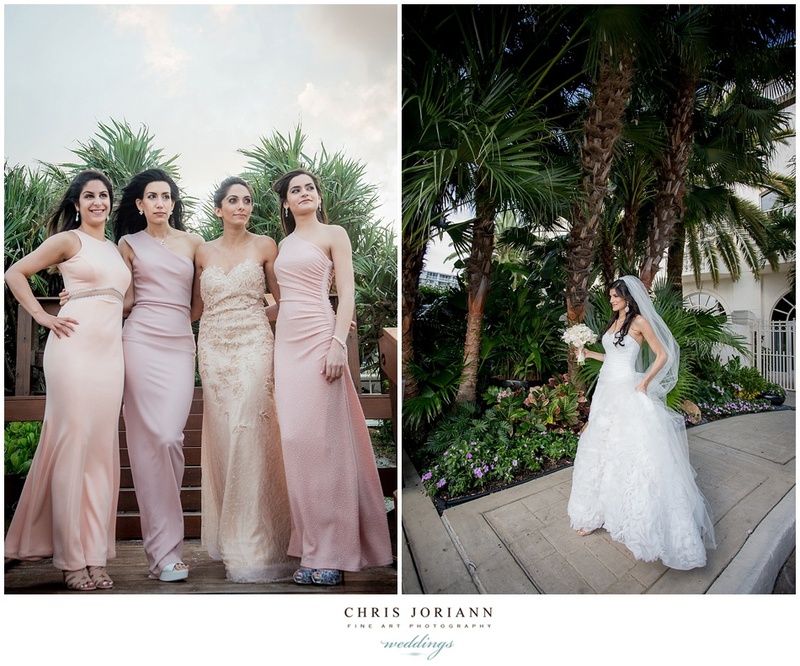 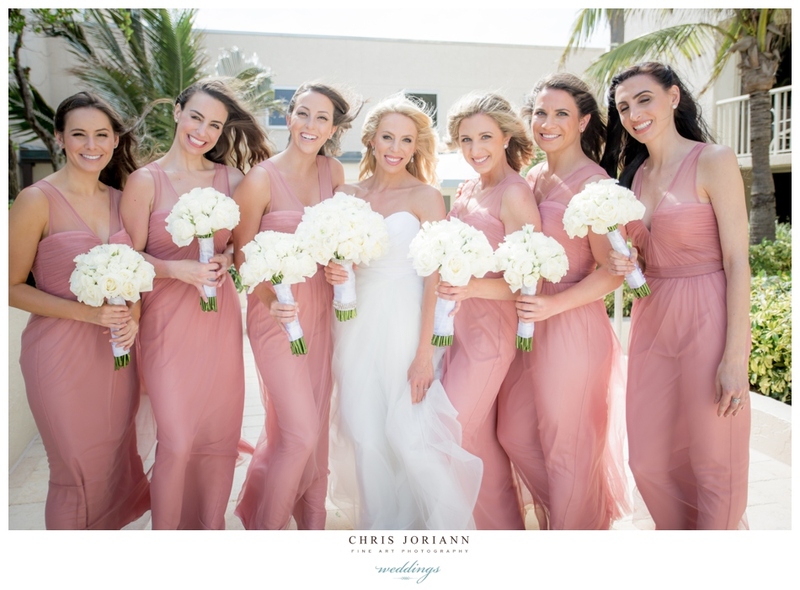 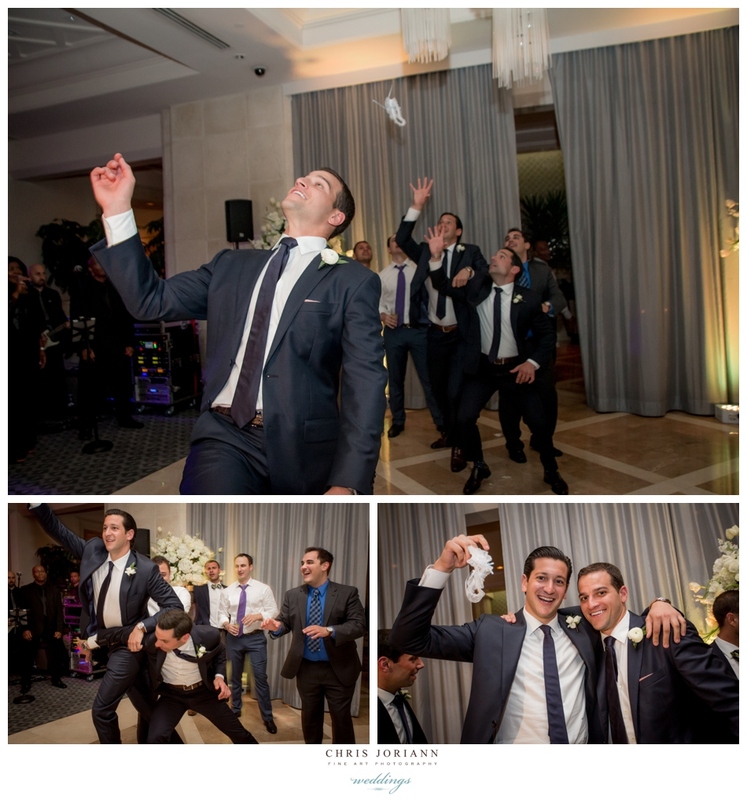 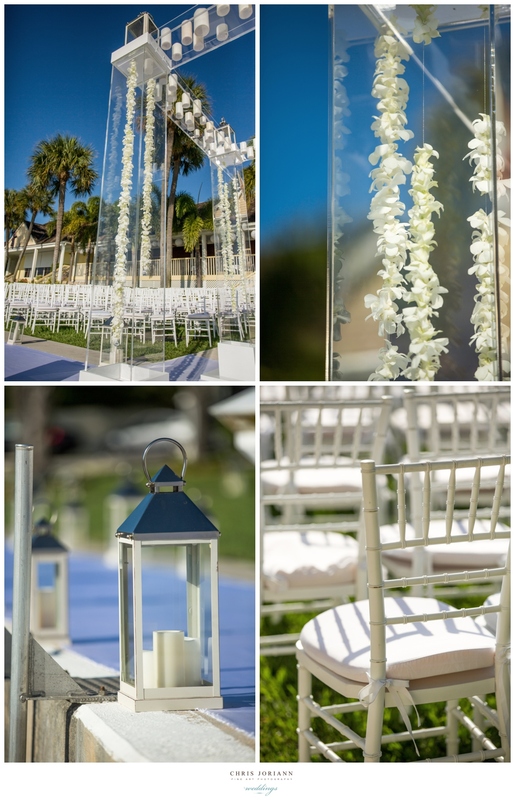 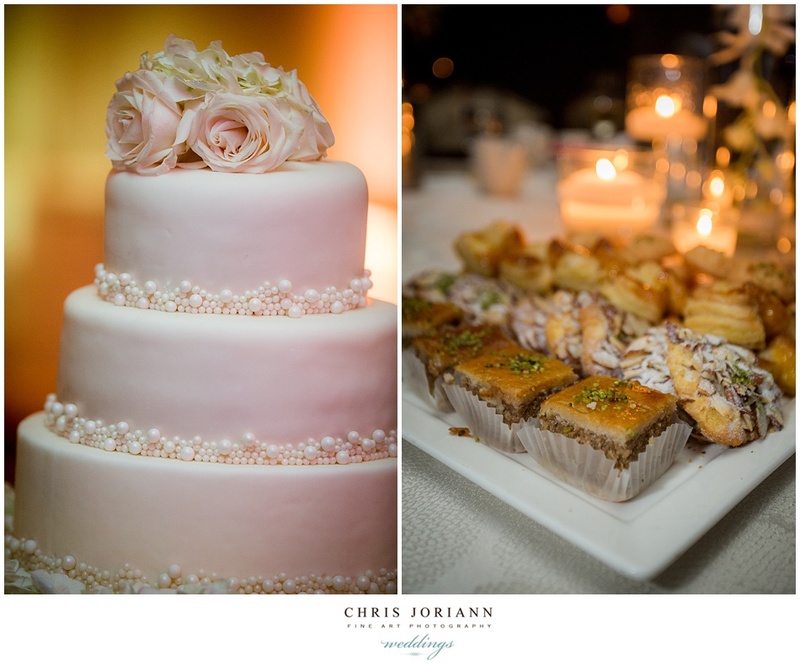 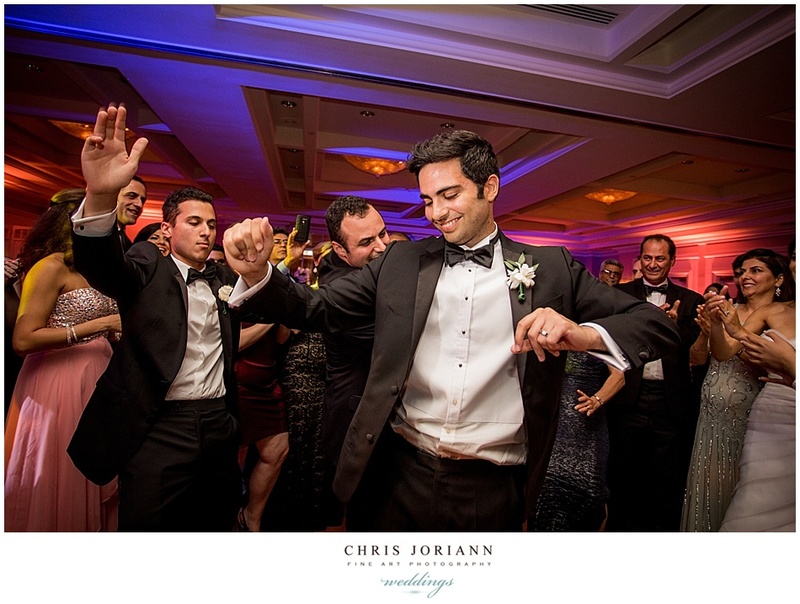 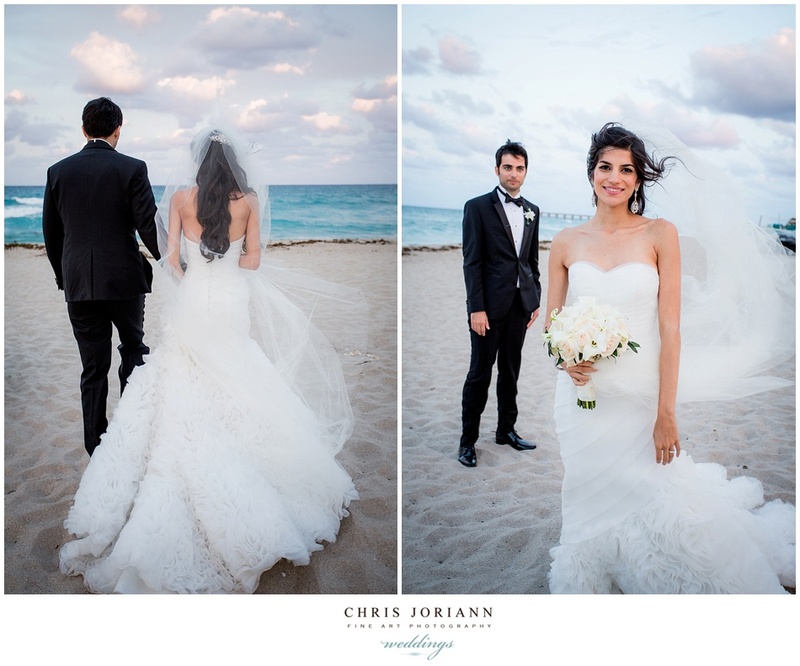 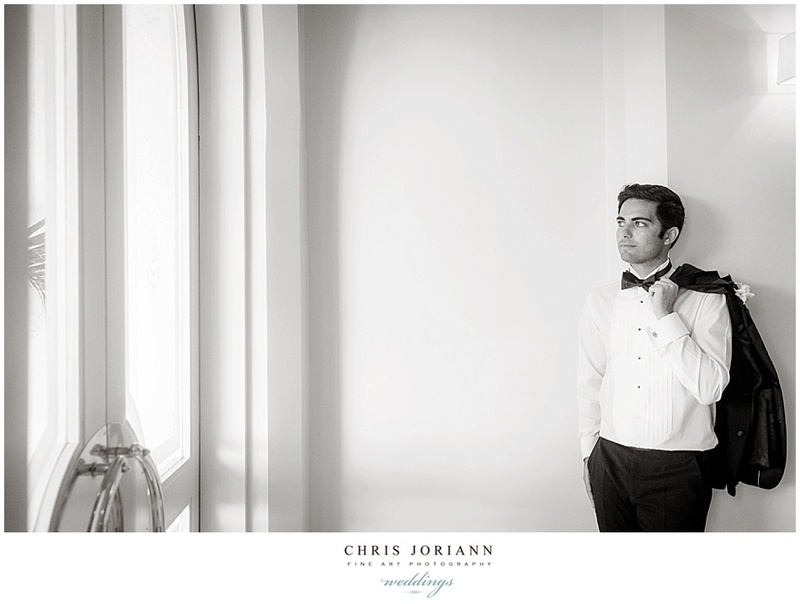 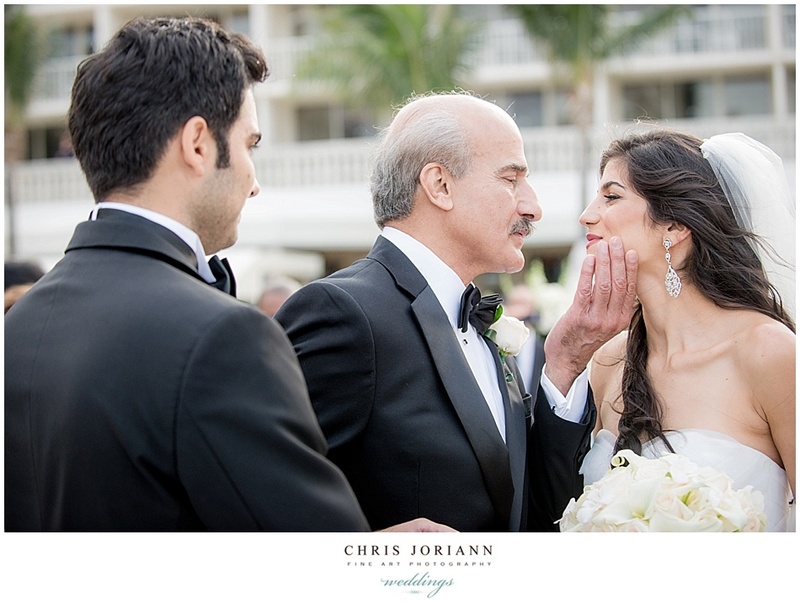 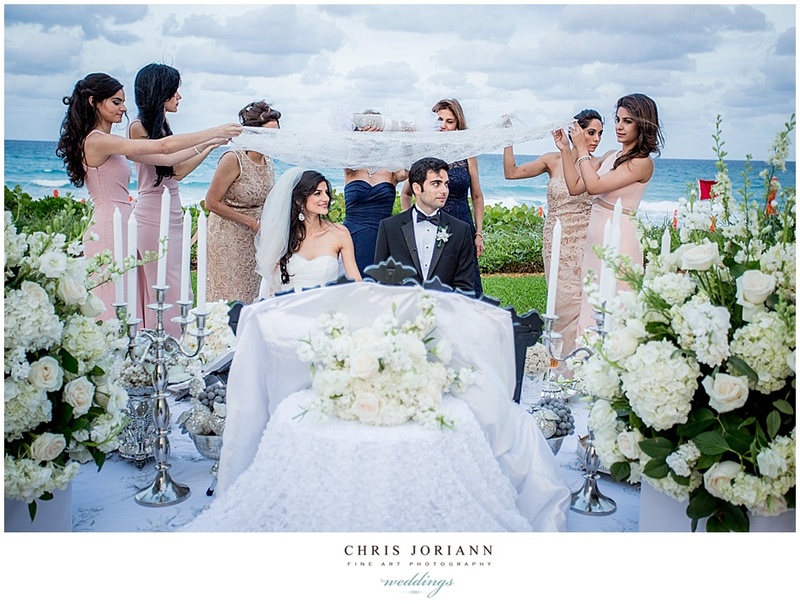 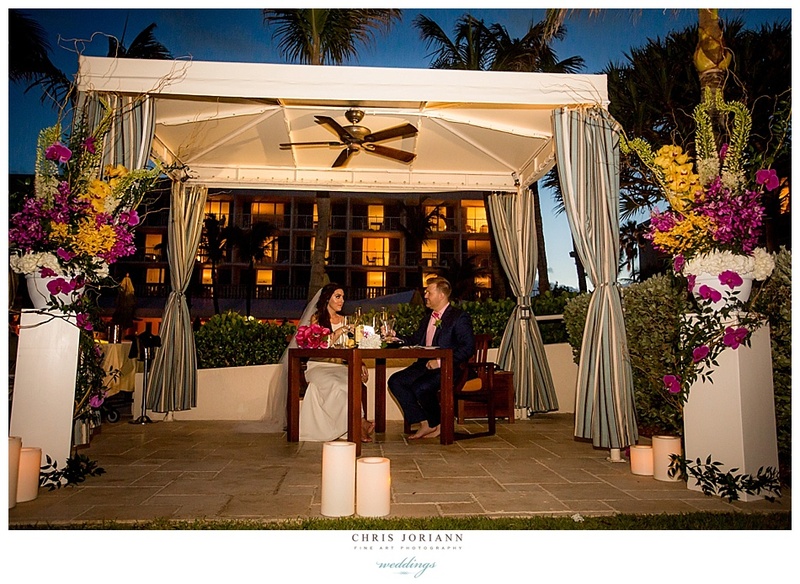 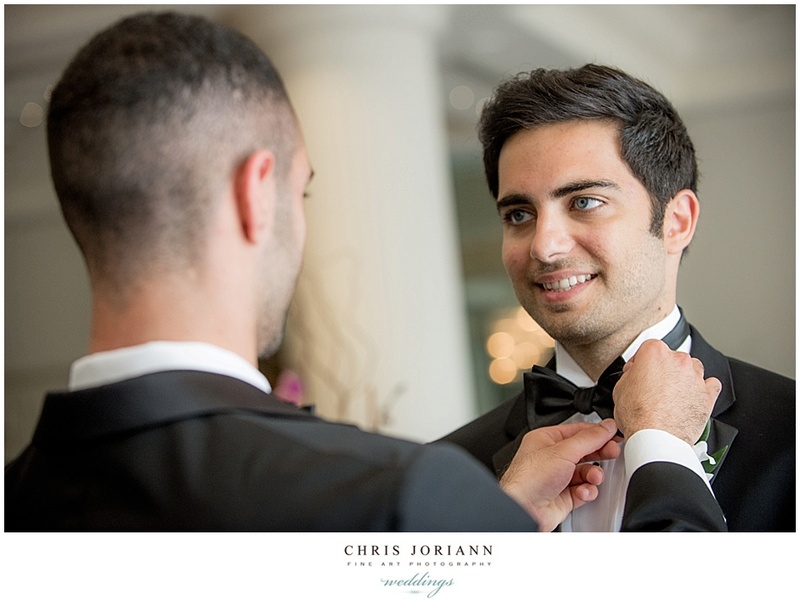 Yassi + Pooya’s oceanfront Persian Aghd (wedding ceremony) took place at The Four Seasons Resort in Palm Beach. 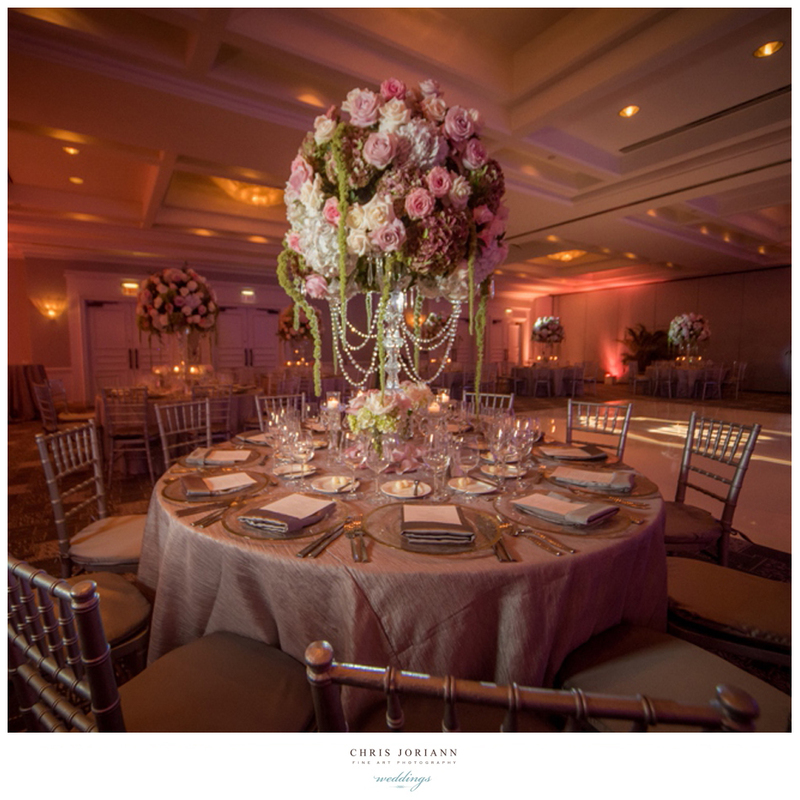 The Sofreh, a traditional Persian feast table was set up seaside with a fabulous symbolic spread in gold and silver for prosperity. 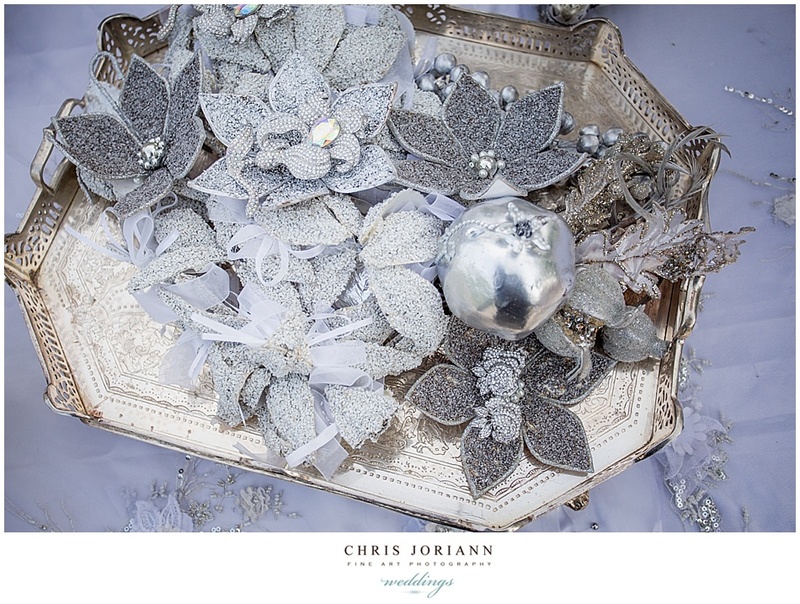 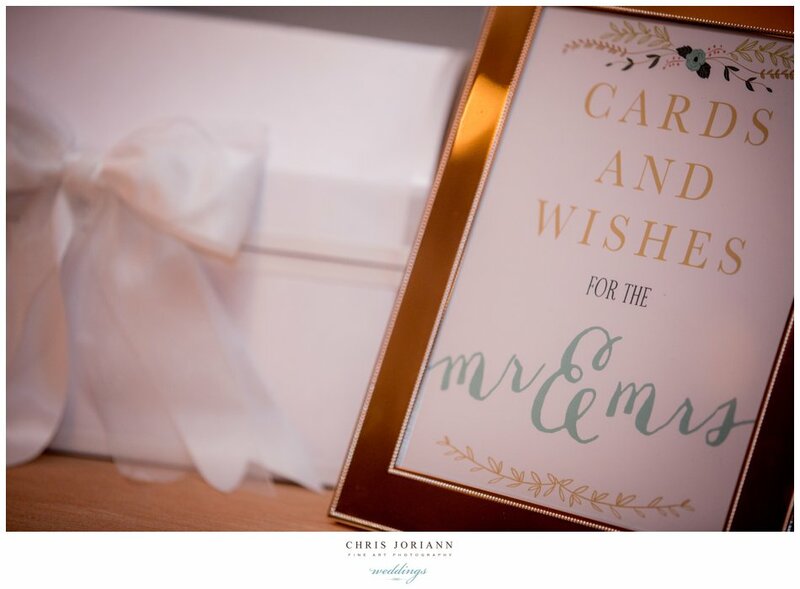 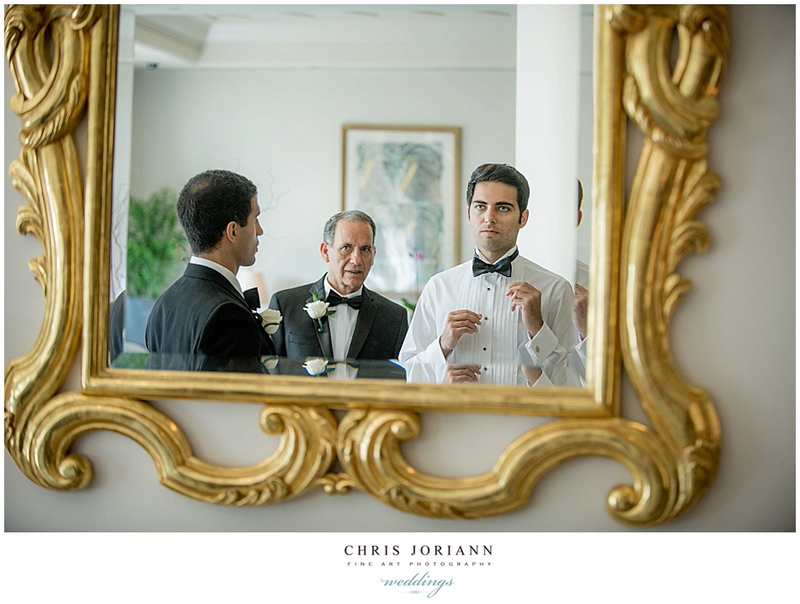 An antique mirror was set in front of the couple to reflect what is before it, so symbolically it brings the couple abundance and brightness in their future. 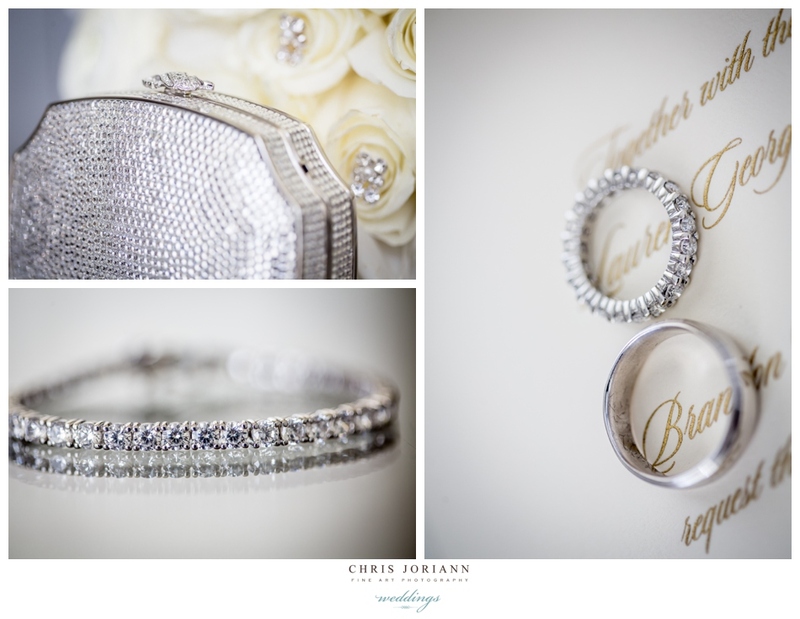 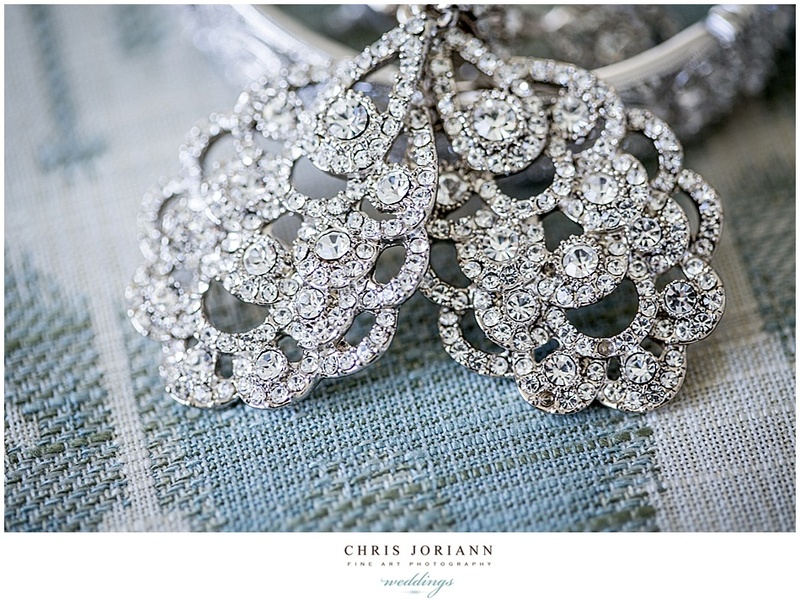 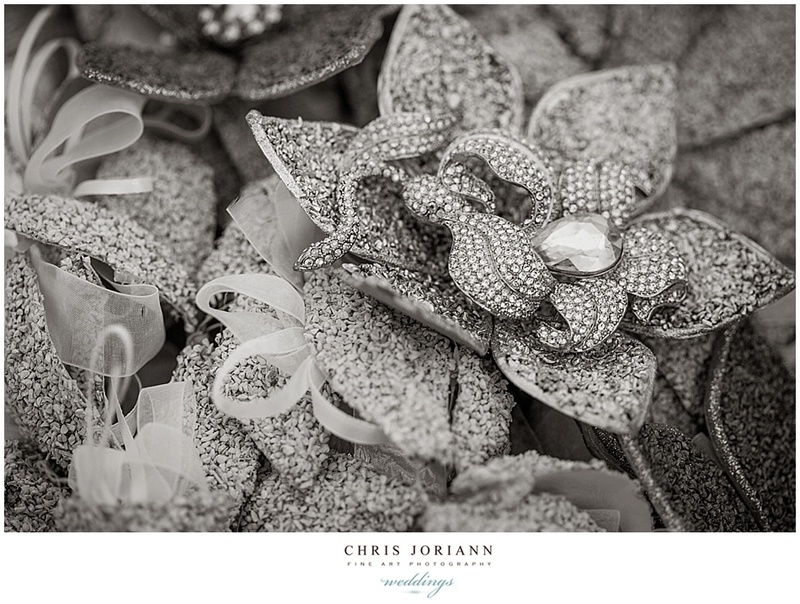 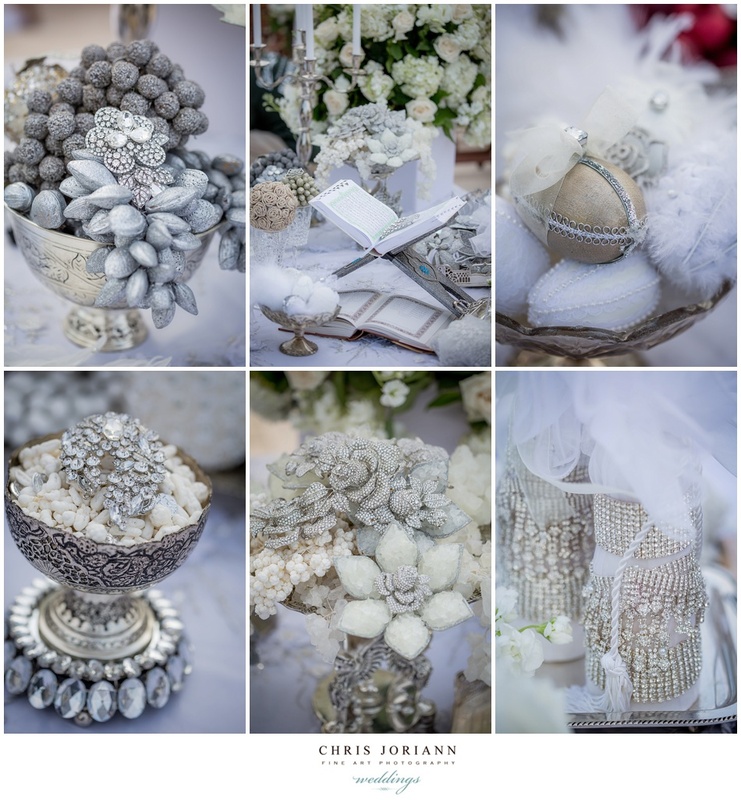 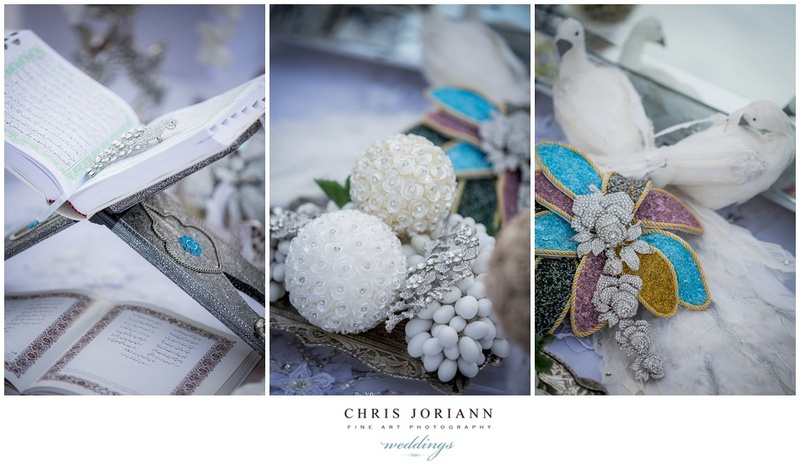 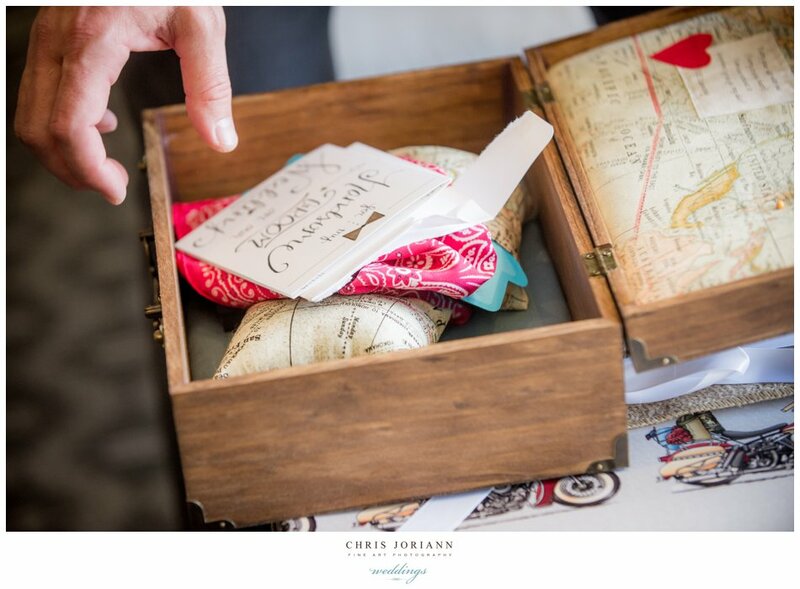 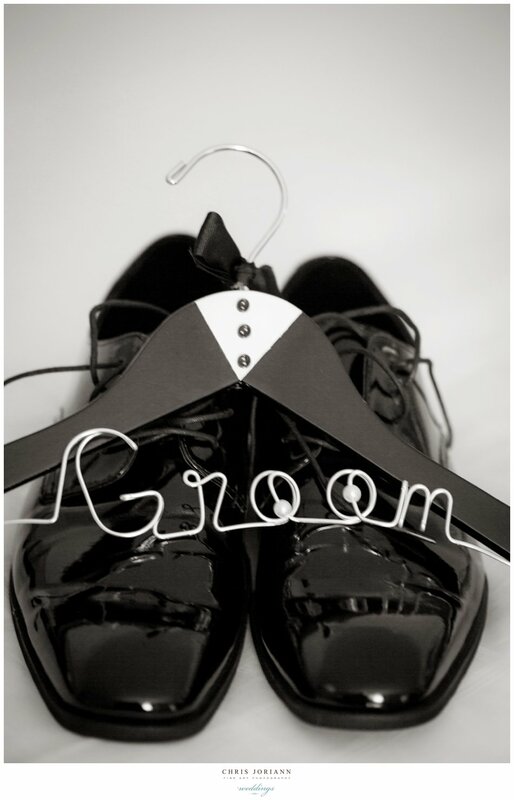 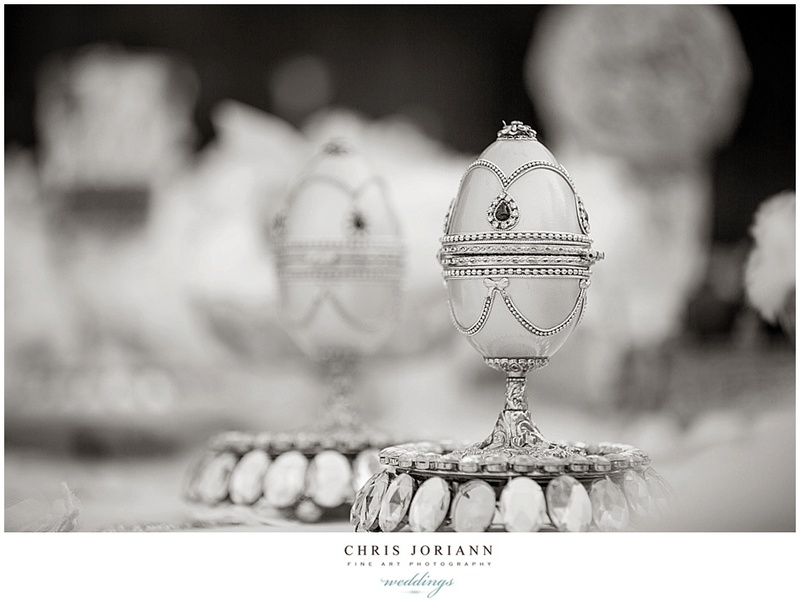 Once the bride and groom were pronounced man and wife, they exchange rings nestled in matching Fabergé Eggs. 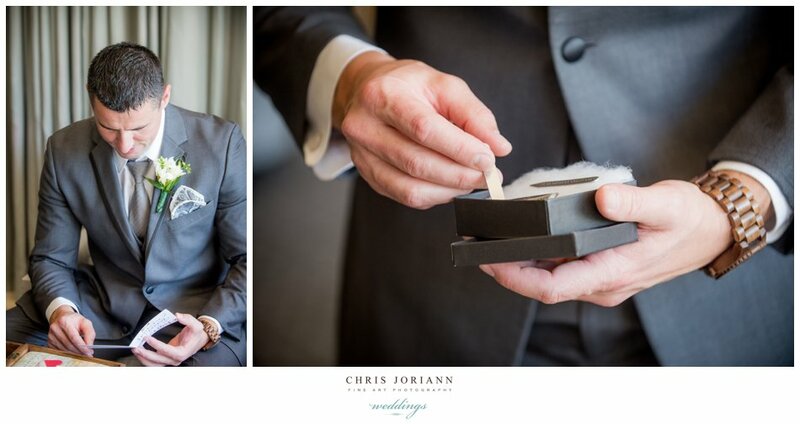 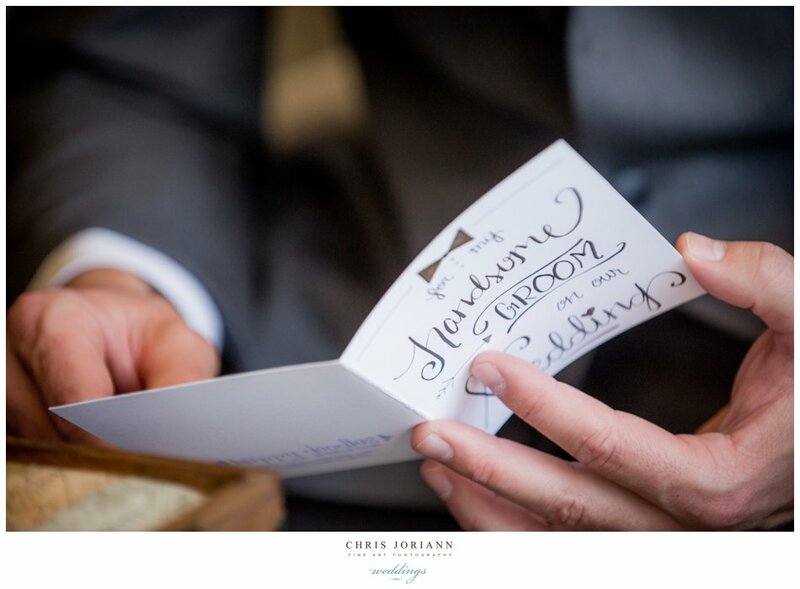 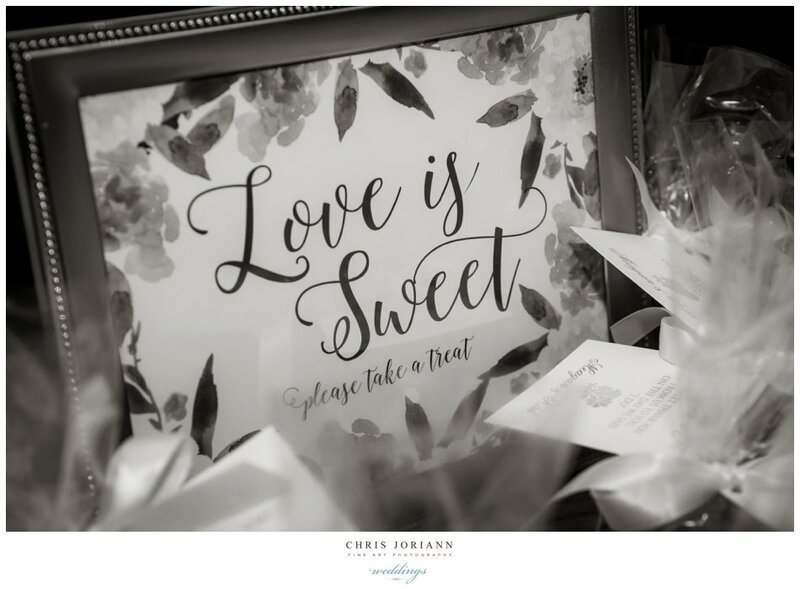 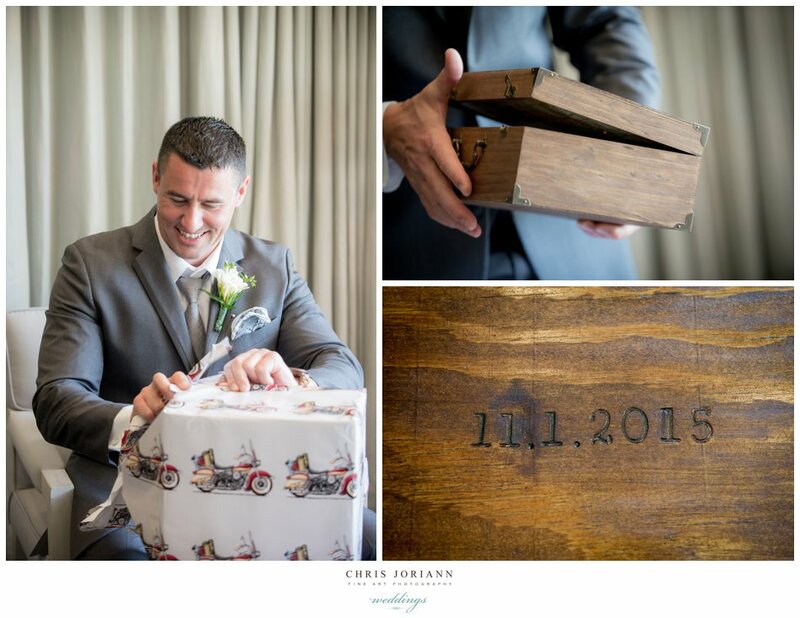 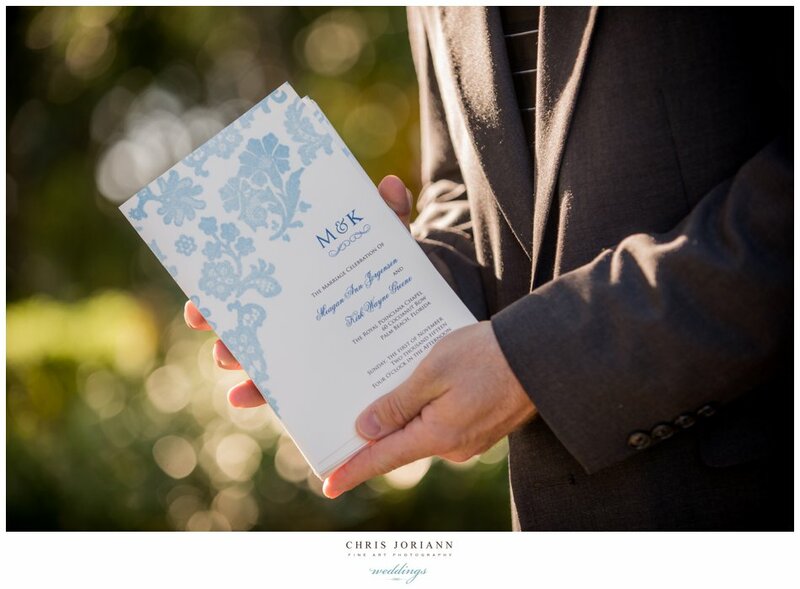 Then a bowl of honey was presented to the couple, and the groom dipped his finger into the honey and gave a taste to his new bride, symbolizing a sweet life together. 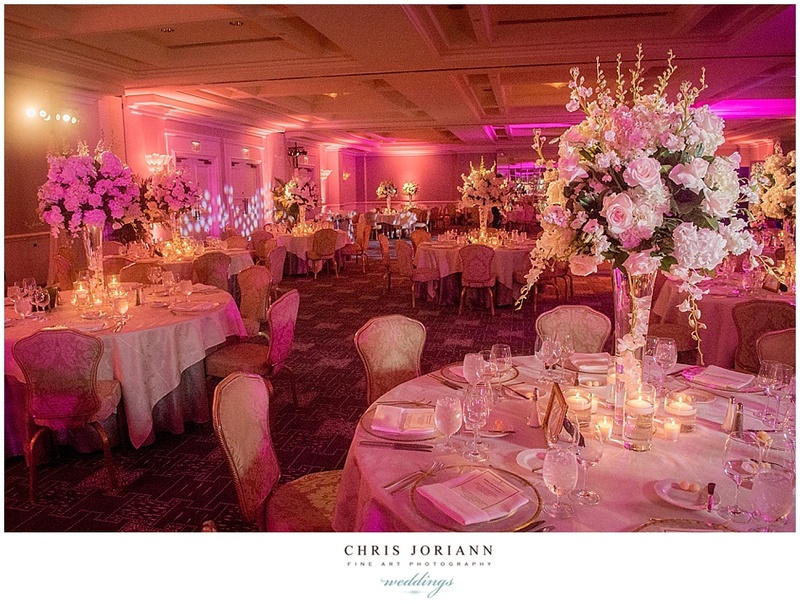 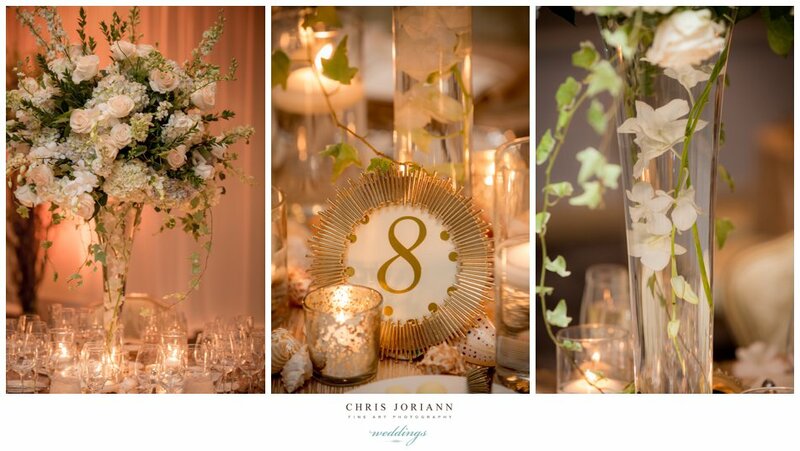 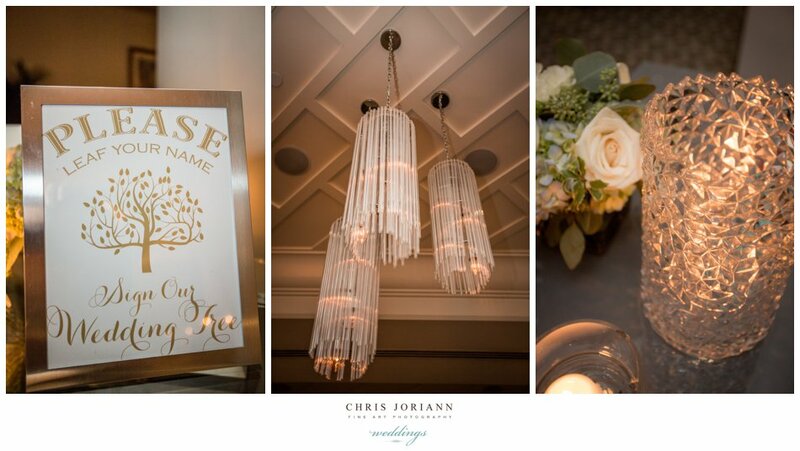 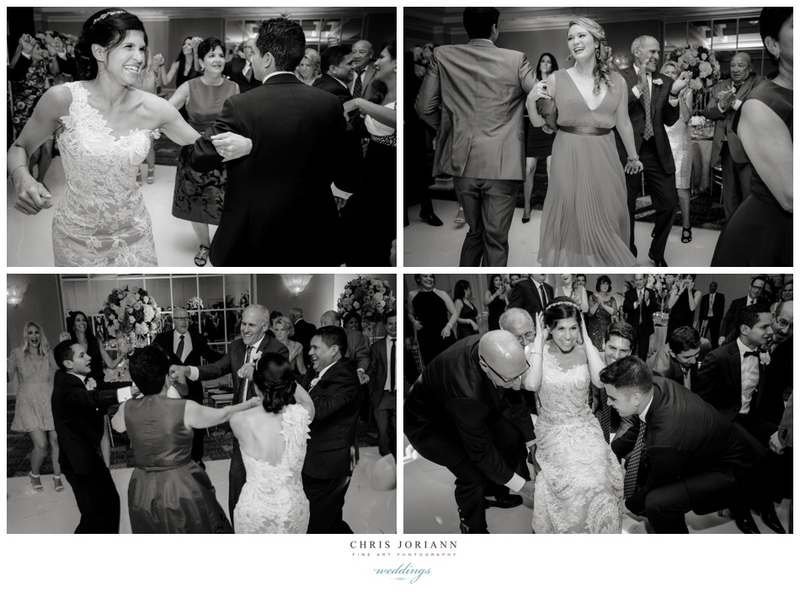 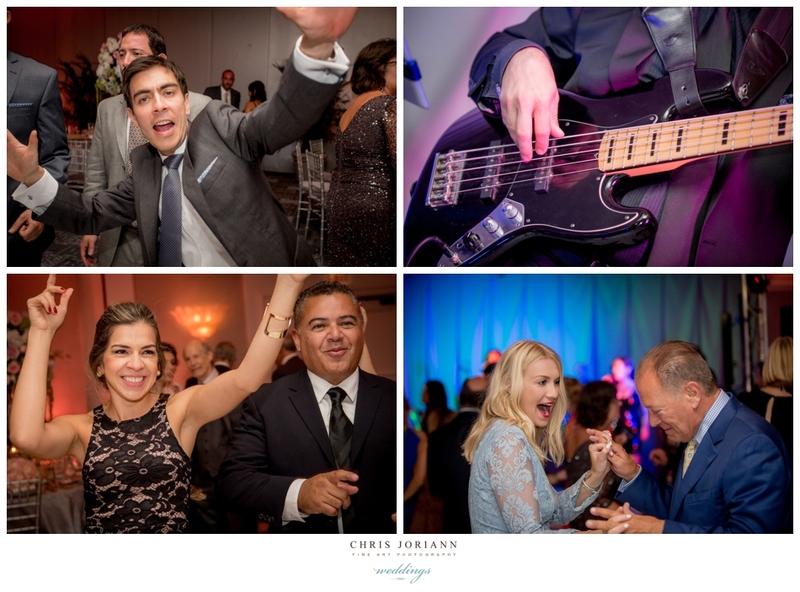 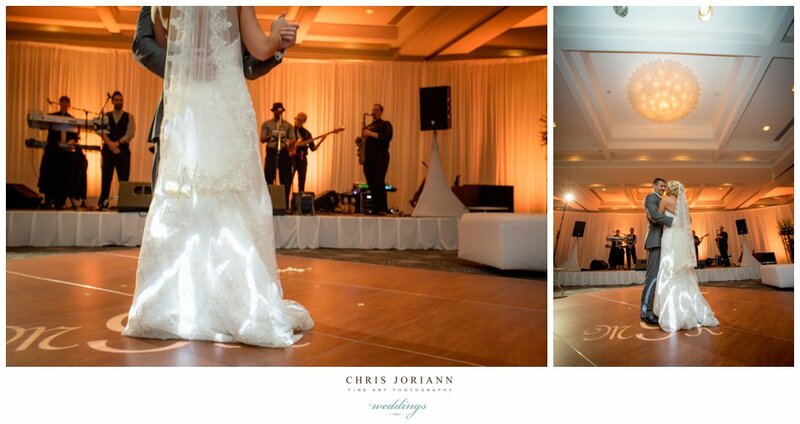 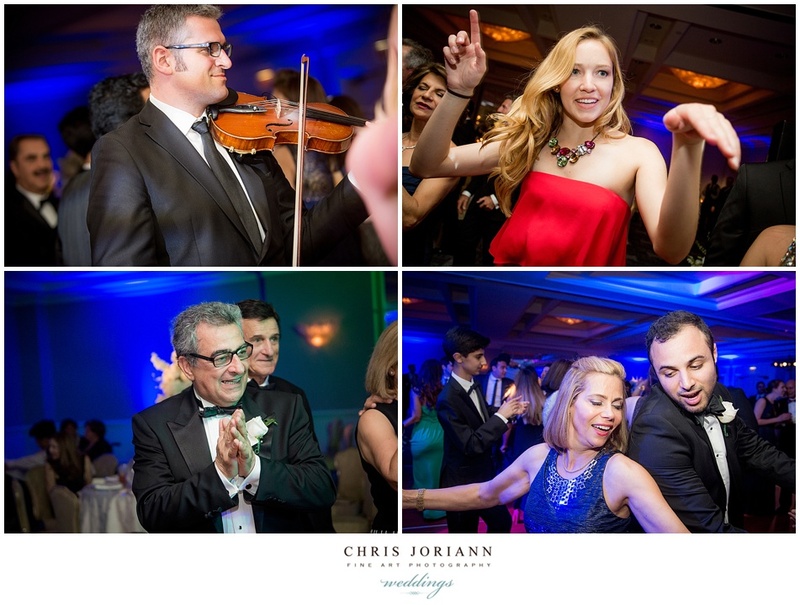 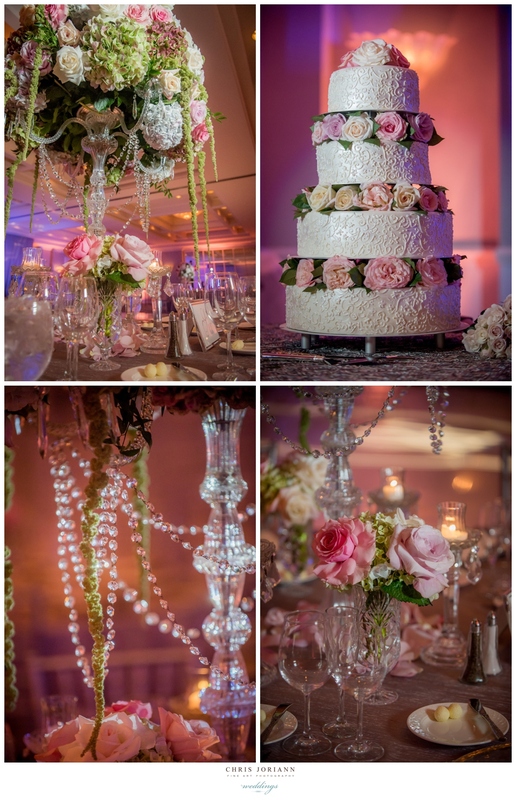 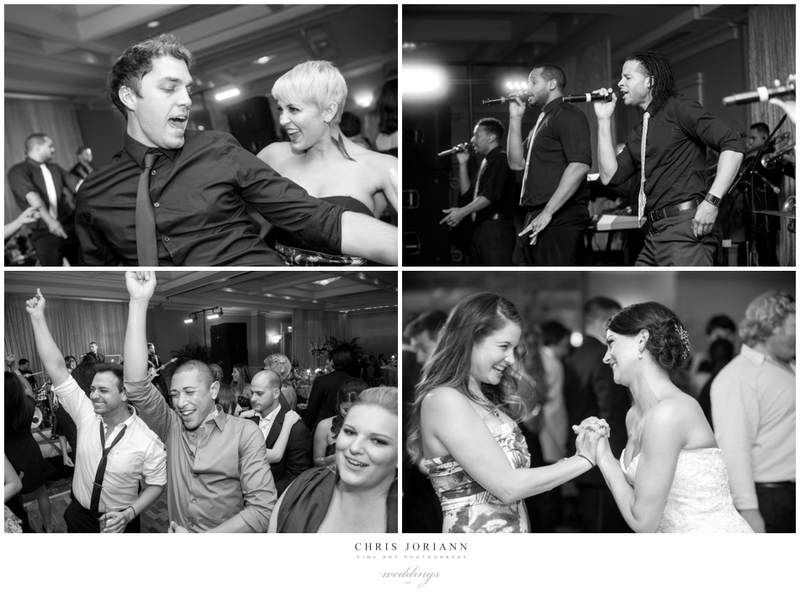 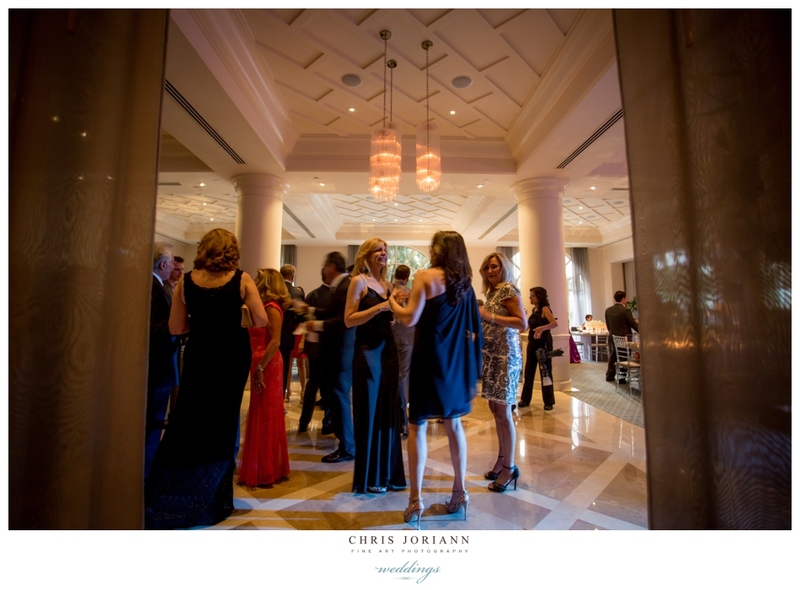 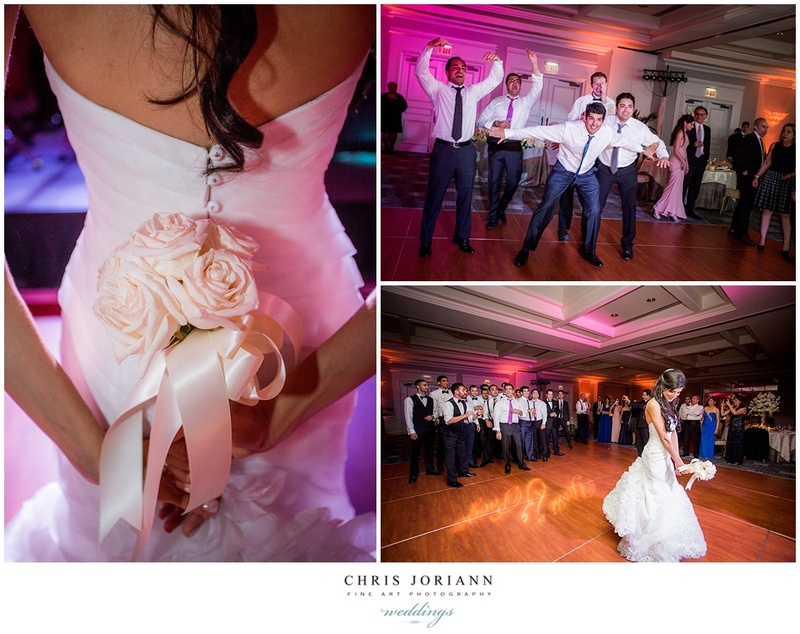 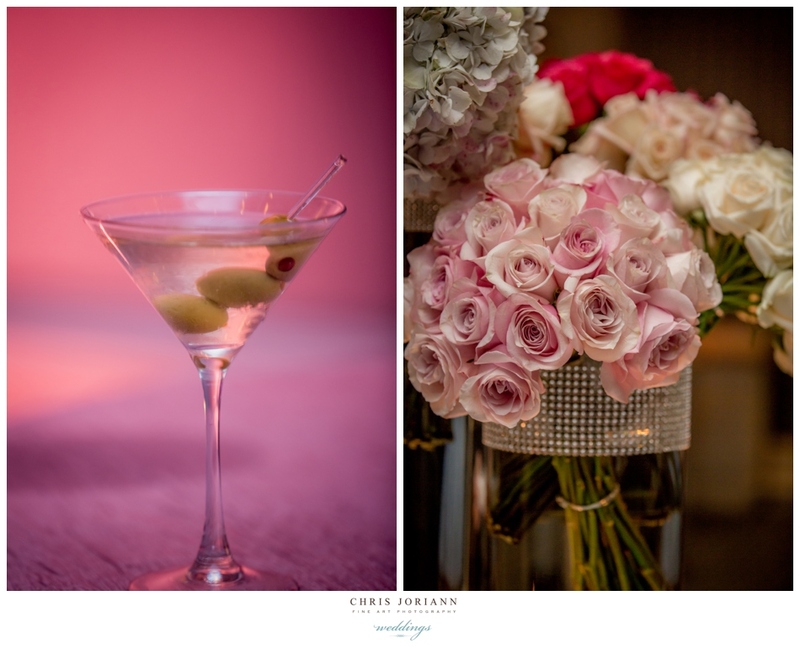 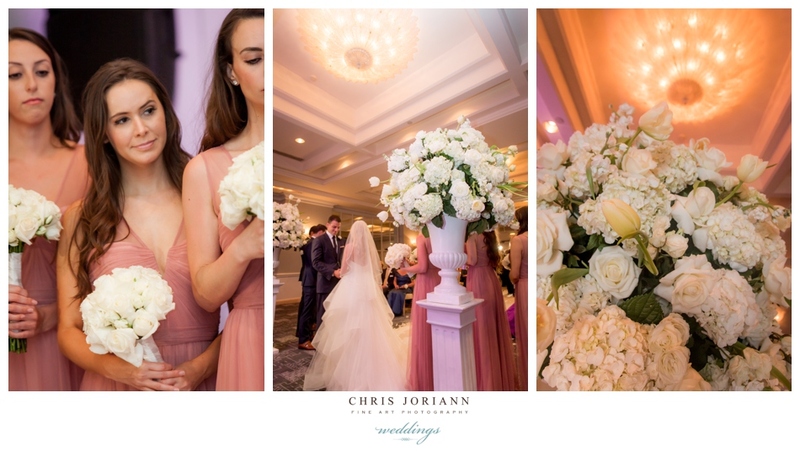 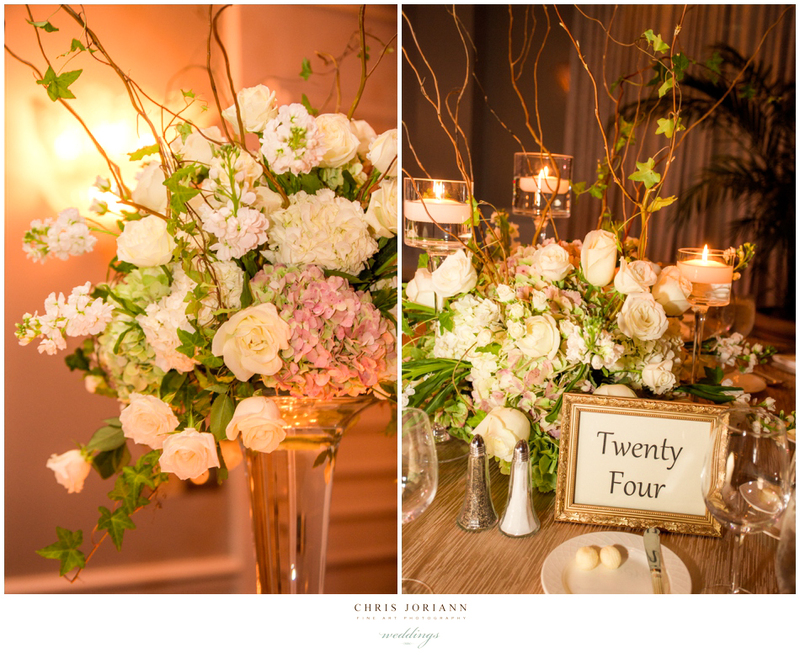 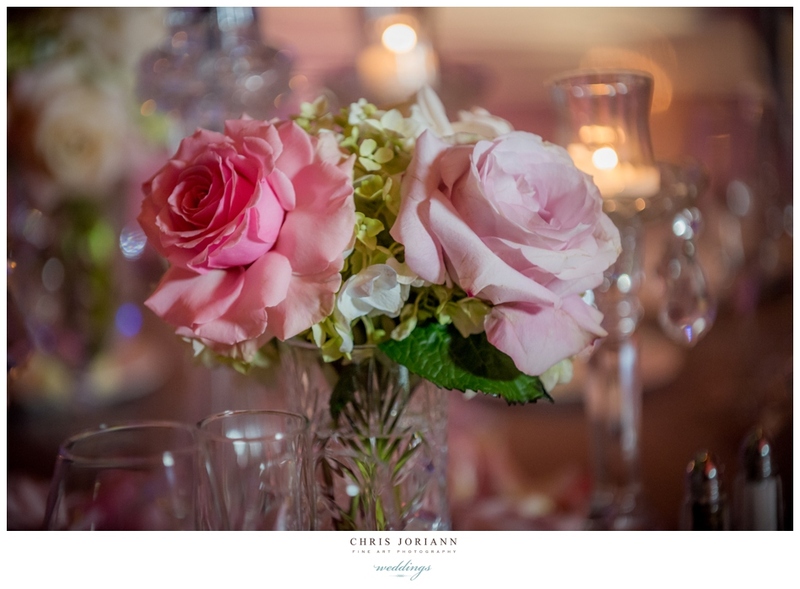 Cocktails followed in the Living Room, then guests dined and danced the night away in the Royal Poinciana Ballroom with romantic décor uplit in blush and candlelight. 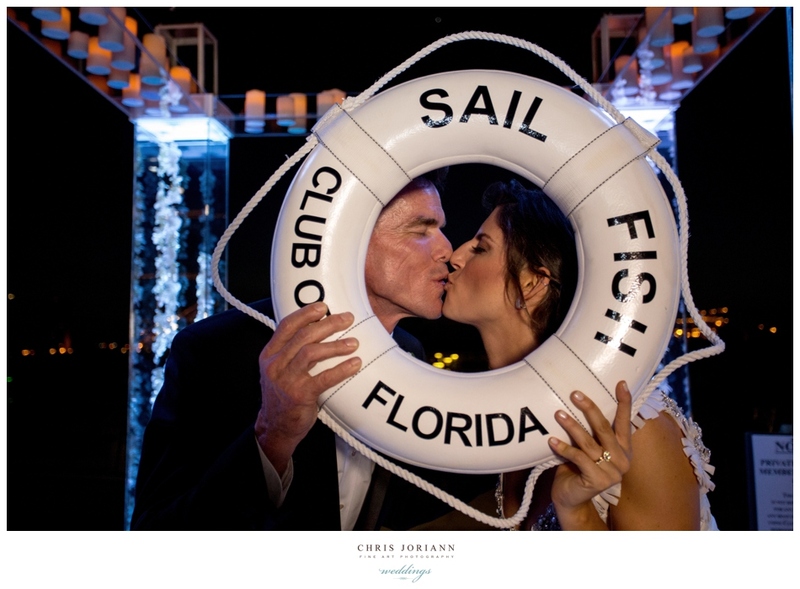 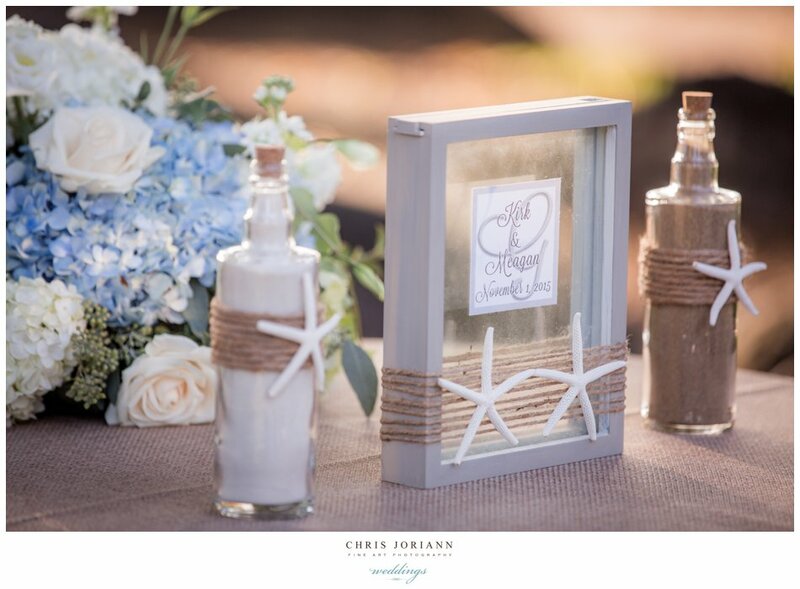 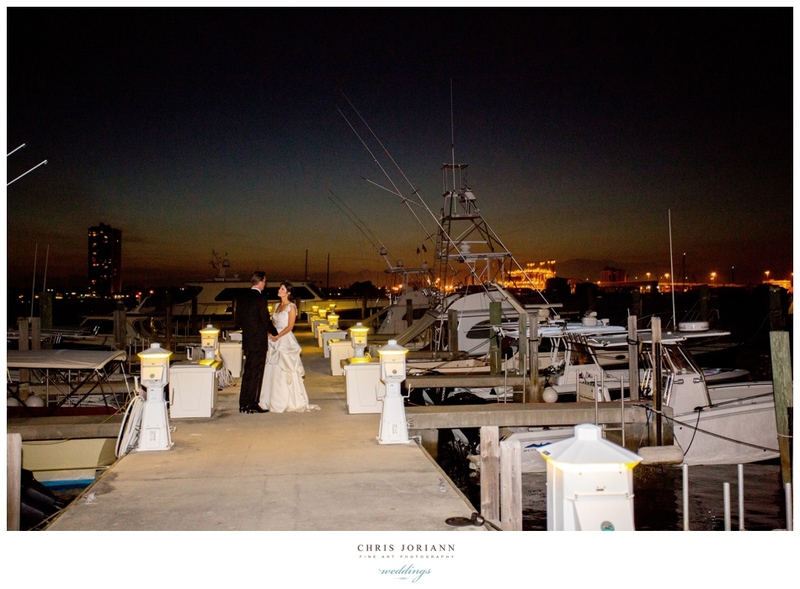 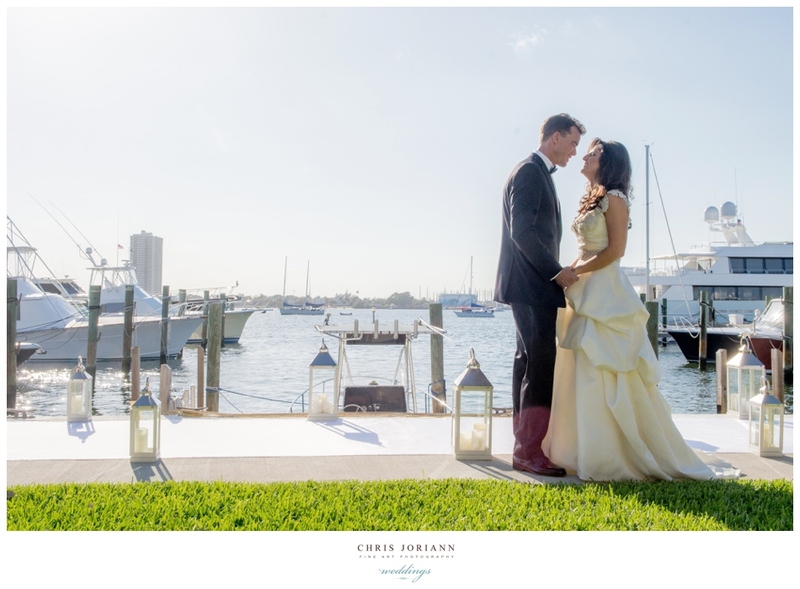 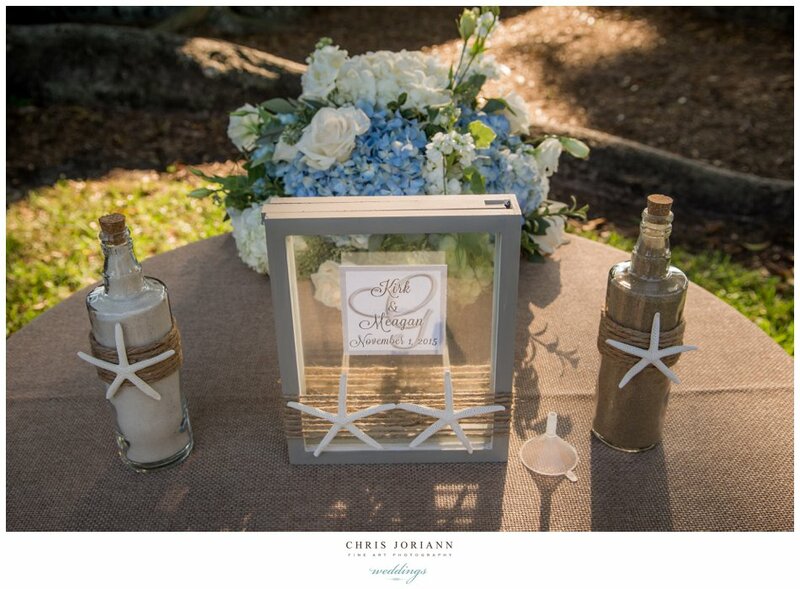 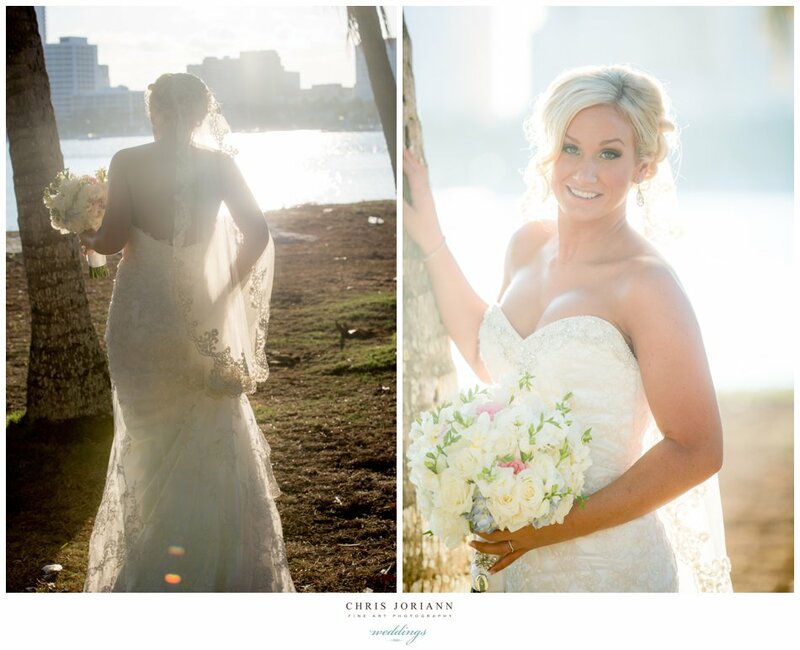 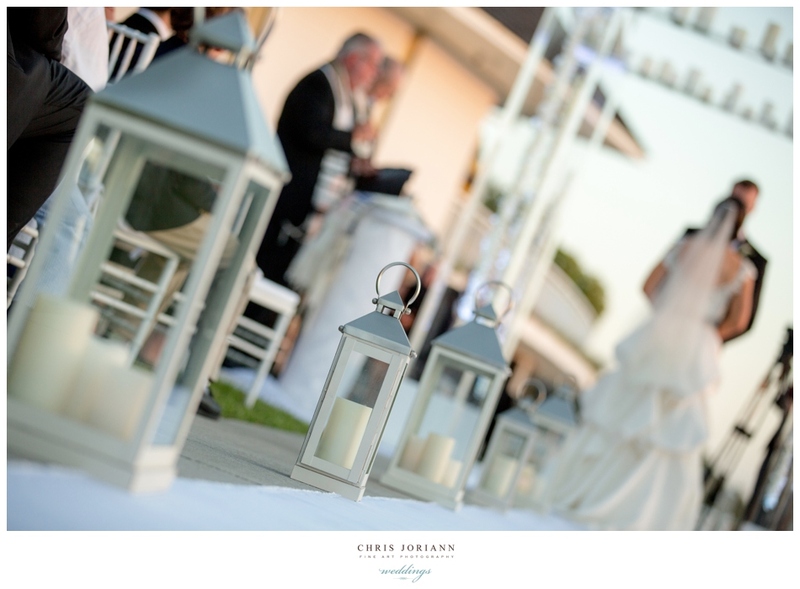 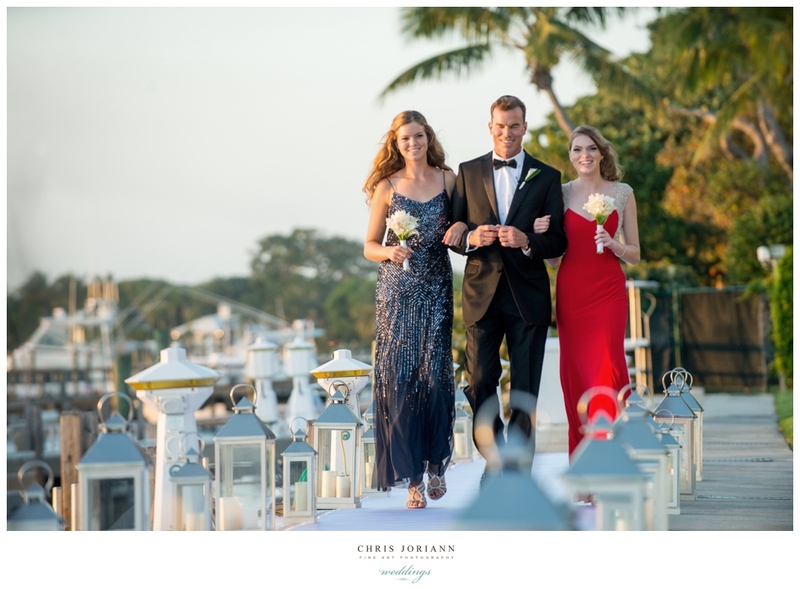 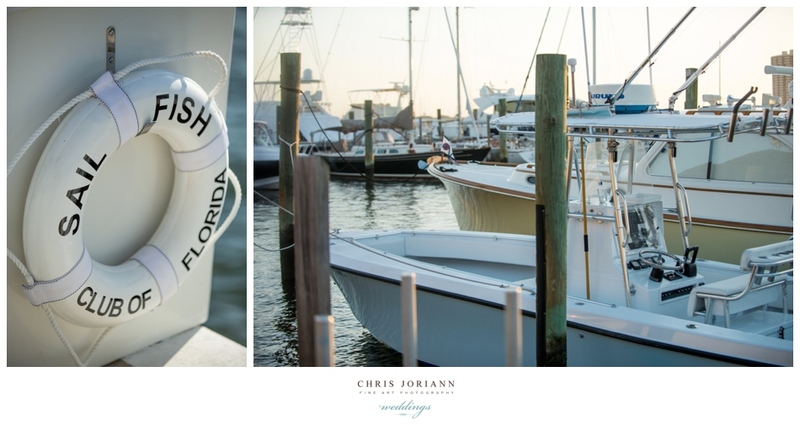 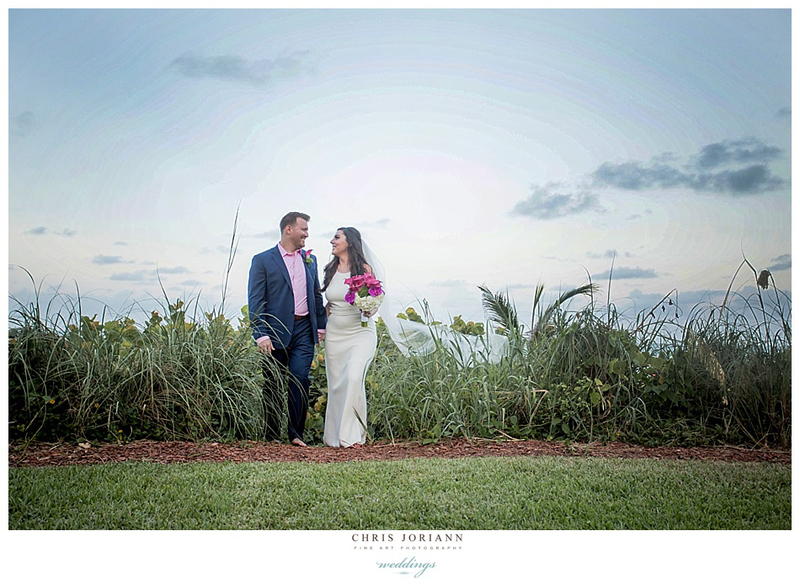 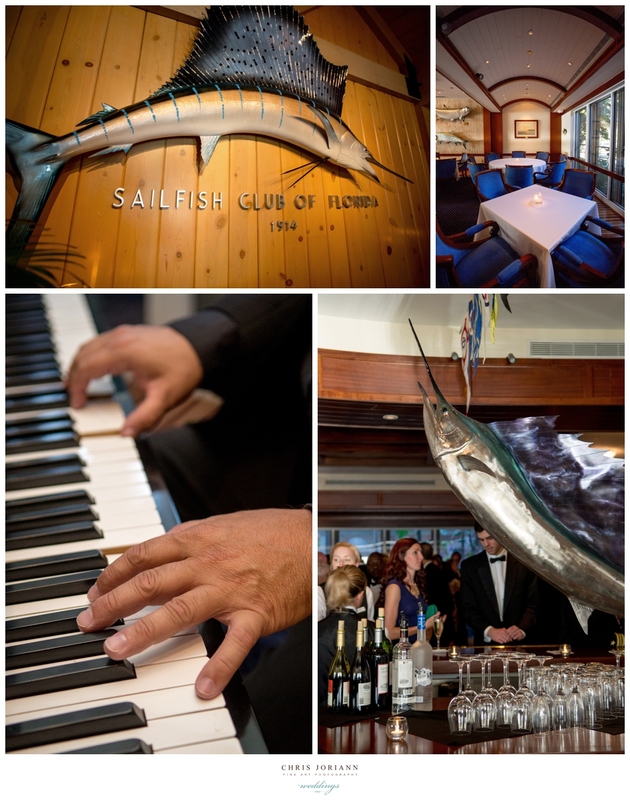 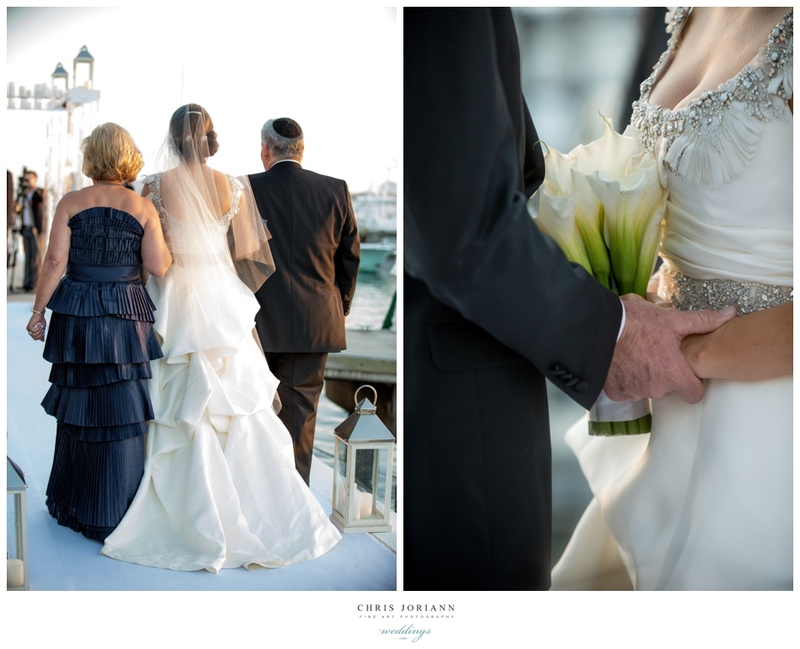 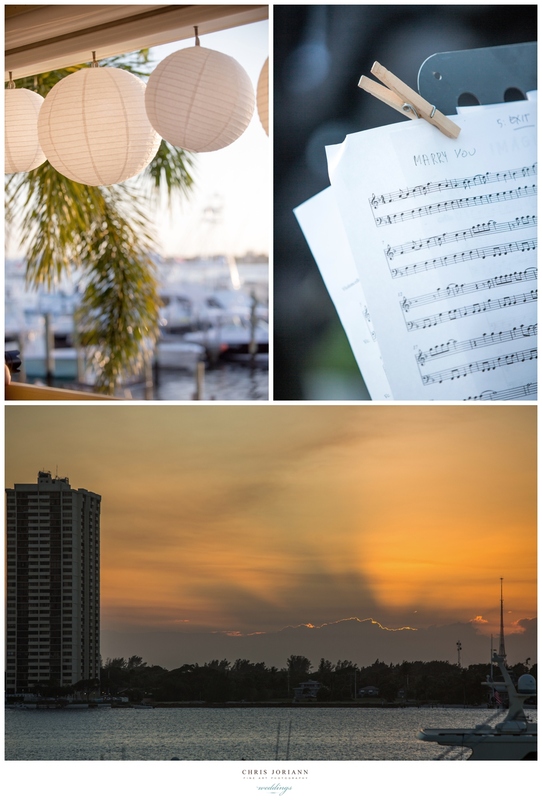 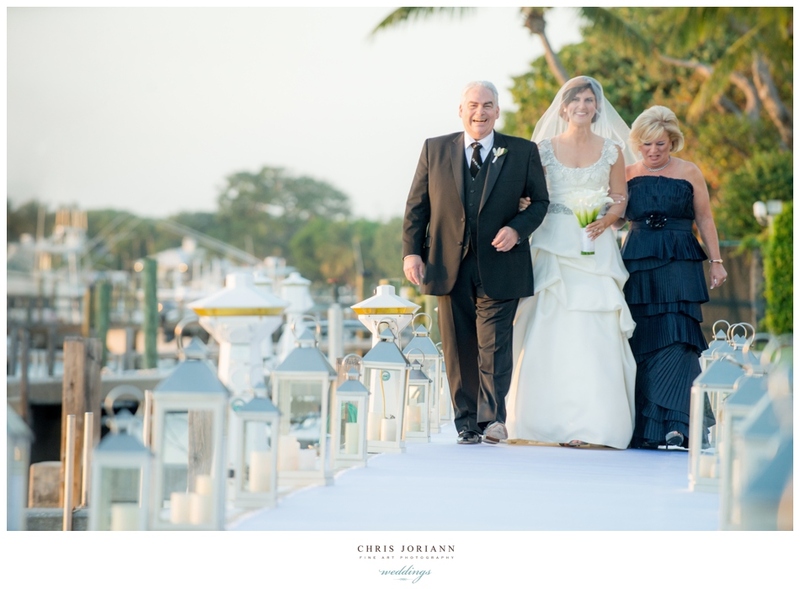 Stefanie & Geoff’s wedding was held on the water at sunset overlooking the marina at The Sailfish Club in Palm Beach. 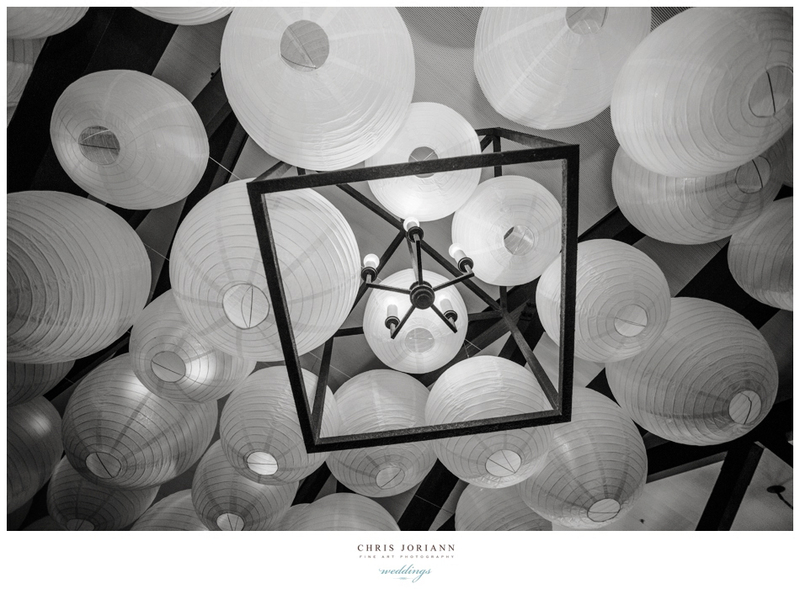 A beautiful candlelit reception followed, as the newlyweds and guests danced beneath giant lanterns. 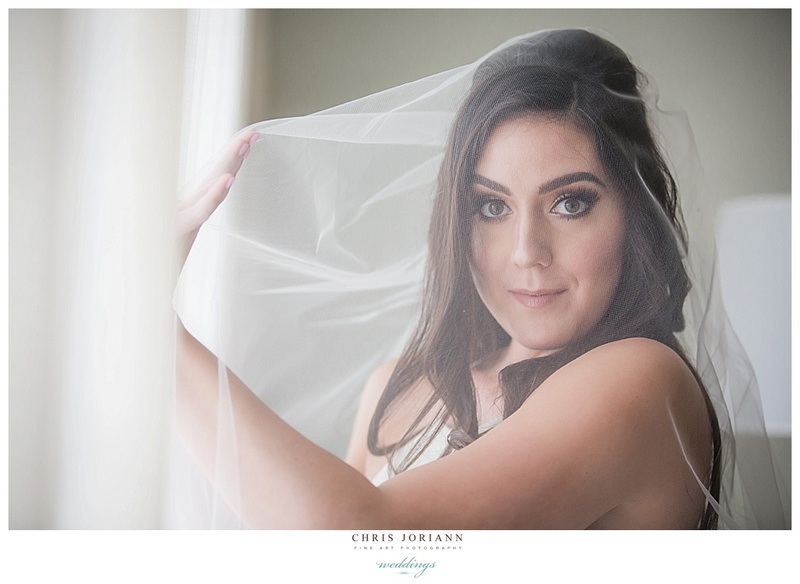 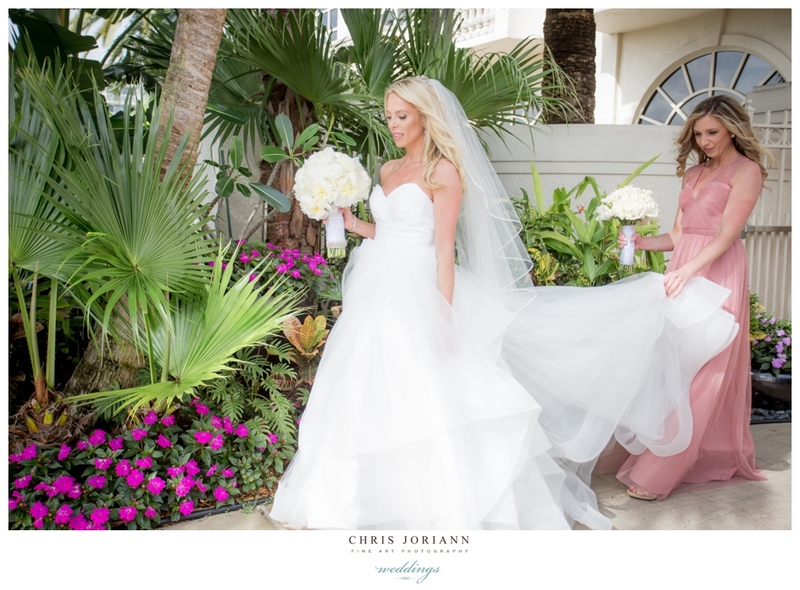 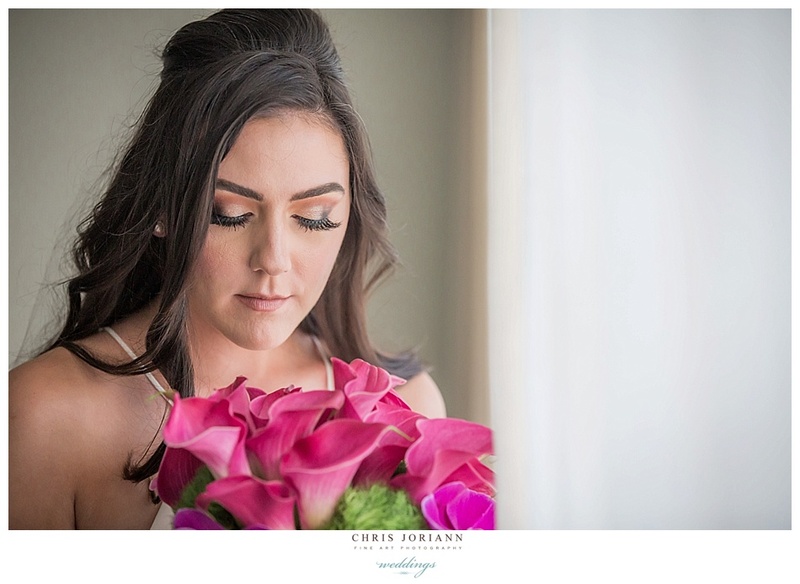 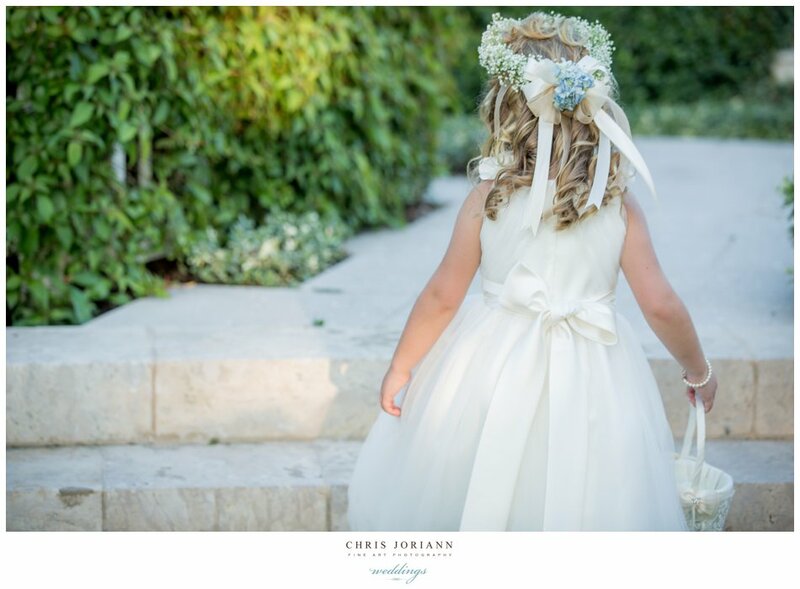 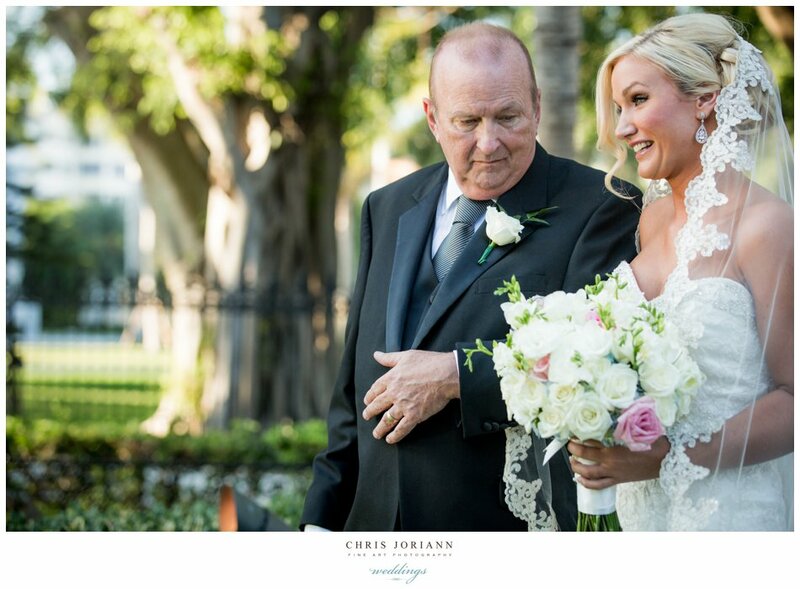 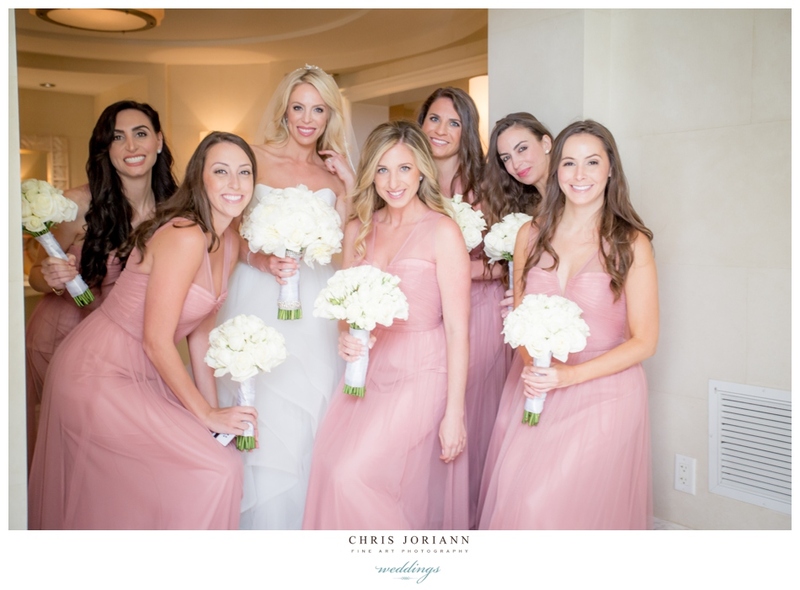 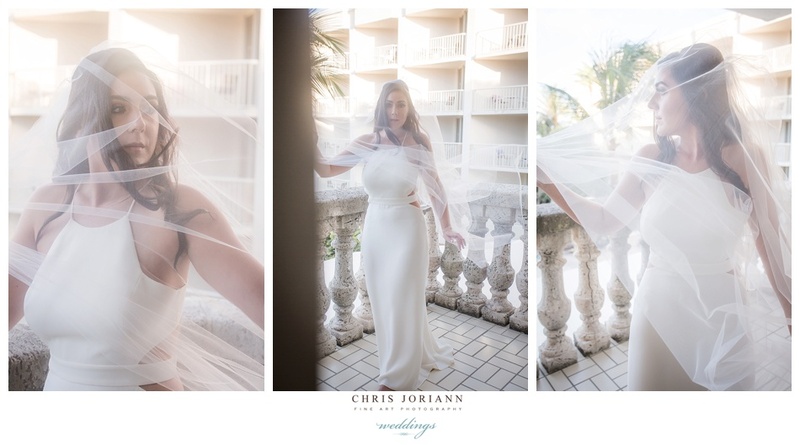 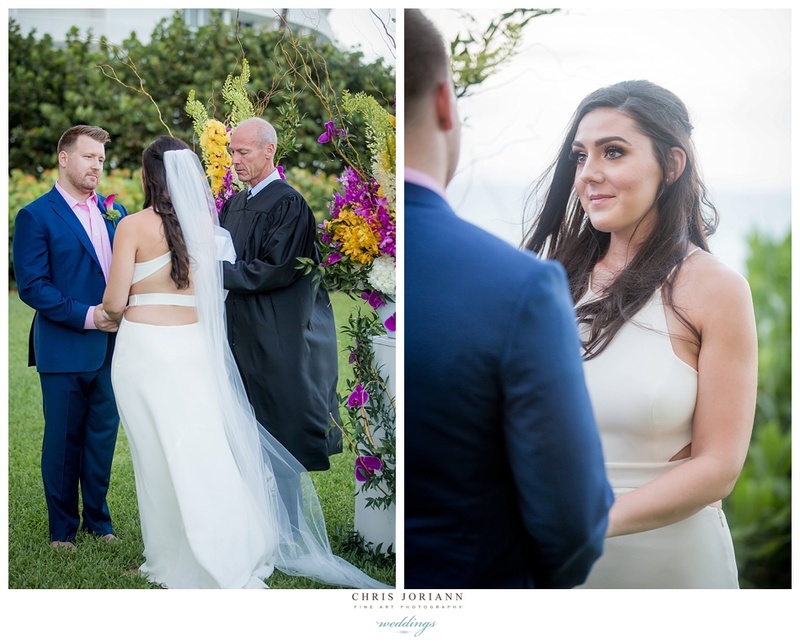 The bride rocked a stunning Monique Lhullier gown, and she and the groom readied at The Four Seasons, Palm Beach earlier in the day where they shared a first look at the resort’s beautiful gardens, along with their new blended family. 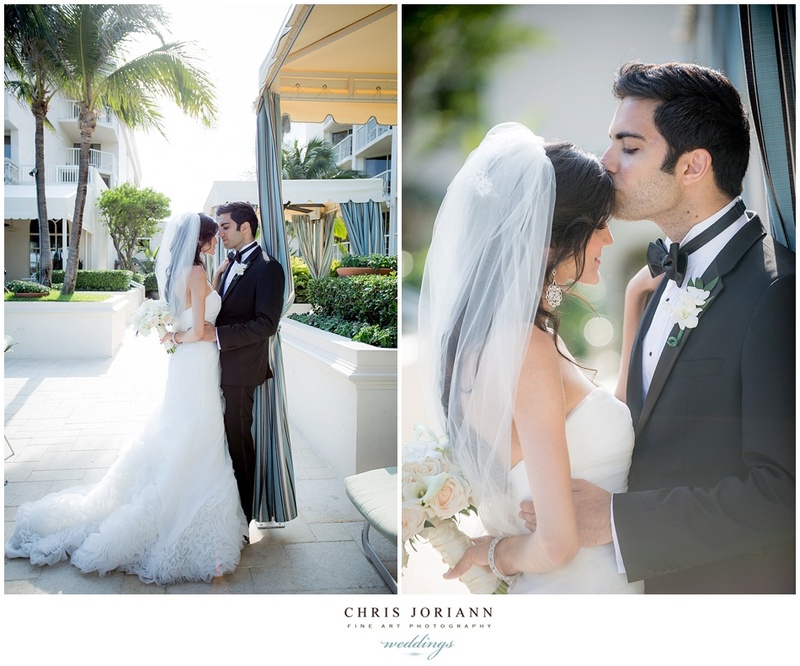 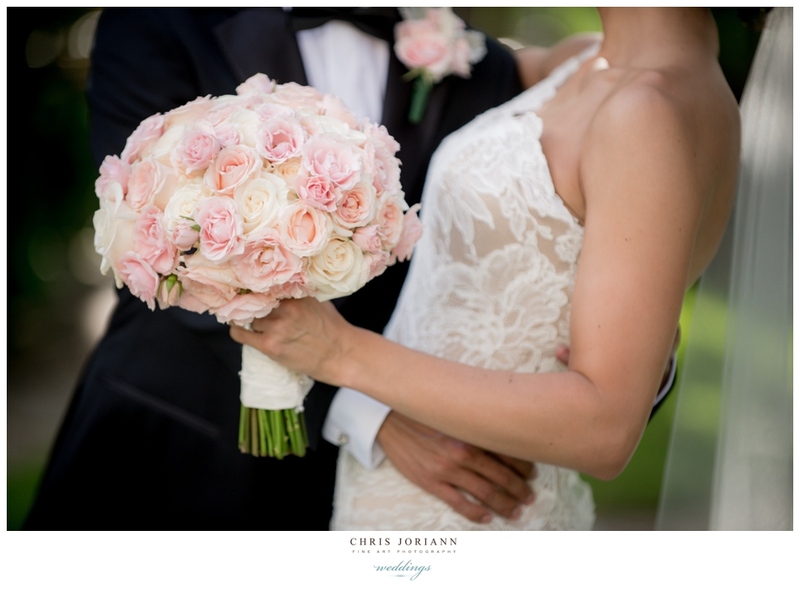 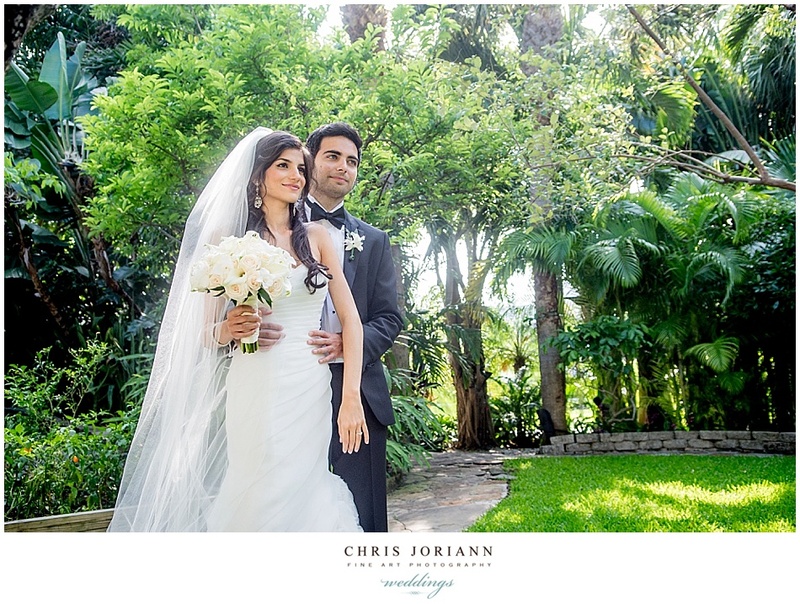 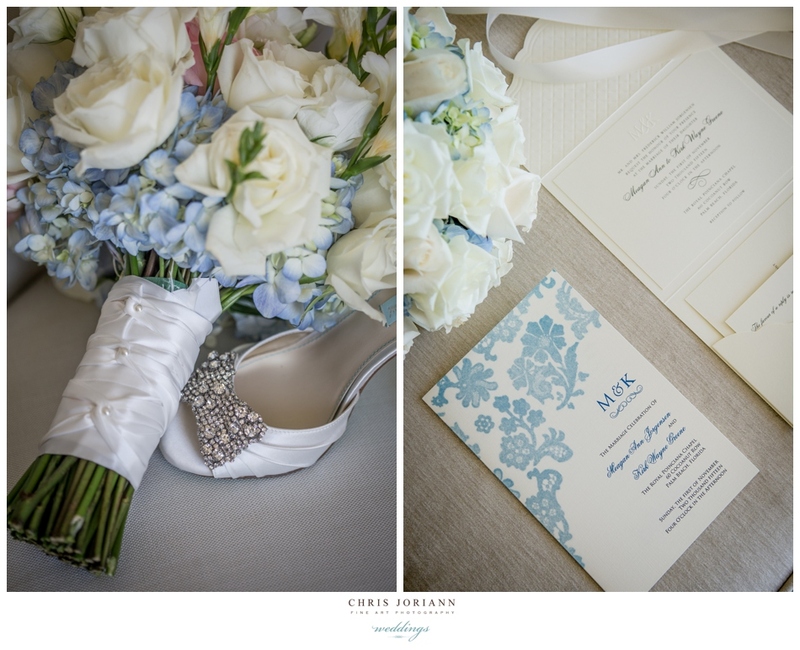 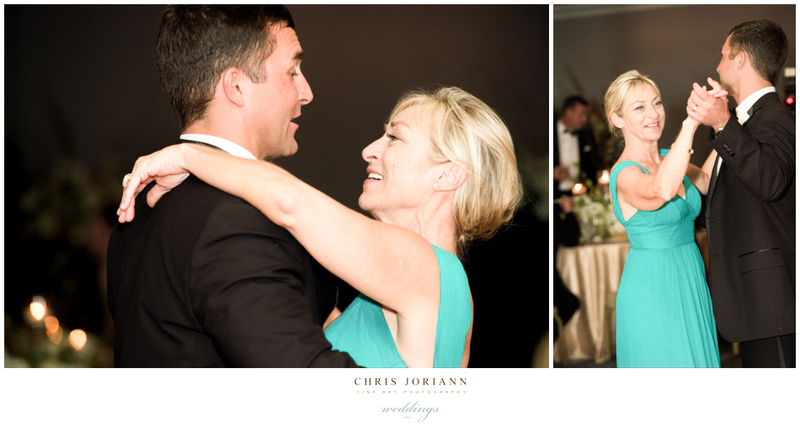 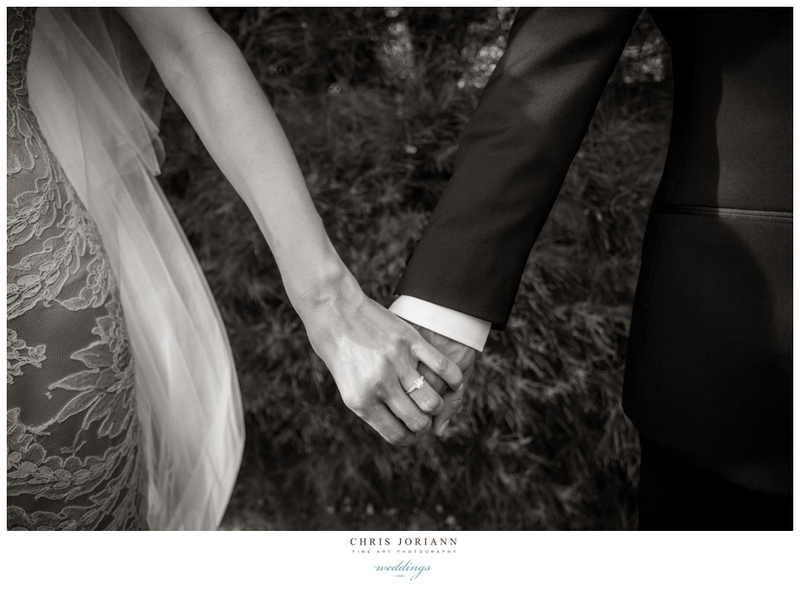 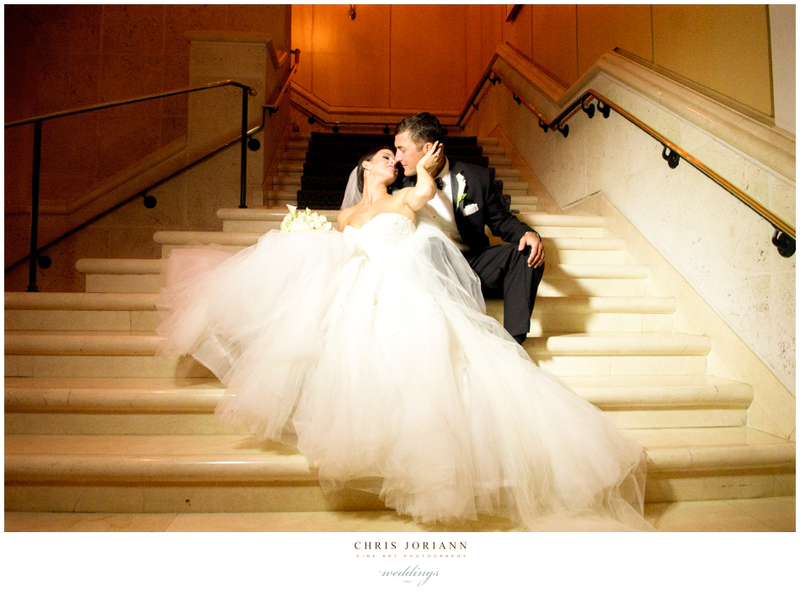 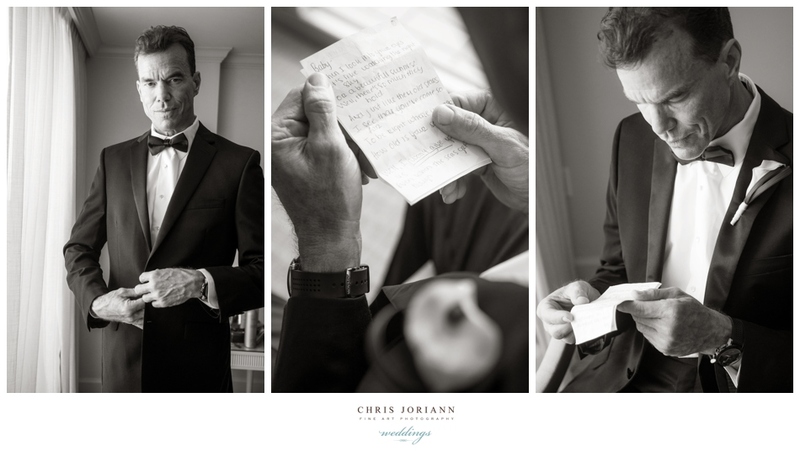 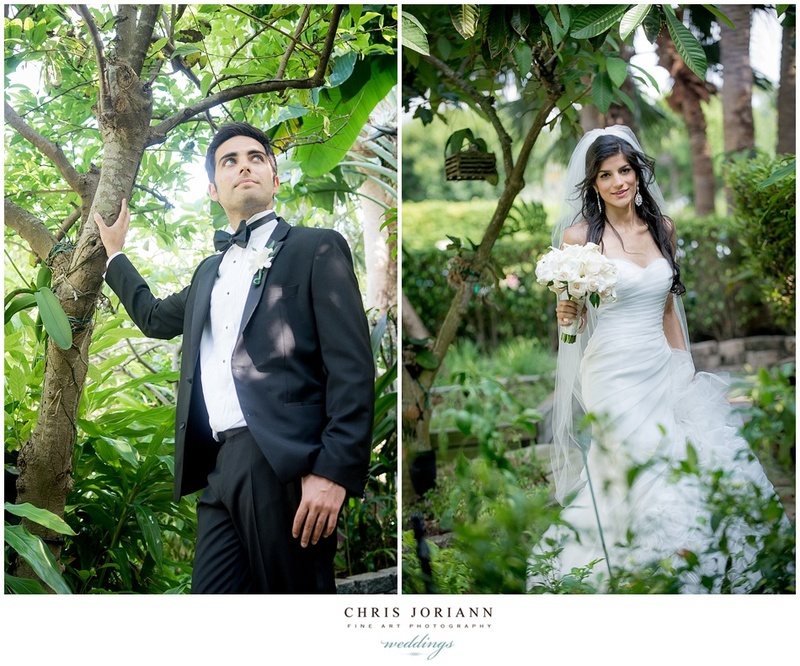 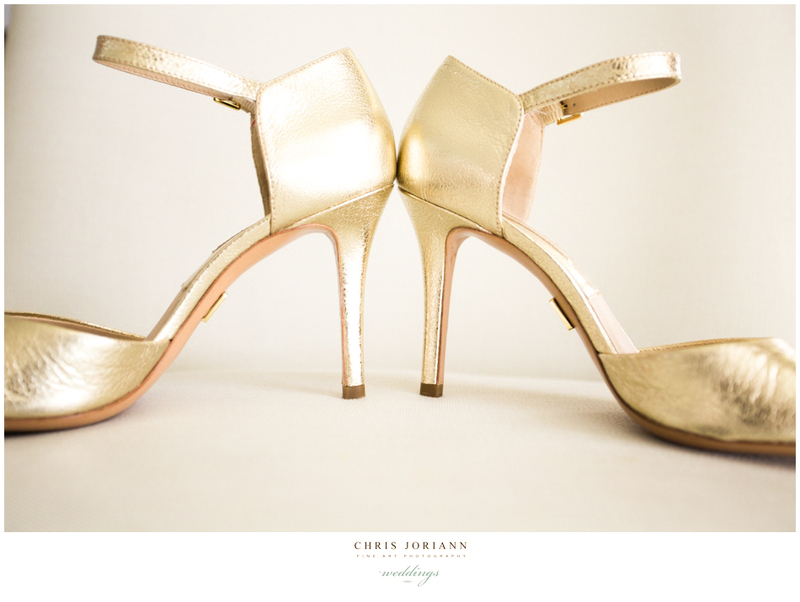 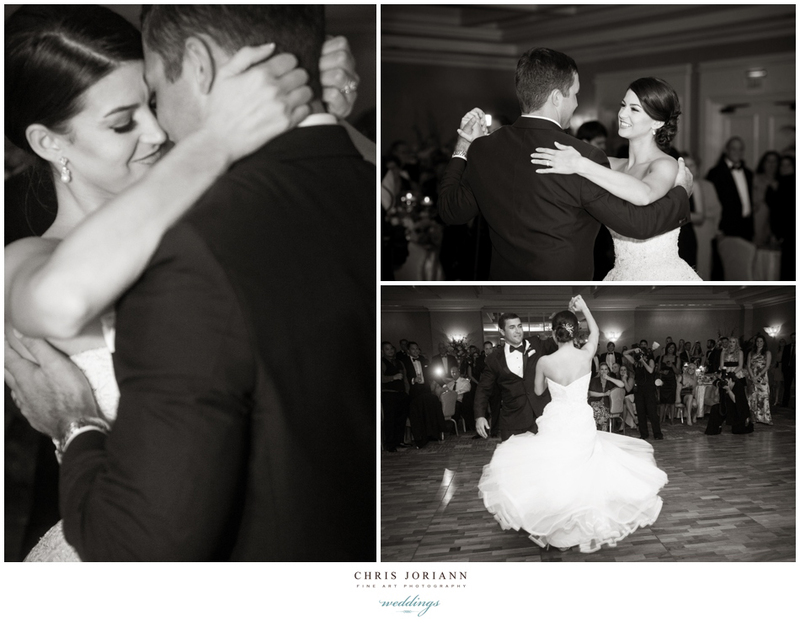 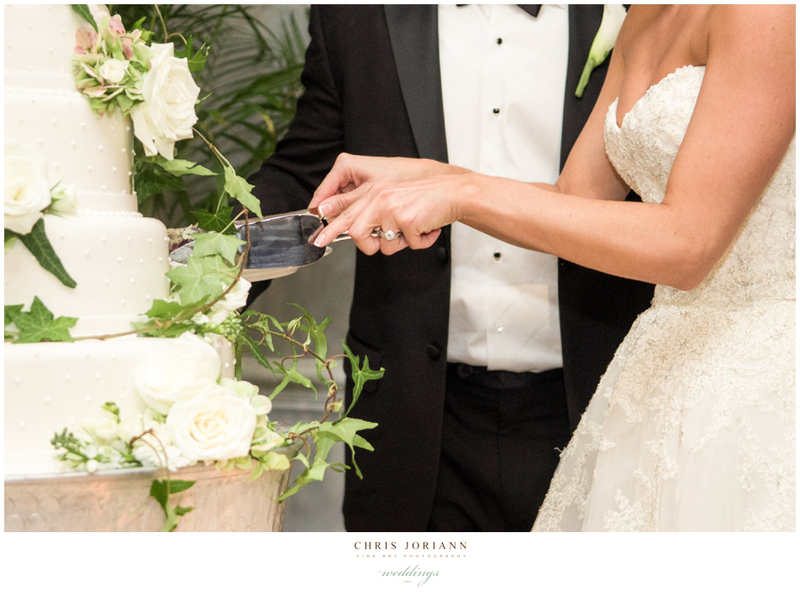 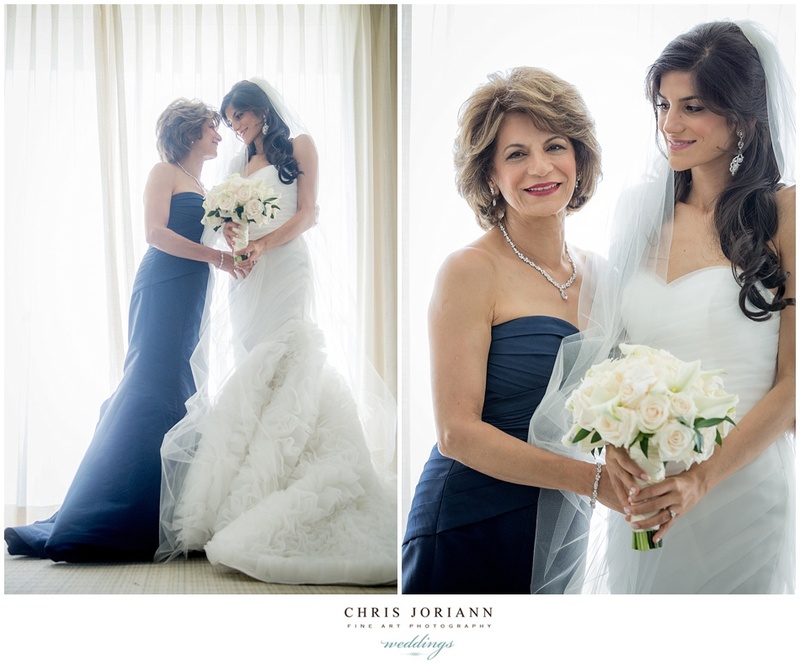 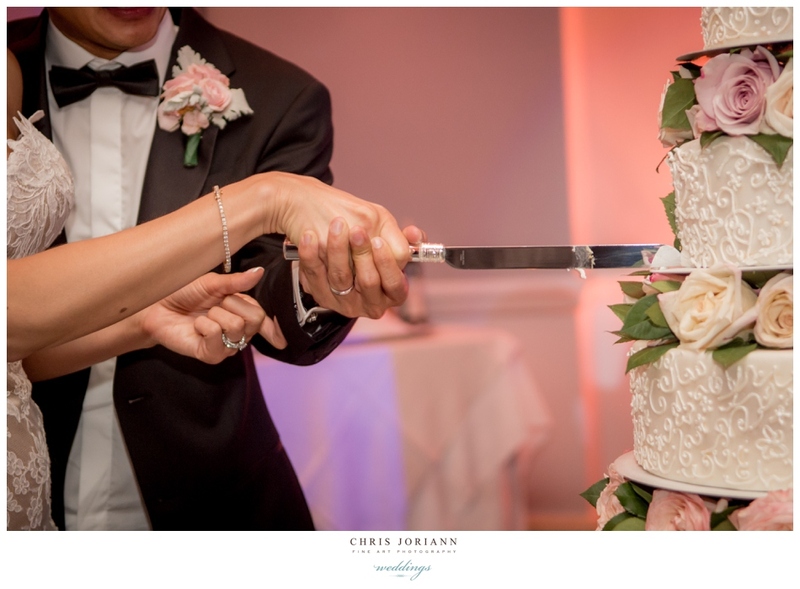 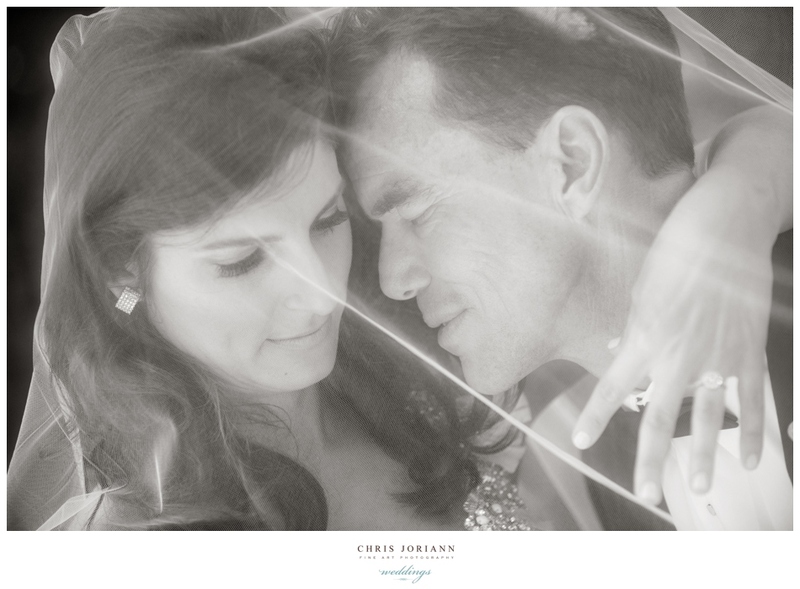 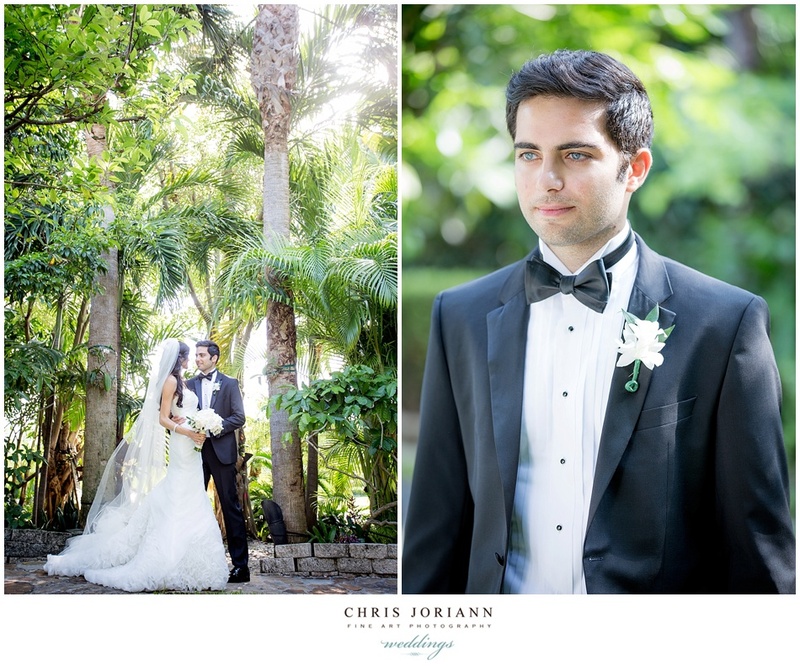 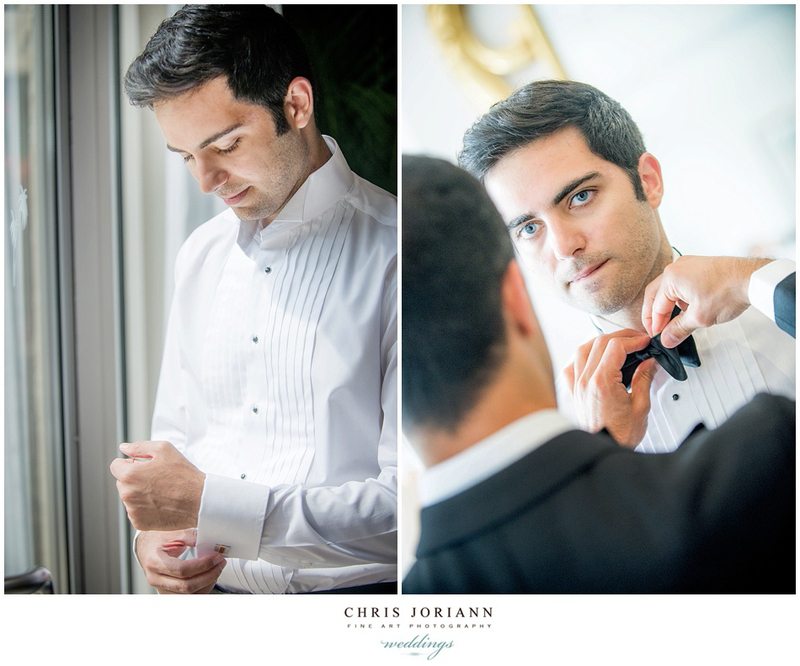 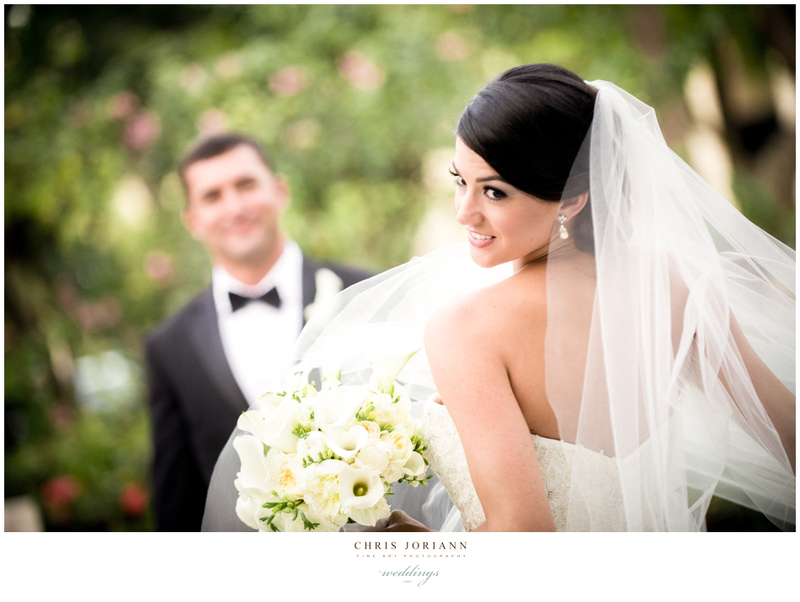 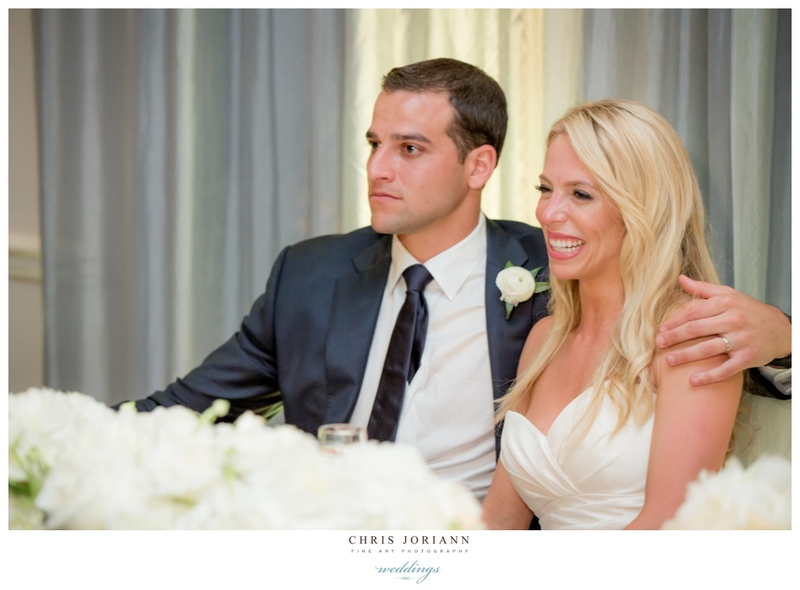 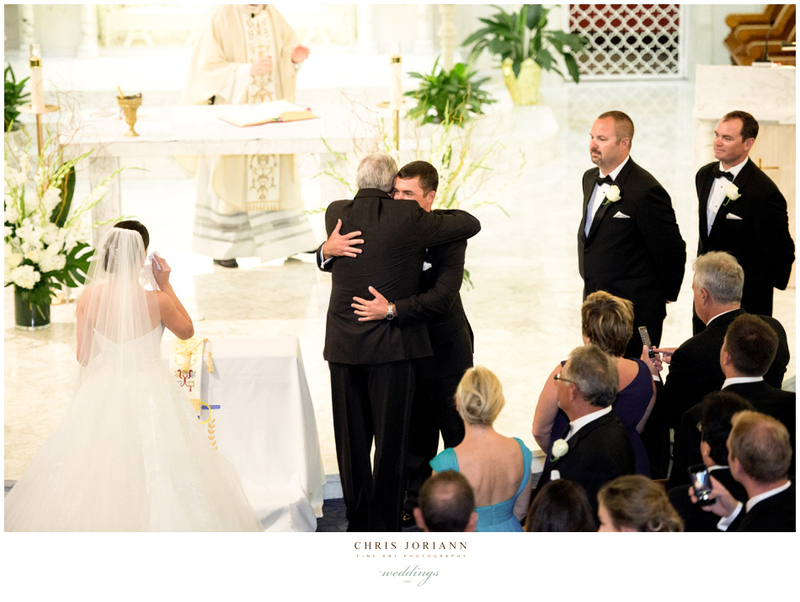 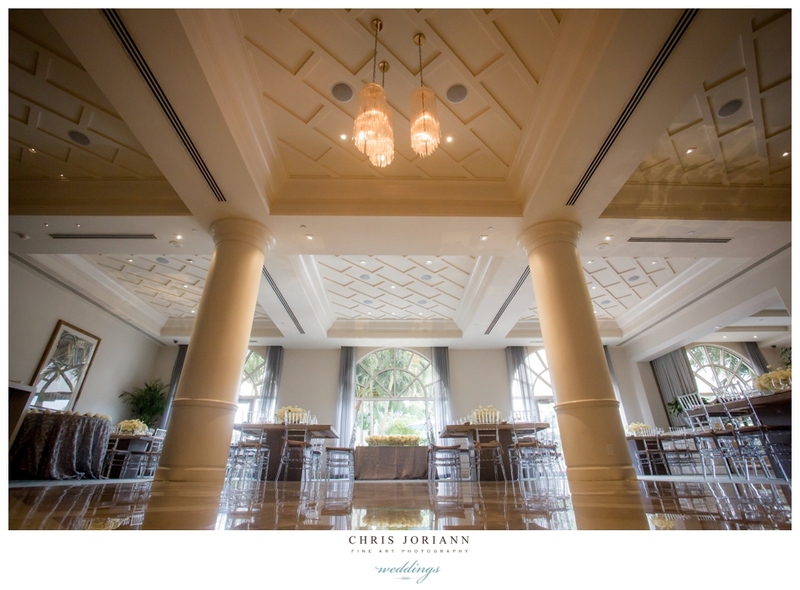 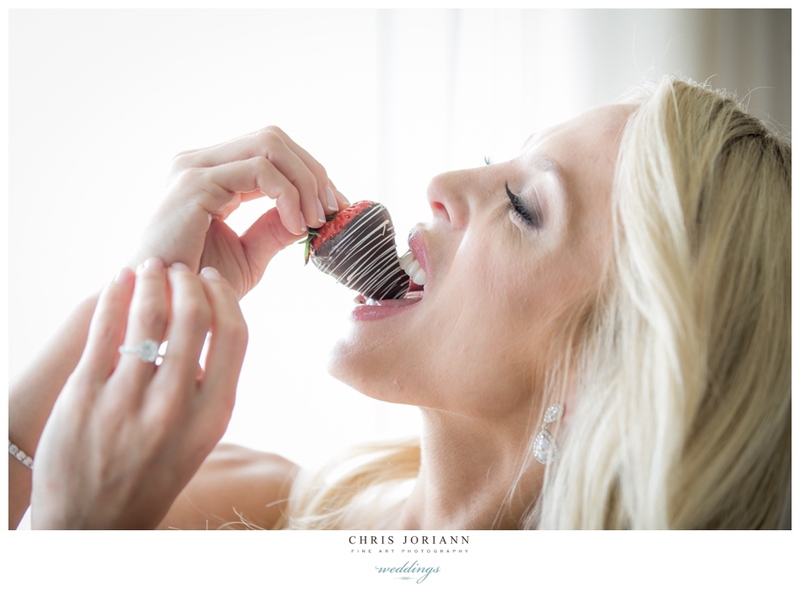 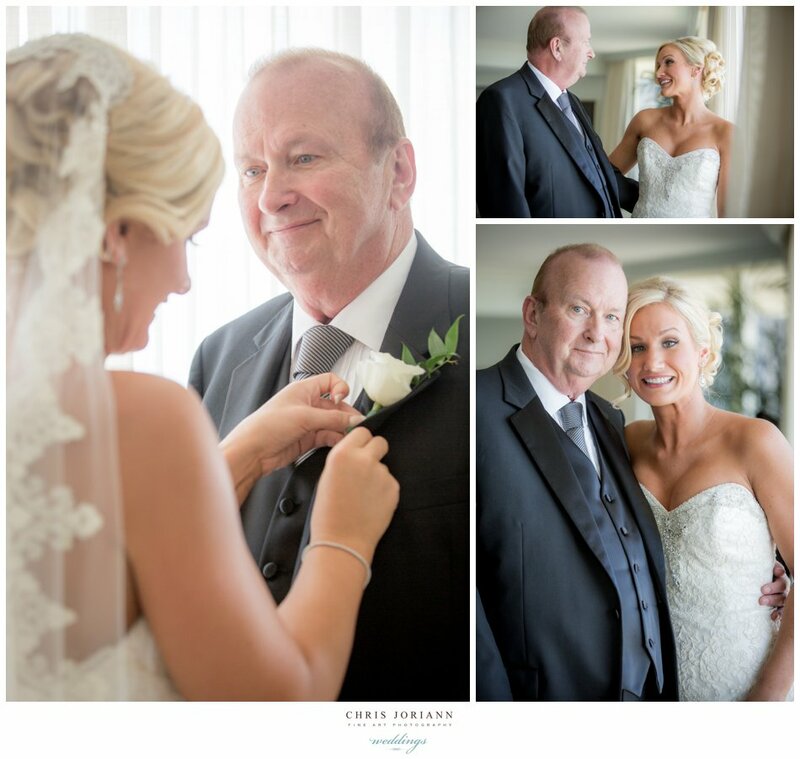 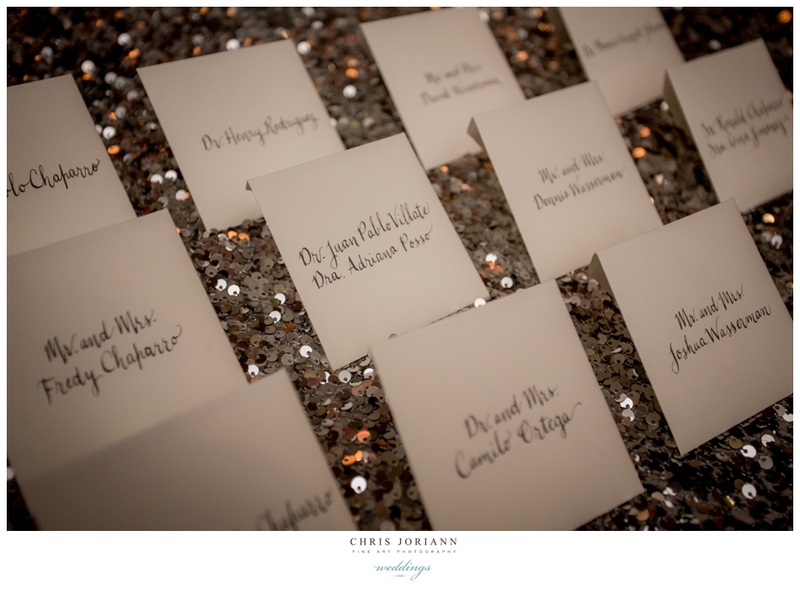 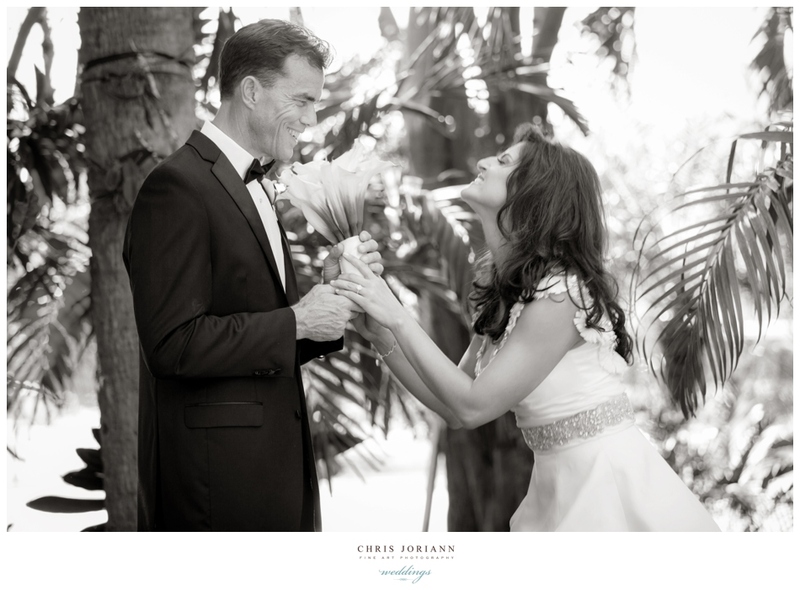 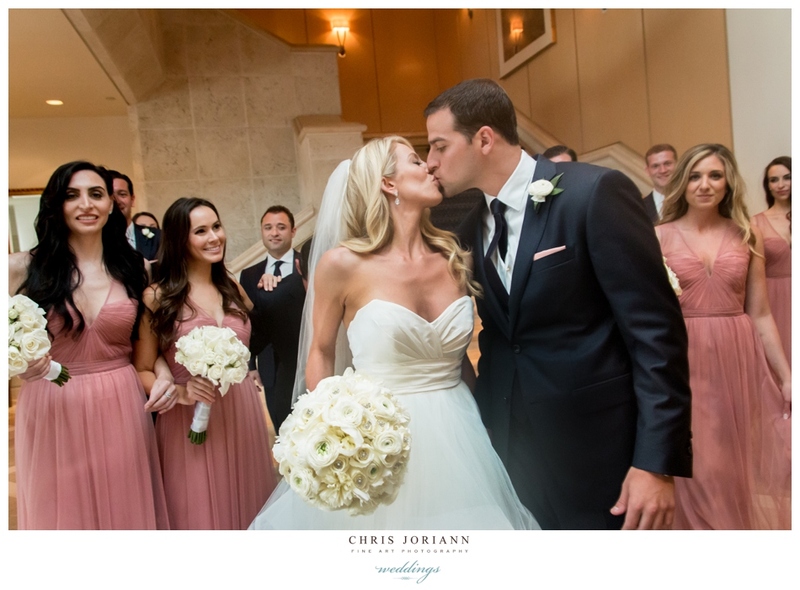 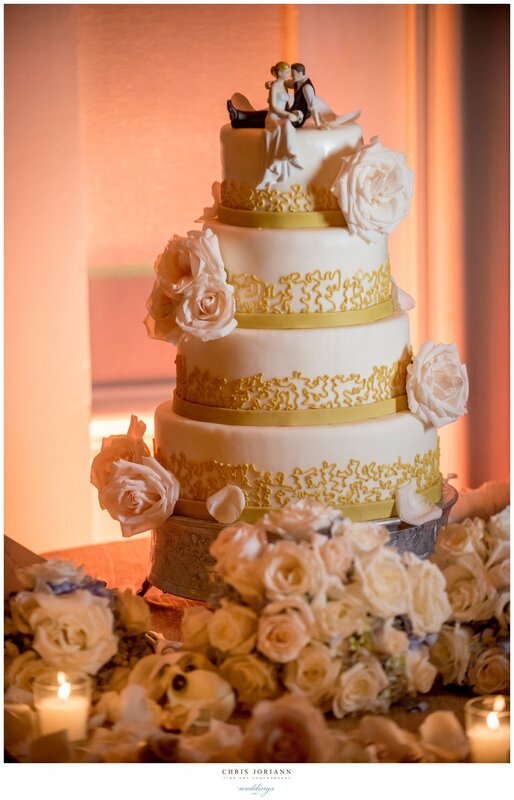 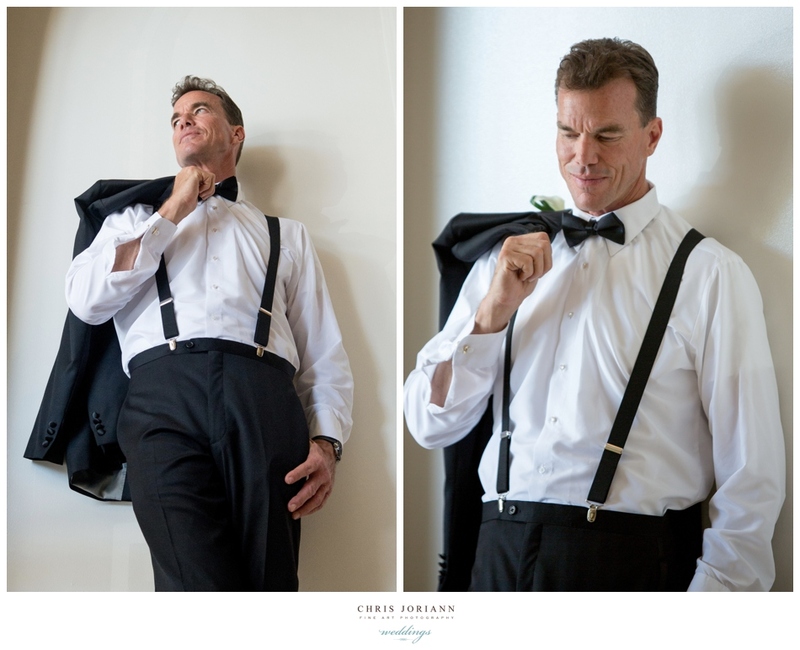 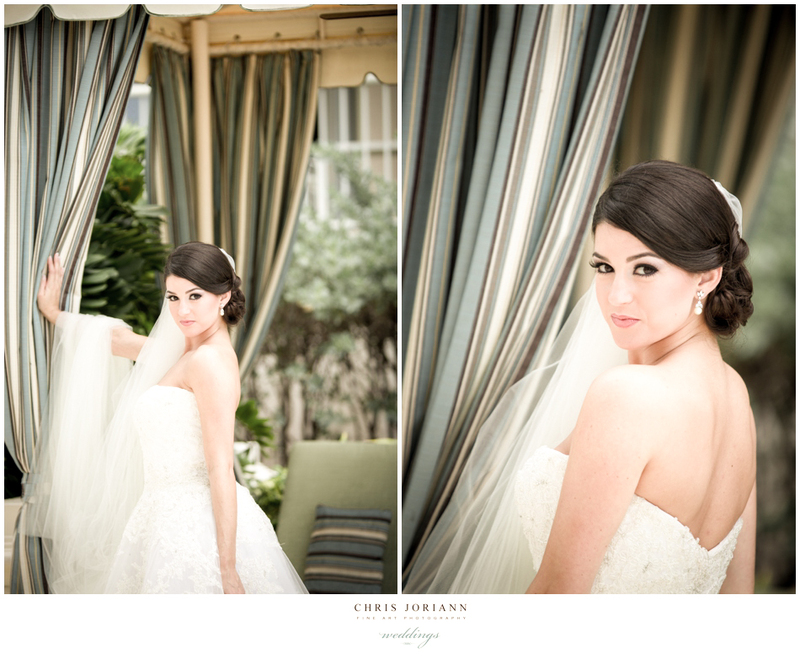 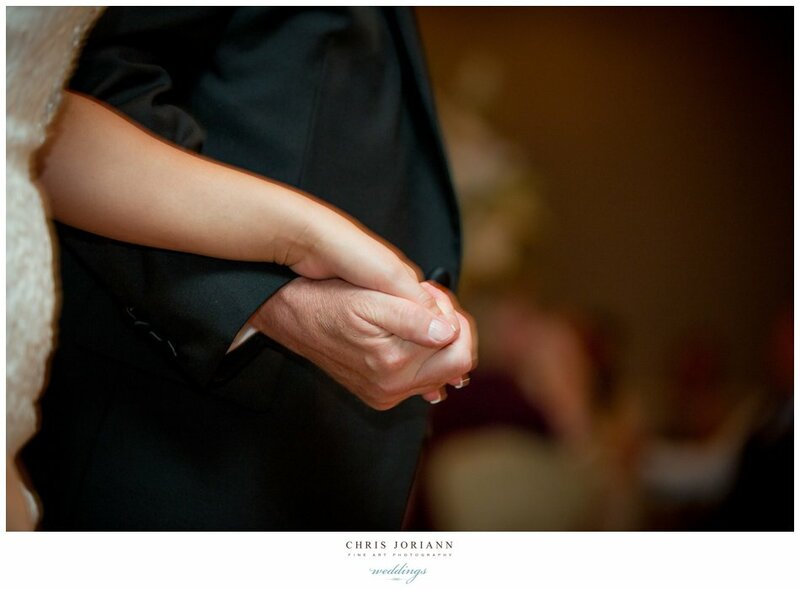 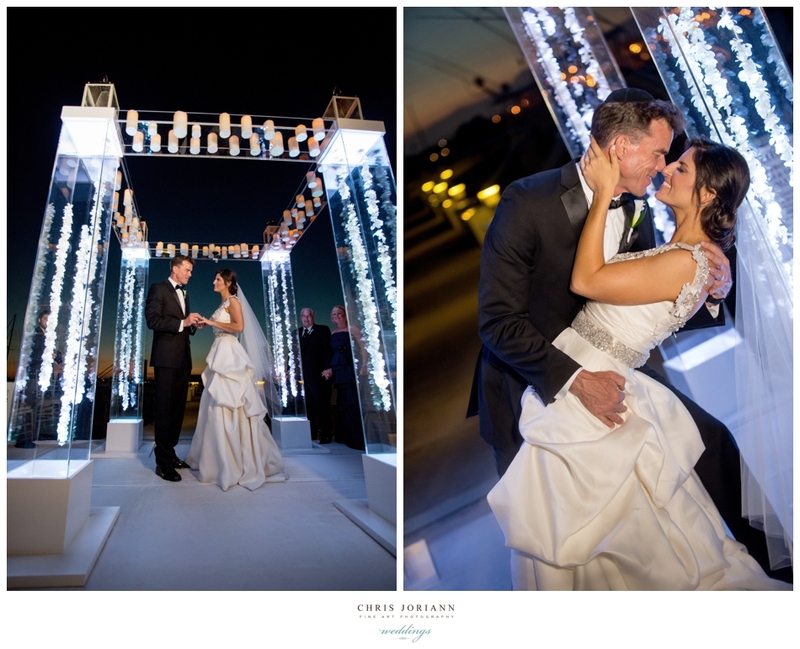 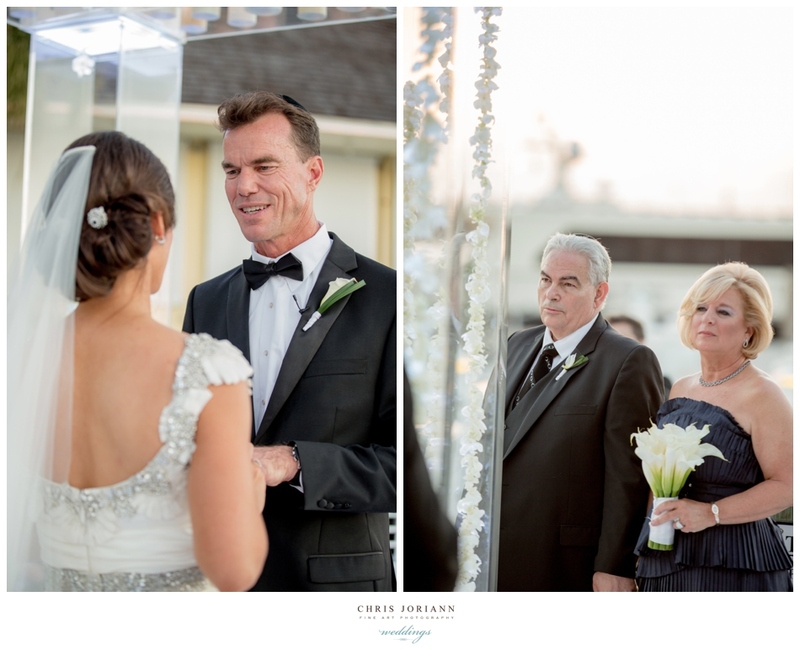 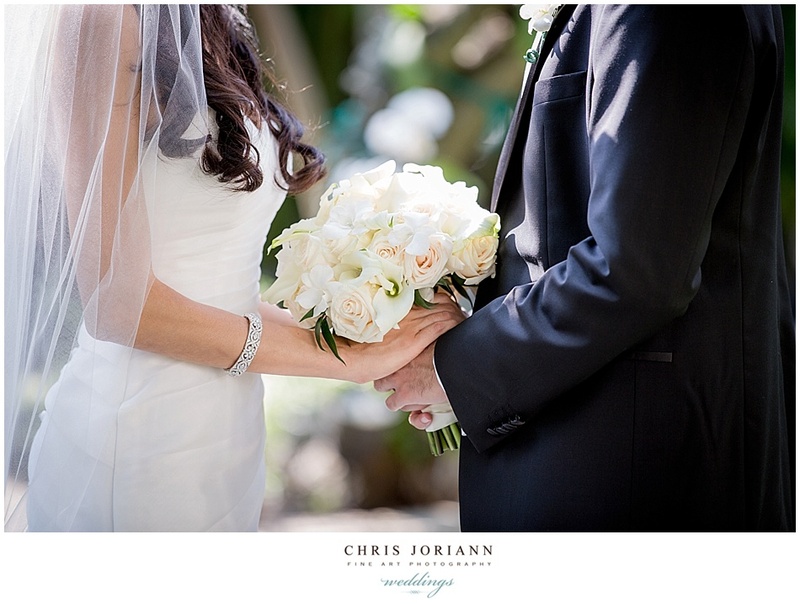 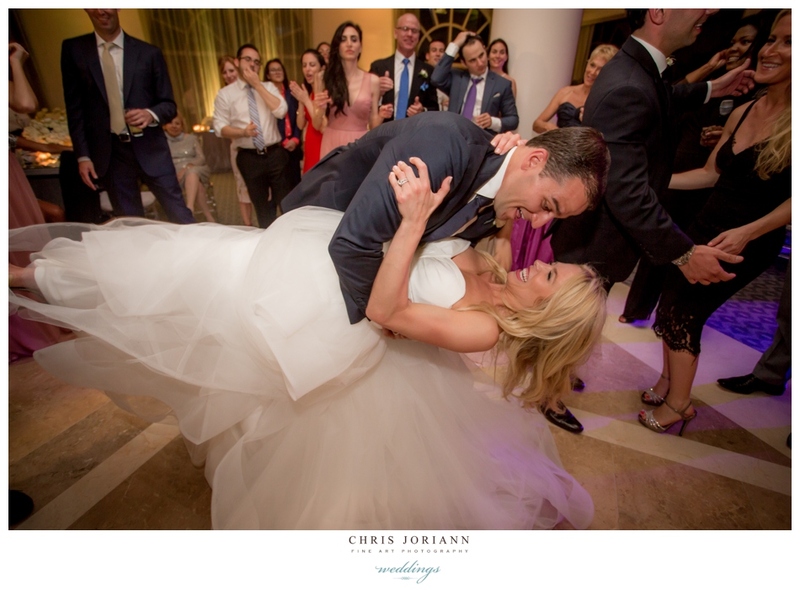 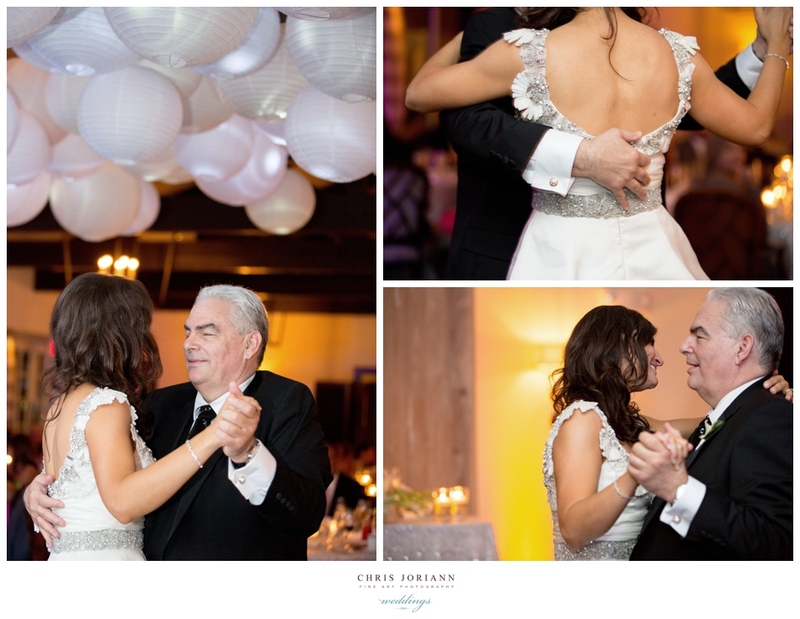 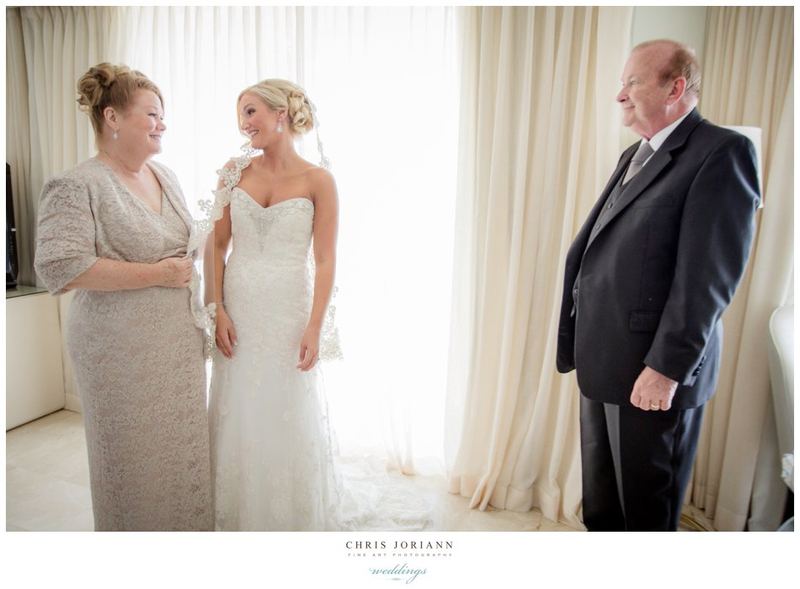 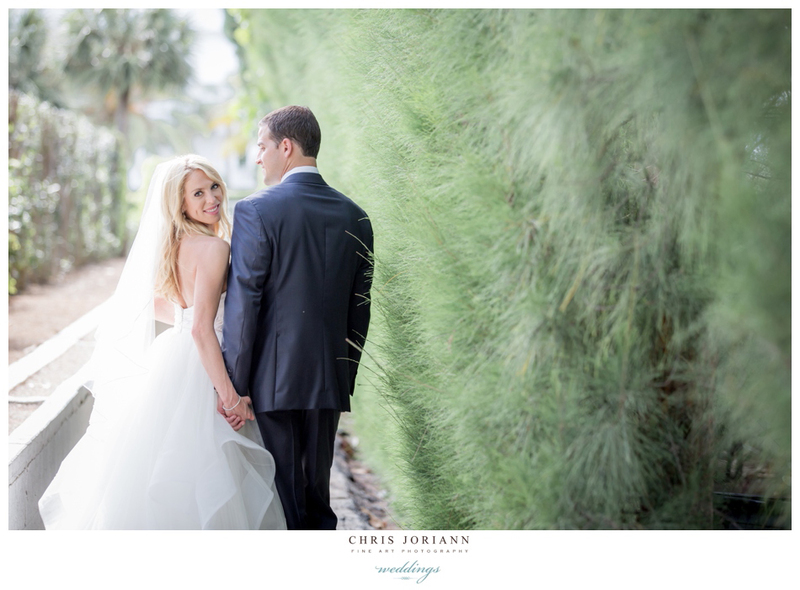 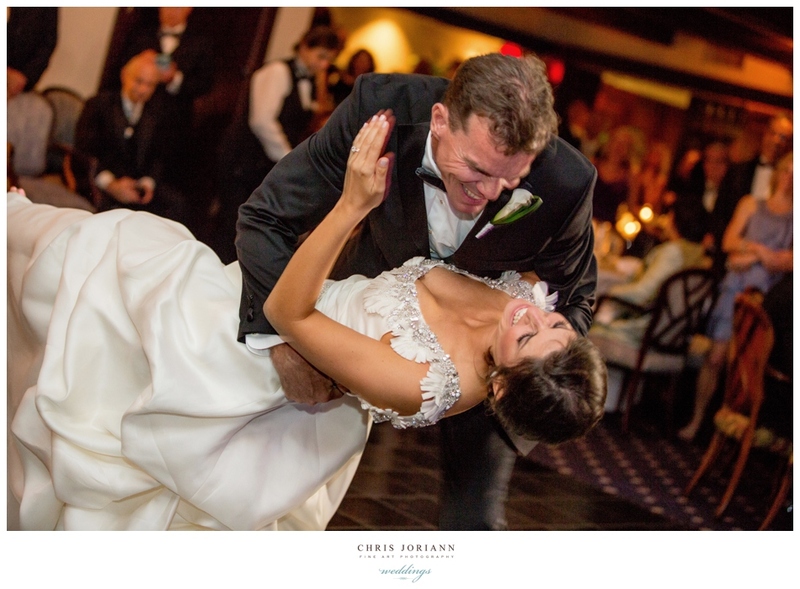 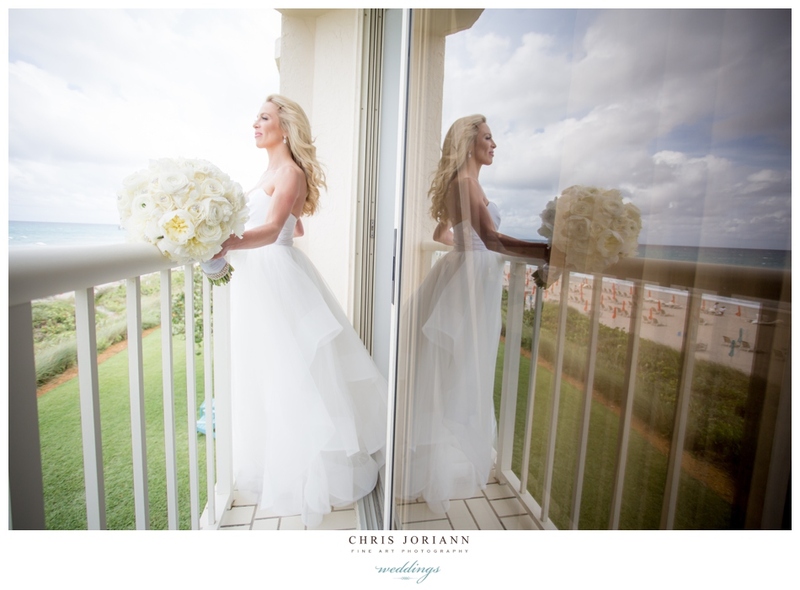 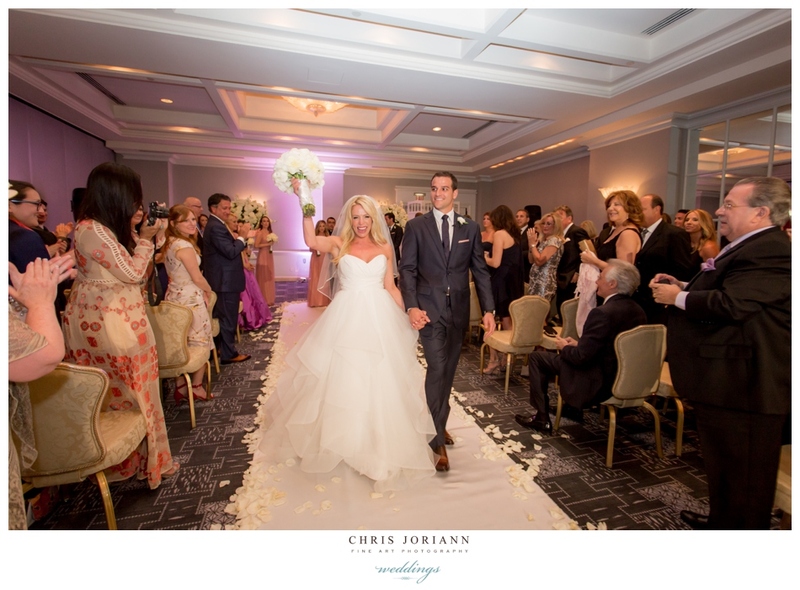 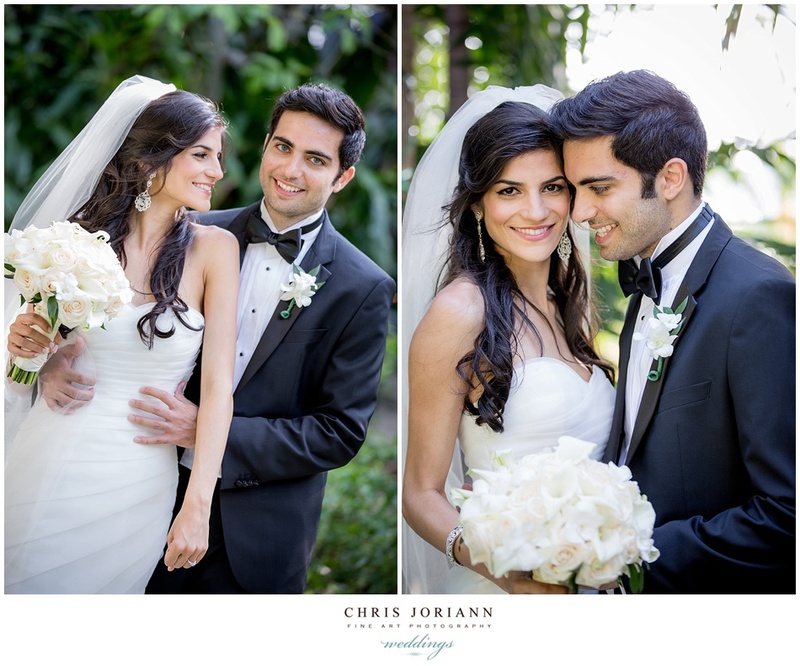 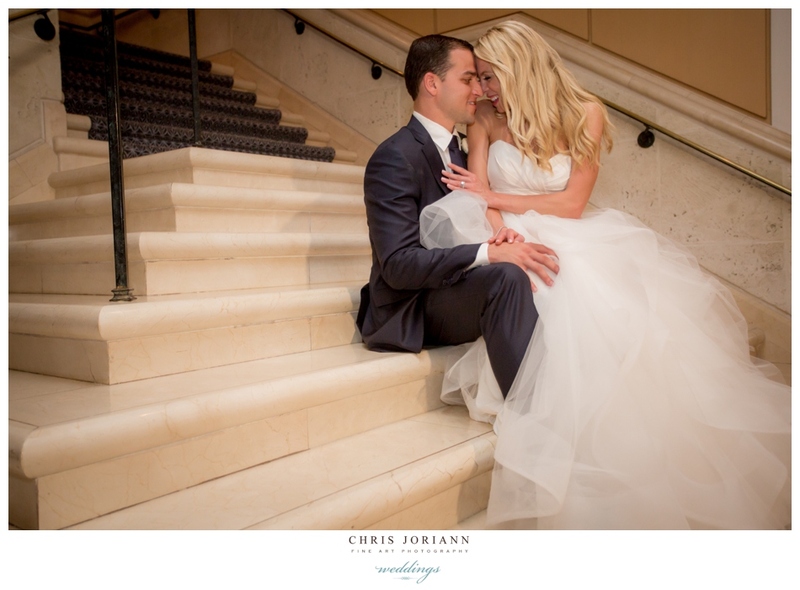 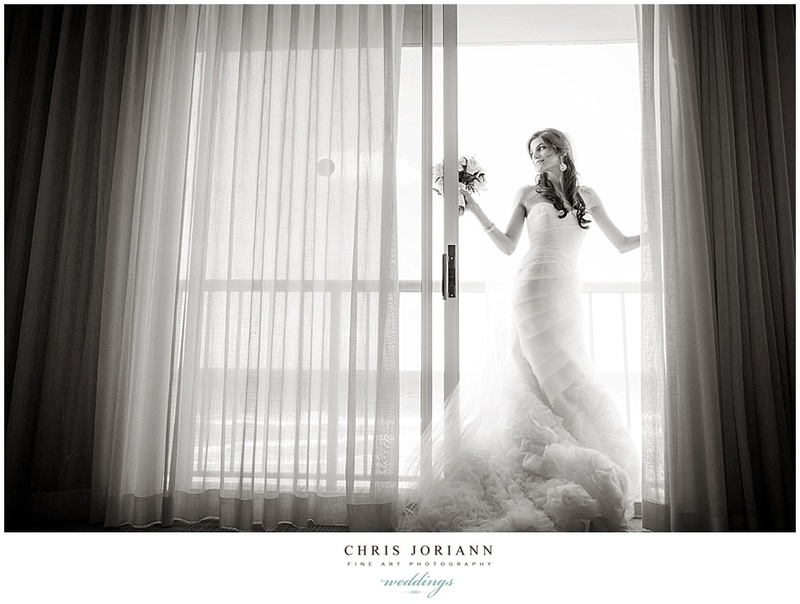 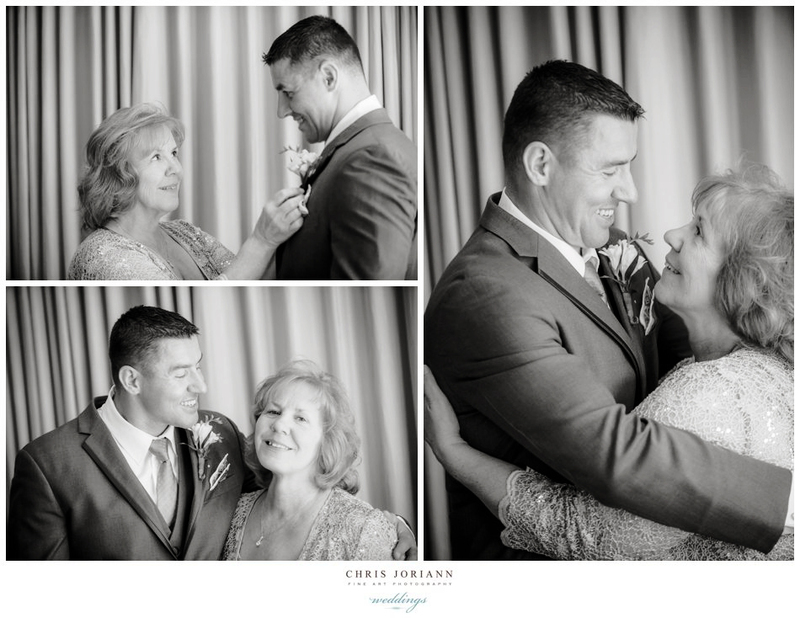 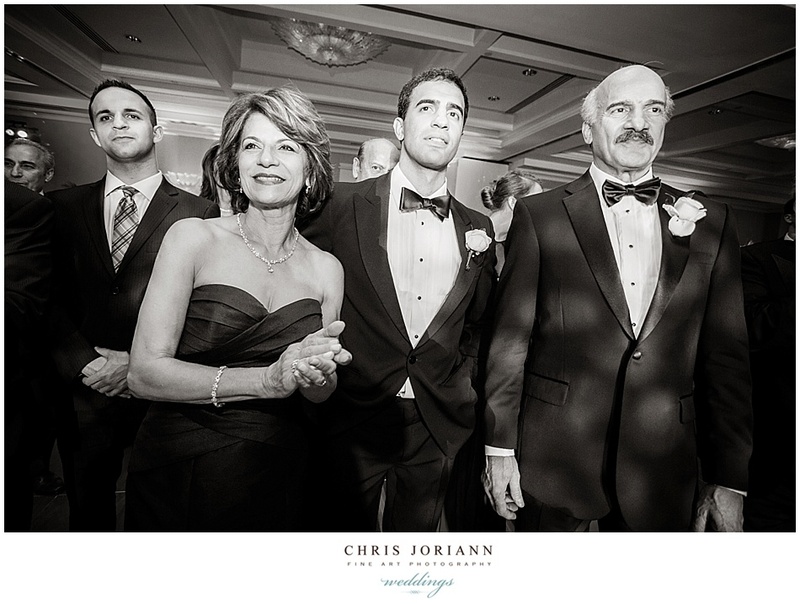 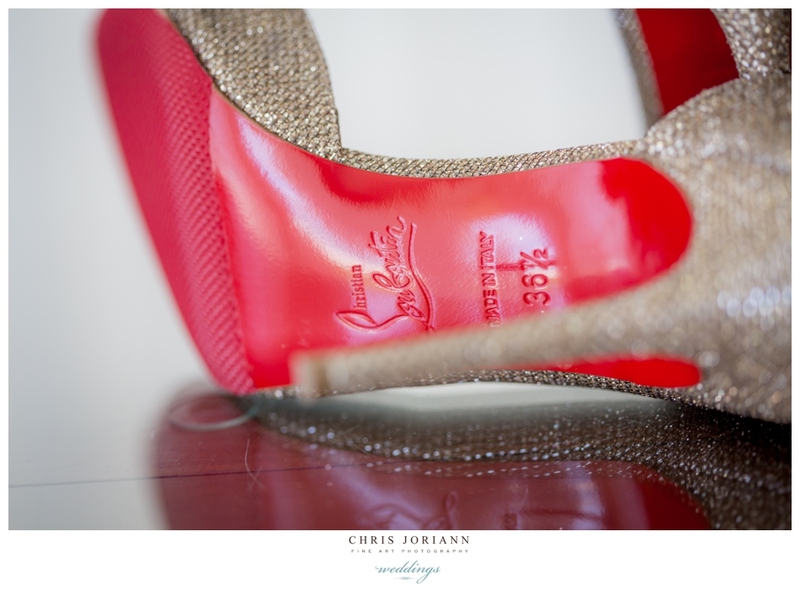 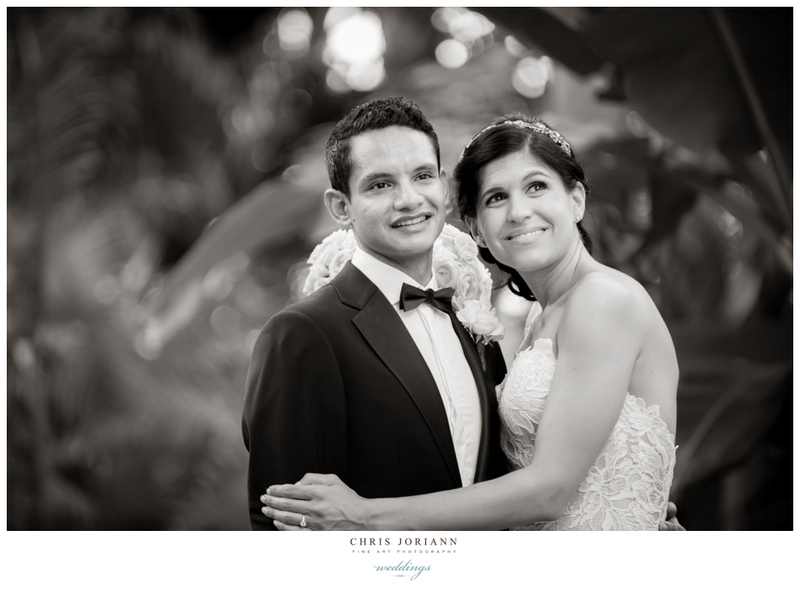 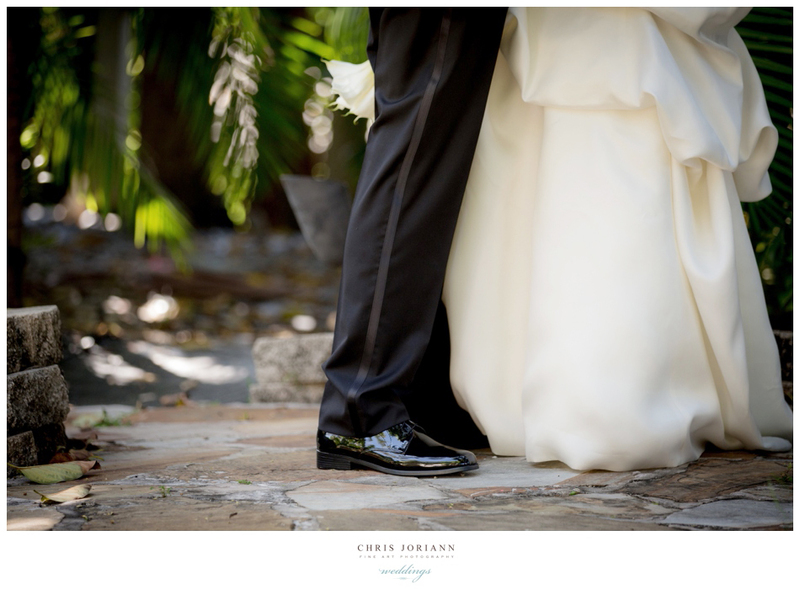 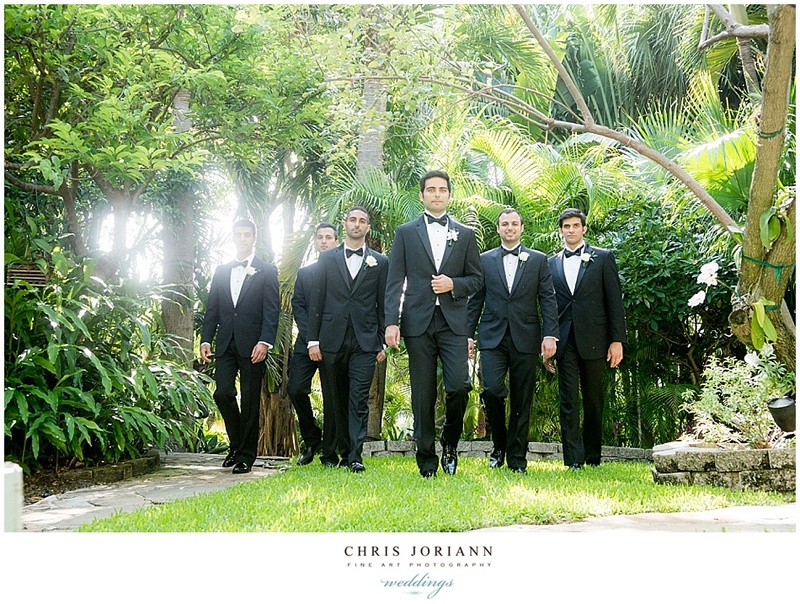 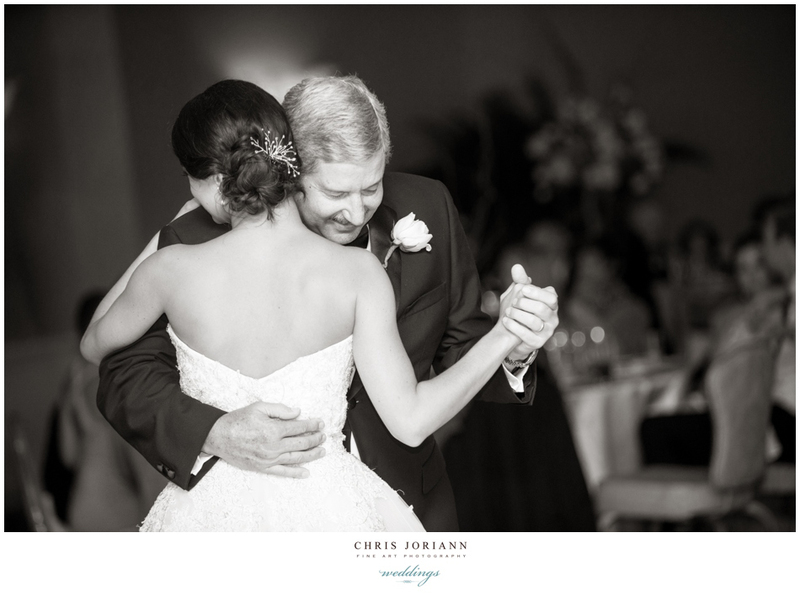 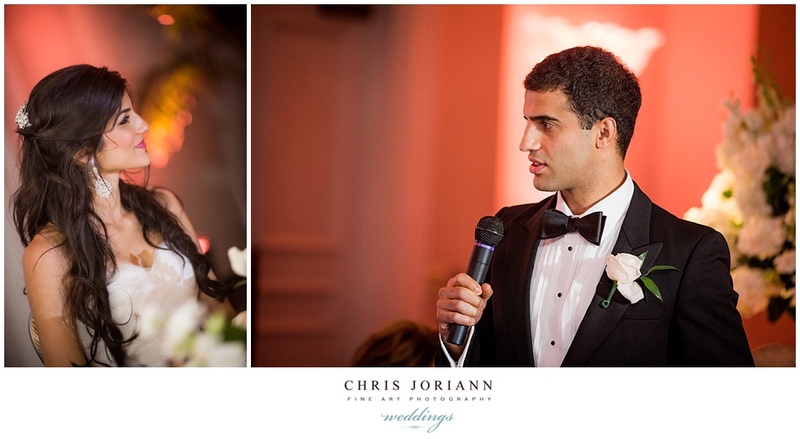 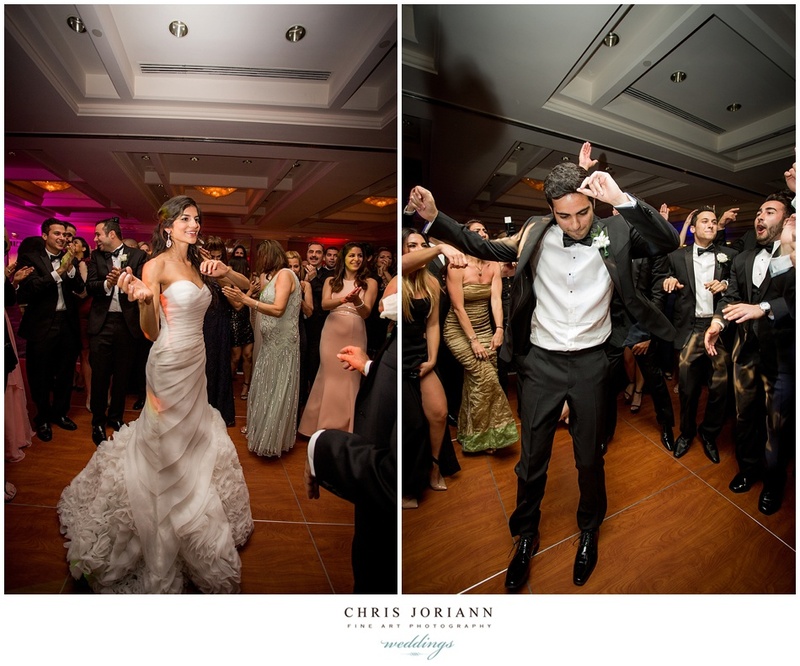 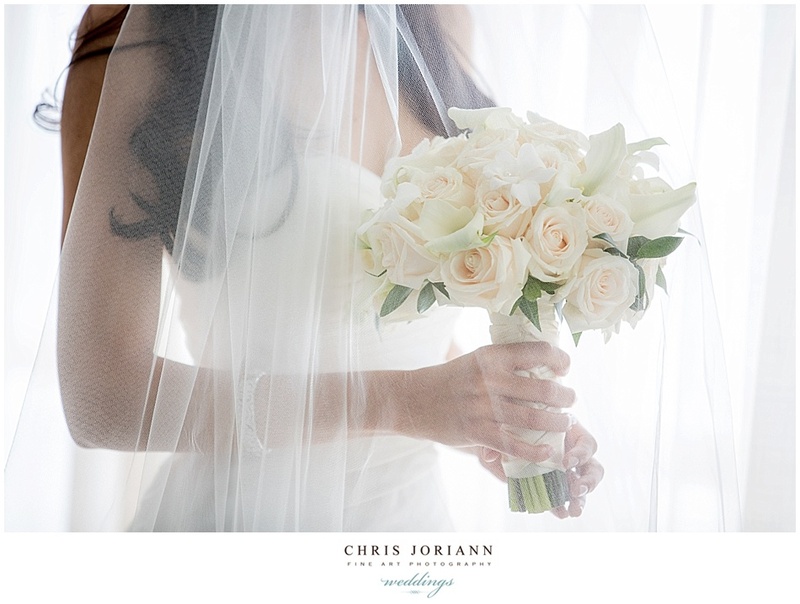 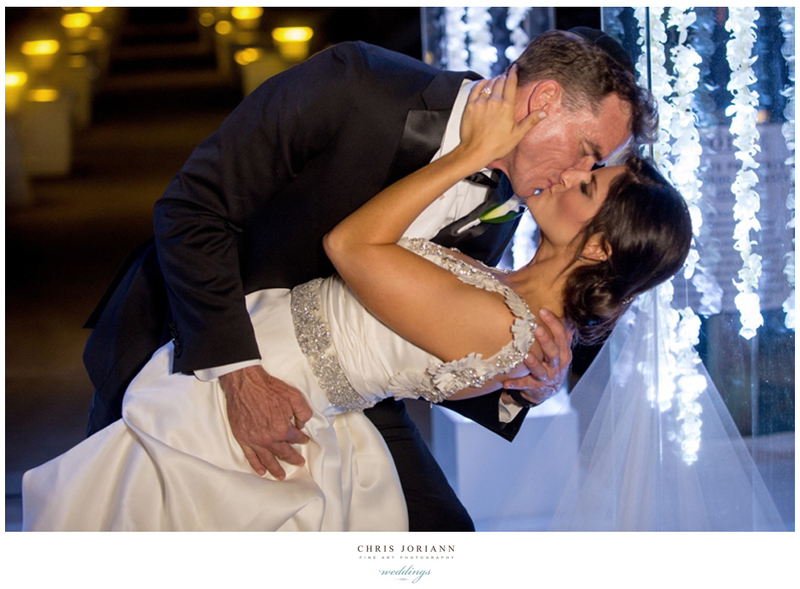 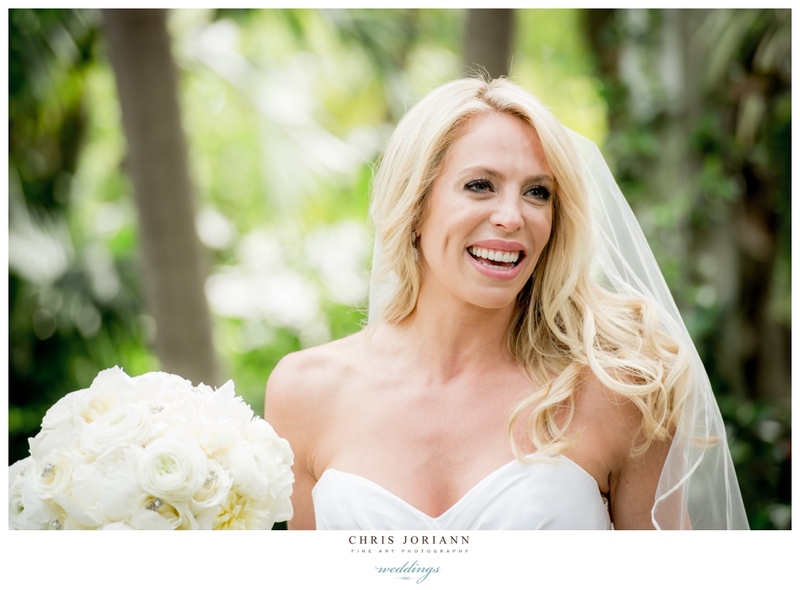 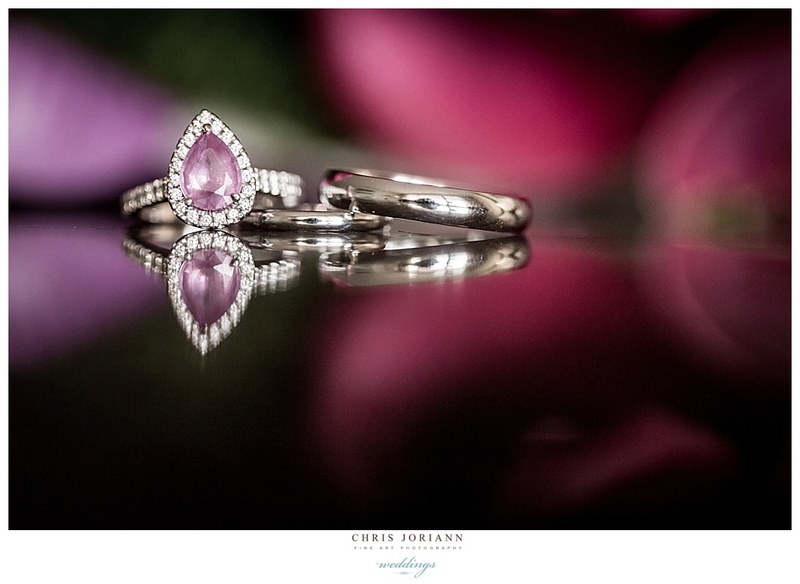 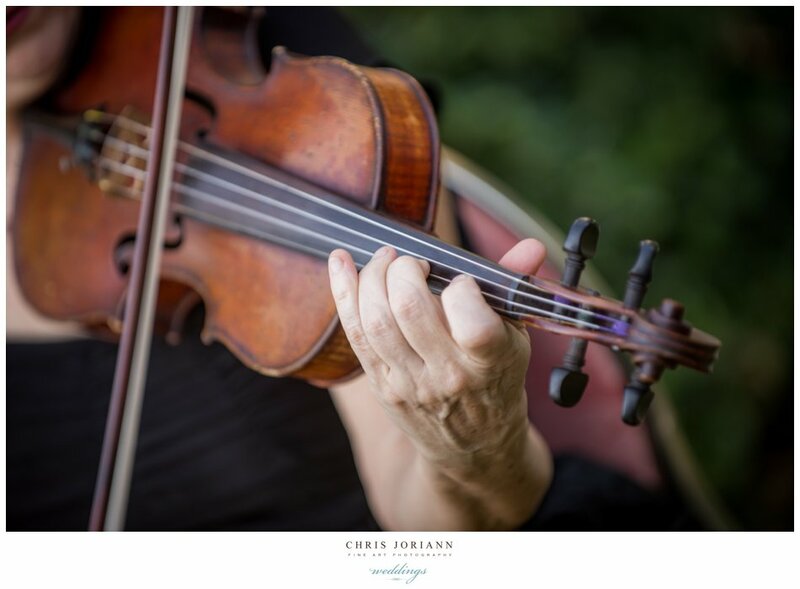 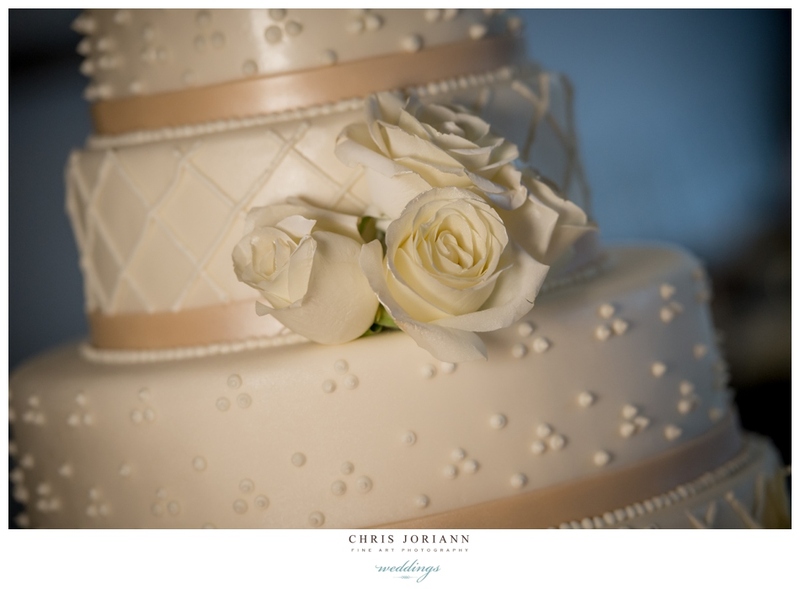 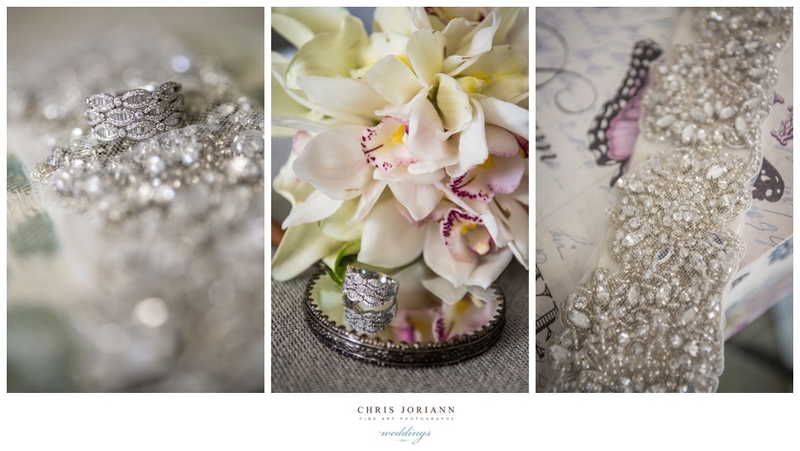 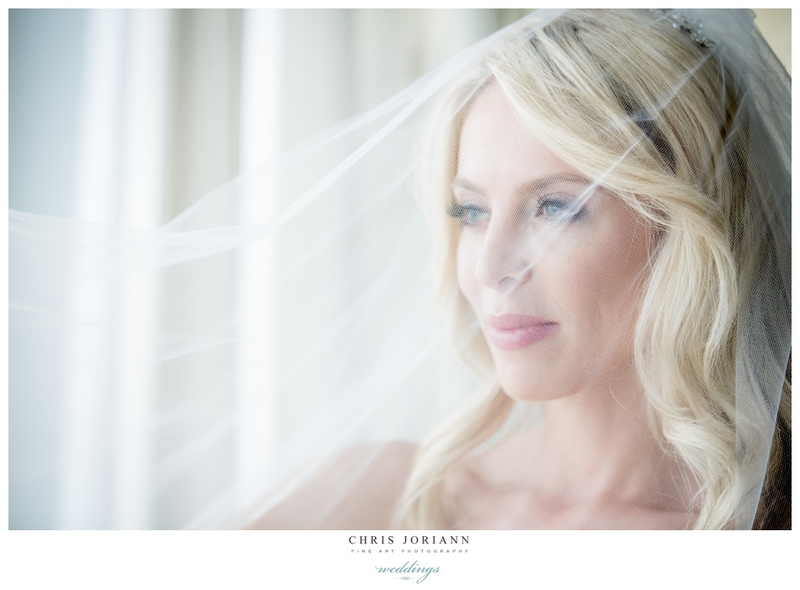 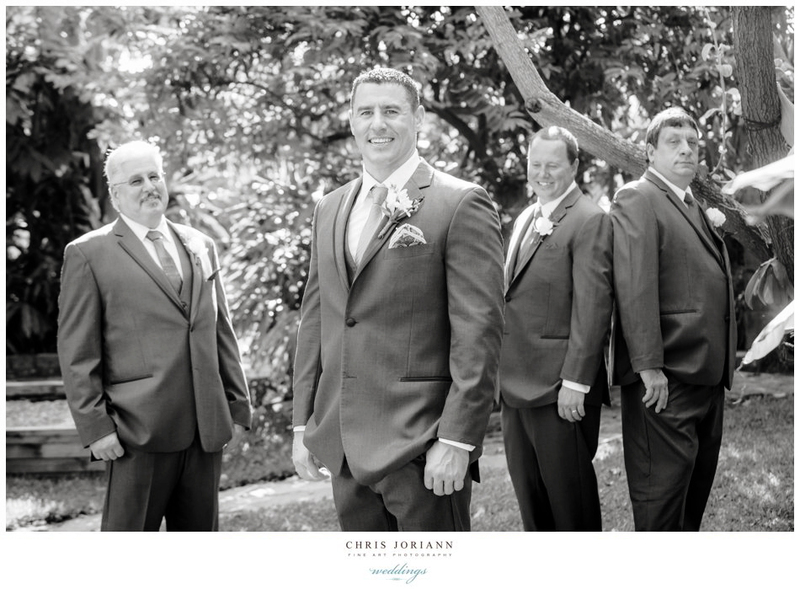 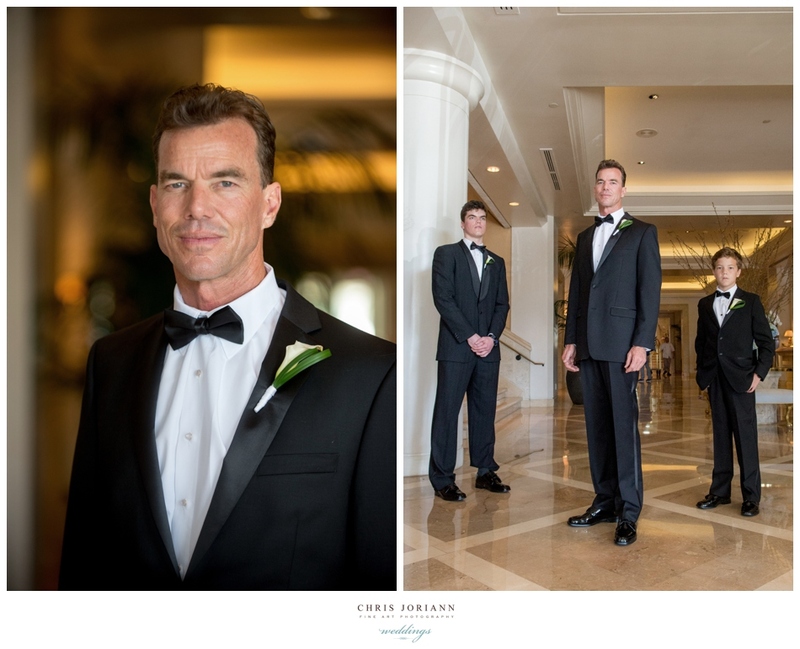 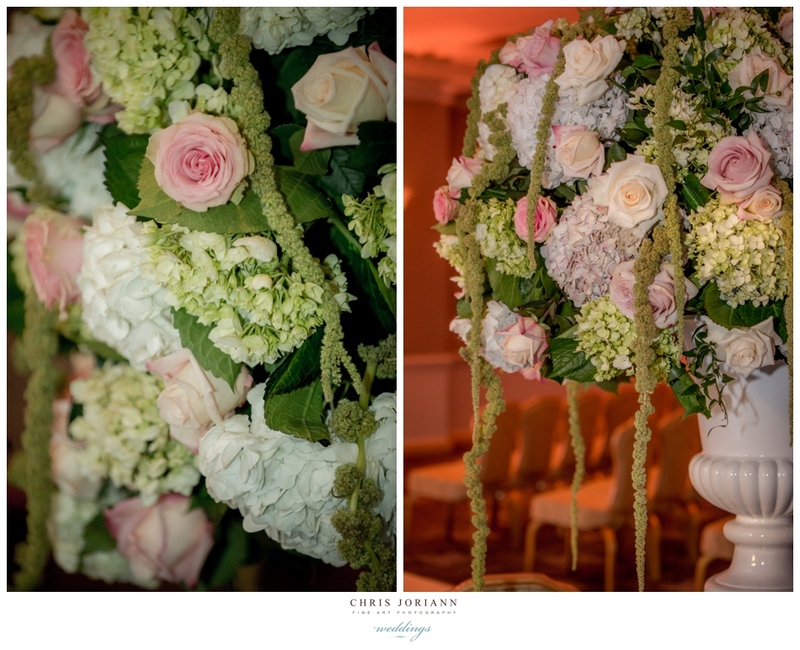 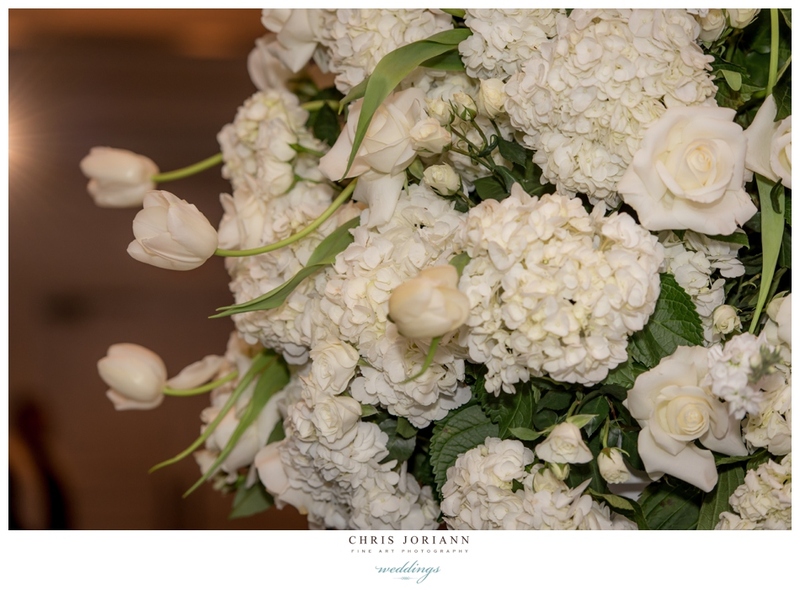 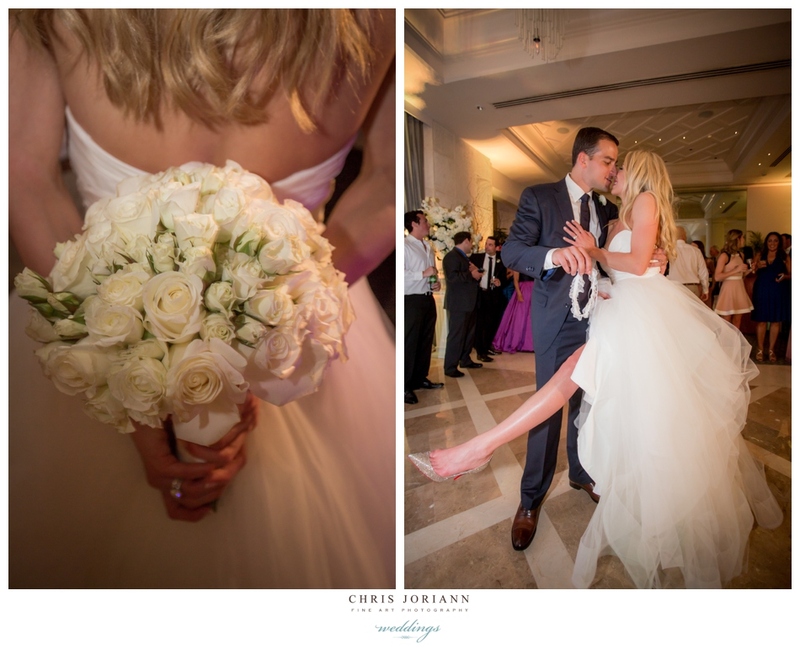 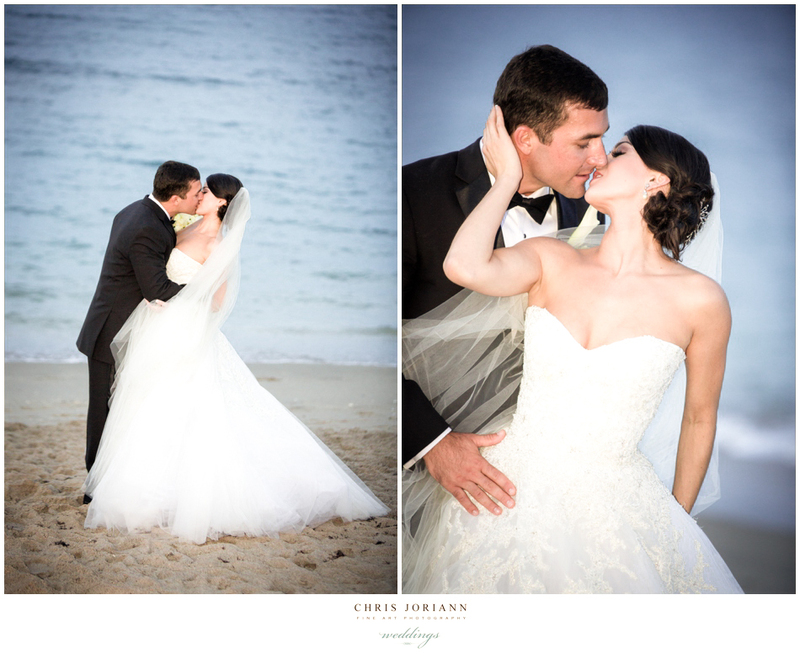 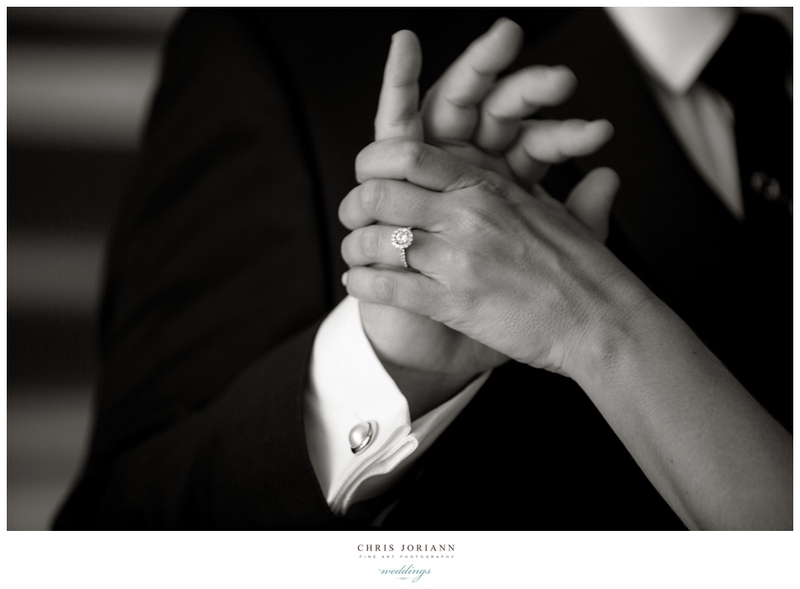 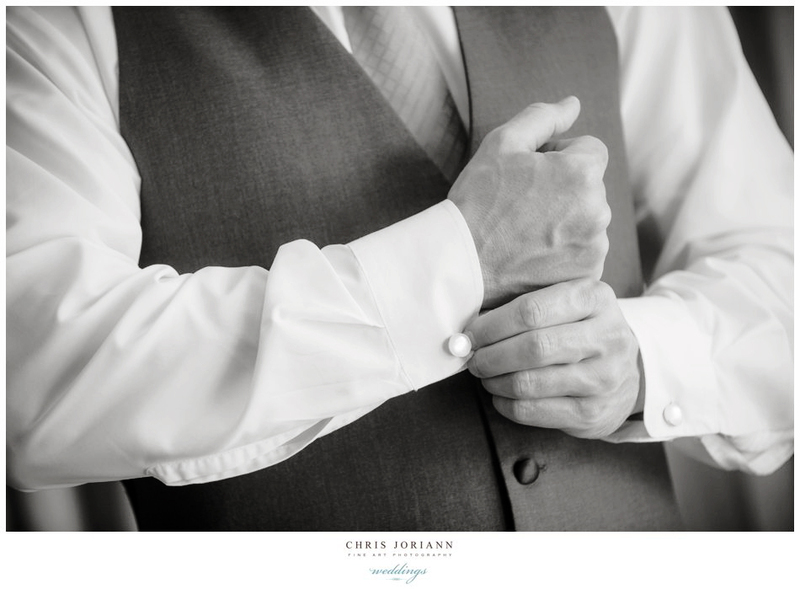 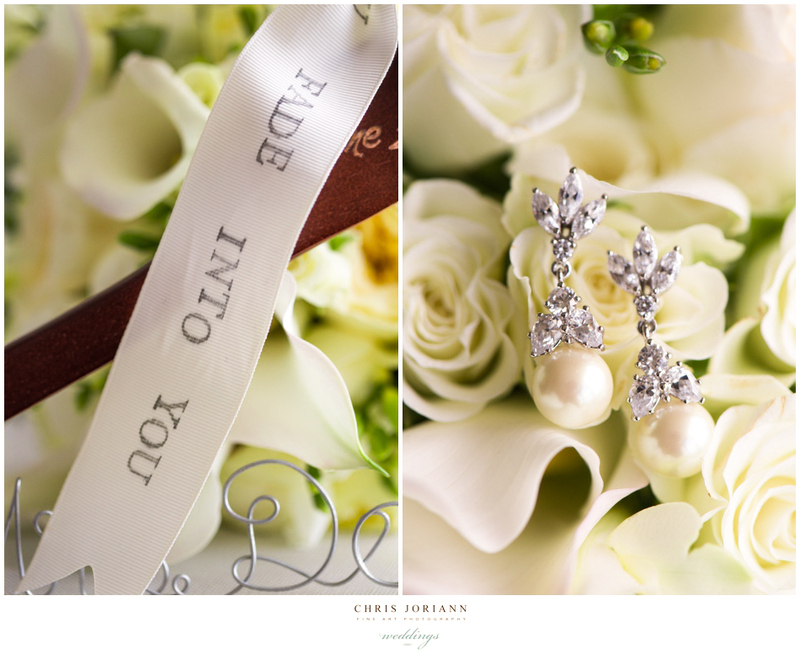 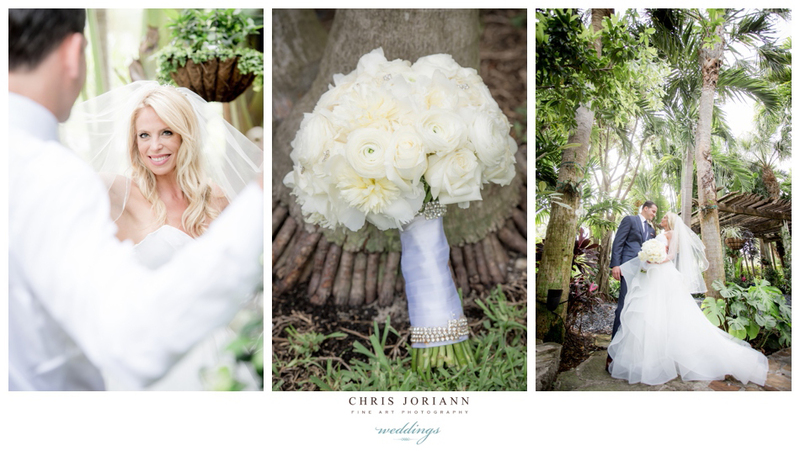 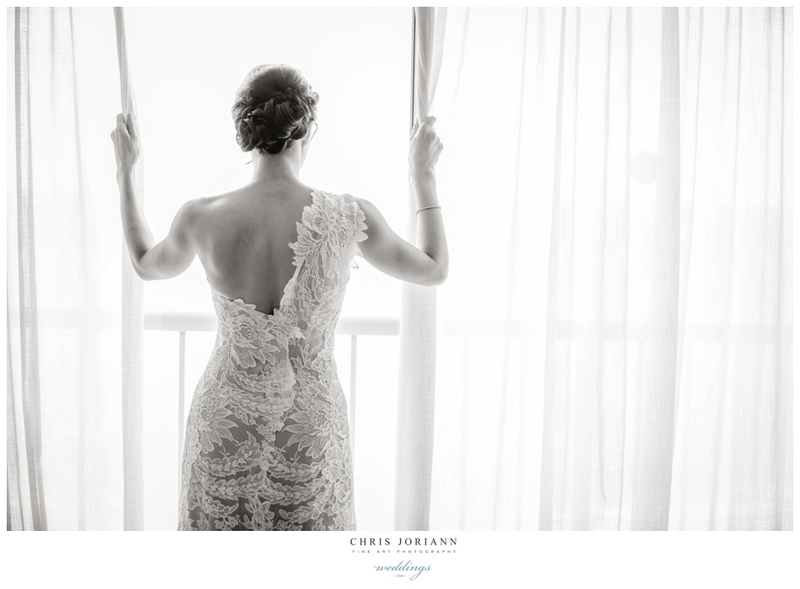 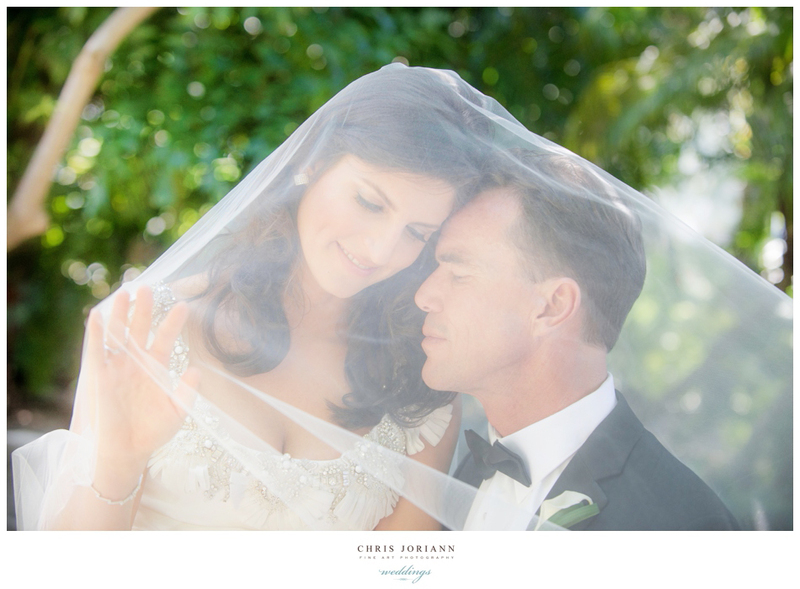 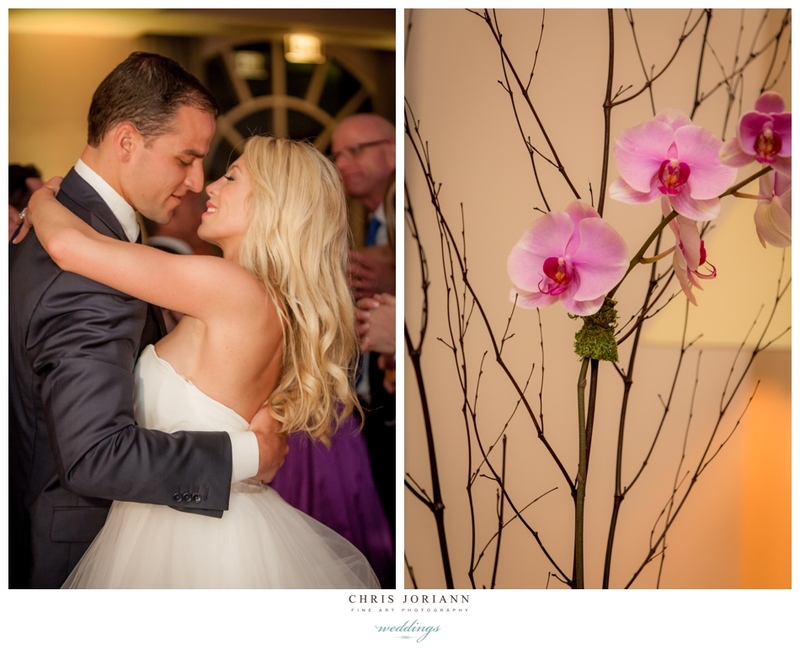 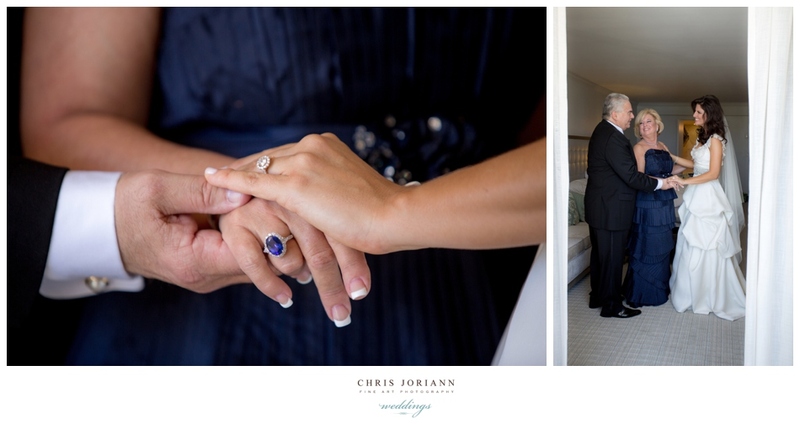 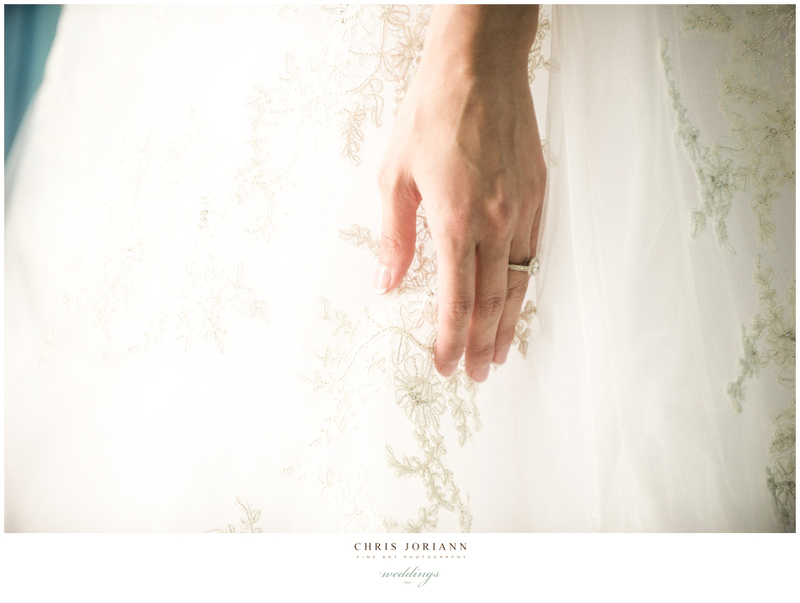 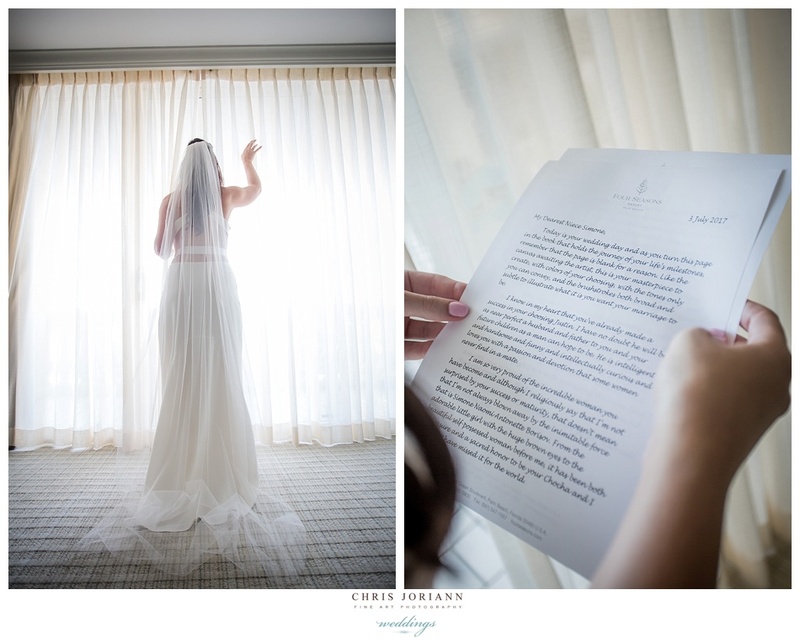 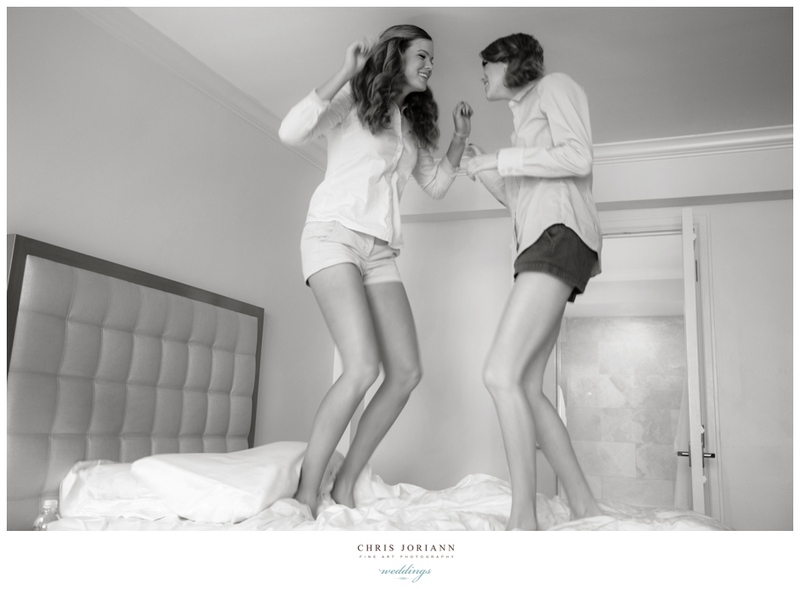 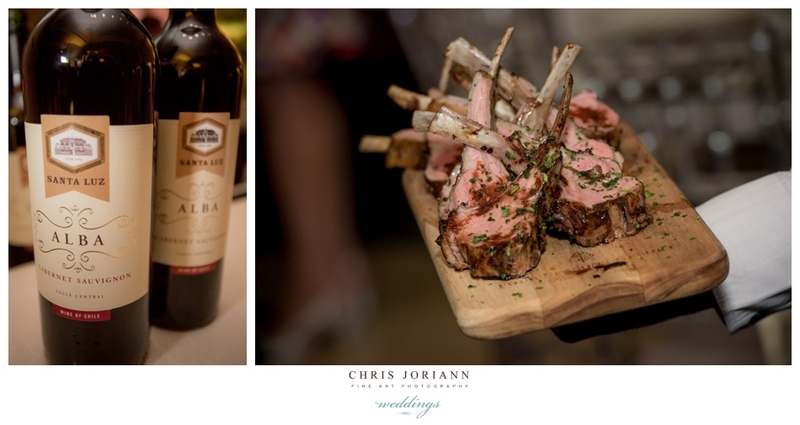 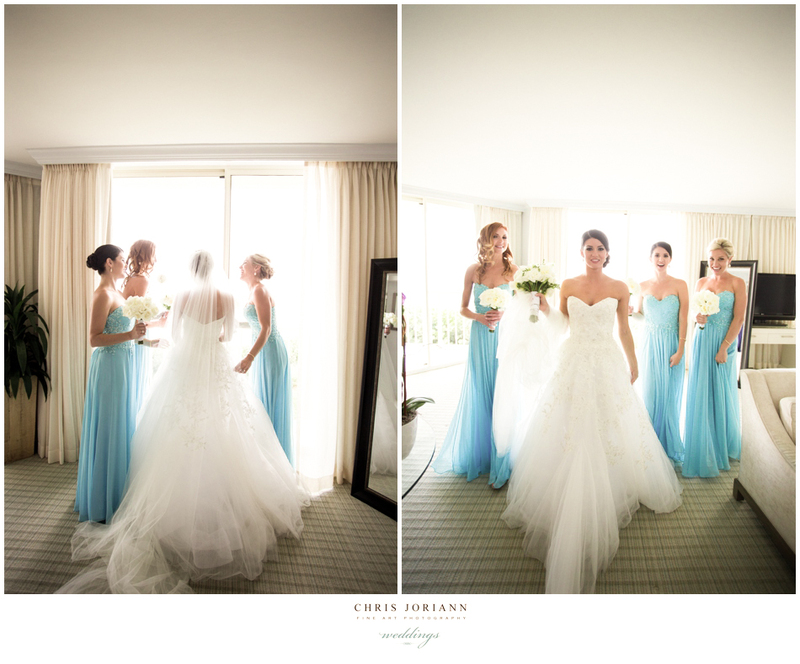 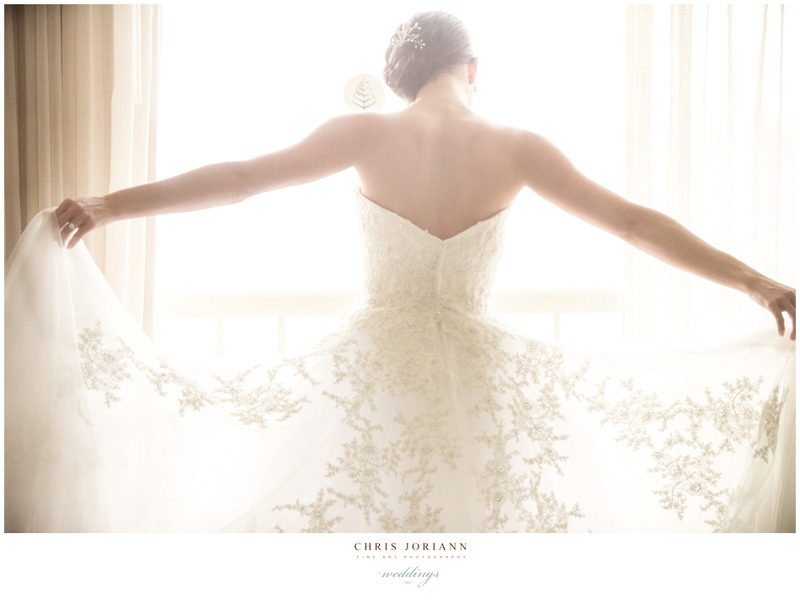 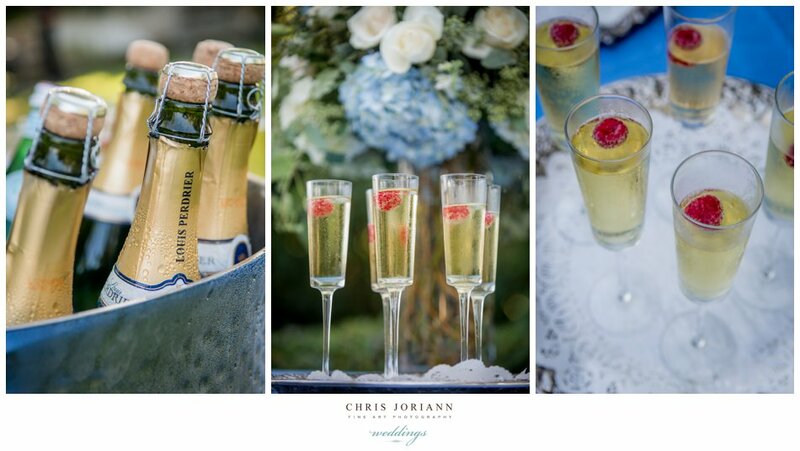 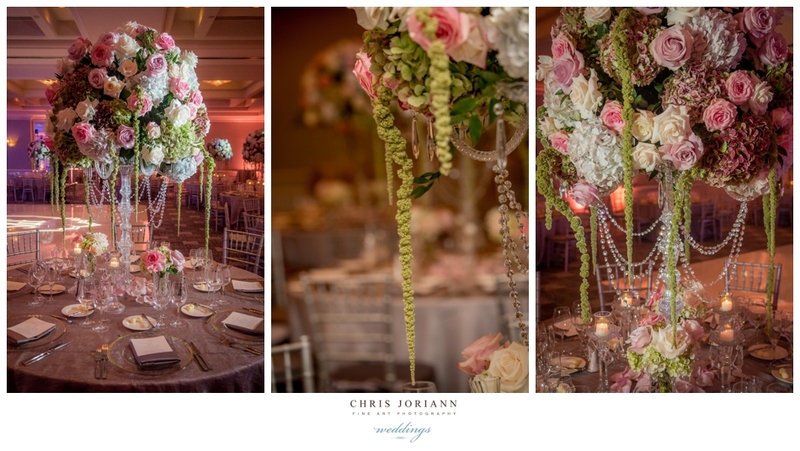 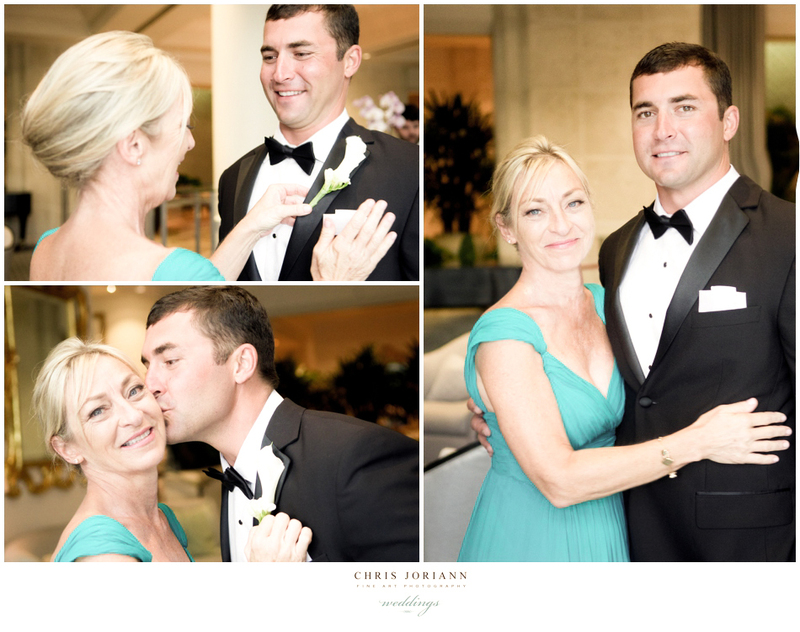 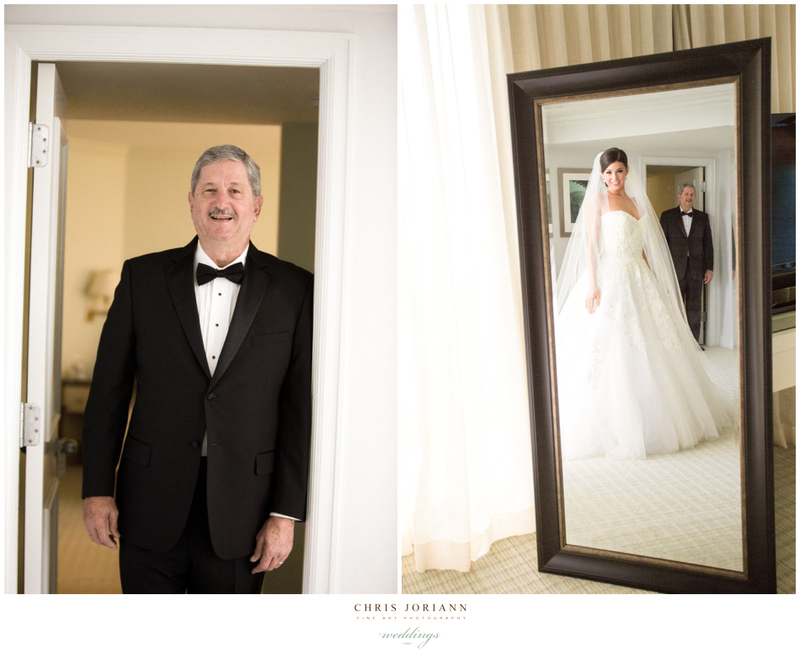 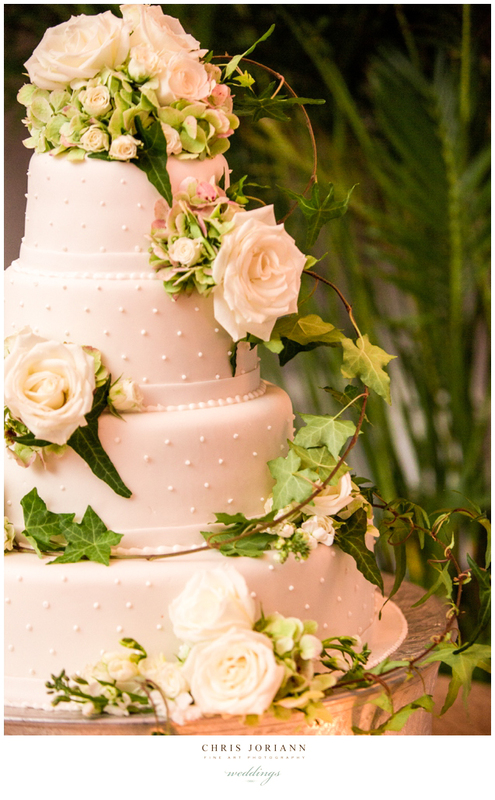 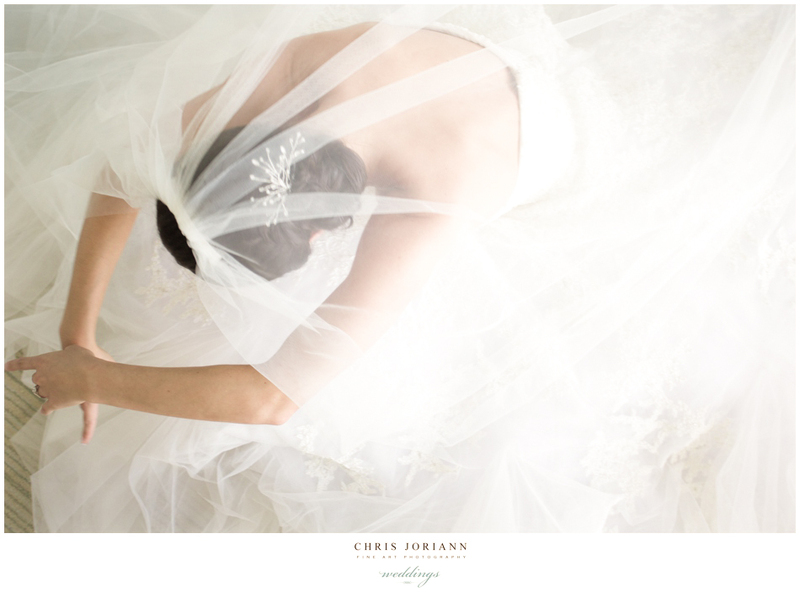 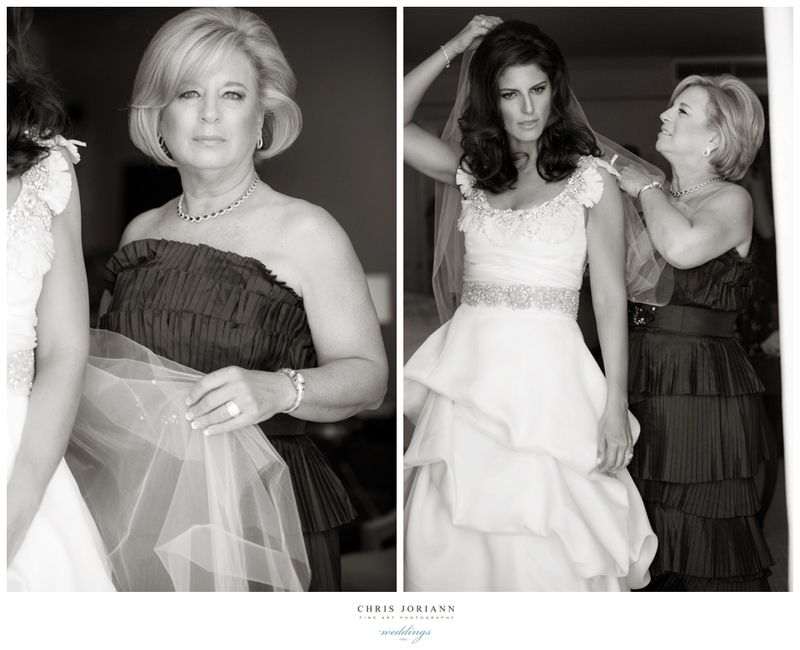 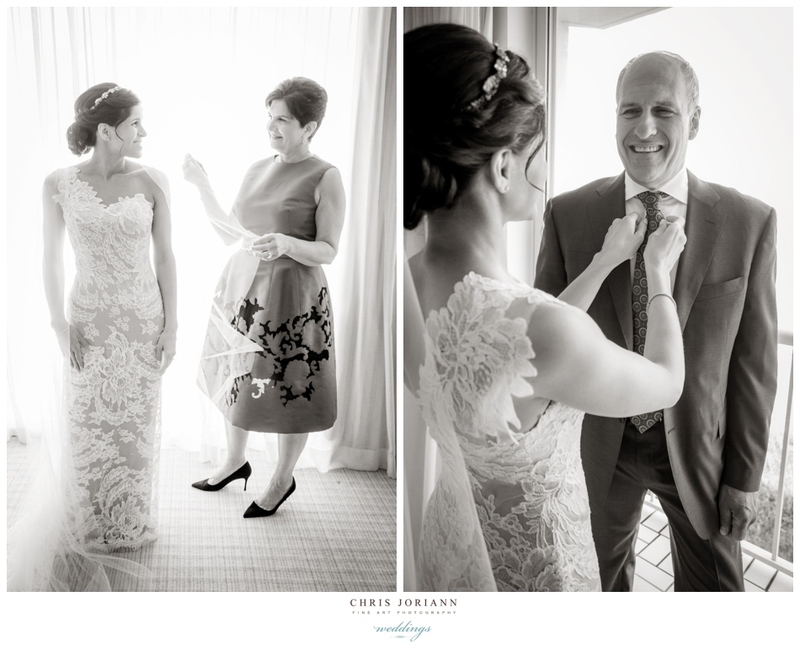 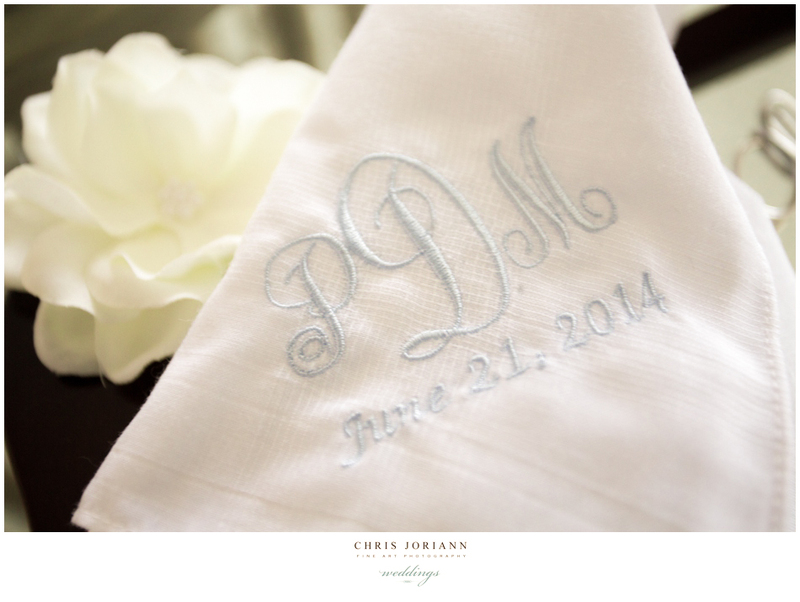 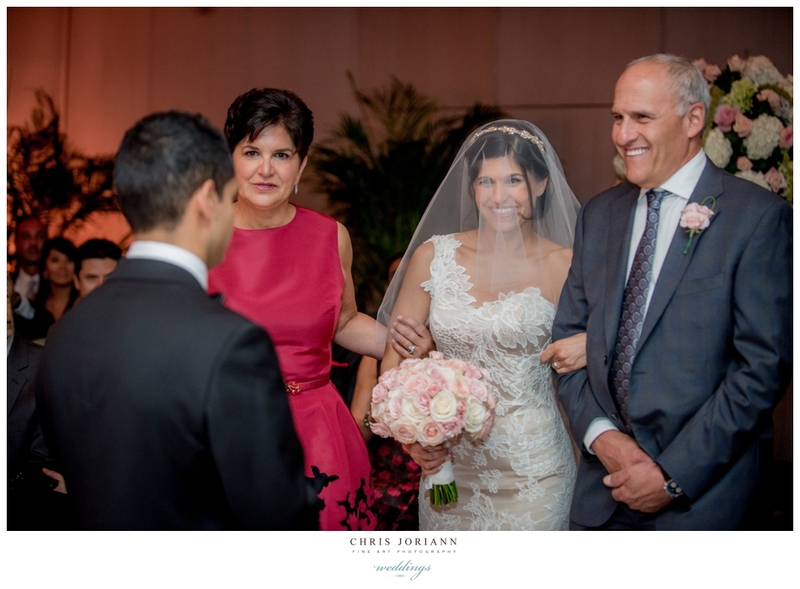 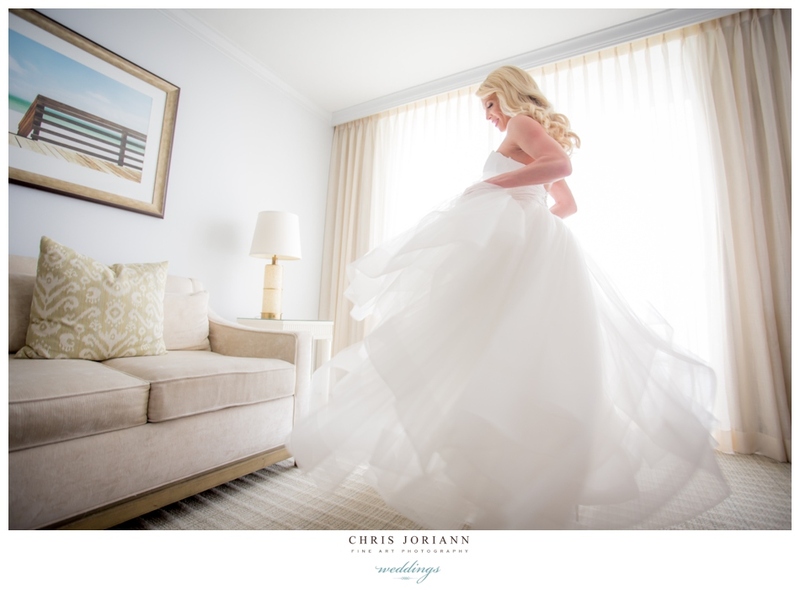 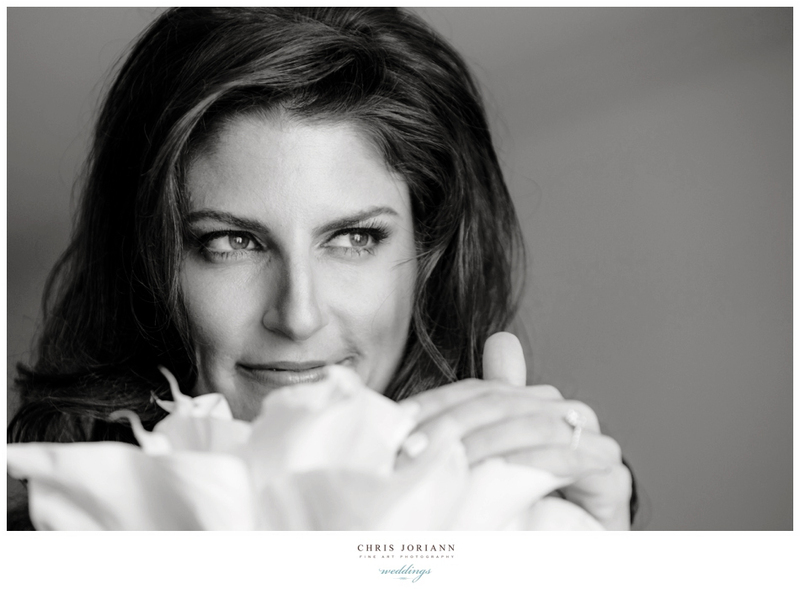 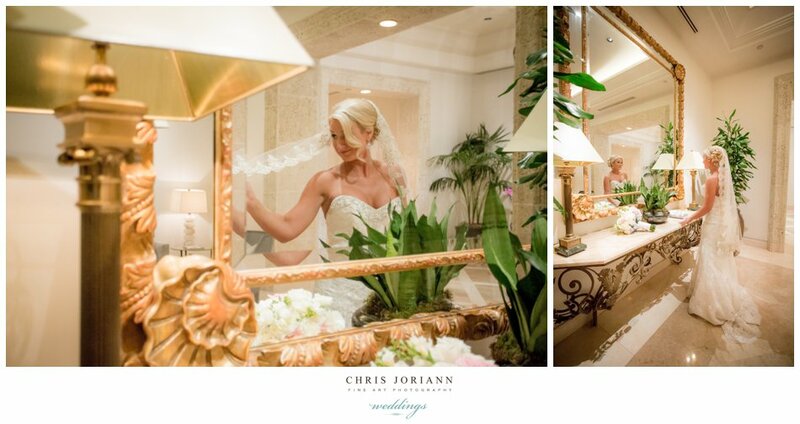 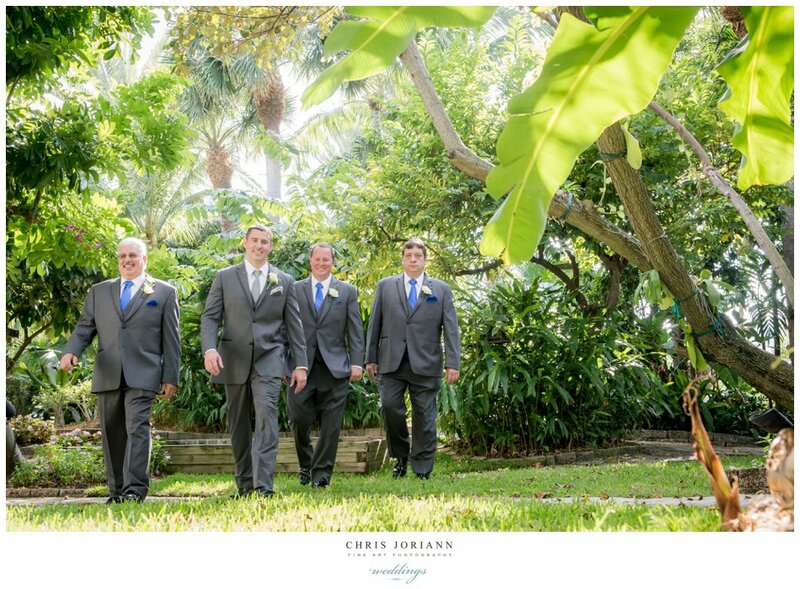 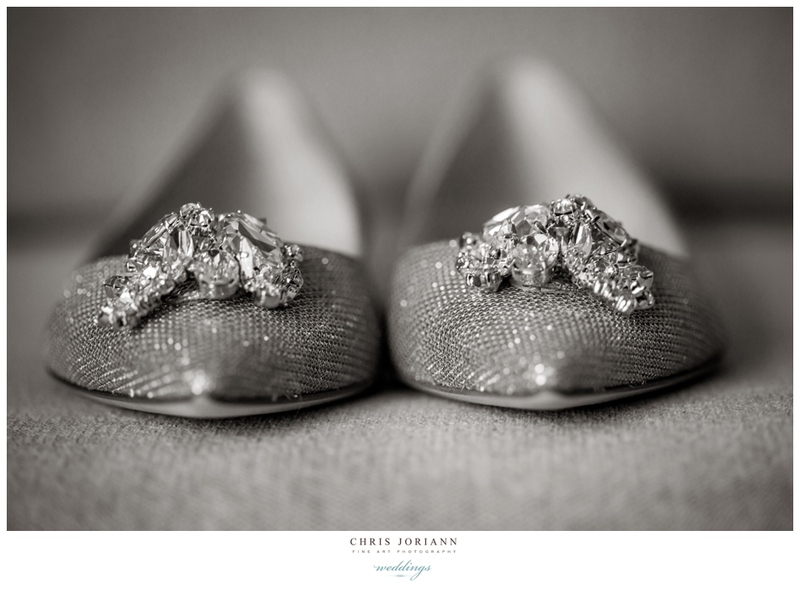 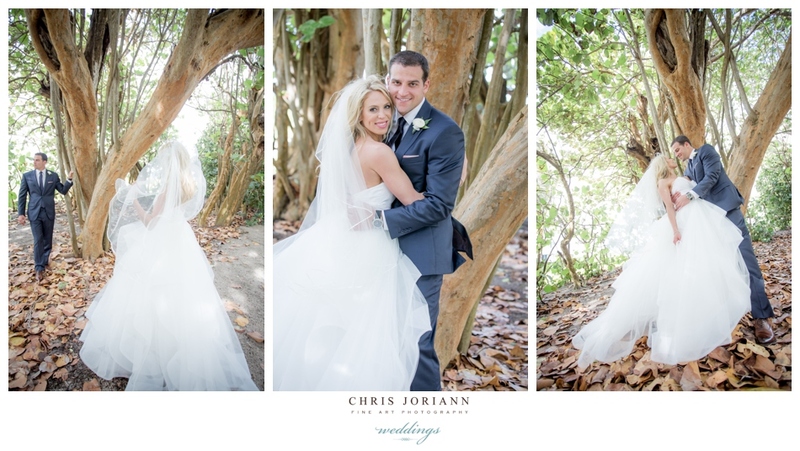 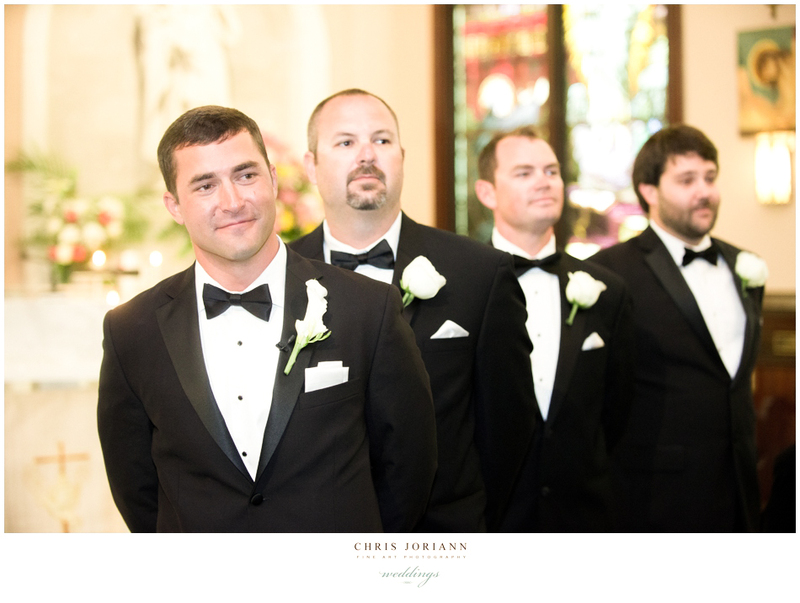 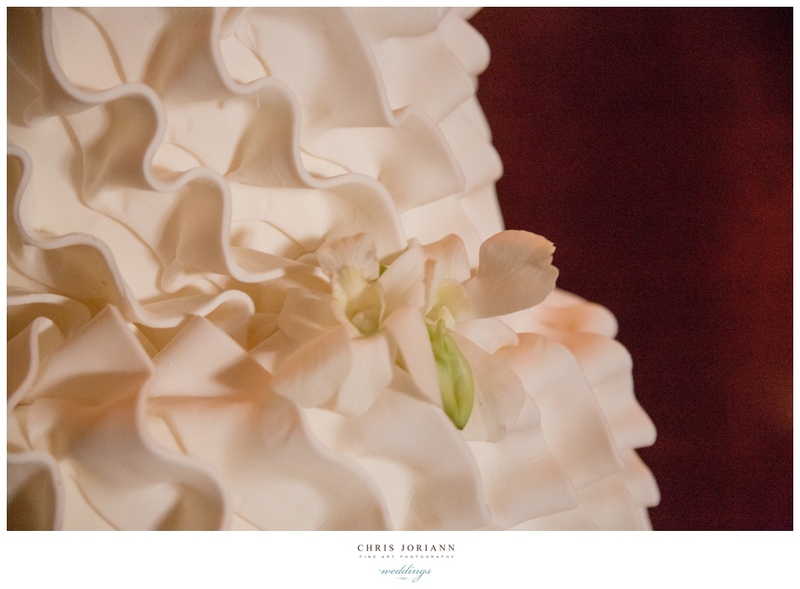 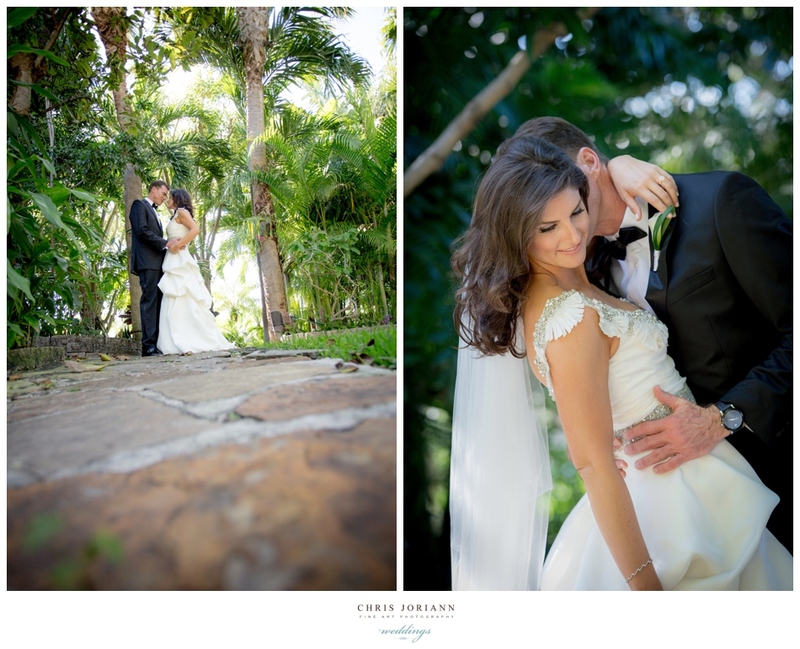 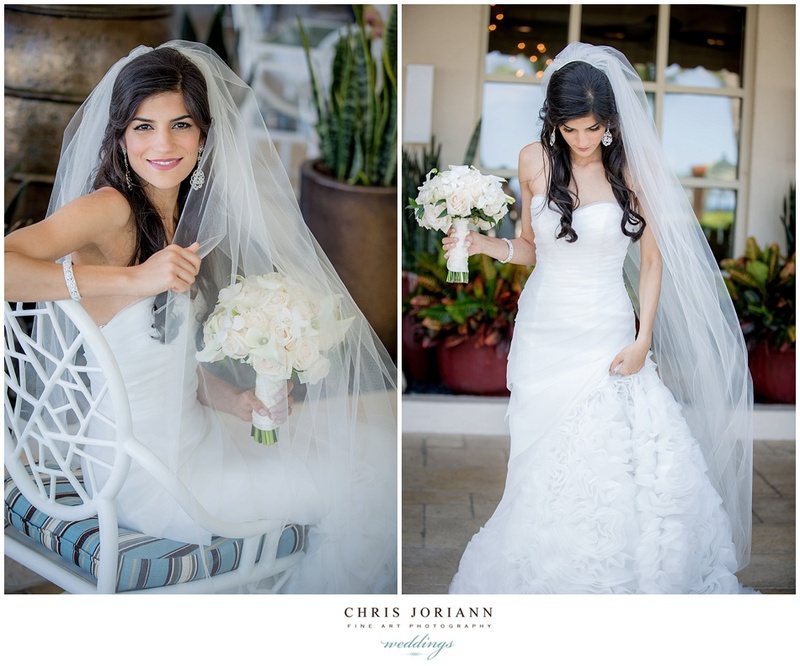 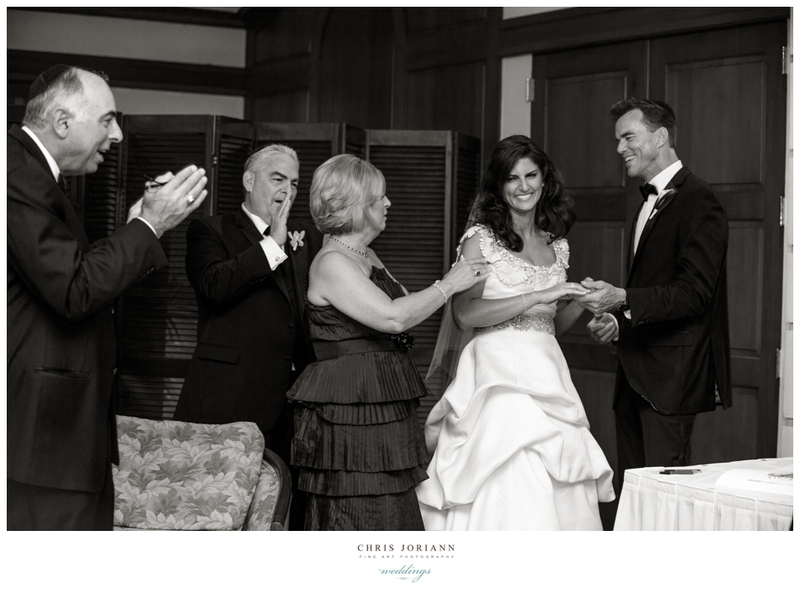 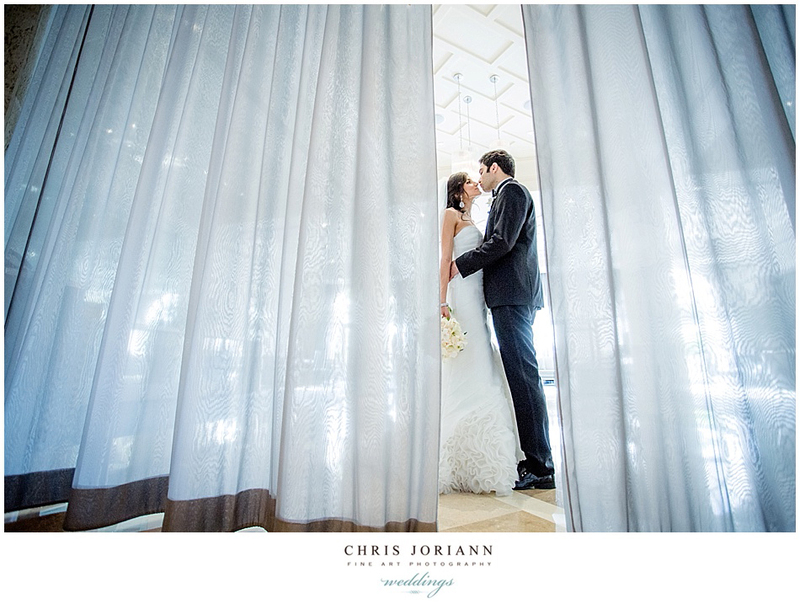 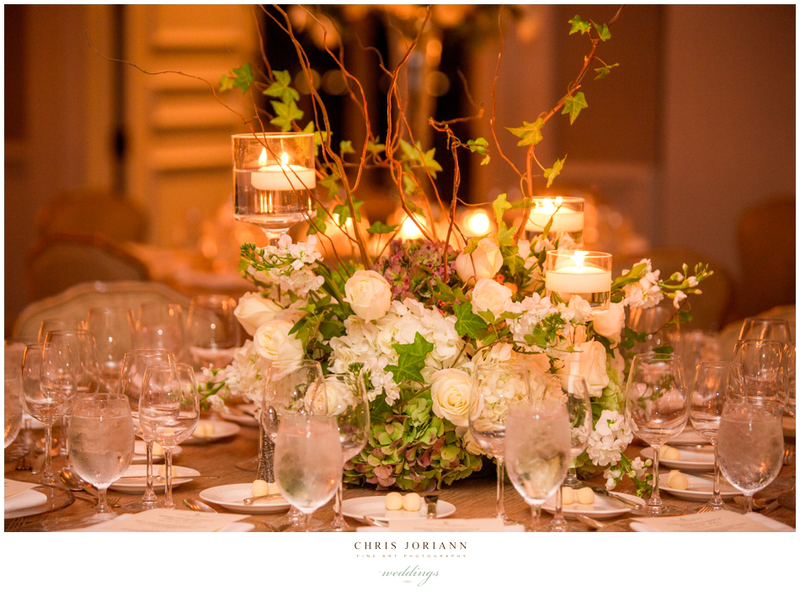 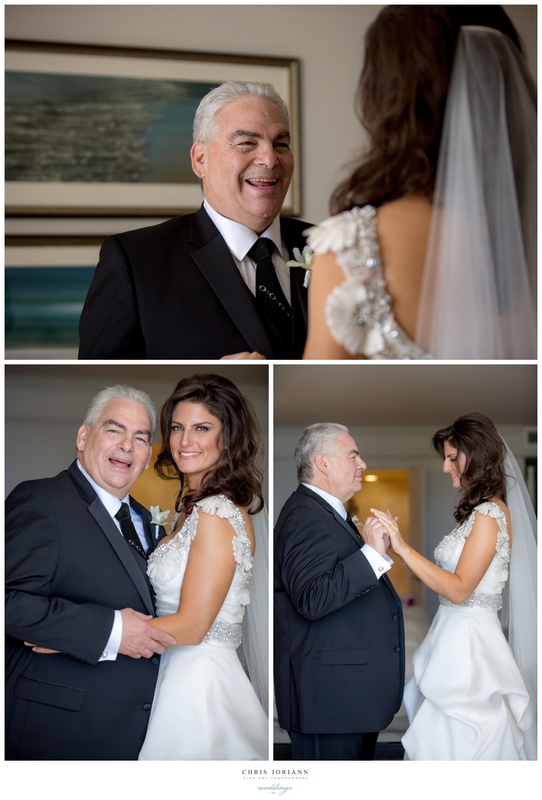 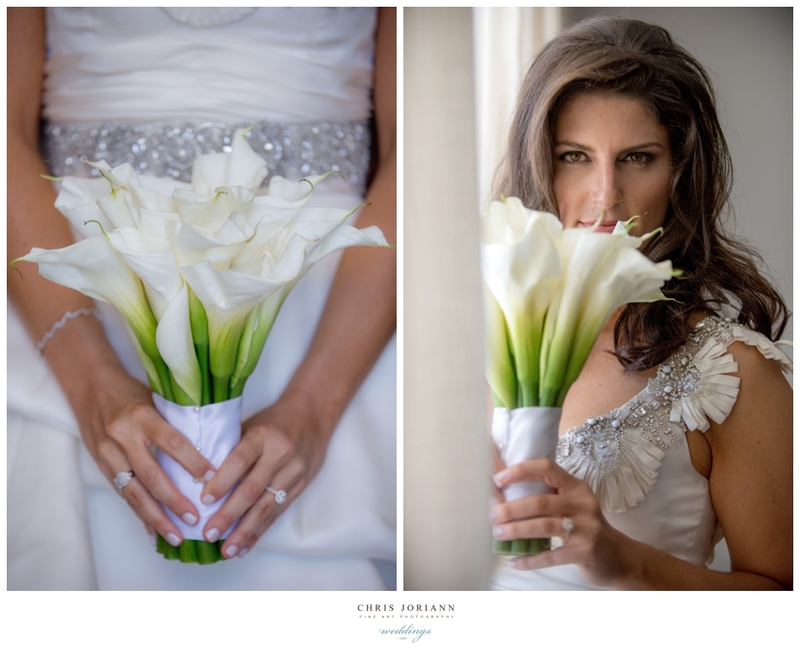 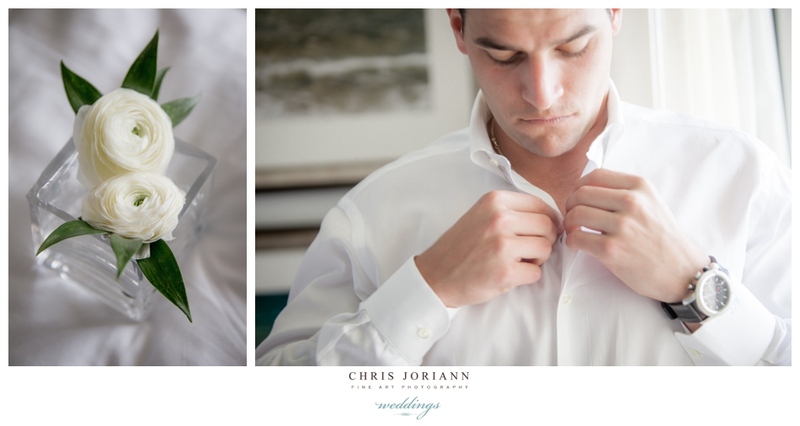 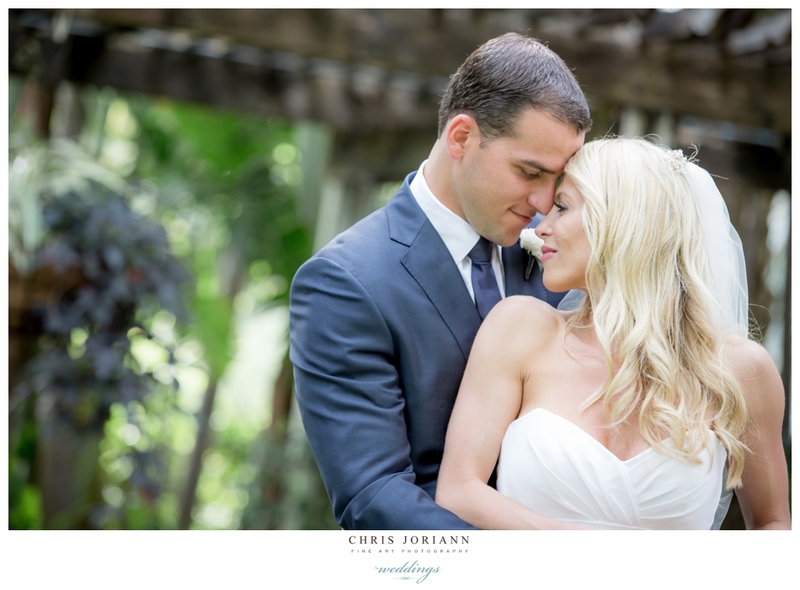 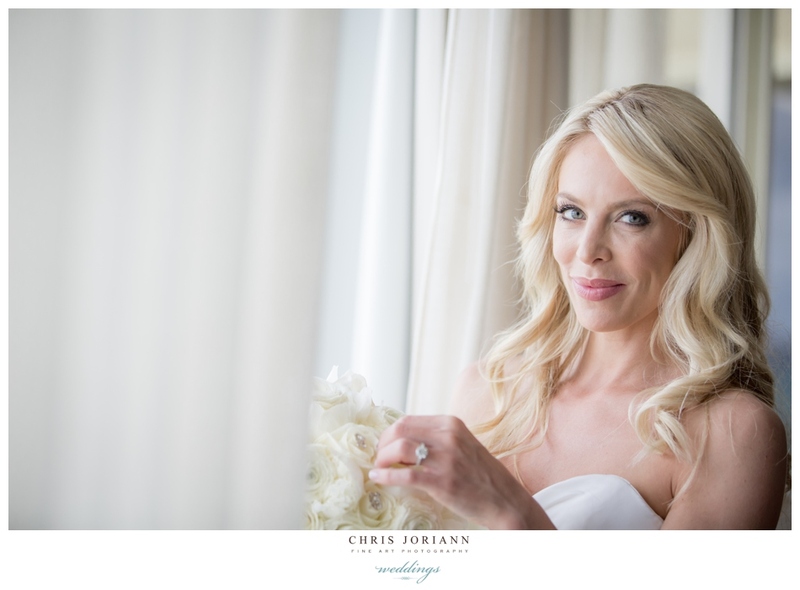 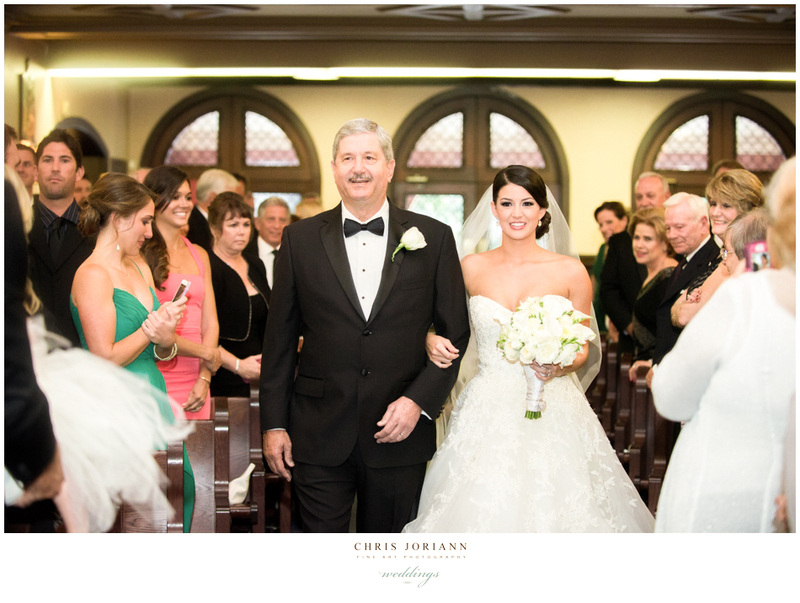 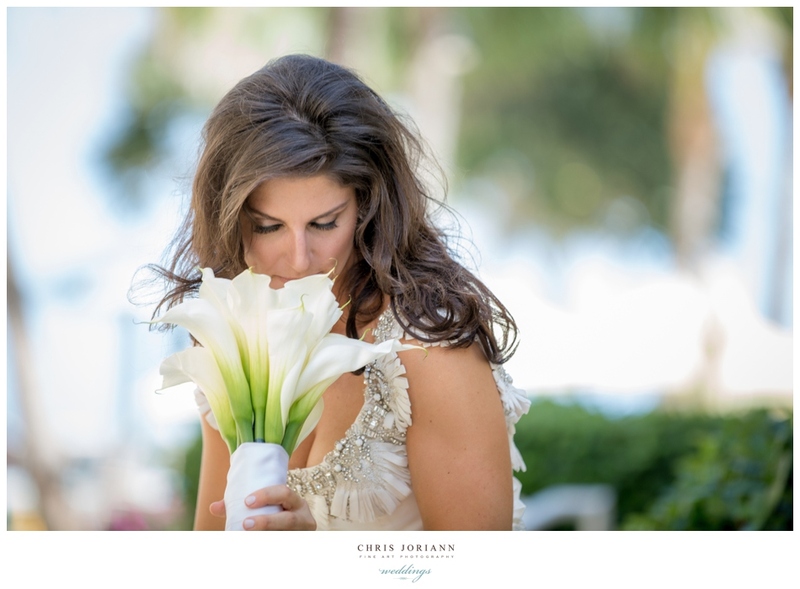 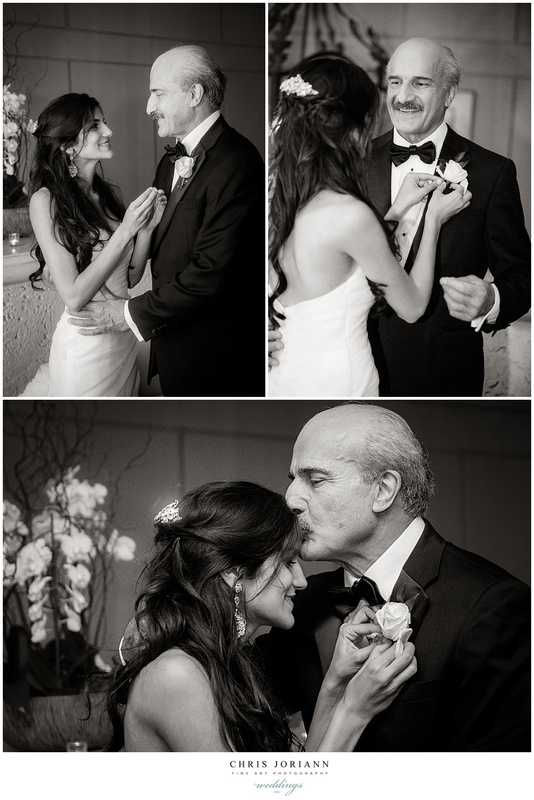 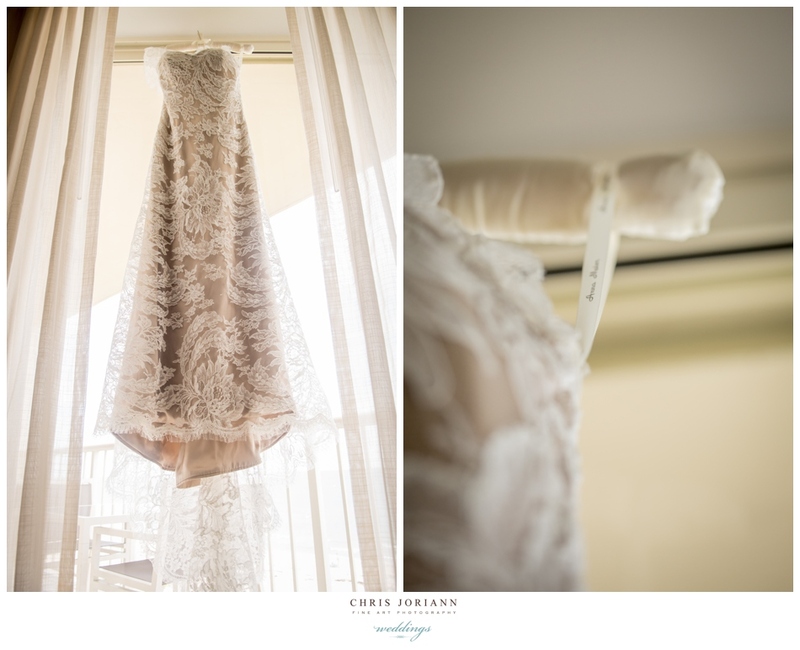 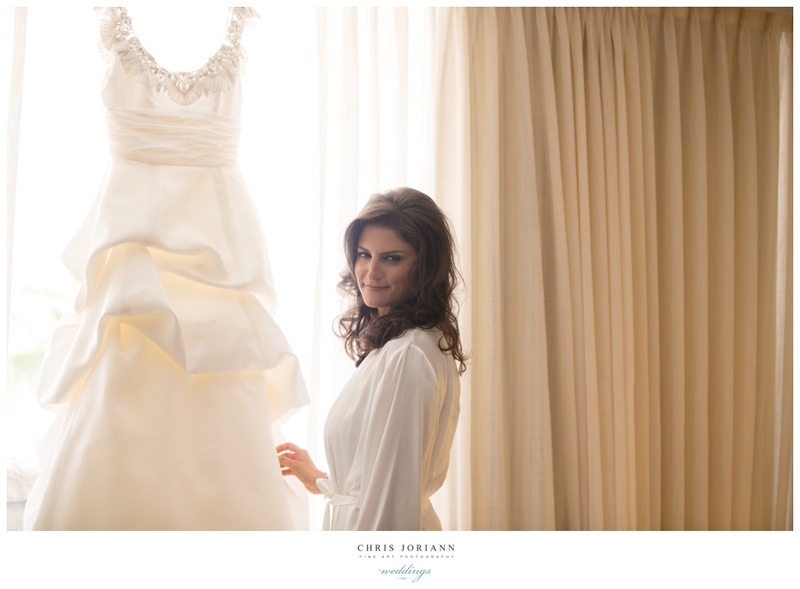 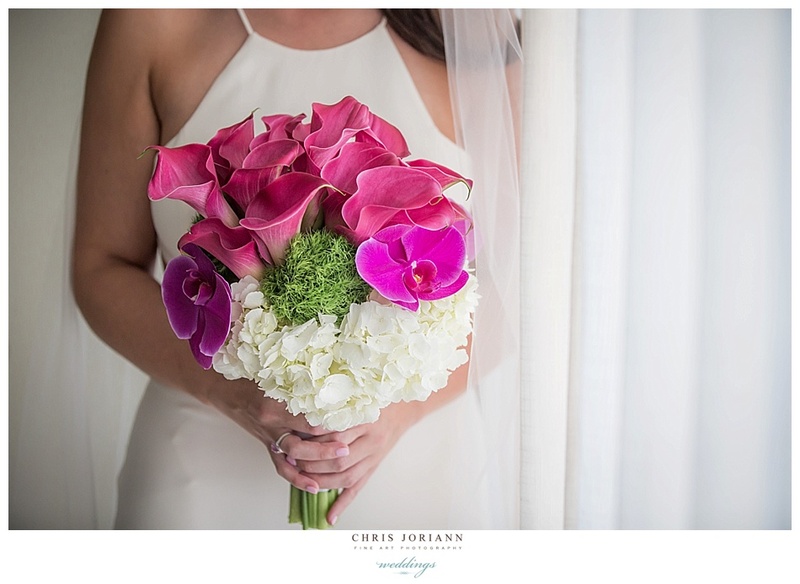 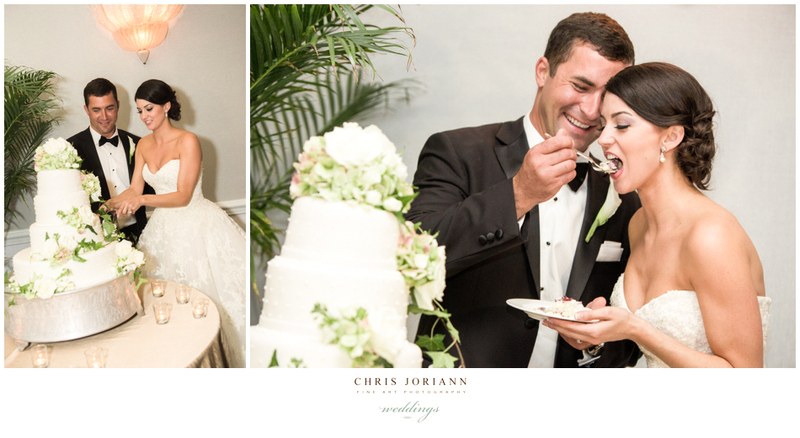 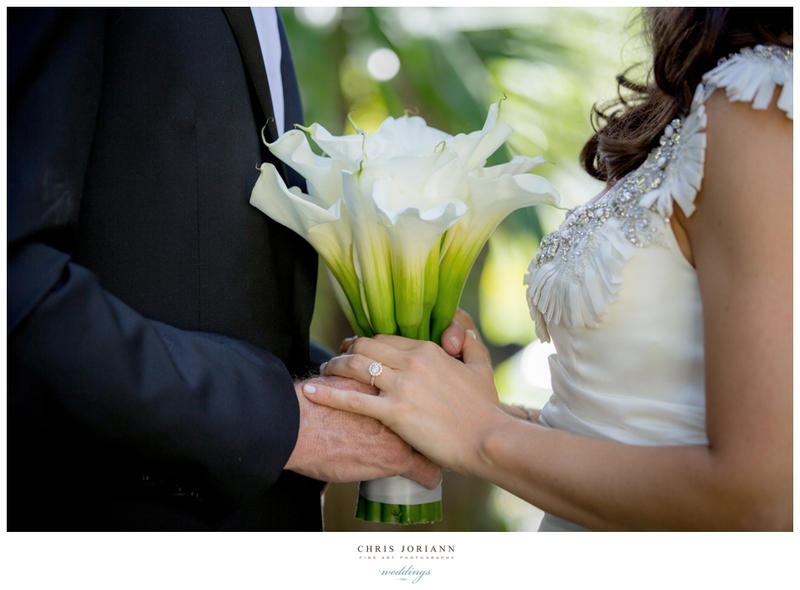 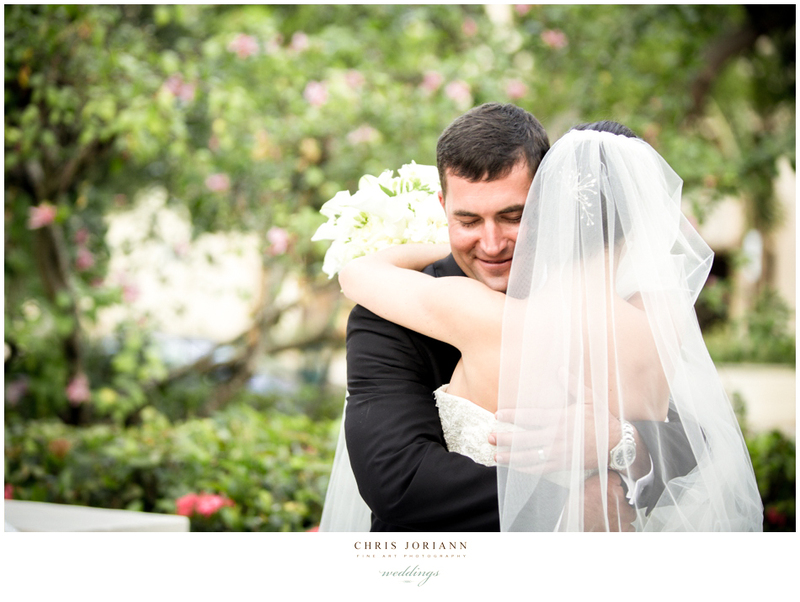 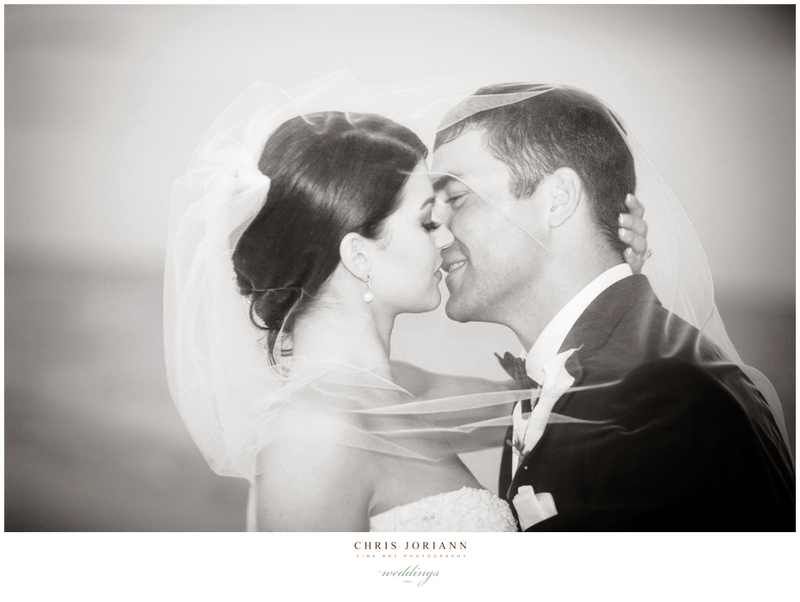 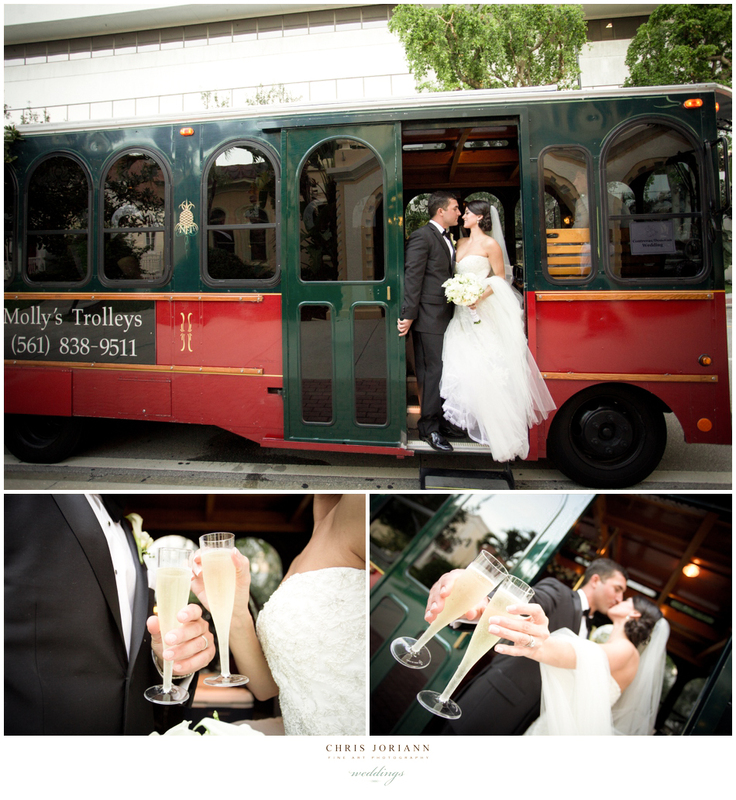 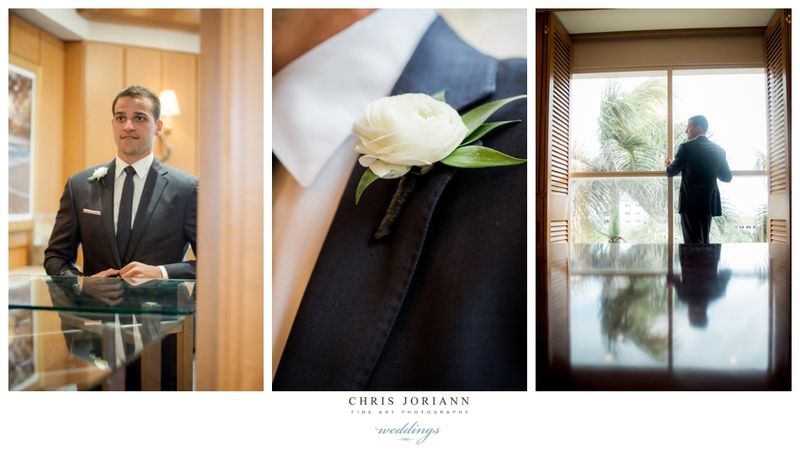 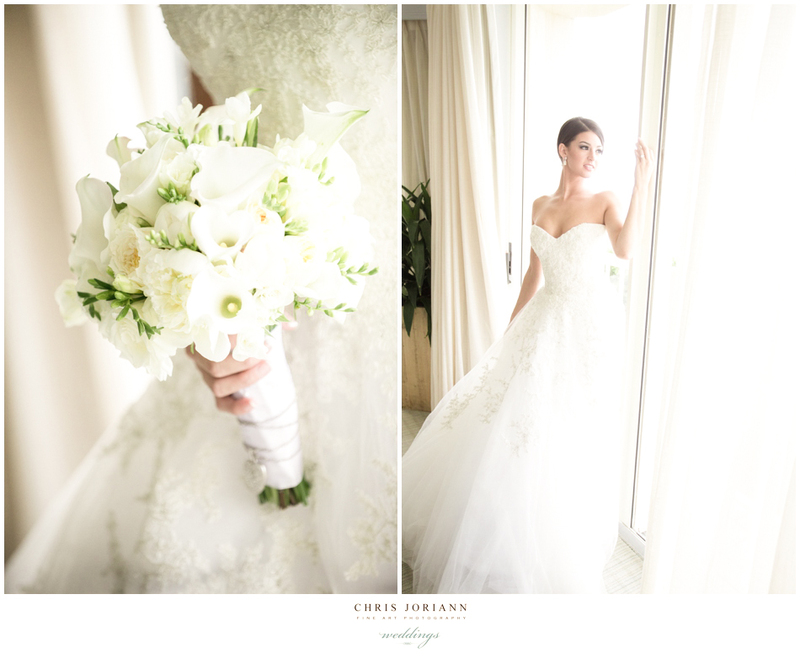 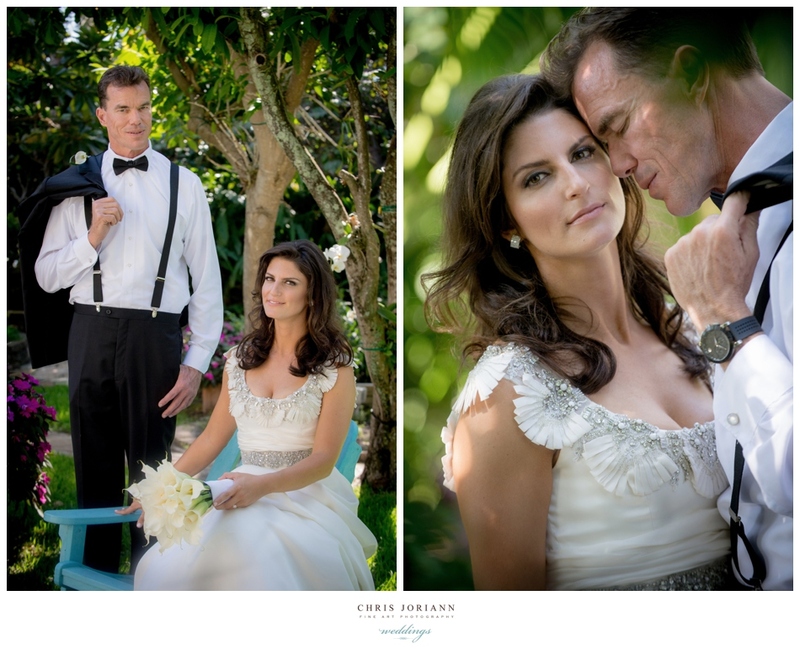 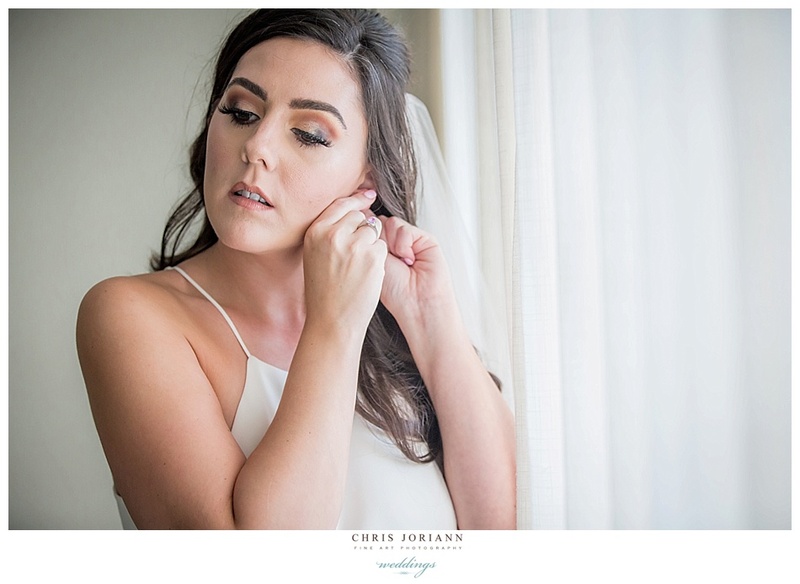 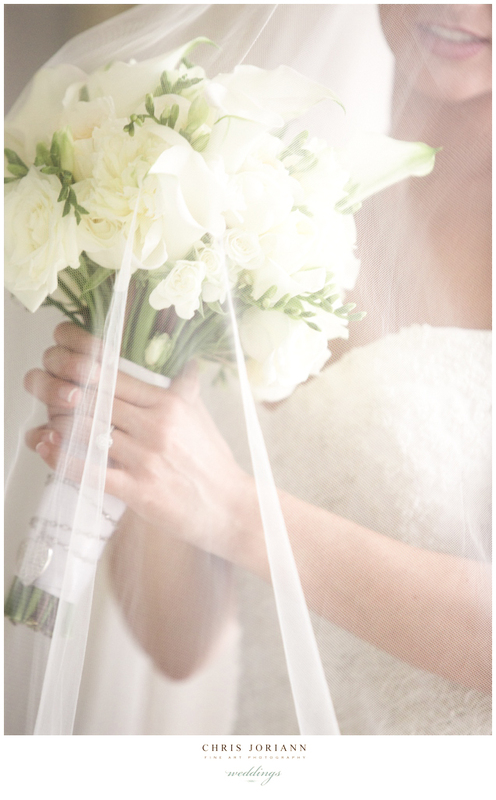 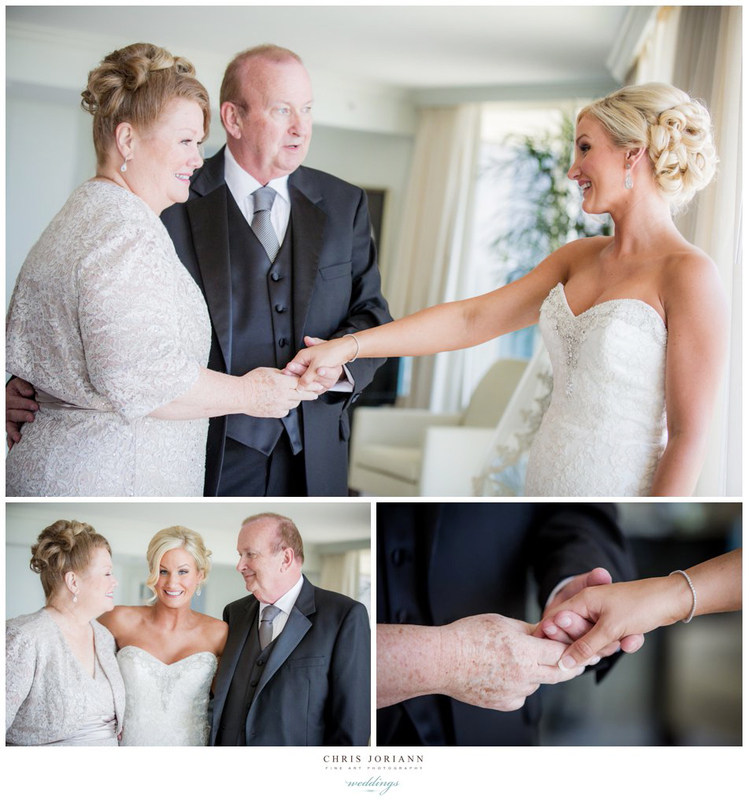 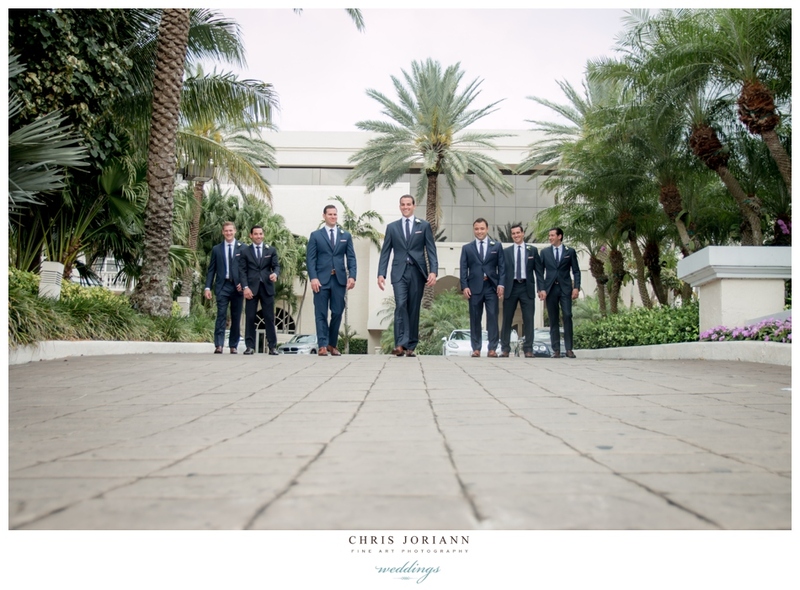 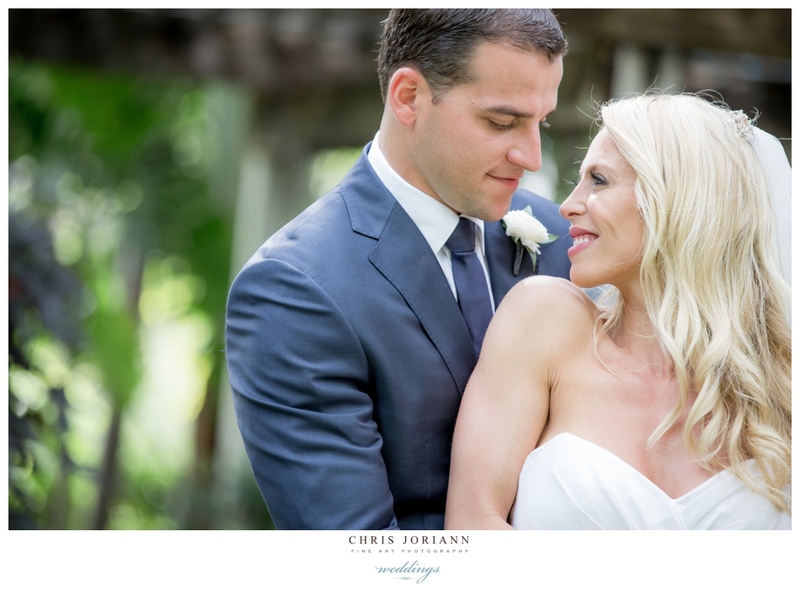 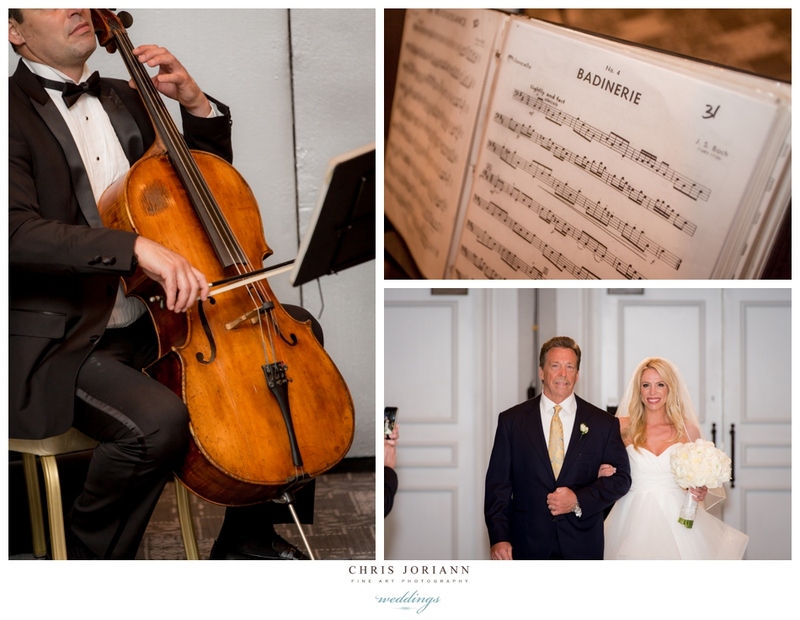 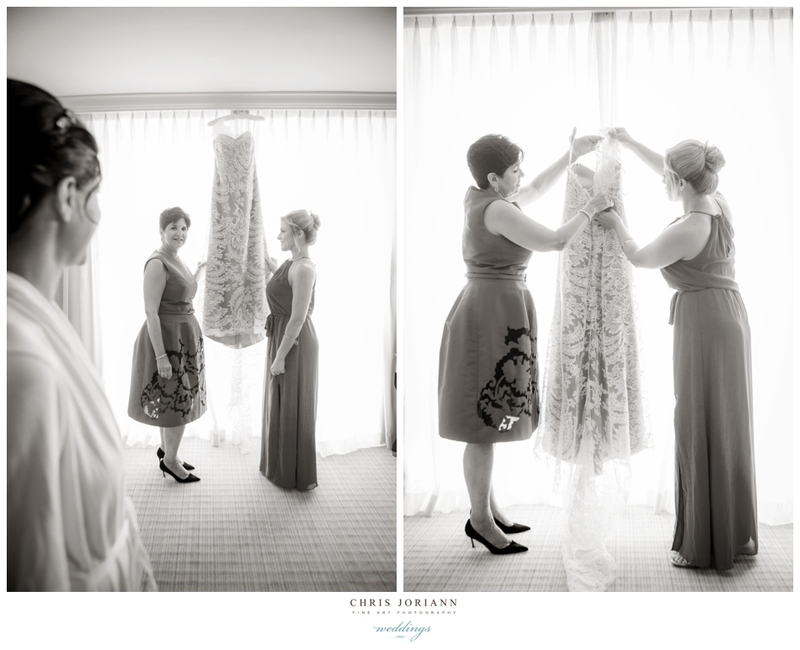 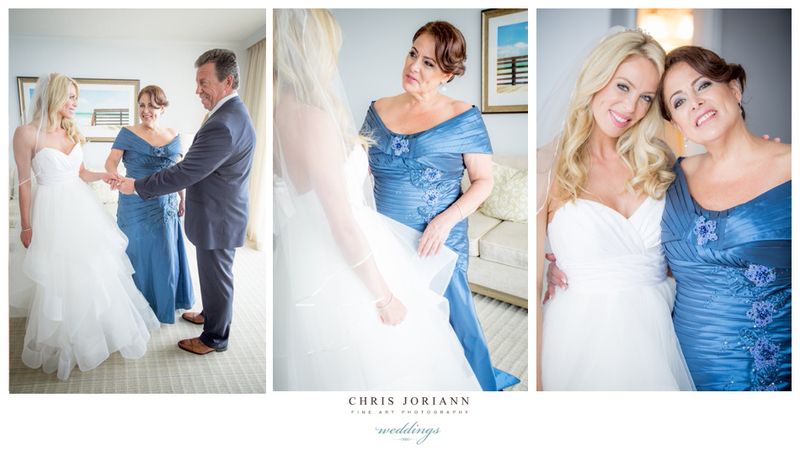 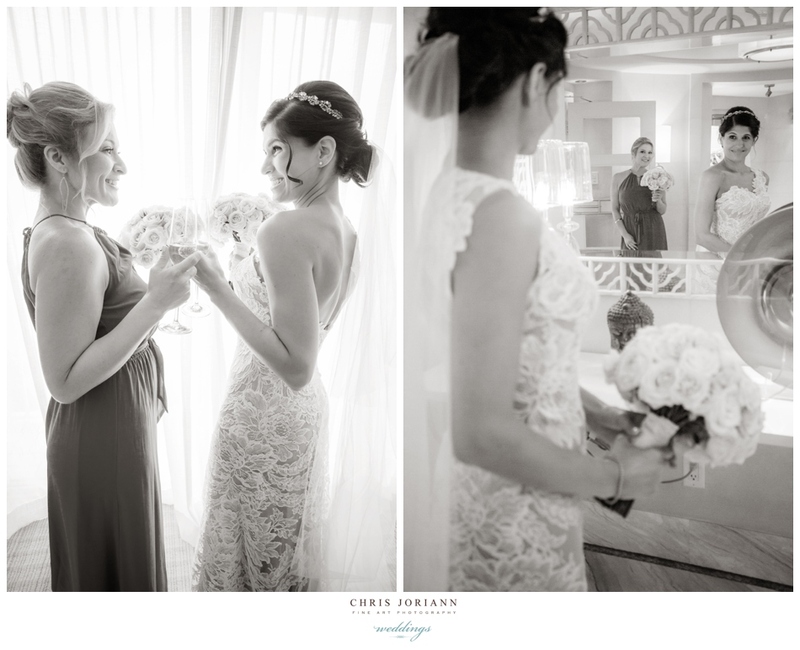 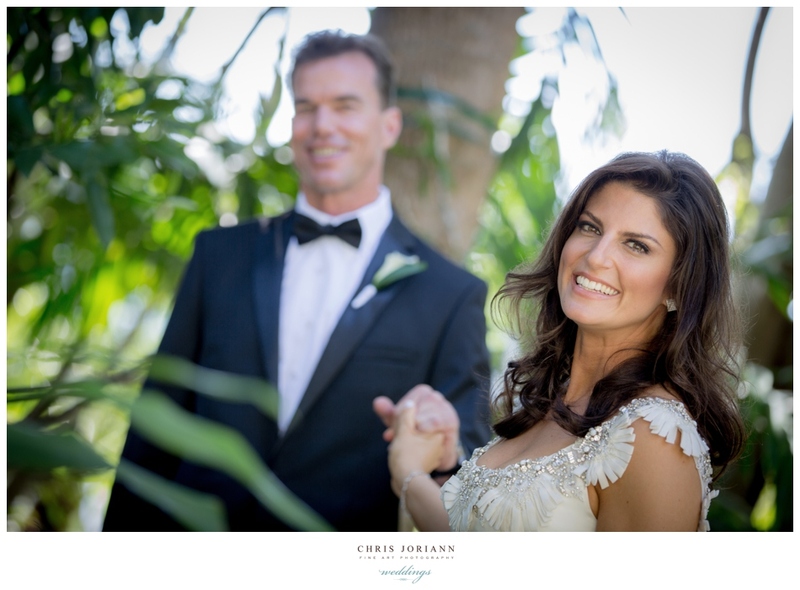 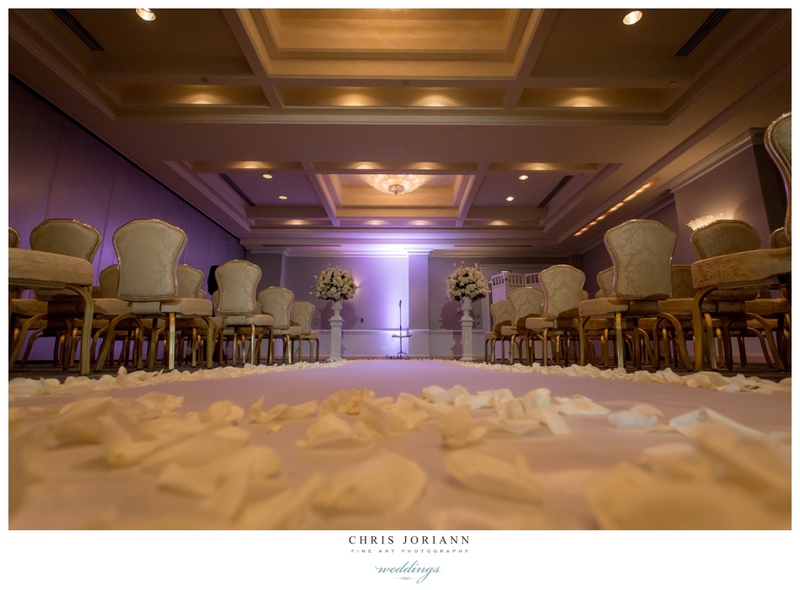 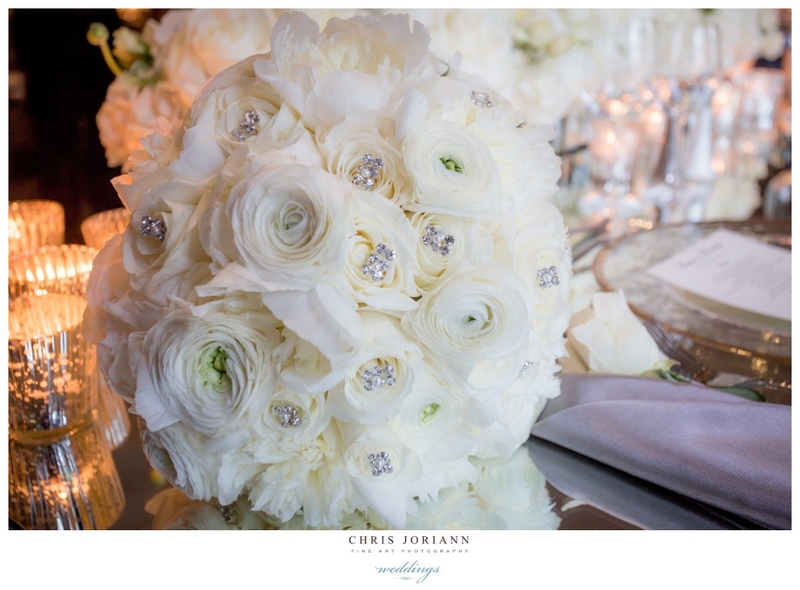 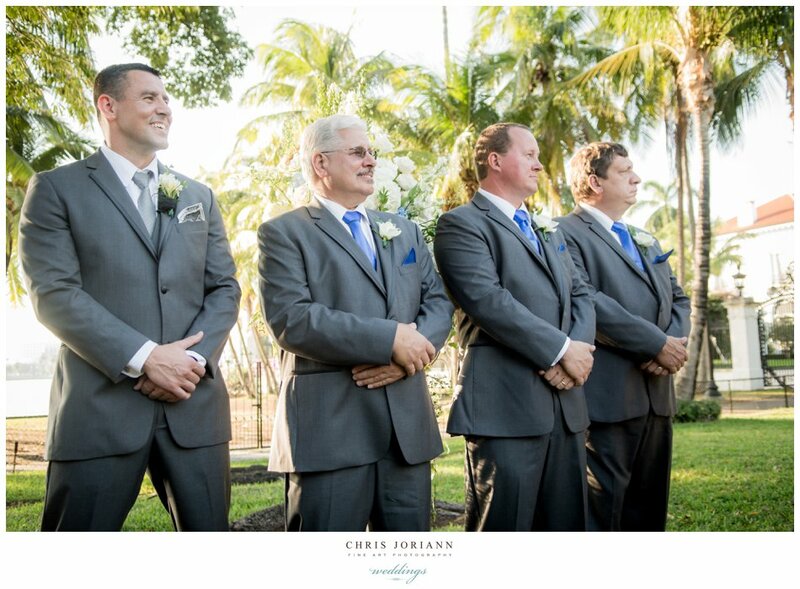 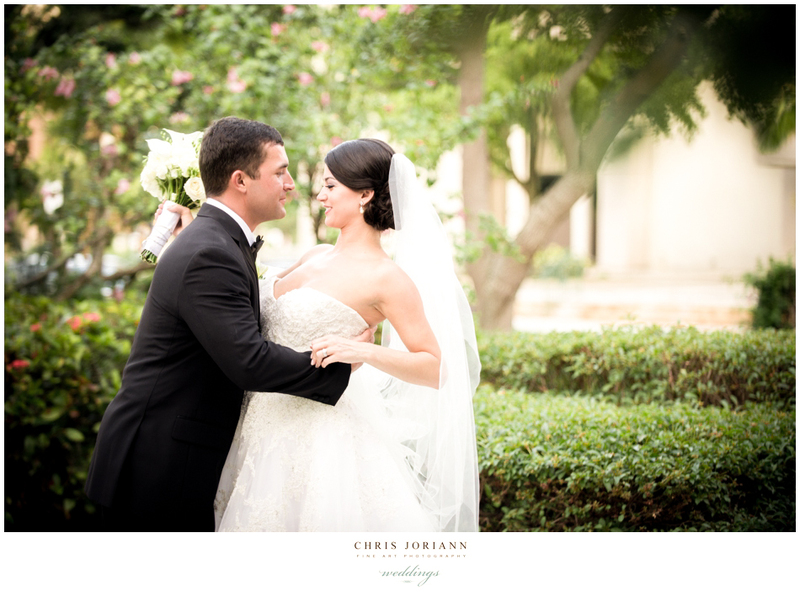 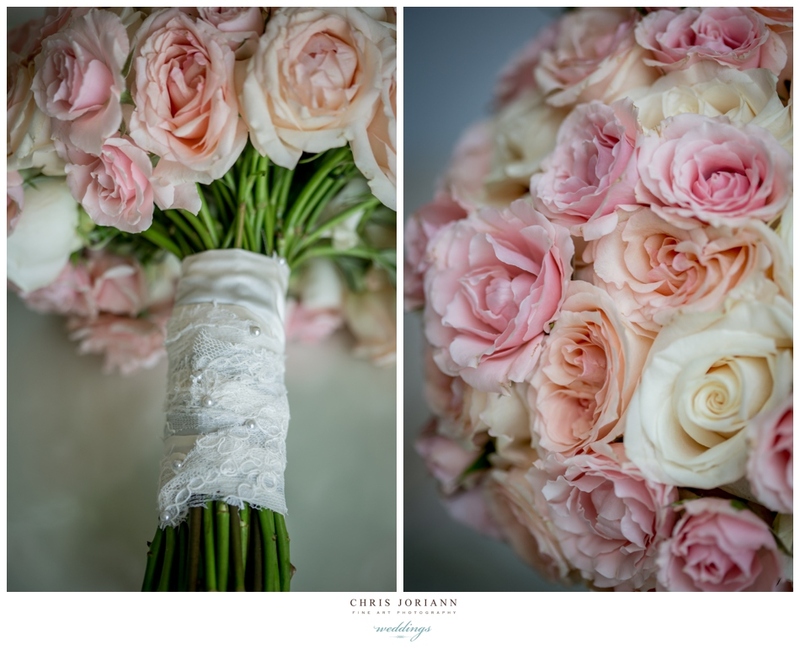 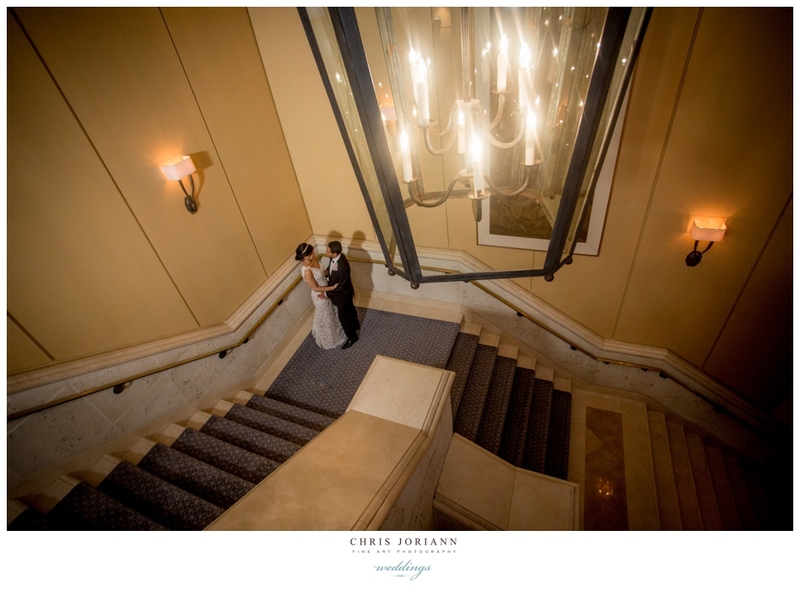 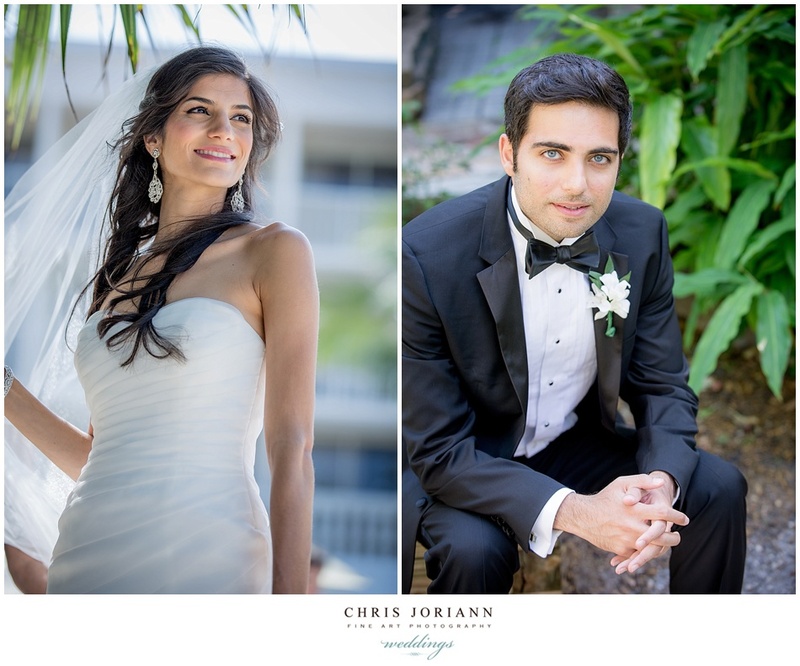 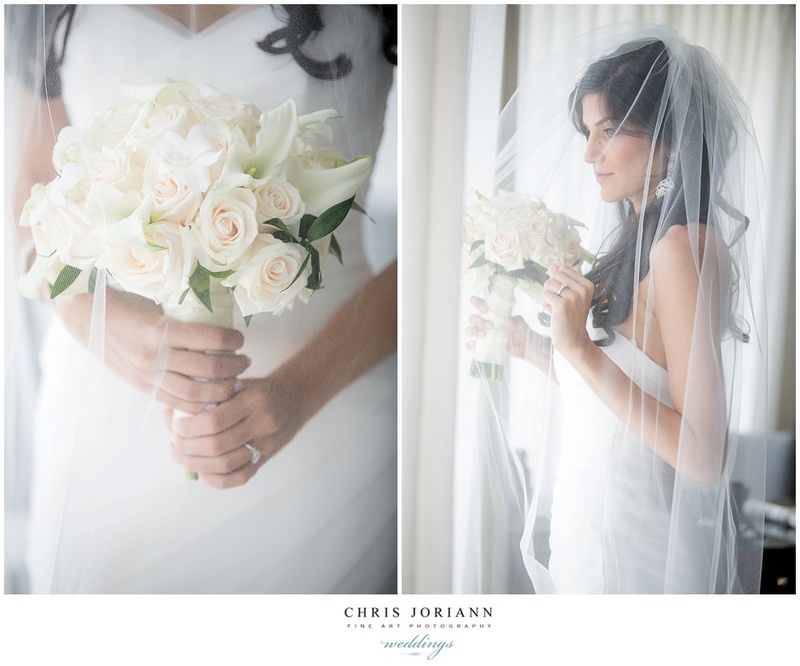 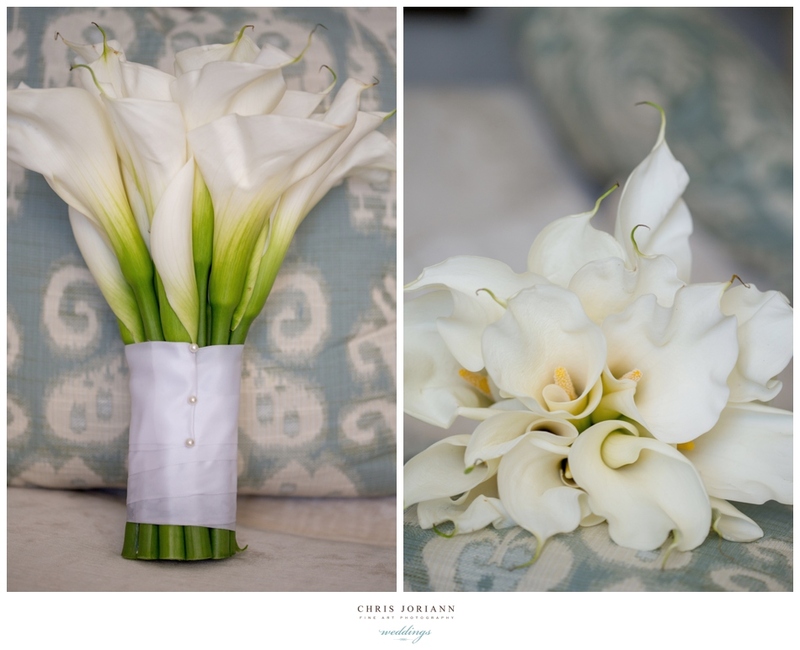 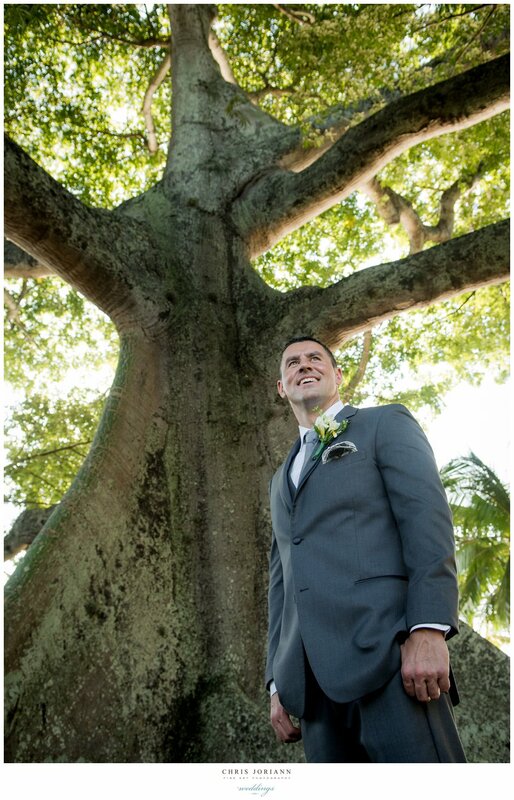 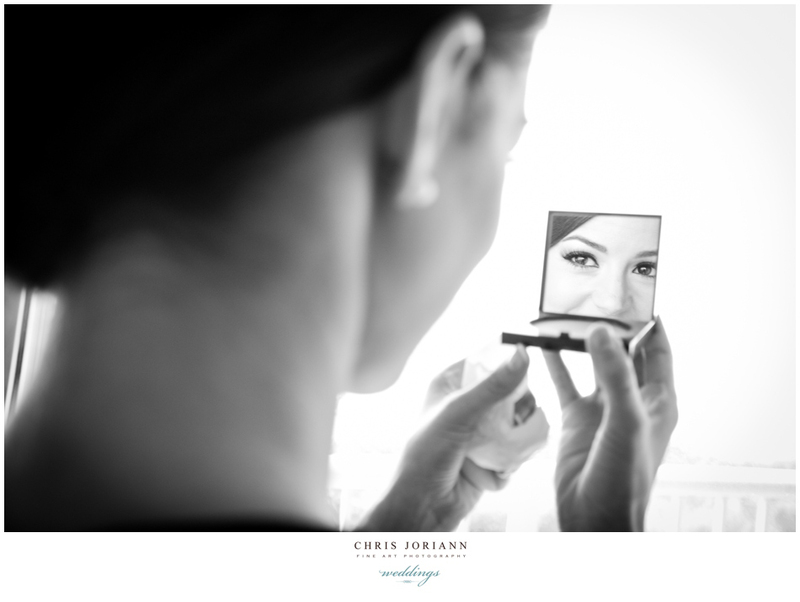 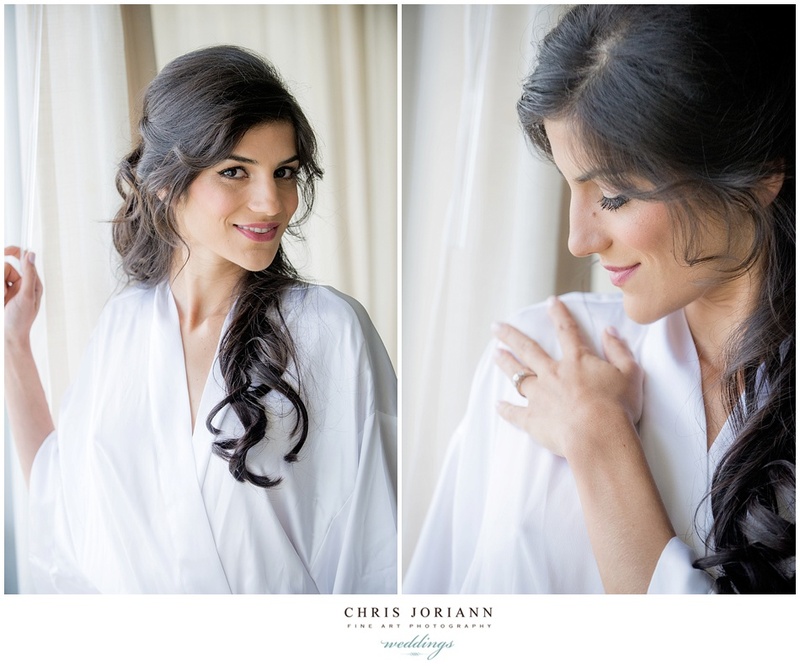 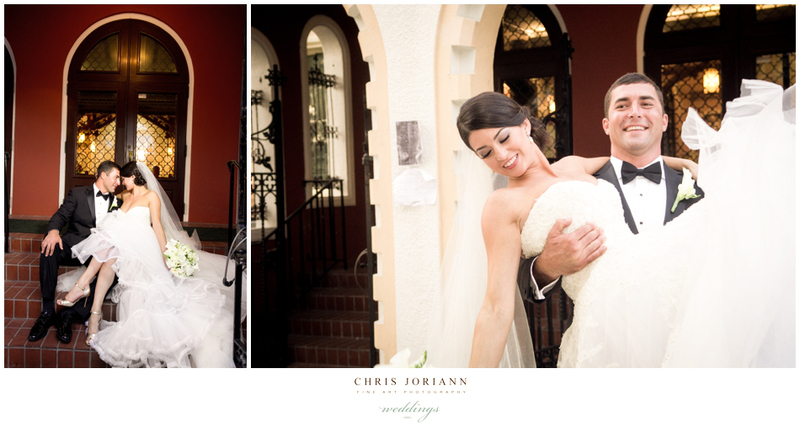 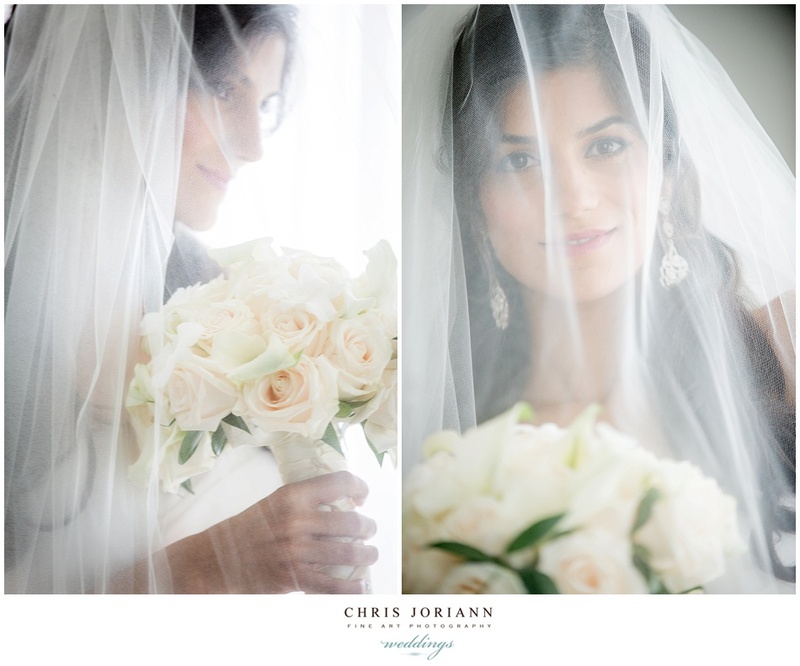 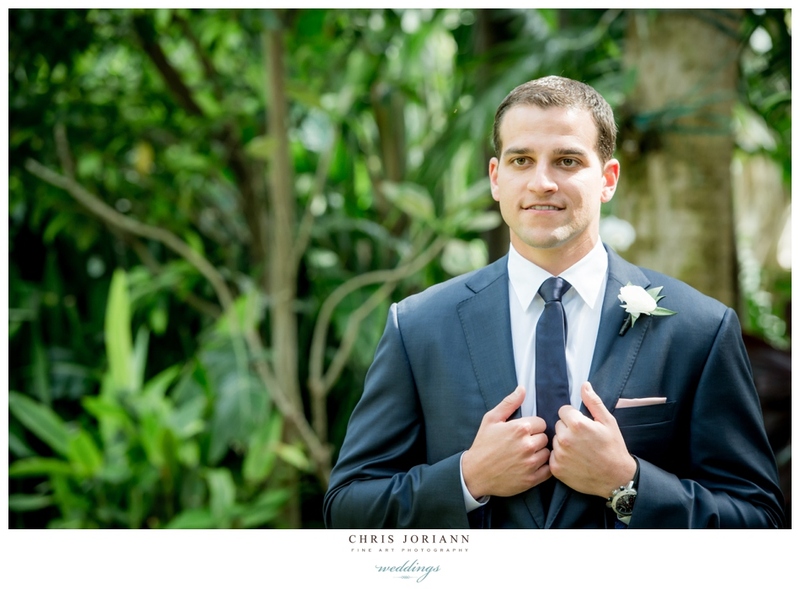 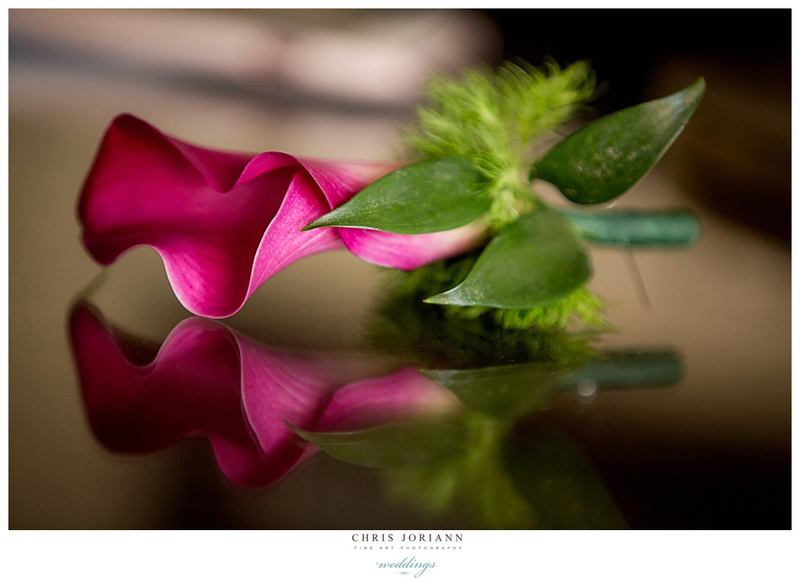 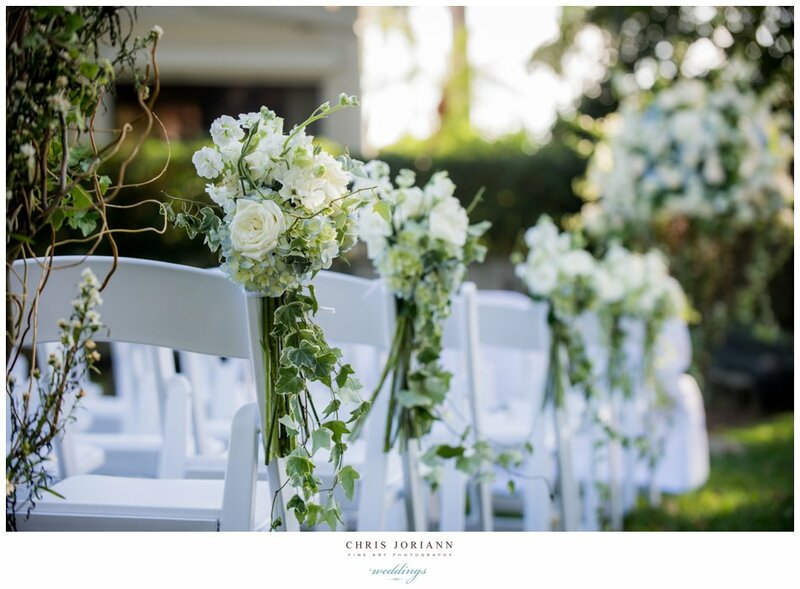 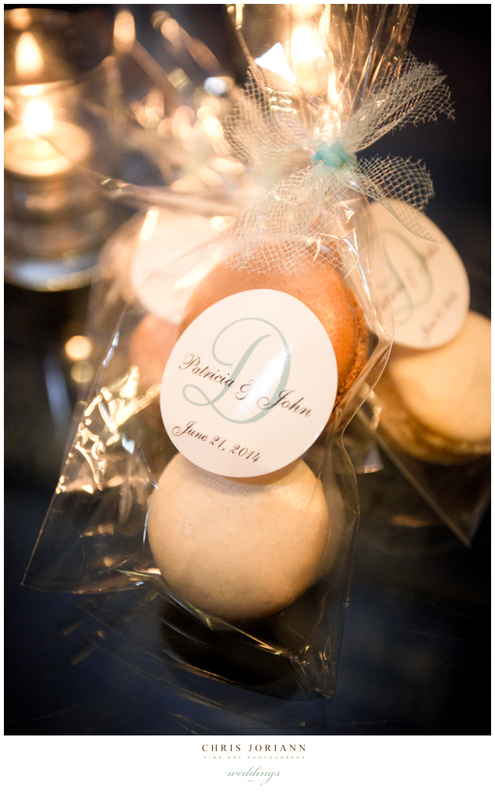 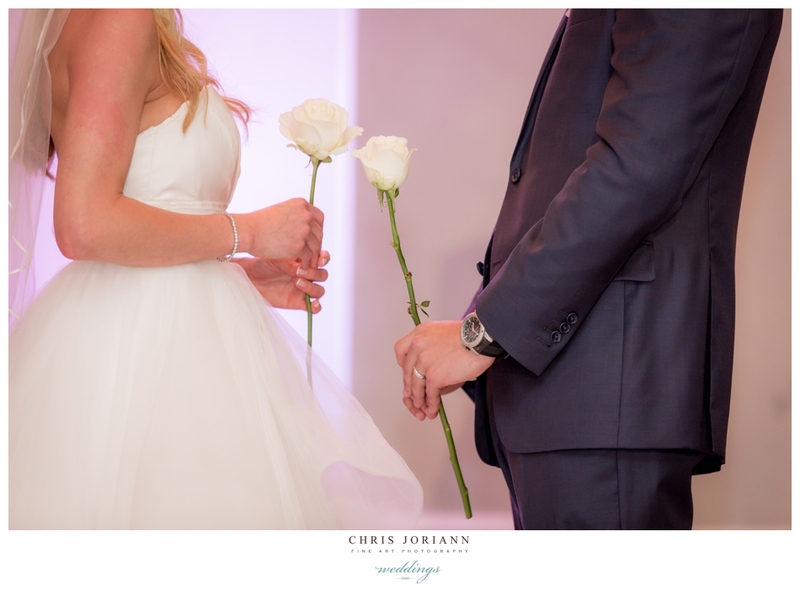 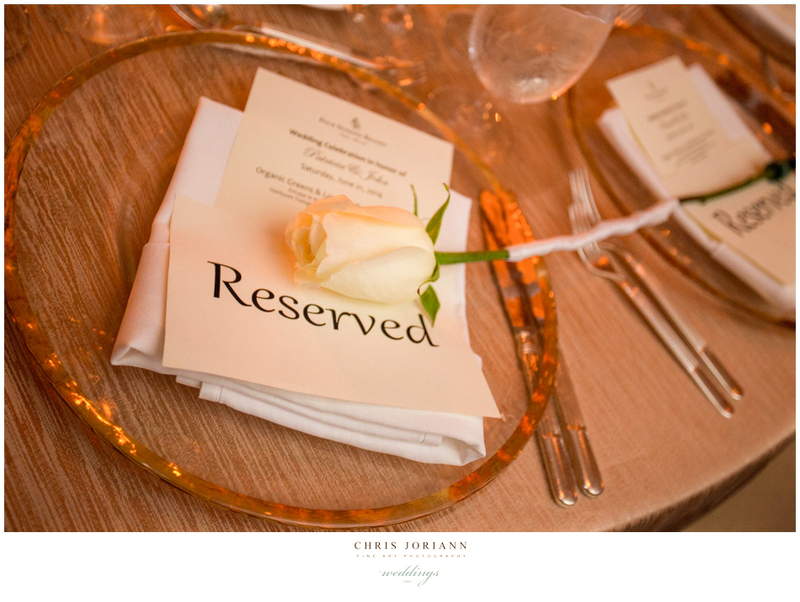 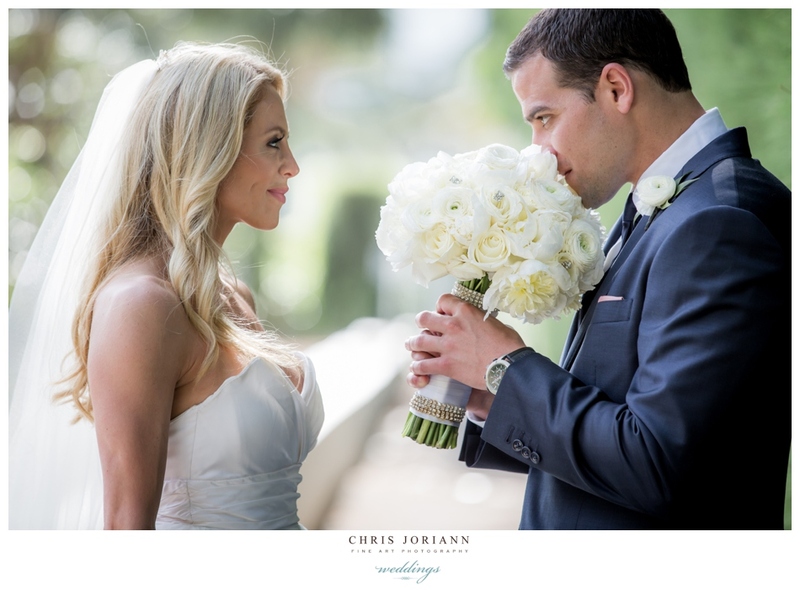 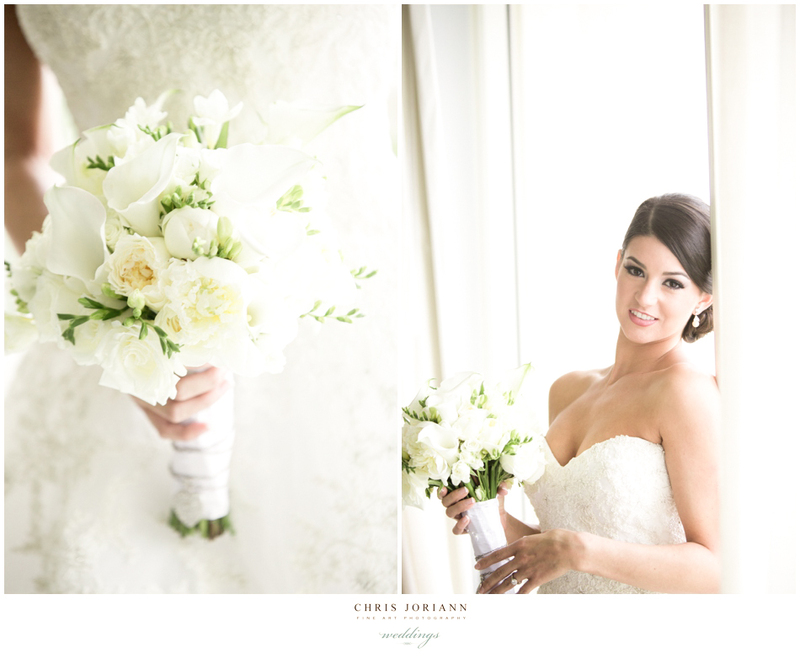 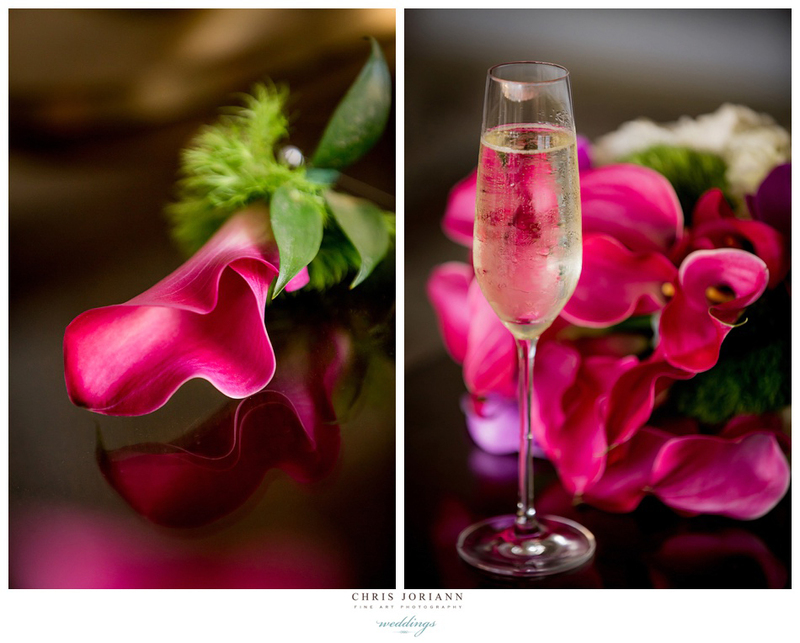 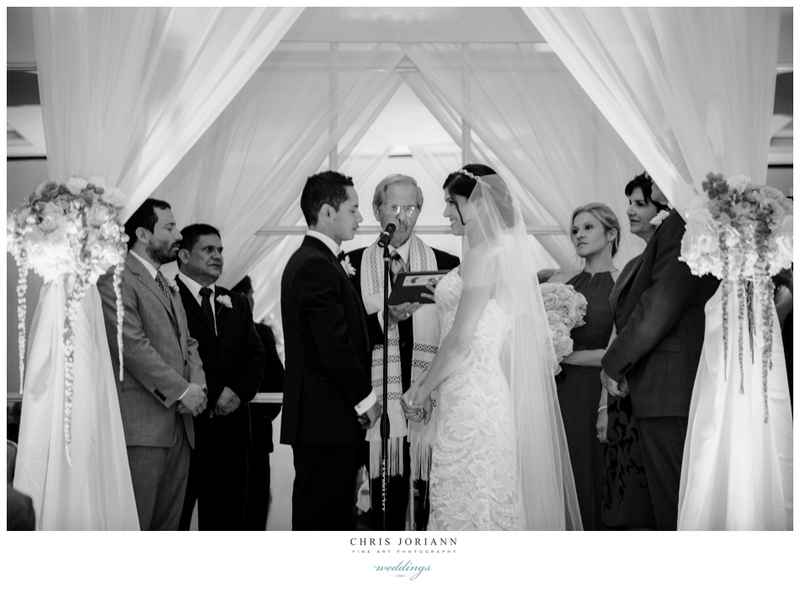 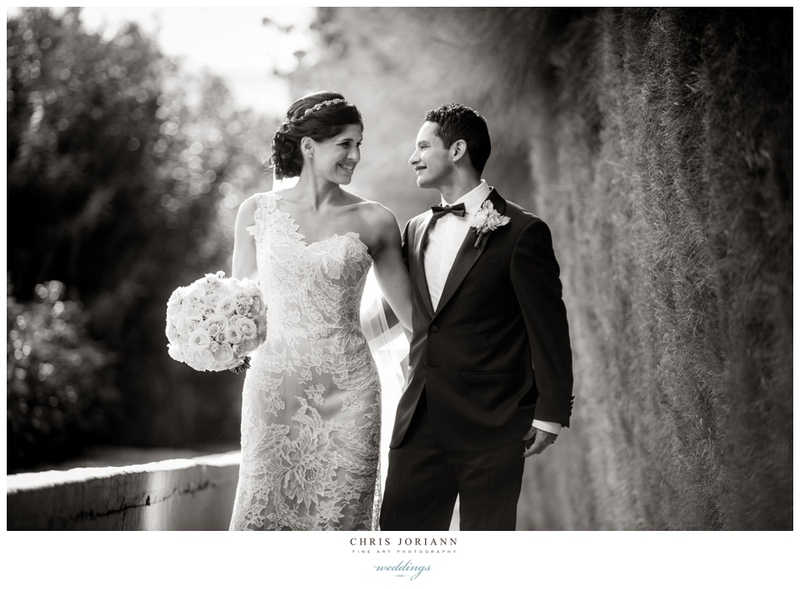 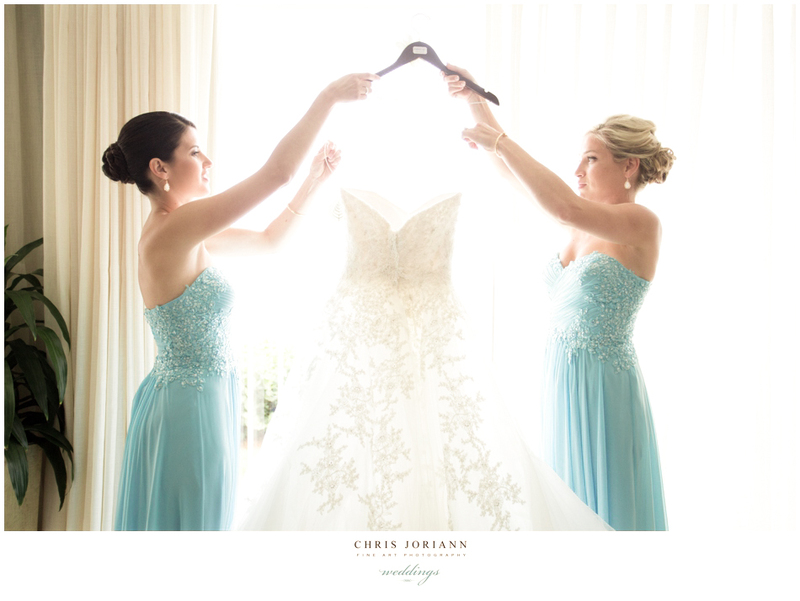 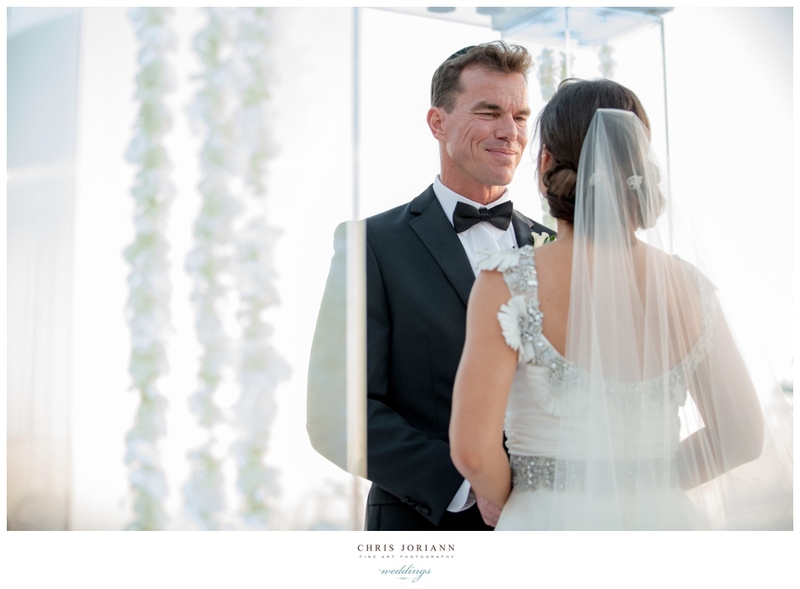 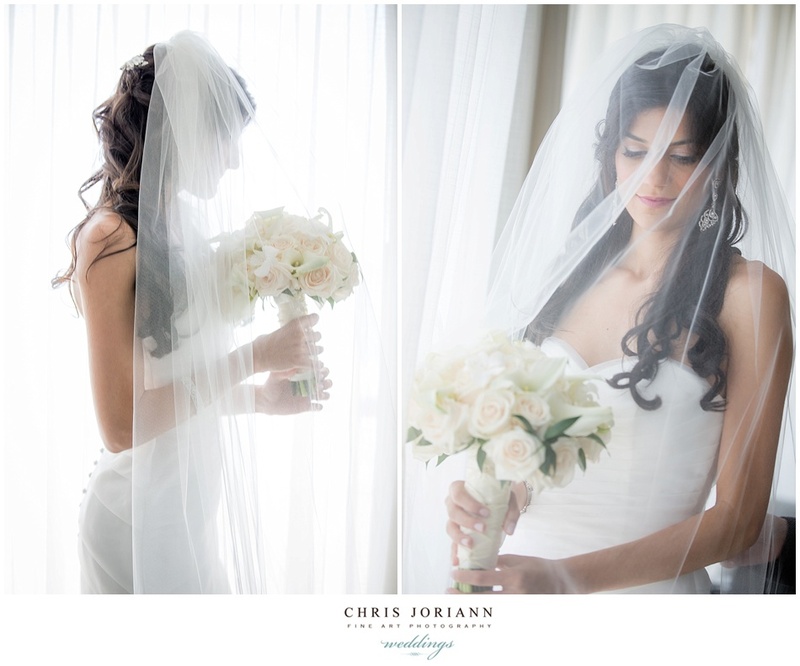 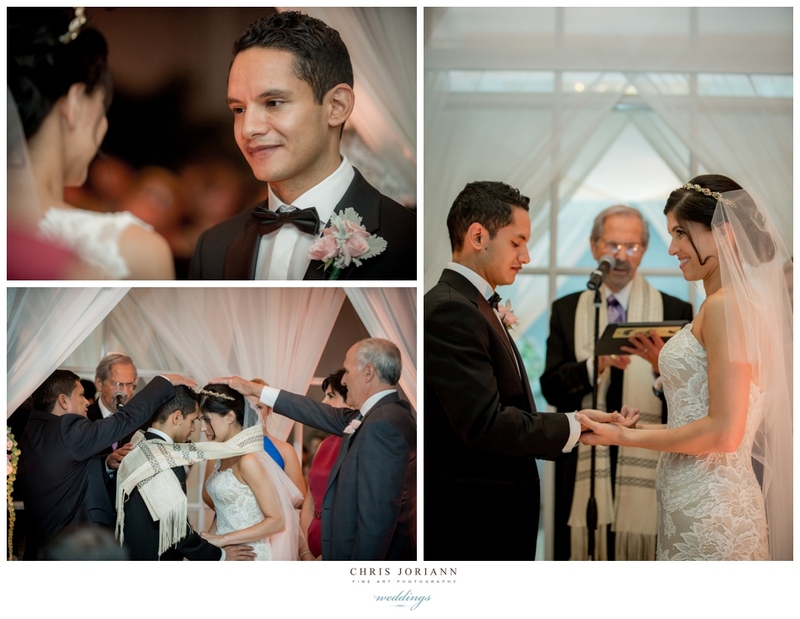 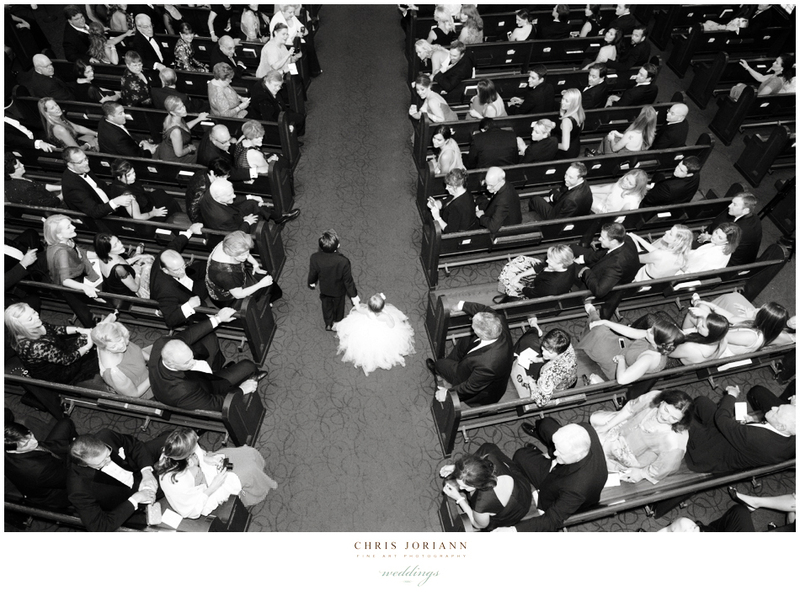 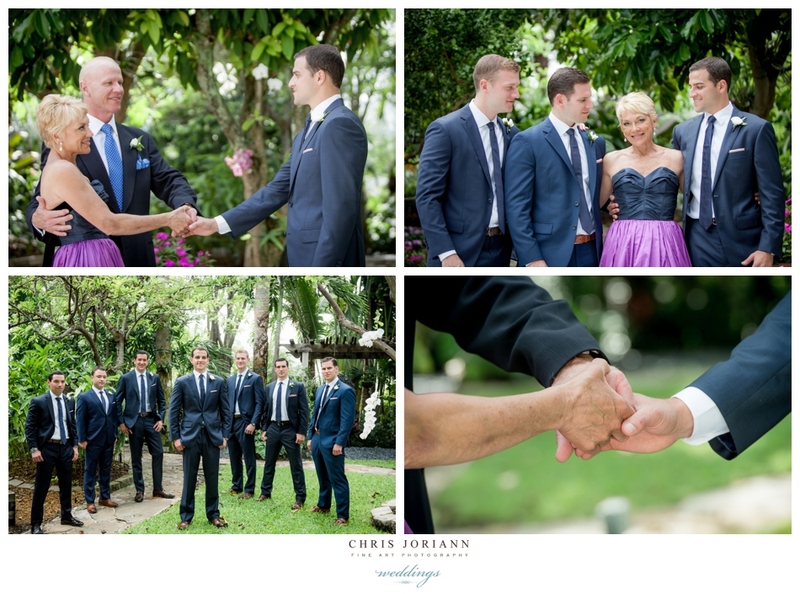 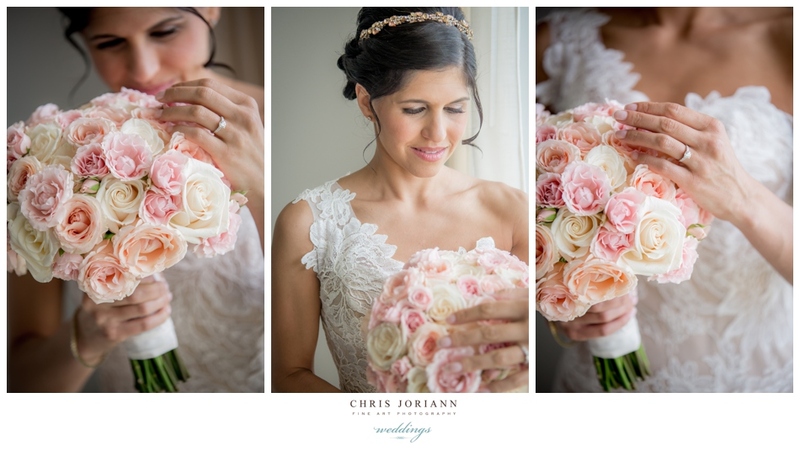 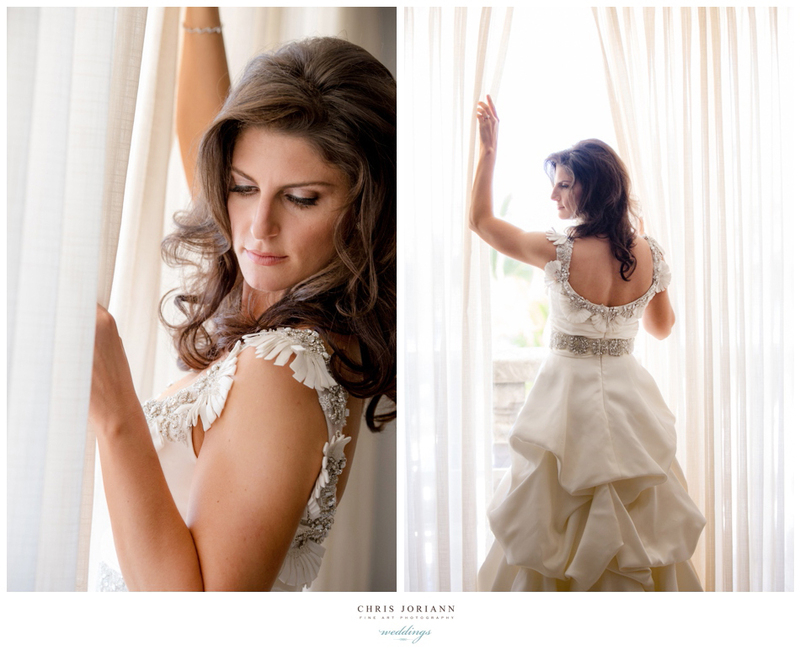 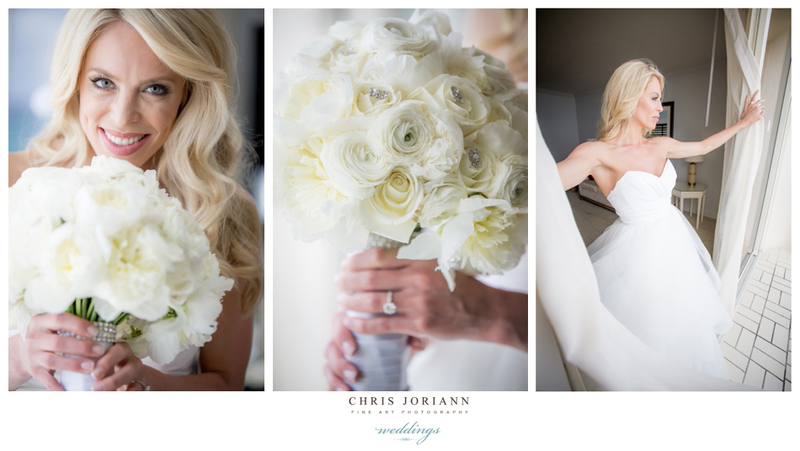 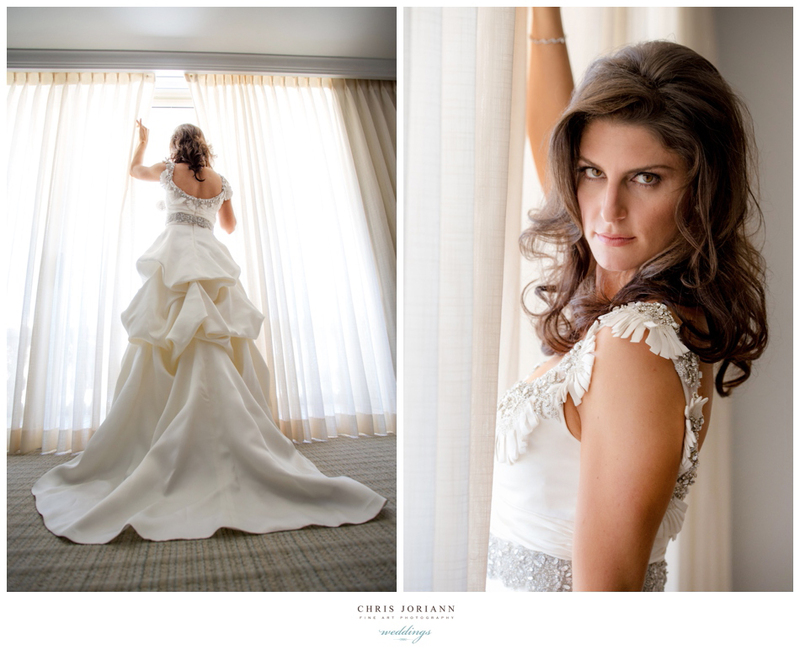 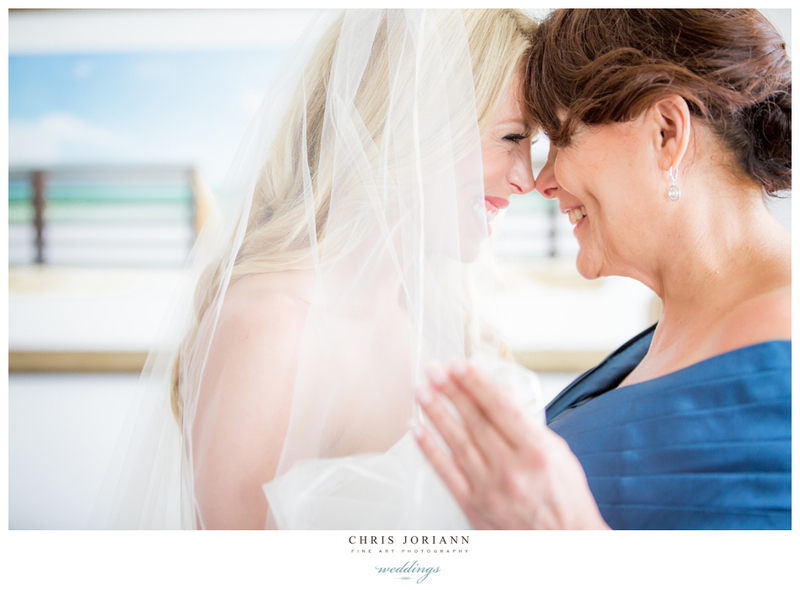 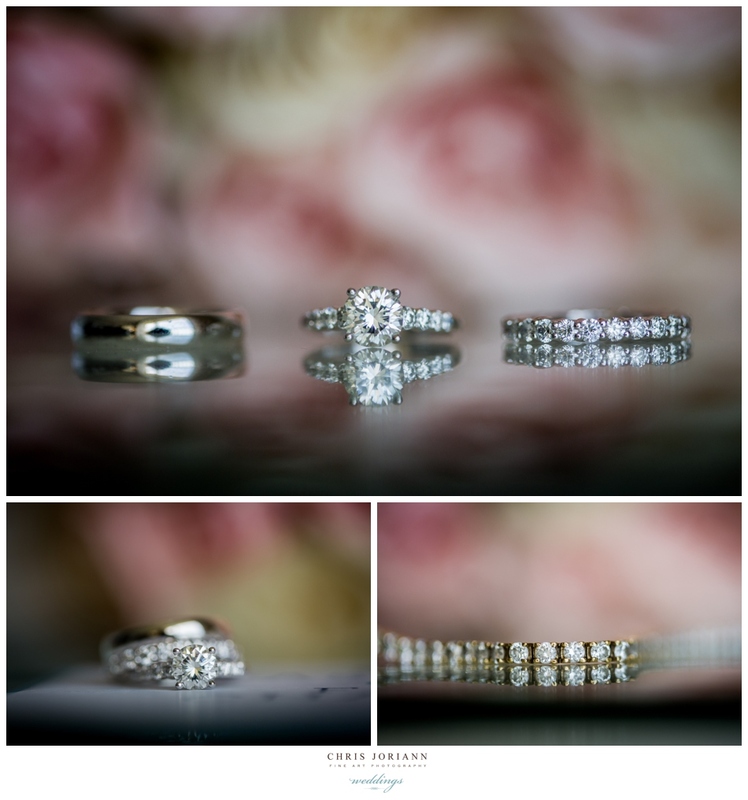 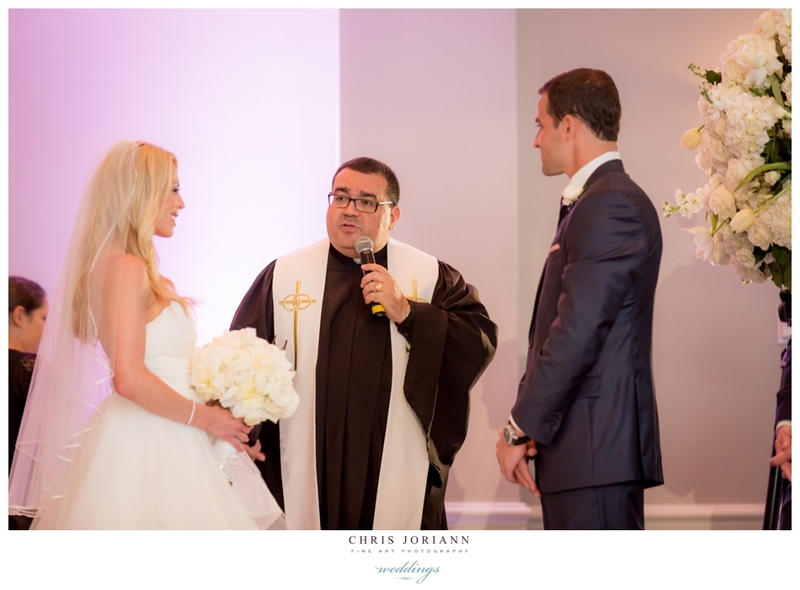 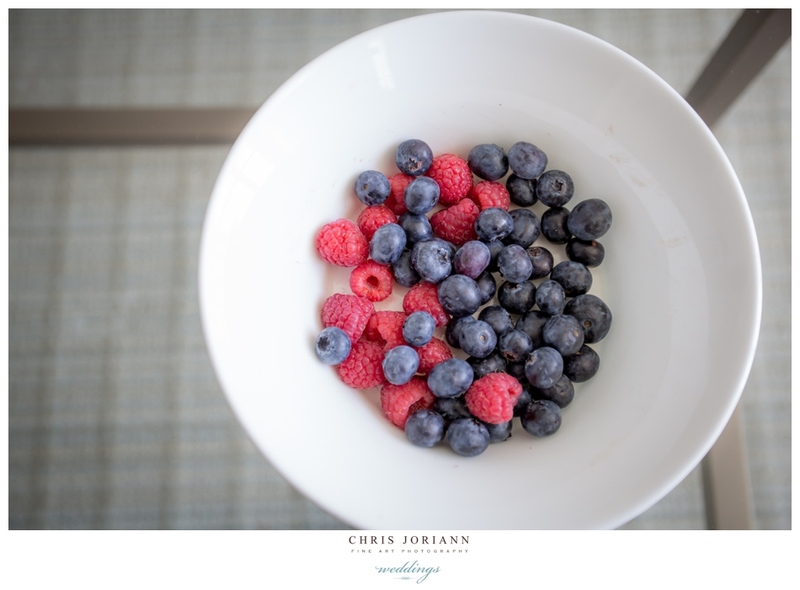 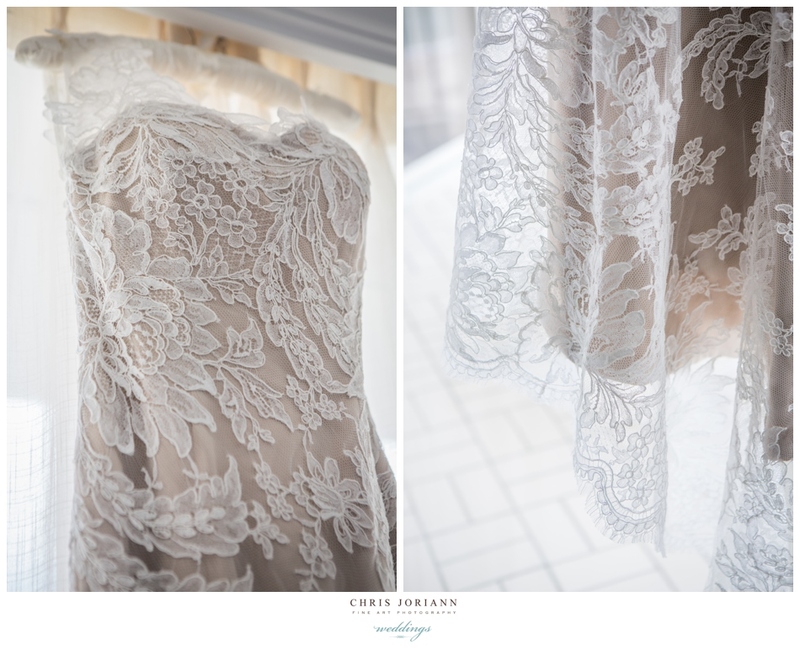 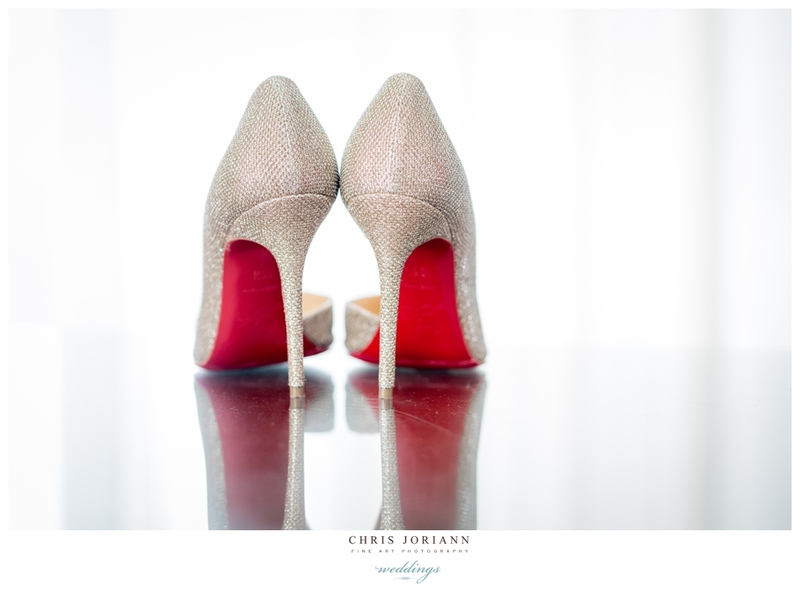 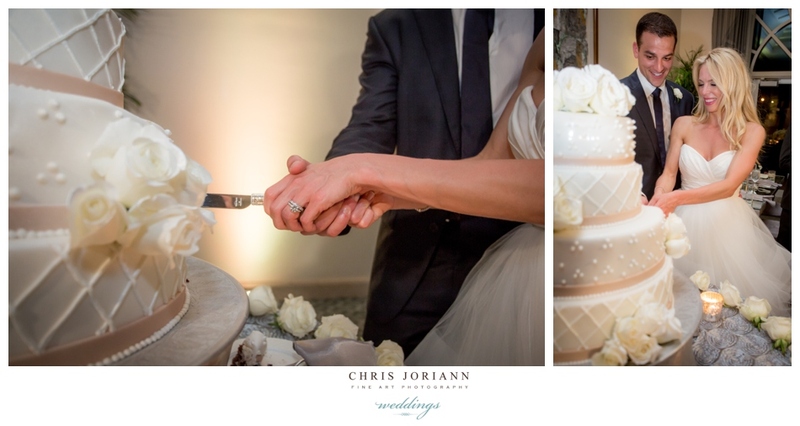 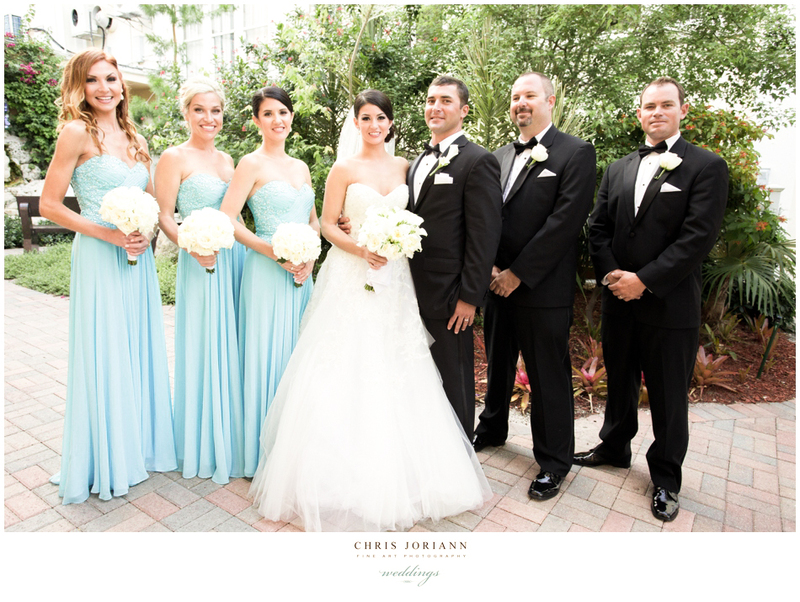 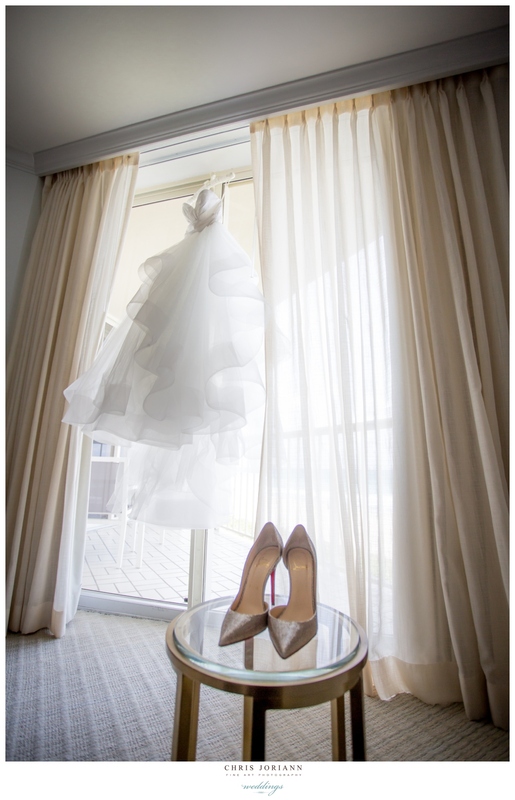 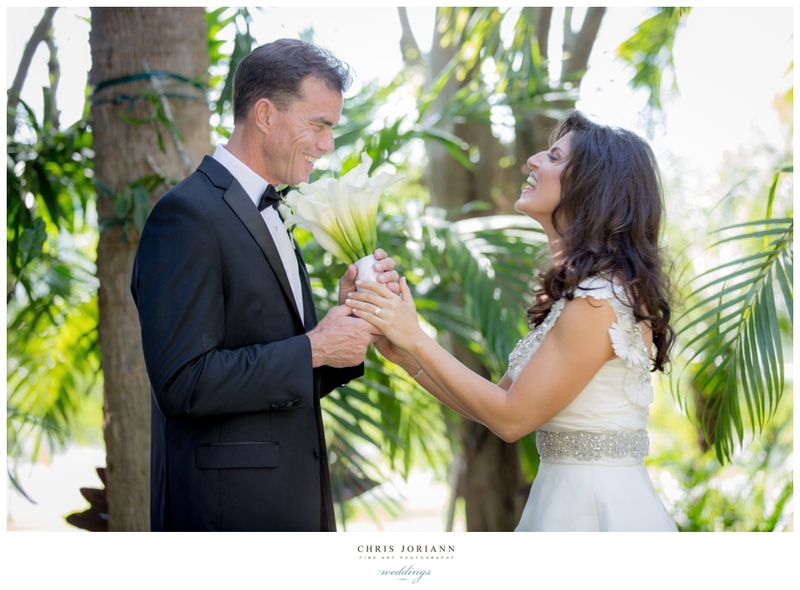 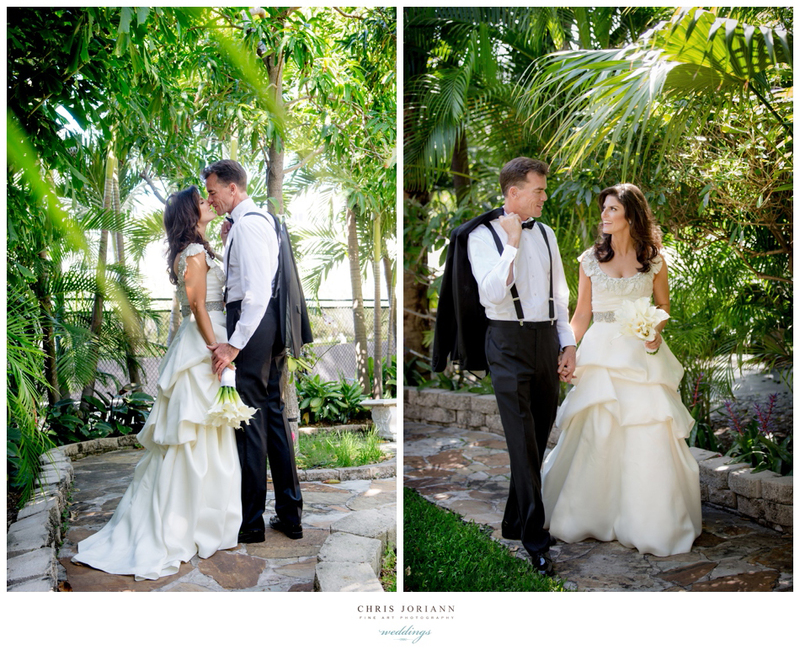 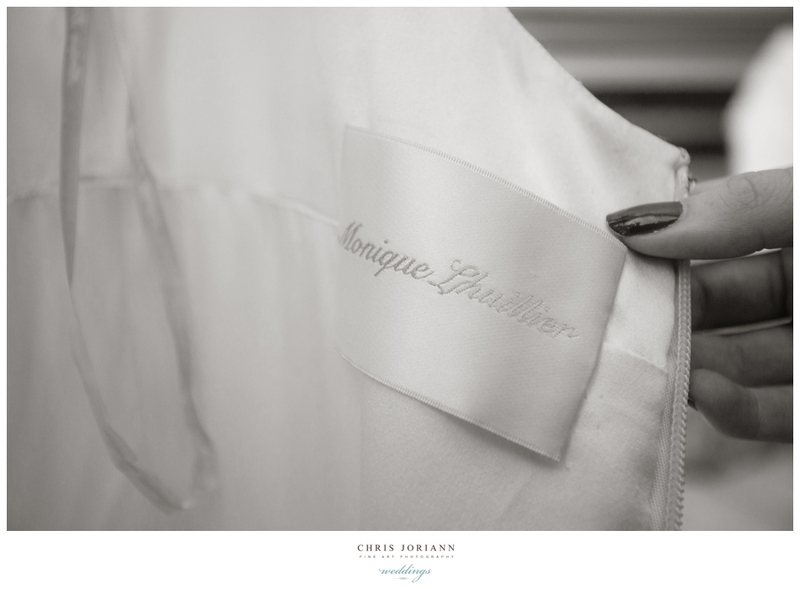 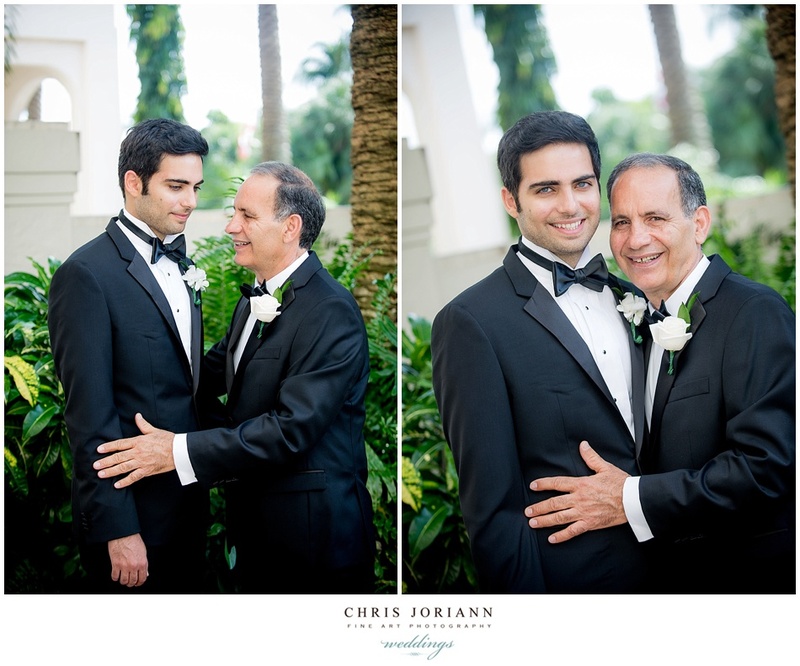 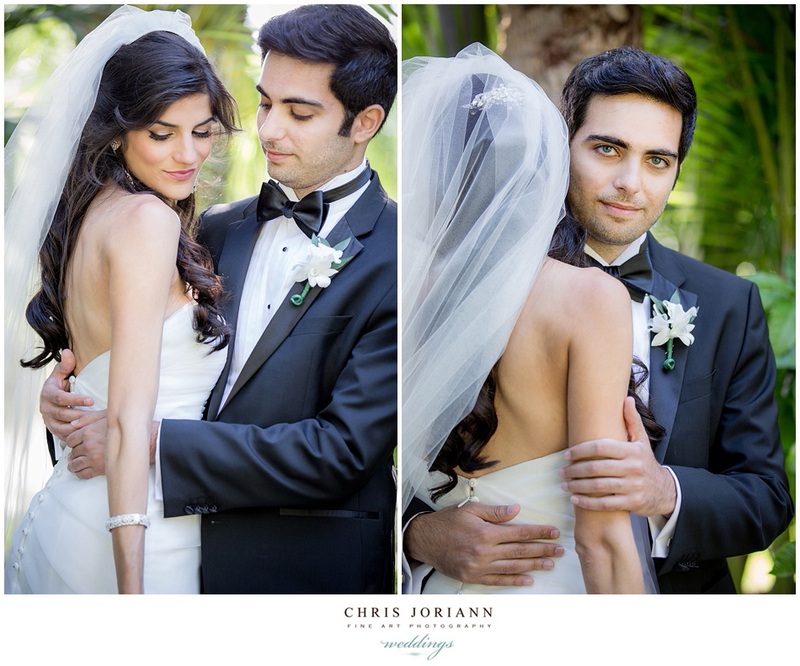 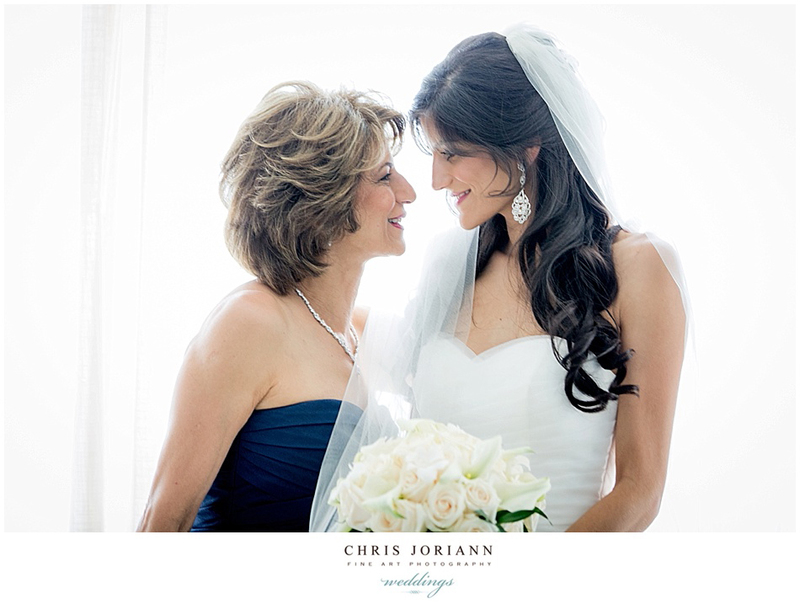 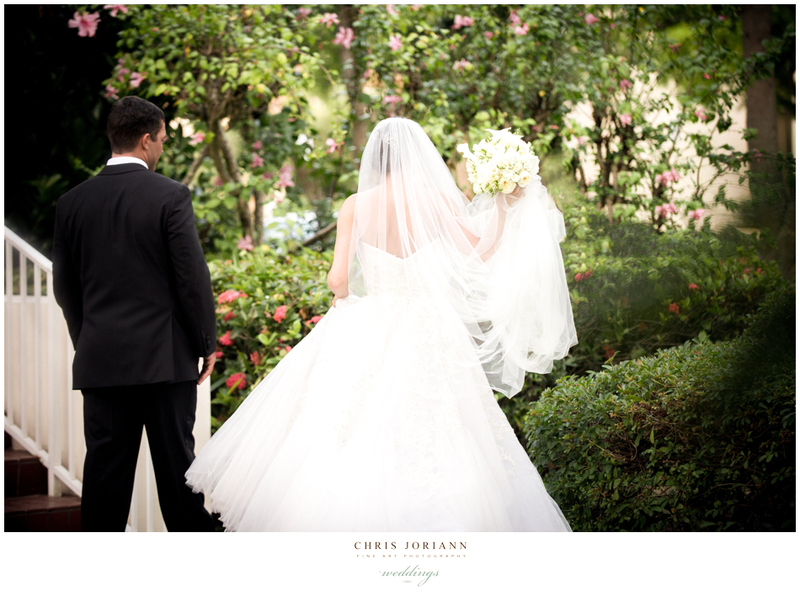 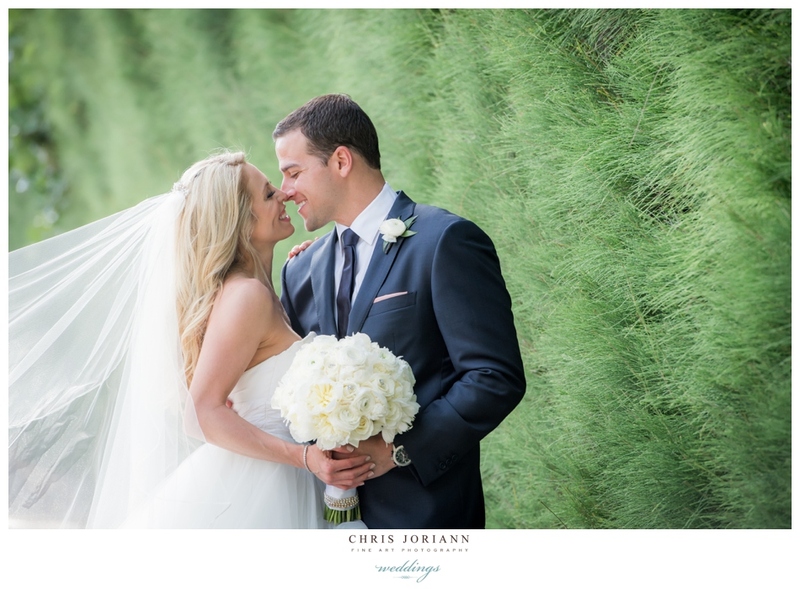 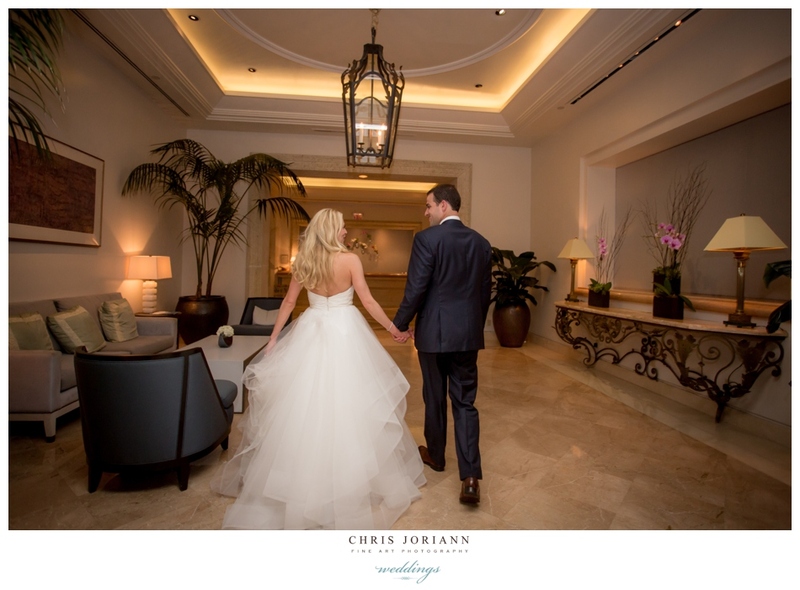 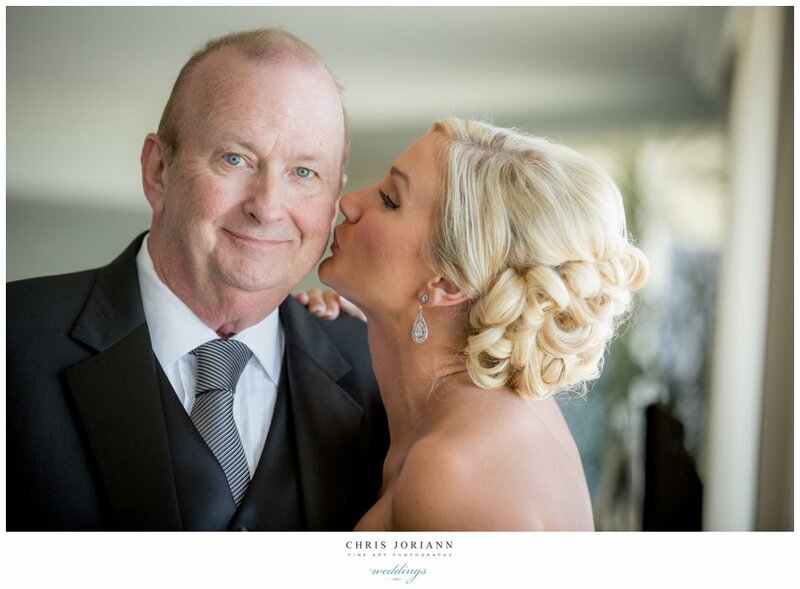 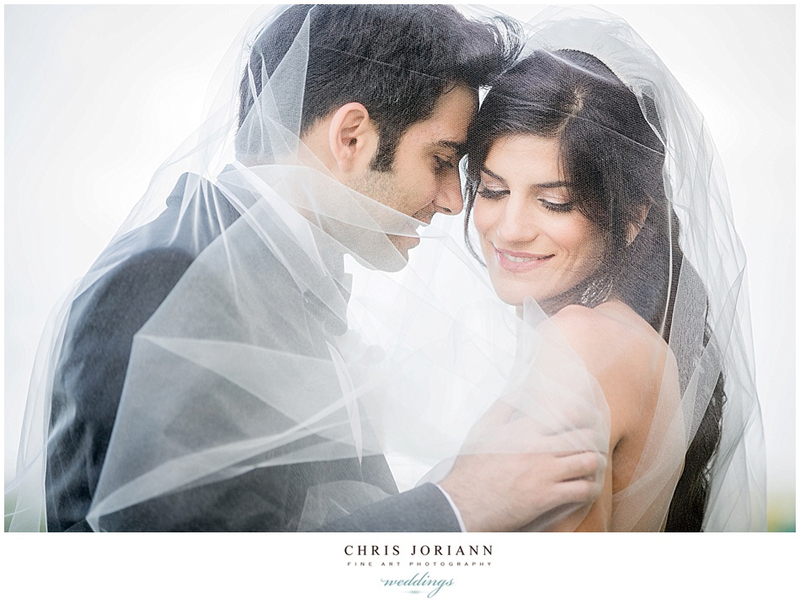 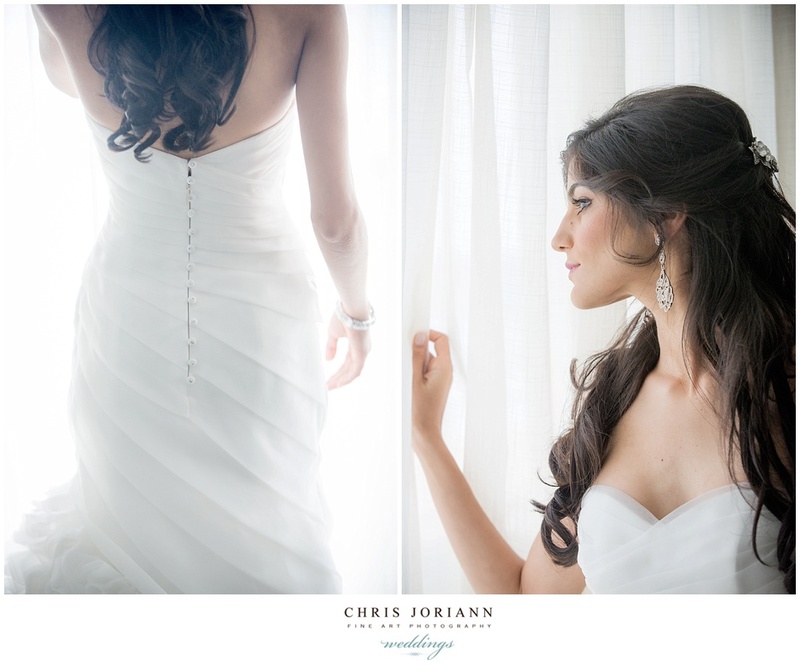 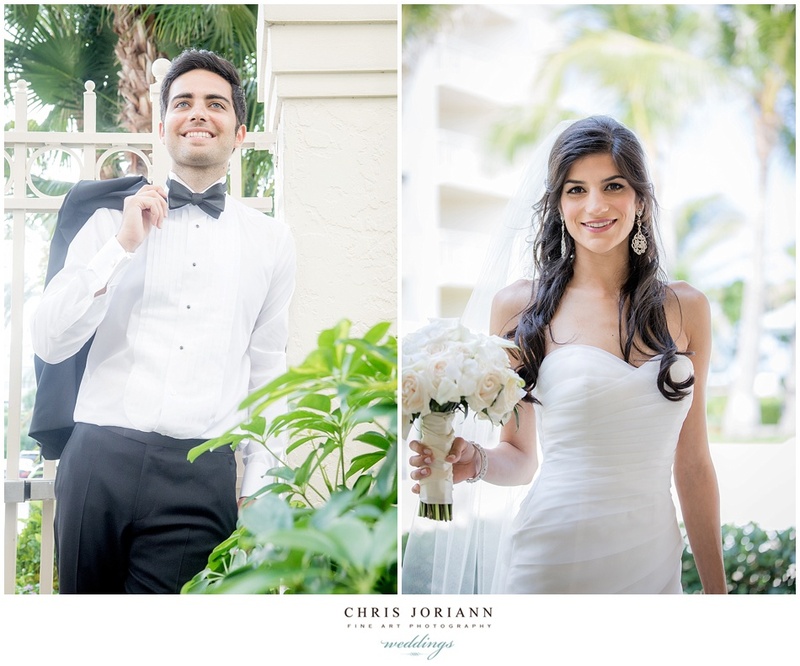 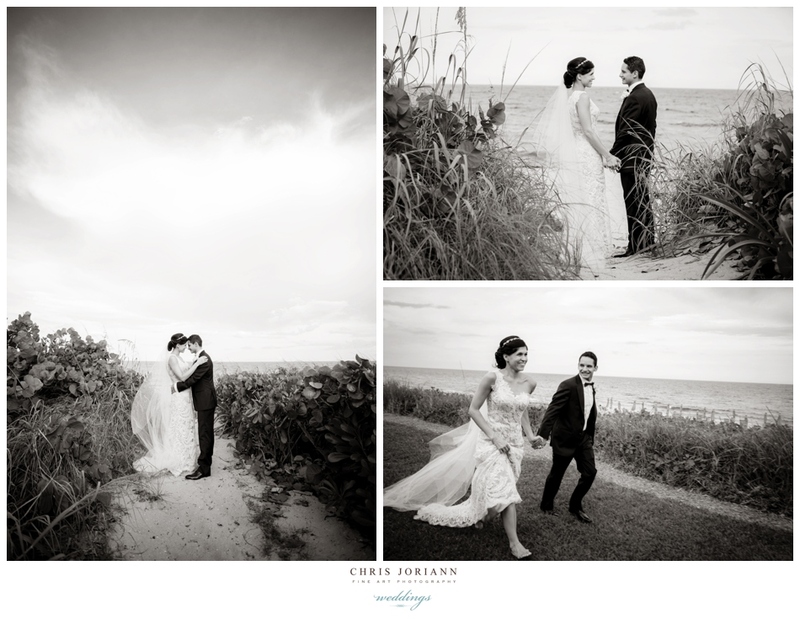 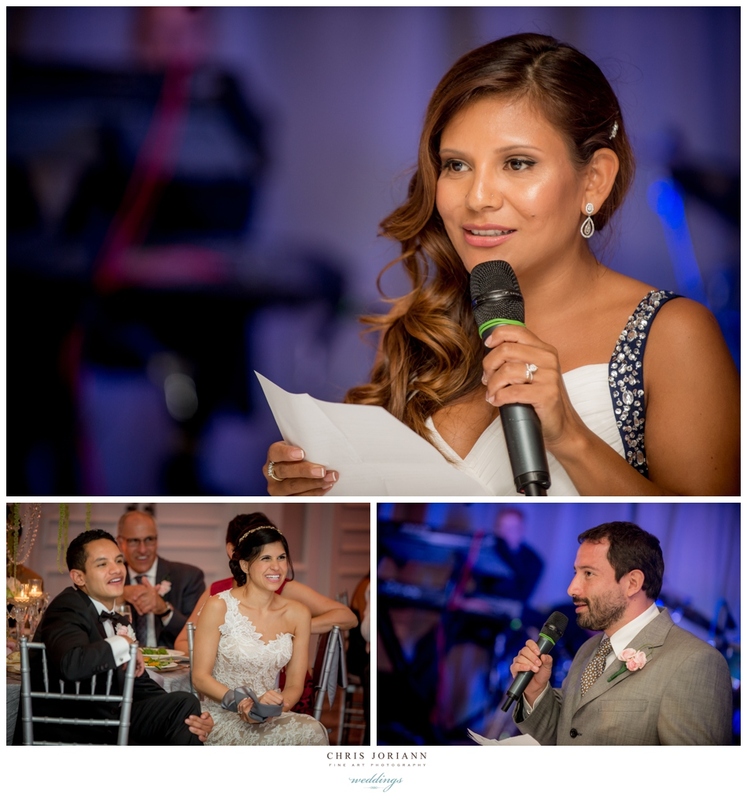 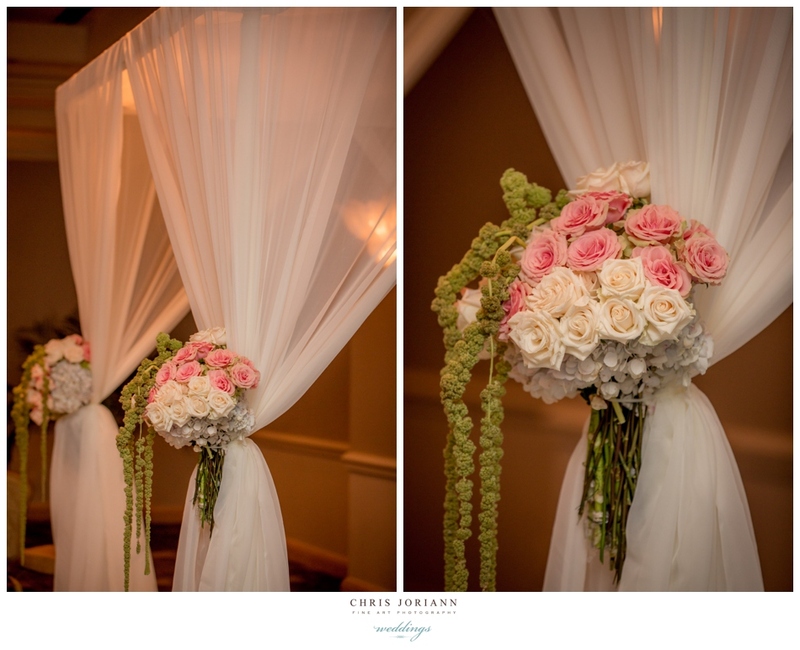 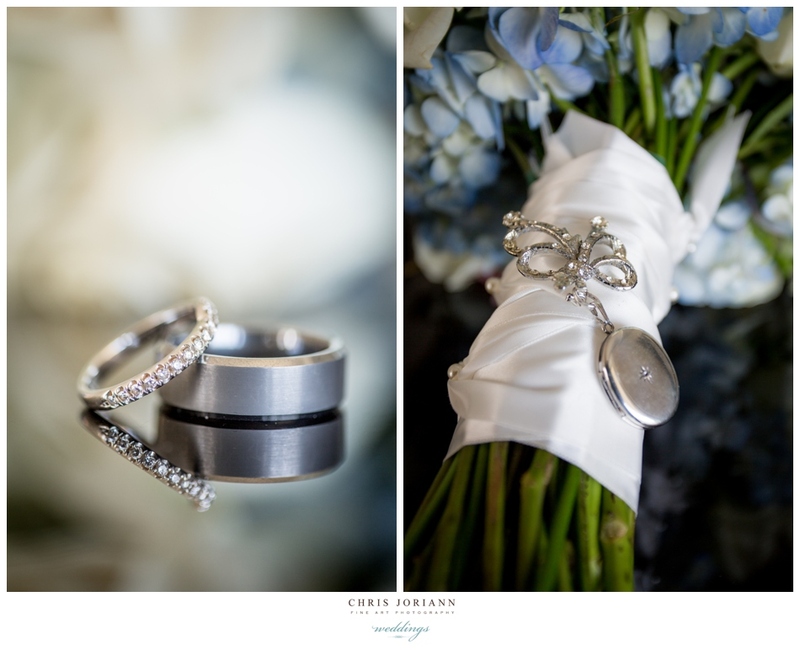 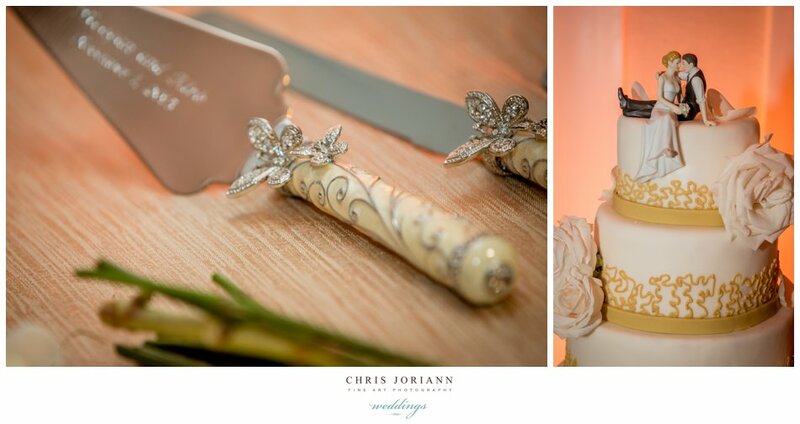 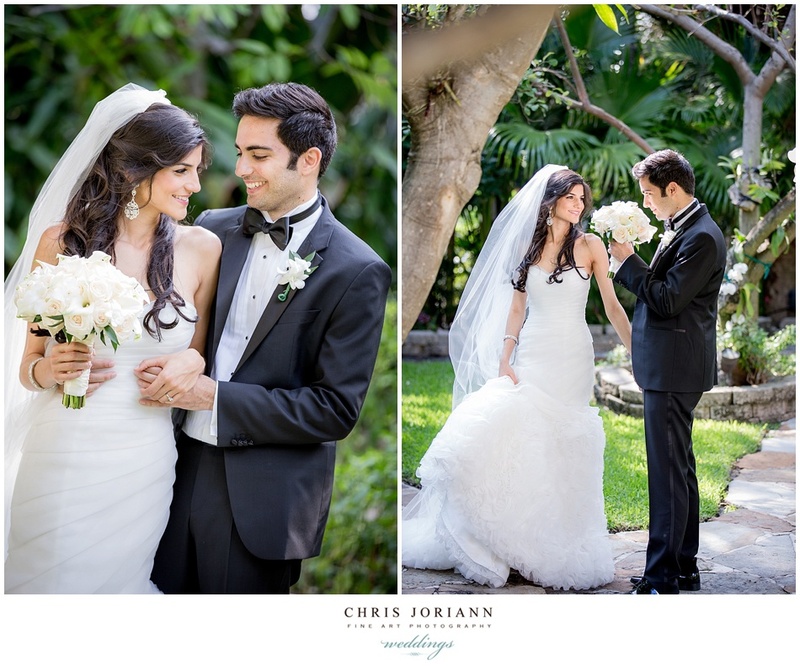 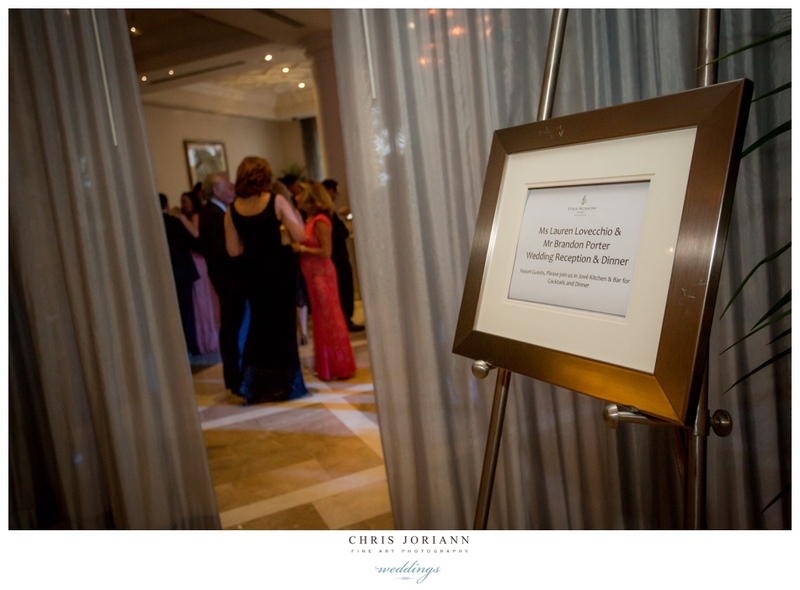 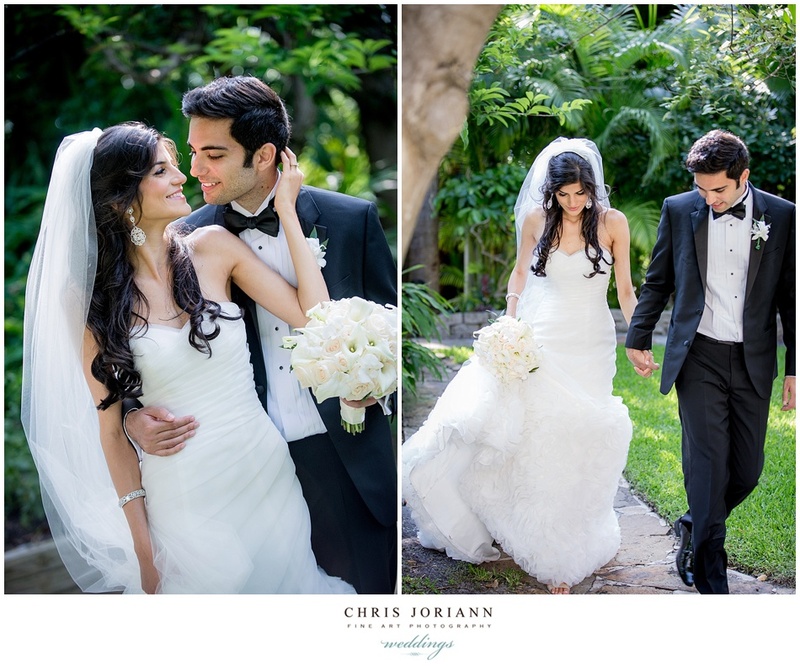 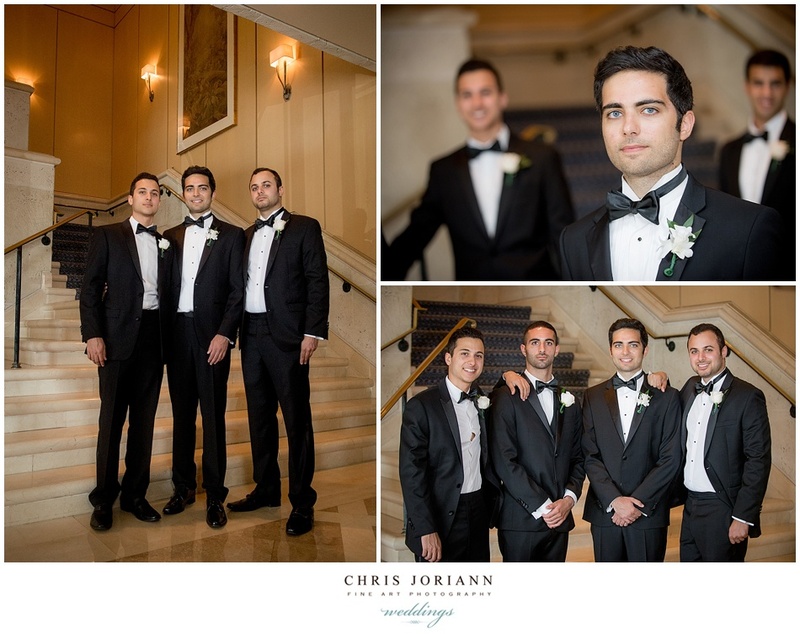 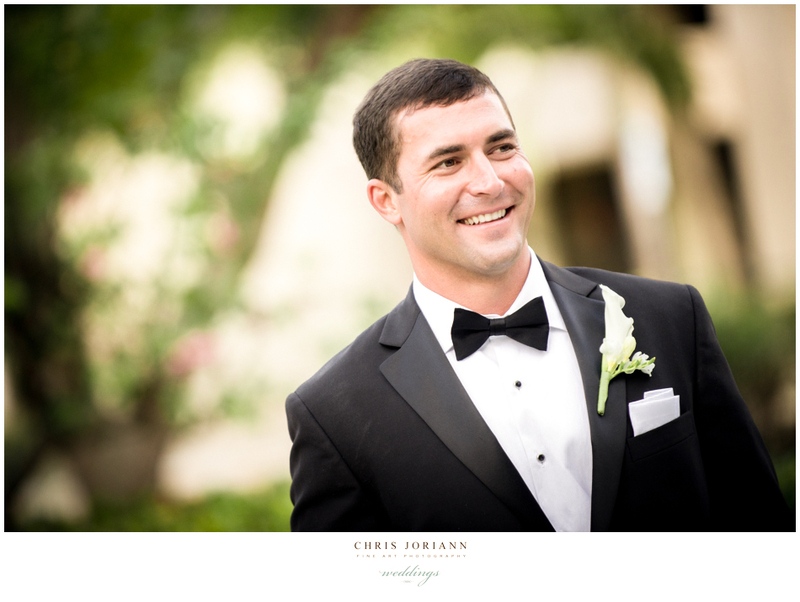 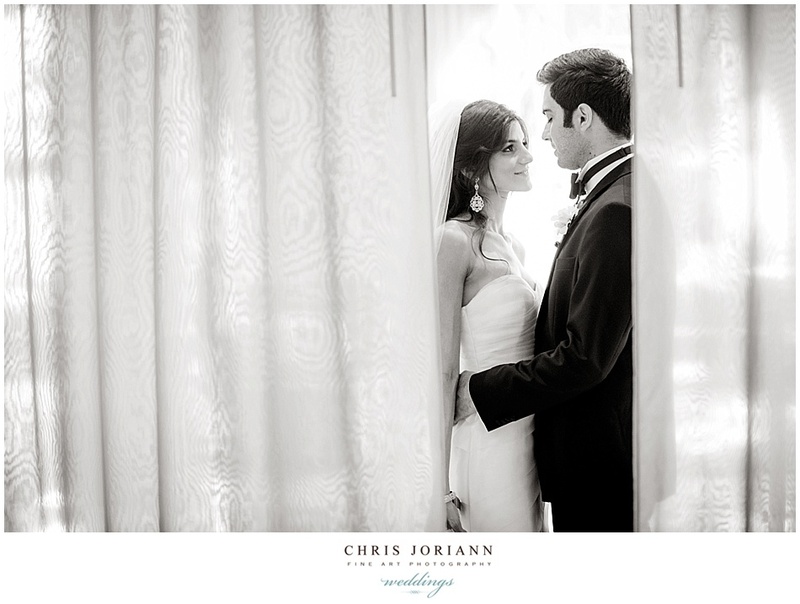 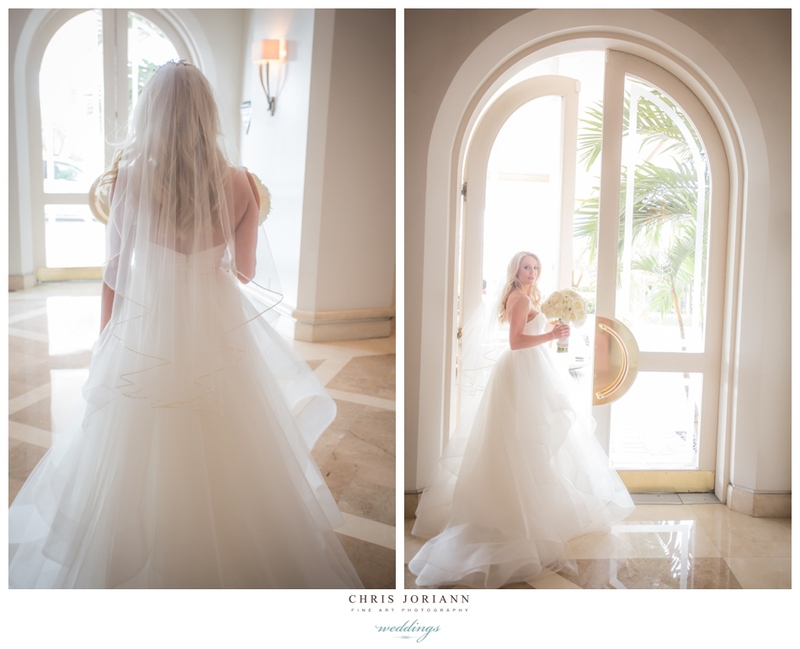 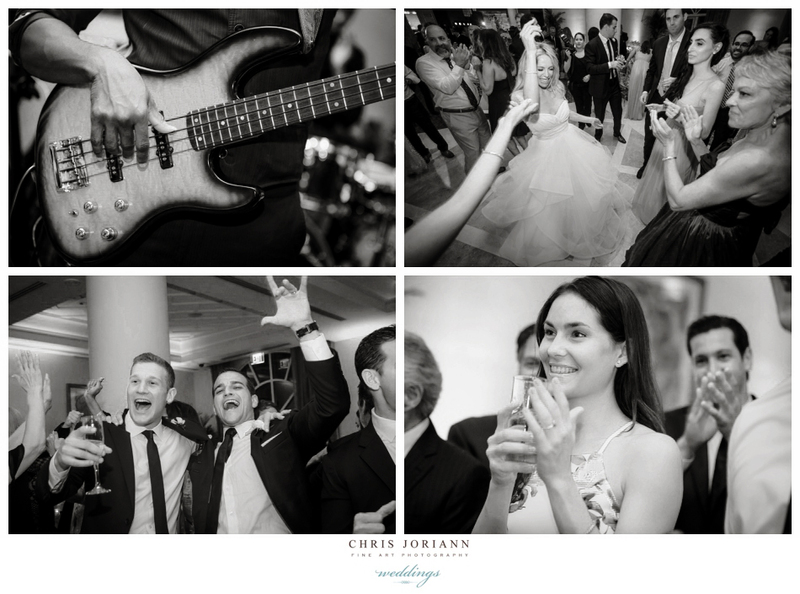 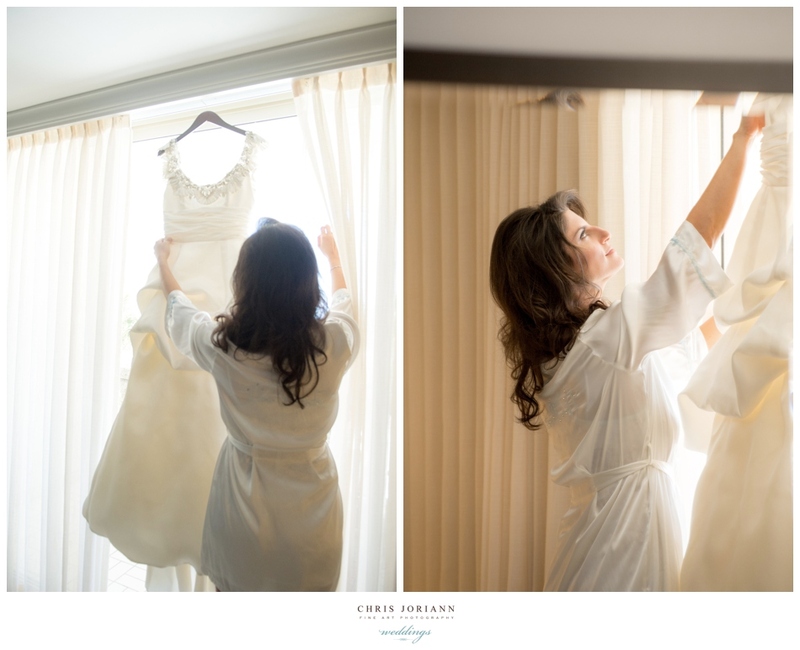 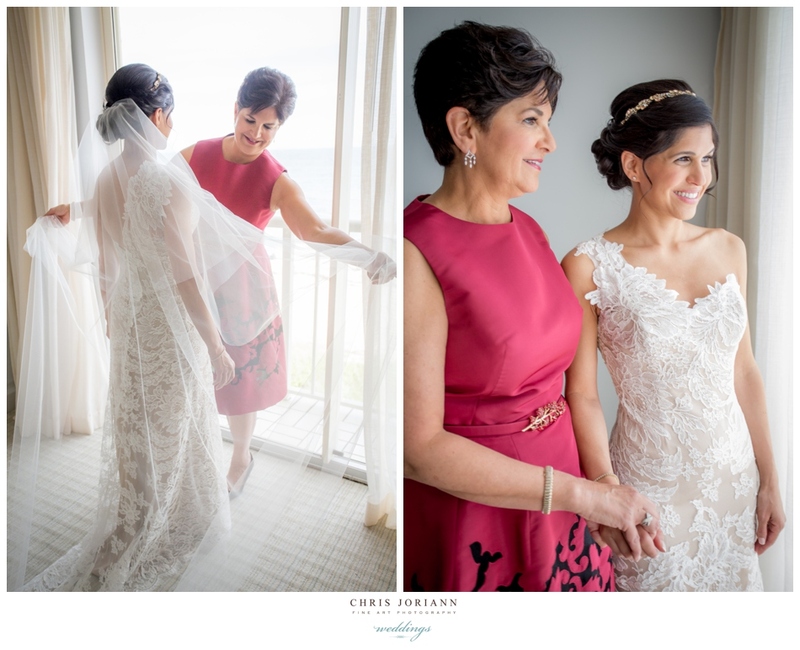 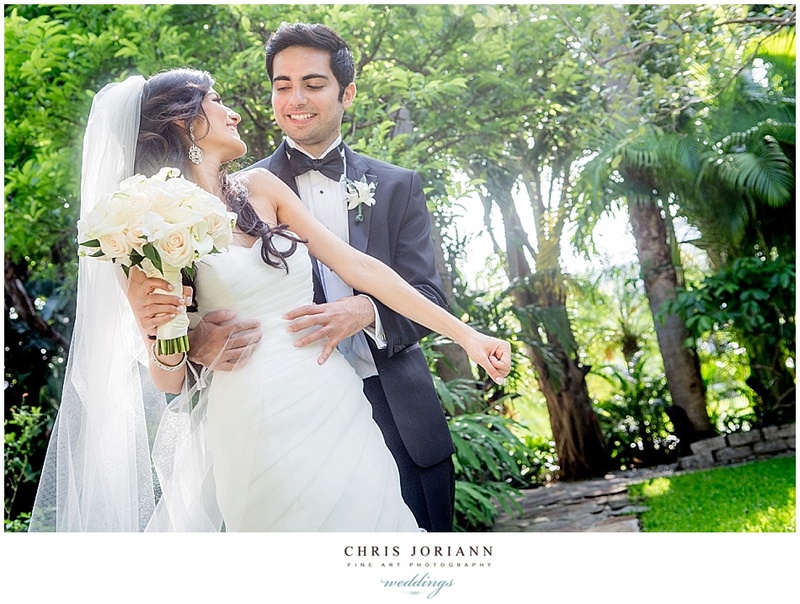 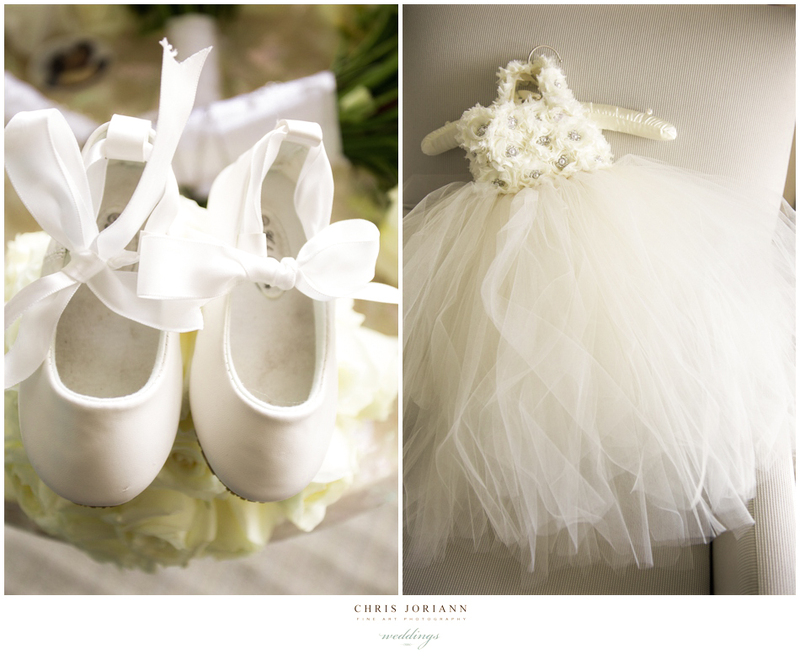 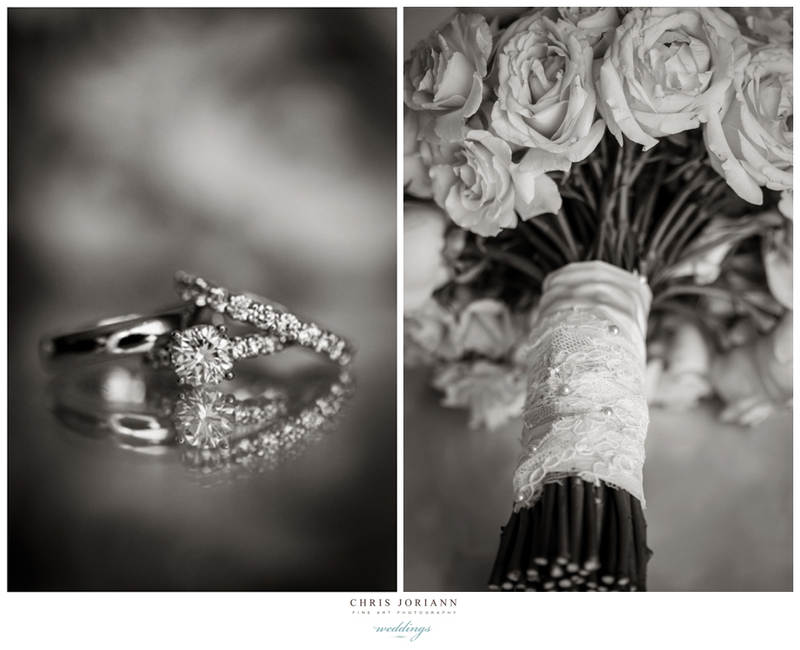 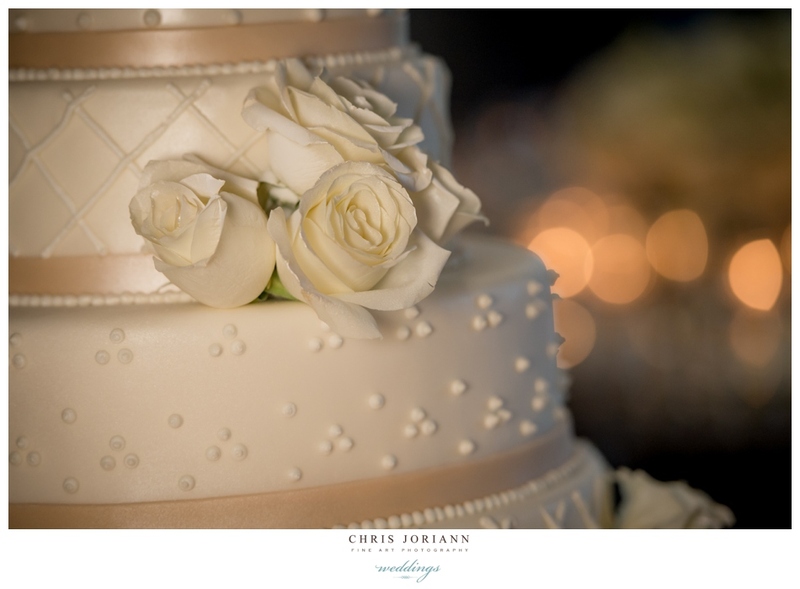 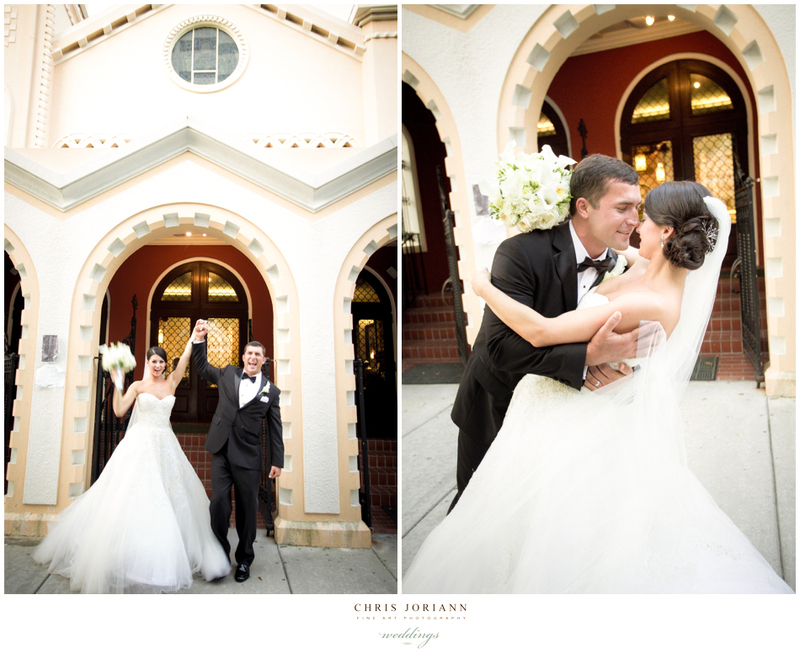 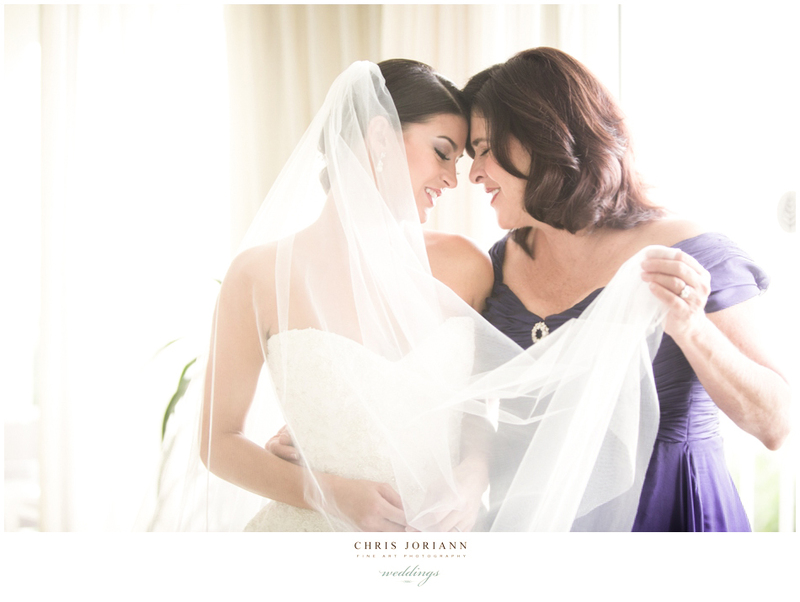 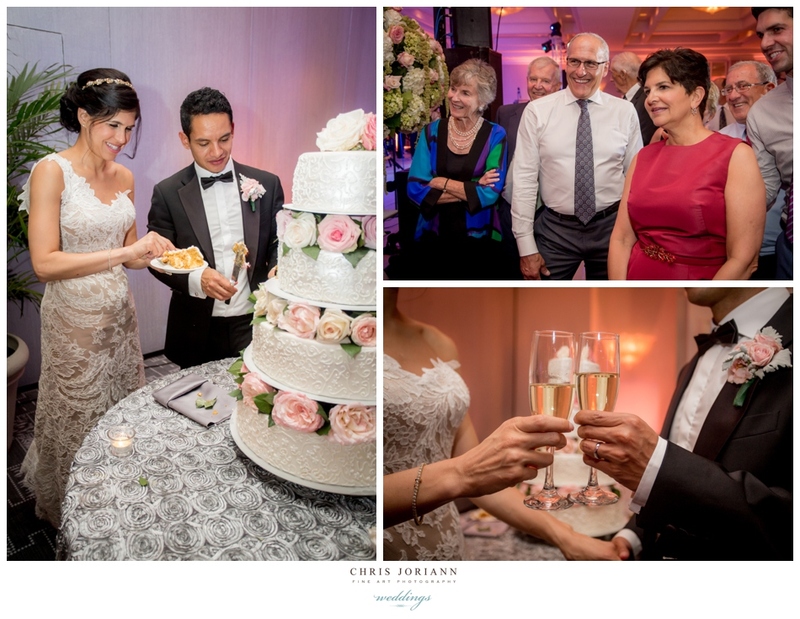 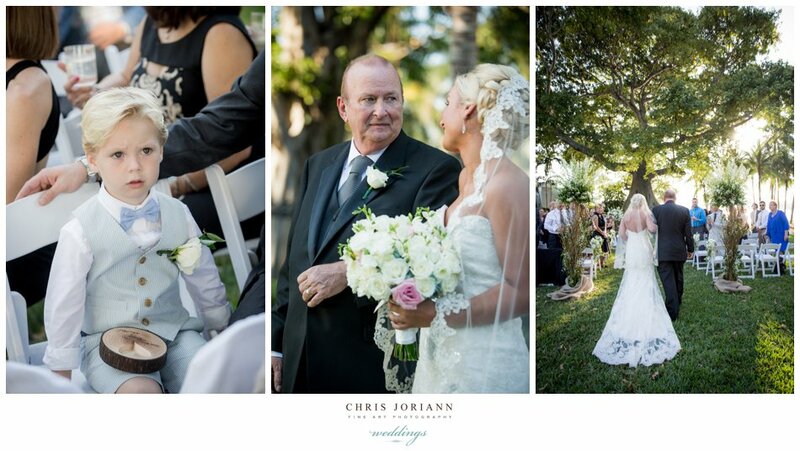 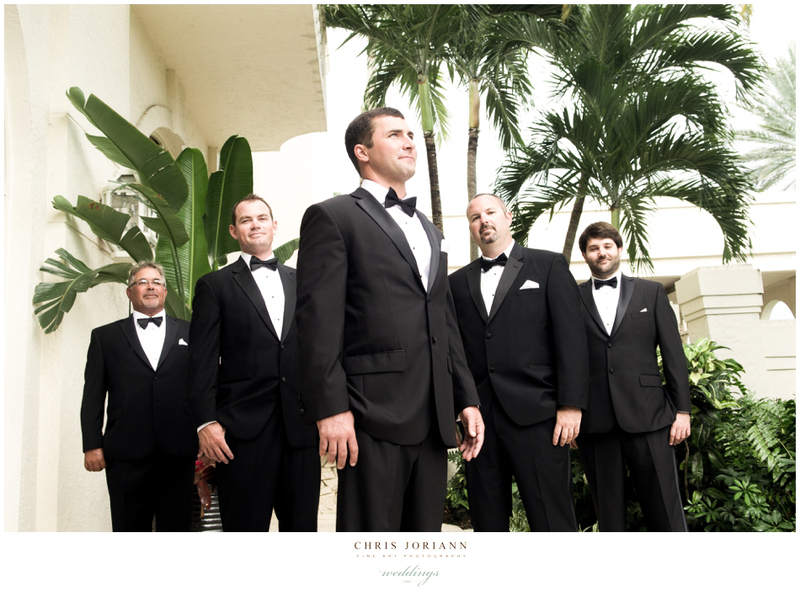 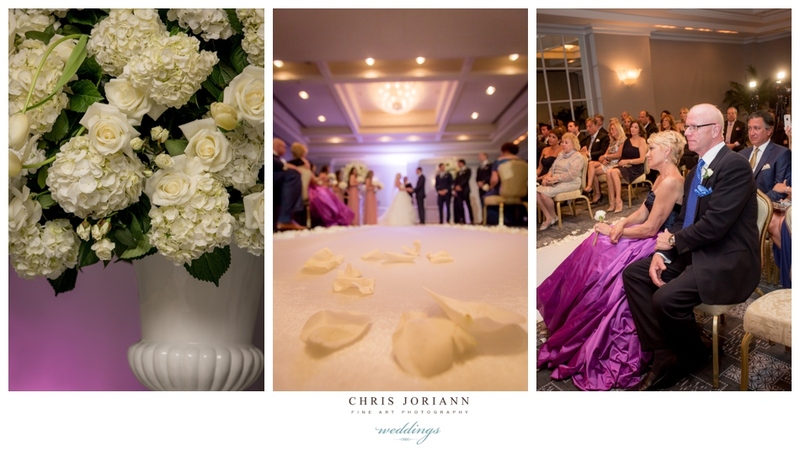 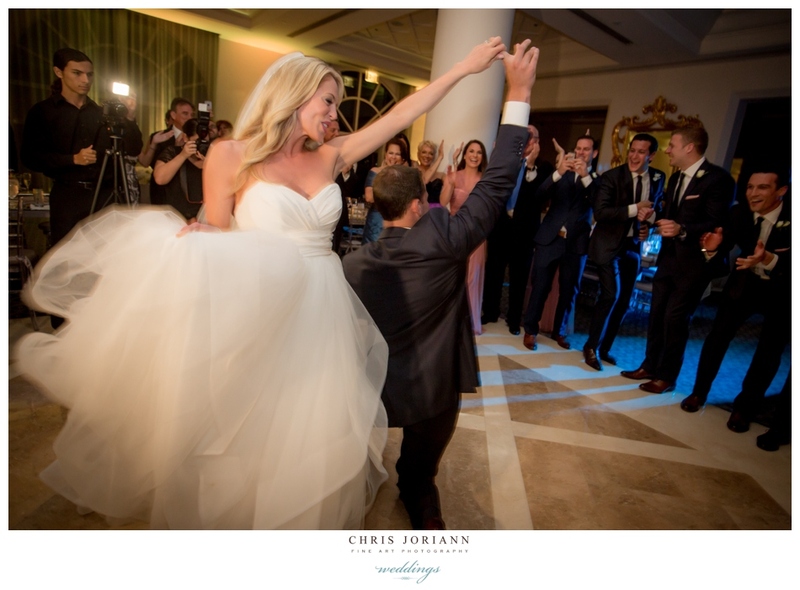 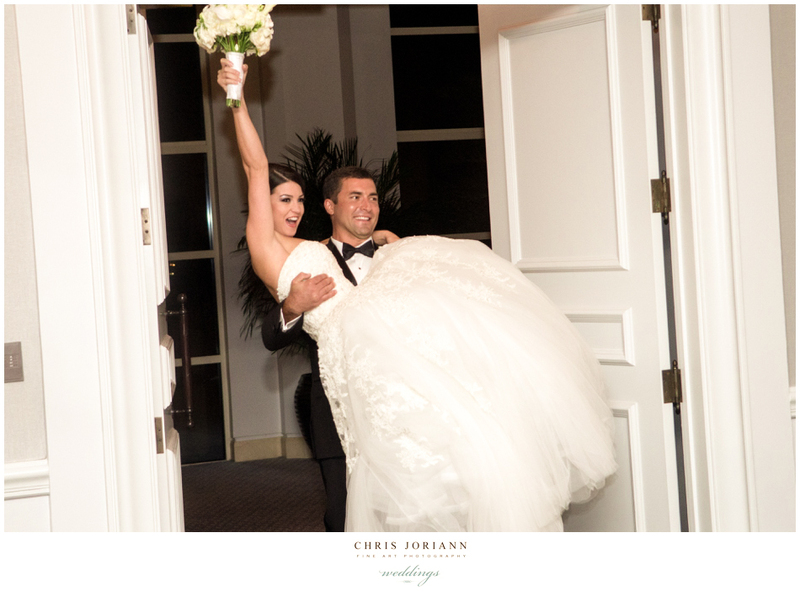 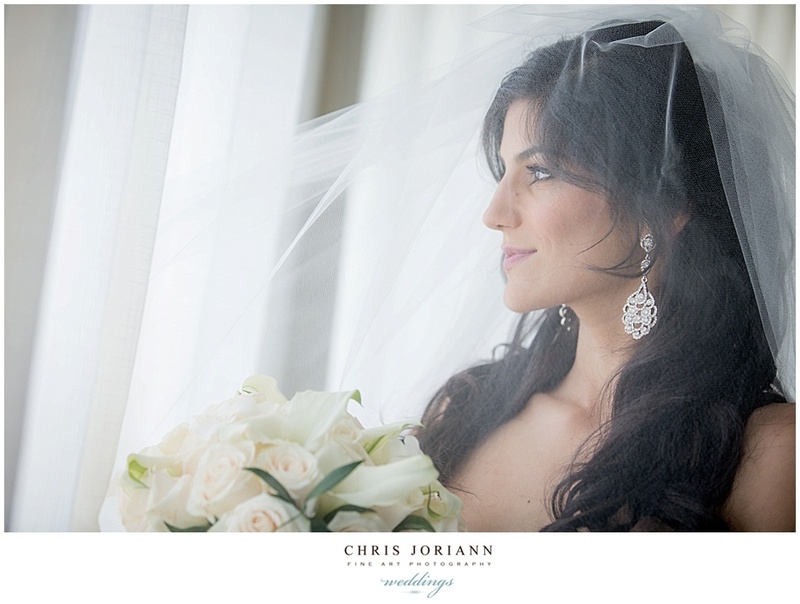 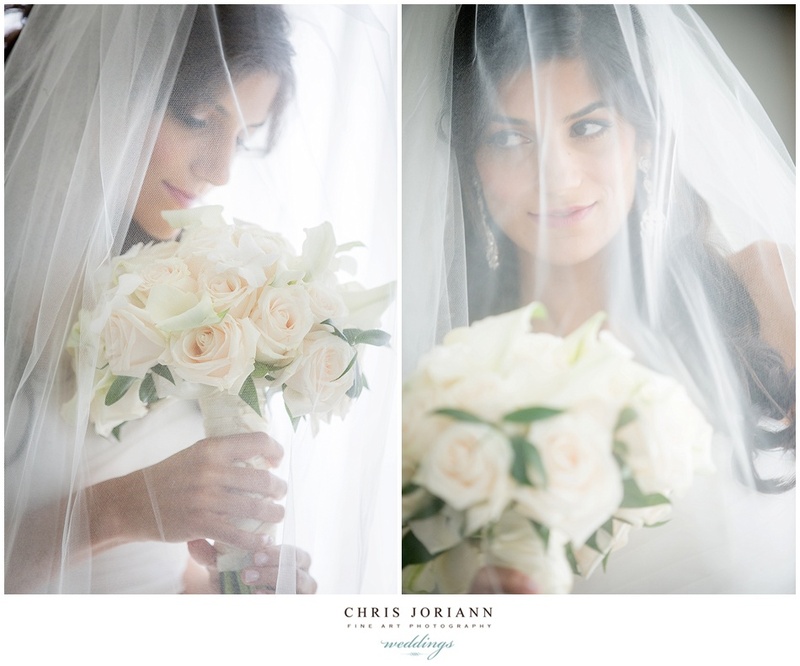 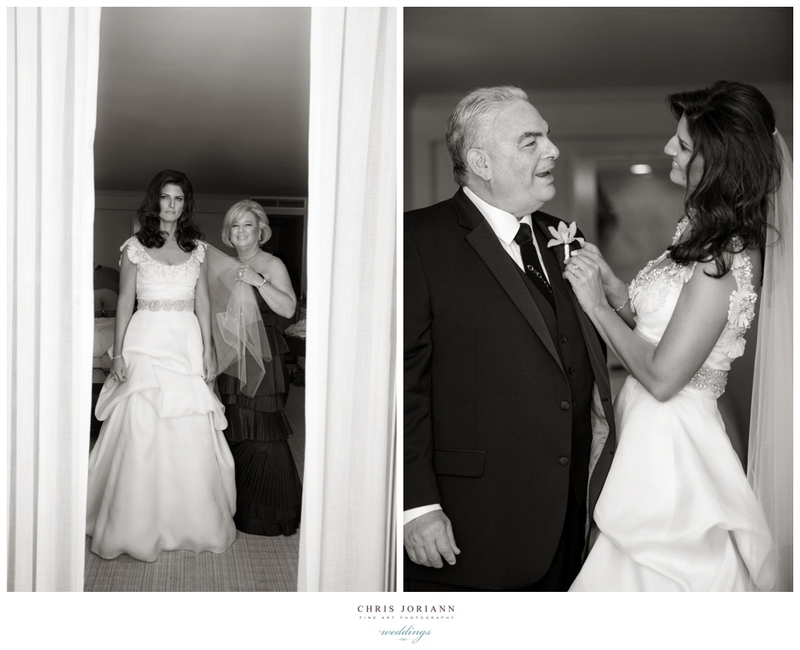 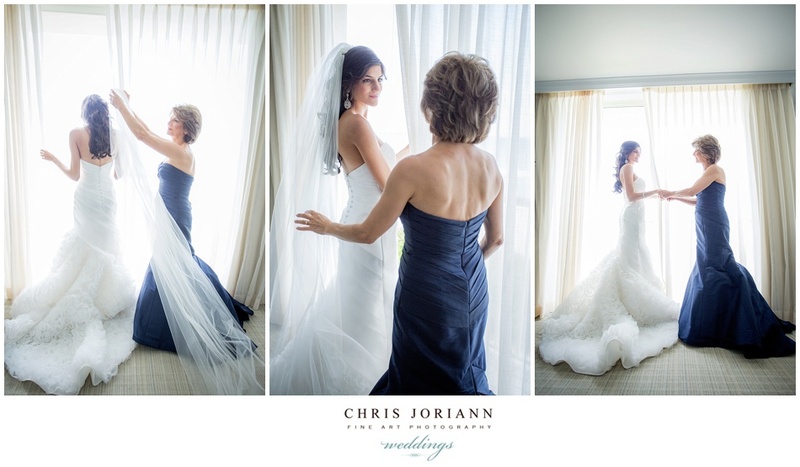 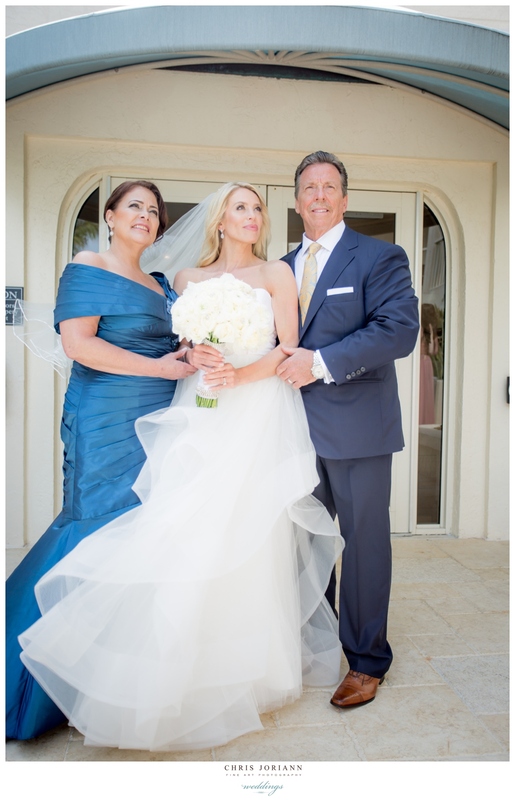 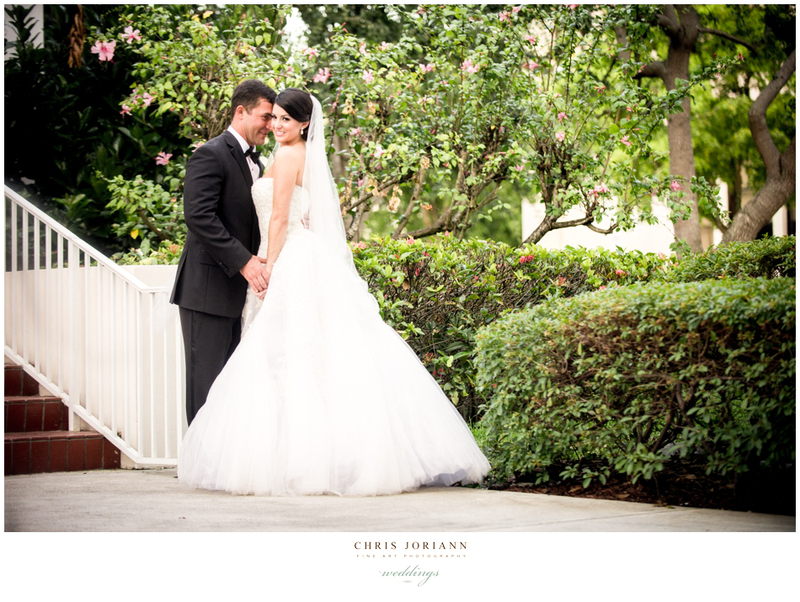 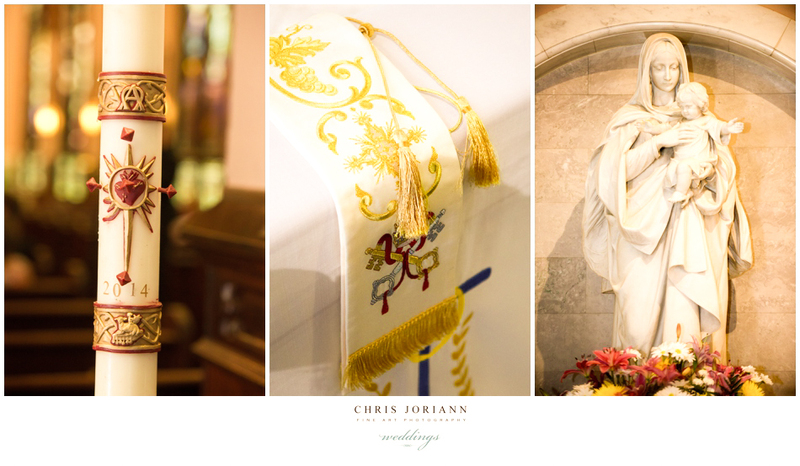 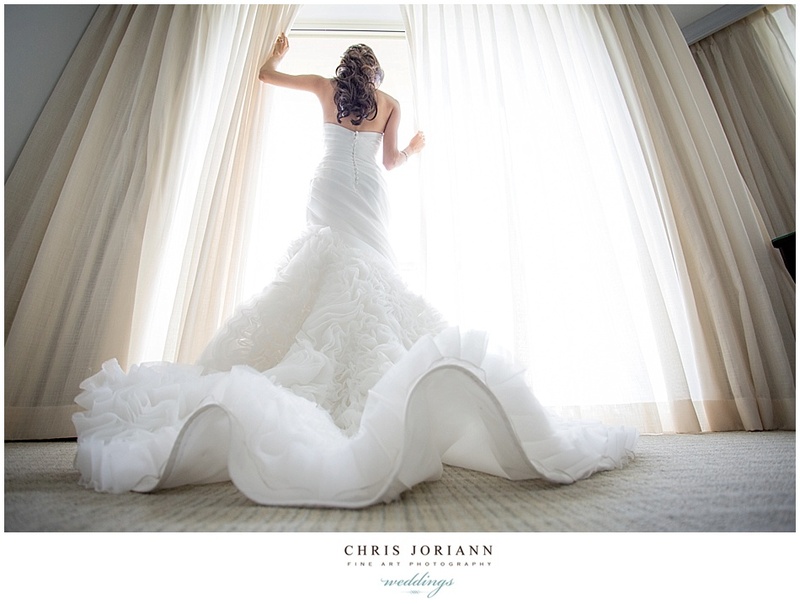 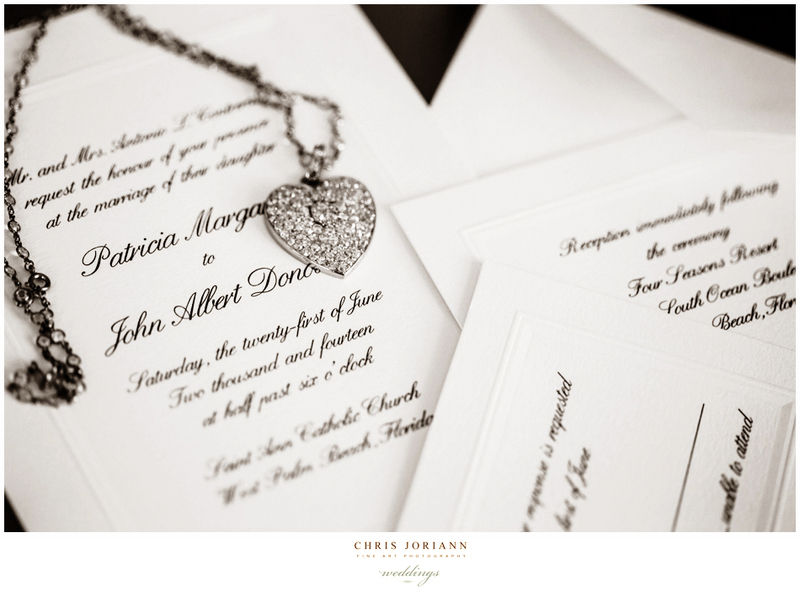 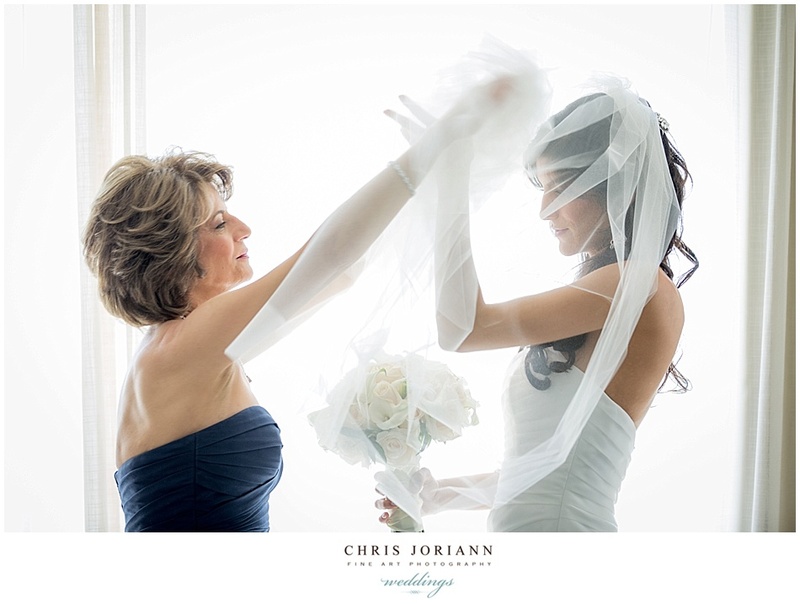 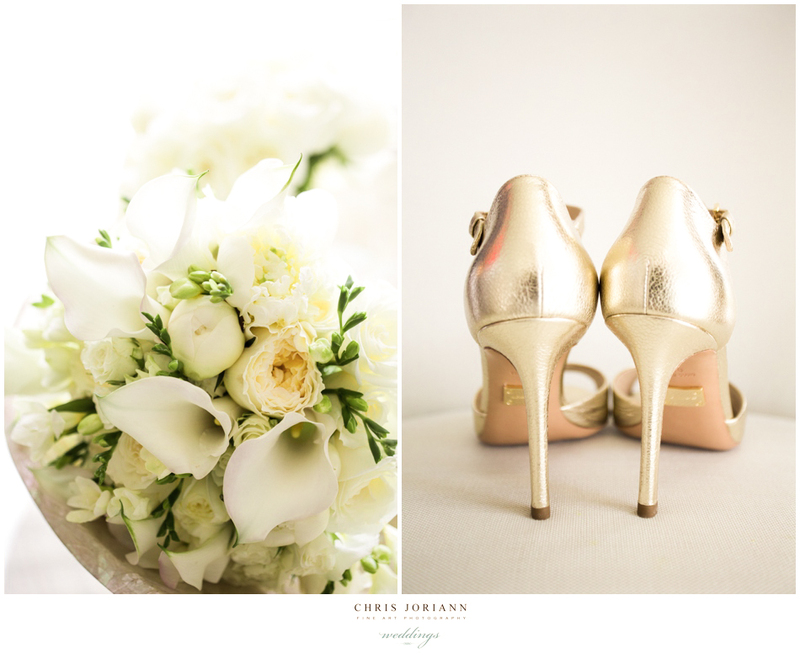 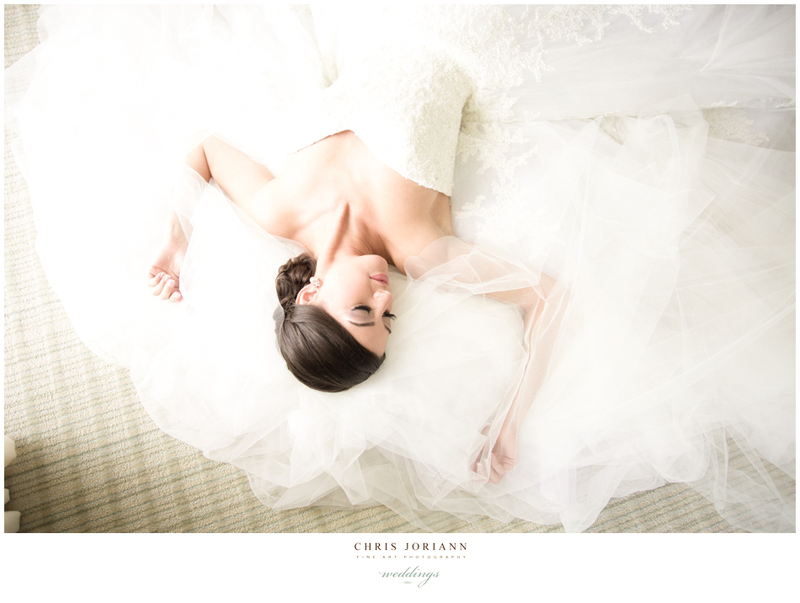 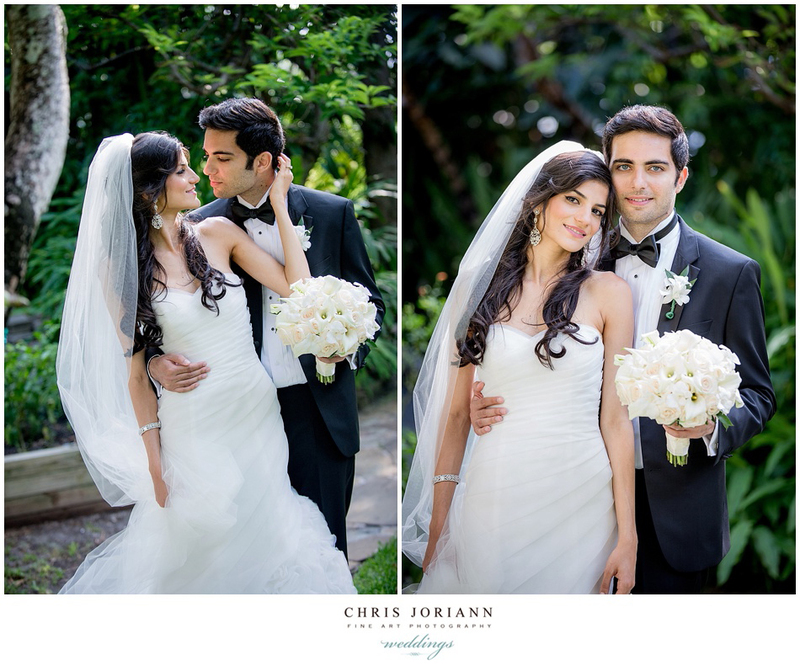 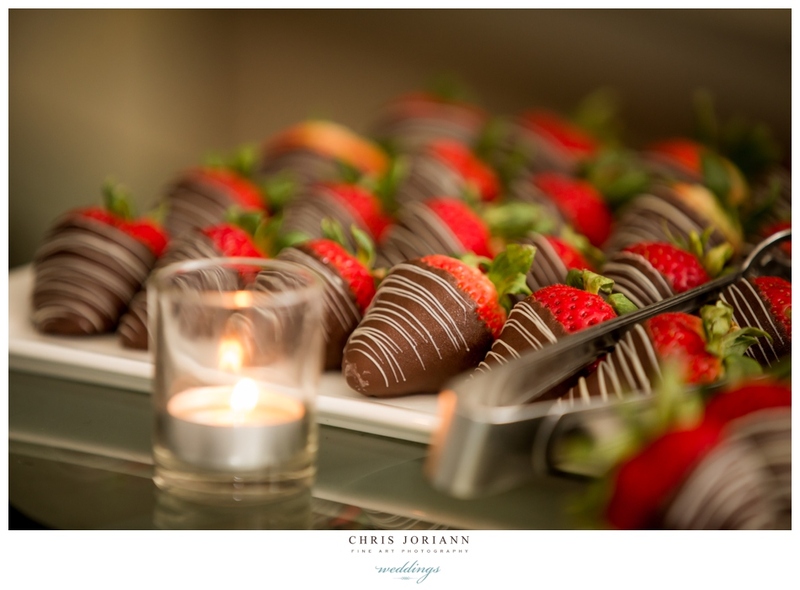 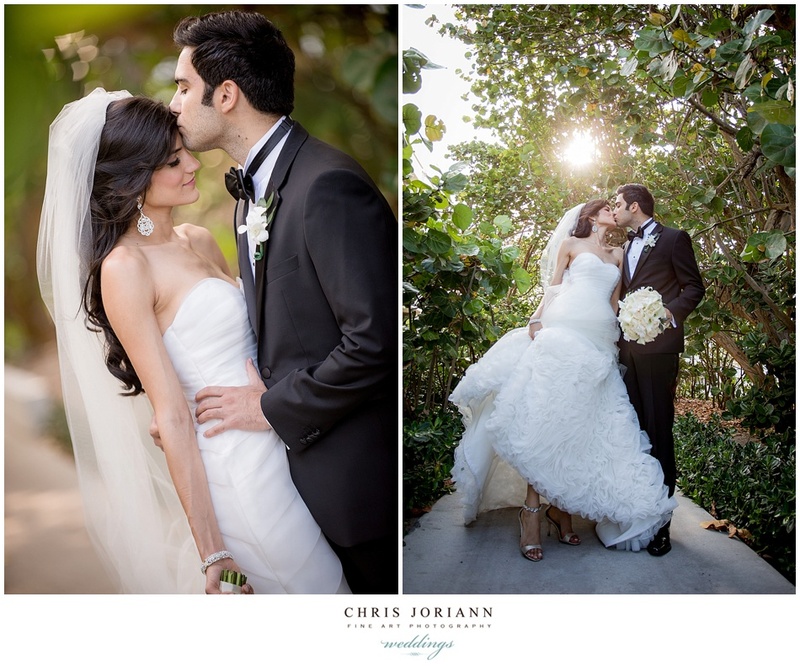 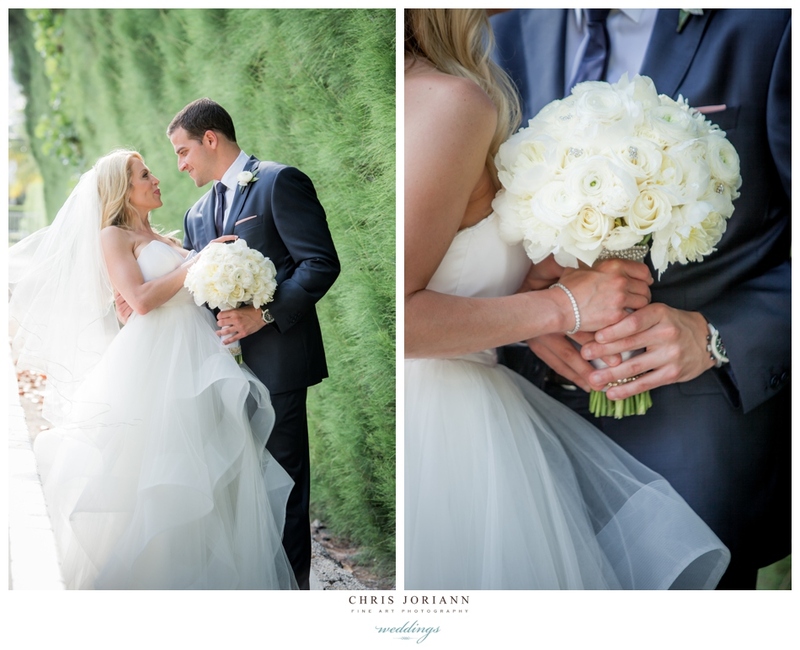 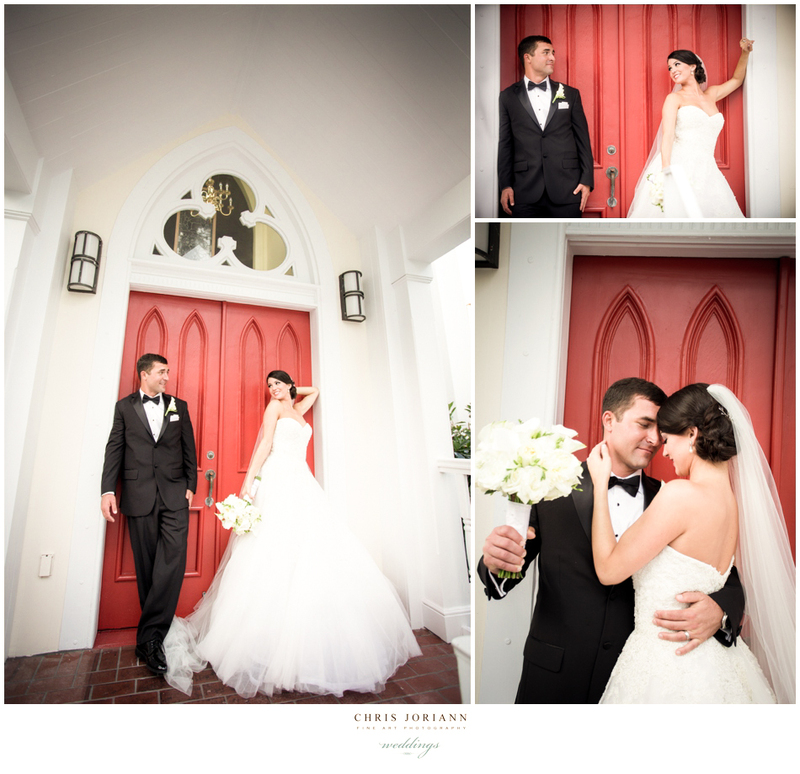 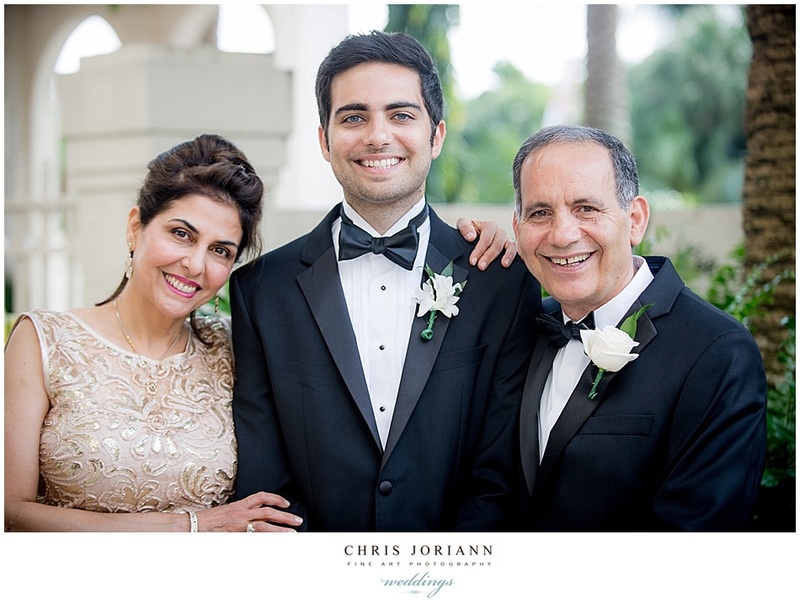 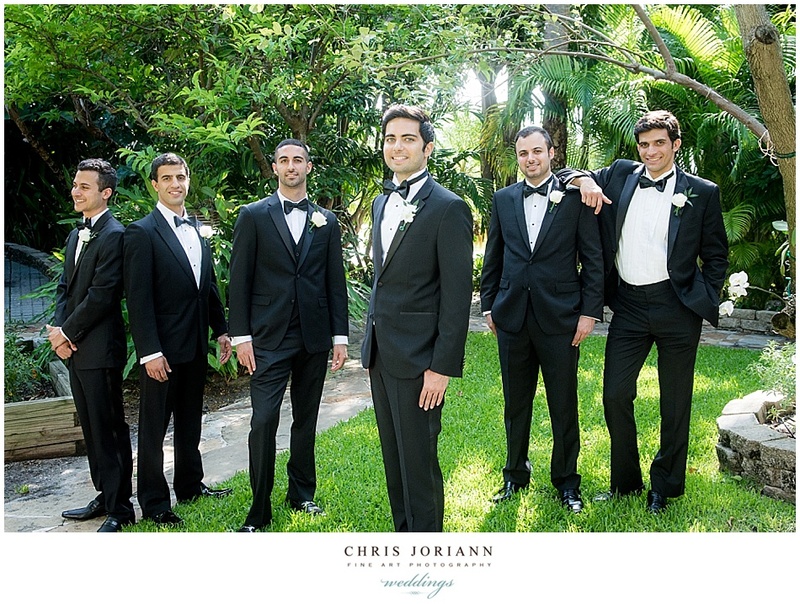 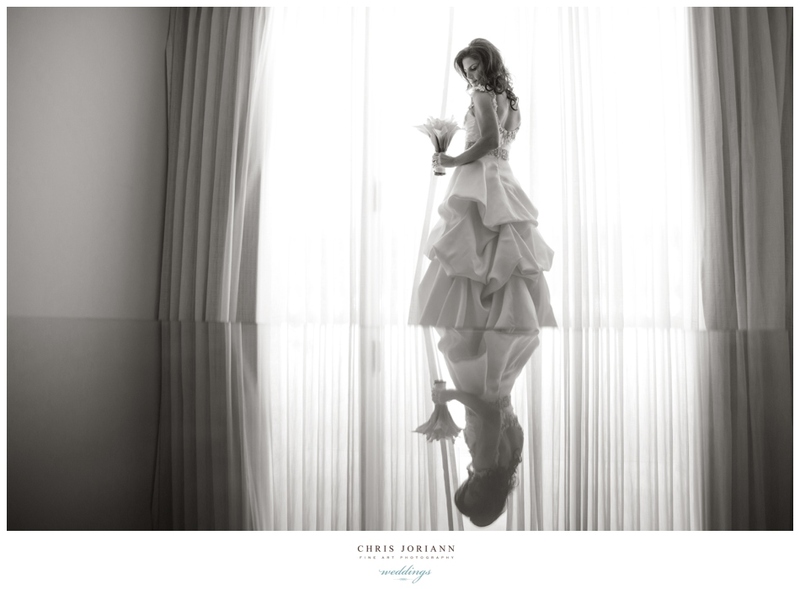 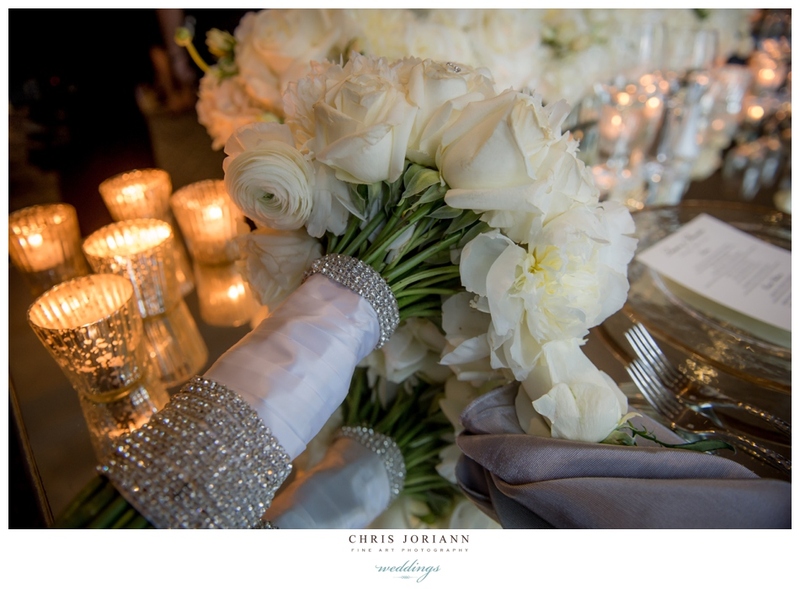 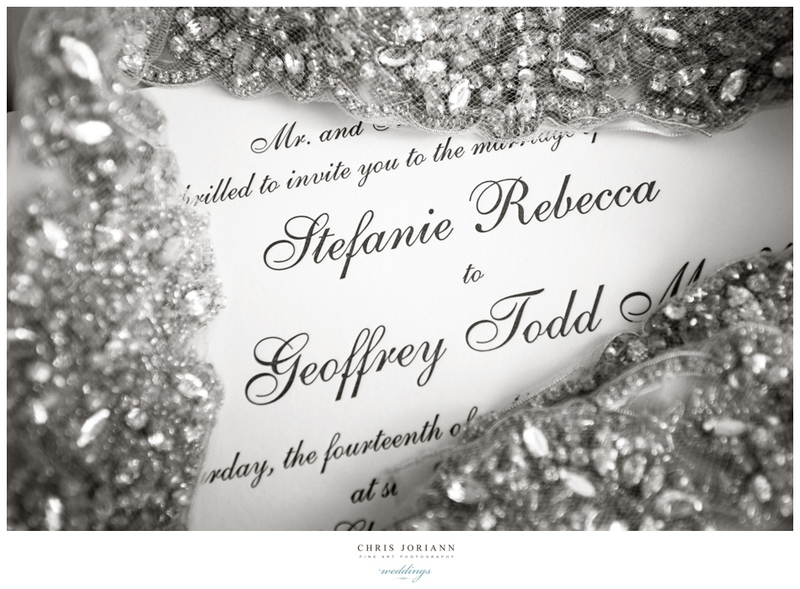 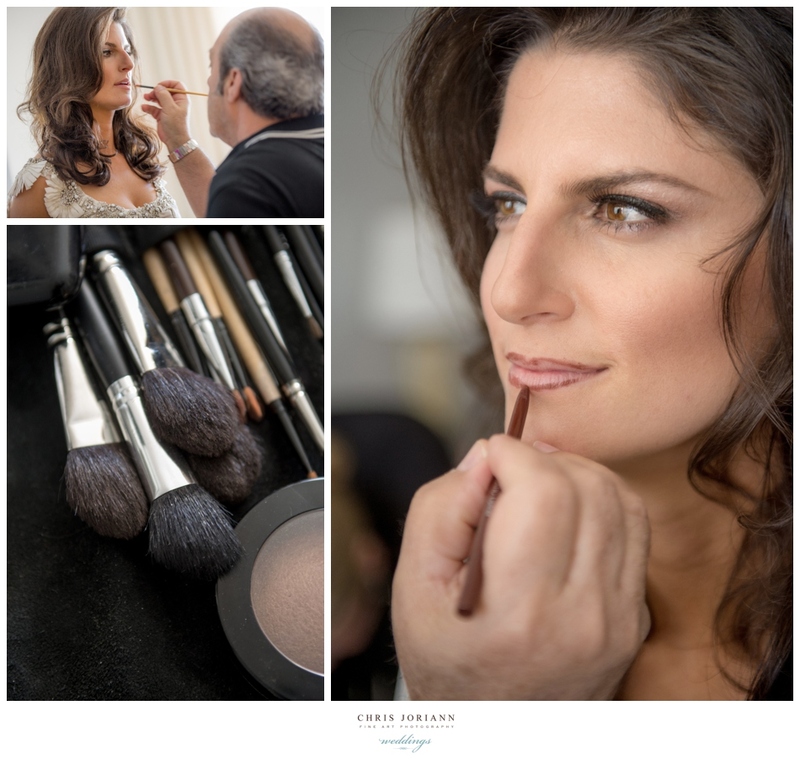 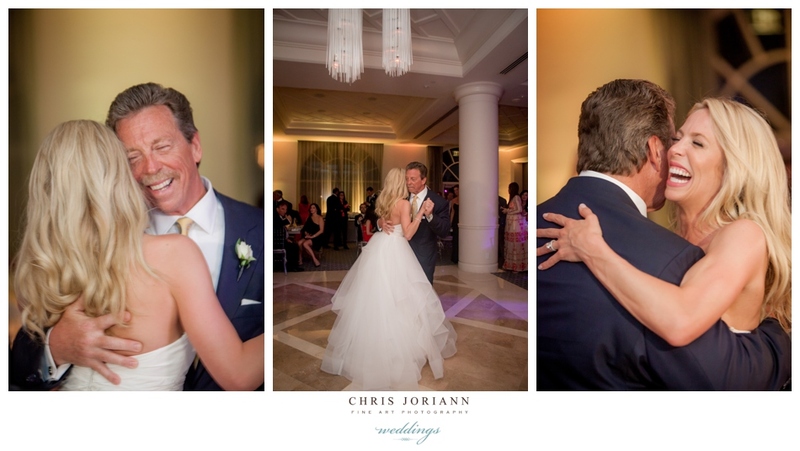 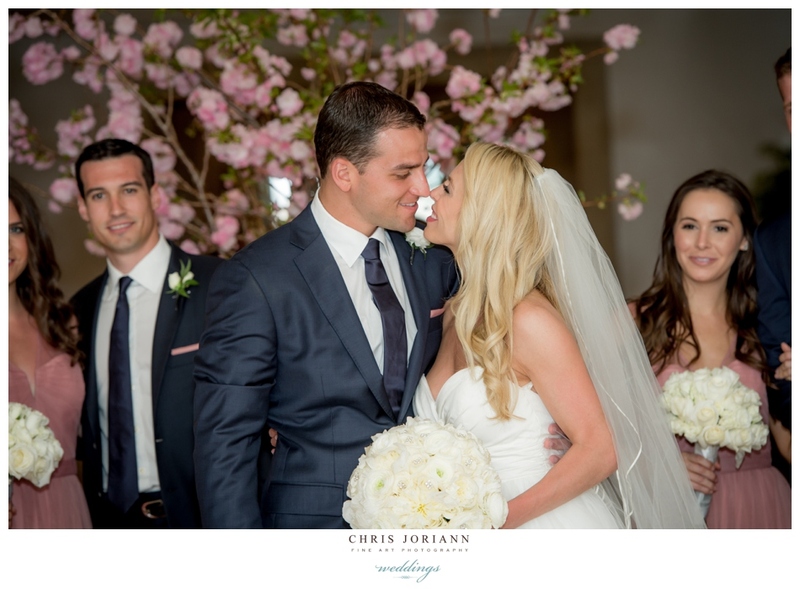 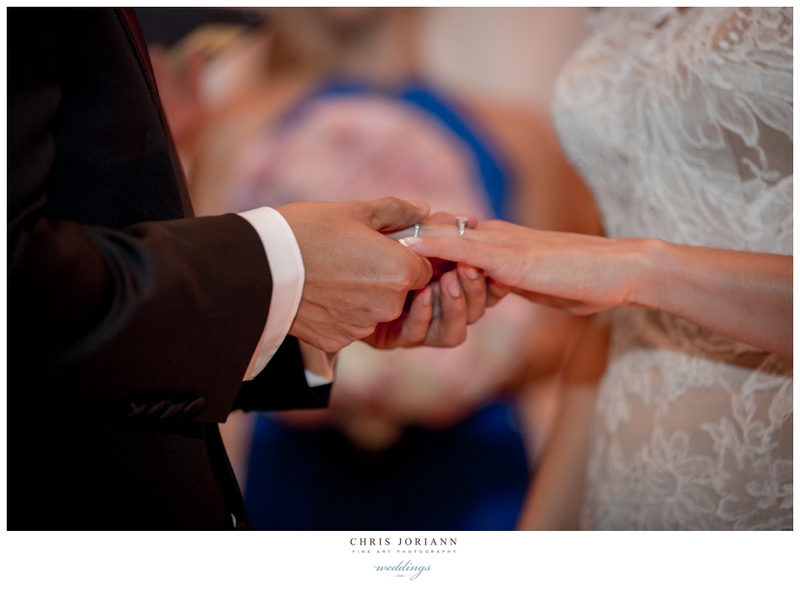 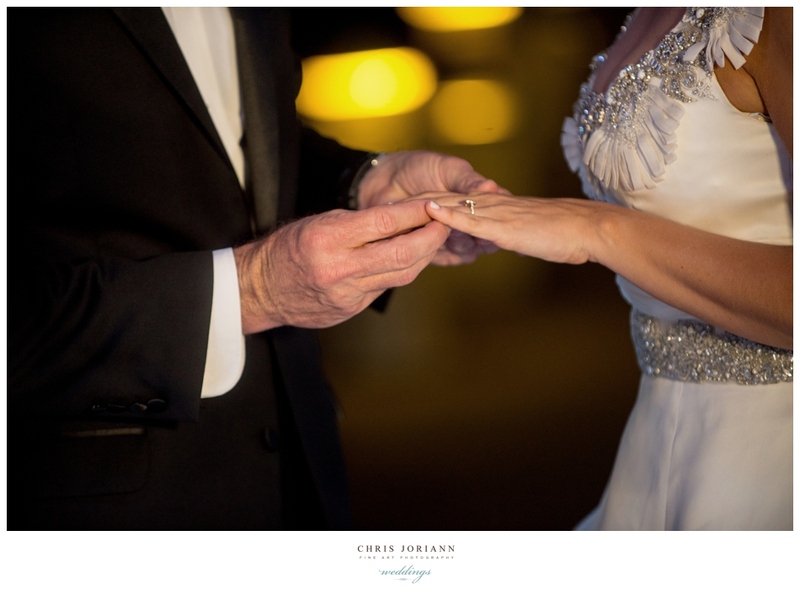 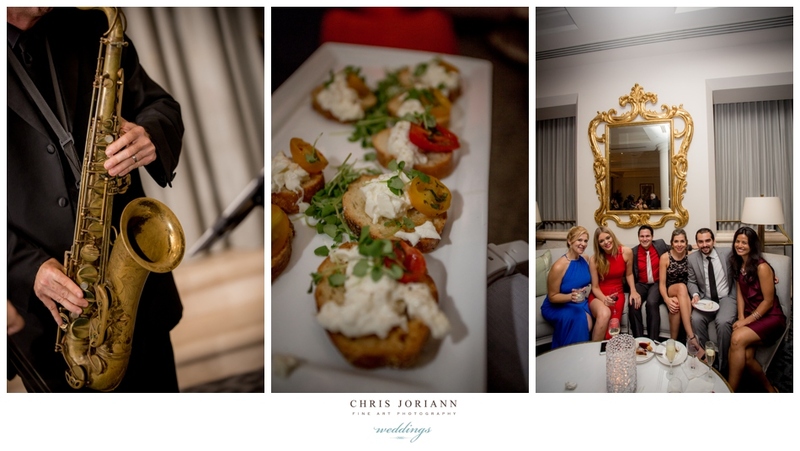 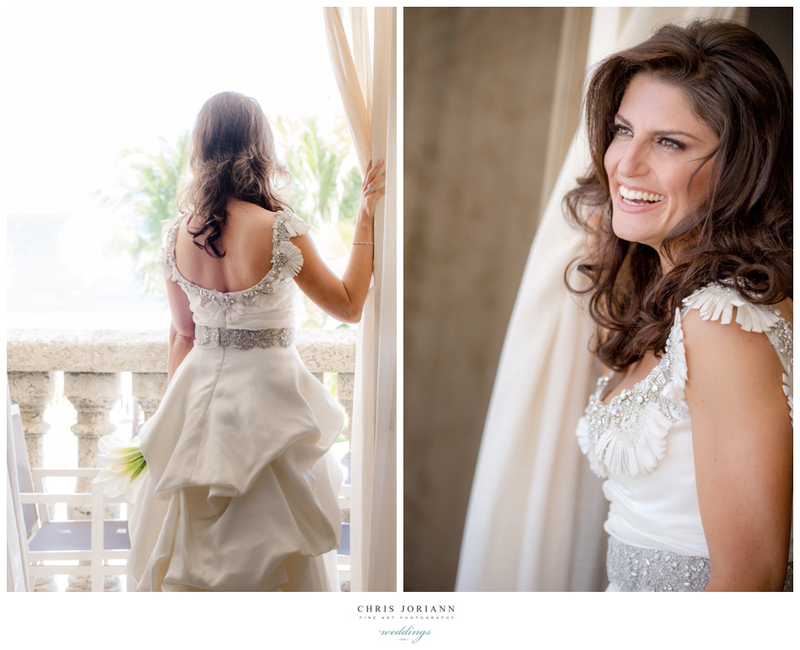 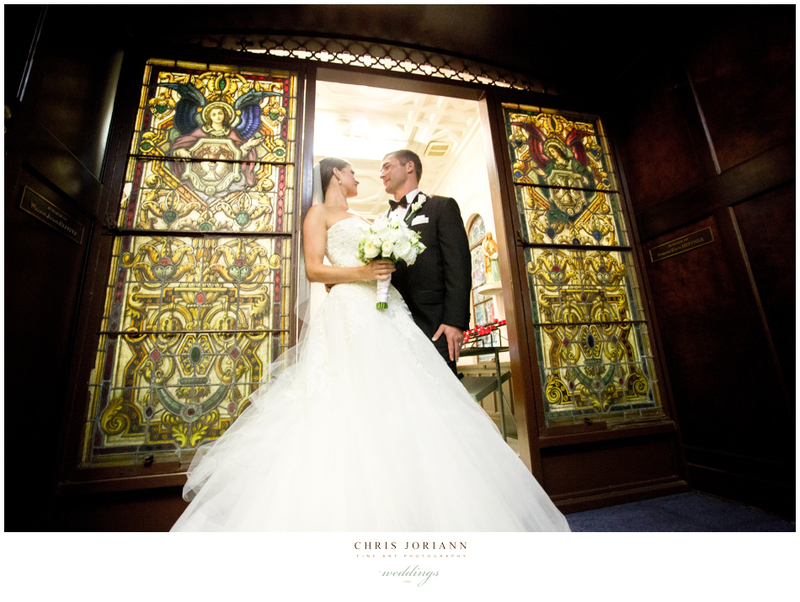 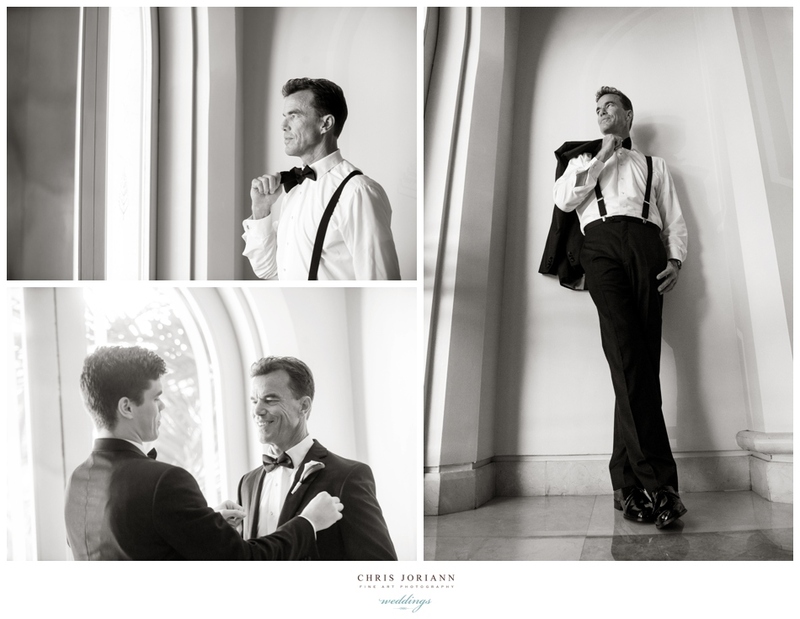 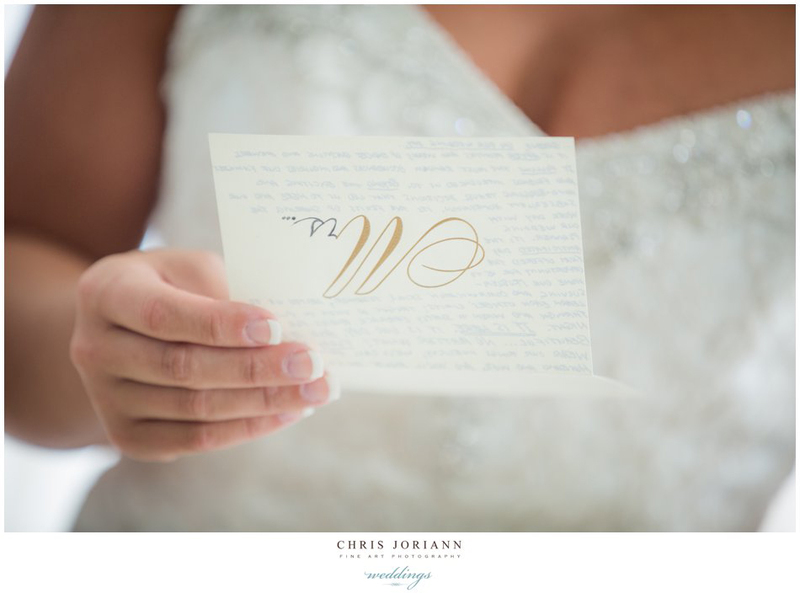 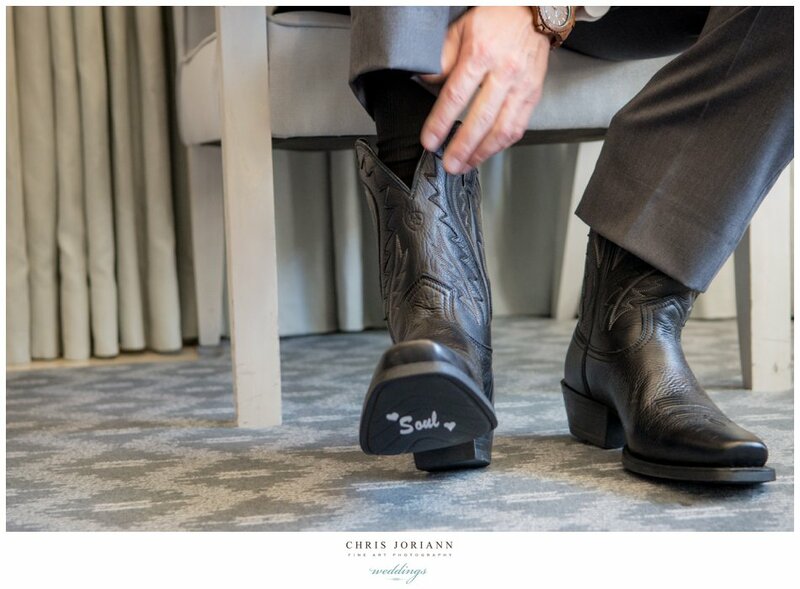 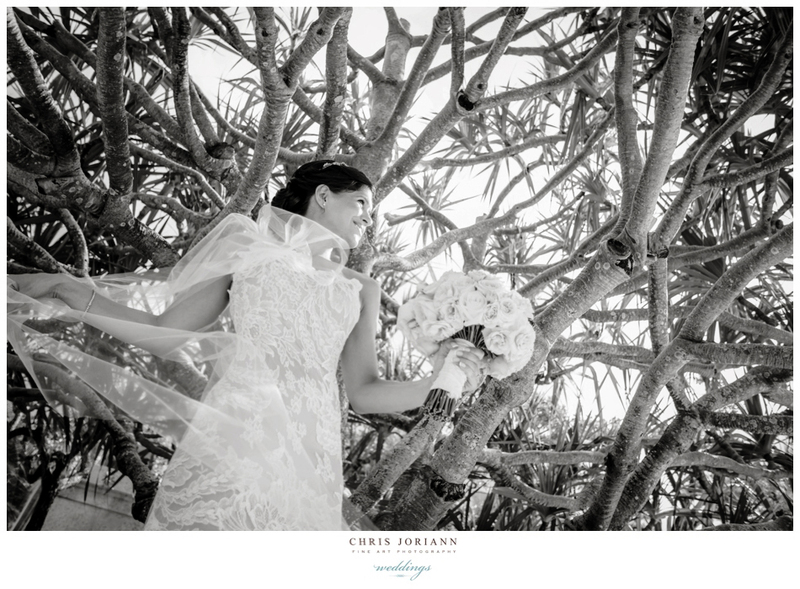 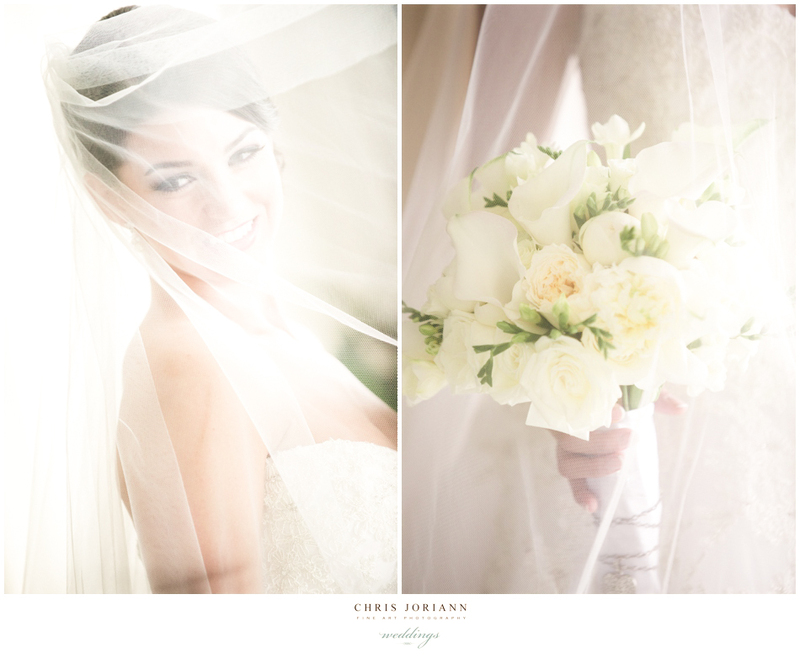 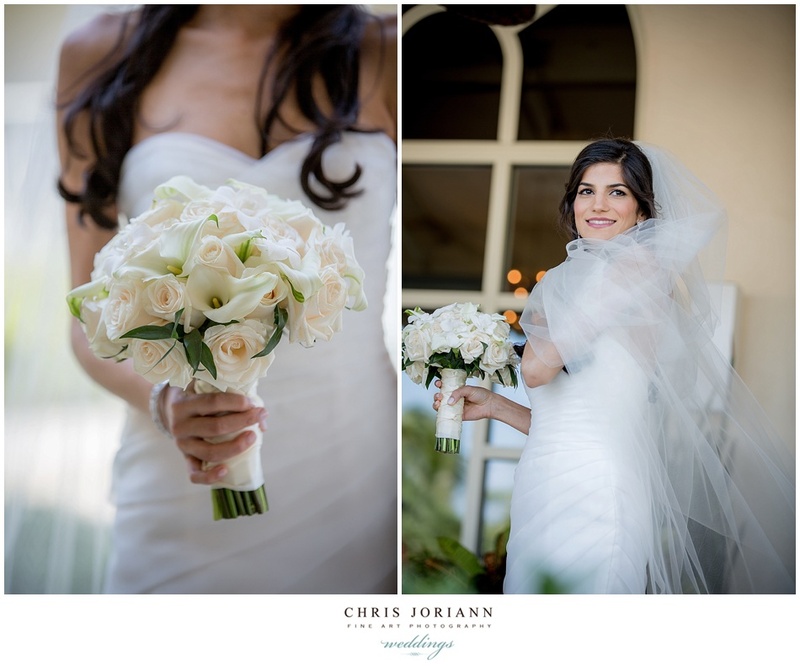 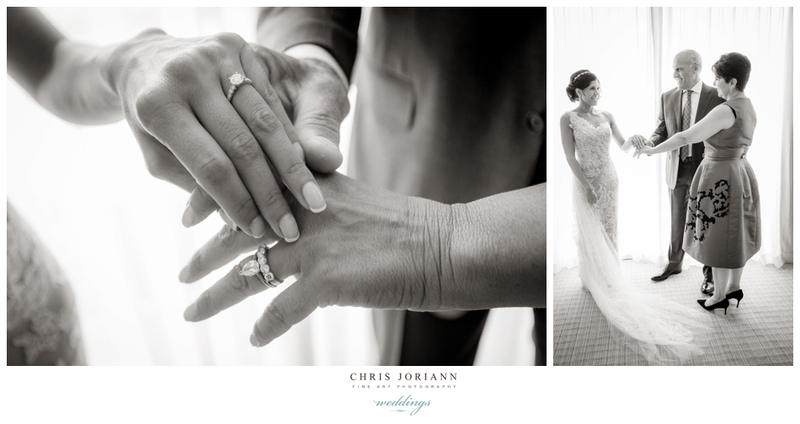 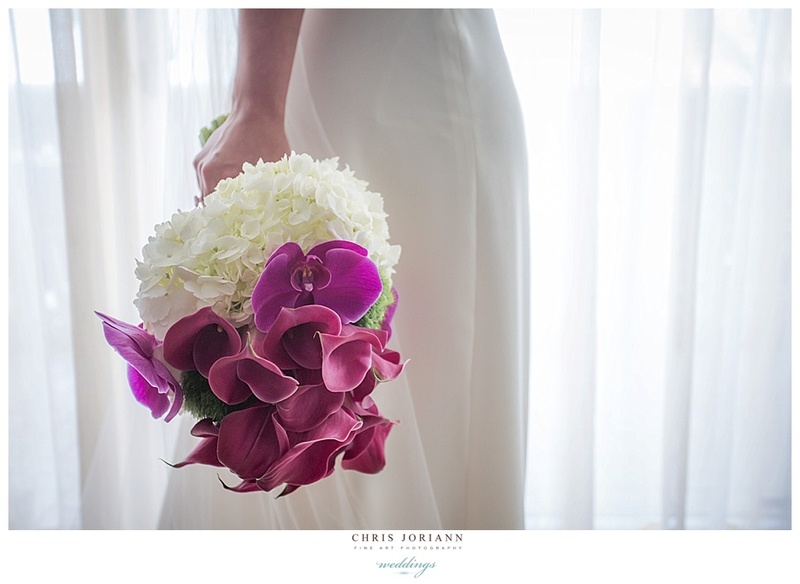 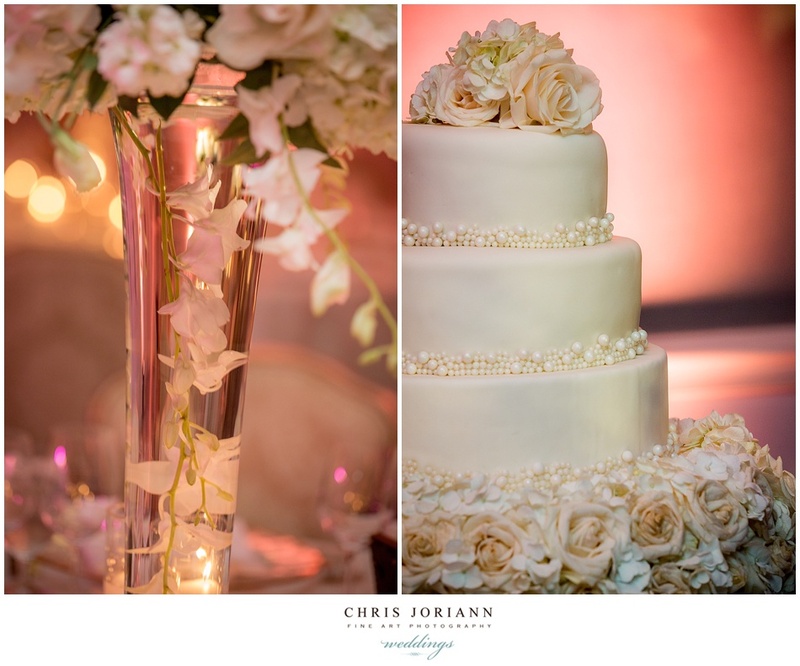 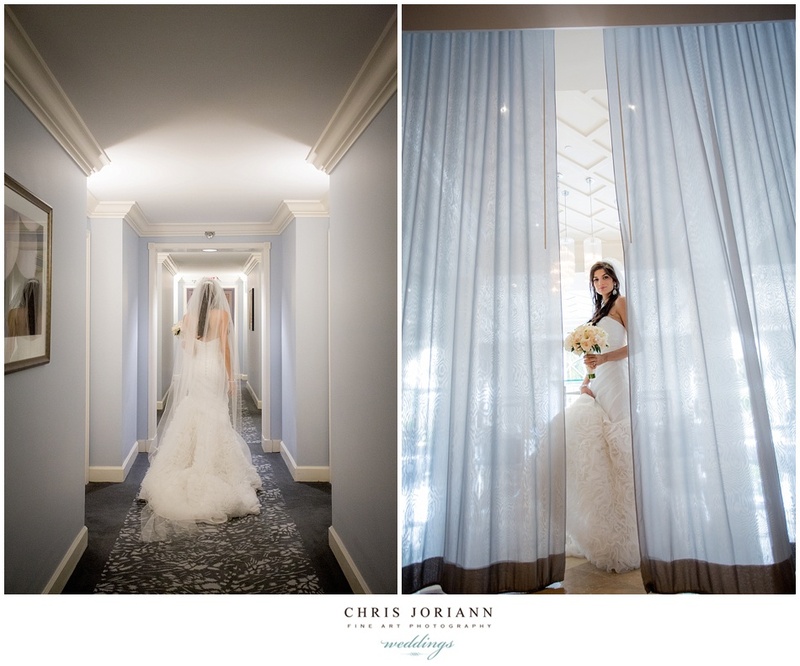 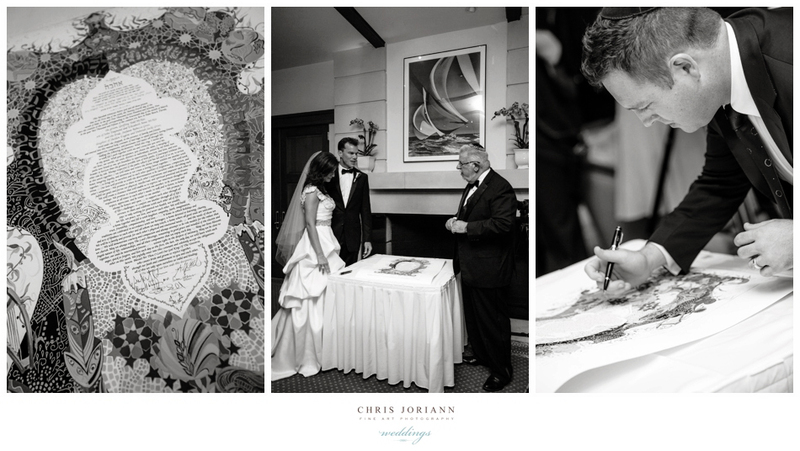 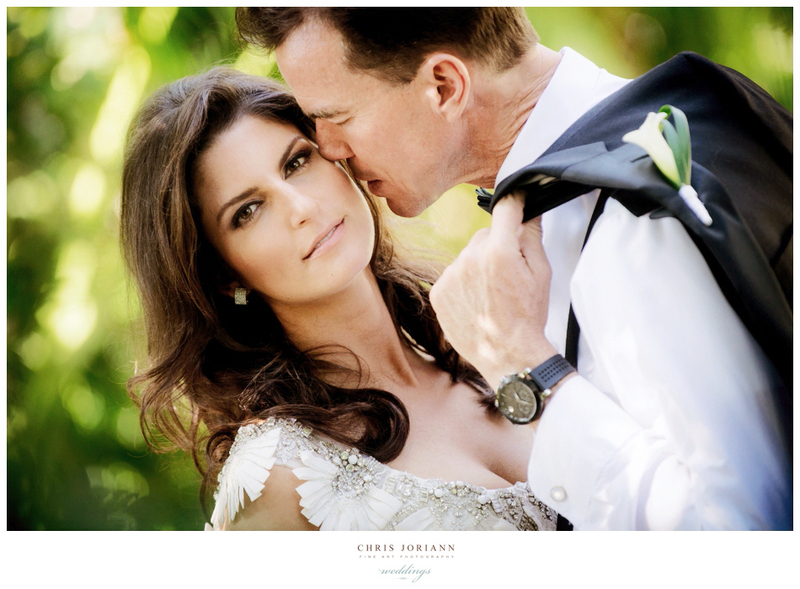 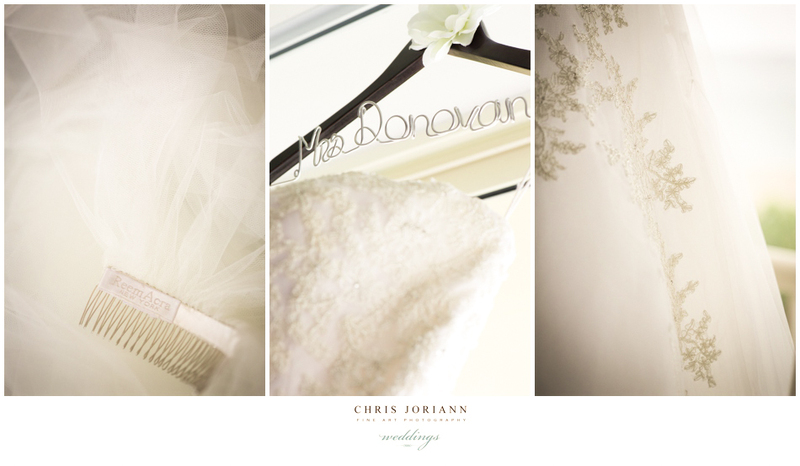 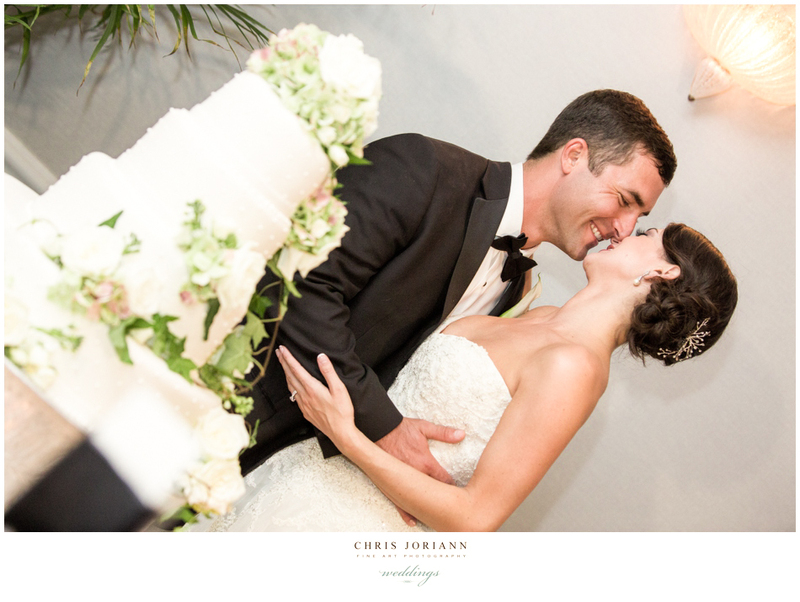 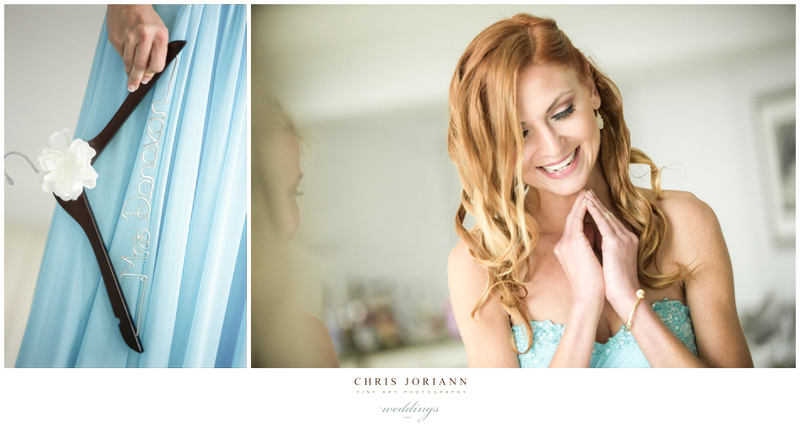 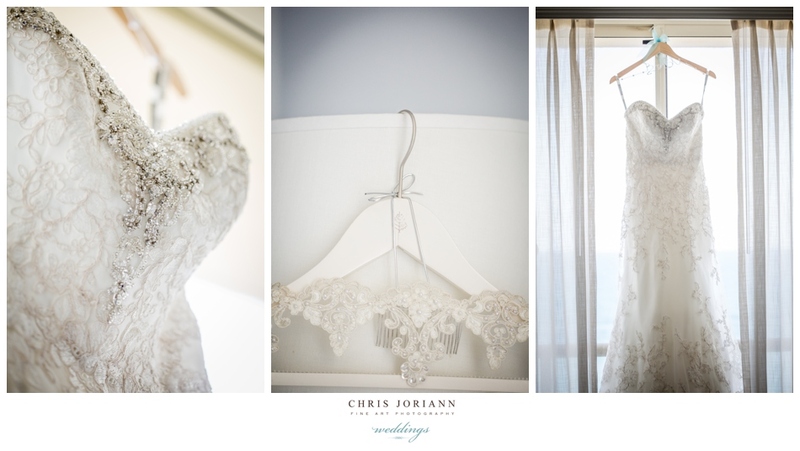 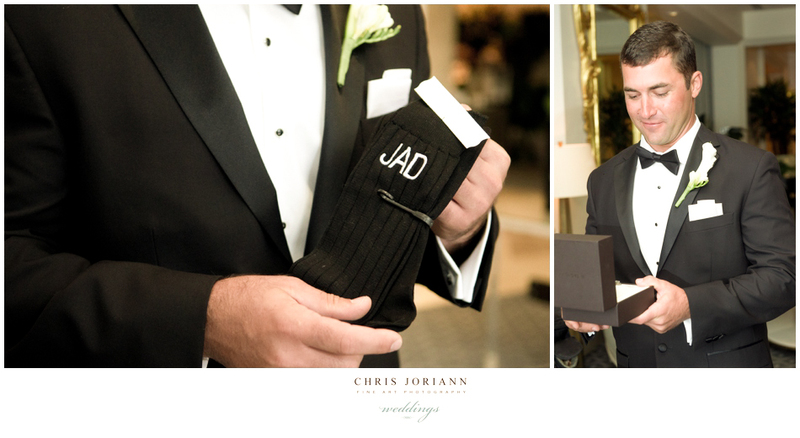 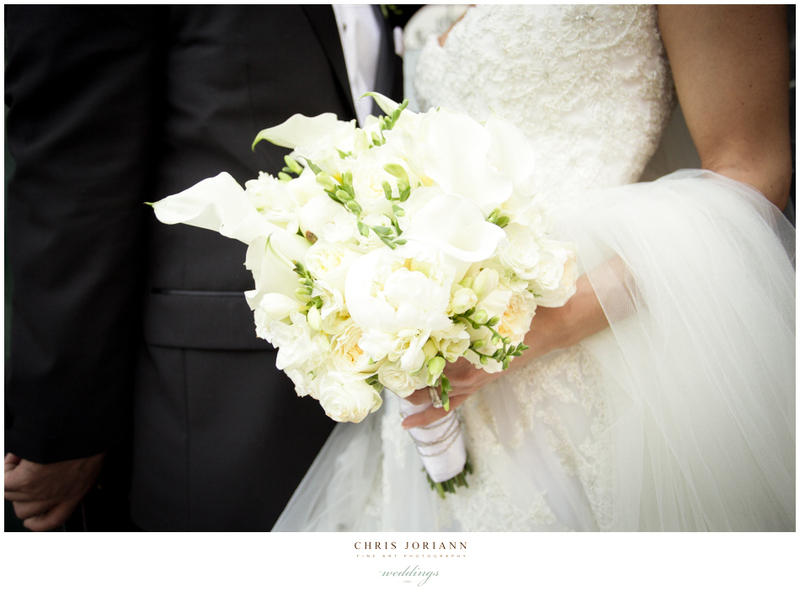 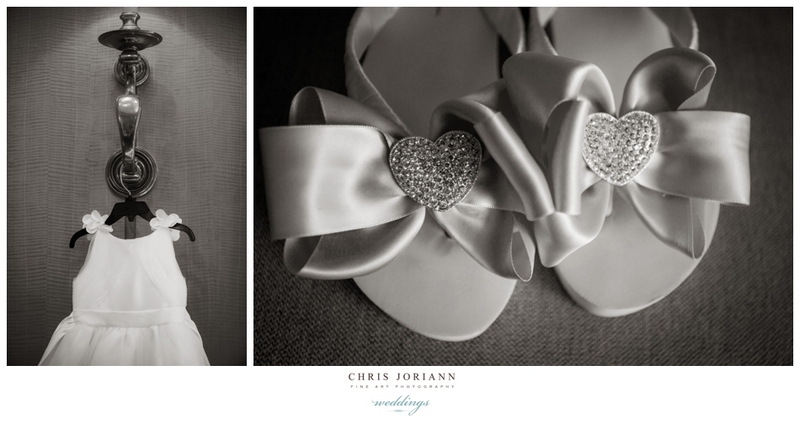 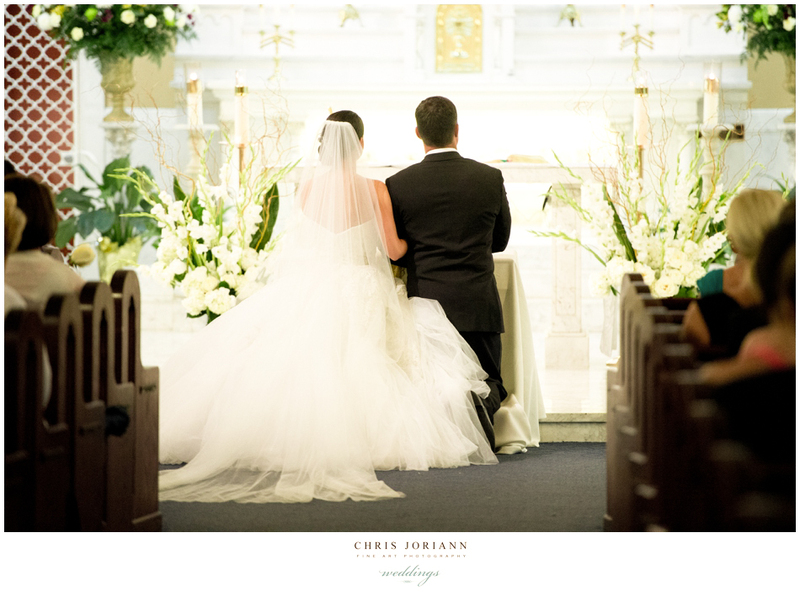 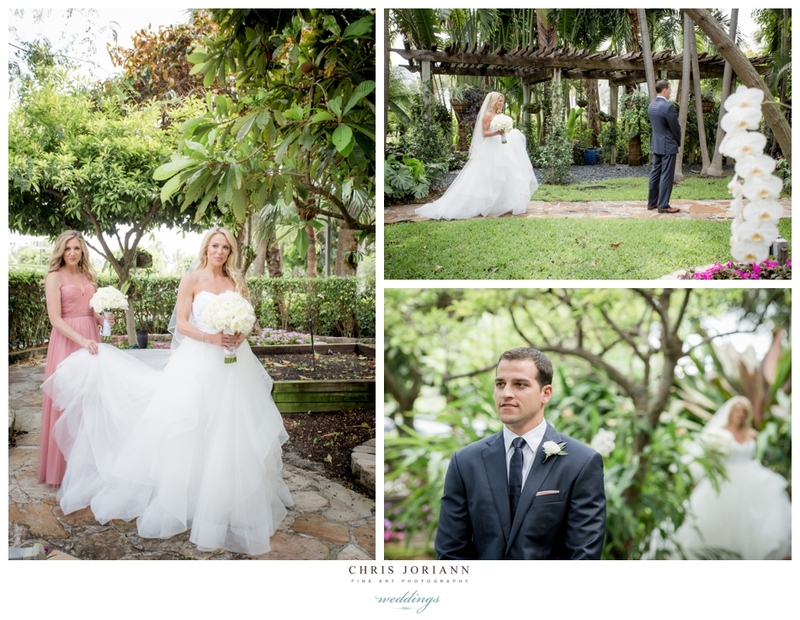 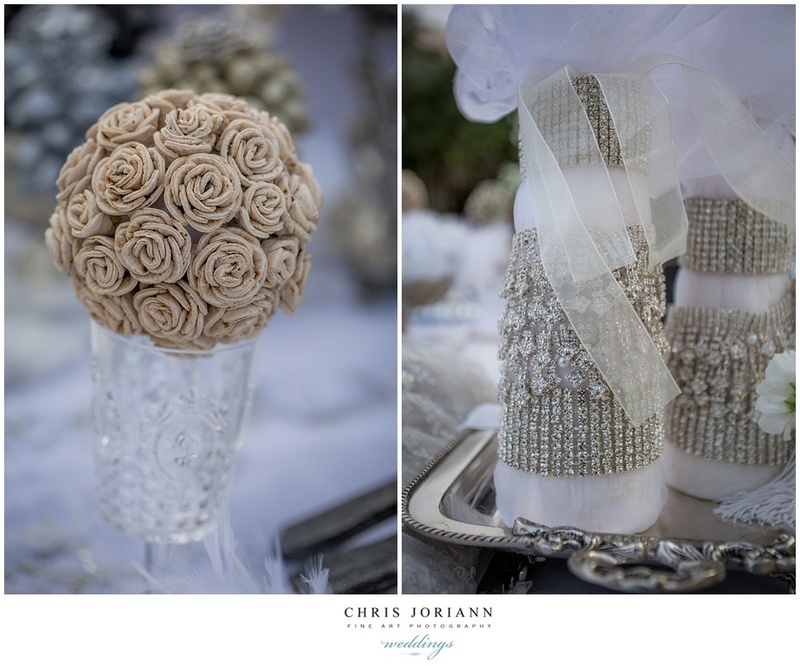 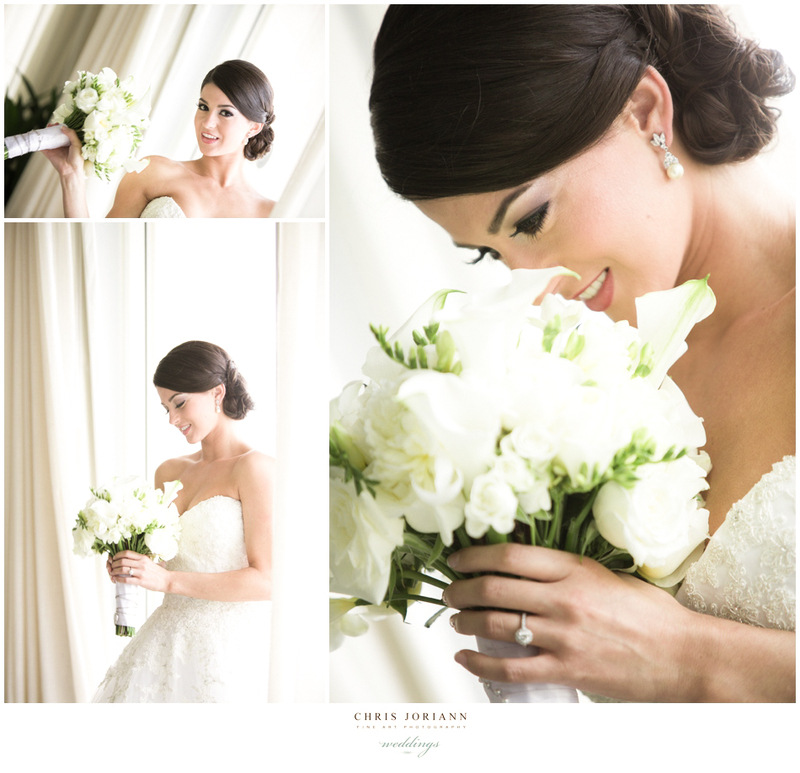 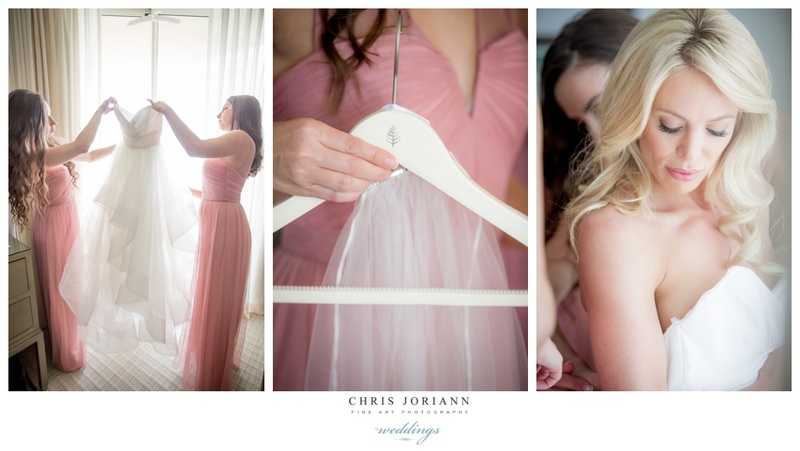 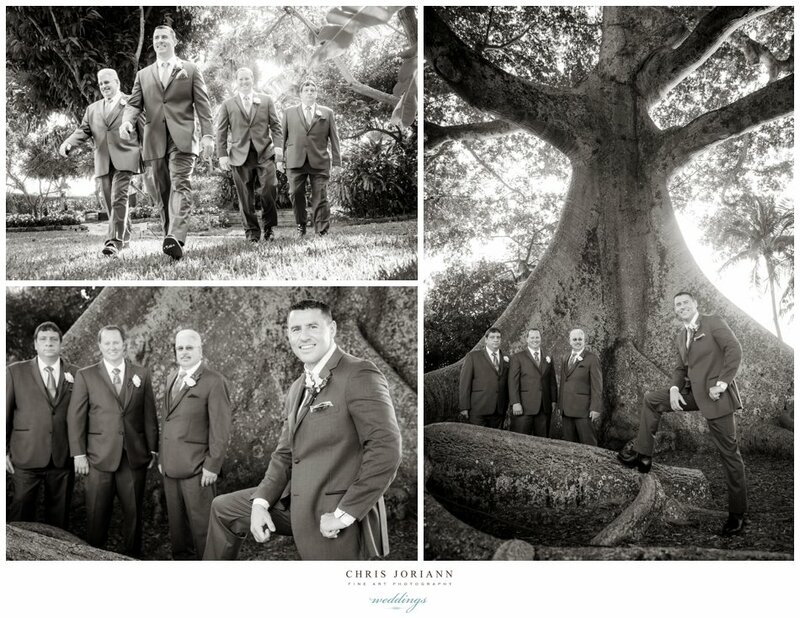 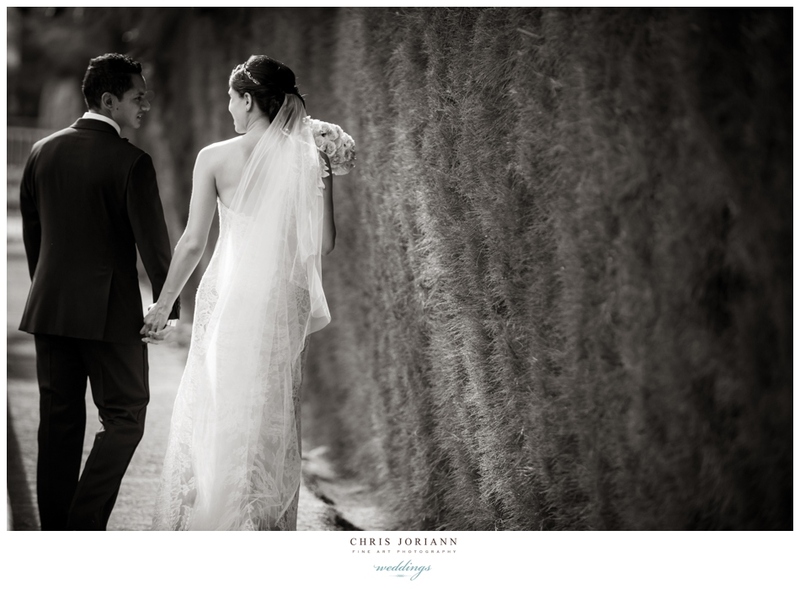 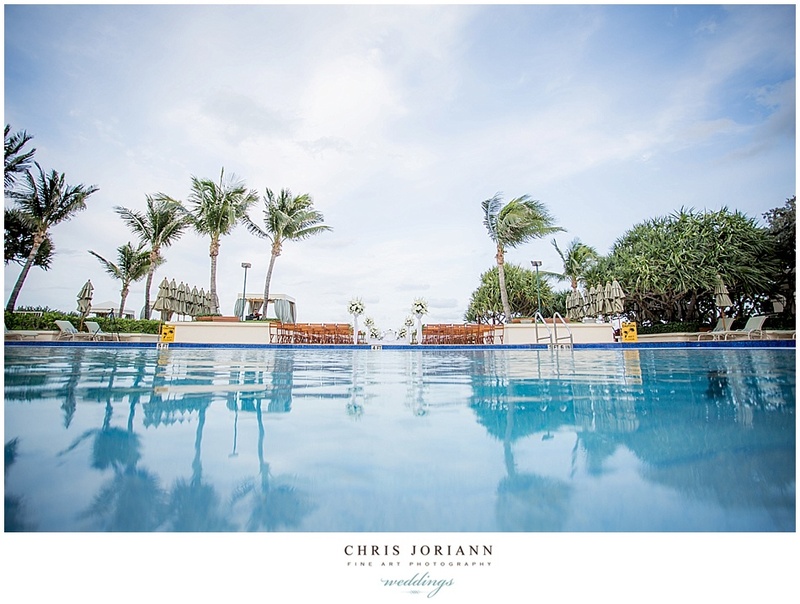 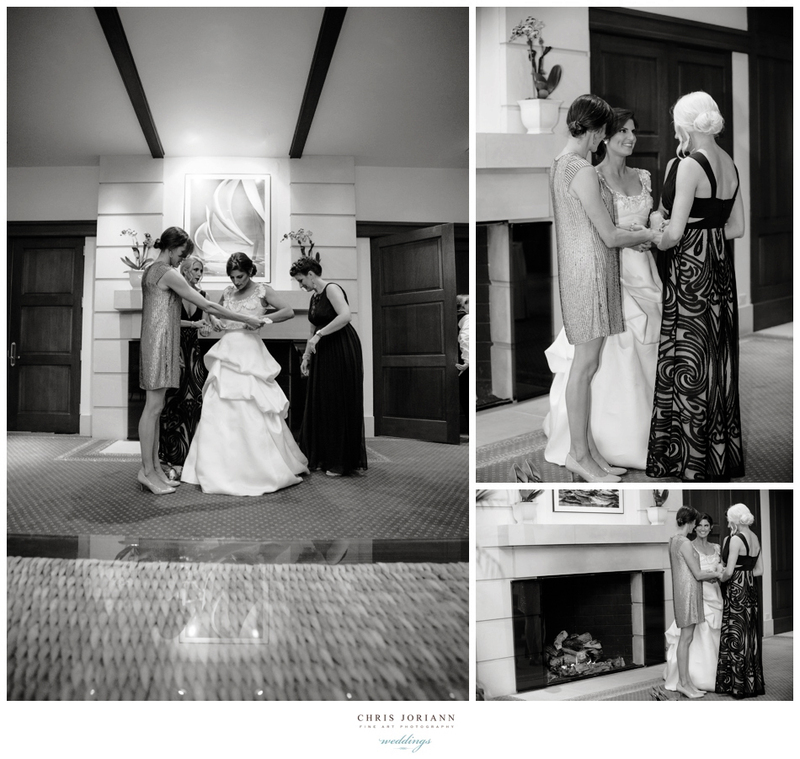 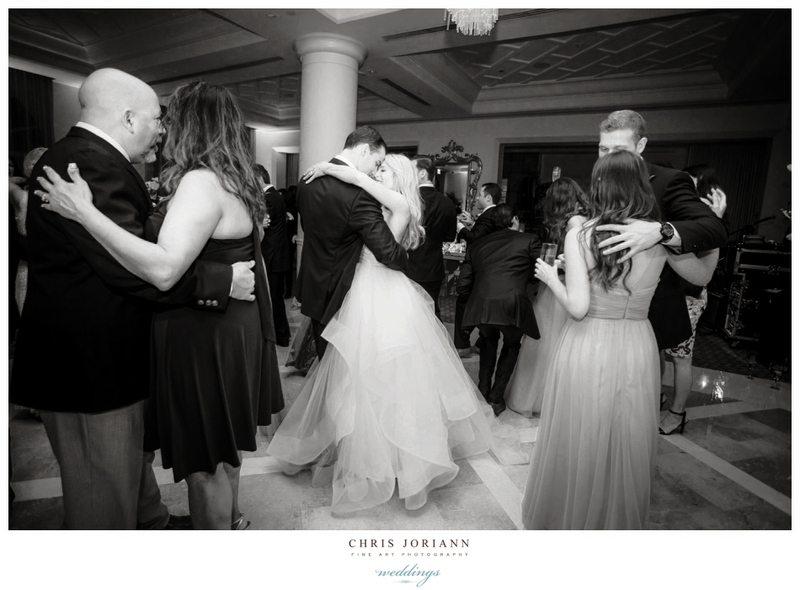 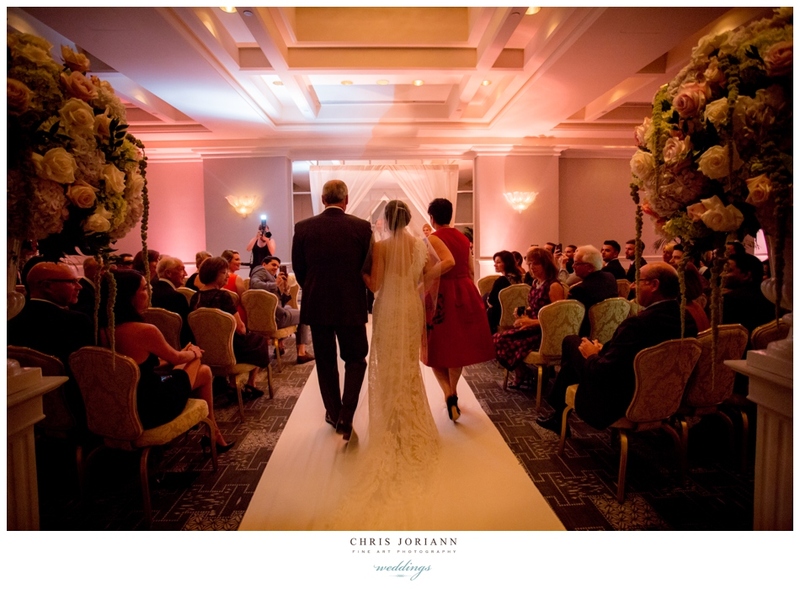 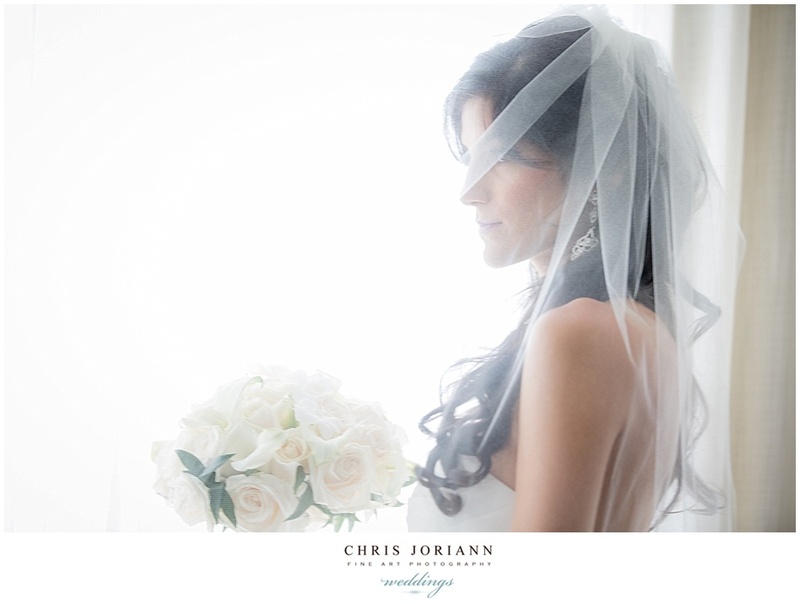 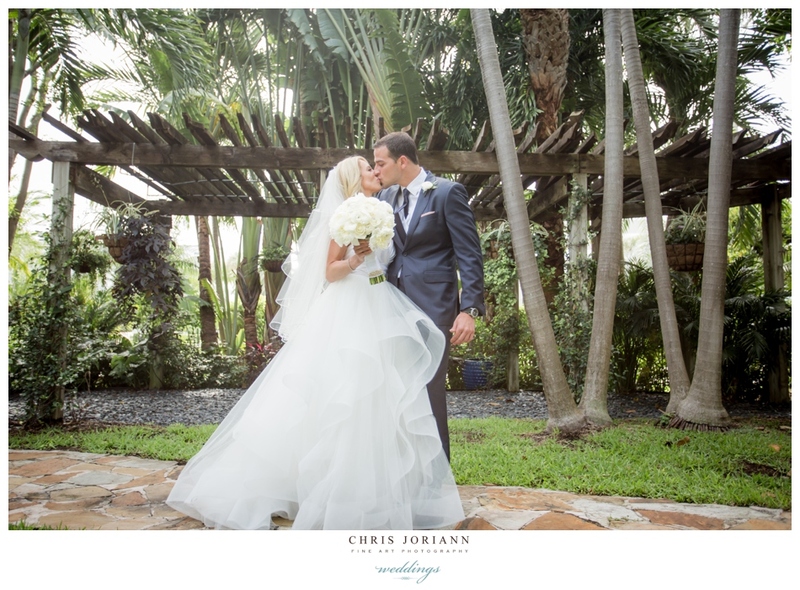 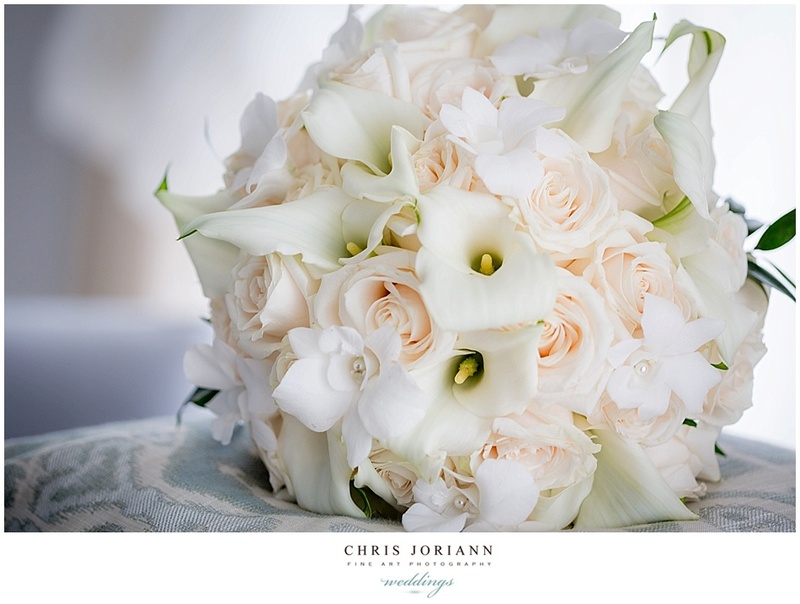 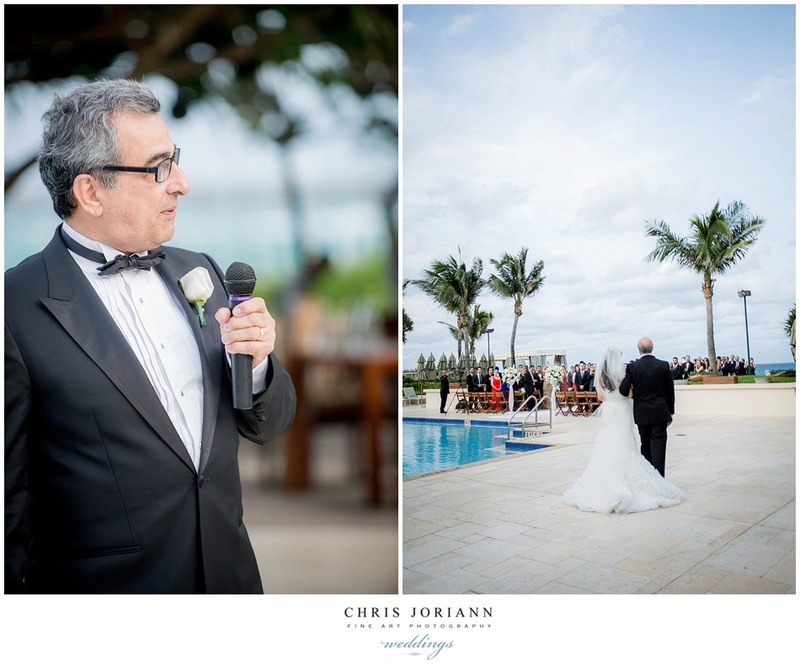 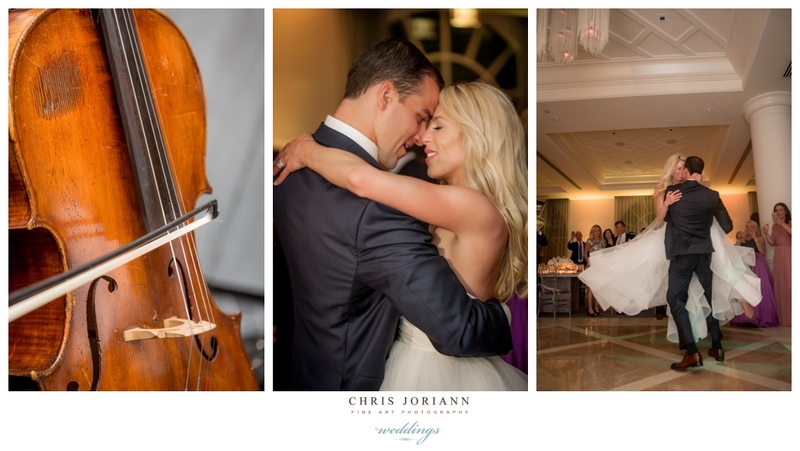 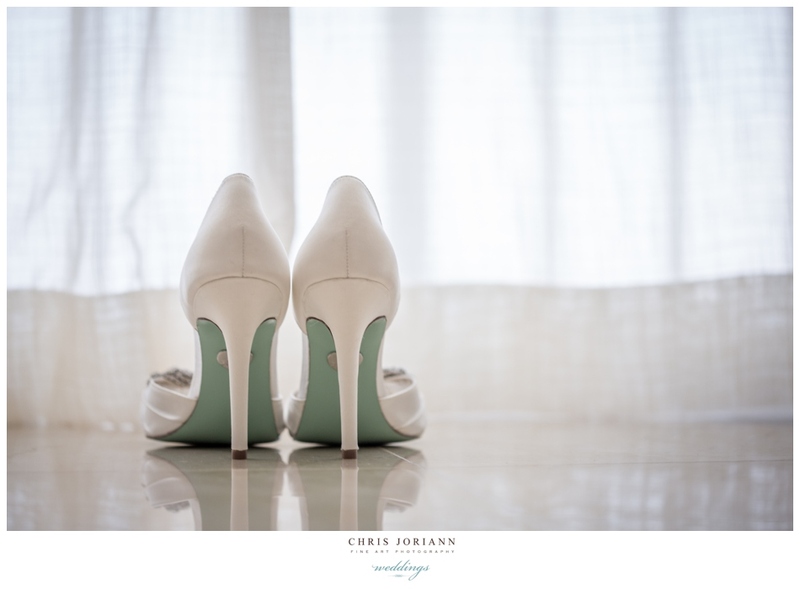 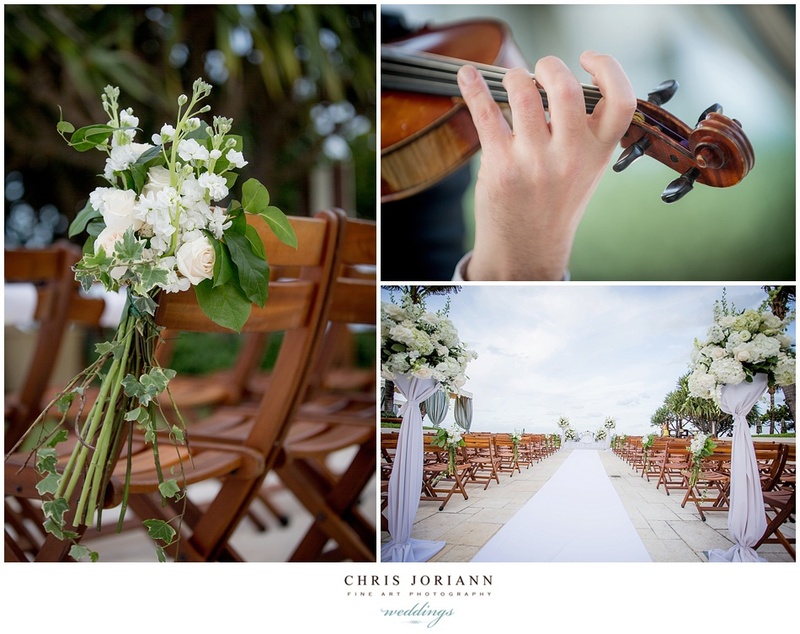 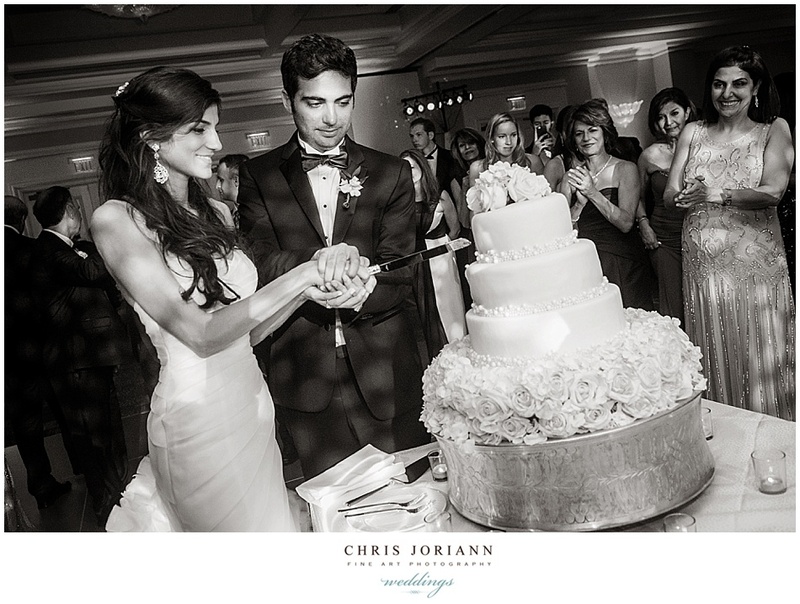 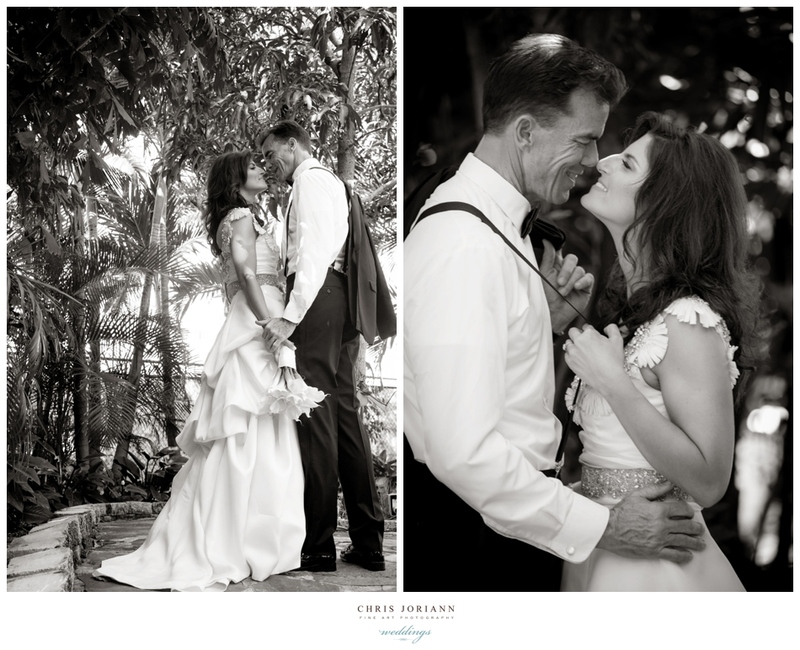 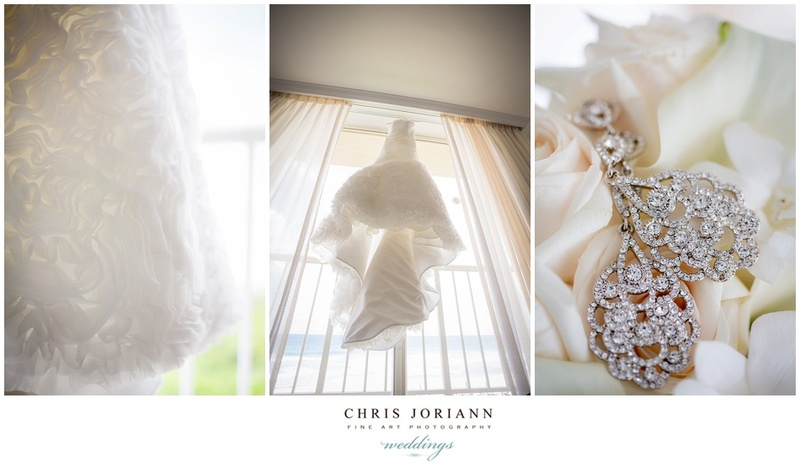 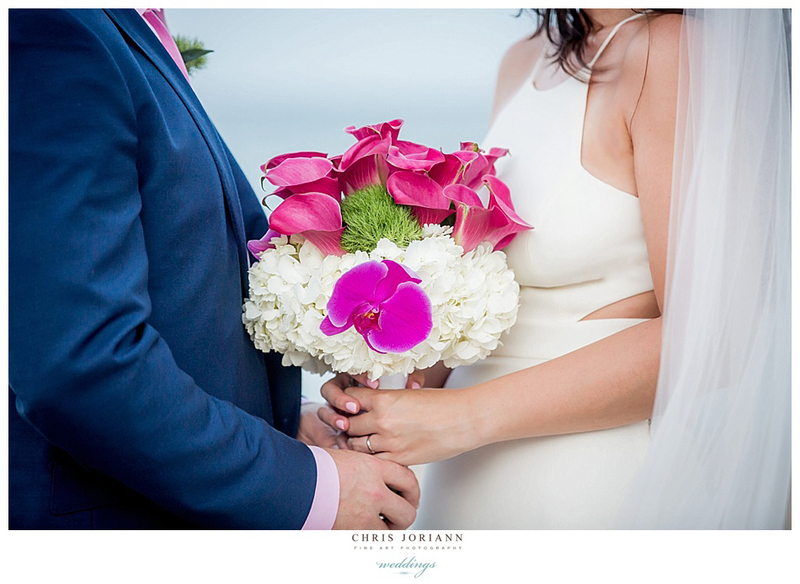 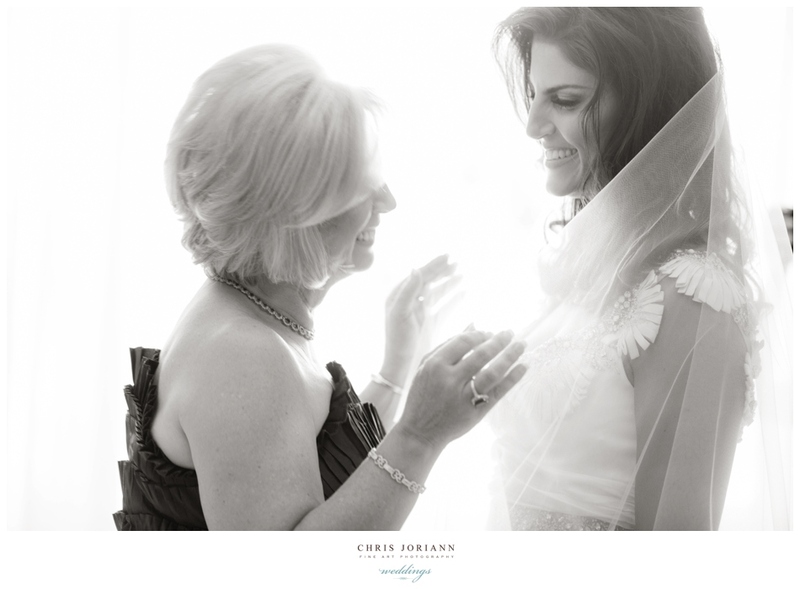 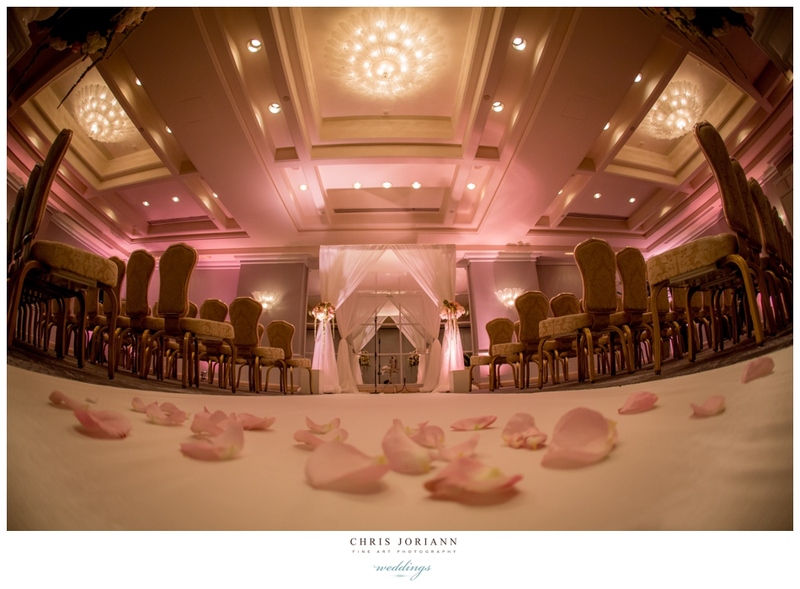 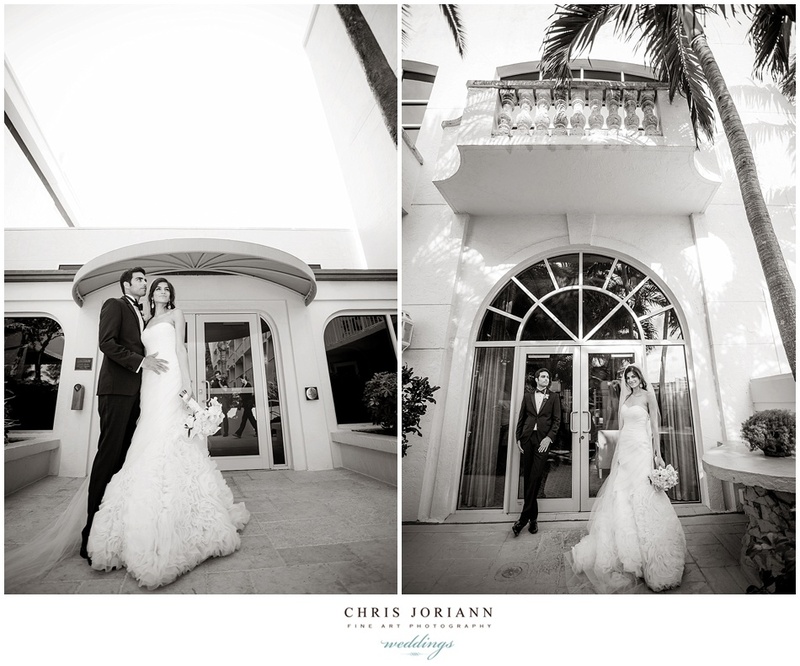 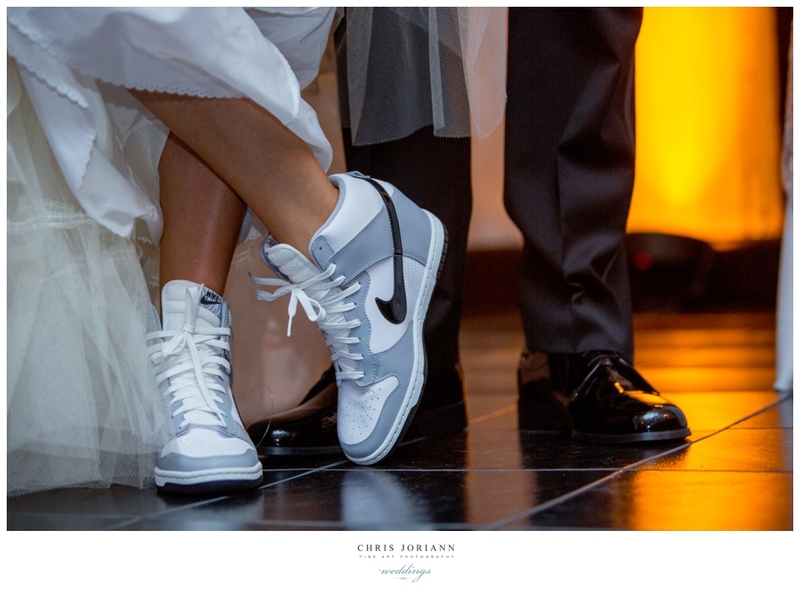 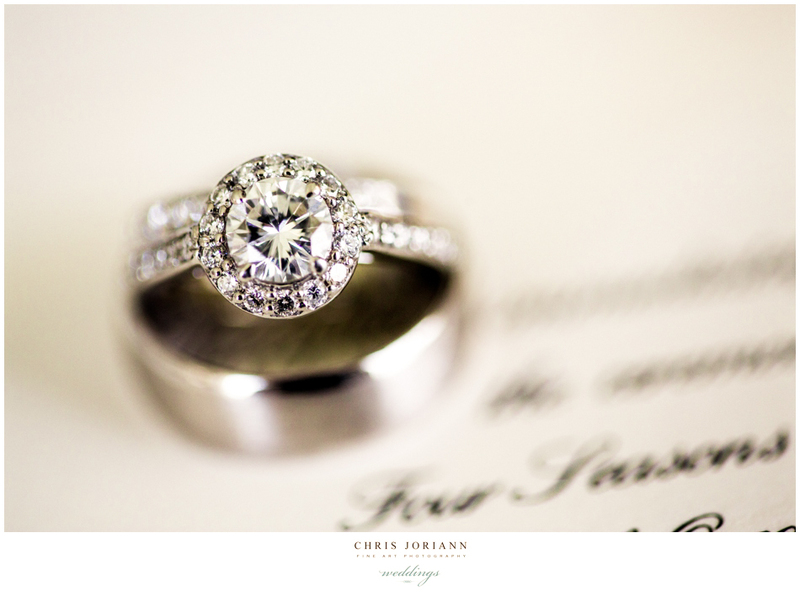 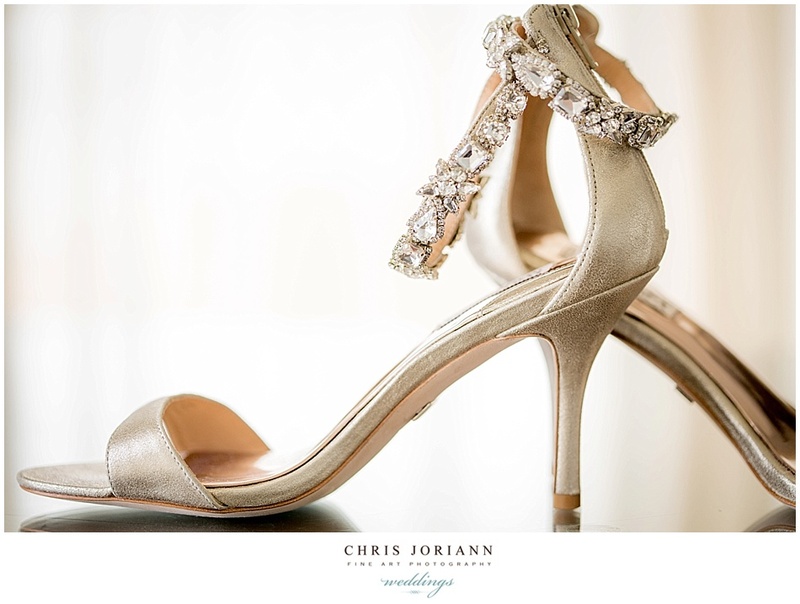 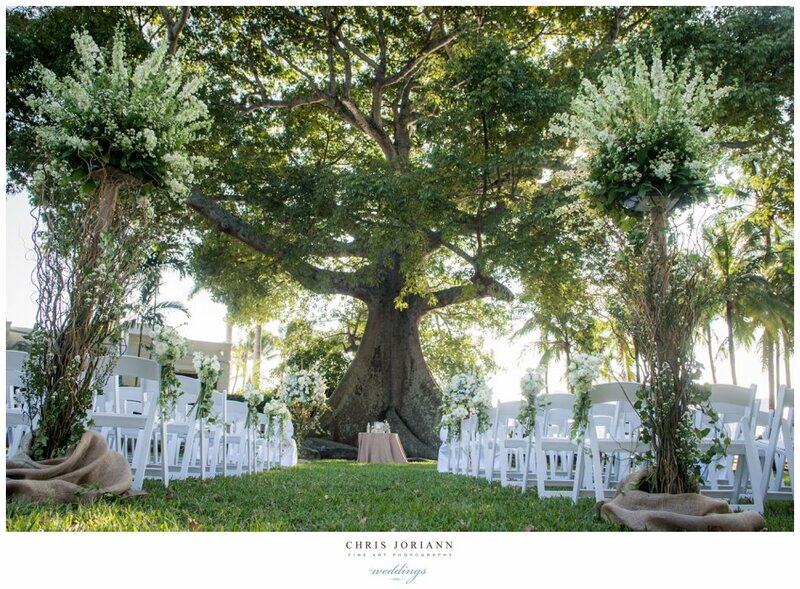 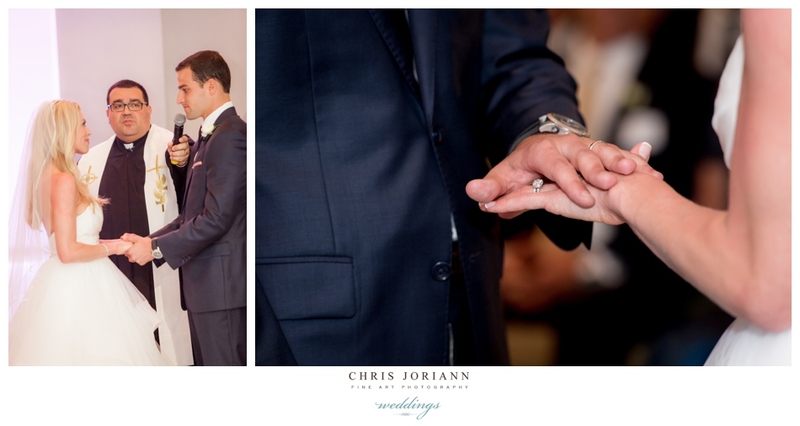 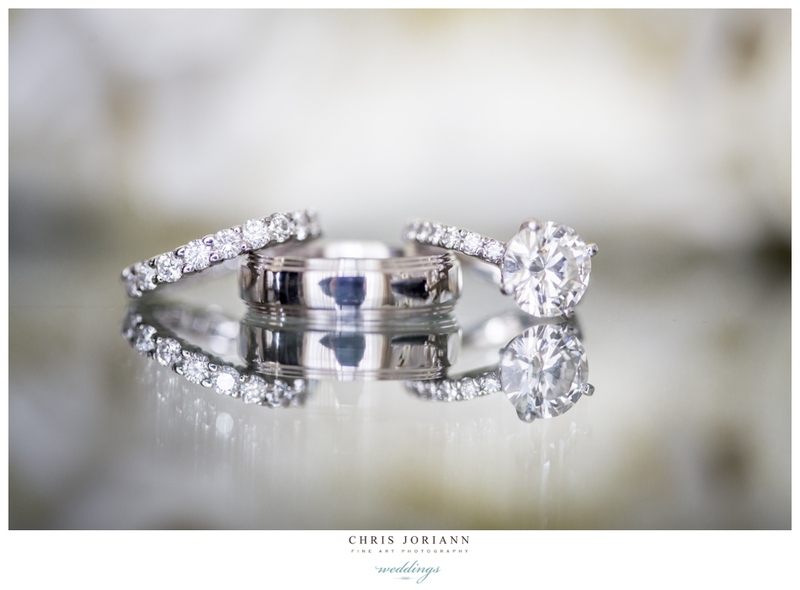 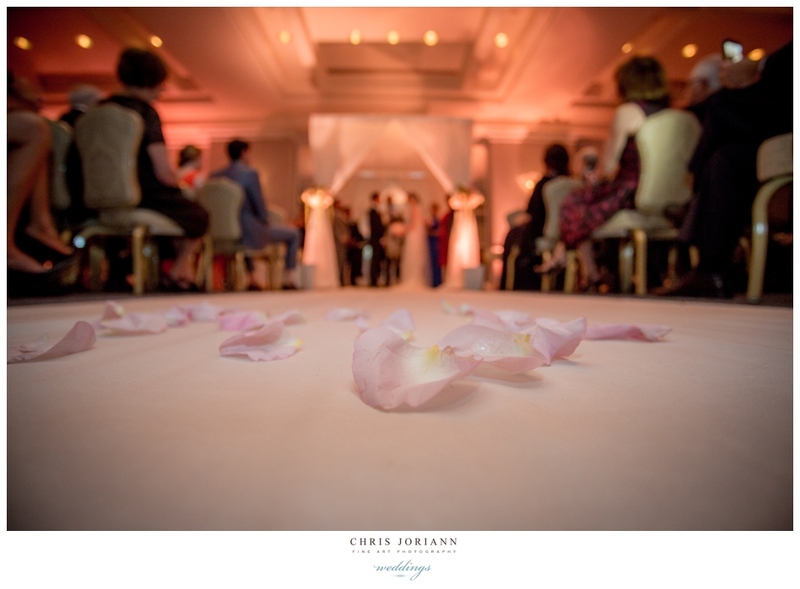 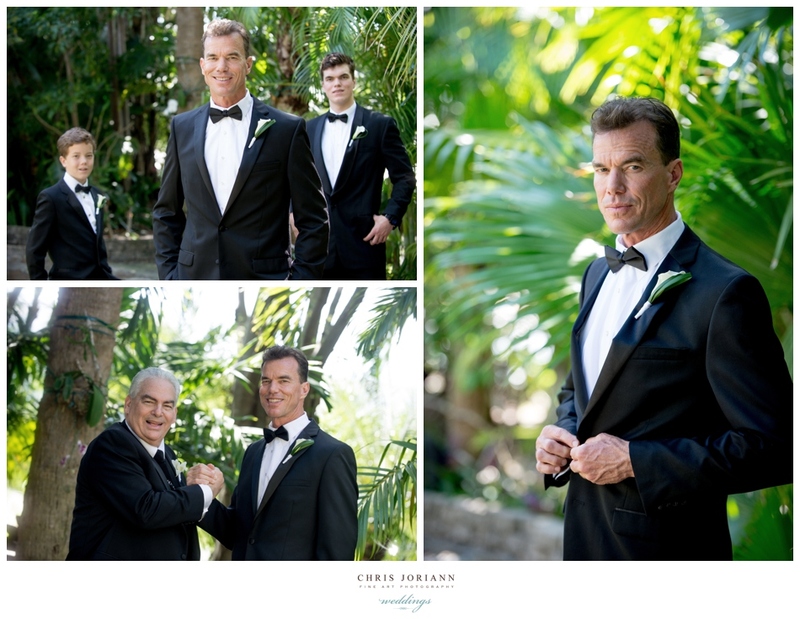 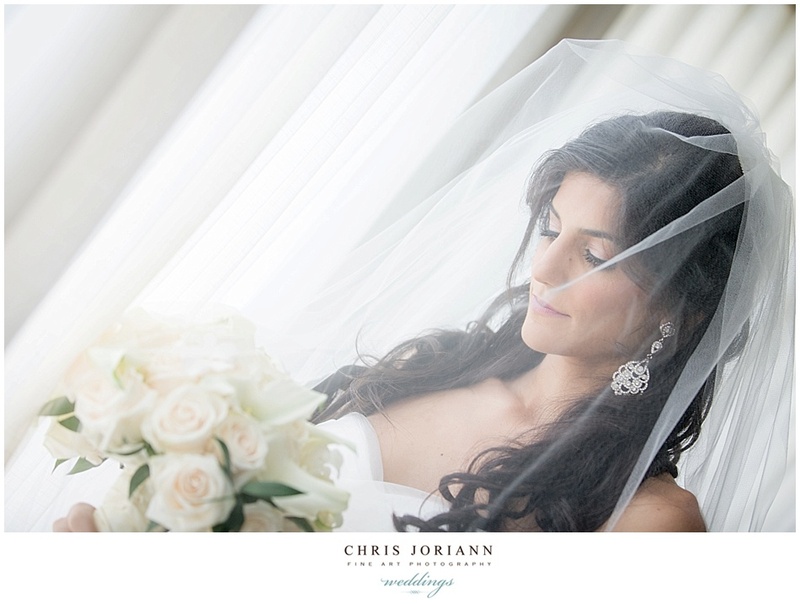 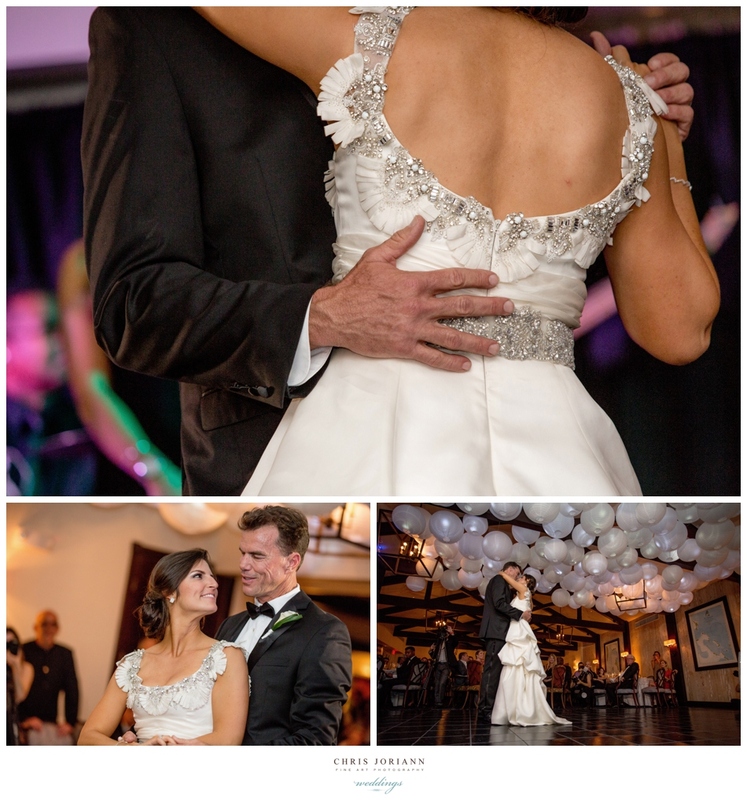 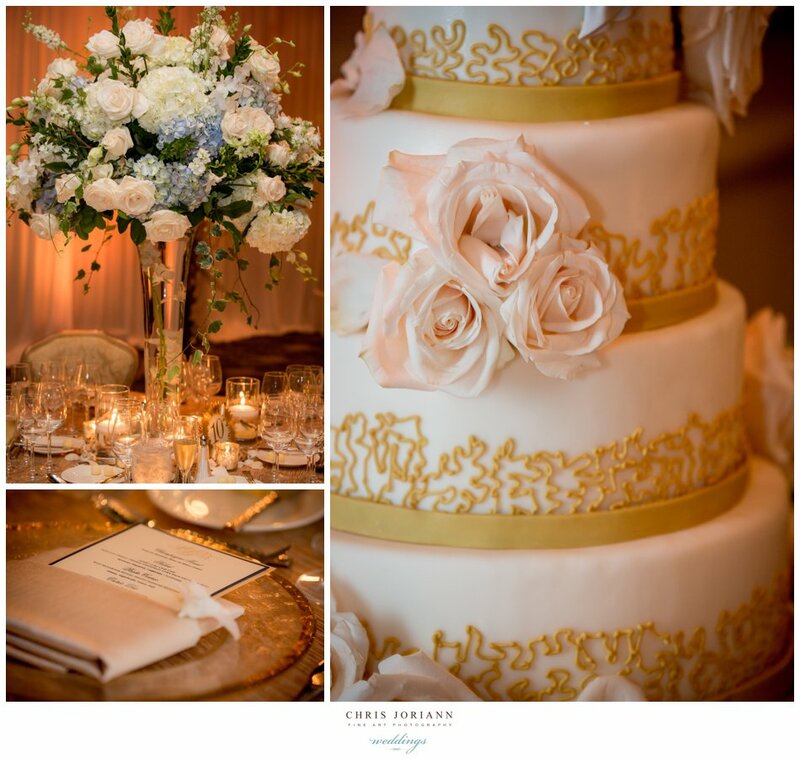 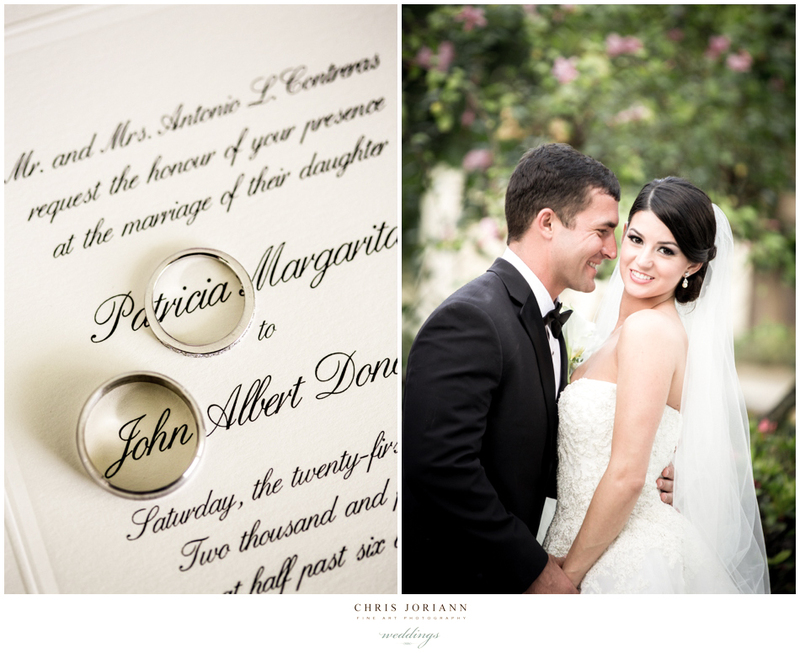 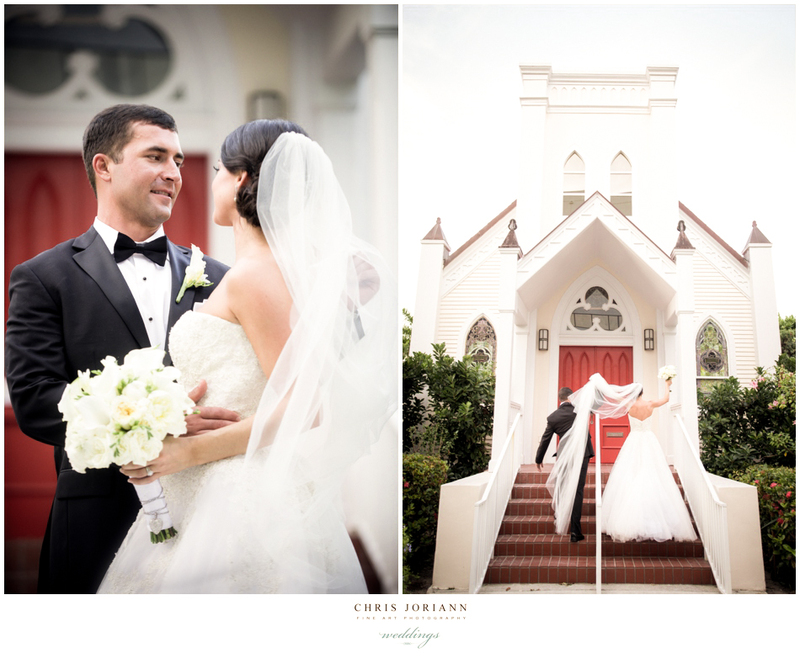 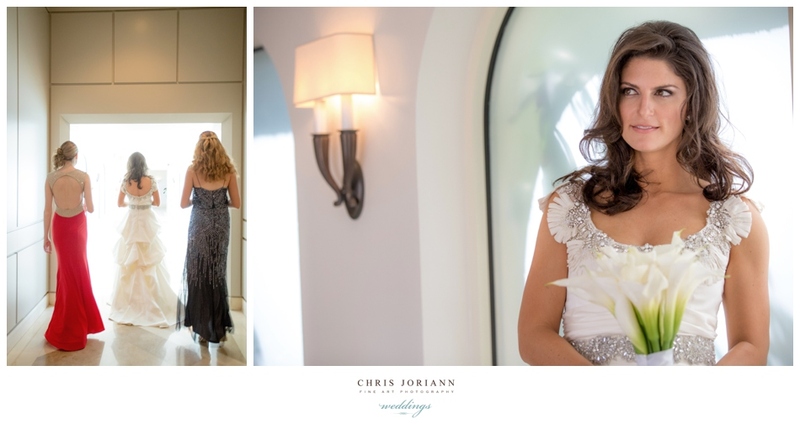 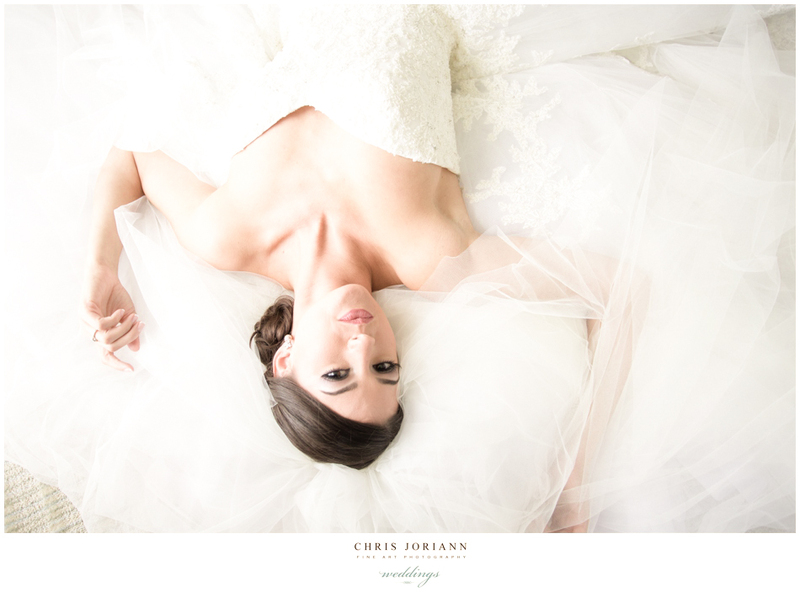 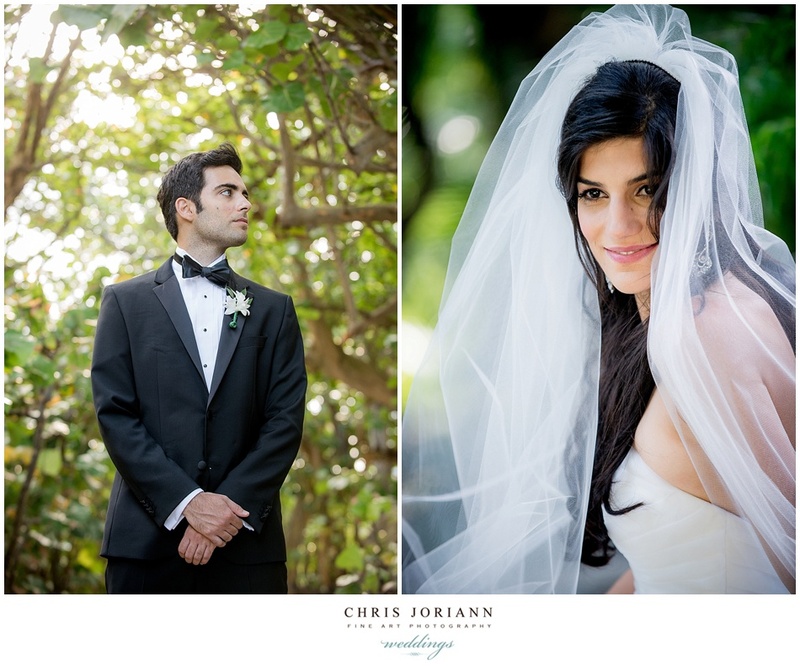 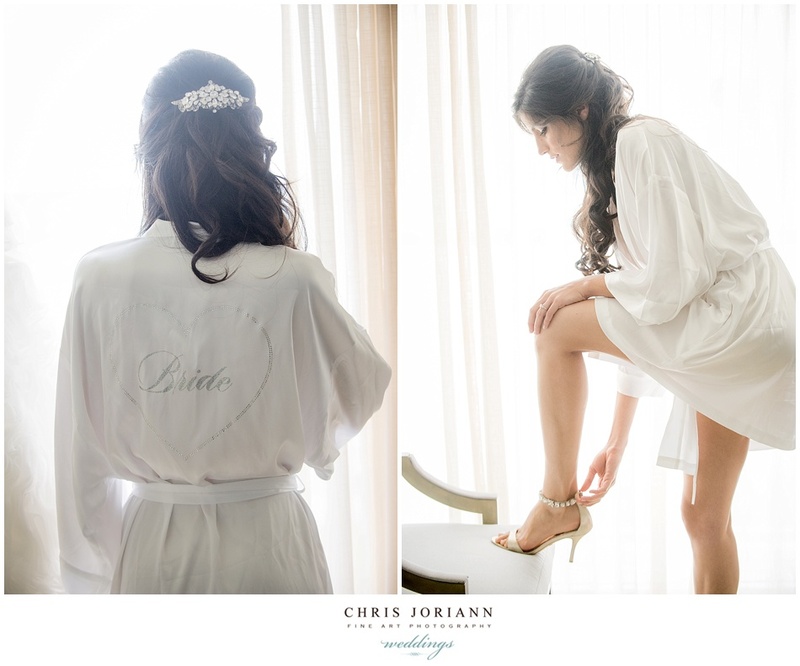 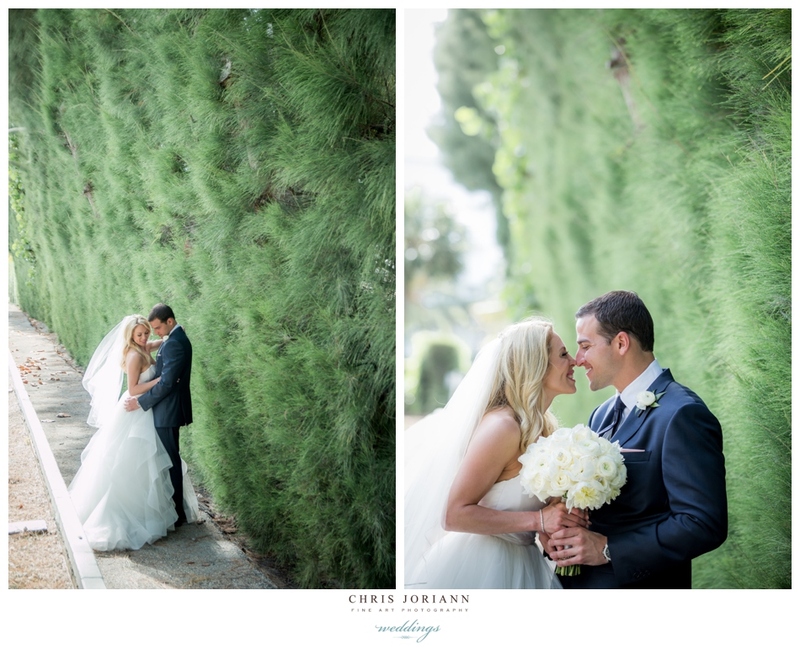 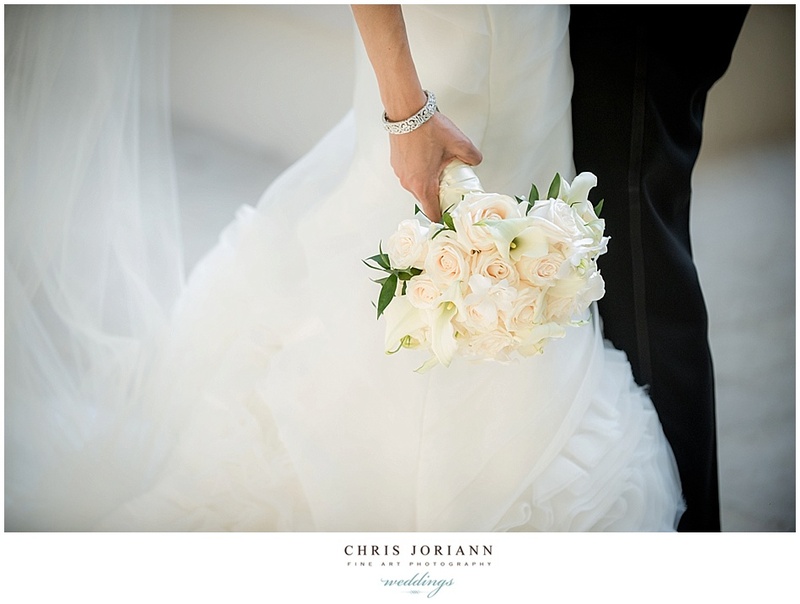 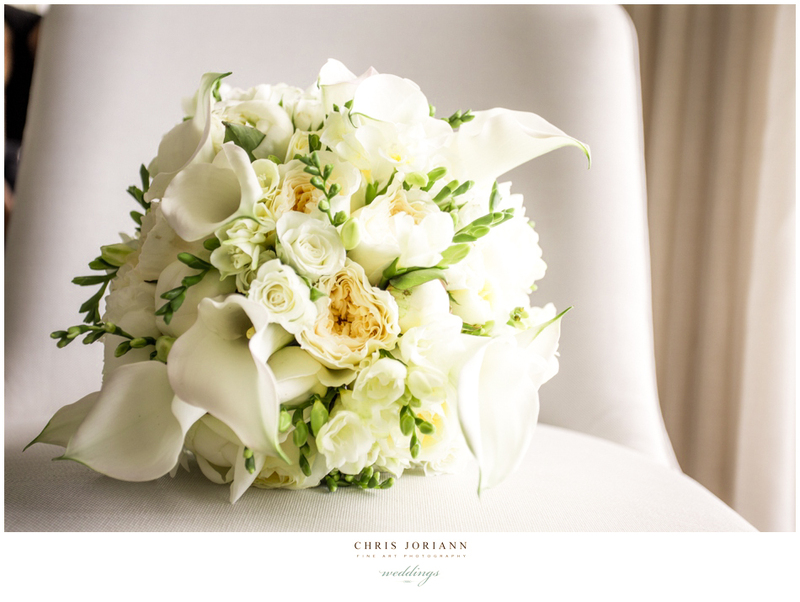 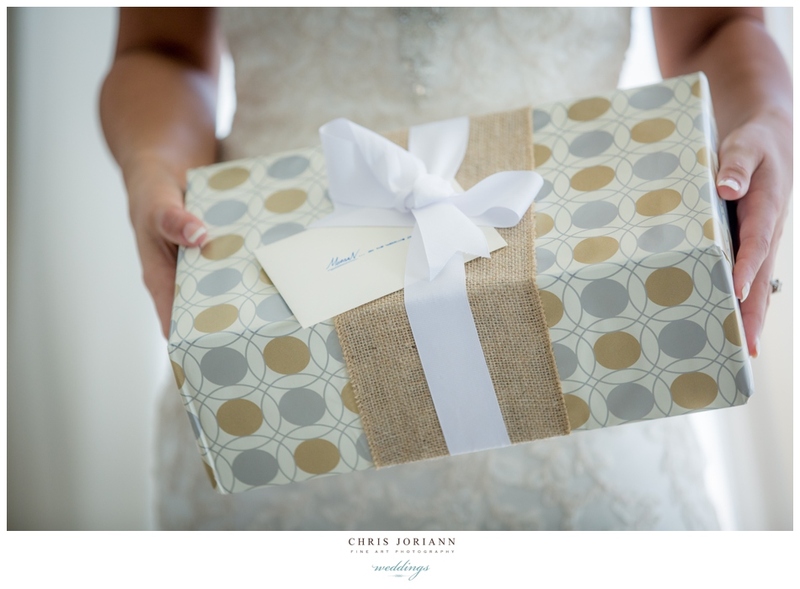 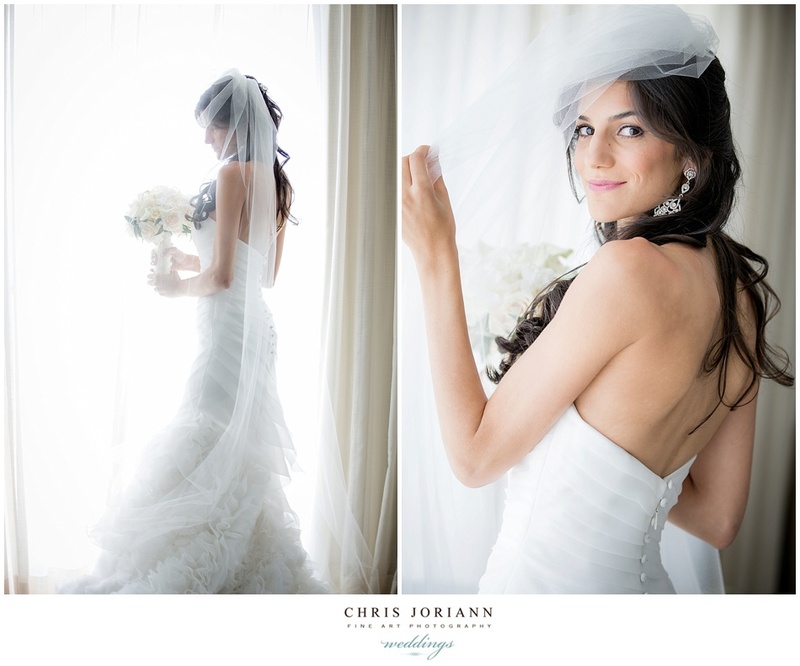 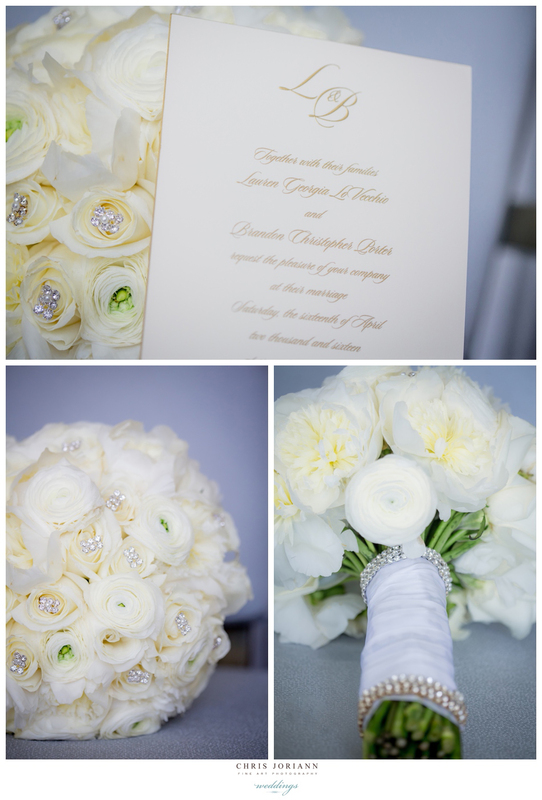 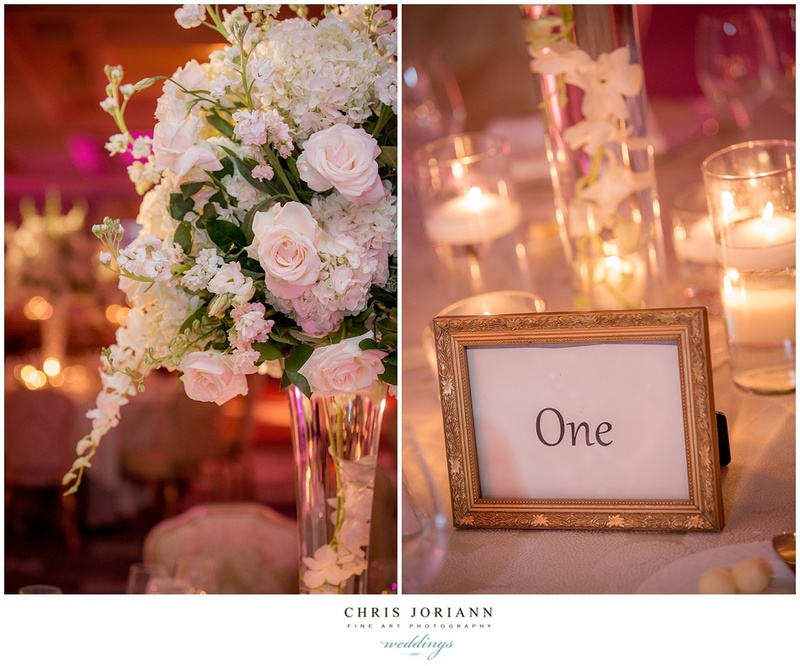 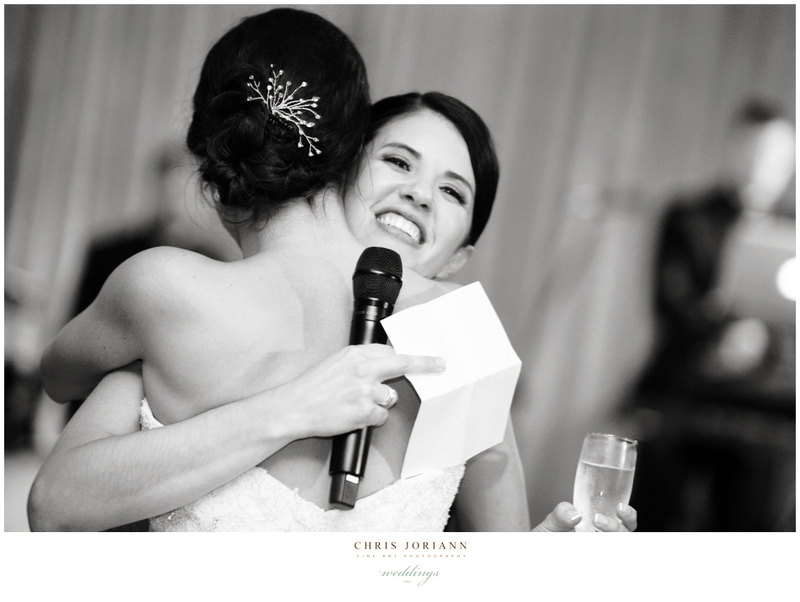 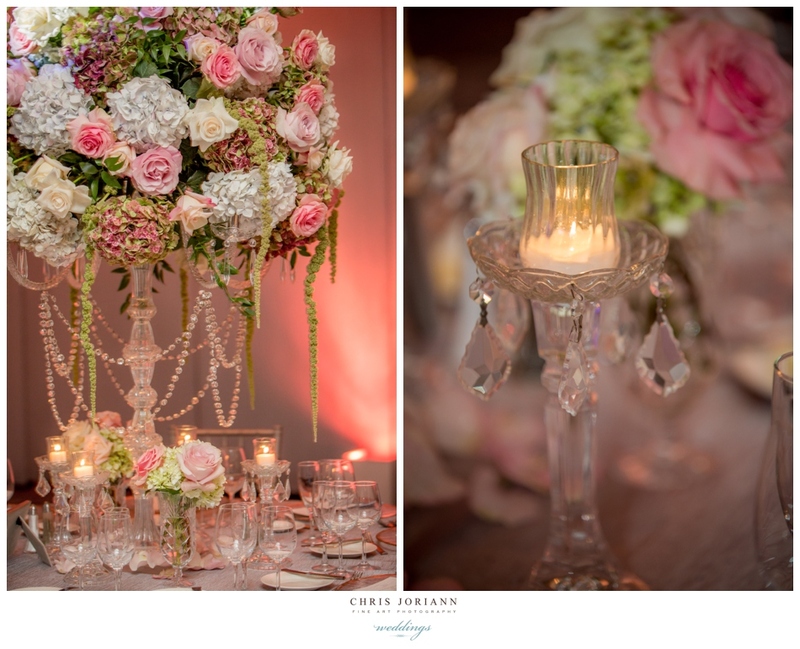 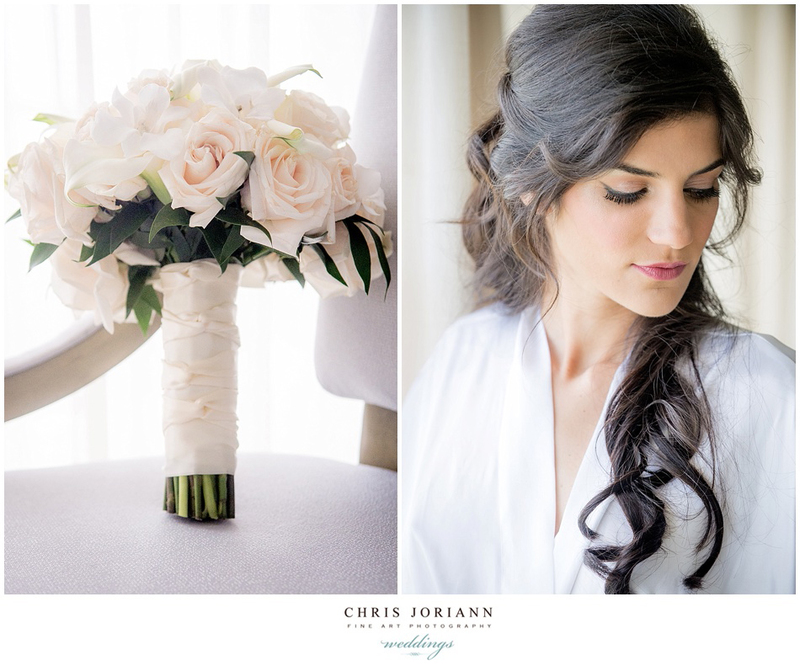 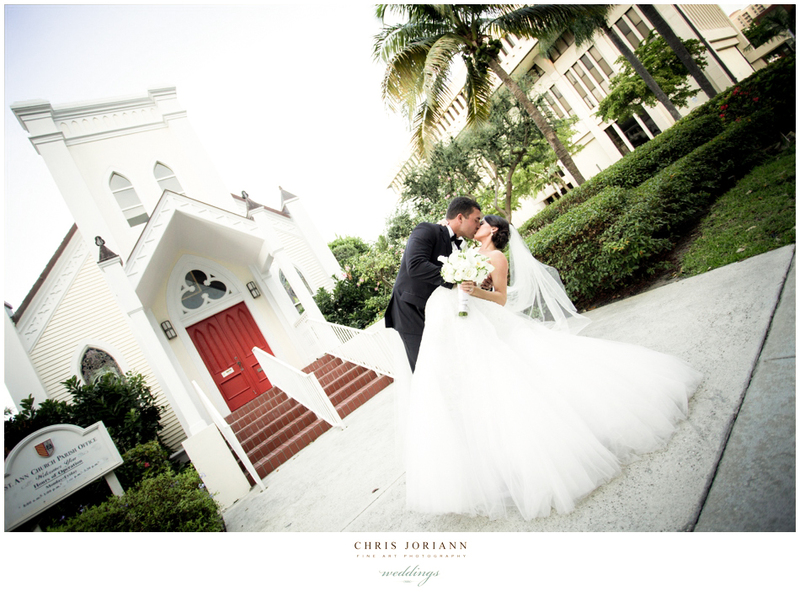 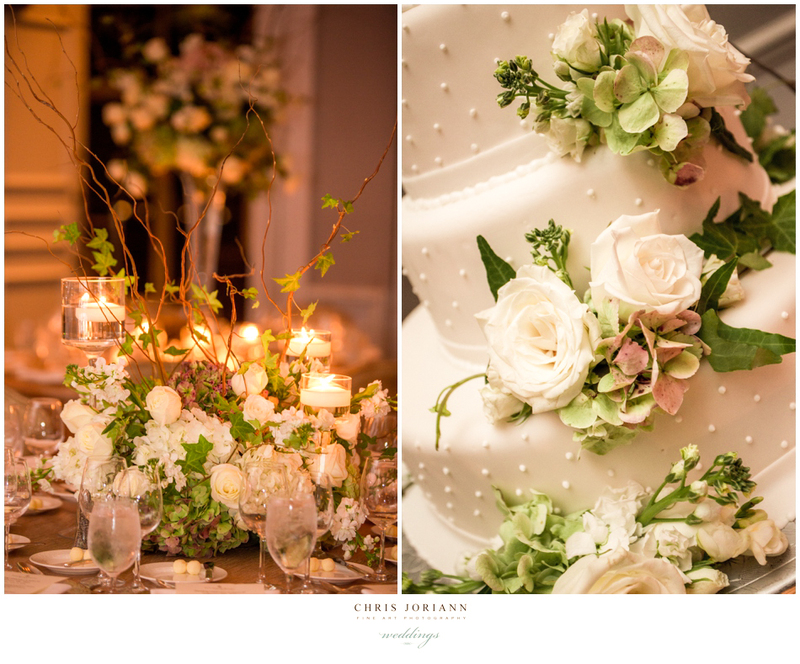 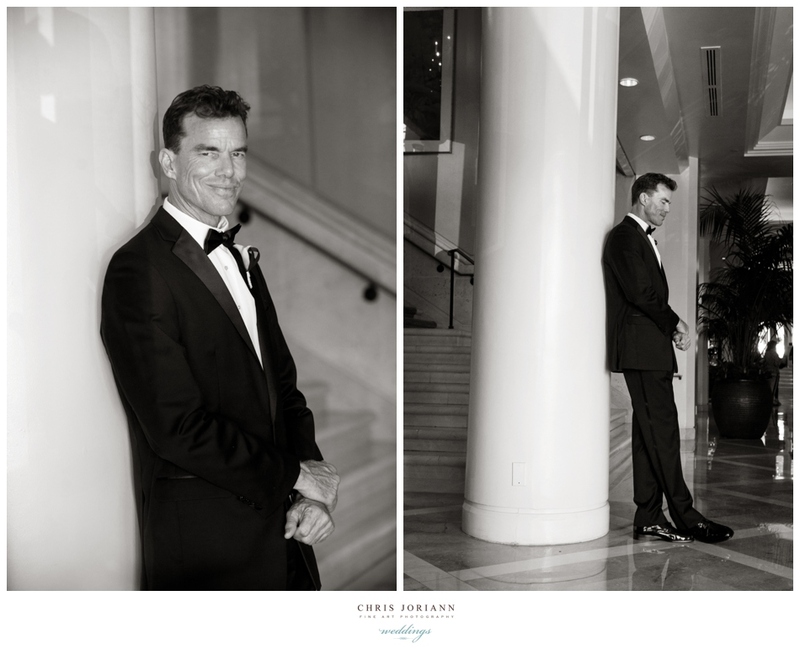 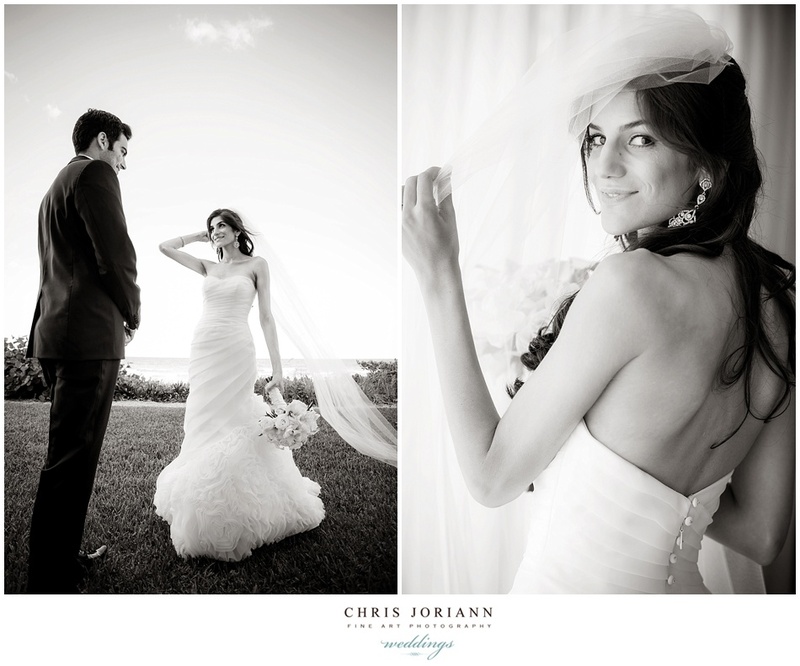 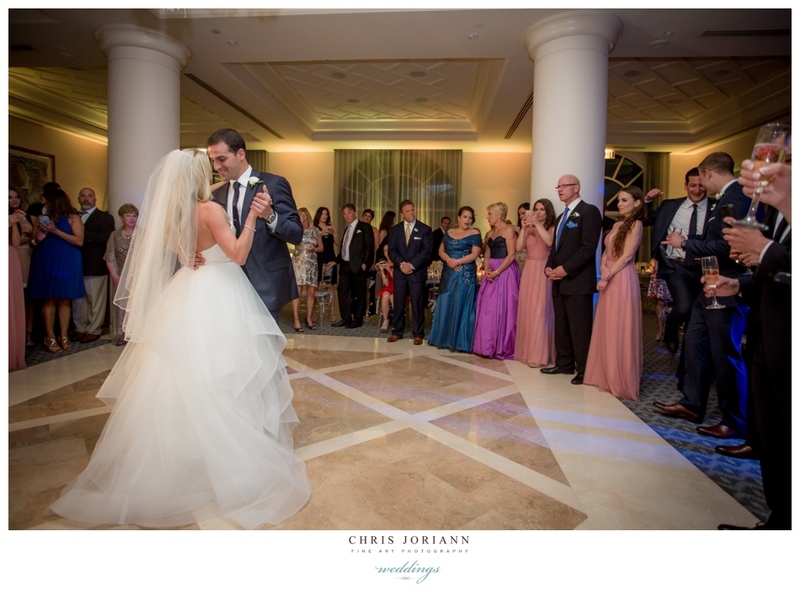 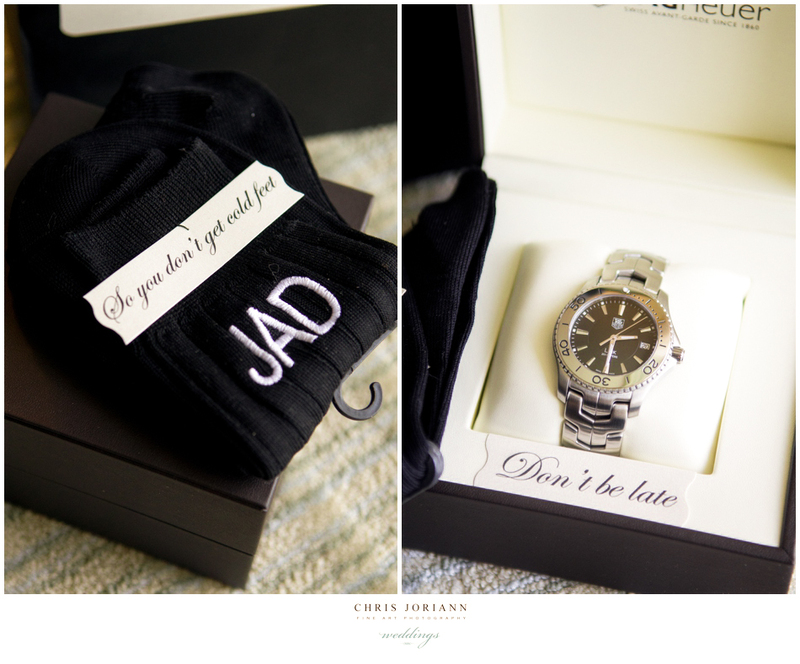 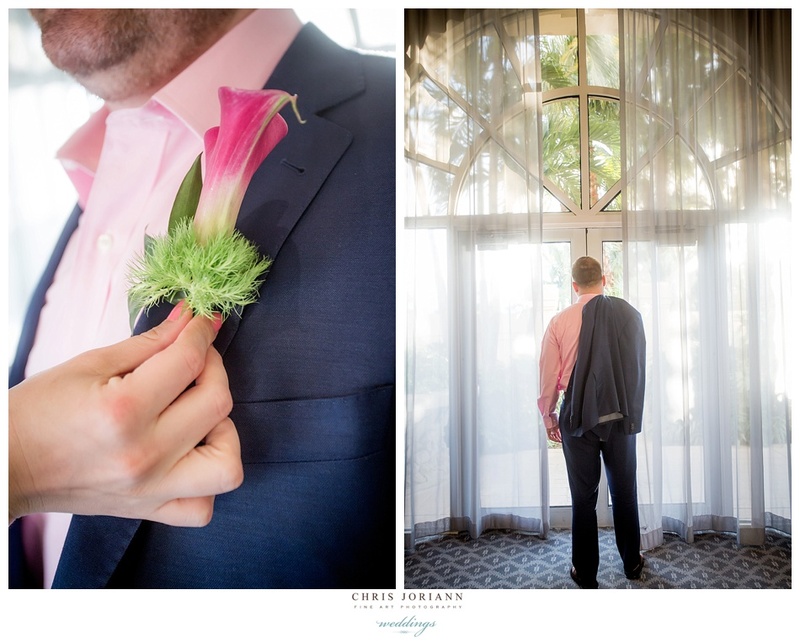 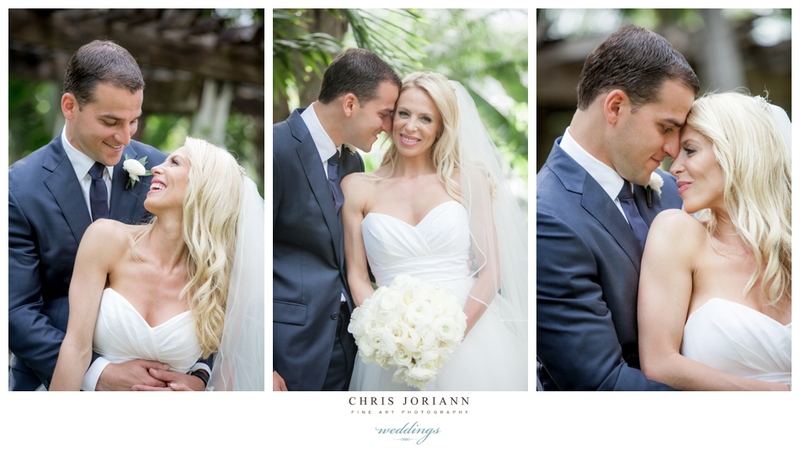 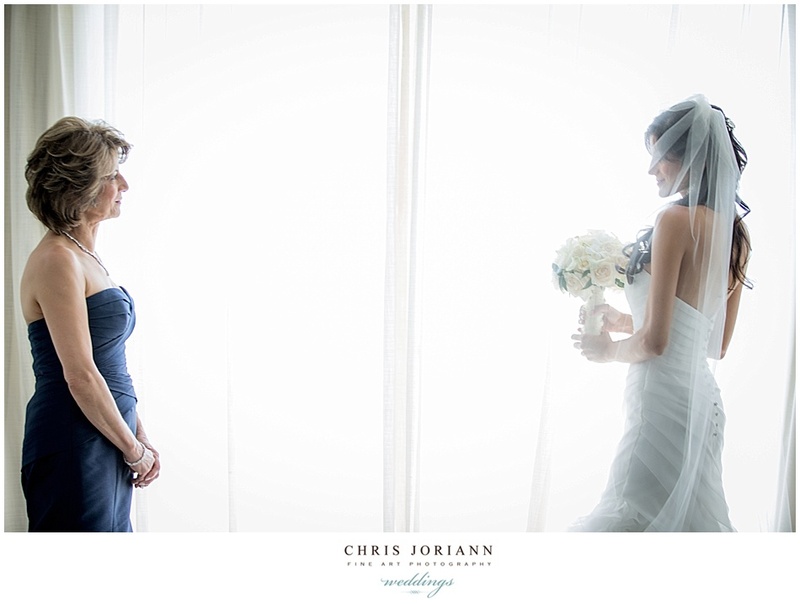 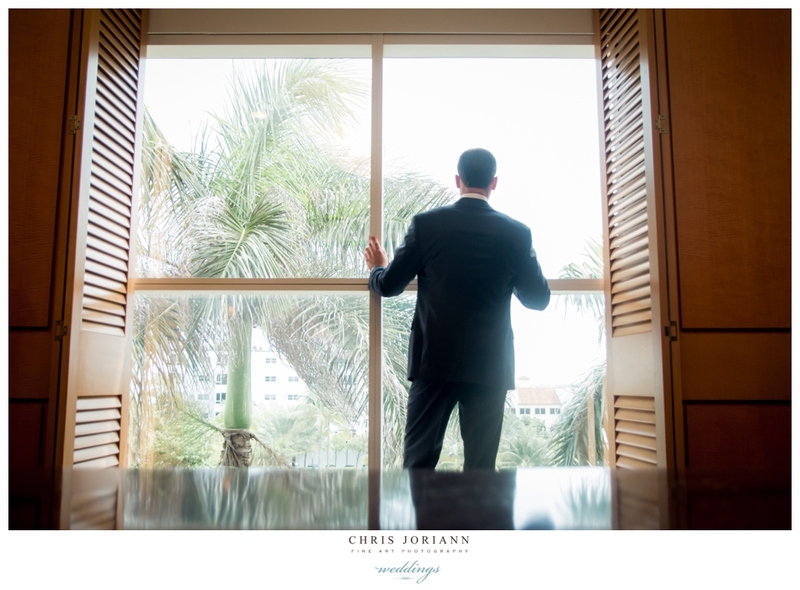 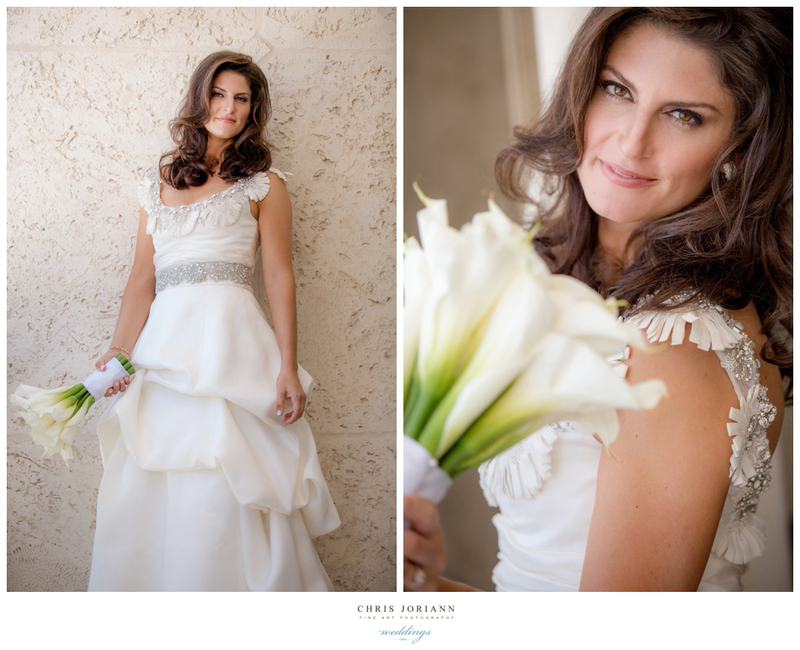 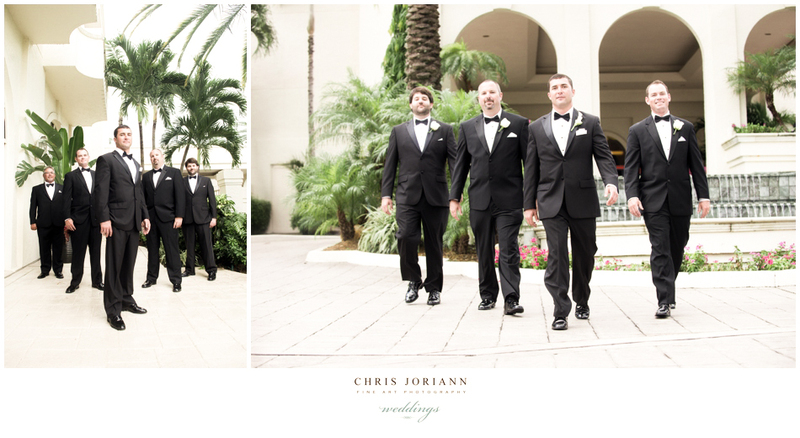 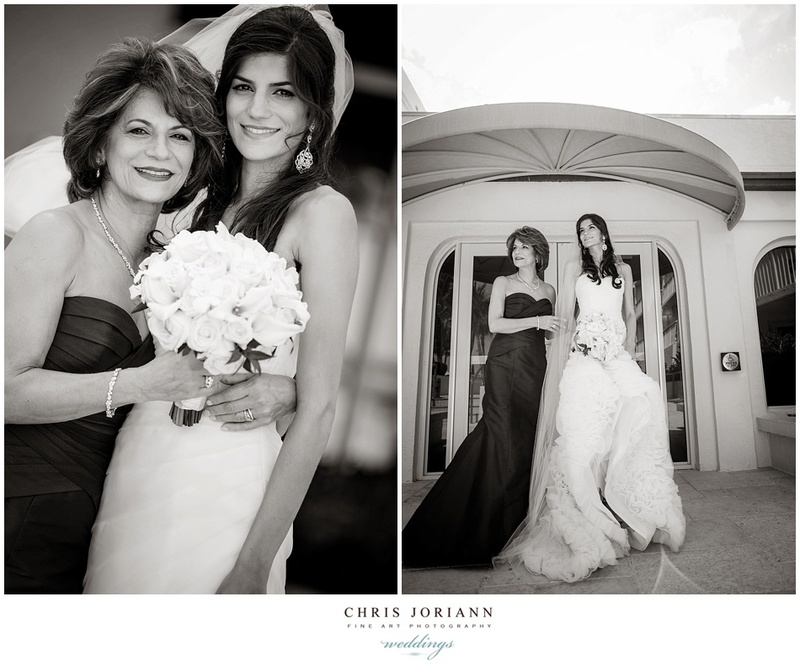 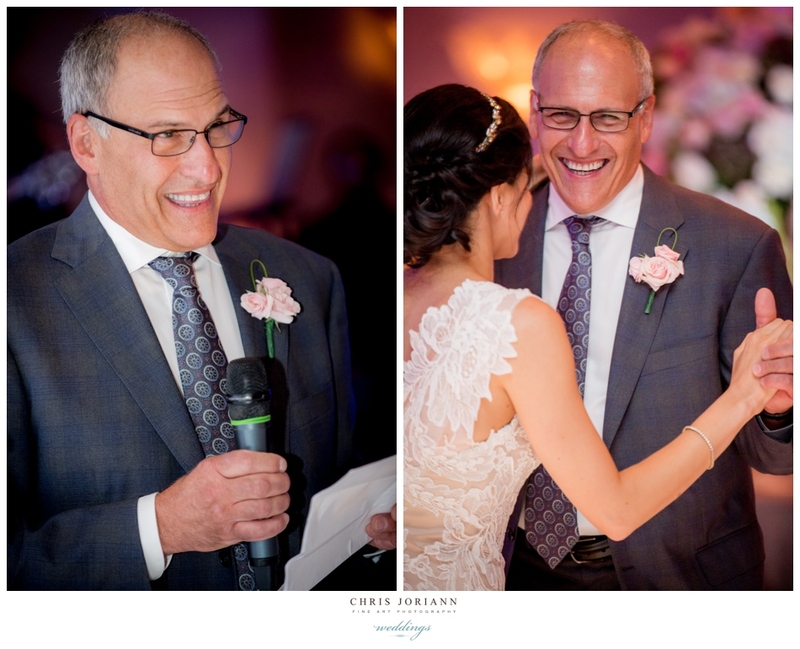 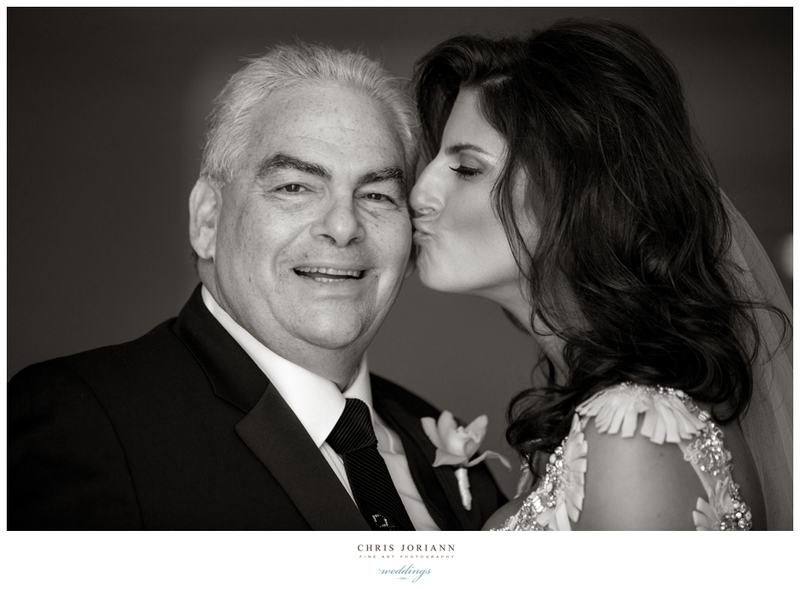 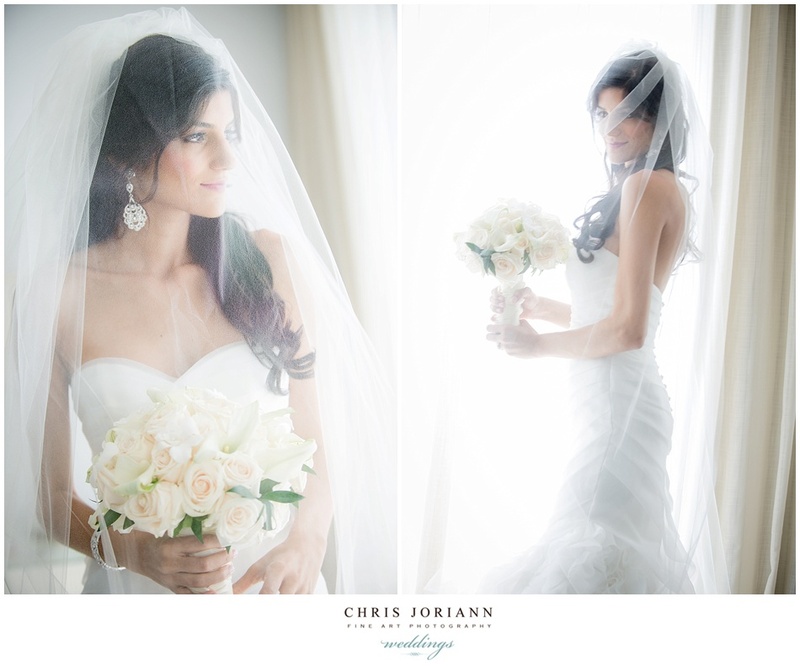 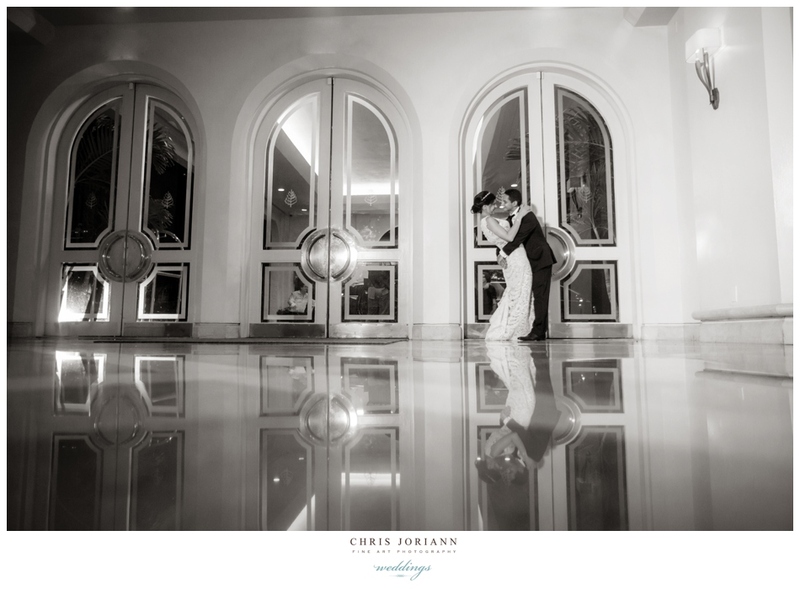 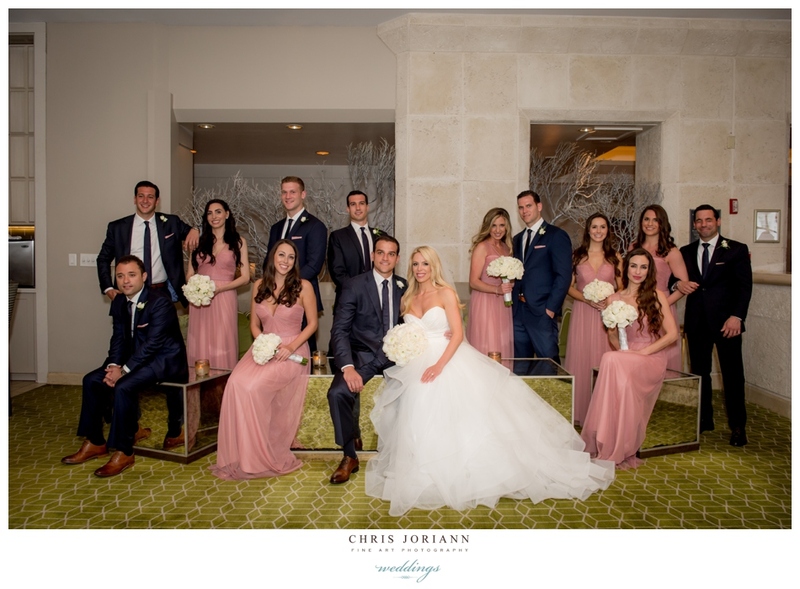 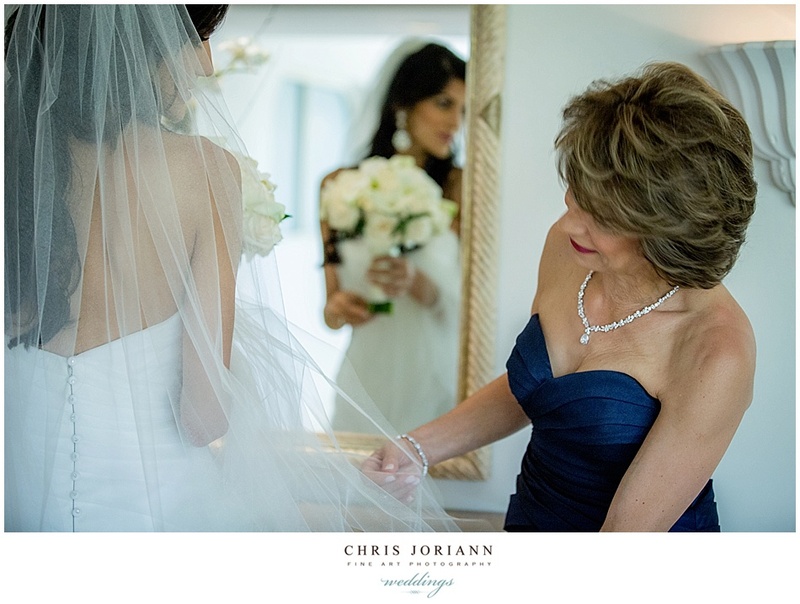 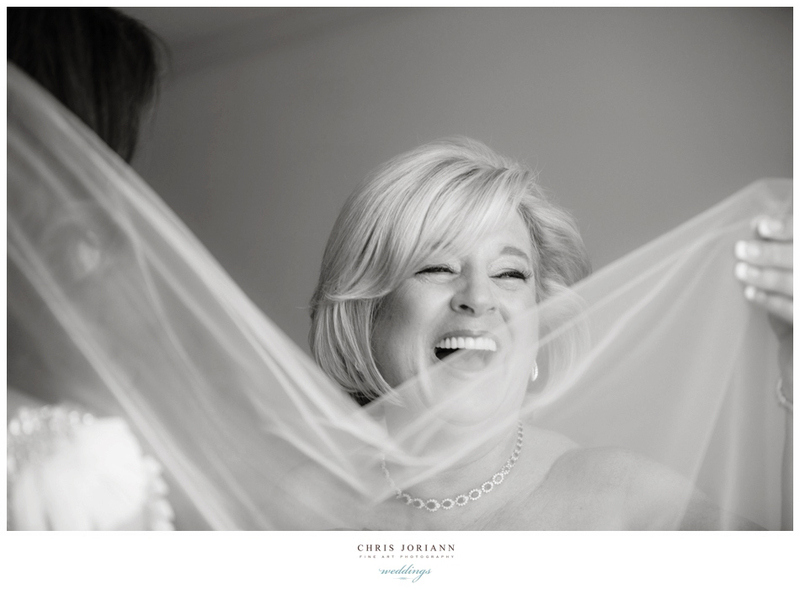 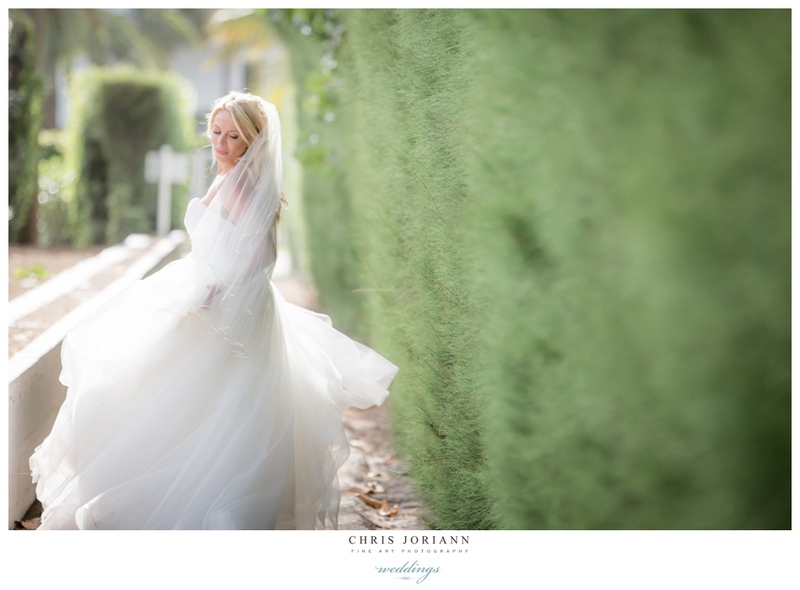 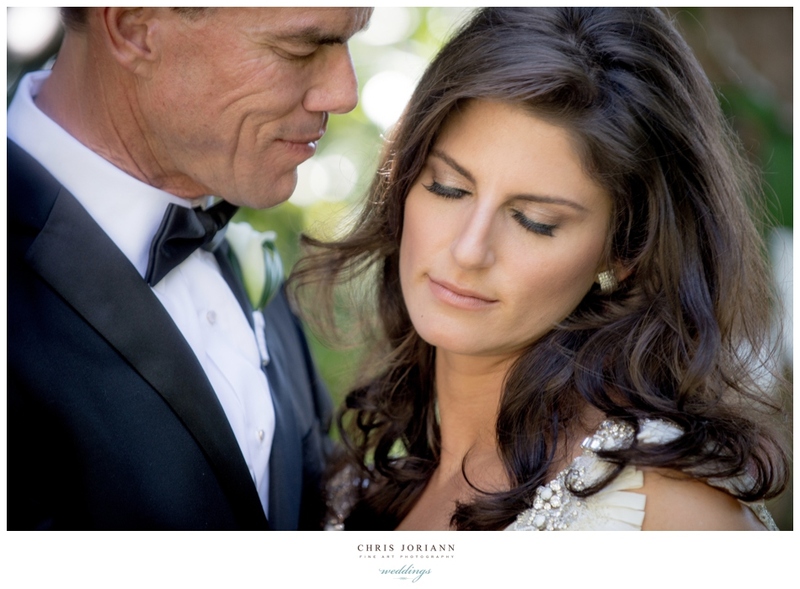 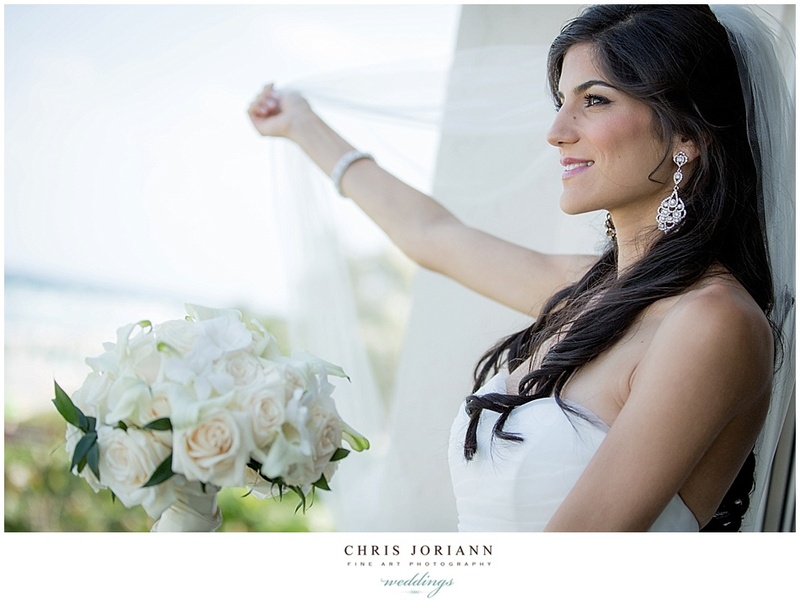 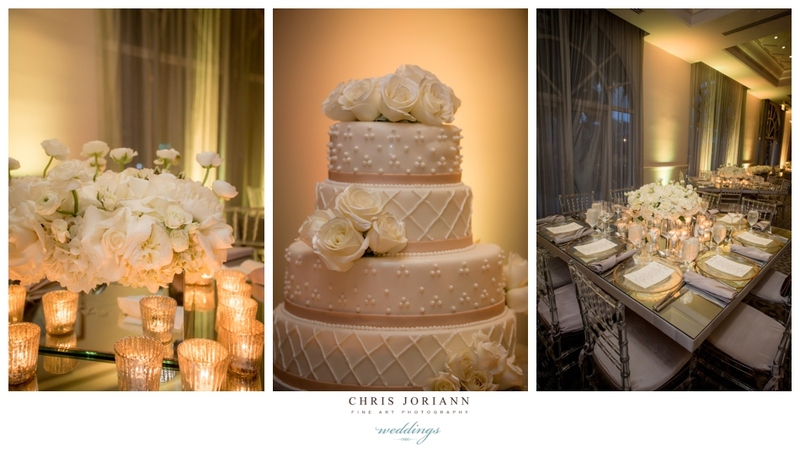 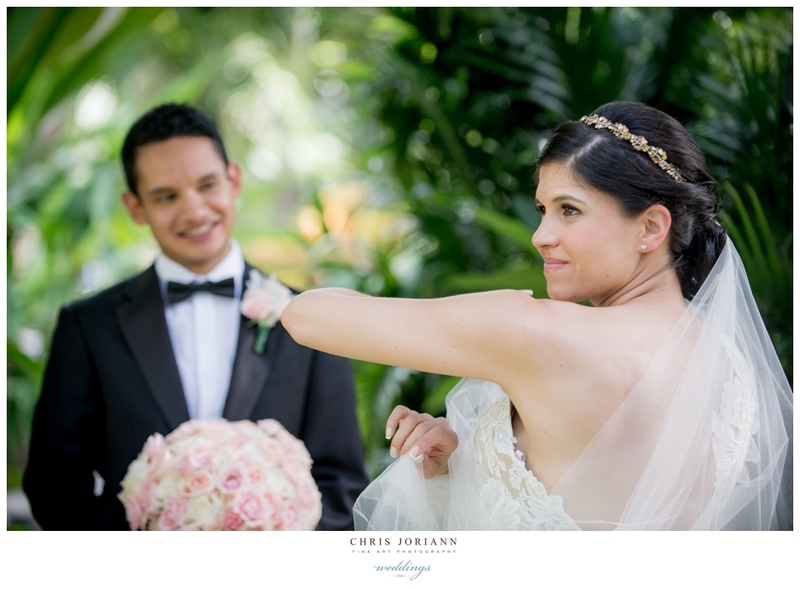 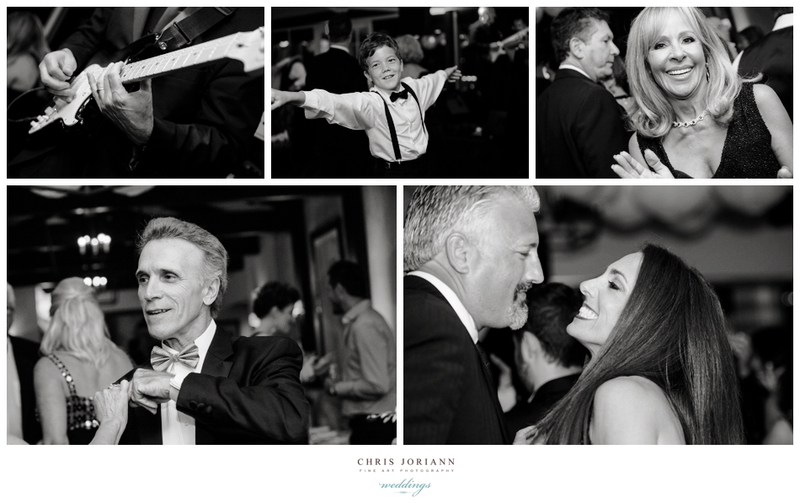 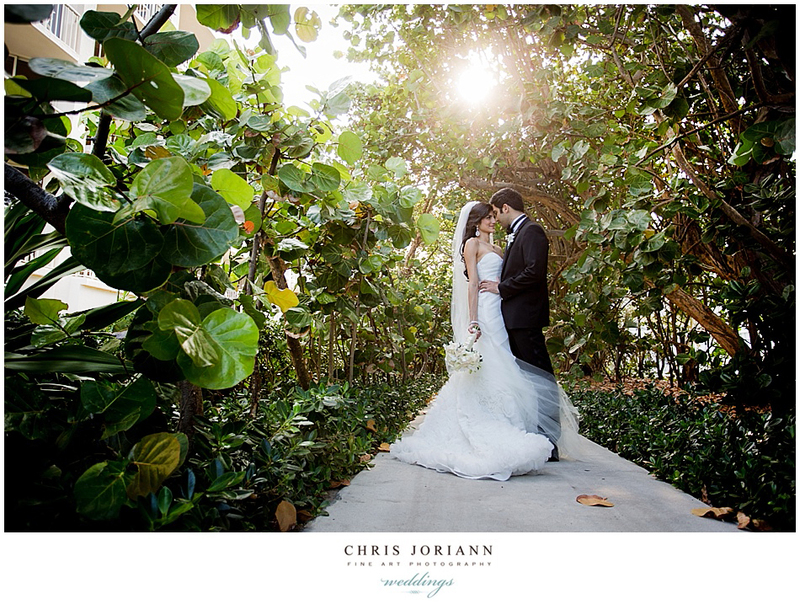 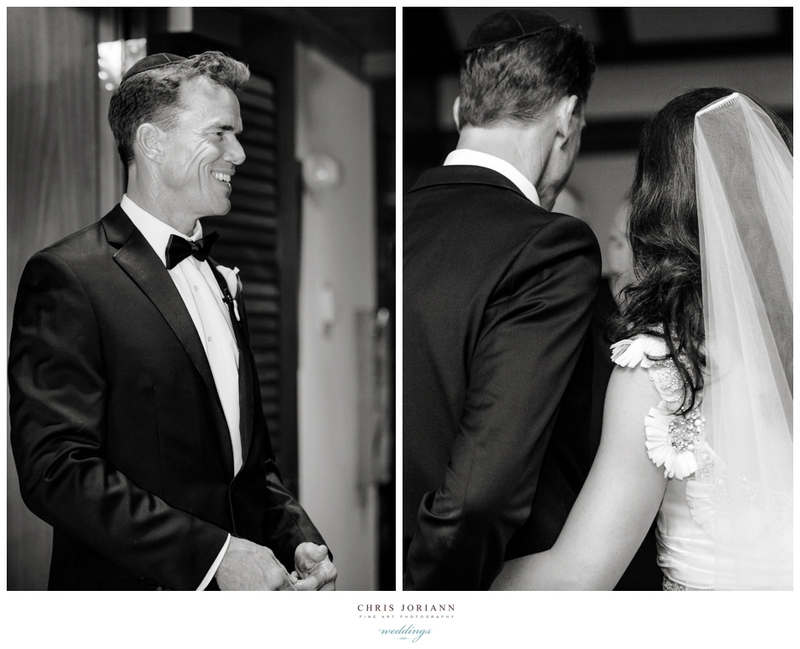 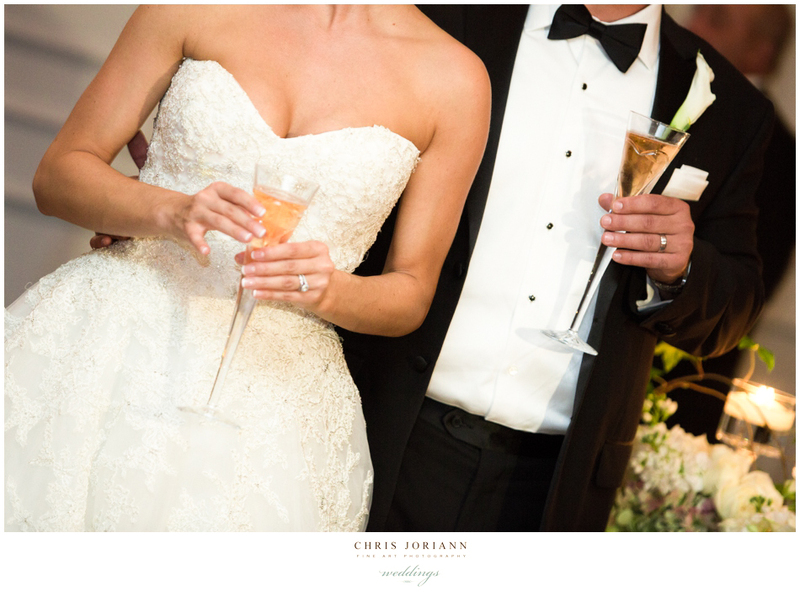 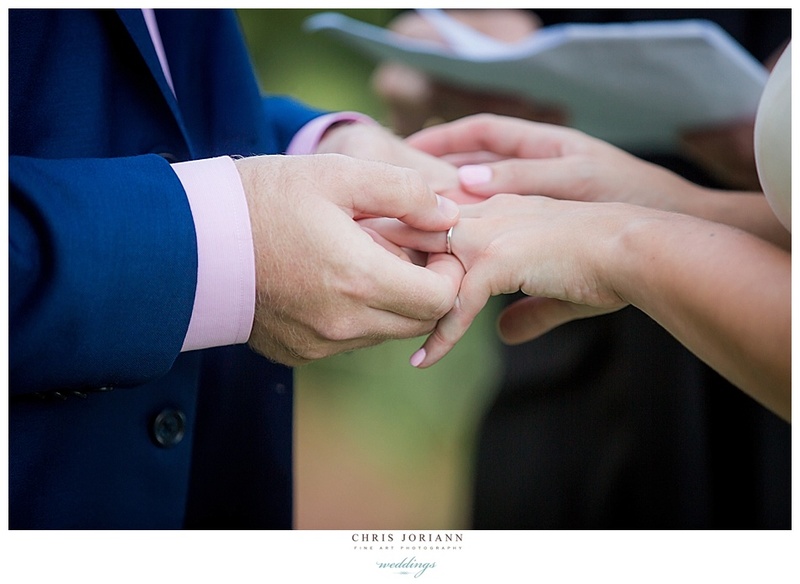 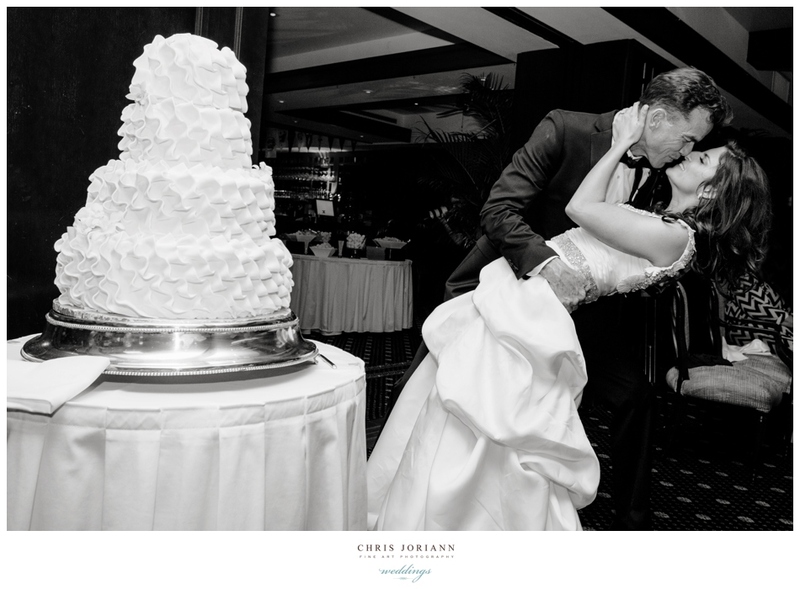 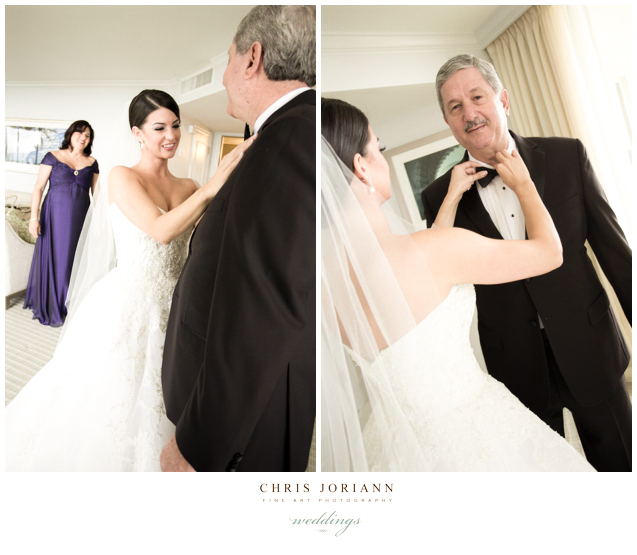 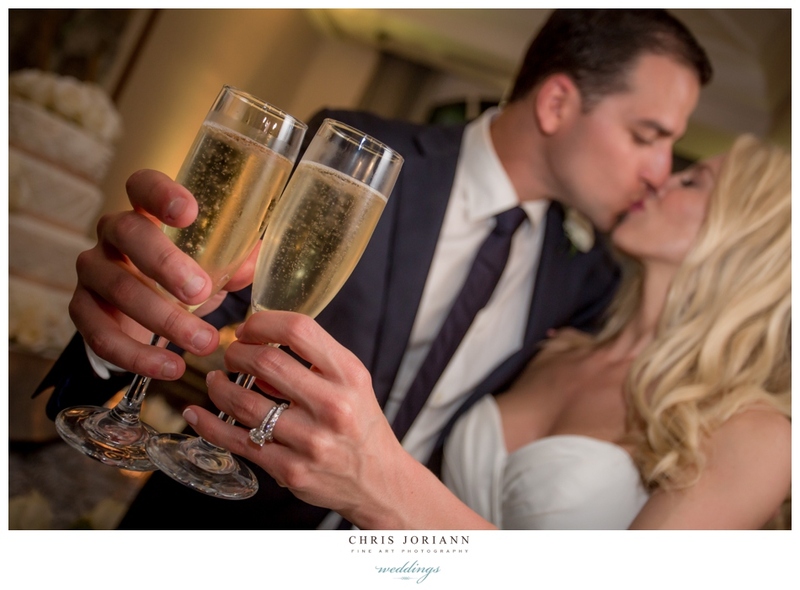 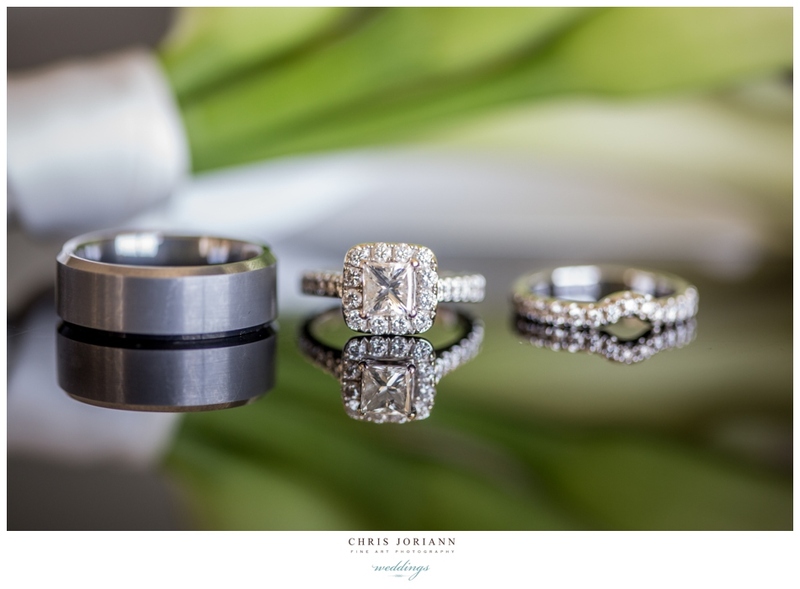 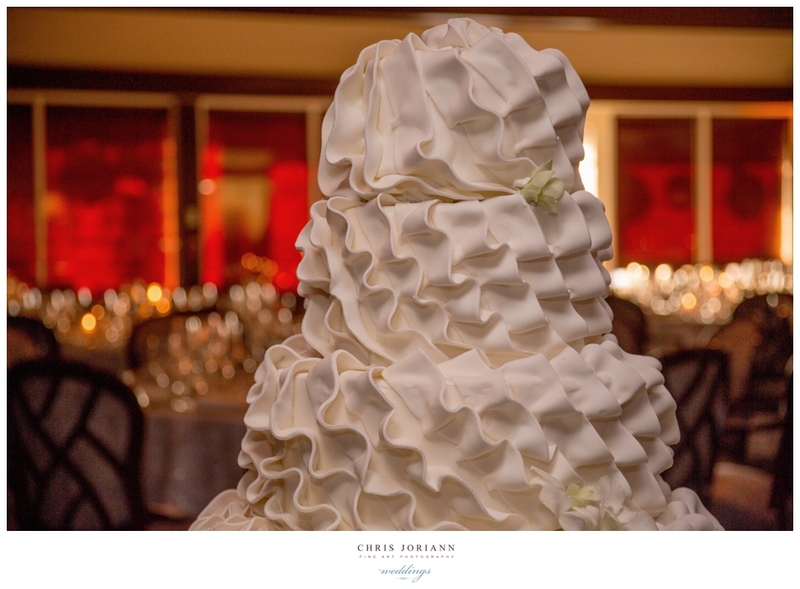 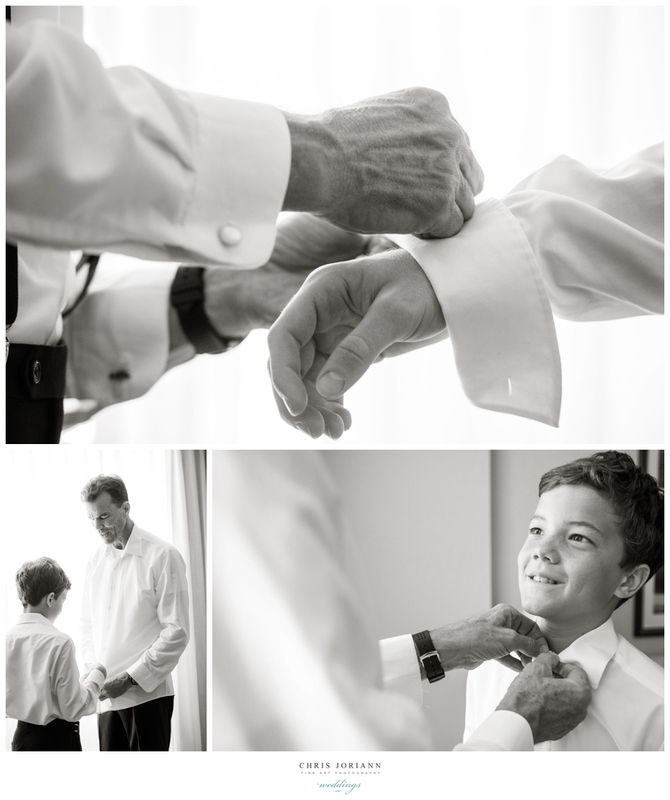 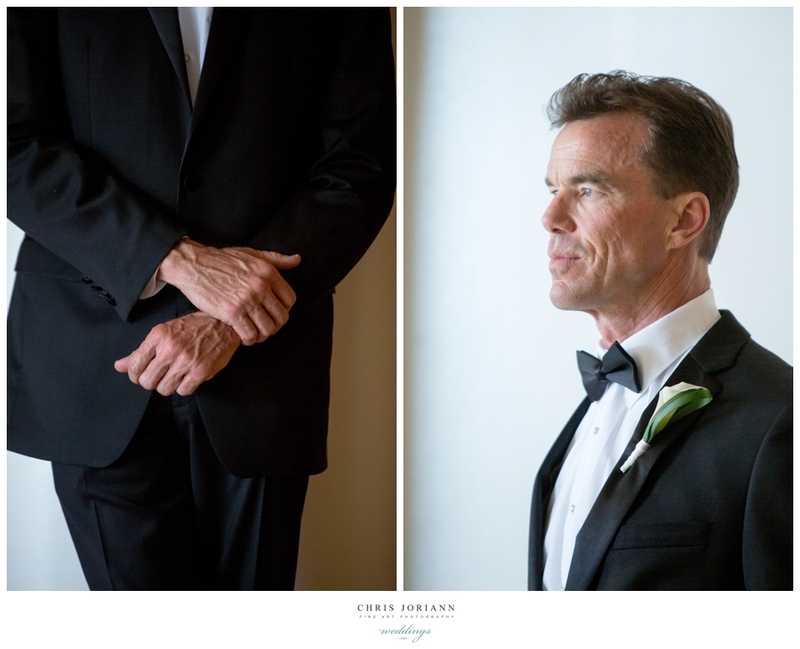 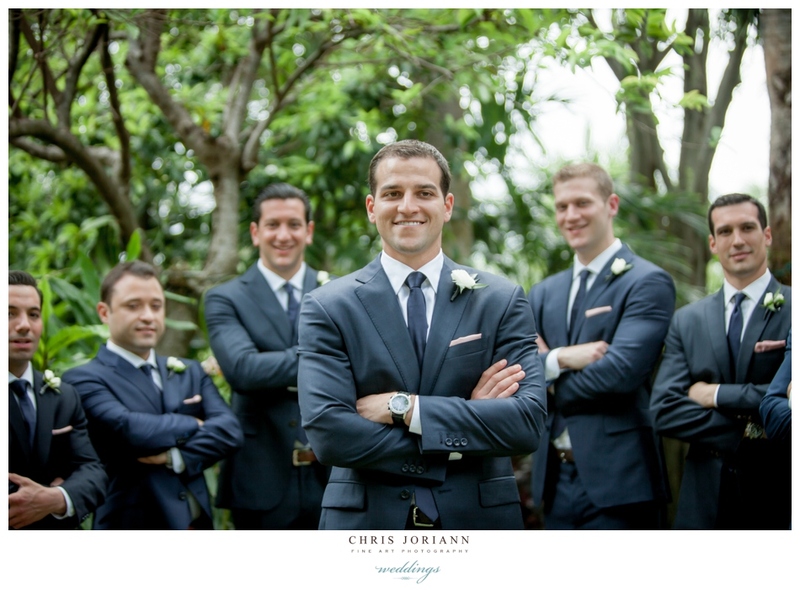 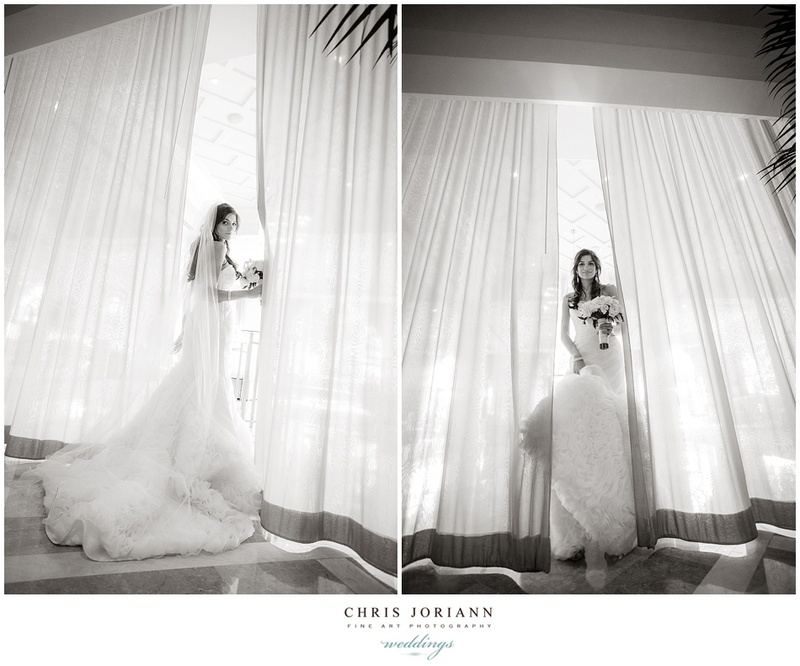 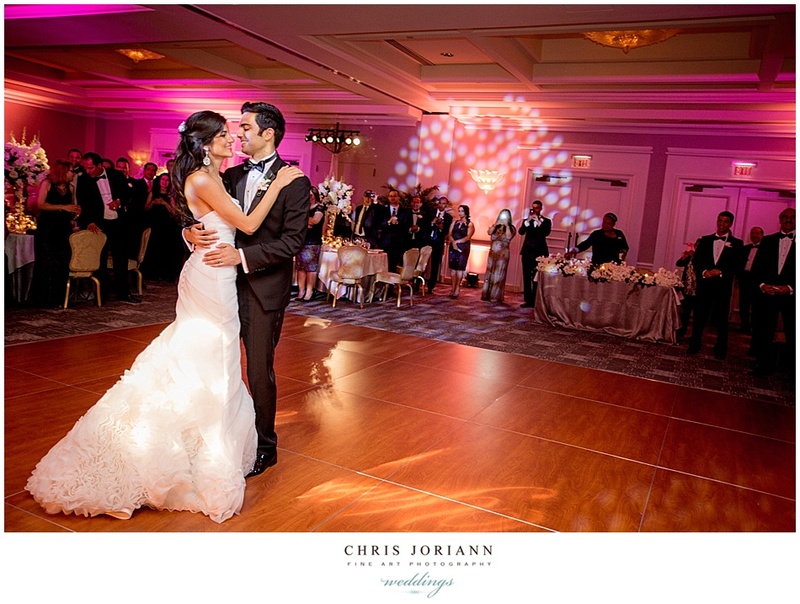 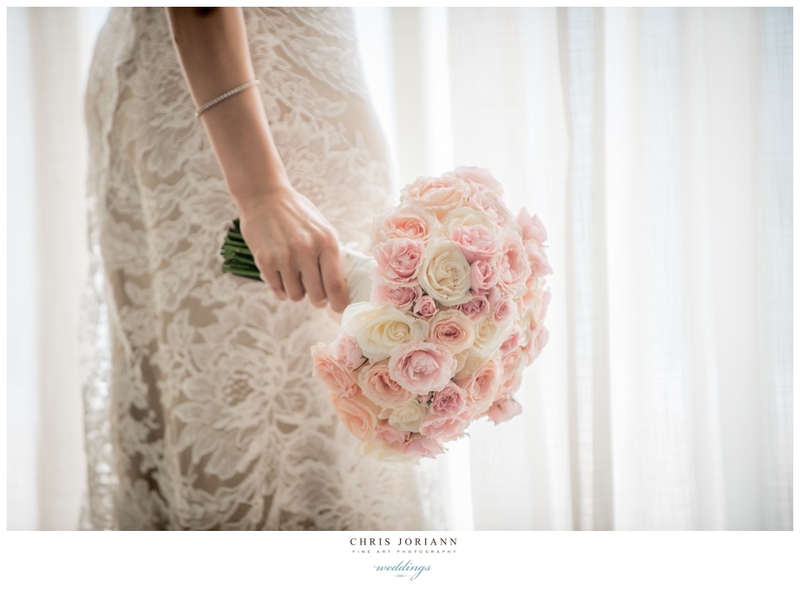 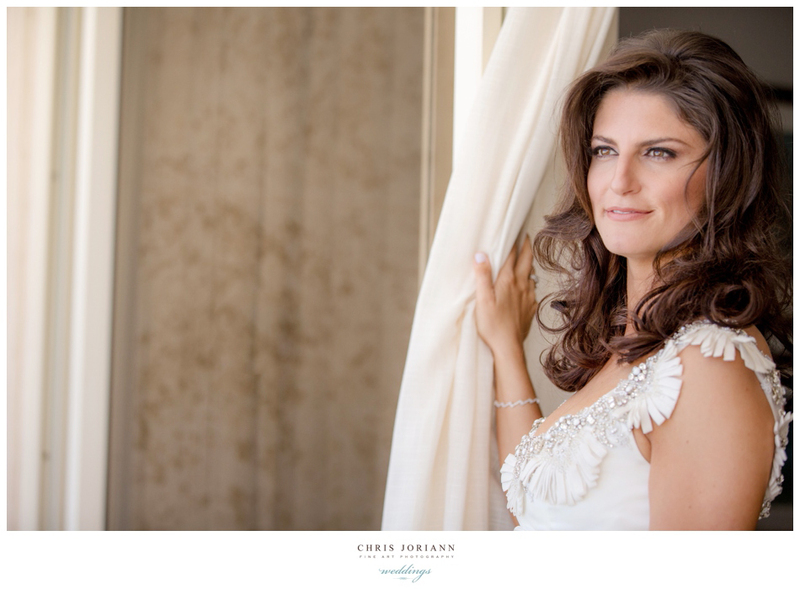 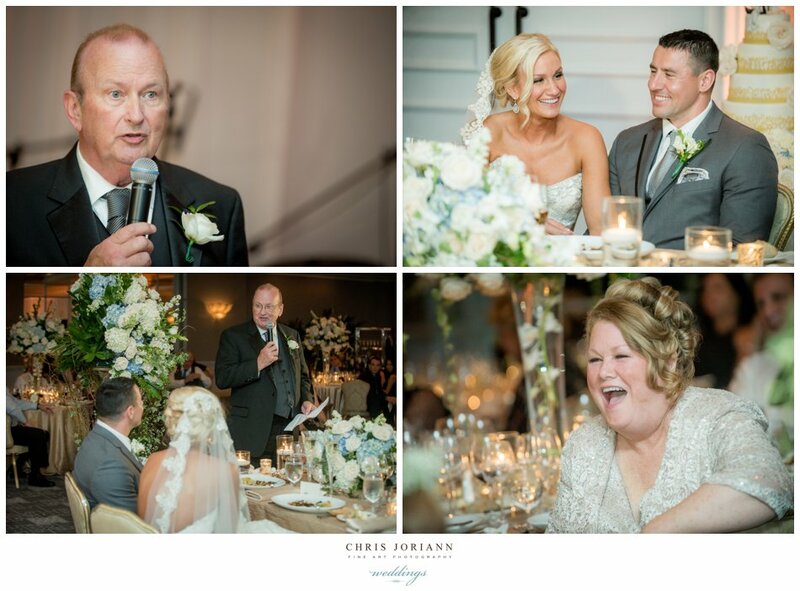 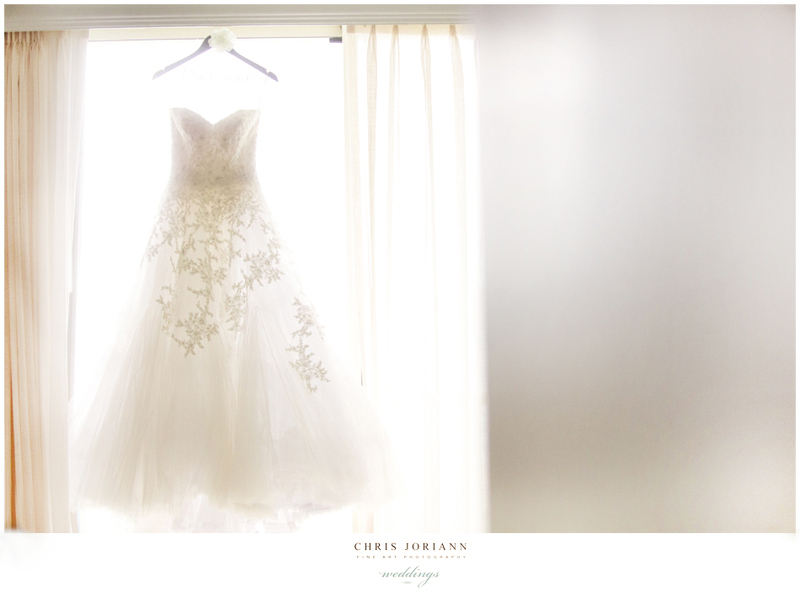 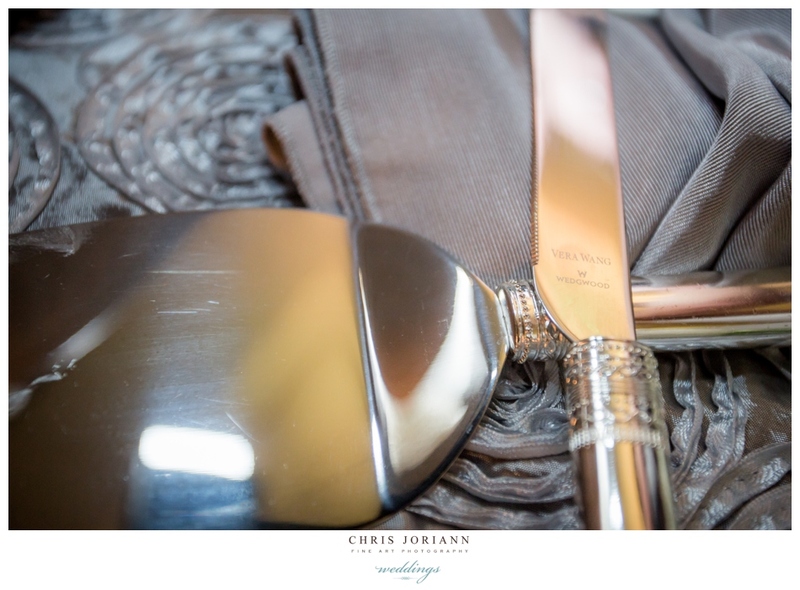 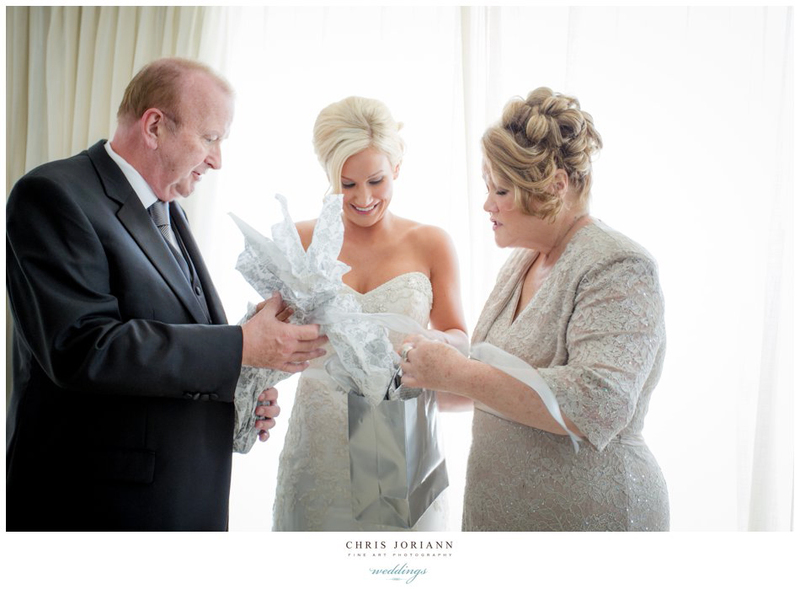 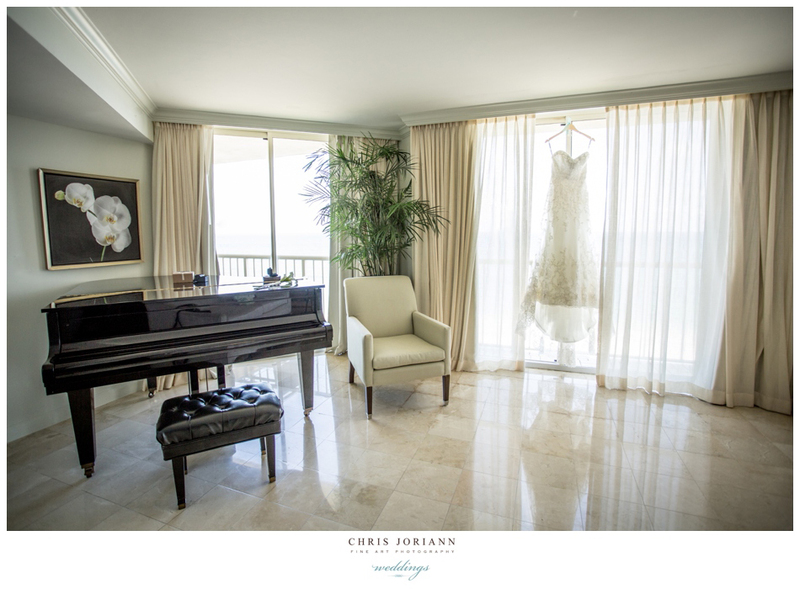 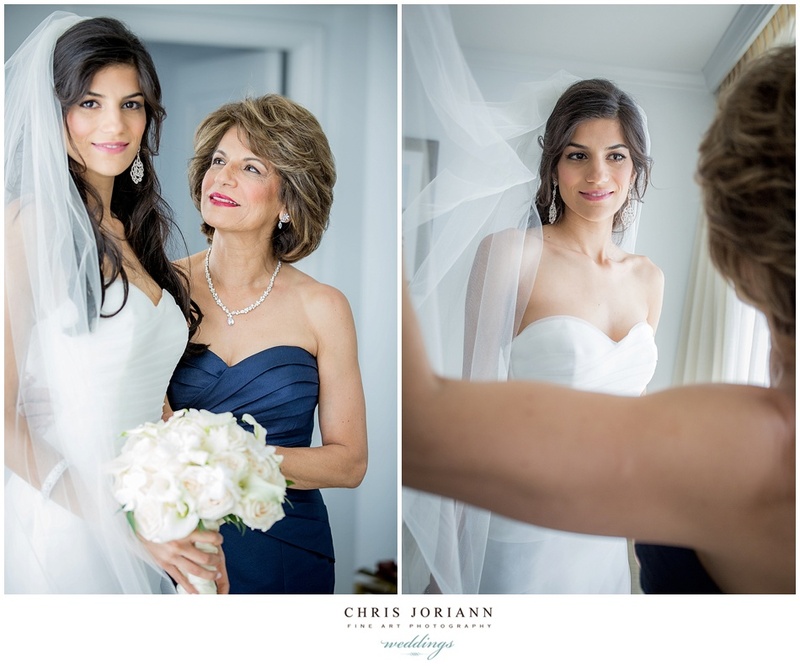 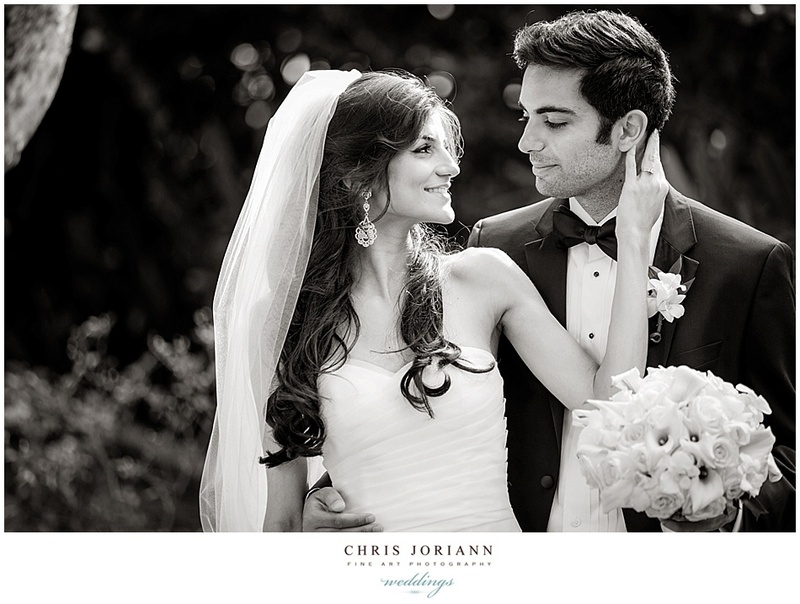 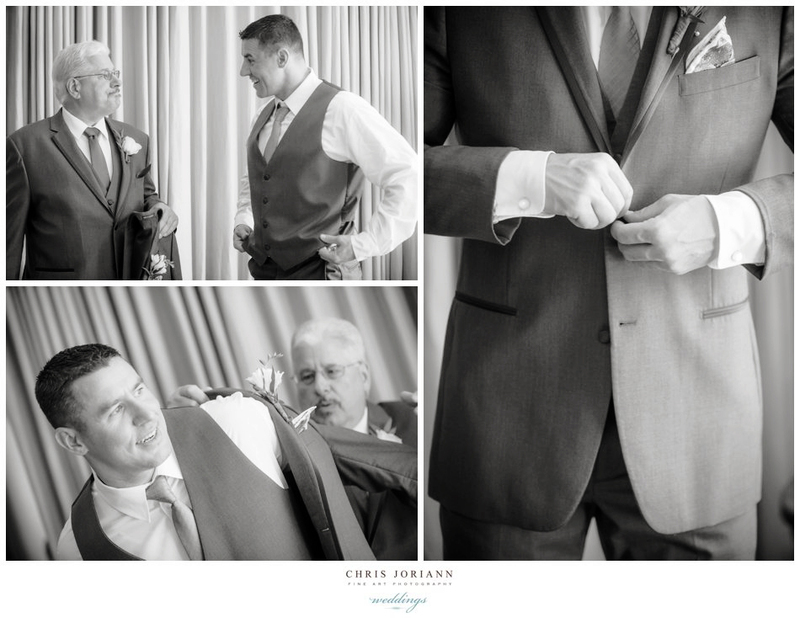 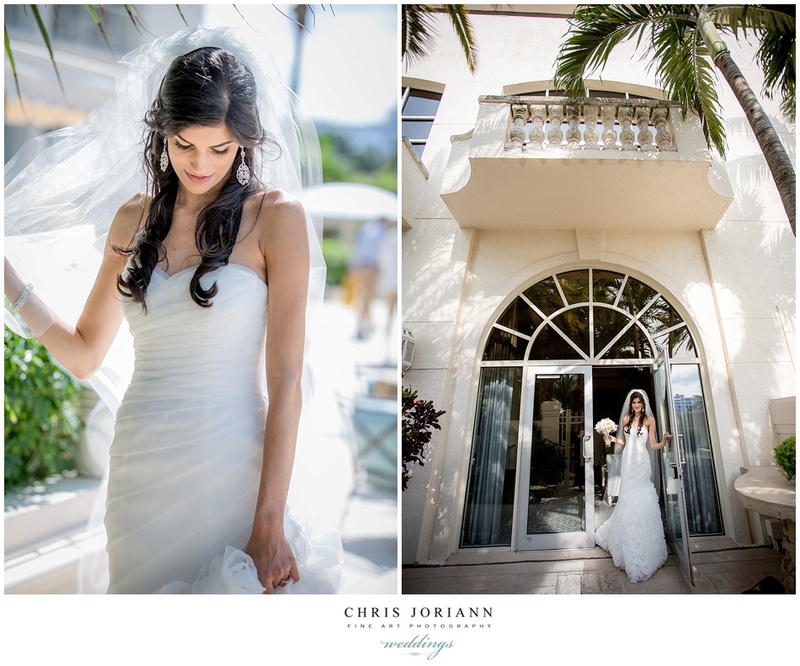 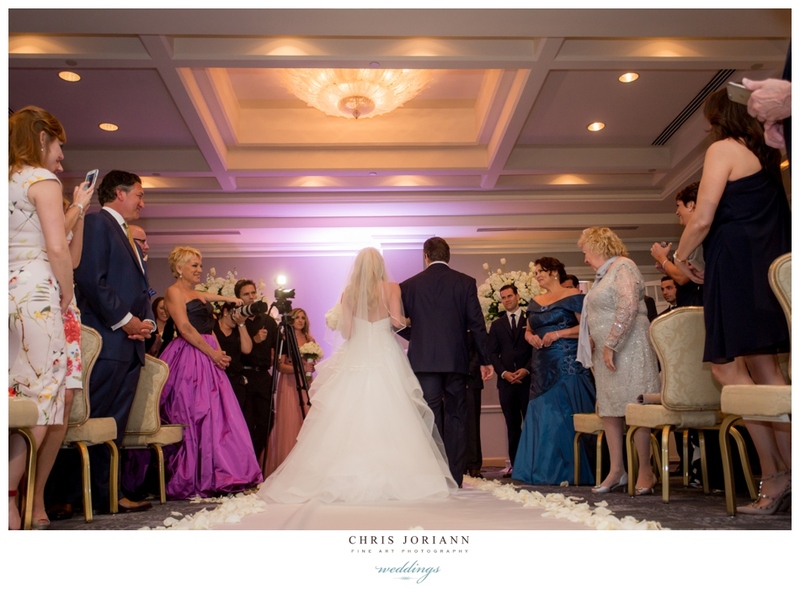 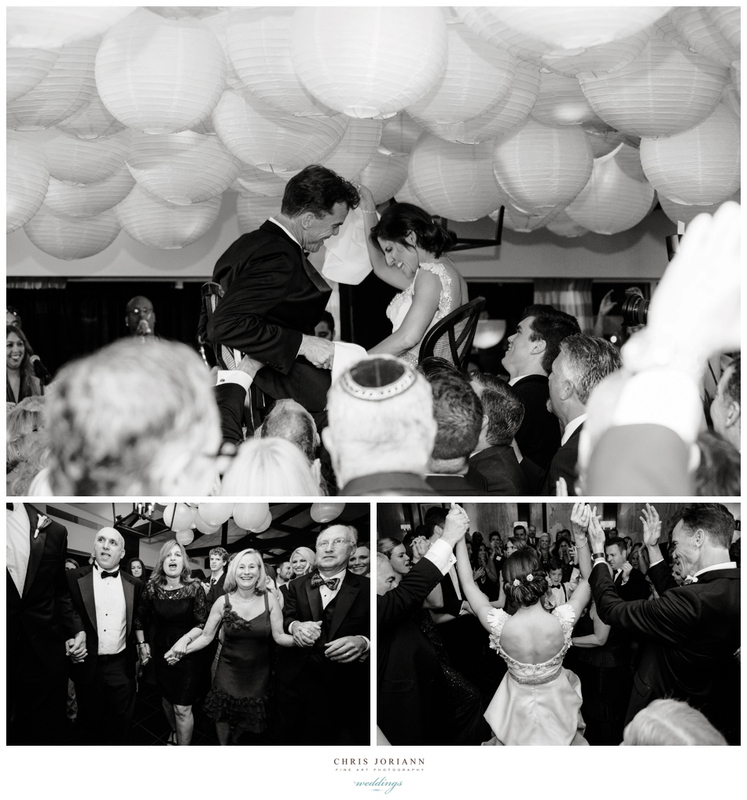 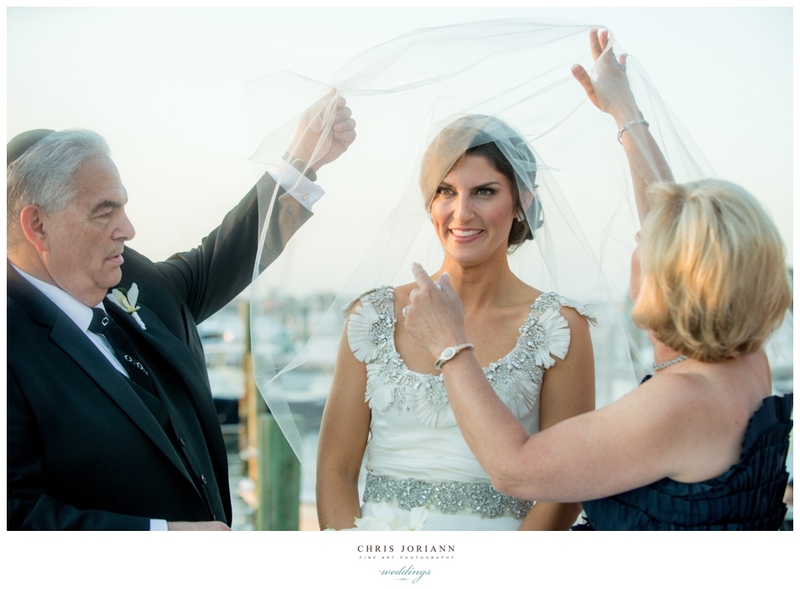 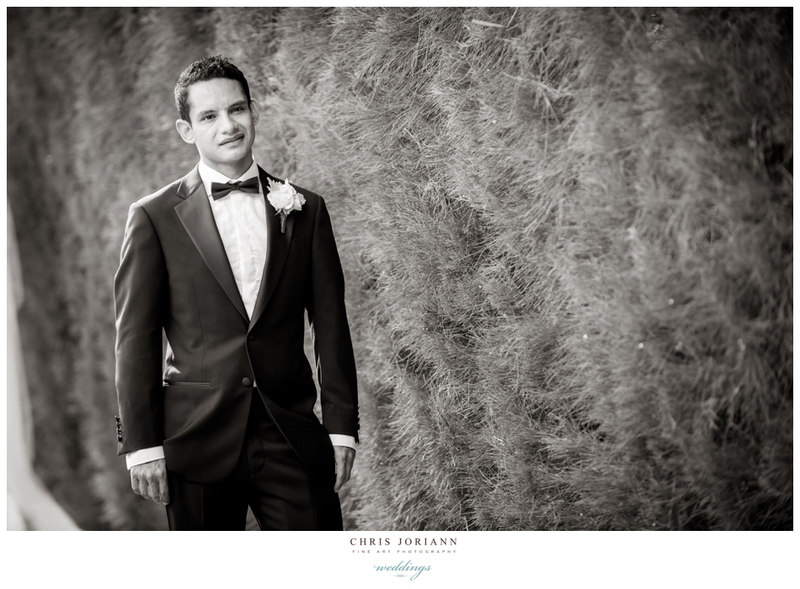 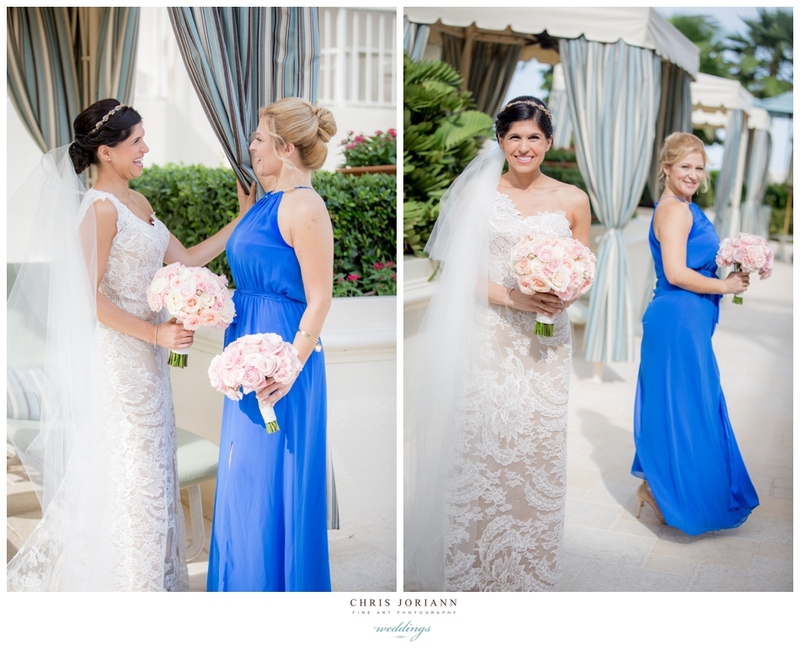 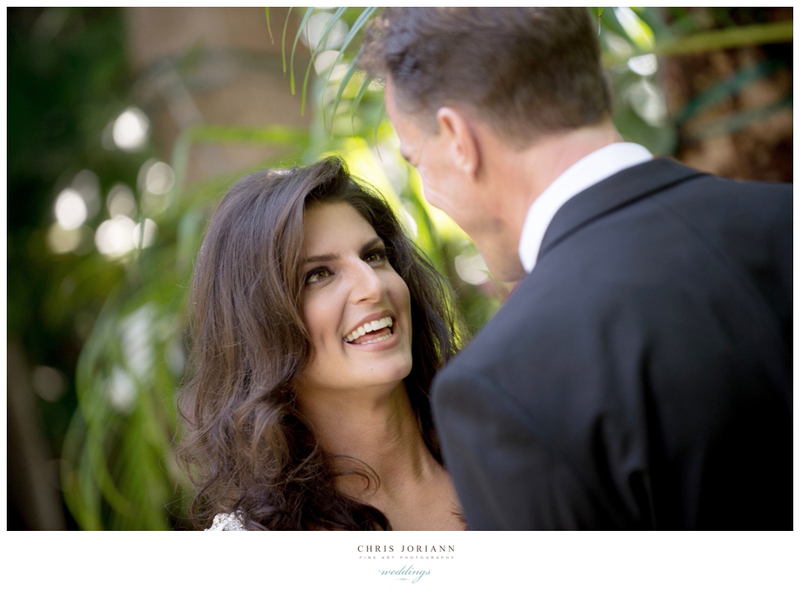 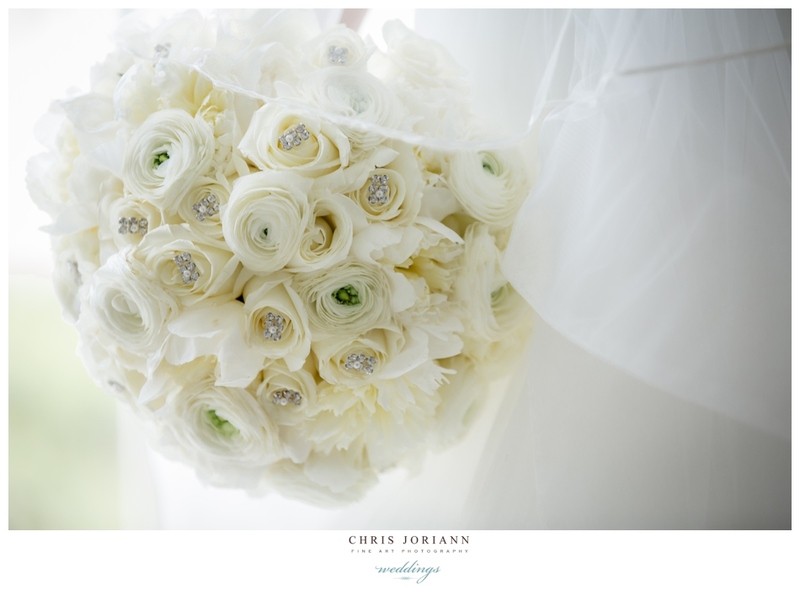 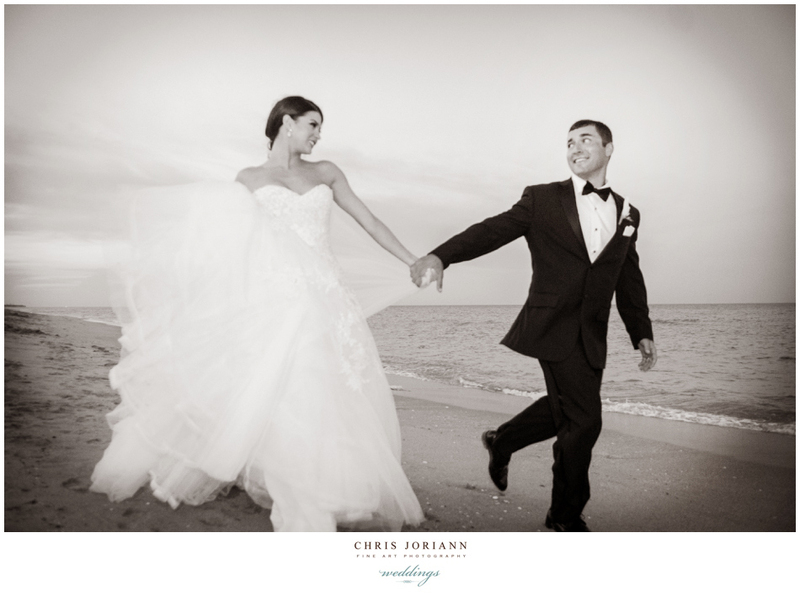 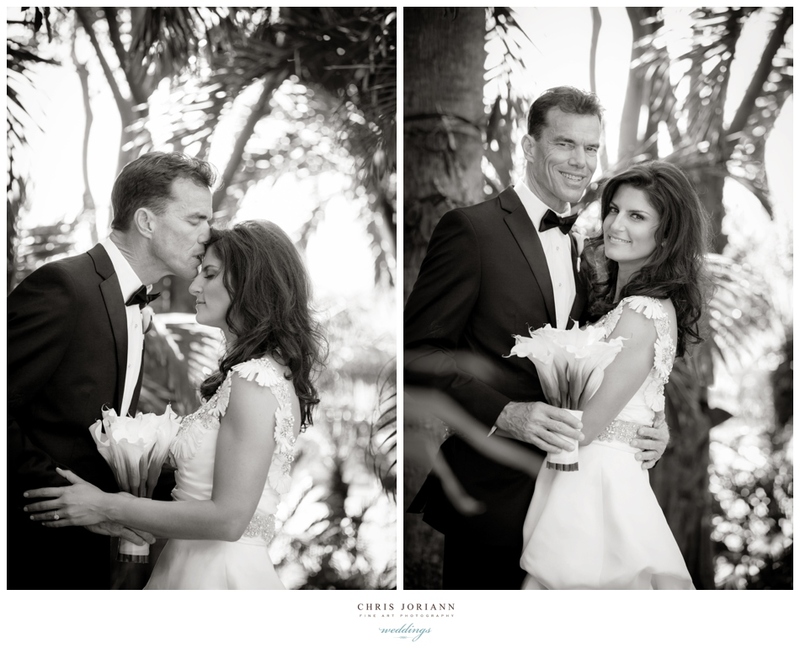 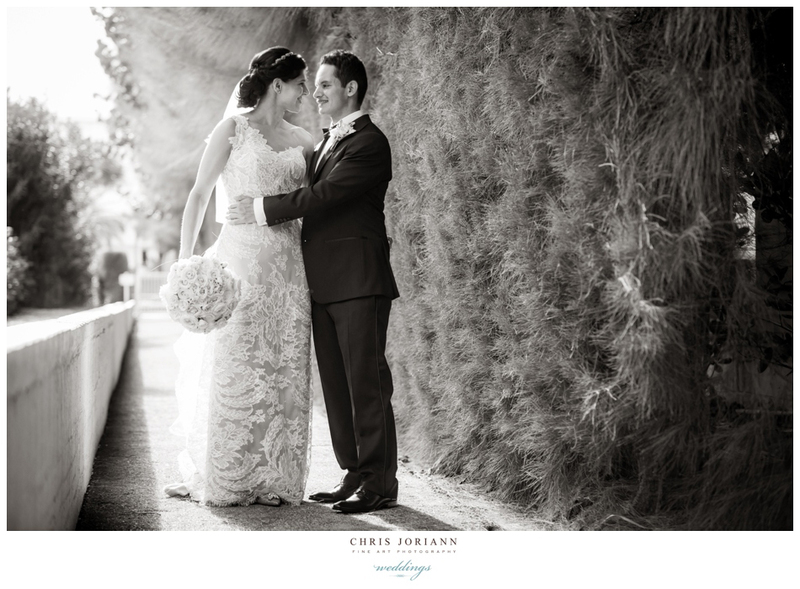 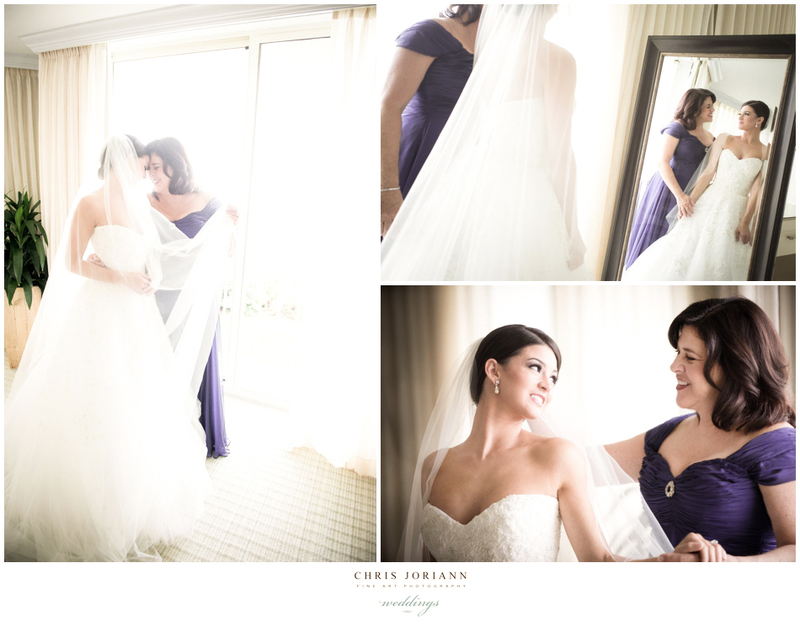 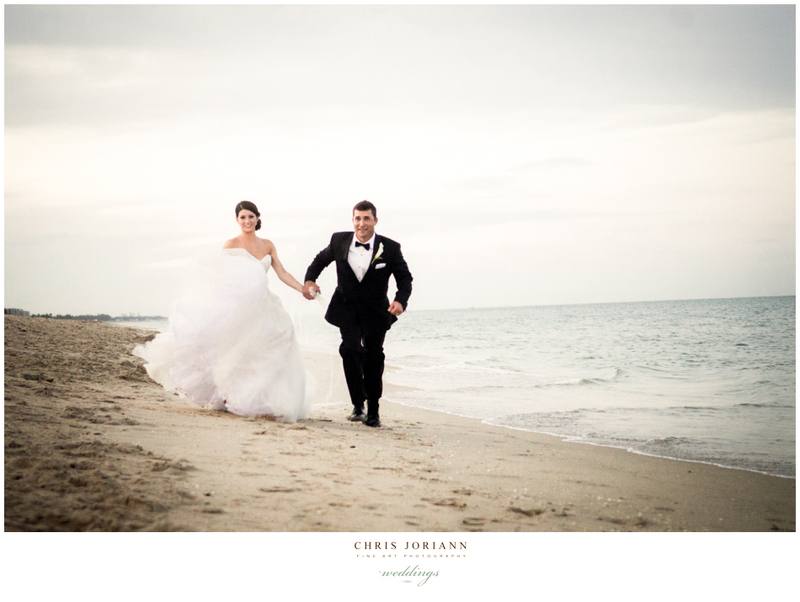 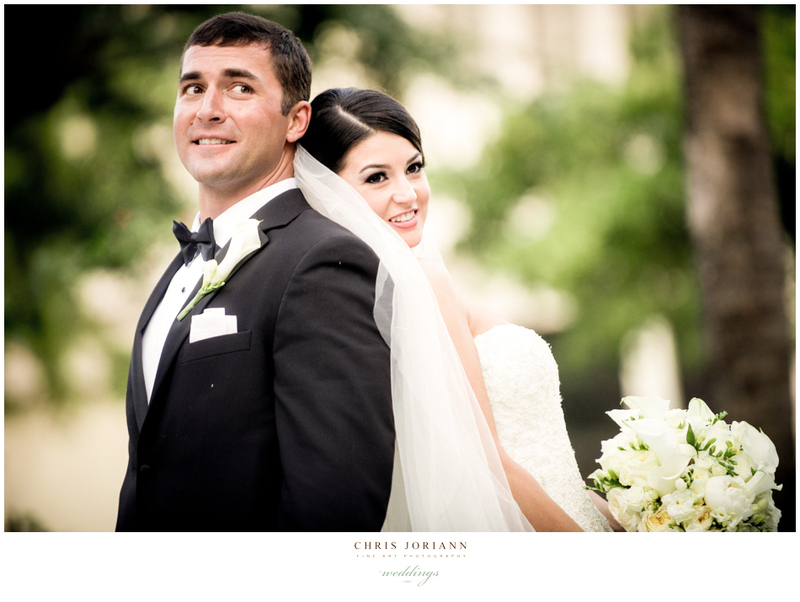 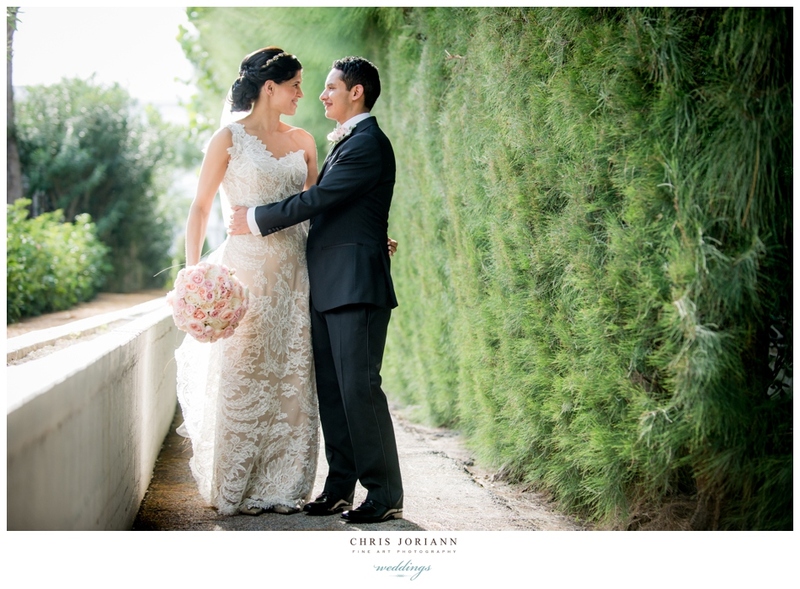 Patricia + John’s elegant wedding was held at the Four Seasons Palm Beach. 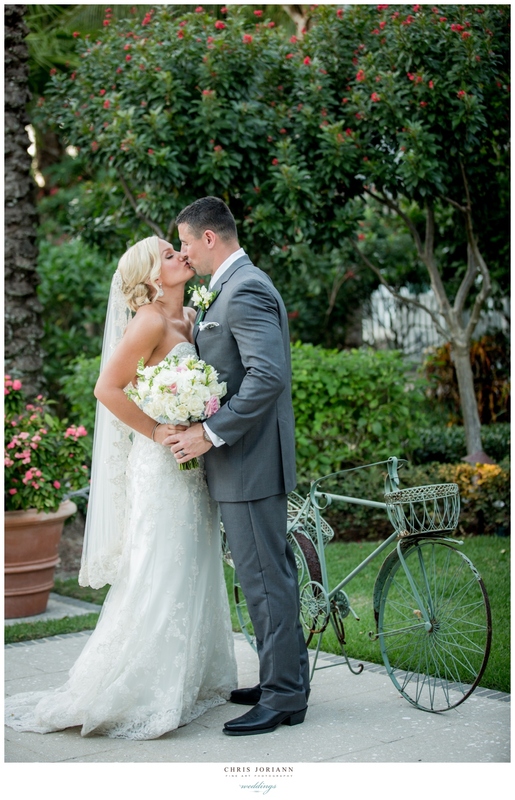 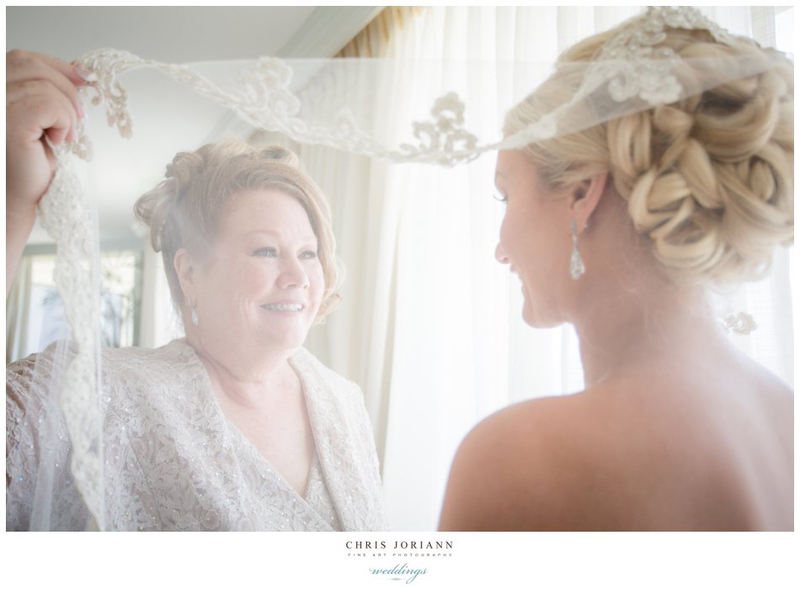 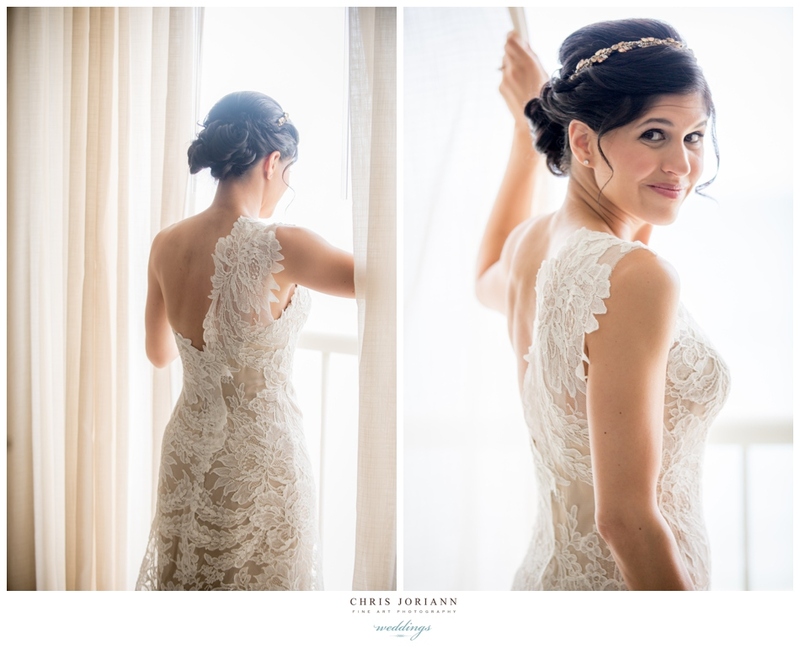 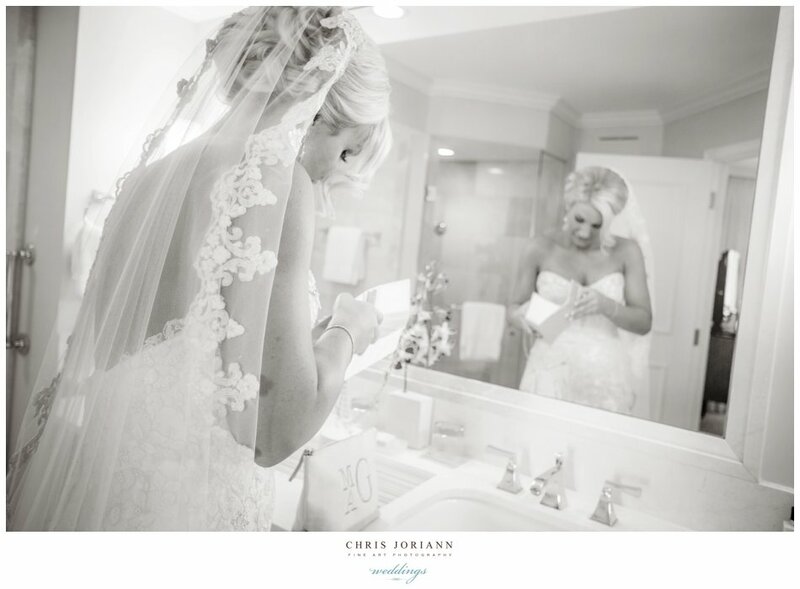 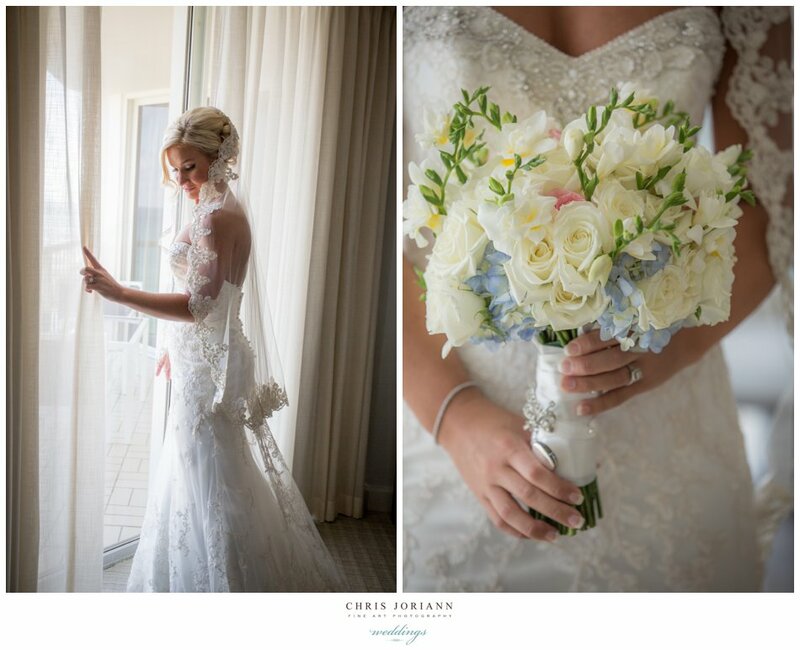 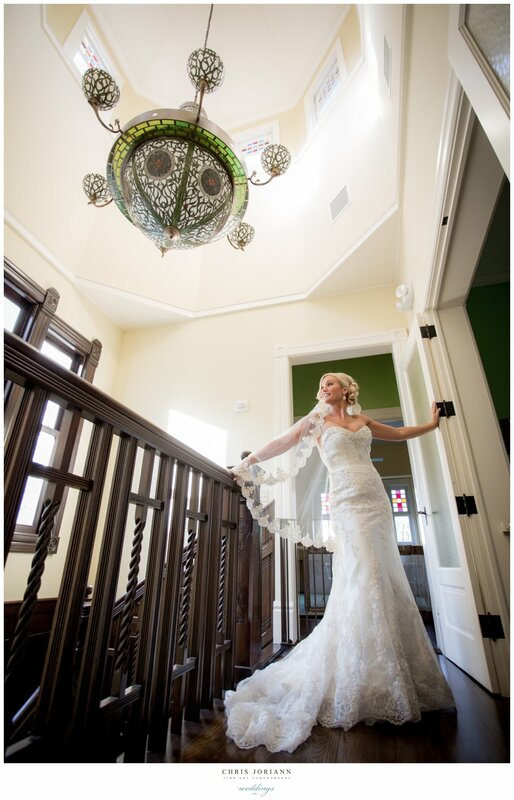 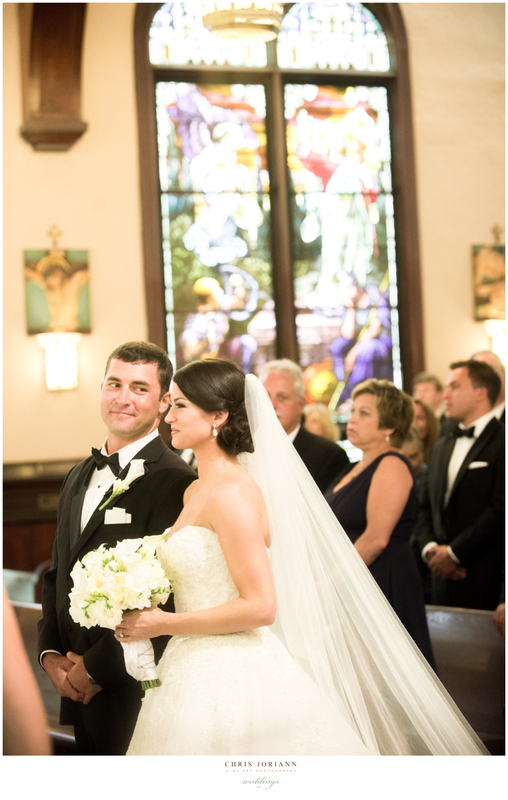 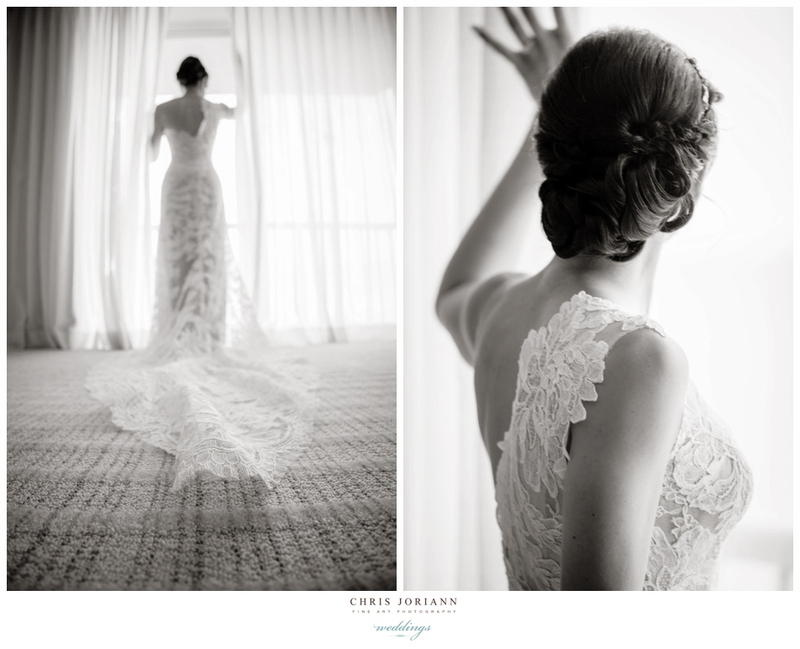 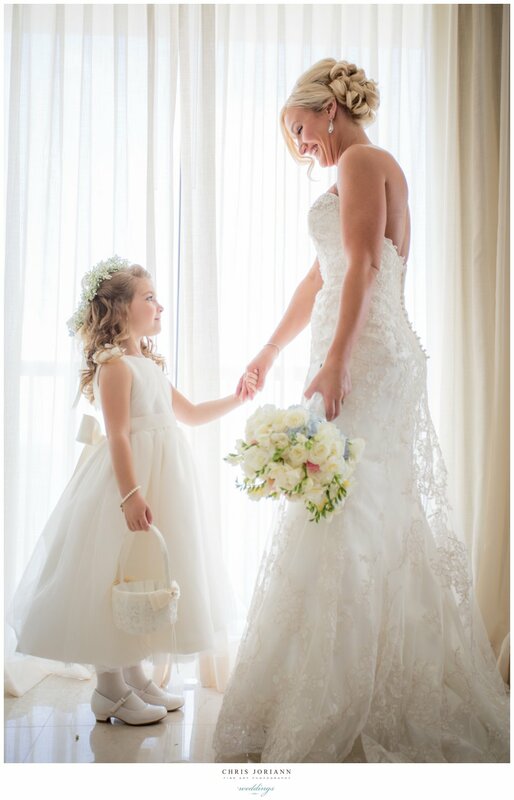 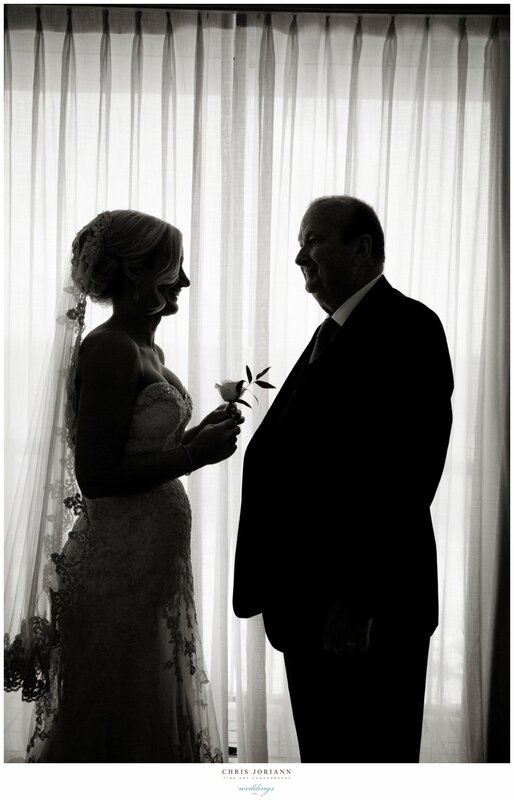 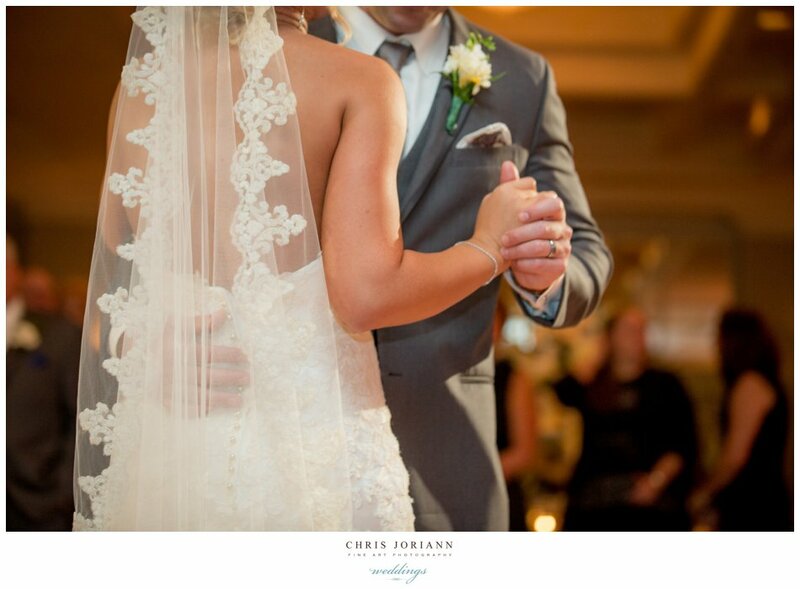 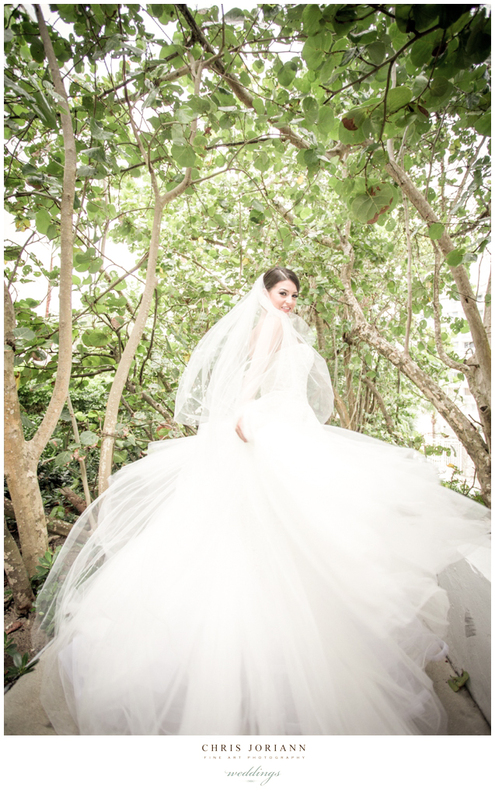 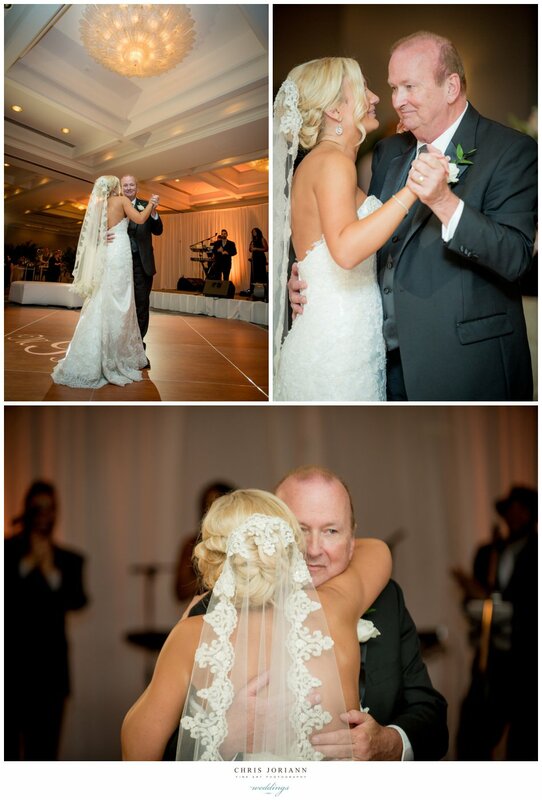 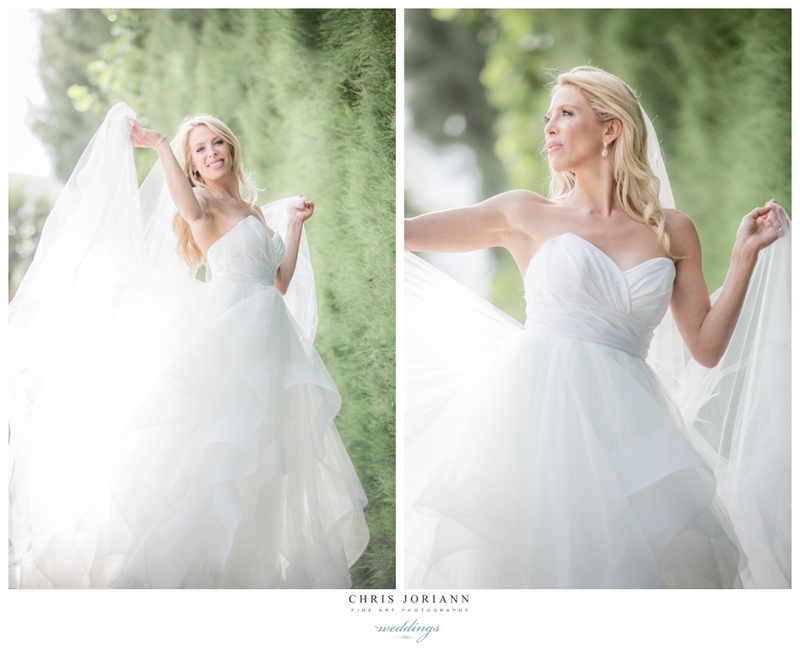 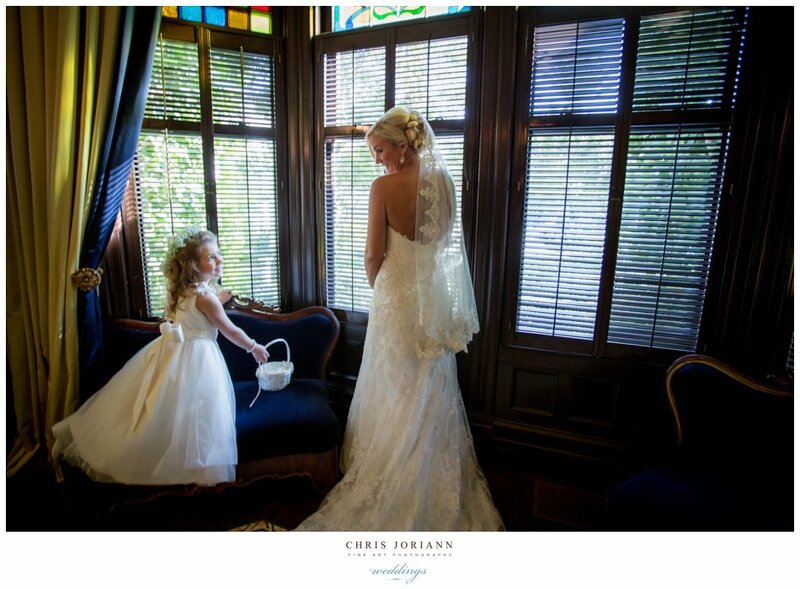 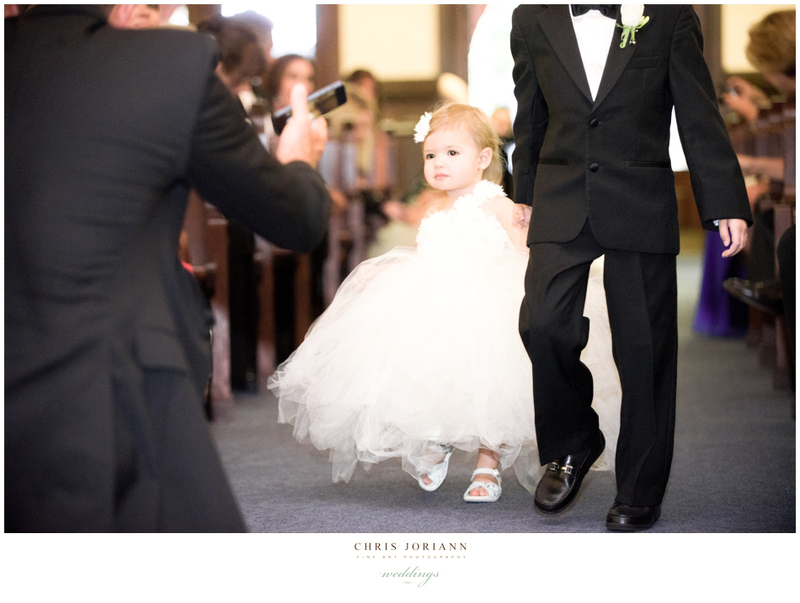 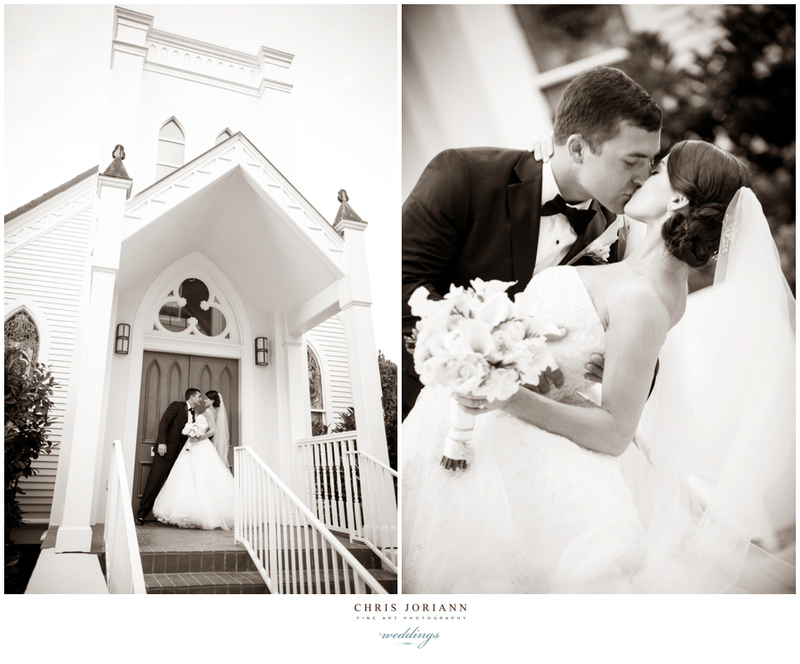 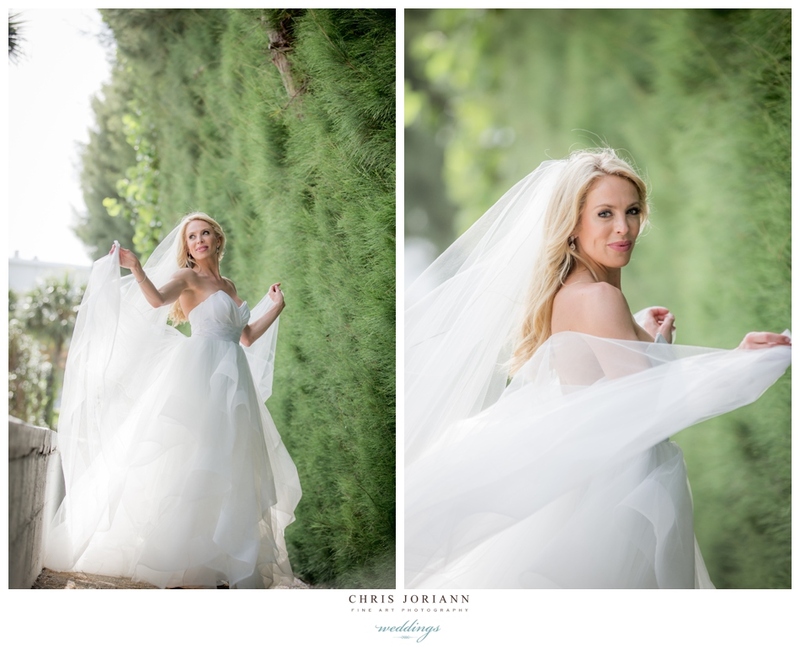 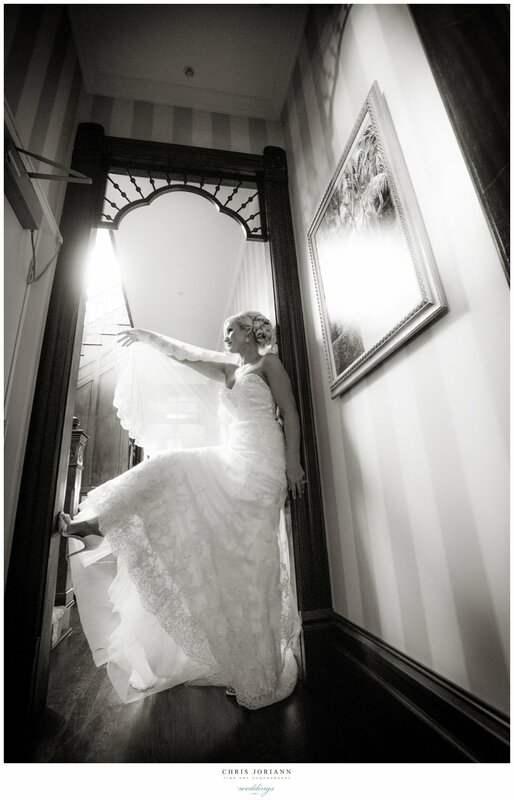 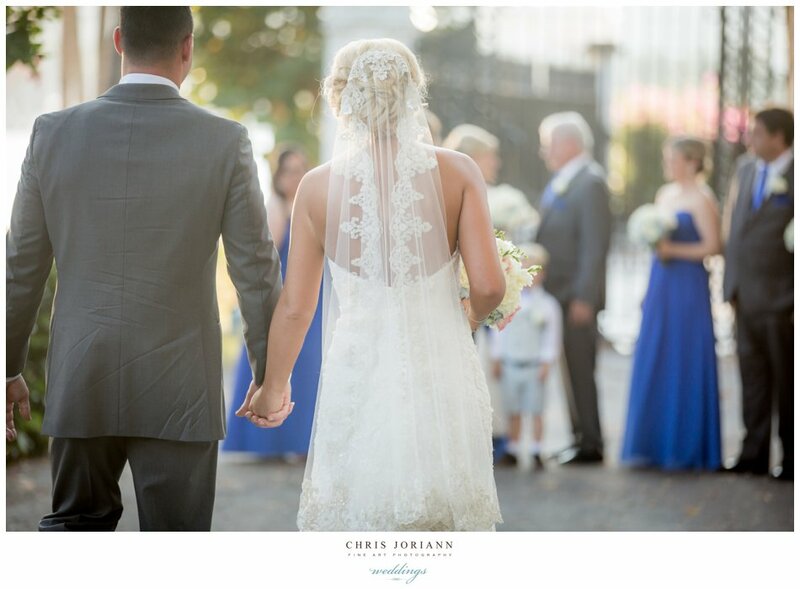 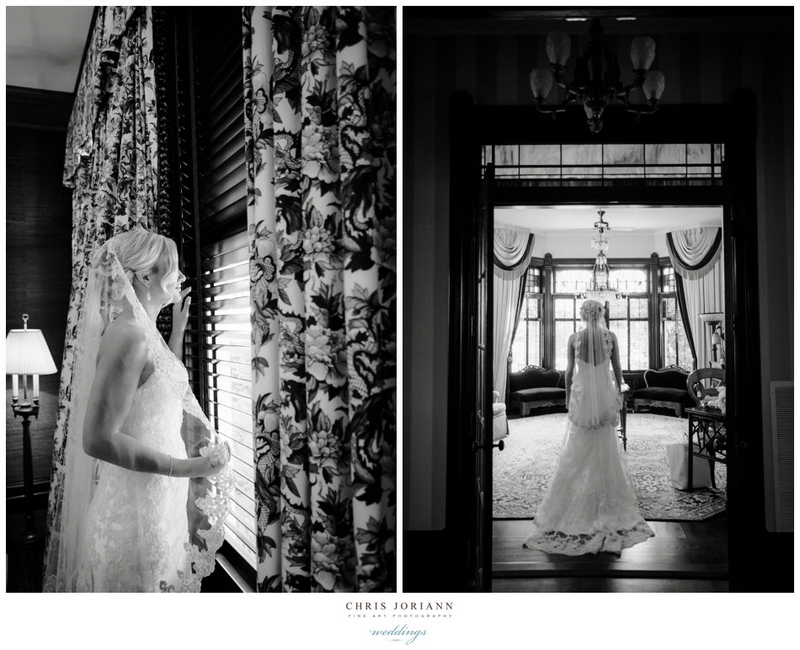 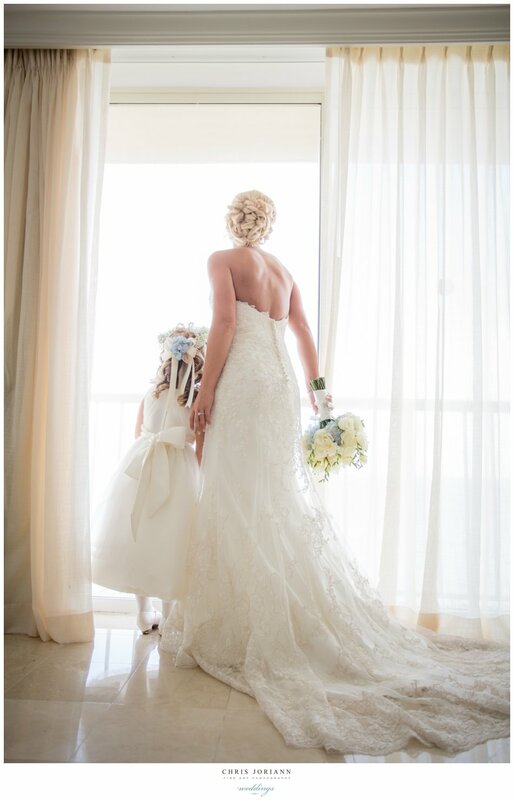 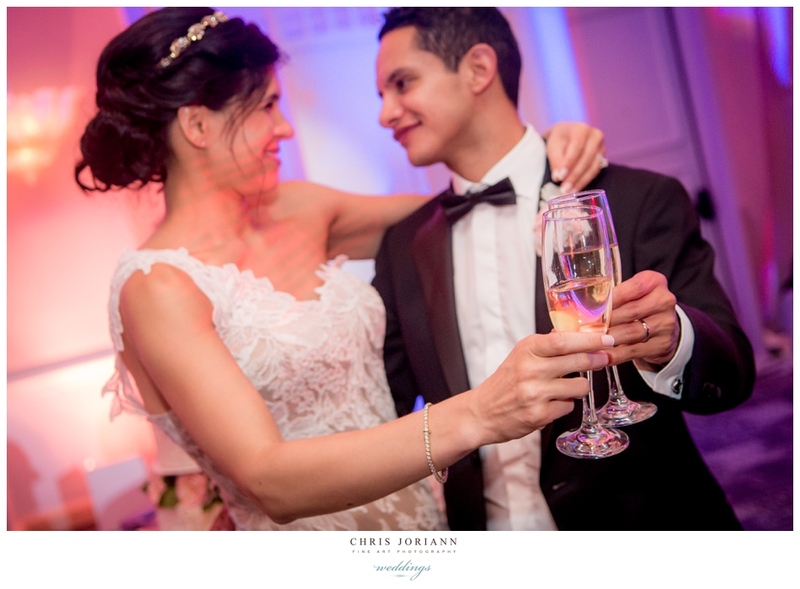 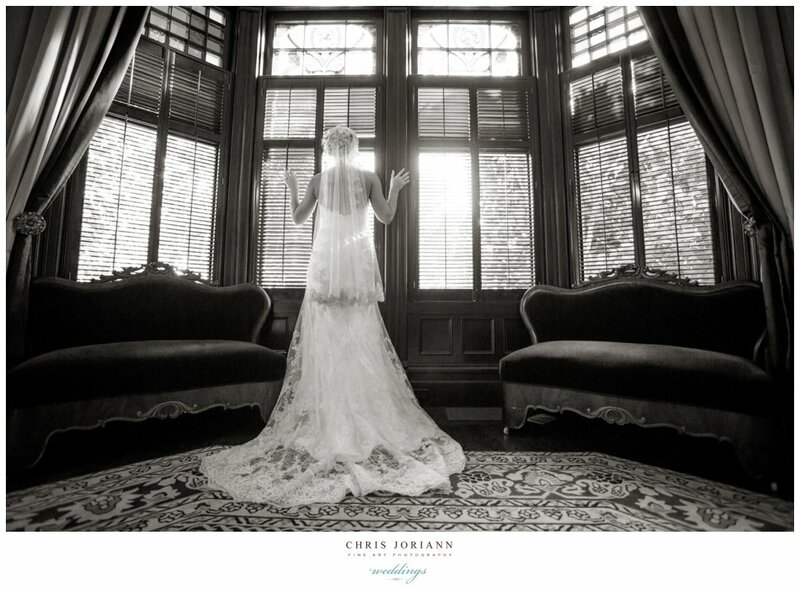 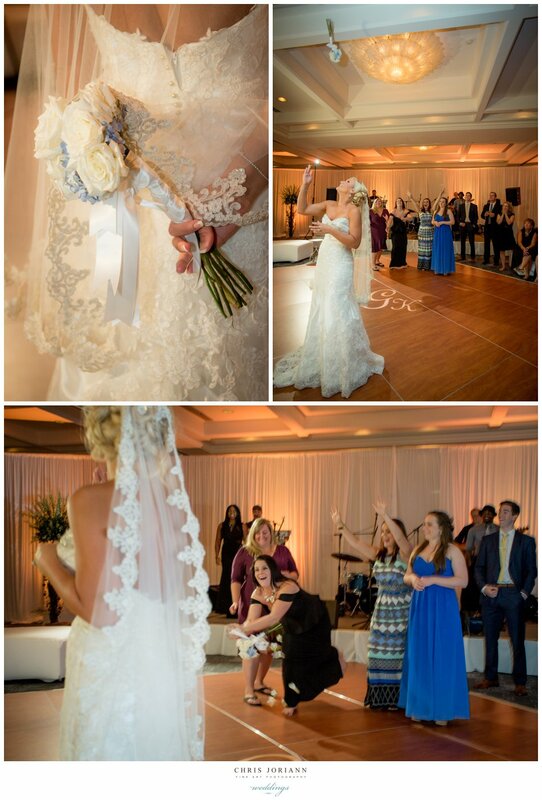 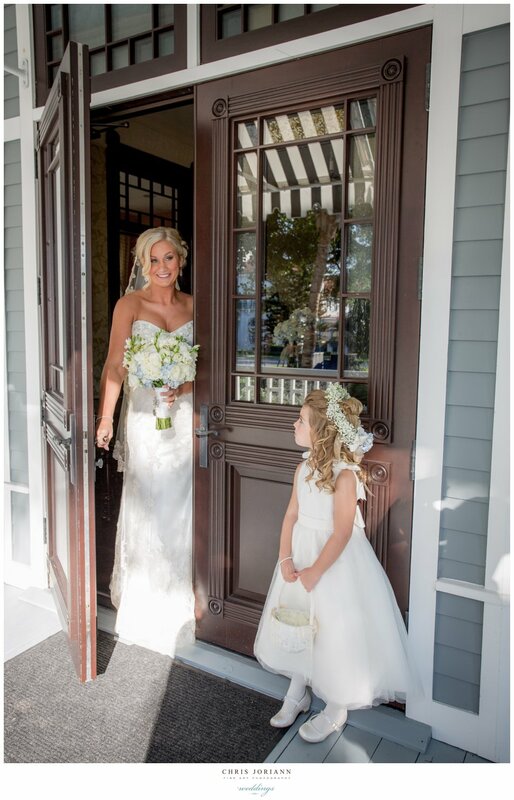 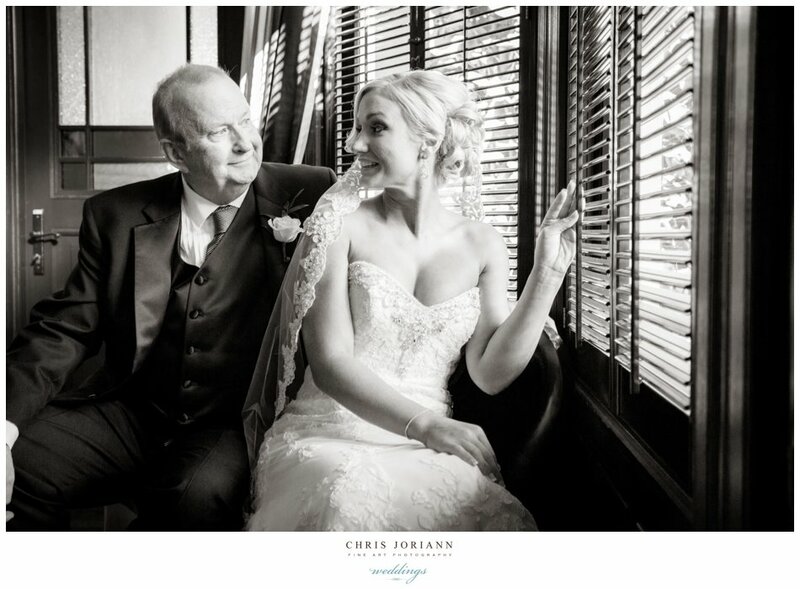 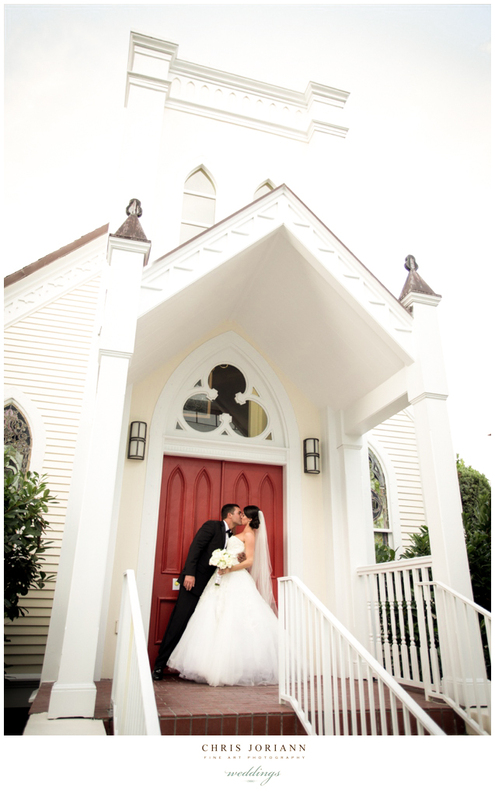 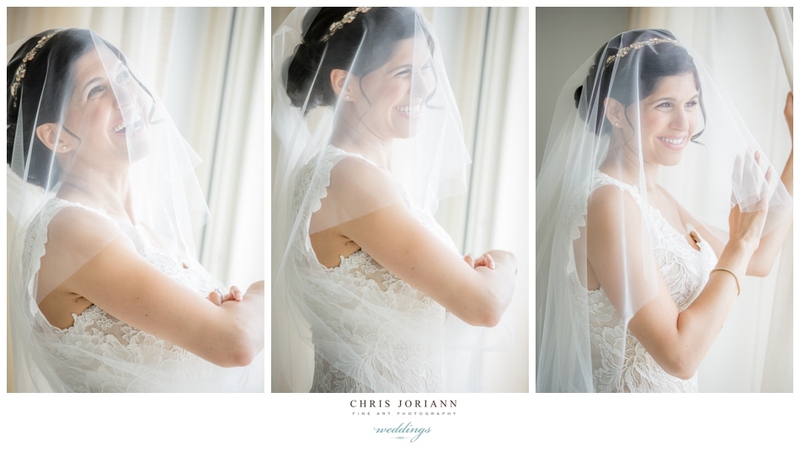 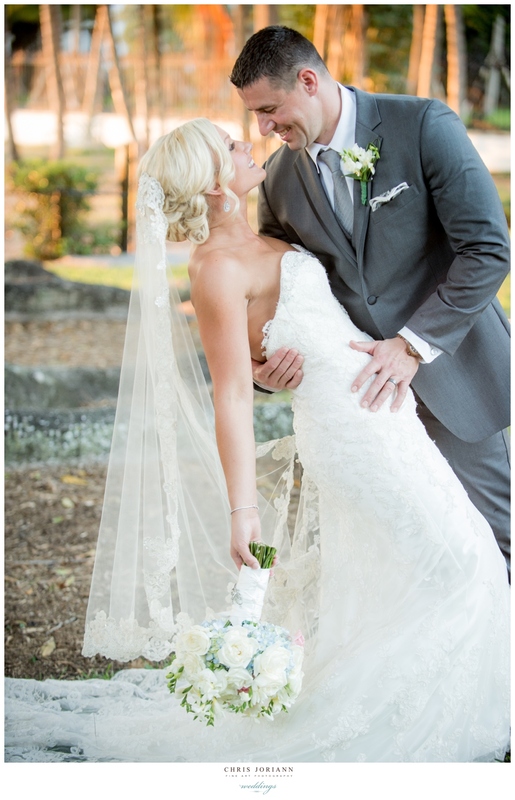 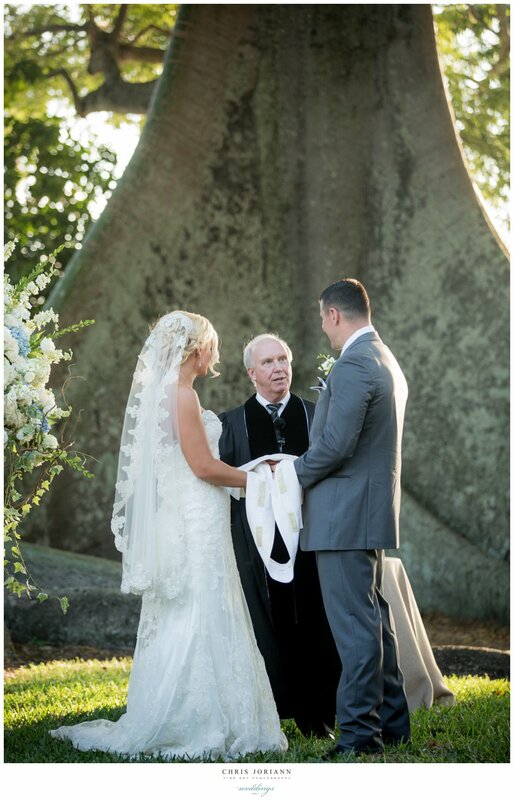 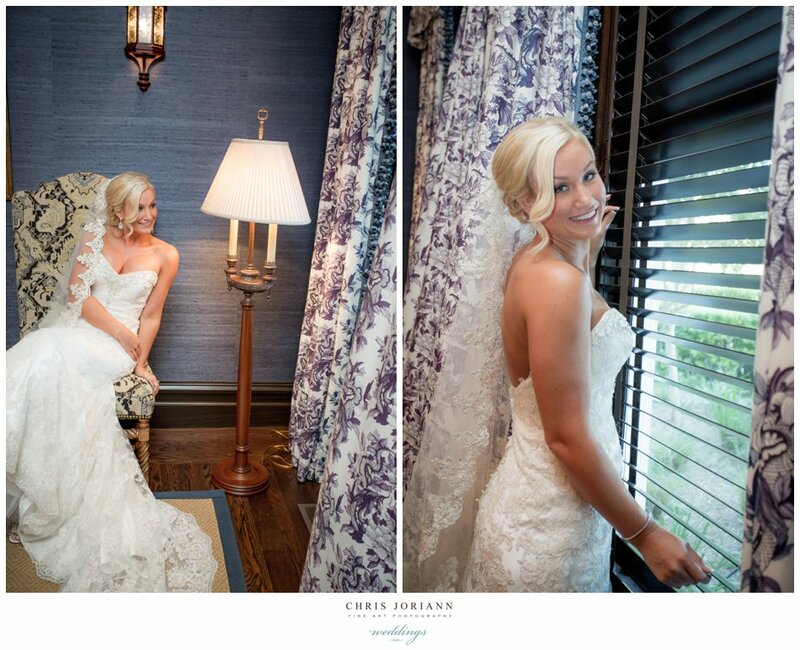 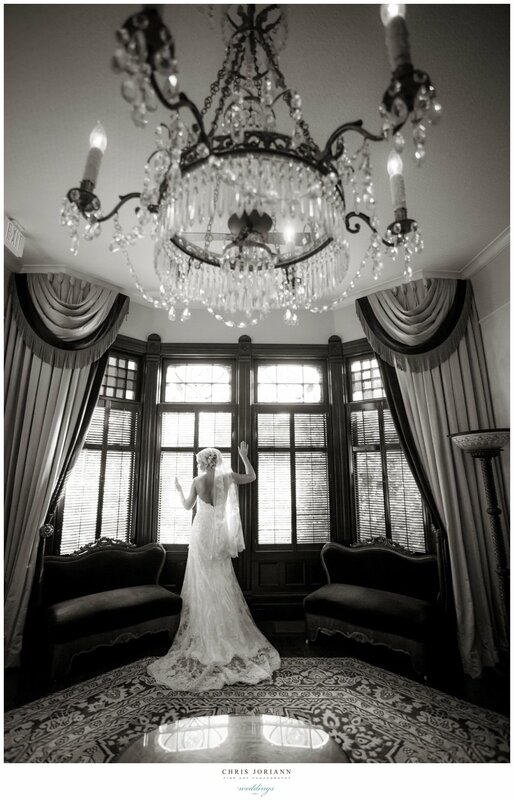 The bride was beyond stunning in a lace over tulle couture Reem Acra gown. 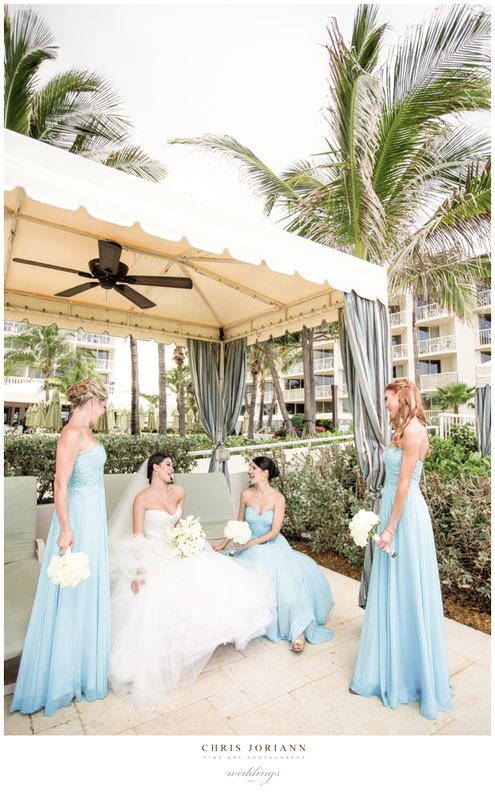 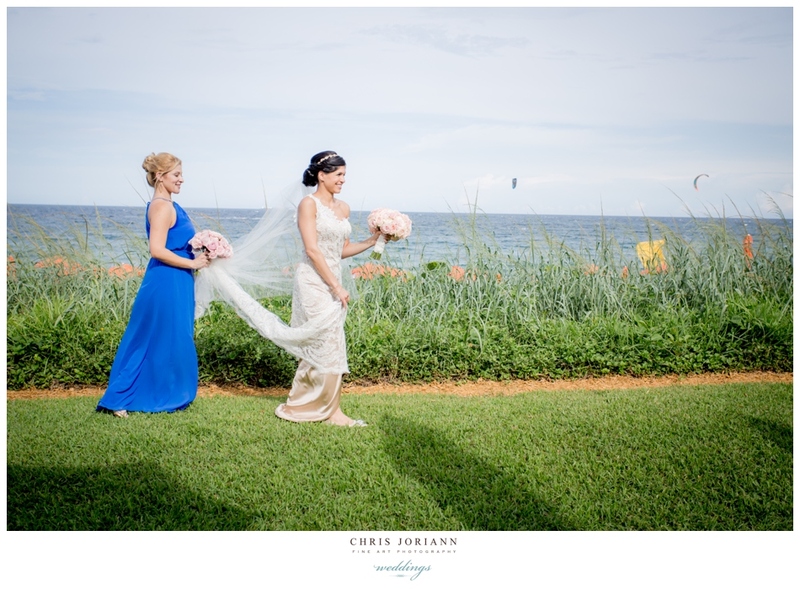 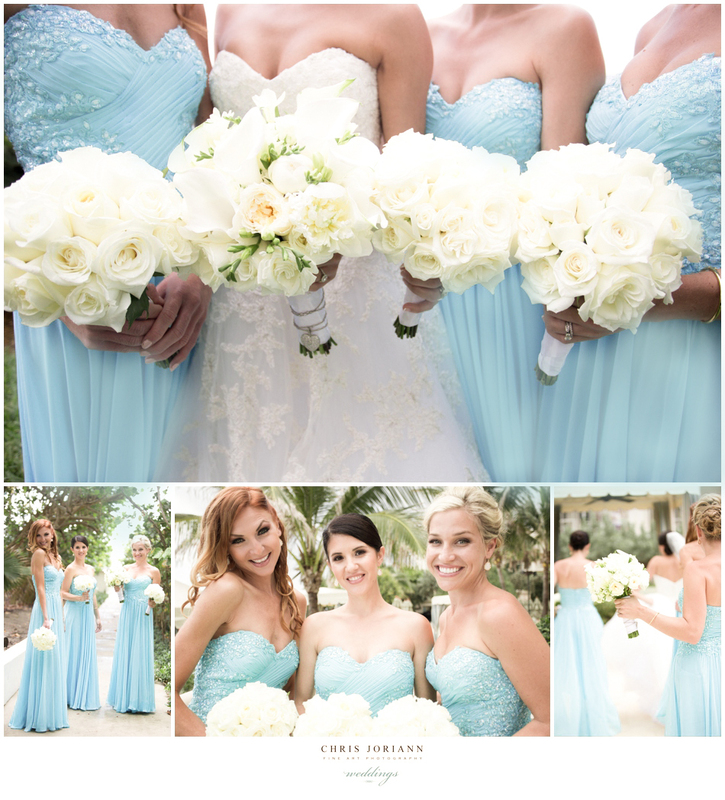 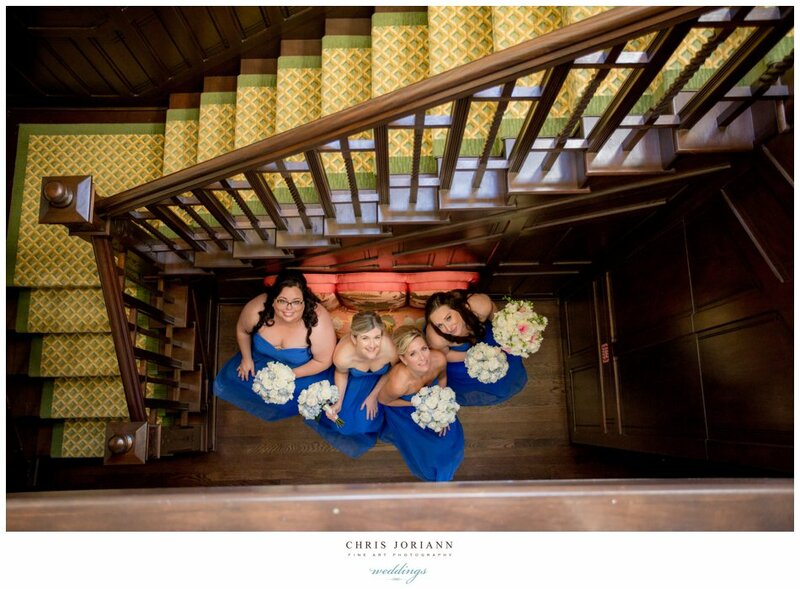 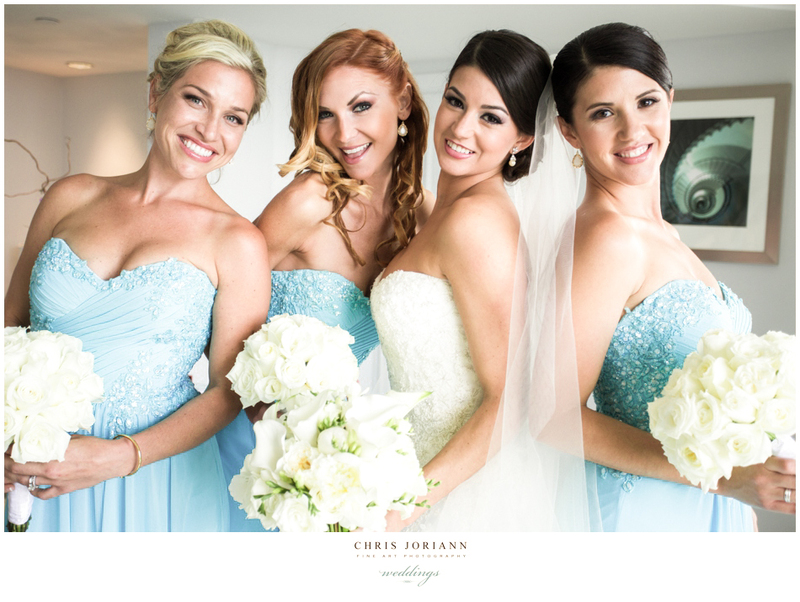 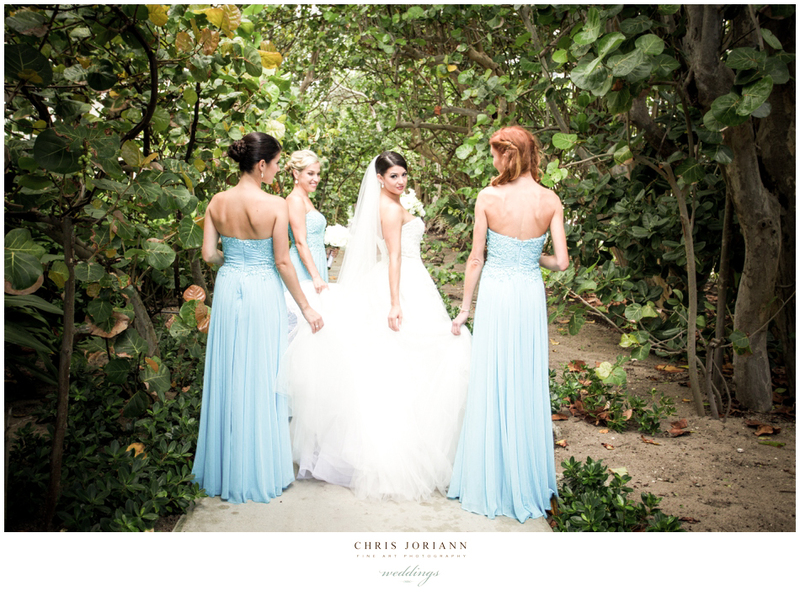 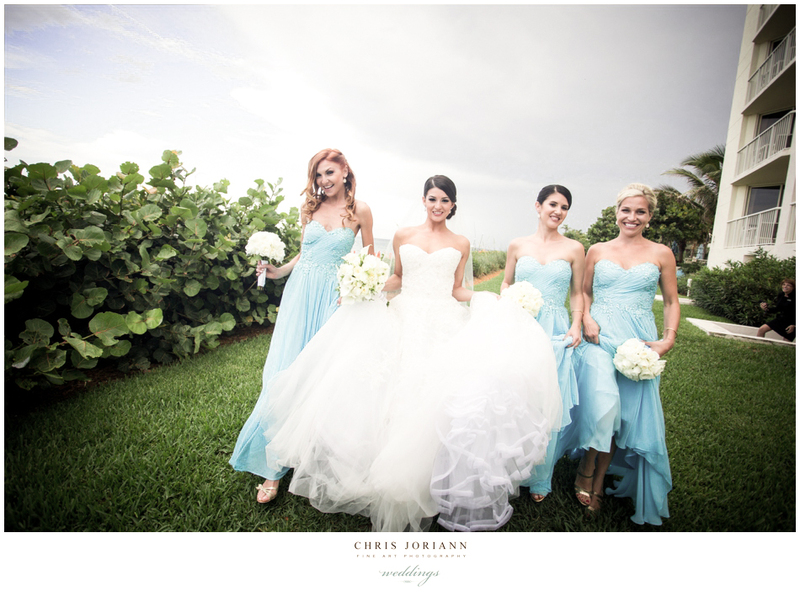 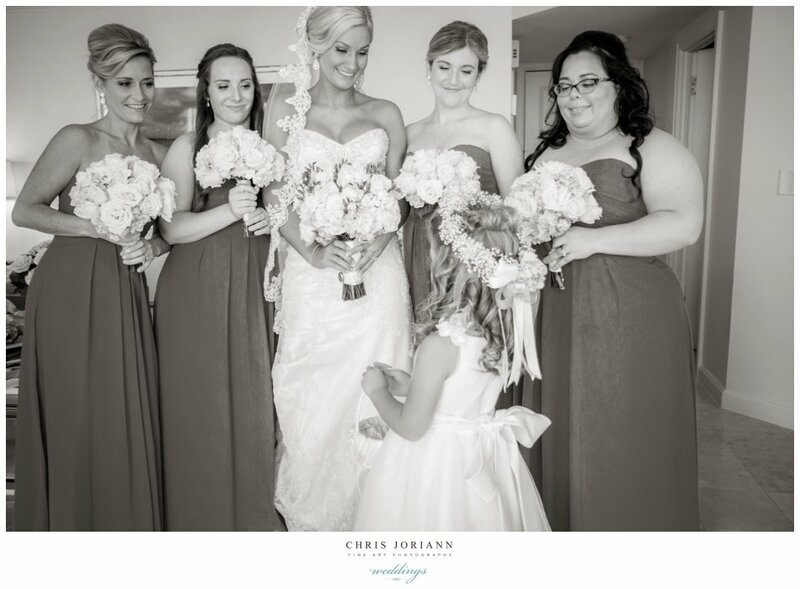 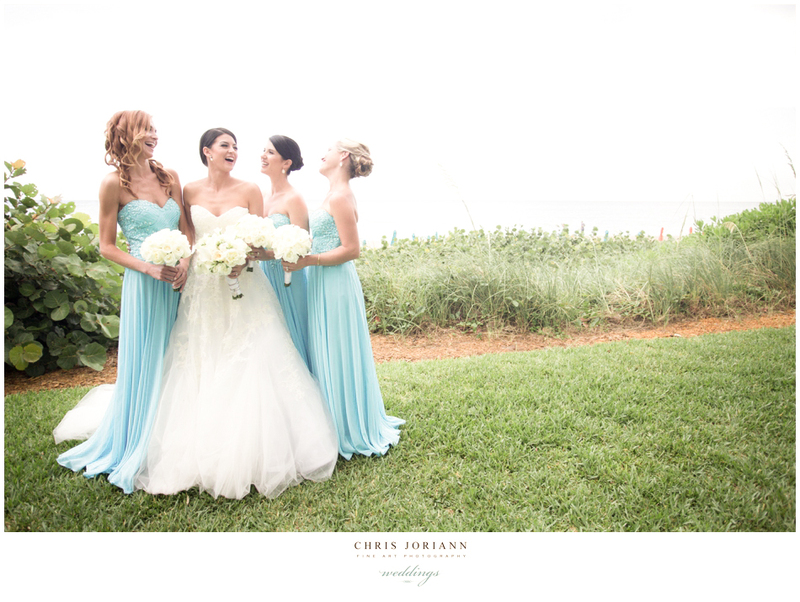 Her gorgeous bridesmaids wore full length strapless turquoise gowns, perfectly matching the sea. 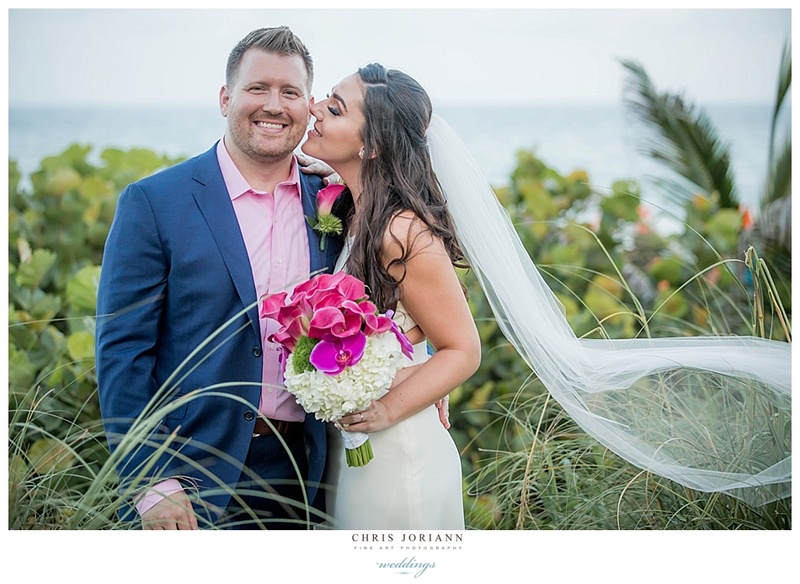 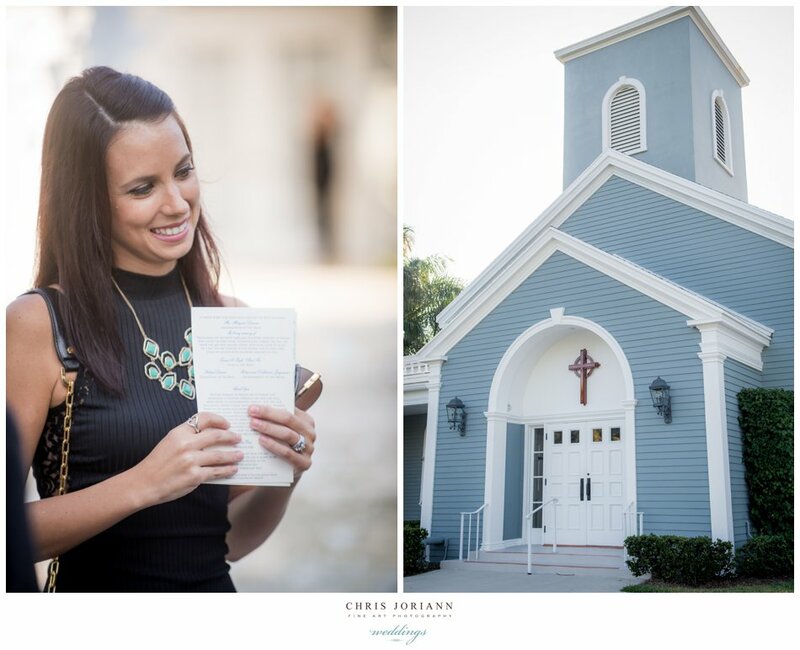 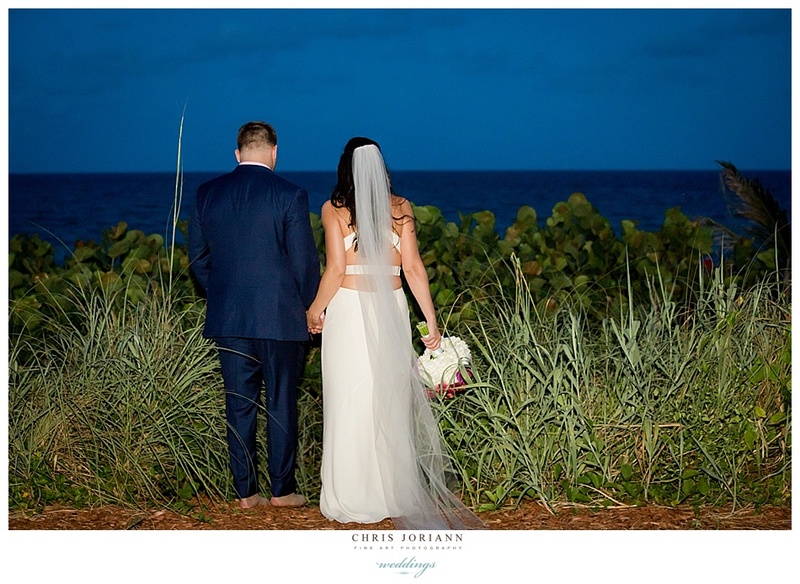 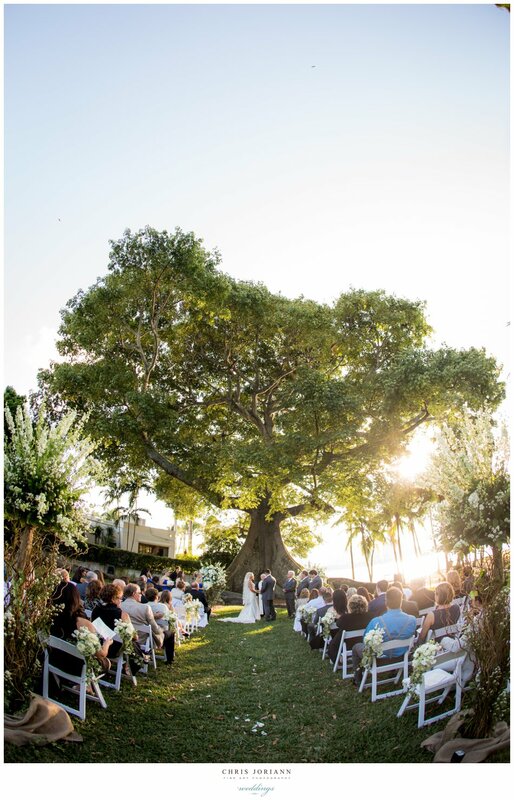 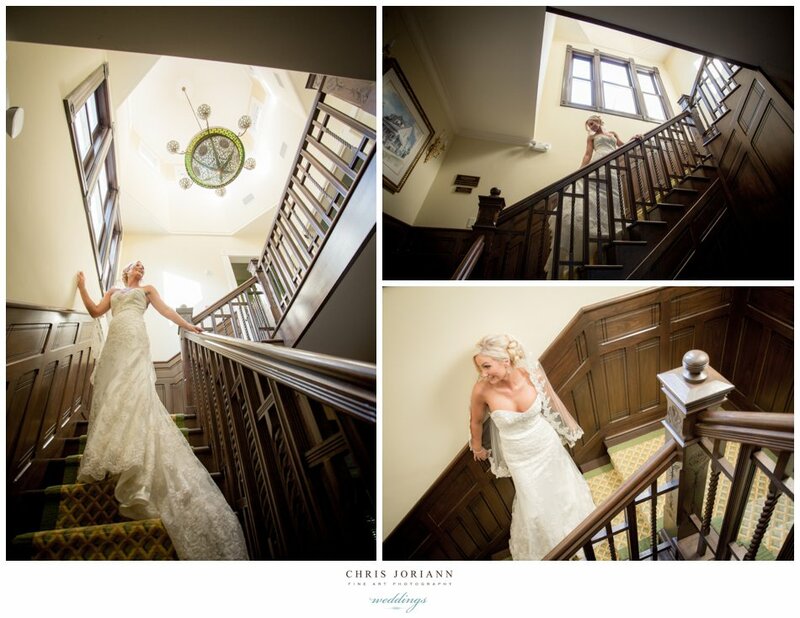 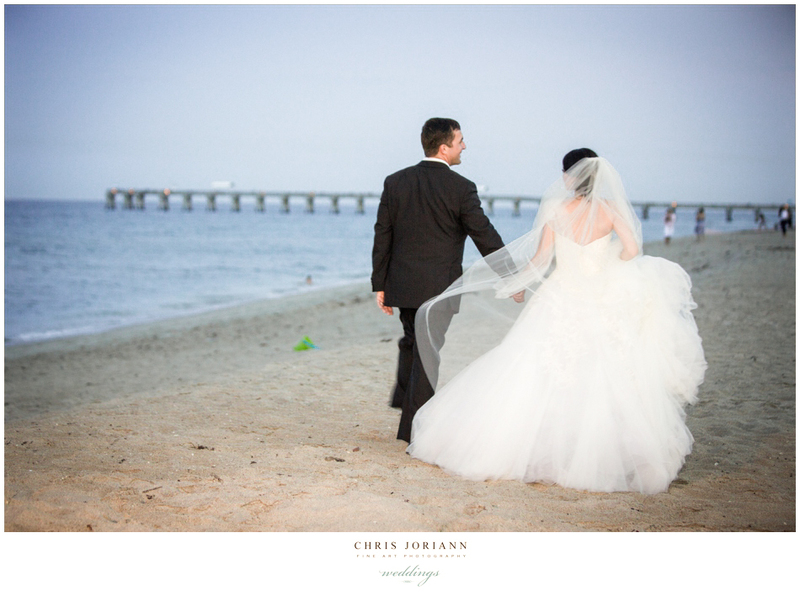 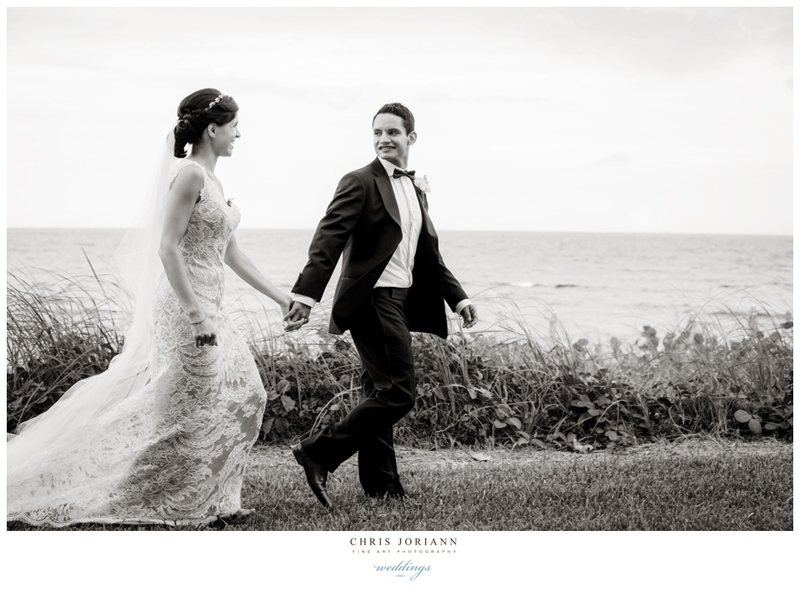 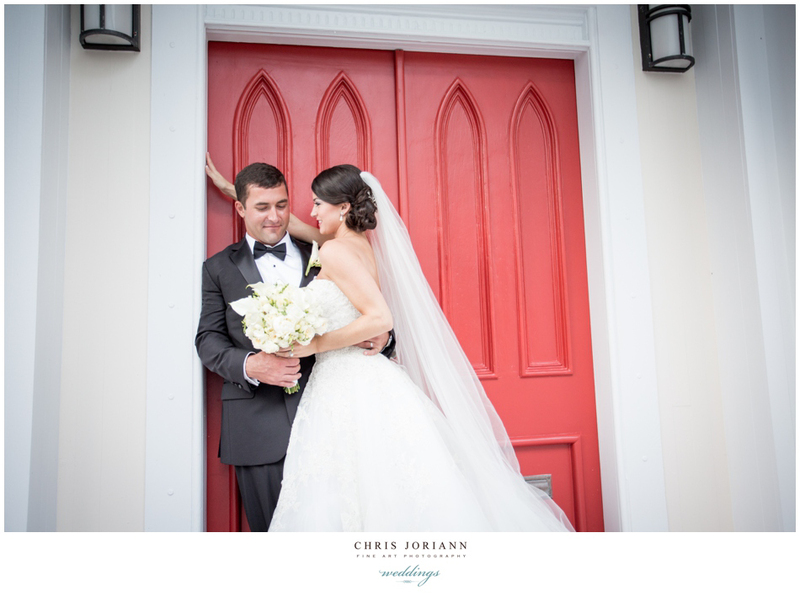 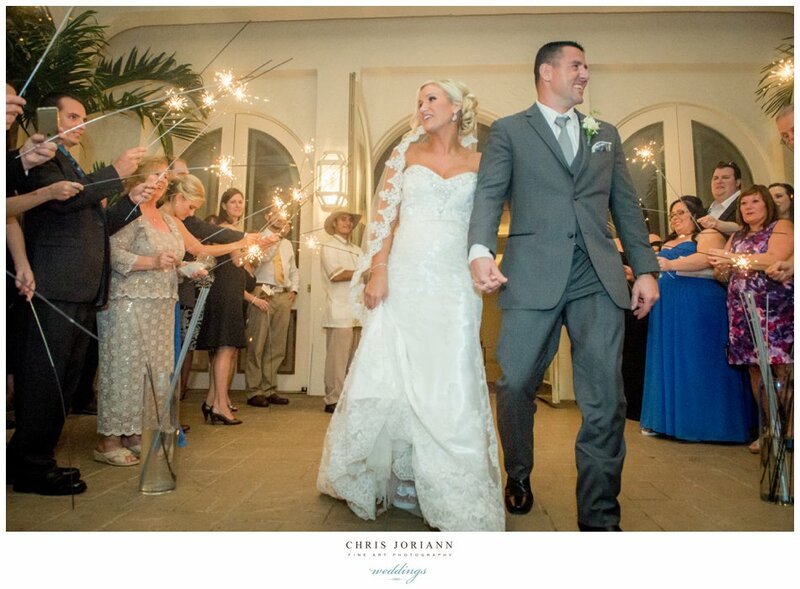 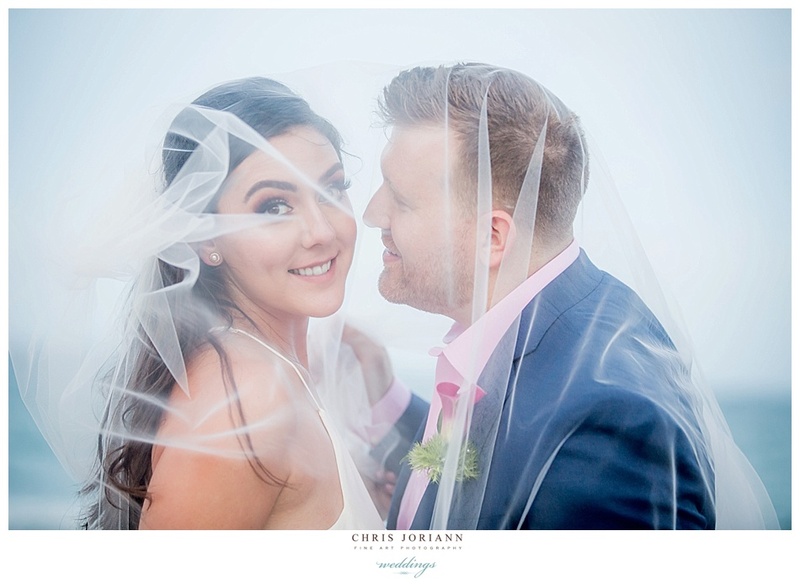 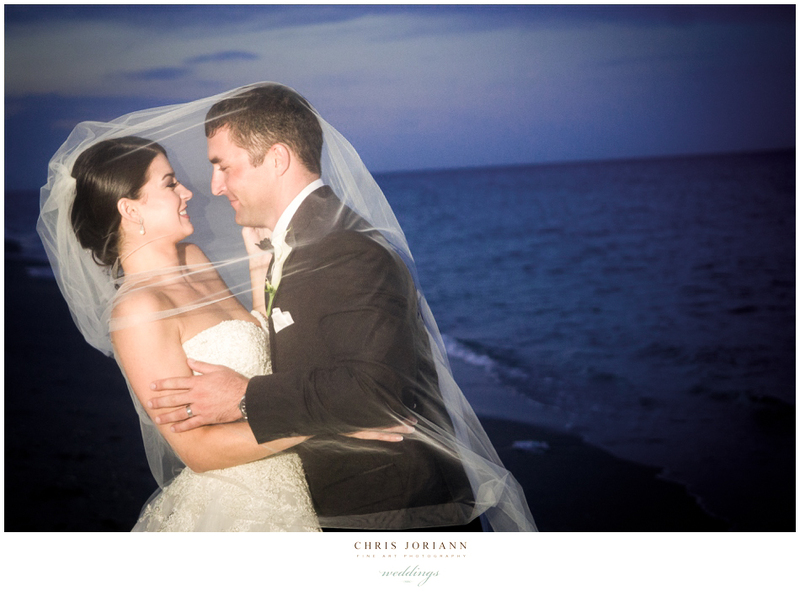 Following a late mass at St. Ann Catholic Church, the couple found a few minutes to head for the beach at this beautiful oceanfront resort. 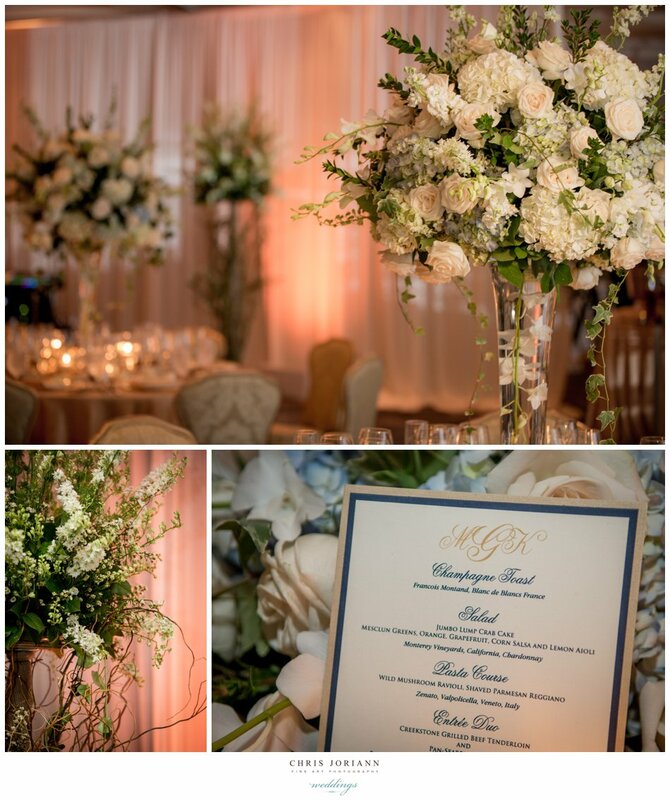 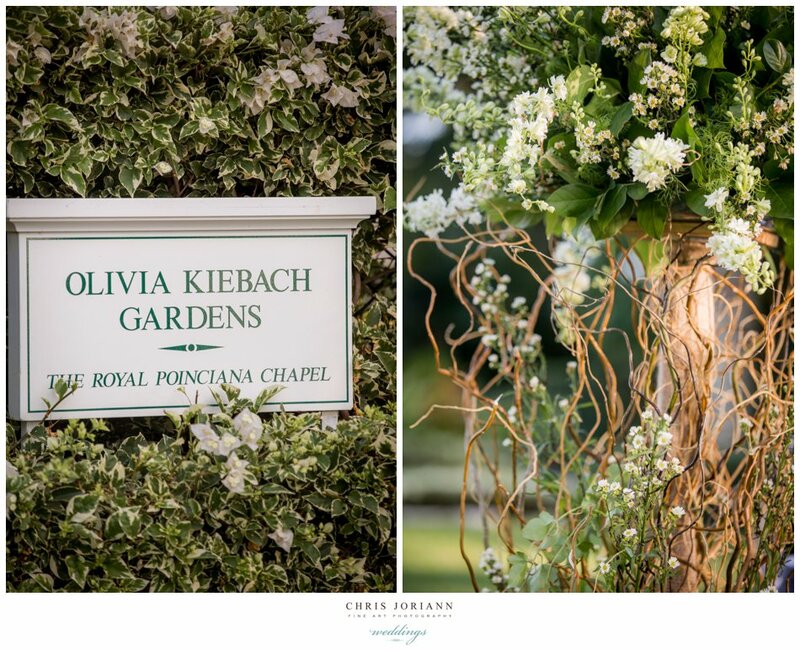 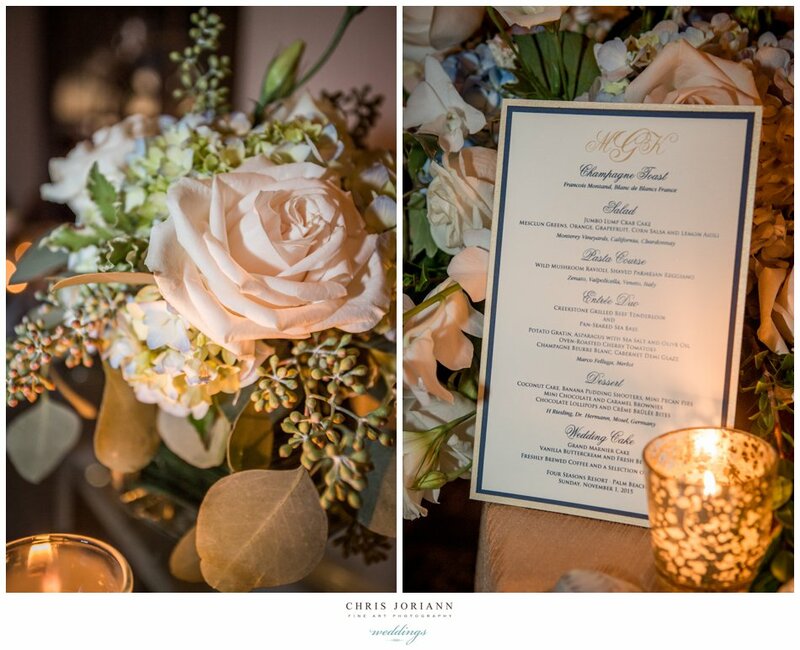 The reception space, designed by Camden Gardens, was filled with roses and ivy creating just the right touch of garden romance.